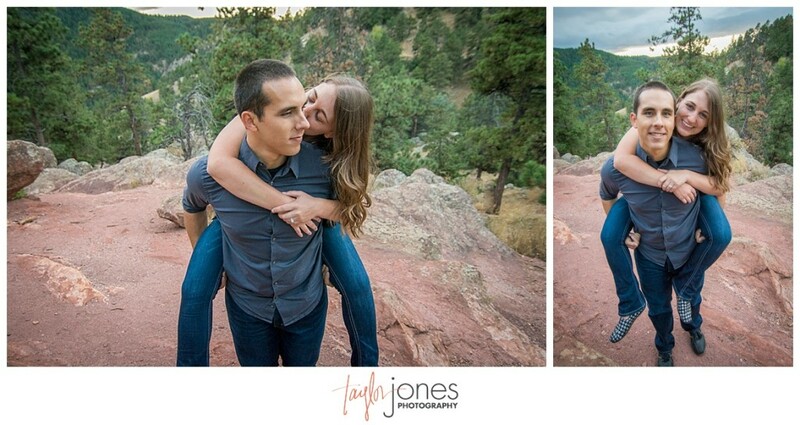 Seriously, are these two not the cutest couple ever? I can’t believe we get to shoot their wedding in October! 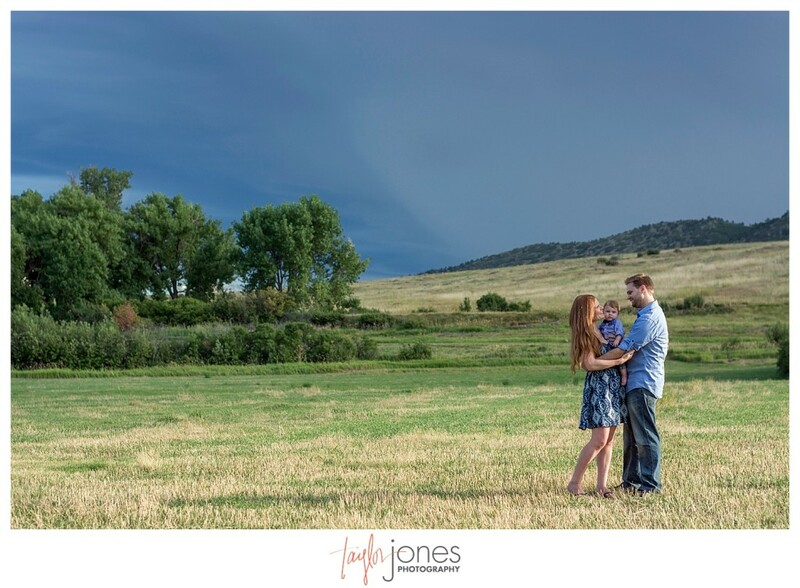 Thunder clouds and rain couldn’t keep us a part though 😉 On my way to Kylie and Jason’s engagement shoot, we chatted on the phone as thunder clouds rolled in through the mountains and rain came down. 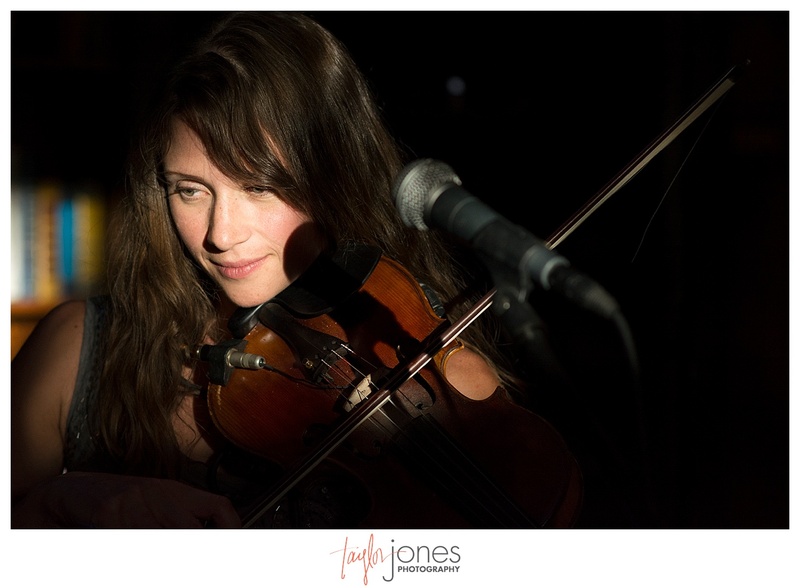 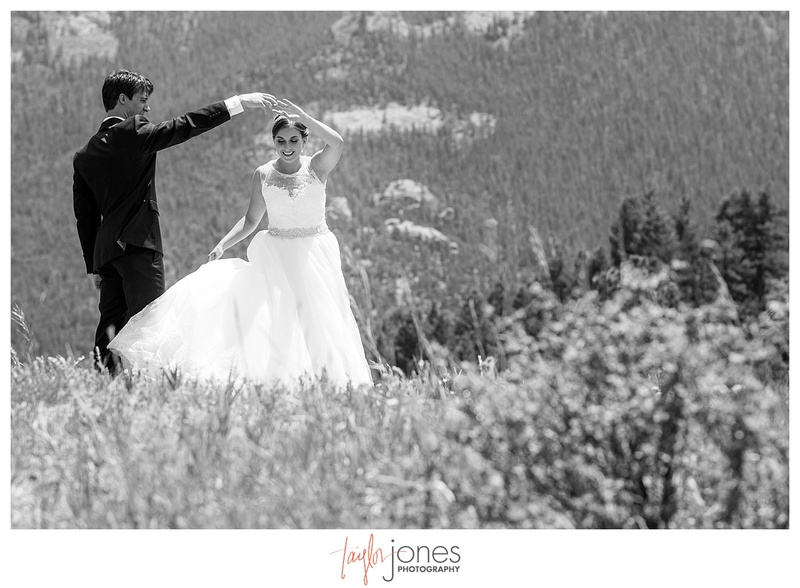 However, we weren’t about to let that stop us from such an incredible shoot, and we’re sure glad we didn’t! 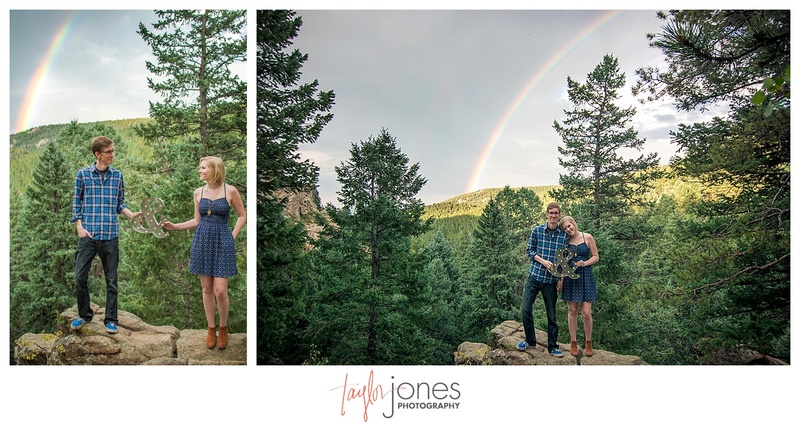 Amazing clouds and rain gave us the perfect rainbow and incredible views, all to ourselves at Maxwell Falls in Conifer. 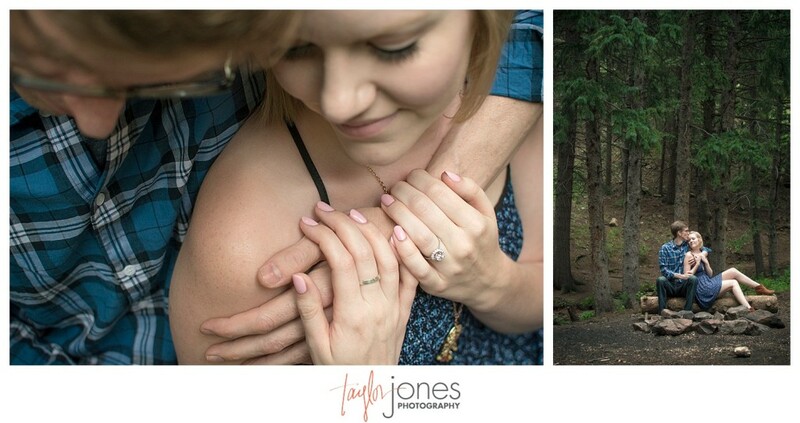 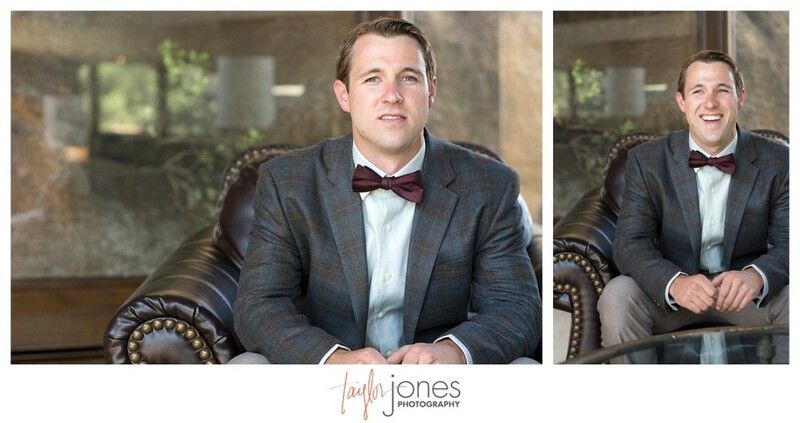 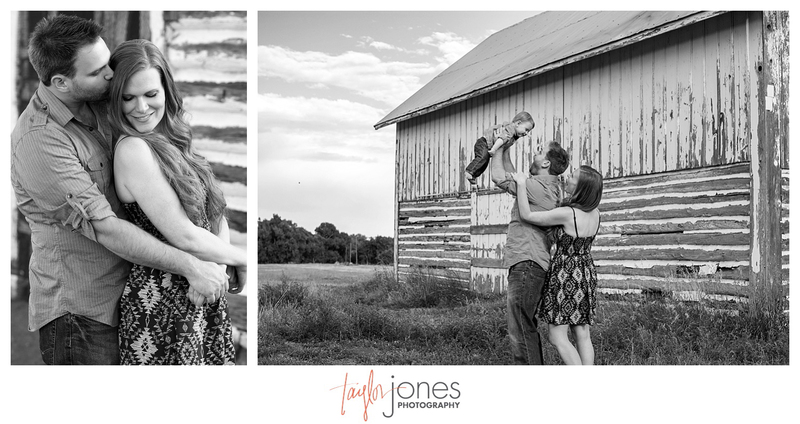 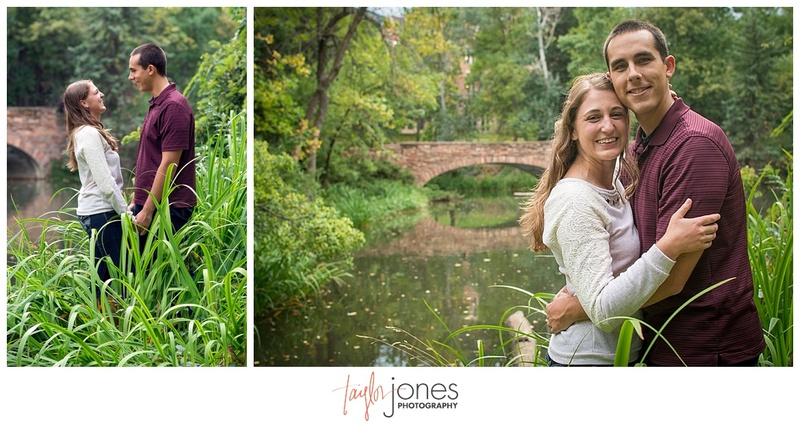 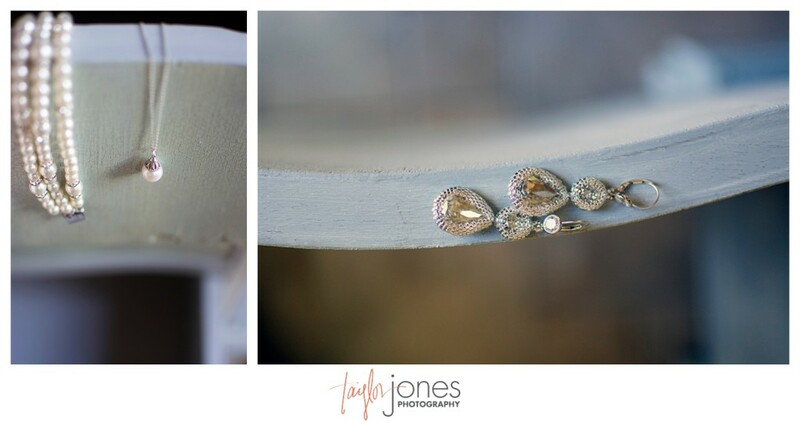 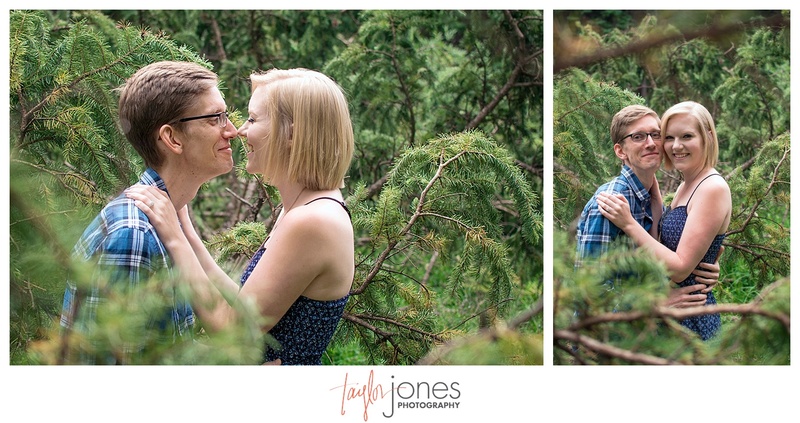 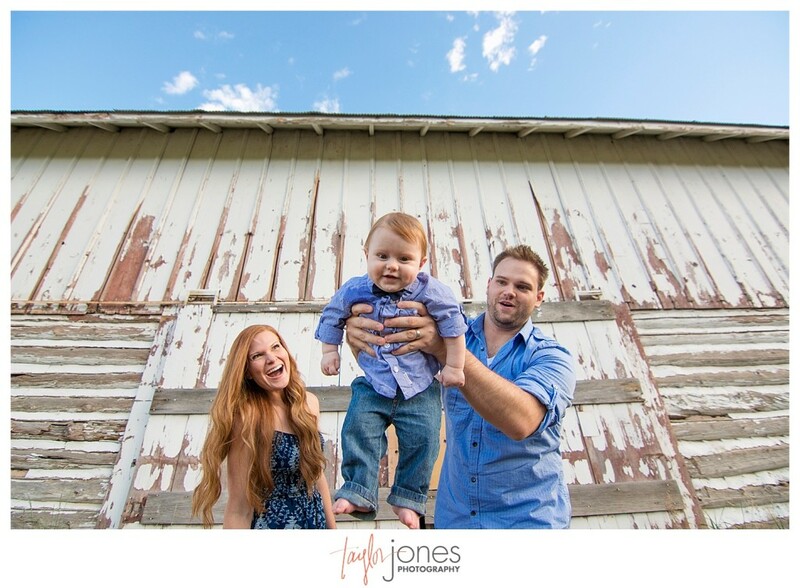 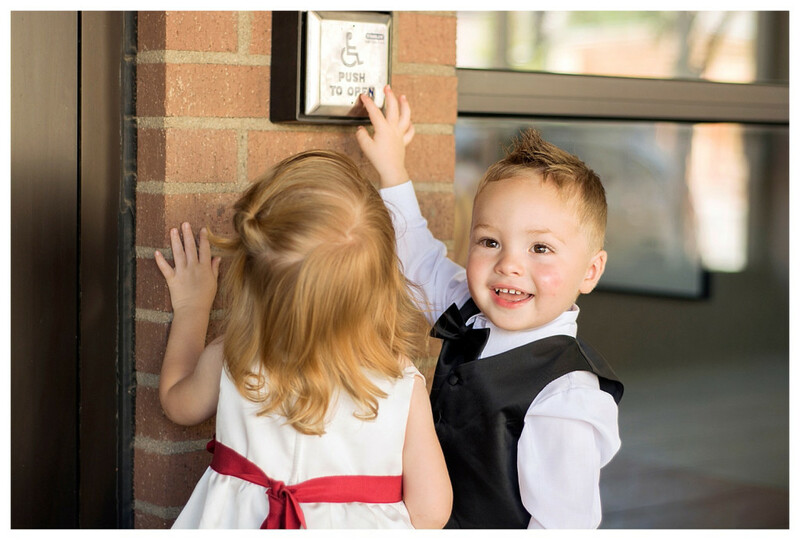 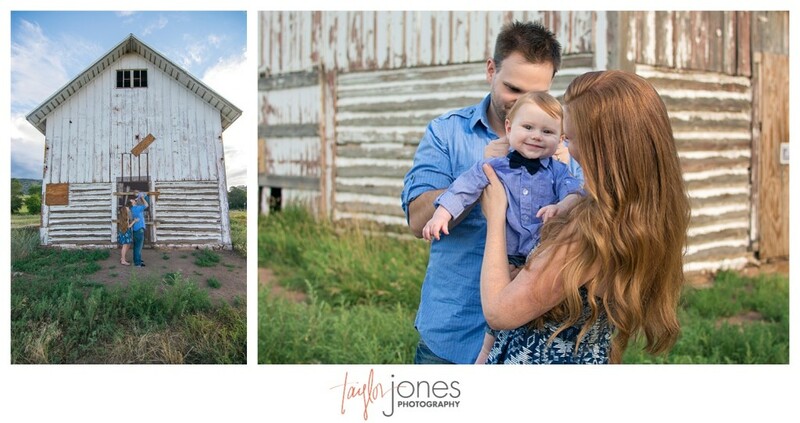 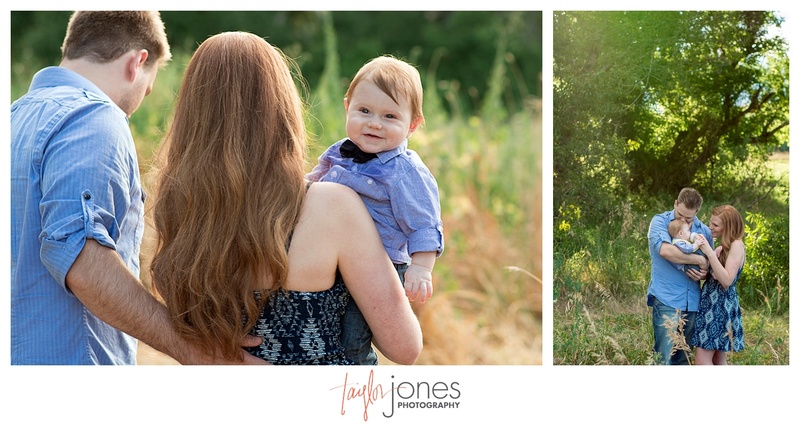 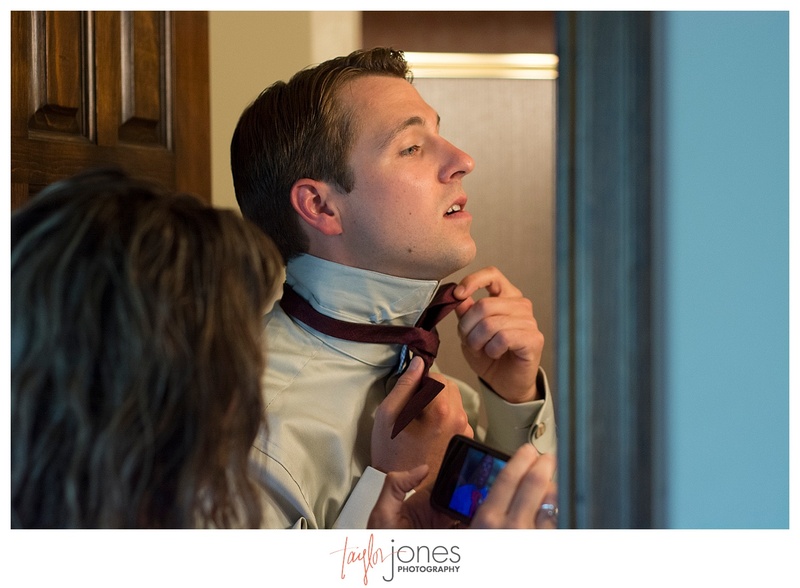 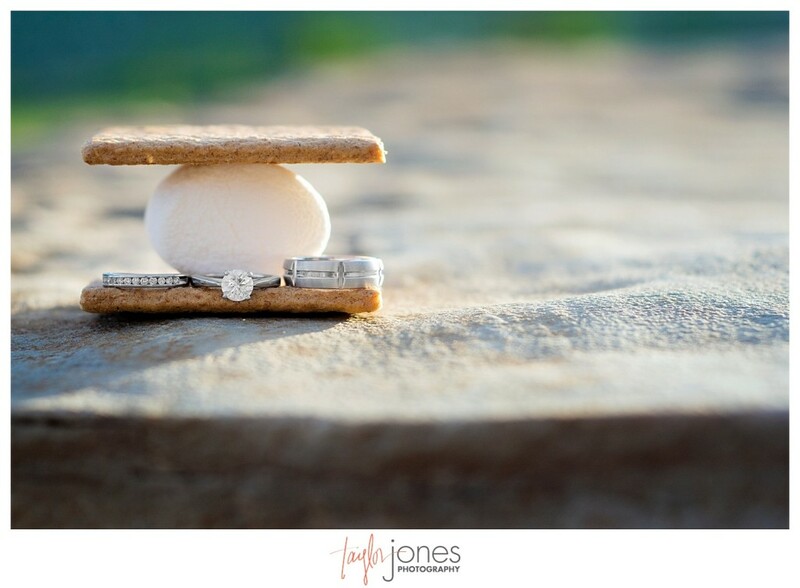 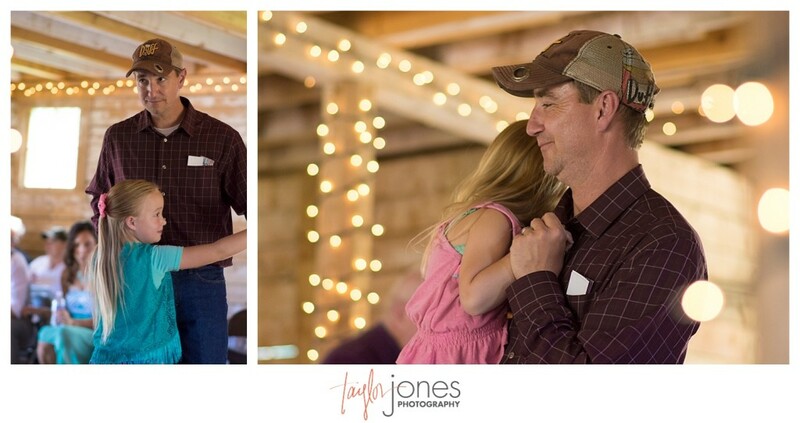 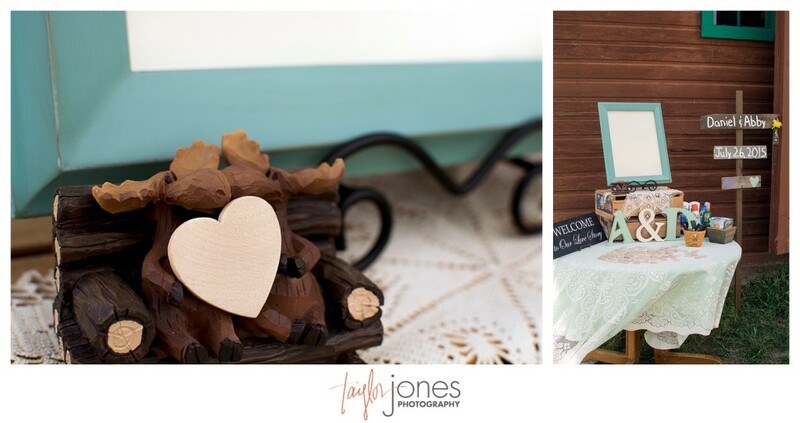 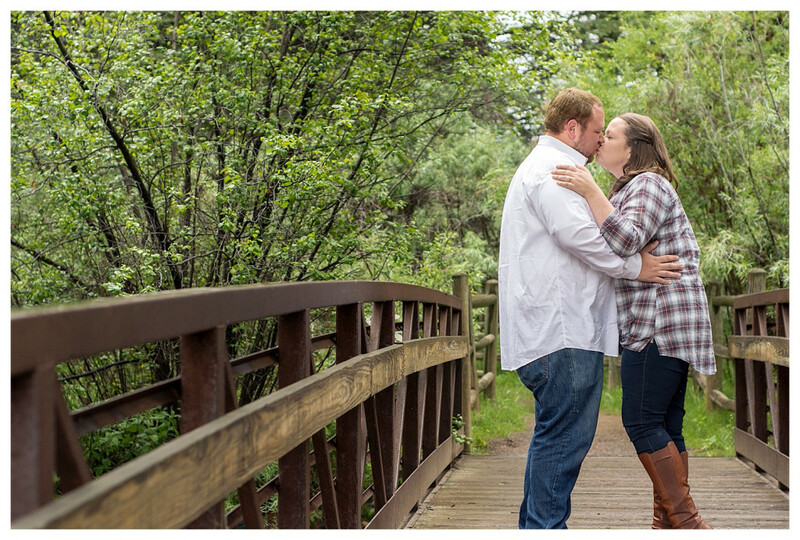 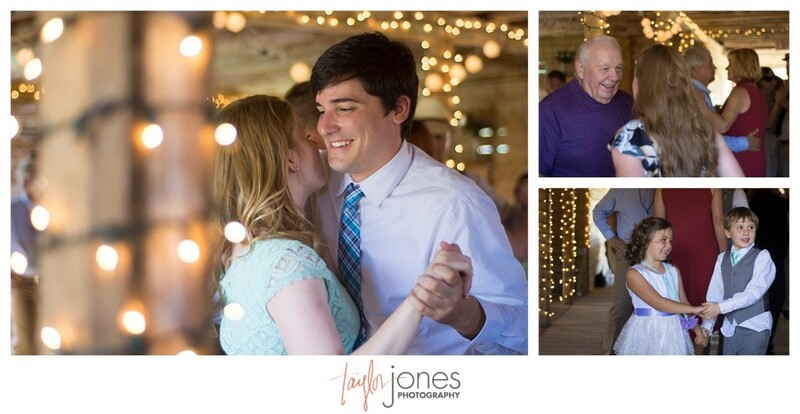 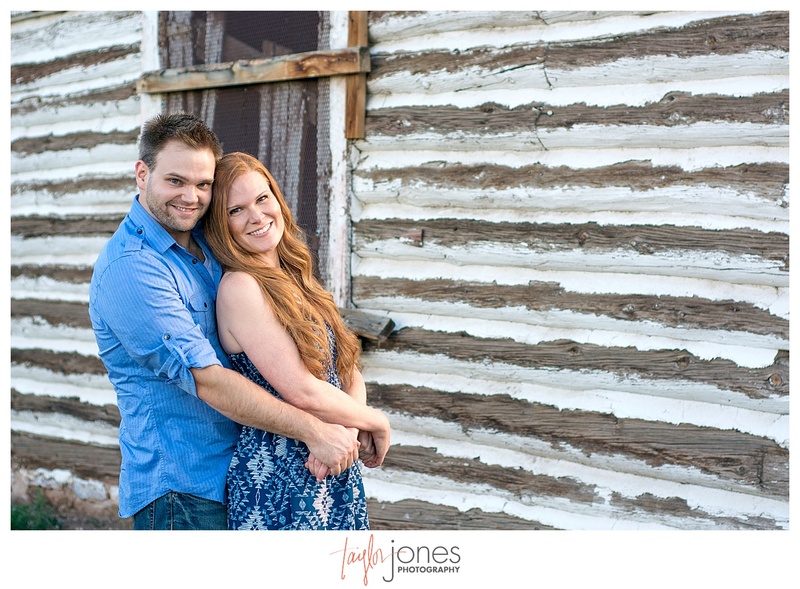 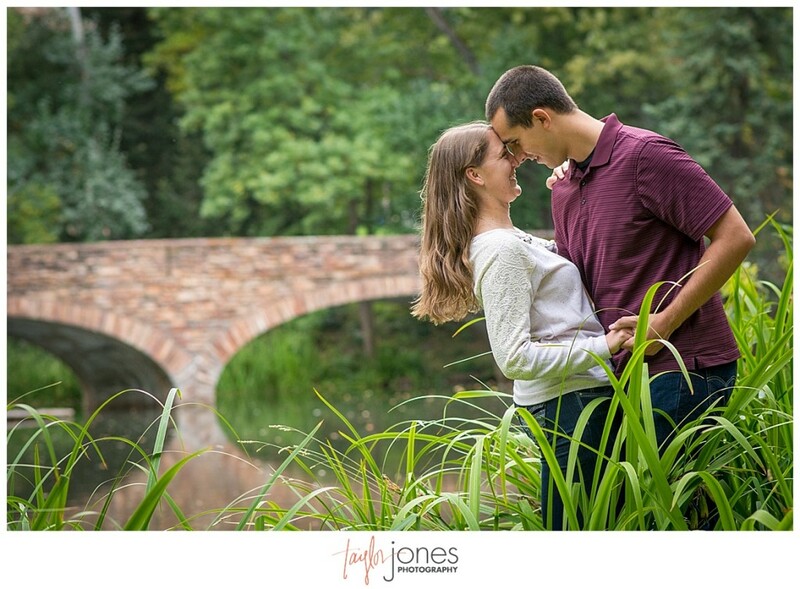 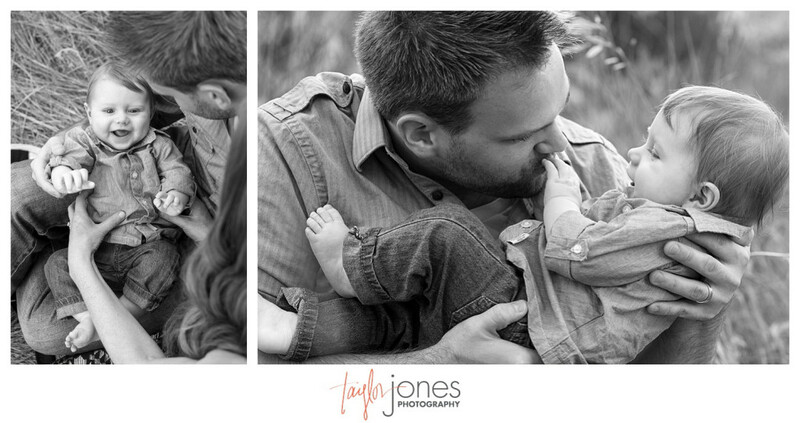 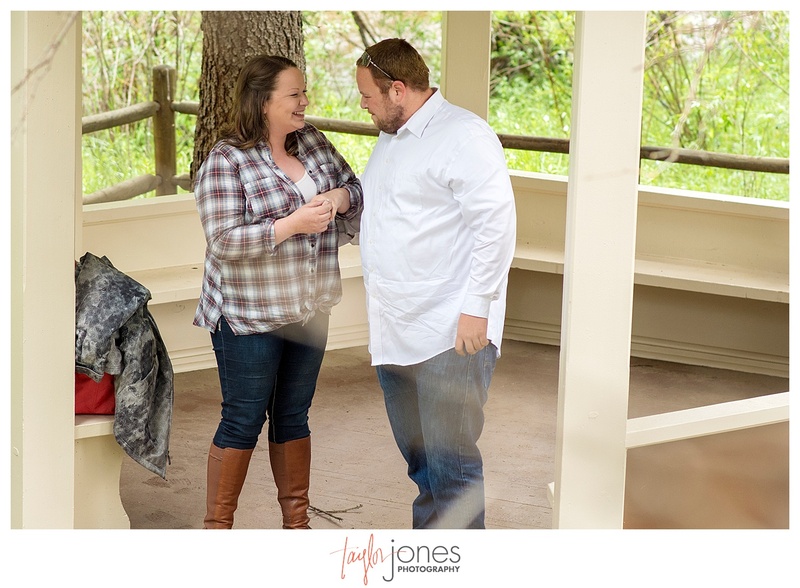 We are SO excited for their big day this fall and can’t wait to shoot this adorable couple again! 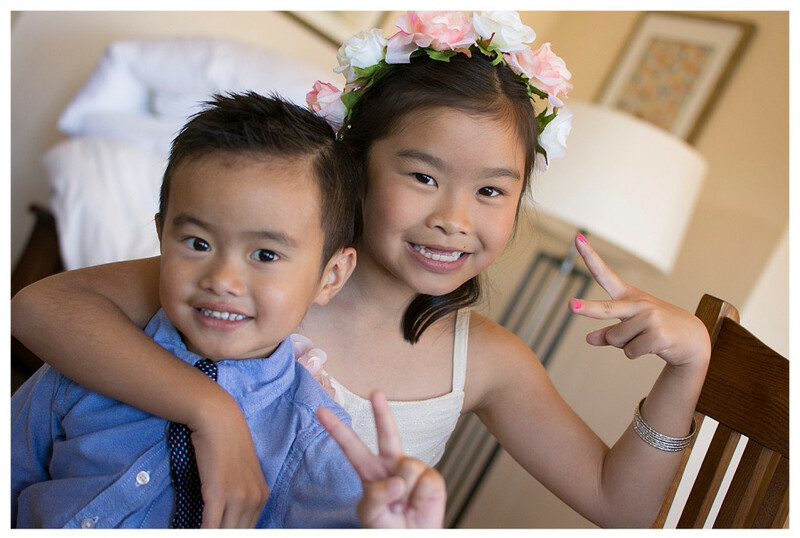 These two are just simply two peas in a pod! 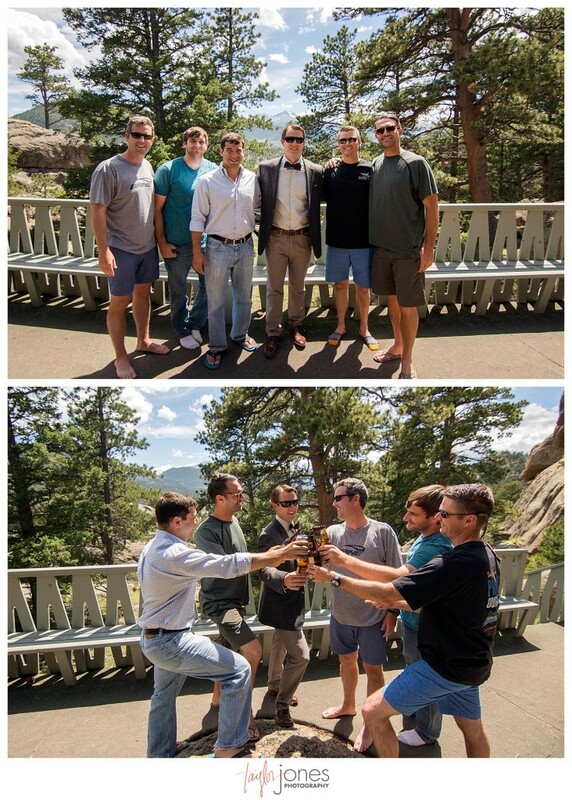 From the first time we met them for beers, we could see the excitement they shared for this incredible time of their lives. 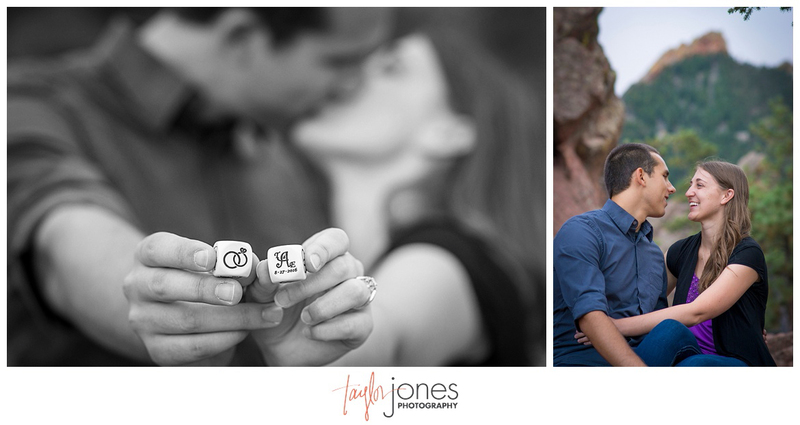 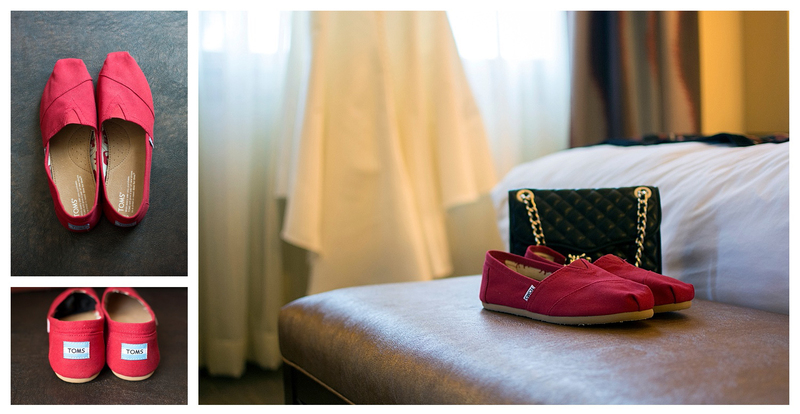 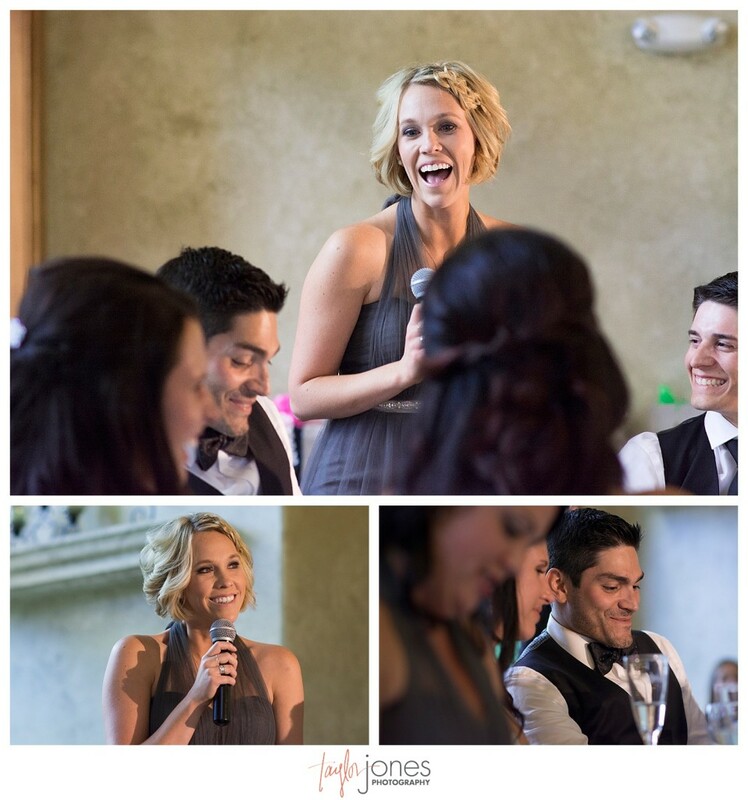 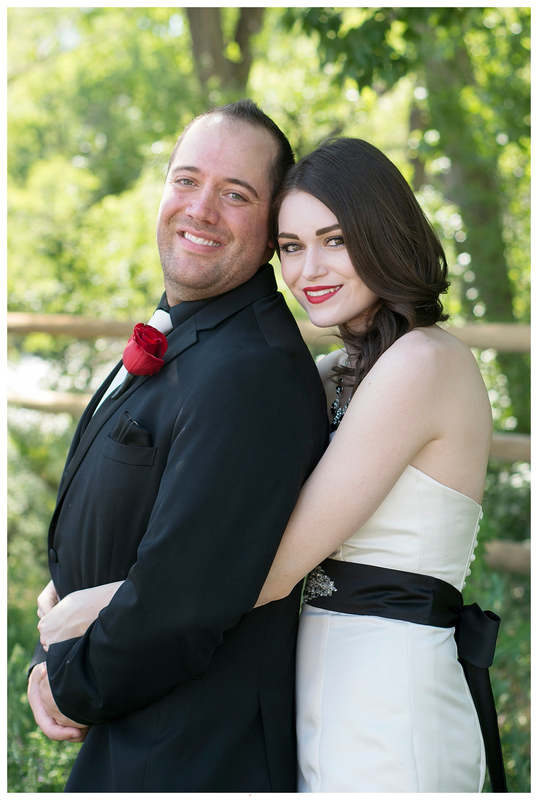 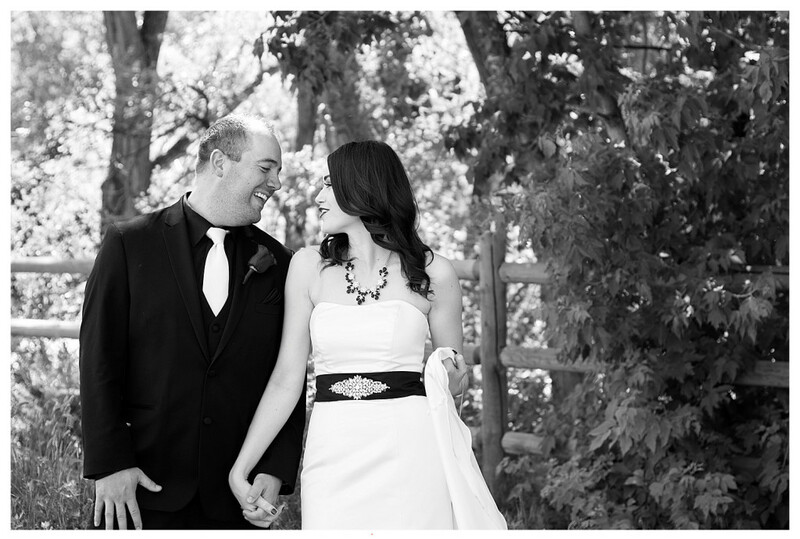 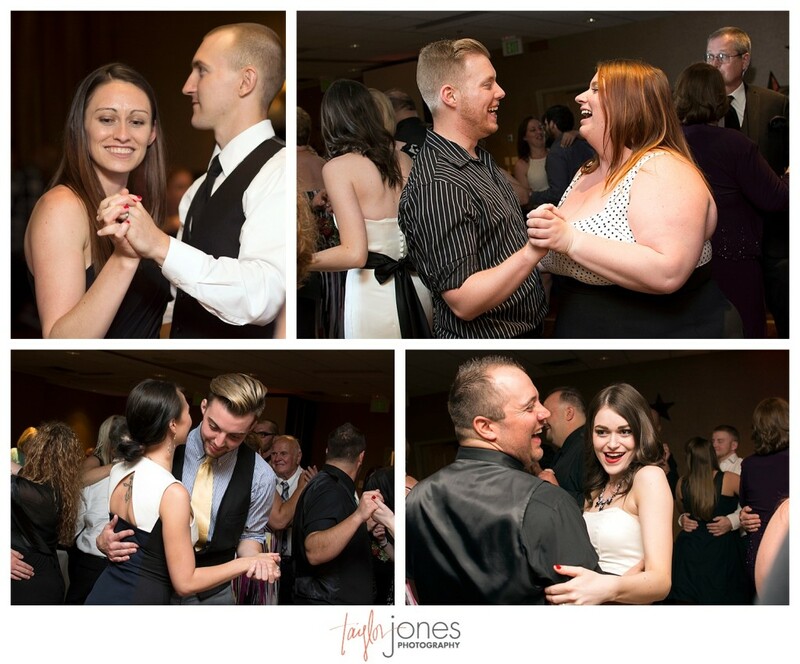 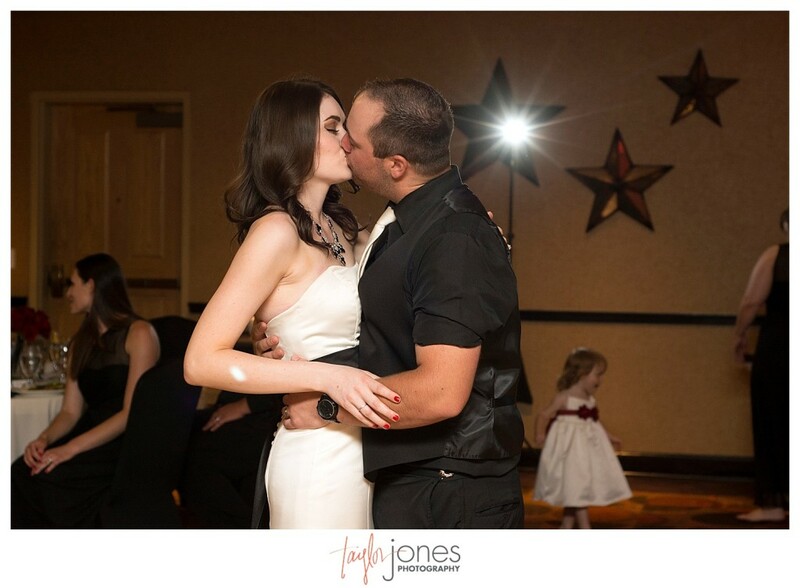 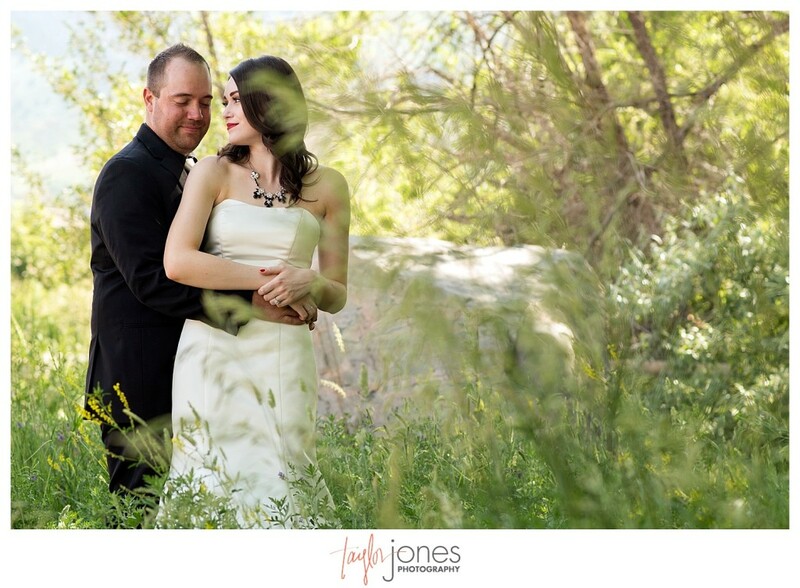 Beth and Trevor were engaged in Las Vegas and had wonderful photos to share with us. 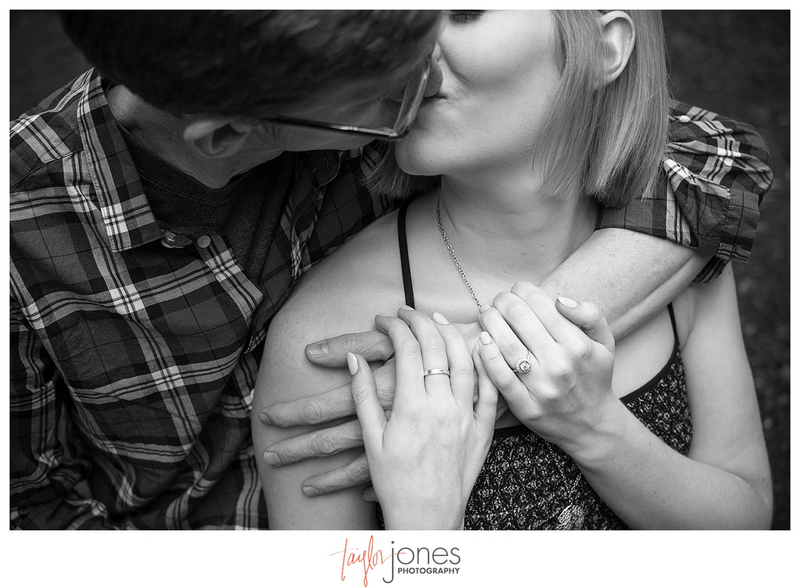 As they met up with friends, they patiently waited for someone to notice the newest addition to Beth’s finger. 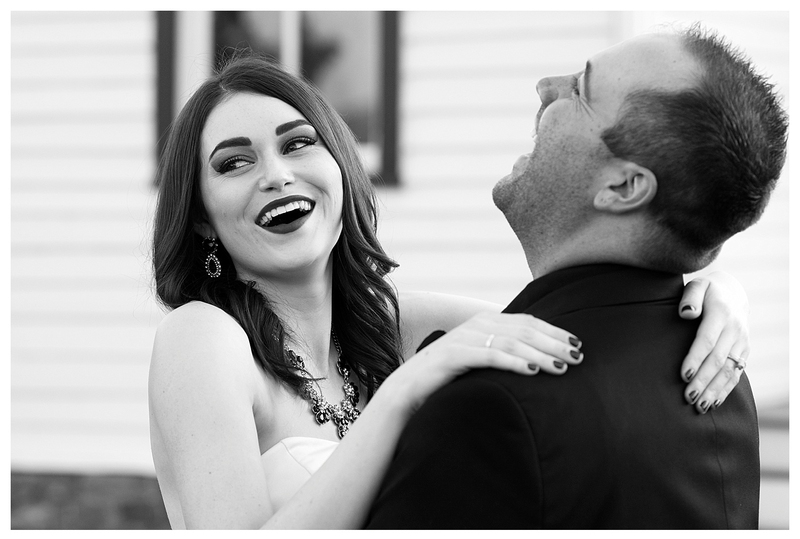 While waiting, they couldn’t hold together their laughter and pure bliss until they finally exploded! 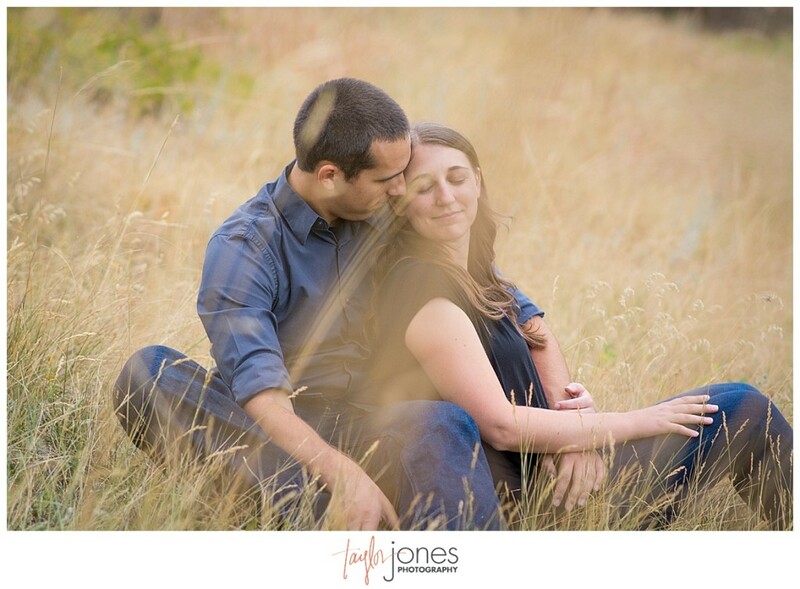 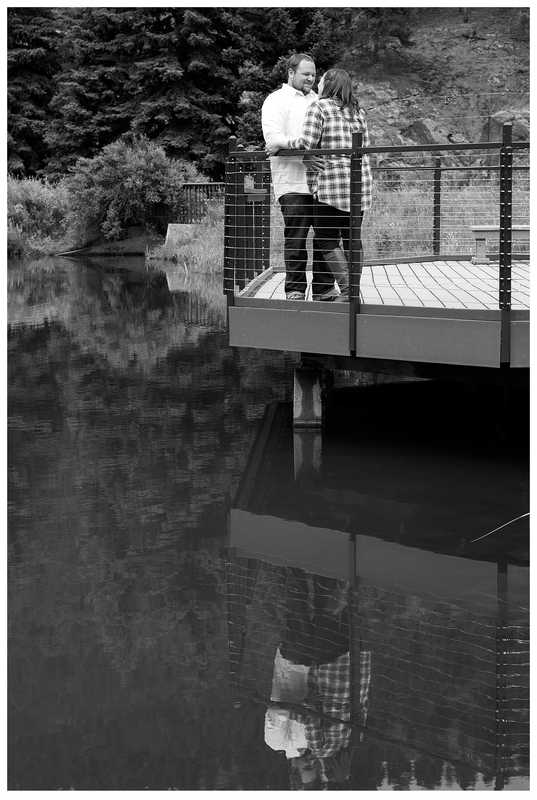 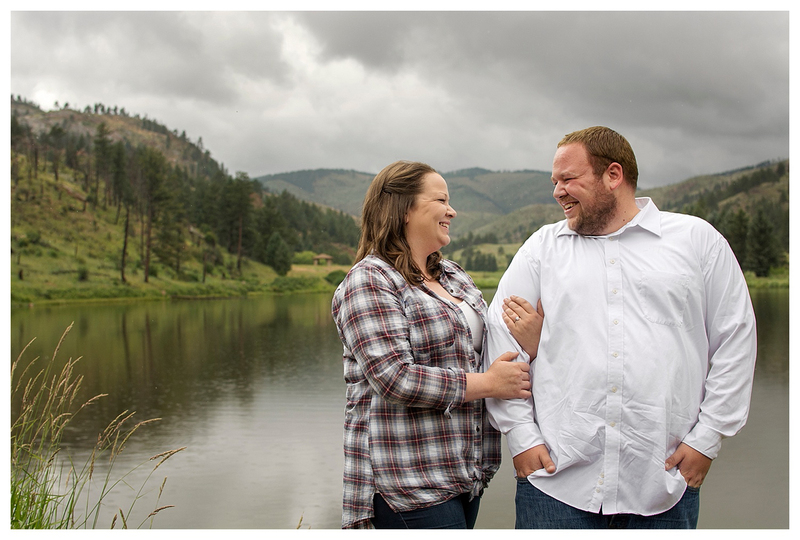 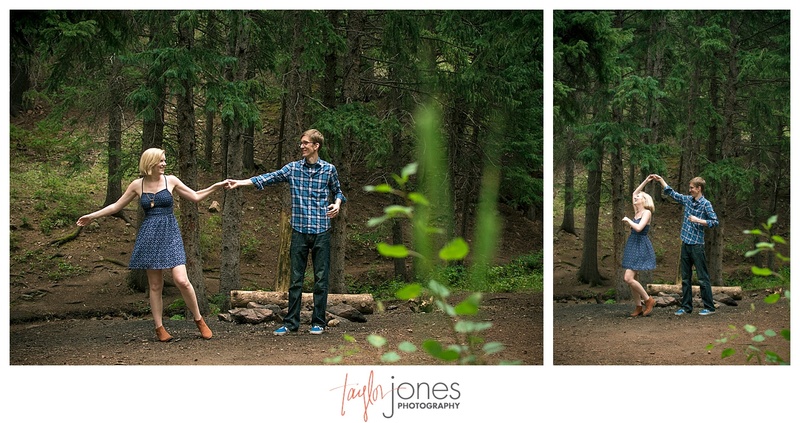 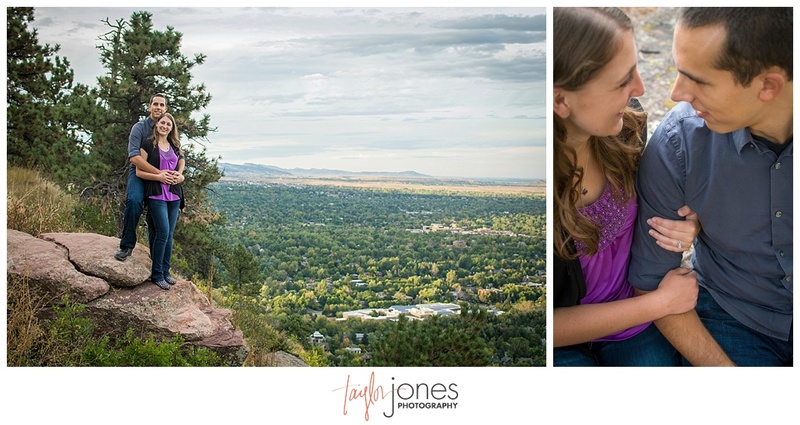 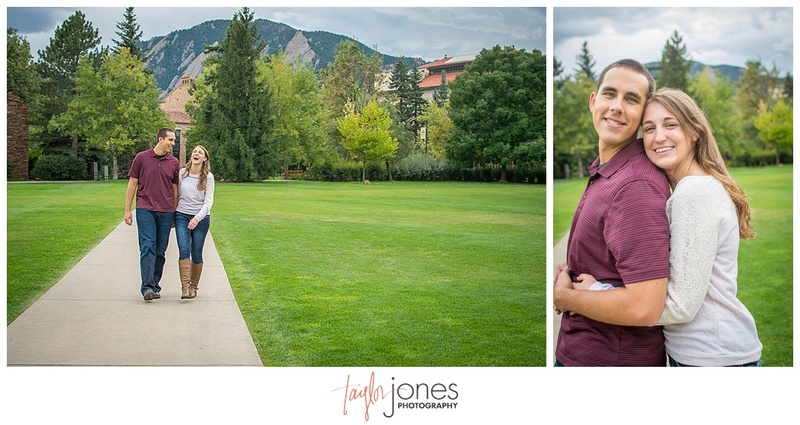 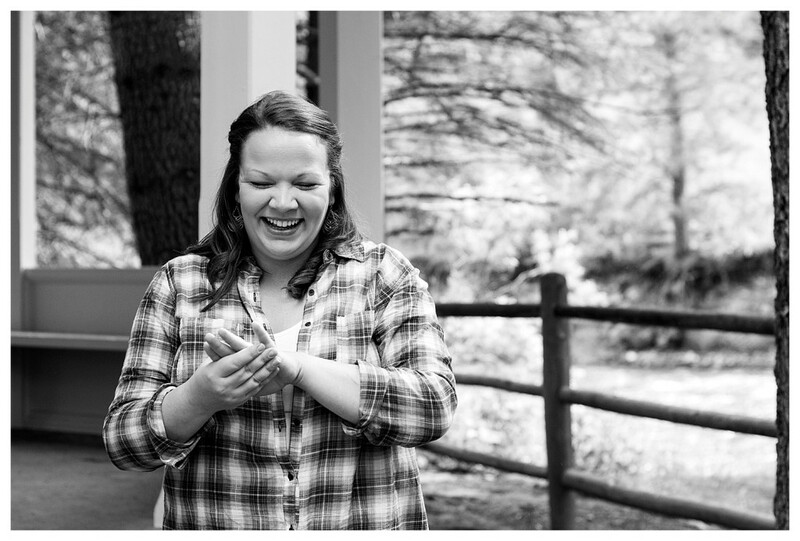 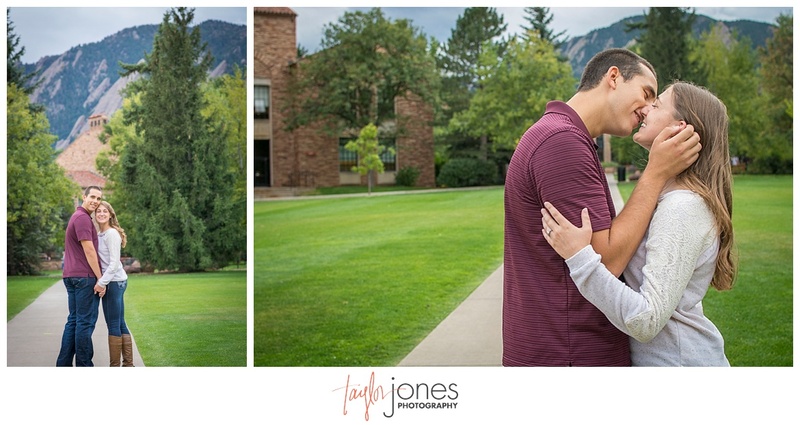 During their engagement shoot in Boulder, their laughter and love carried through into their photos. 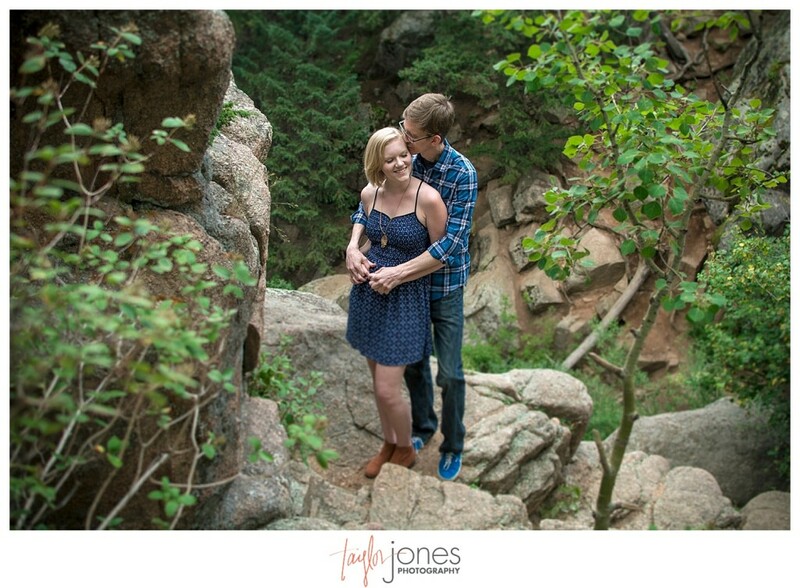 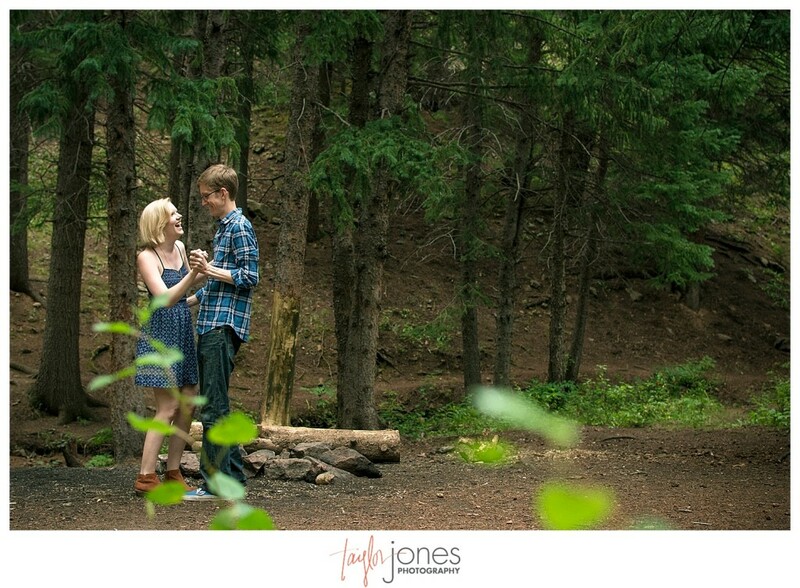 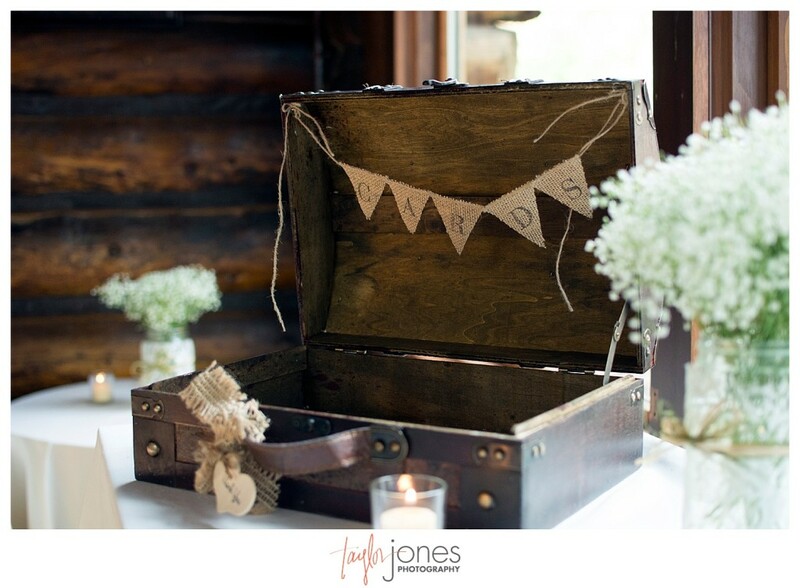 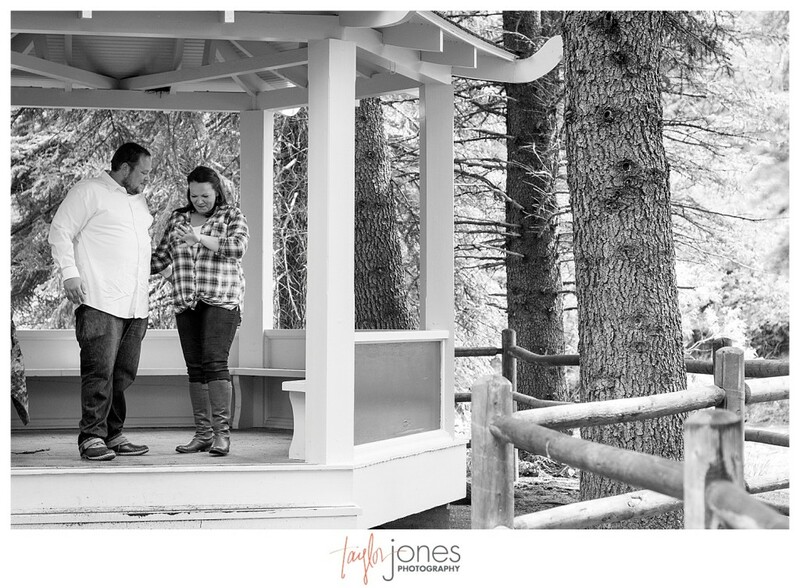 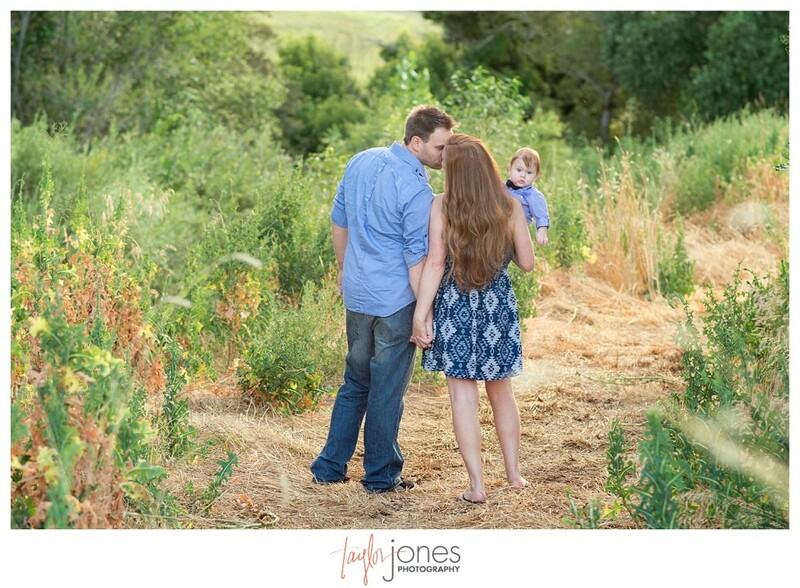 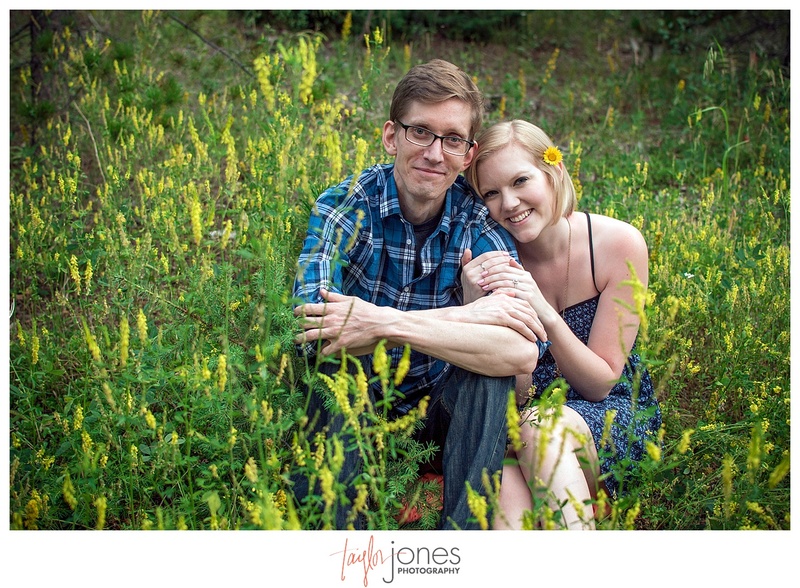 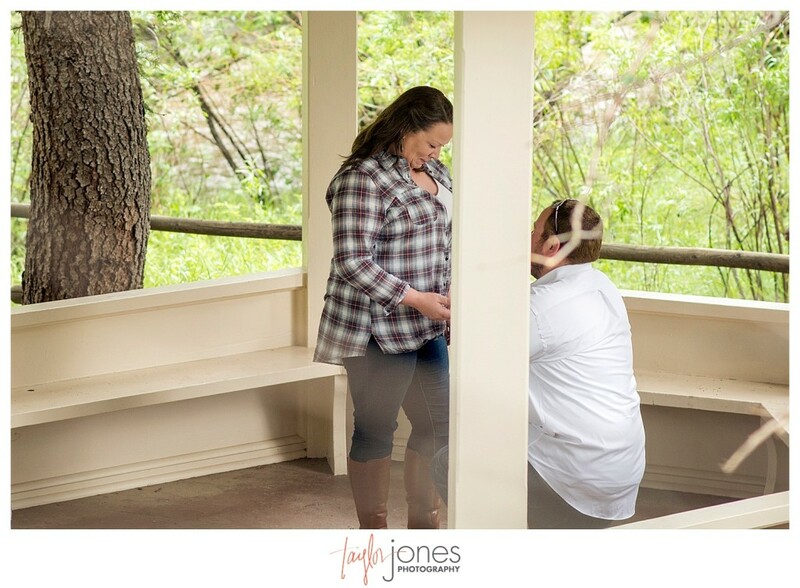 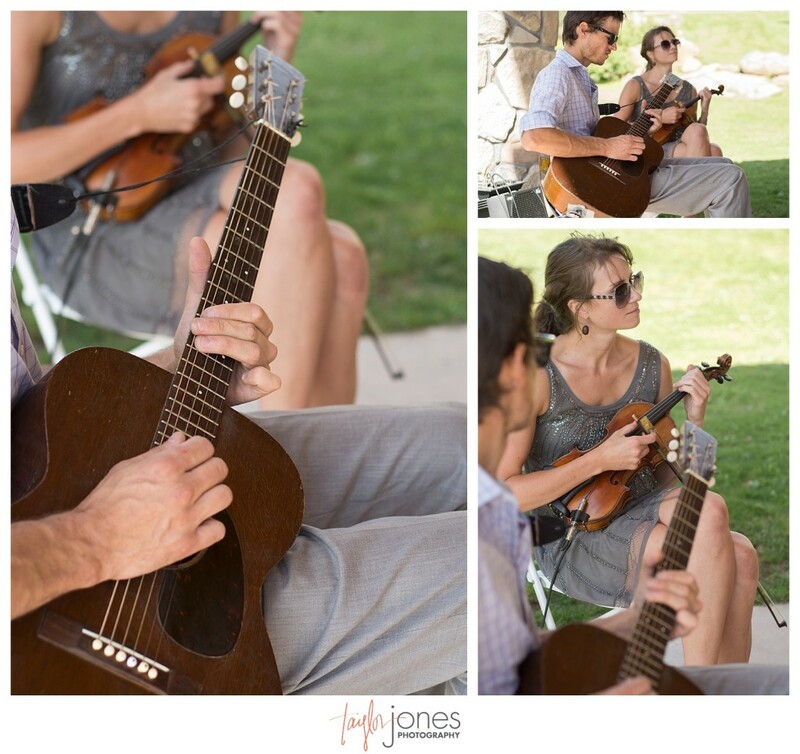 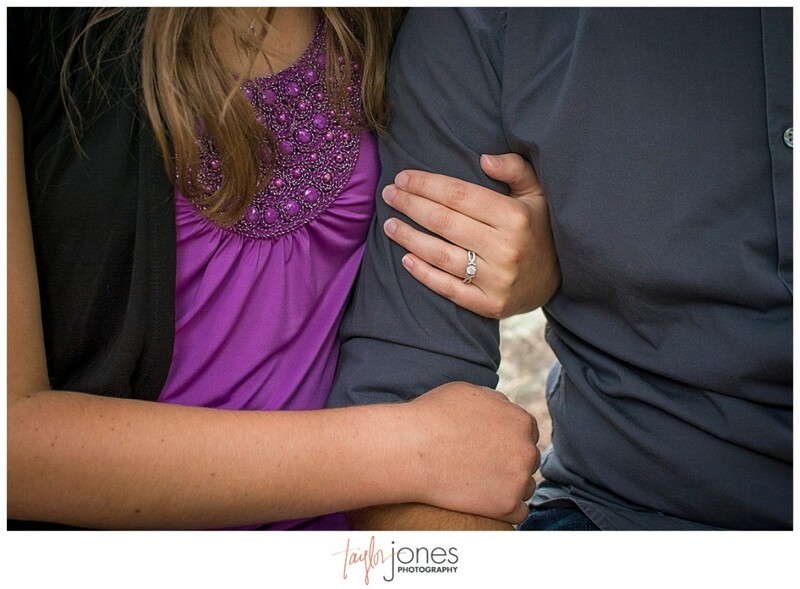 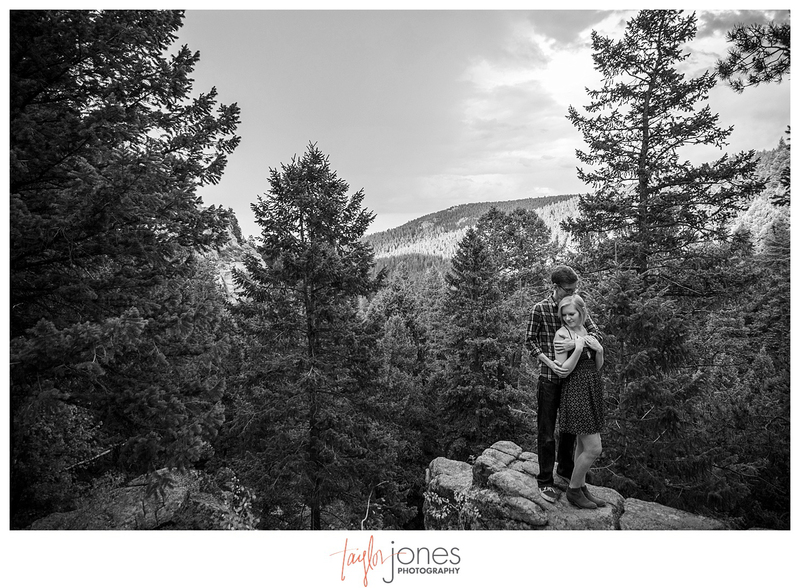 We are so excited to be a part of their wedding in the mountains this coming summer! 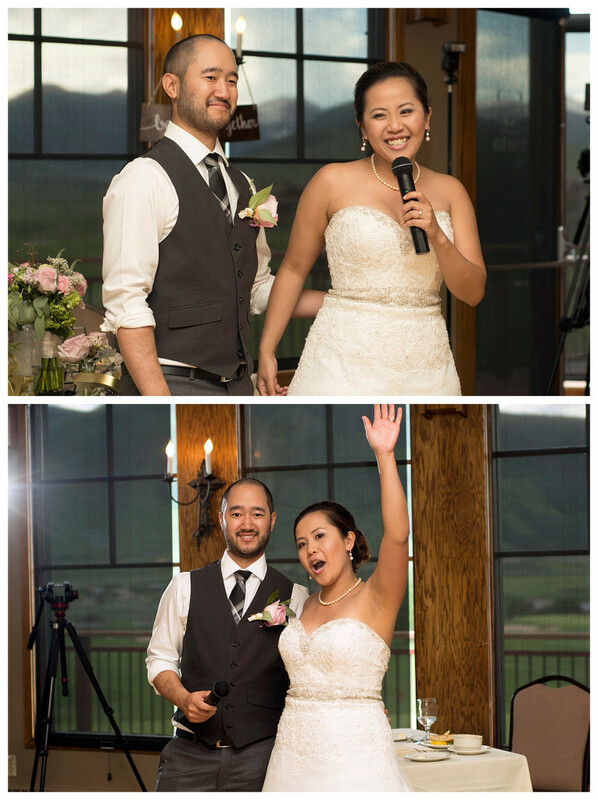 Thank you two so much for having us be a part of such an fun time in your lives with you! 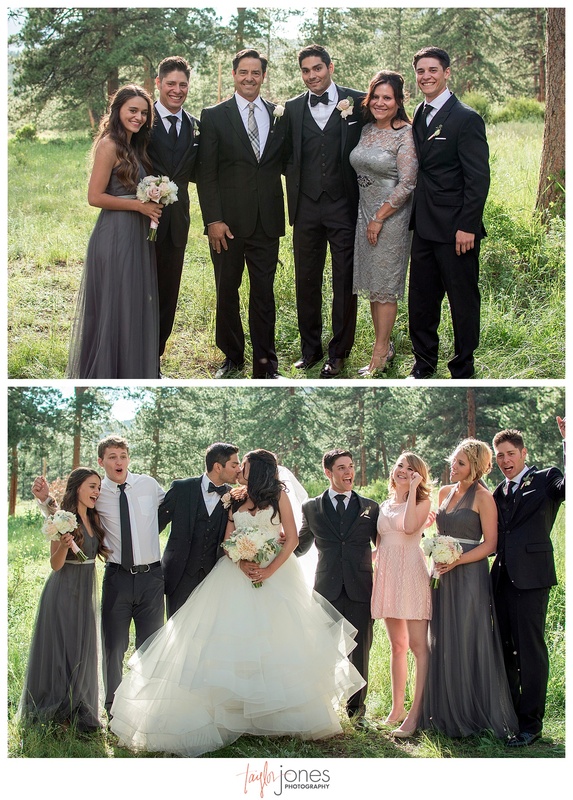 Seeing a couple turn into a family is truly an amazing thing. 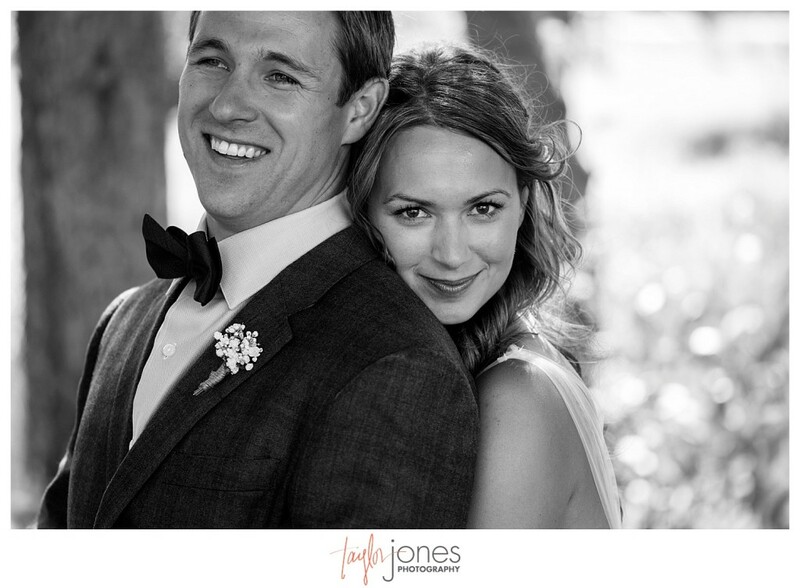 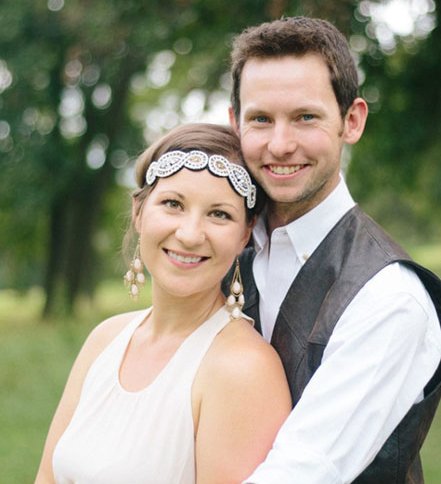 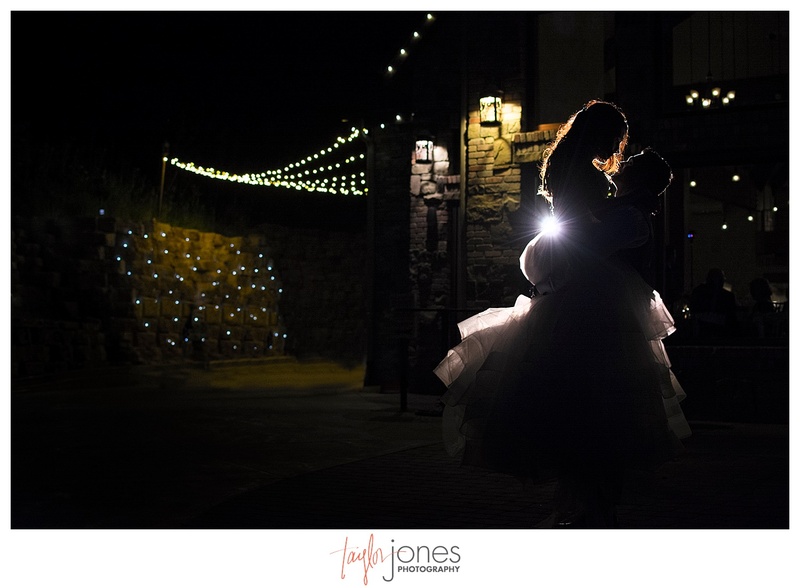 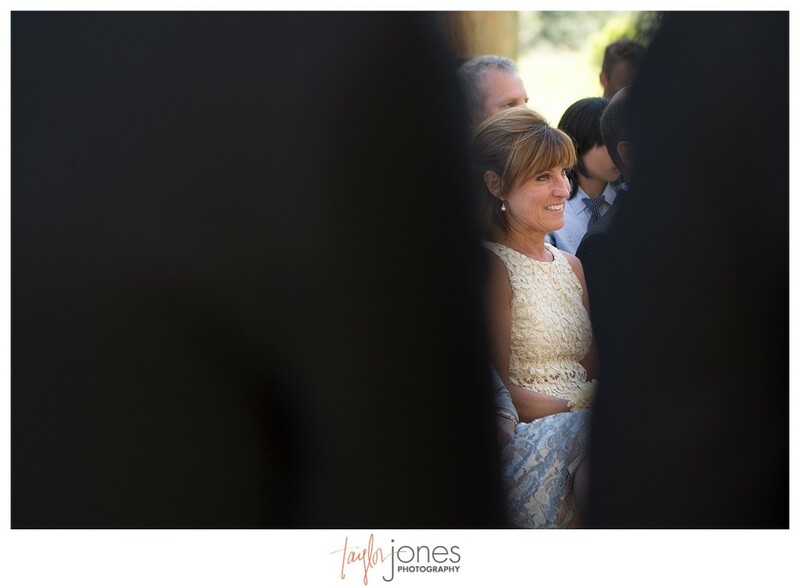 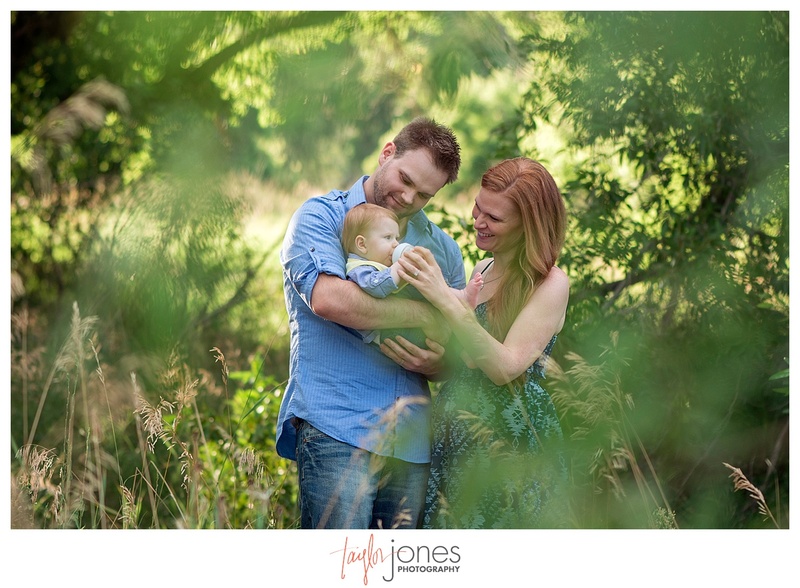 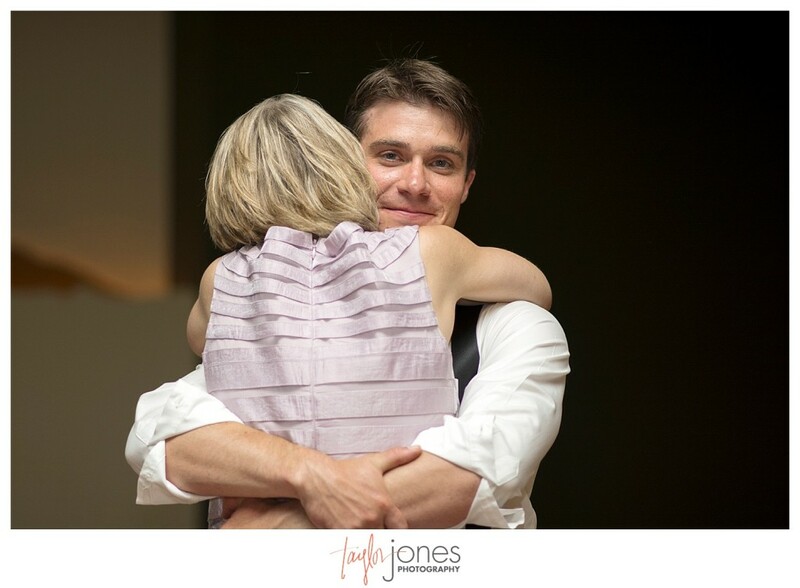 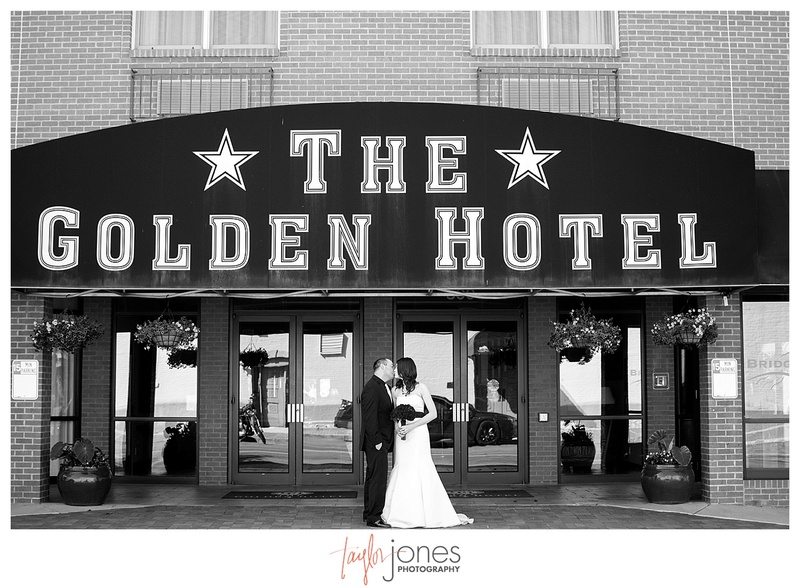 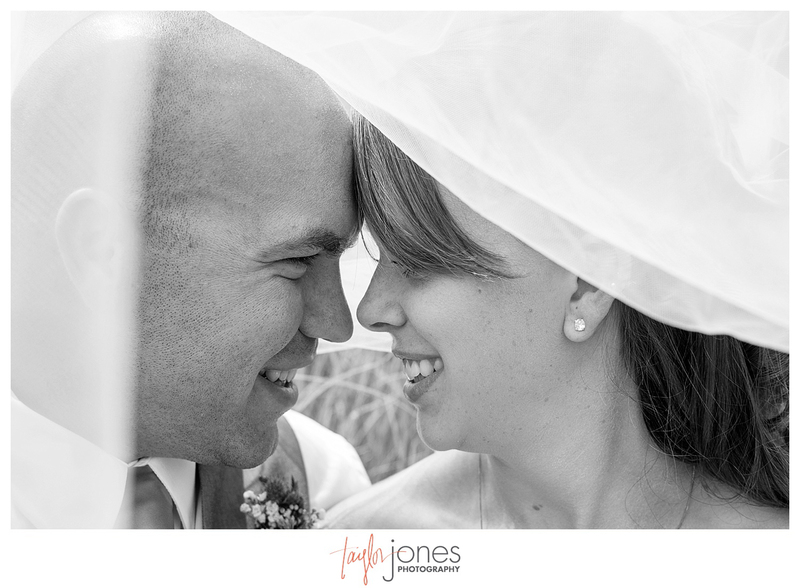 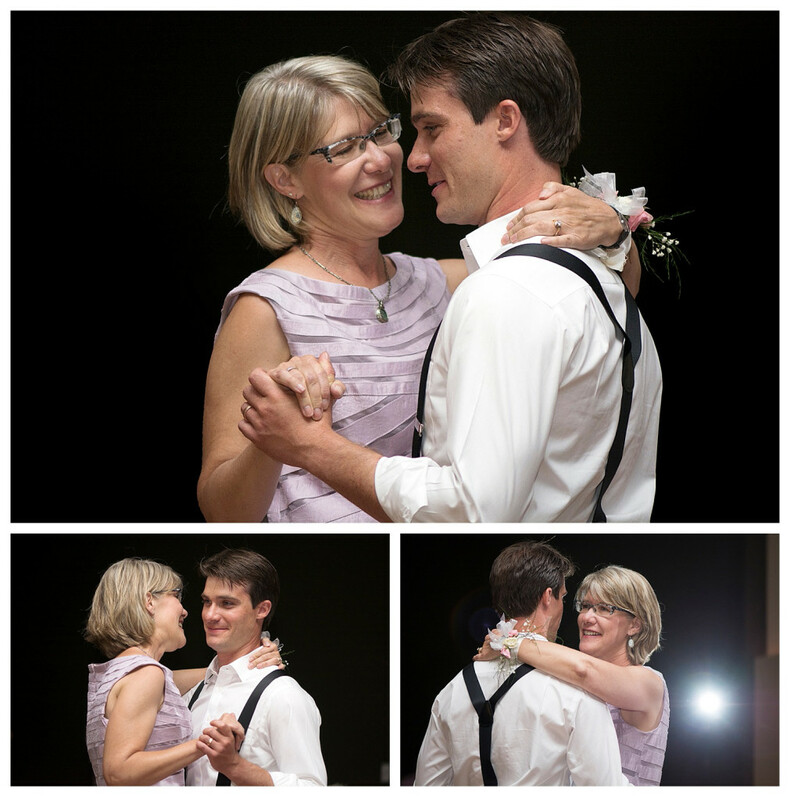 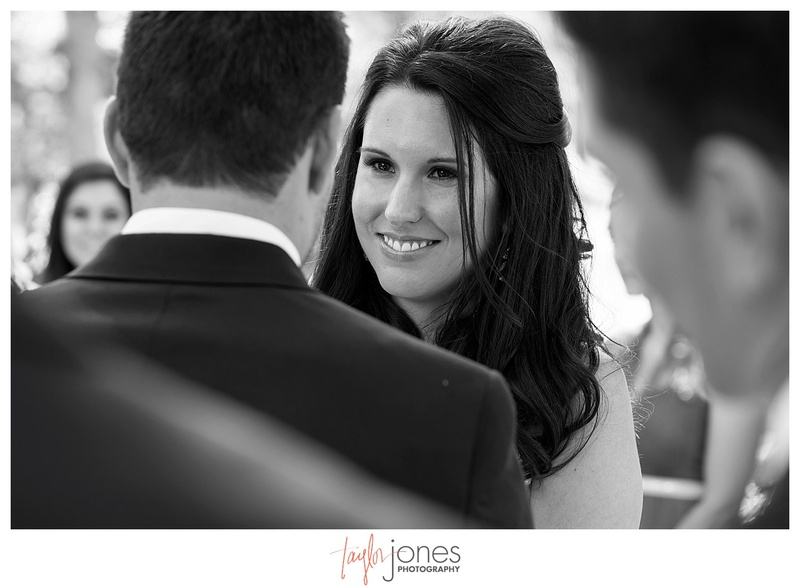 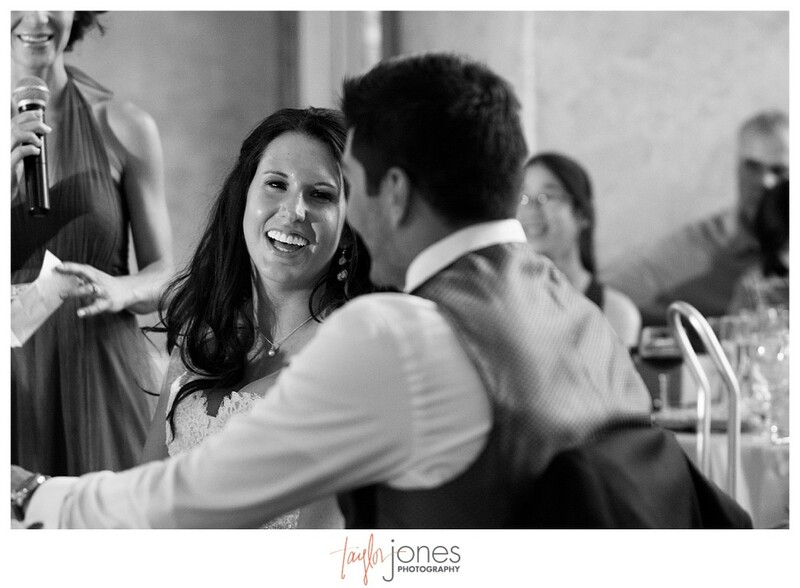 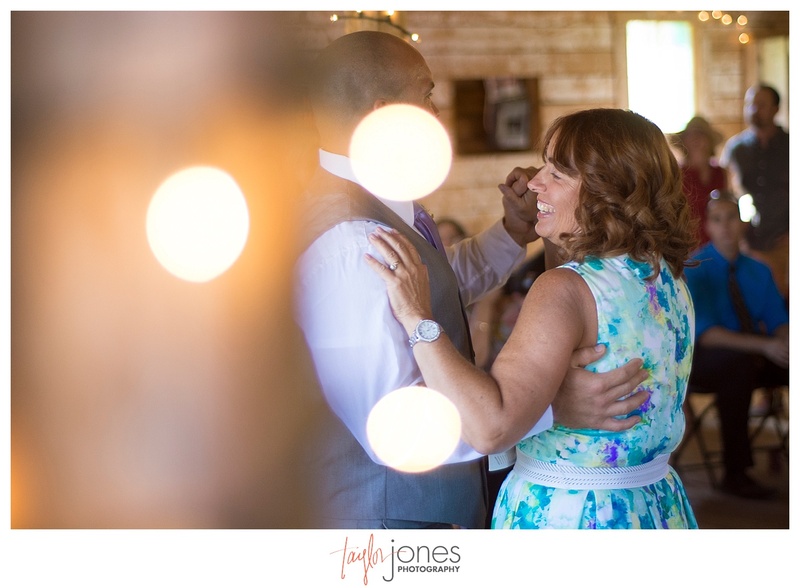 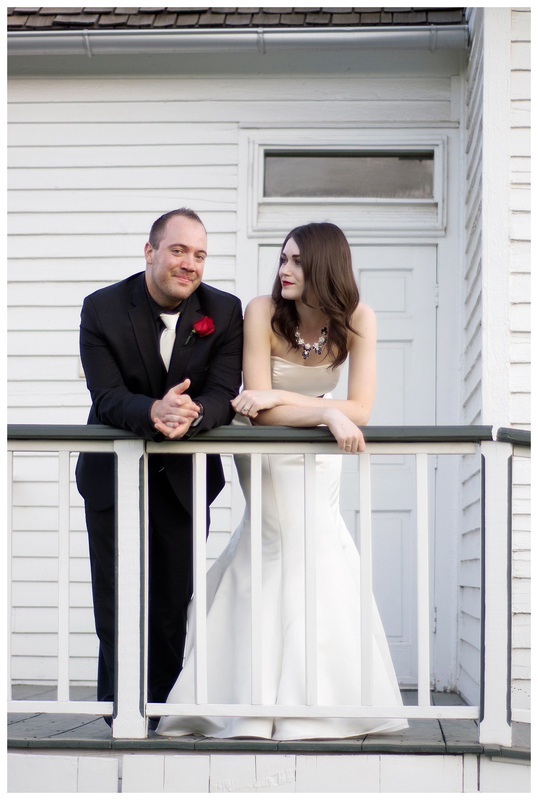 When we first met John and Jenny, they were about seven months pregnant at the Miller’s wedding. 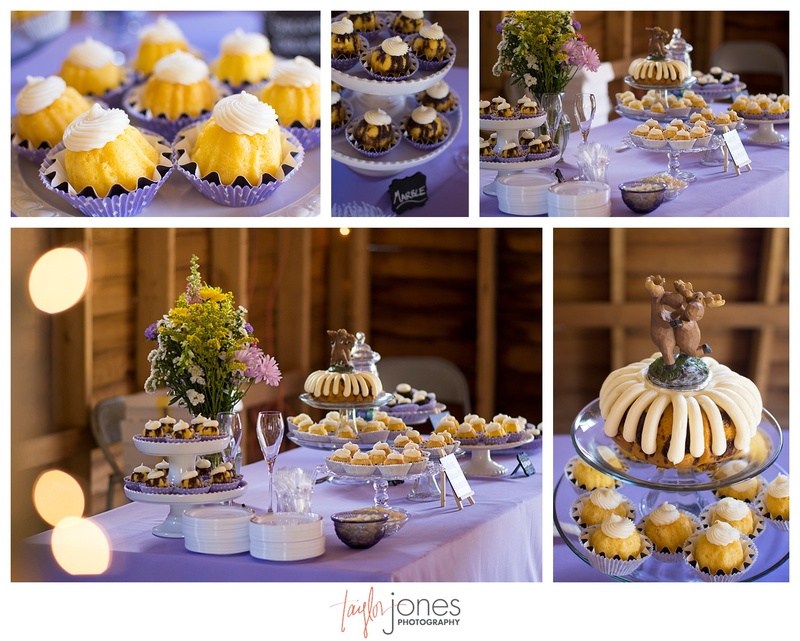 Jenny, in all her maternity glow, had made all the cupcakes for her dear friends big day. 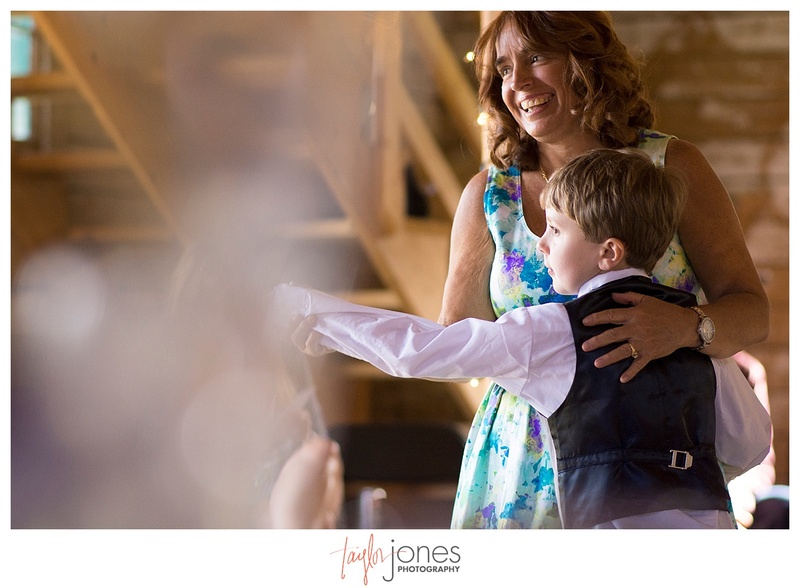 When we got the opportunity to meet Sir Axton (not his real name, but that cheeky grin is inspired by calling him “Sir”!) 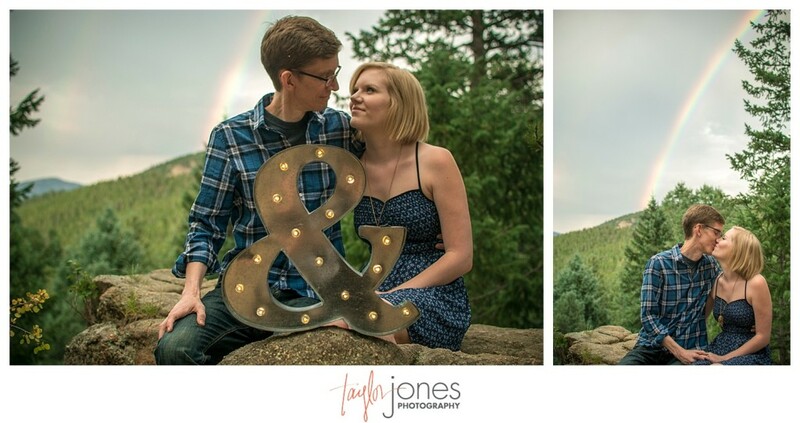 we couldn’t wait to see them again! 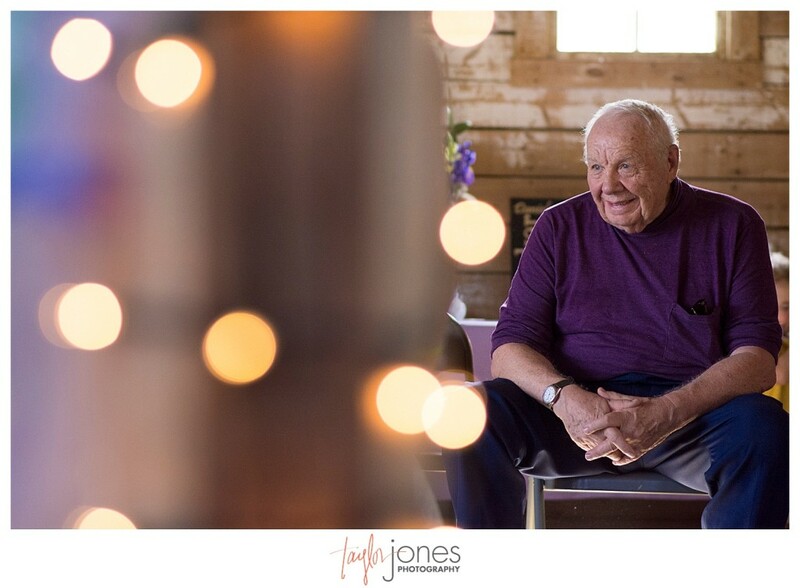 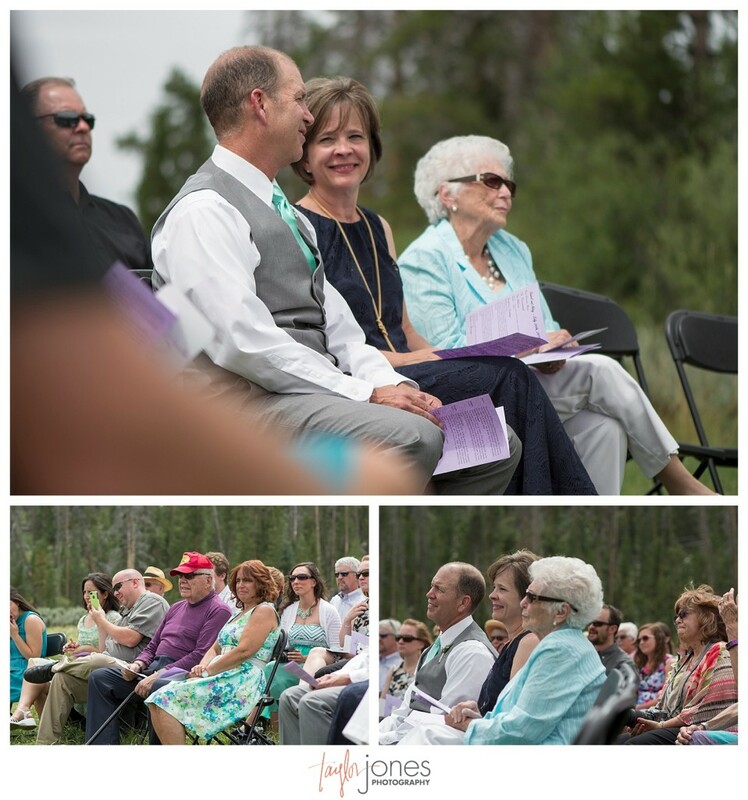 Thank you so much, Mears family, for welcoming us into your lives and sharing a little piece of your family with us. 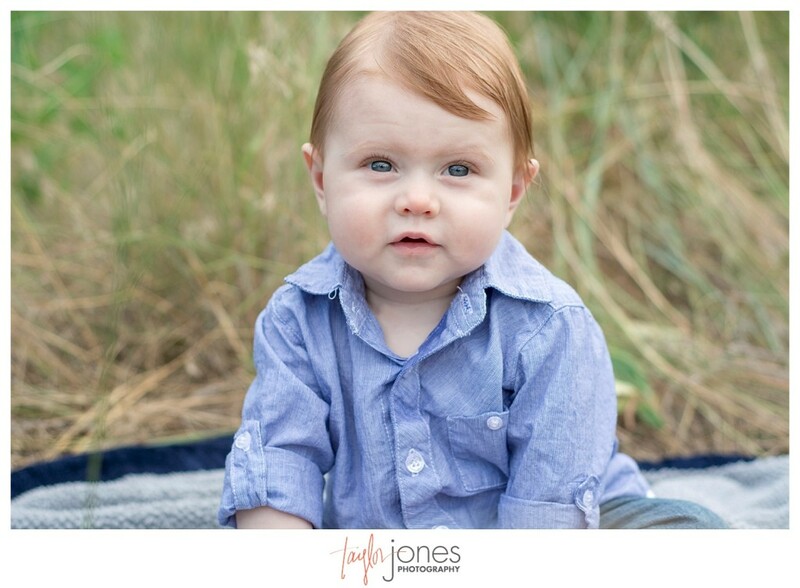 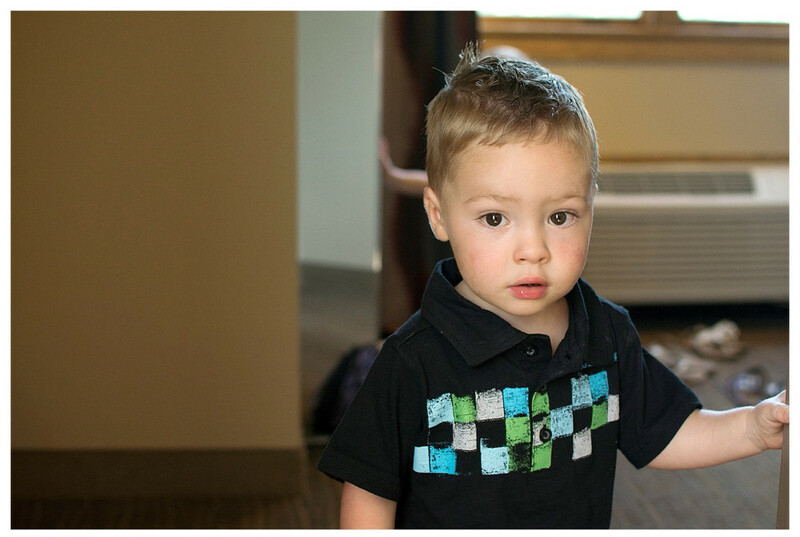 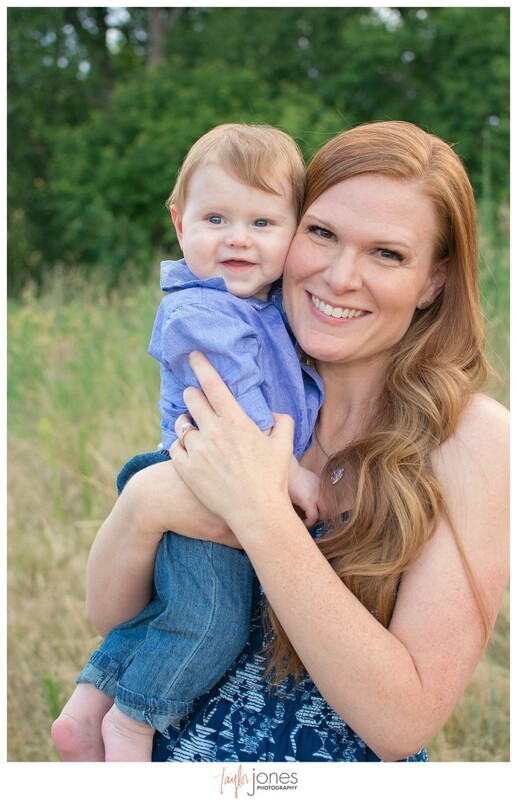 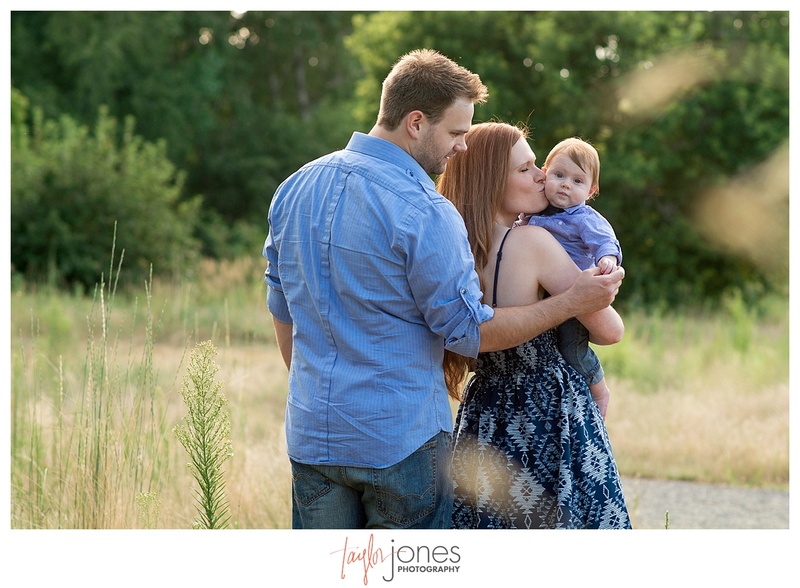 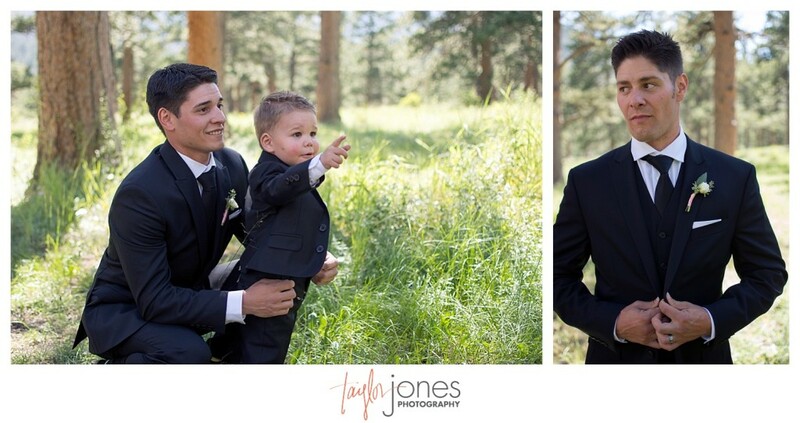 We can’t wait to see you again and watch your little man grow up! 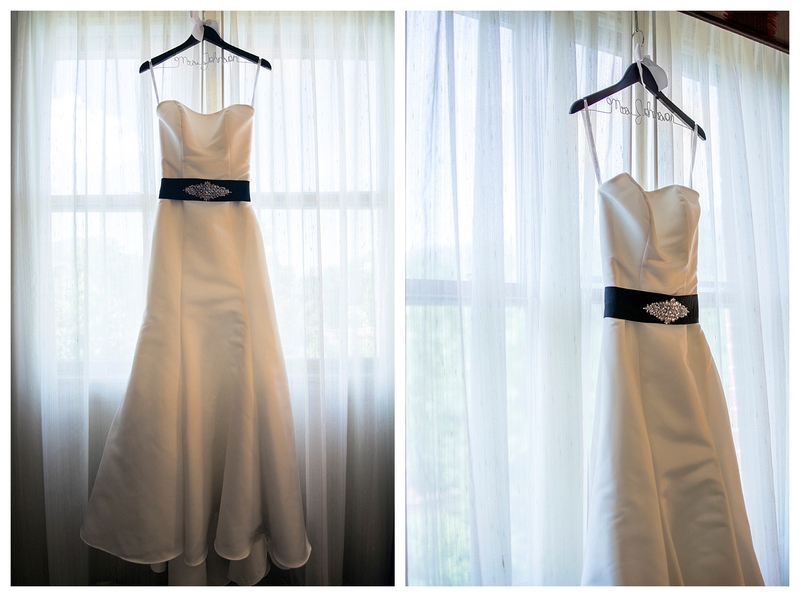 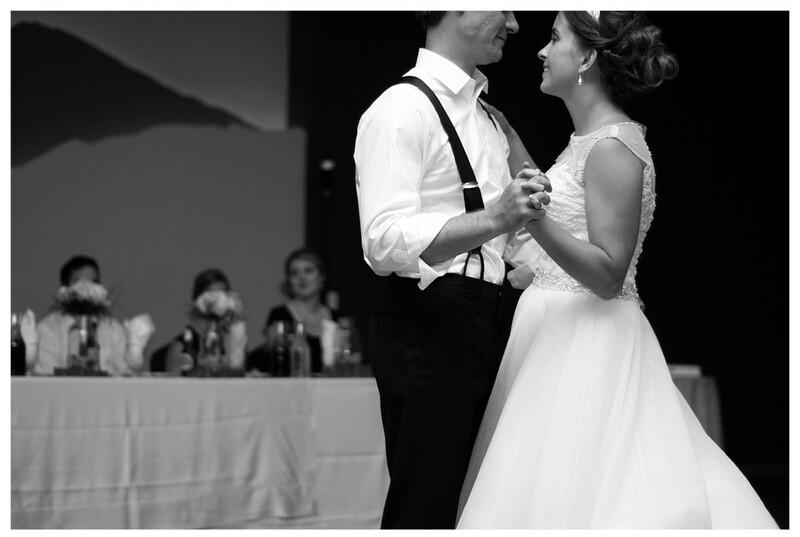 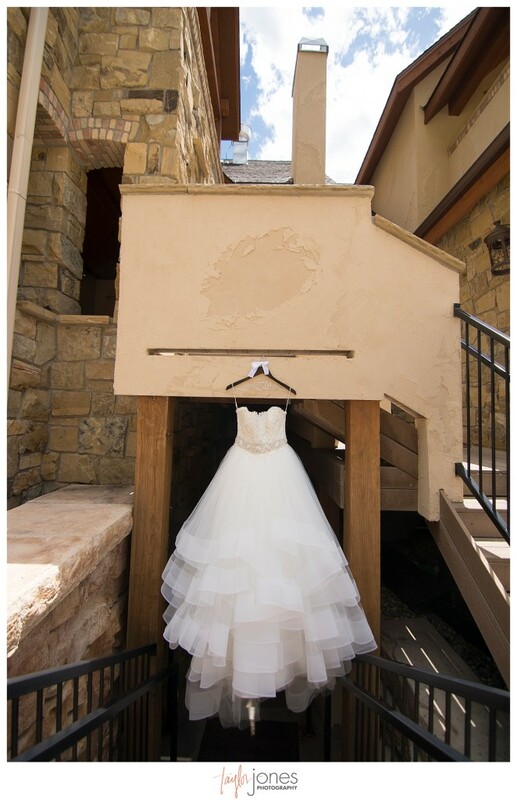 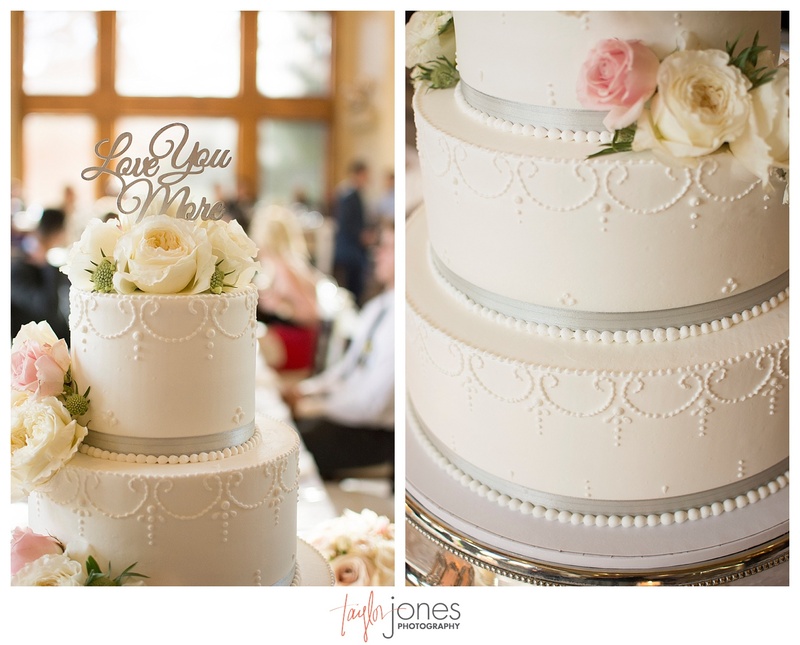 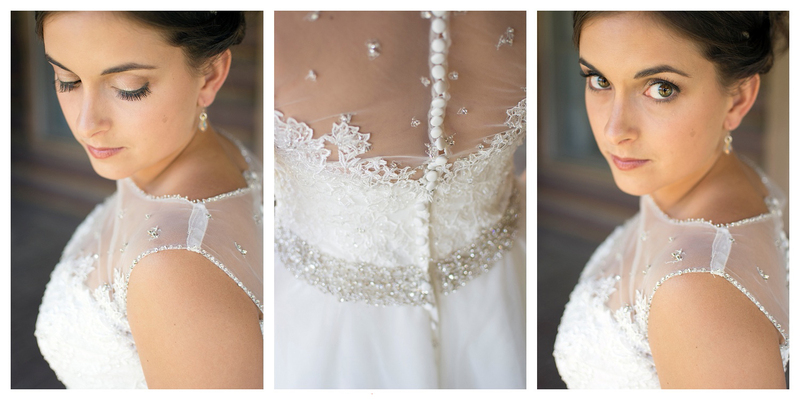 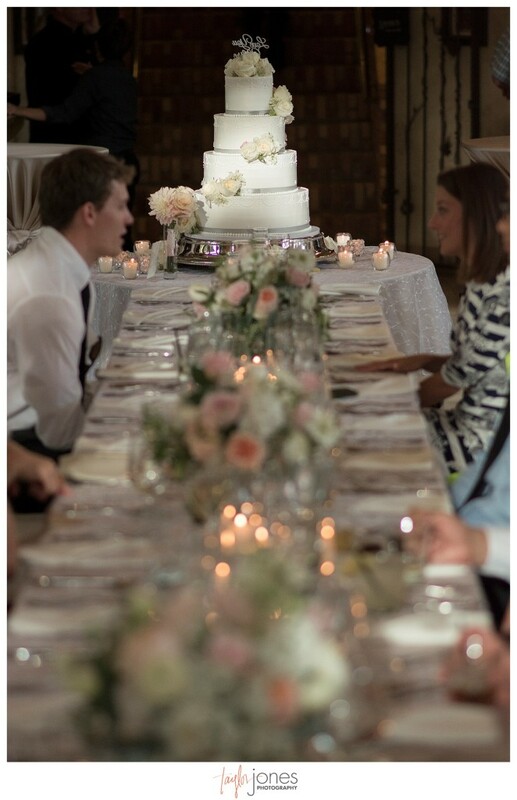 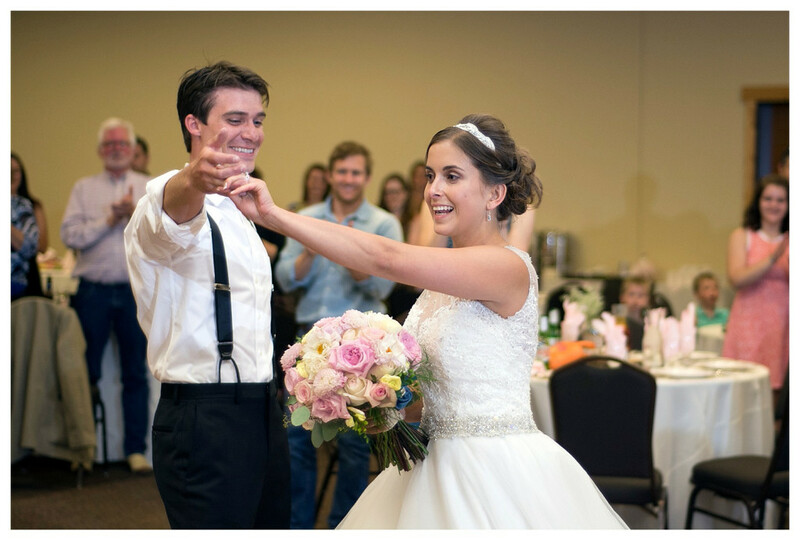 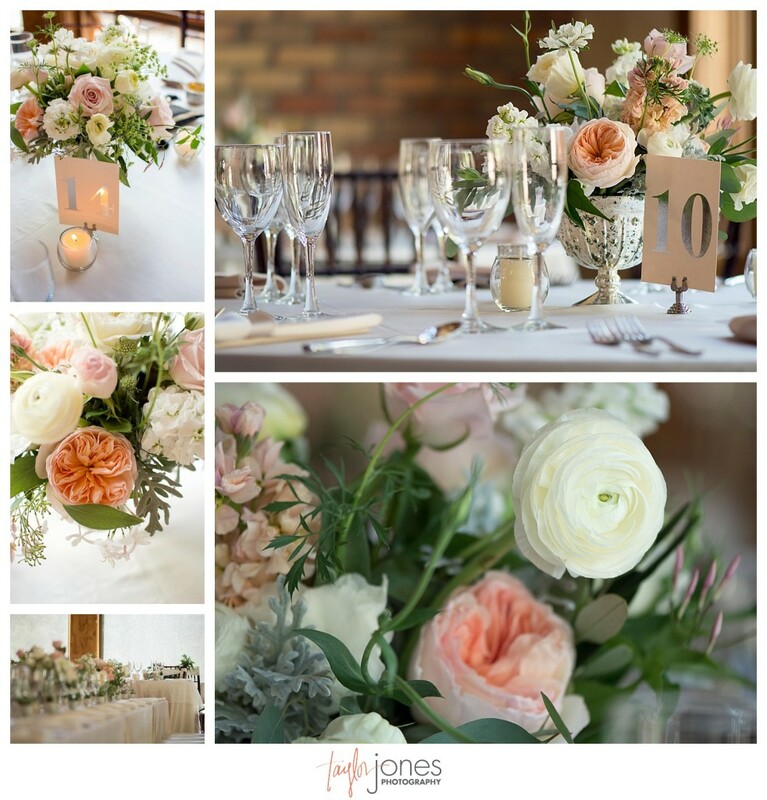 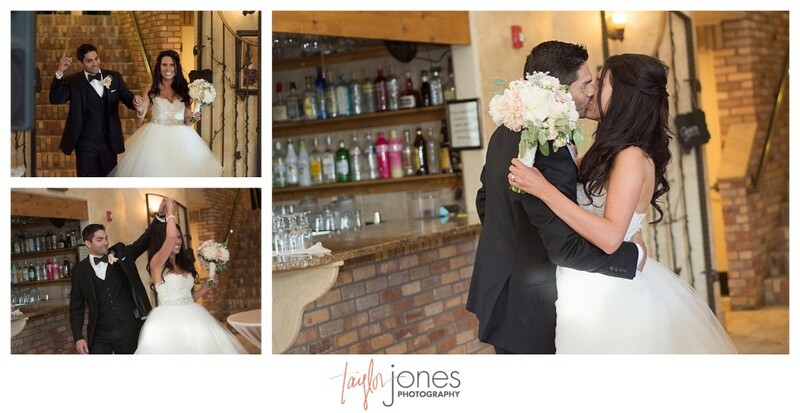 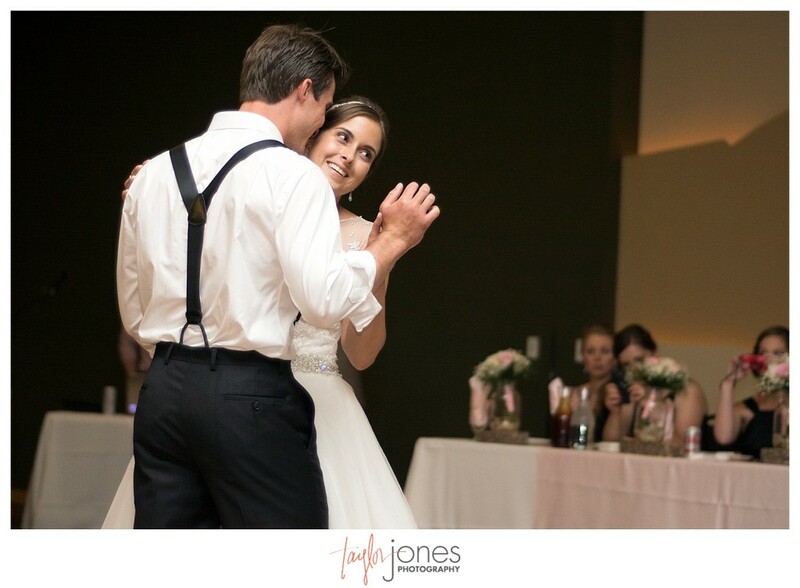 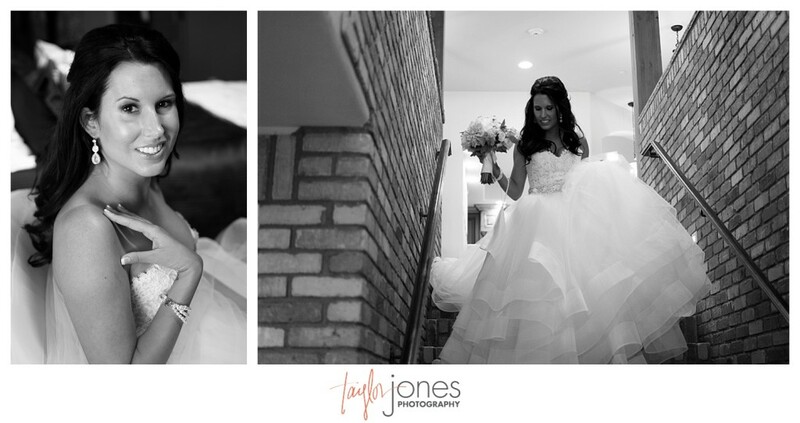 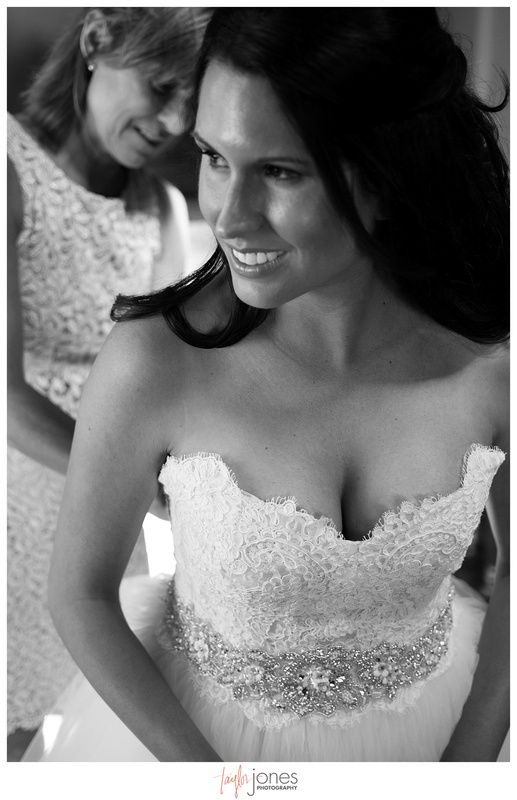 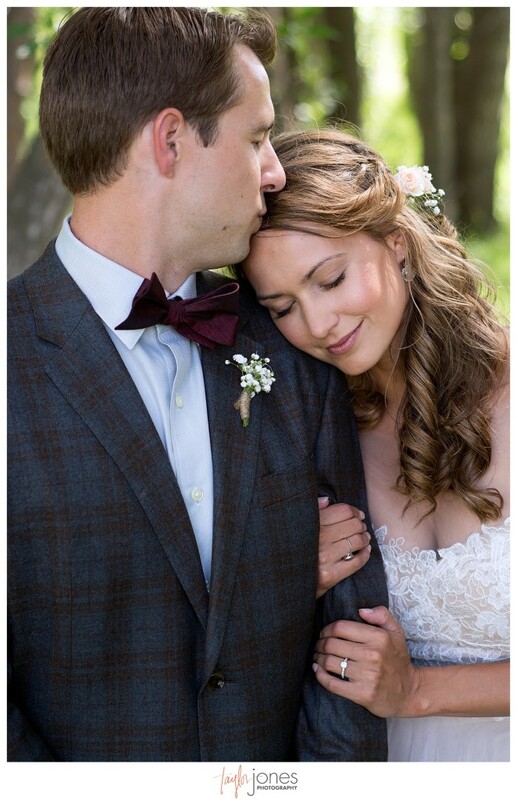 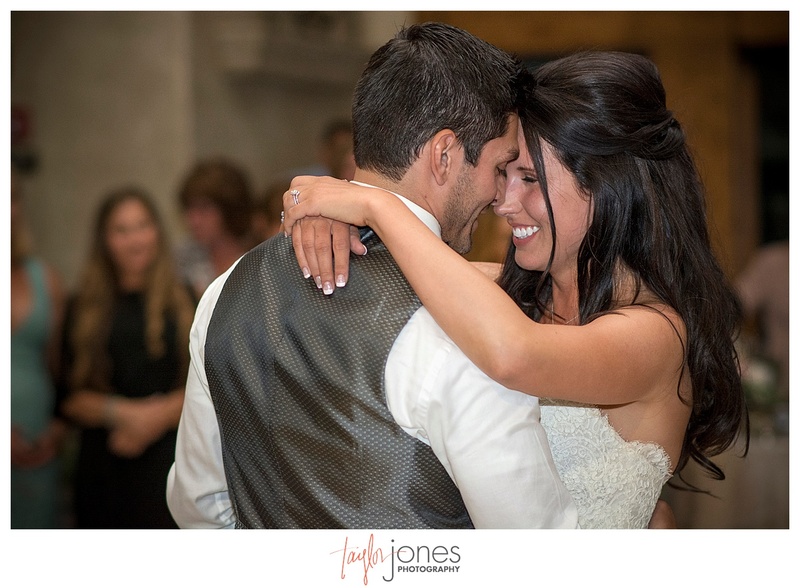 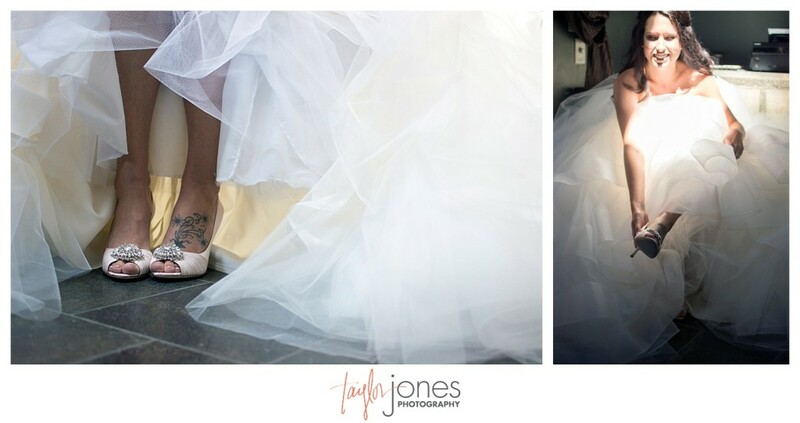 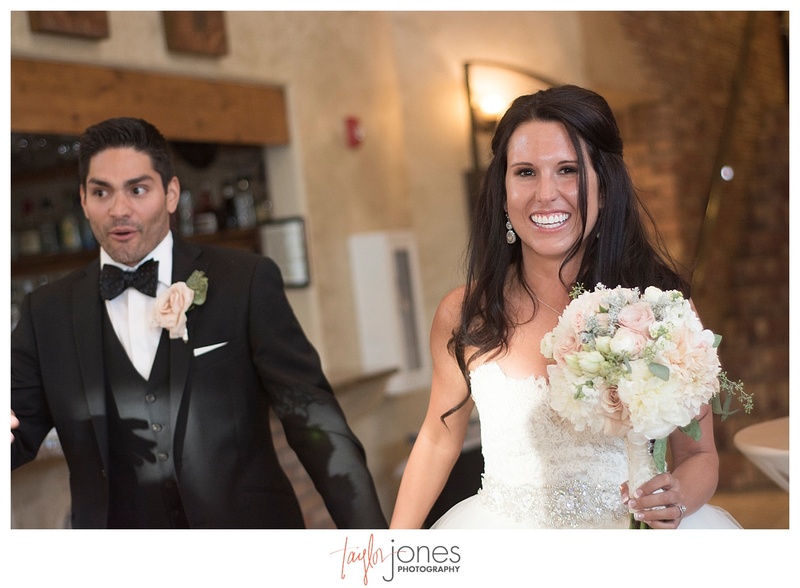 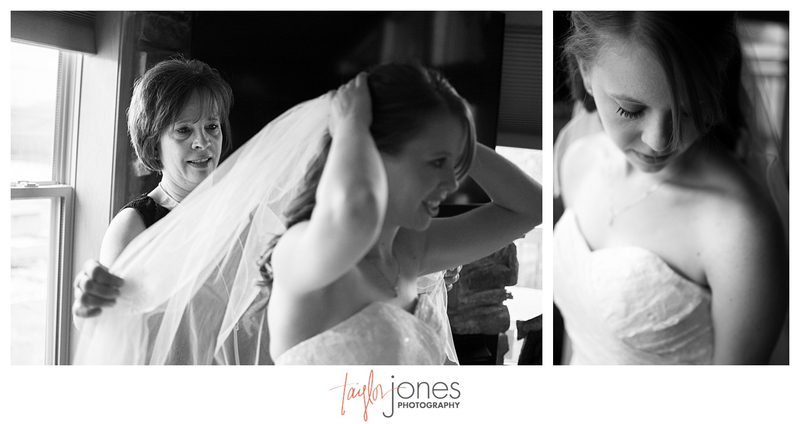 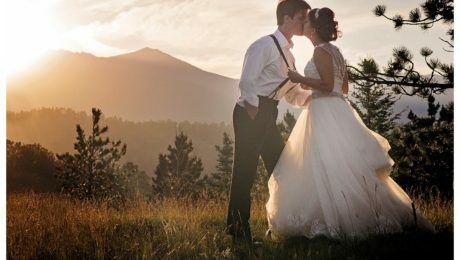 When a wedding day is absolutely flawless, it’s hard not to be on Cloud 9 all day long. 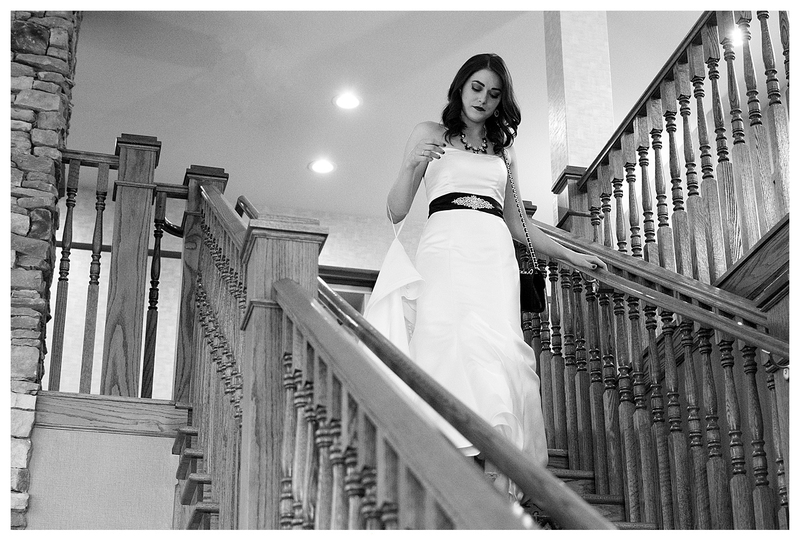 Crystal was flawless. 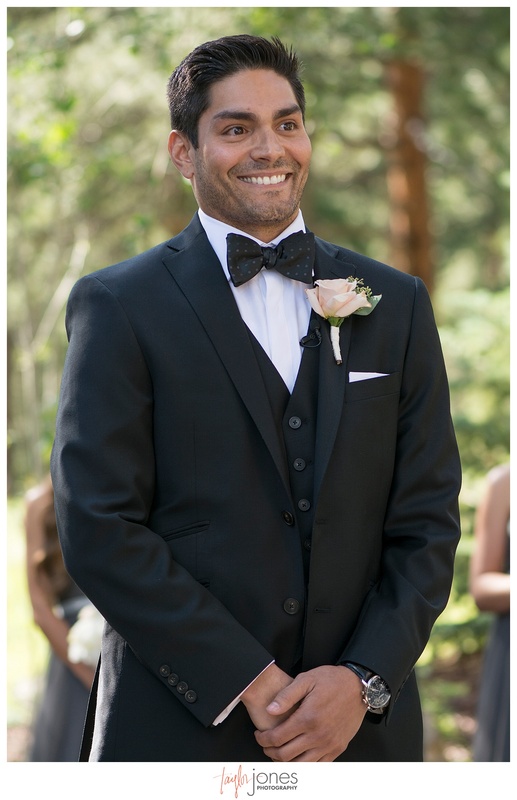 Rob was flawless. The weather was (unexpectedly) flawless. 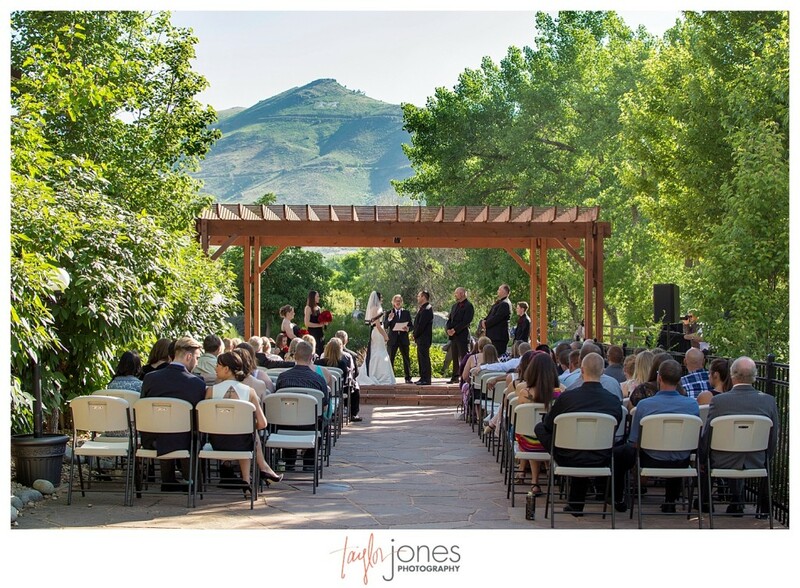 The venue was flawless. 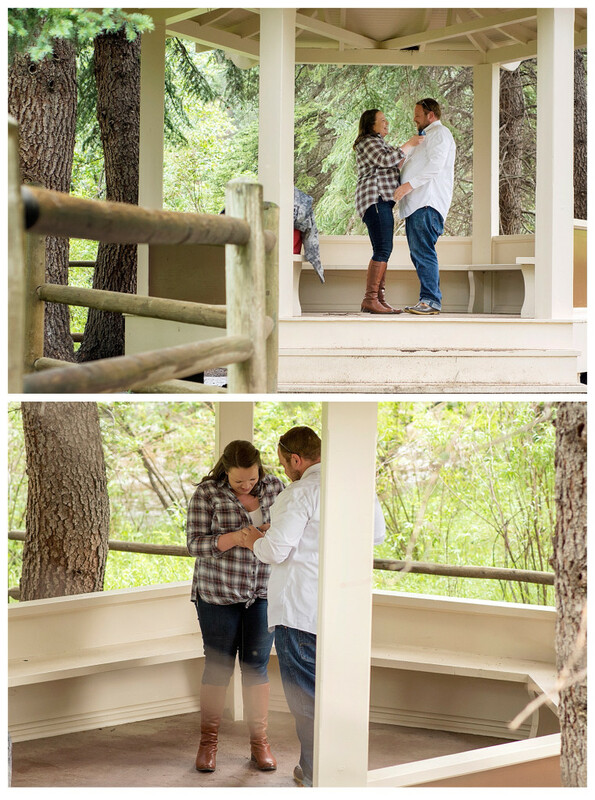 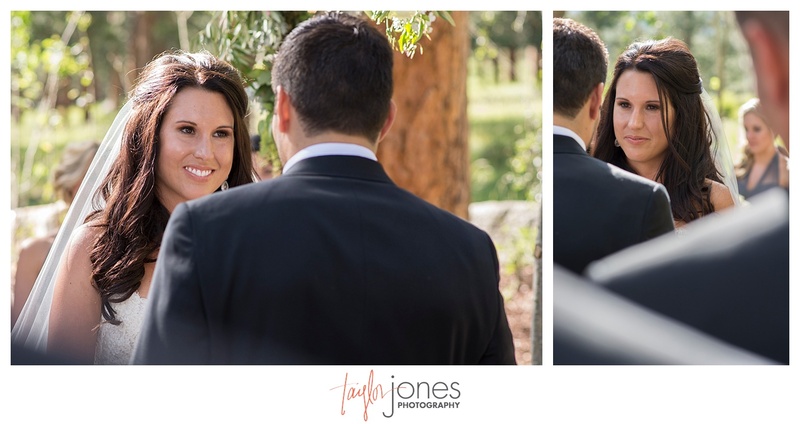 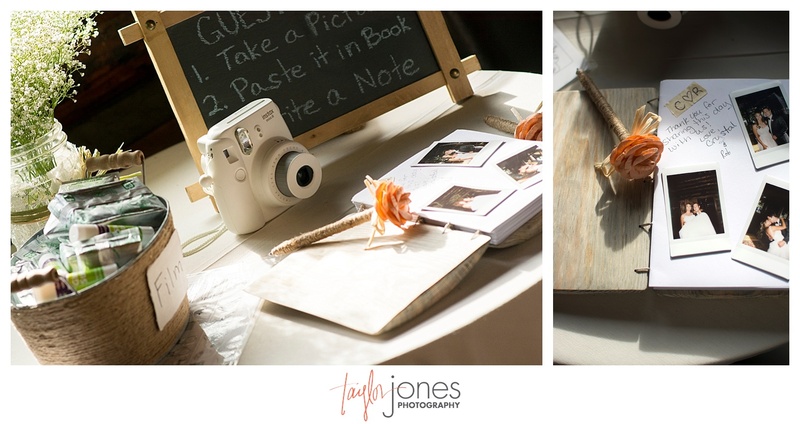 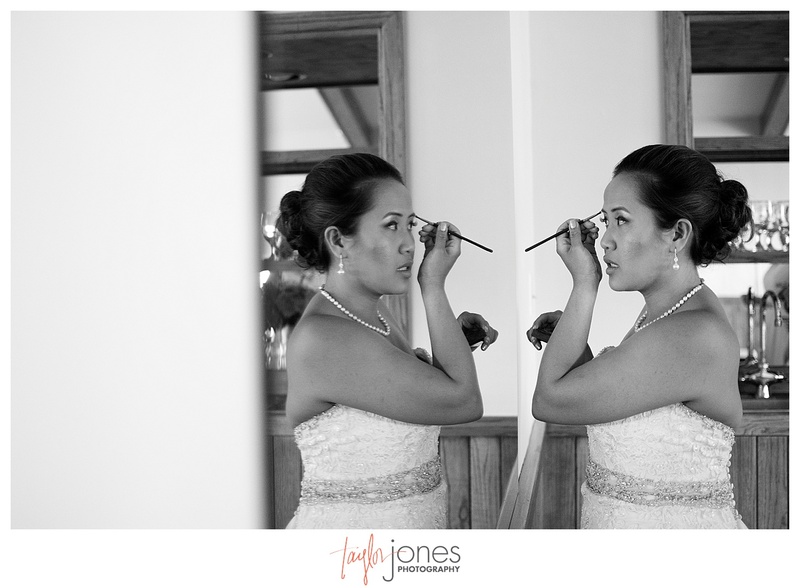 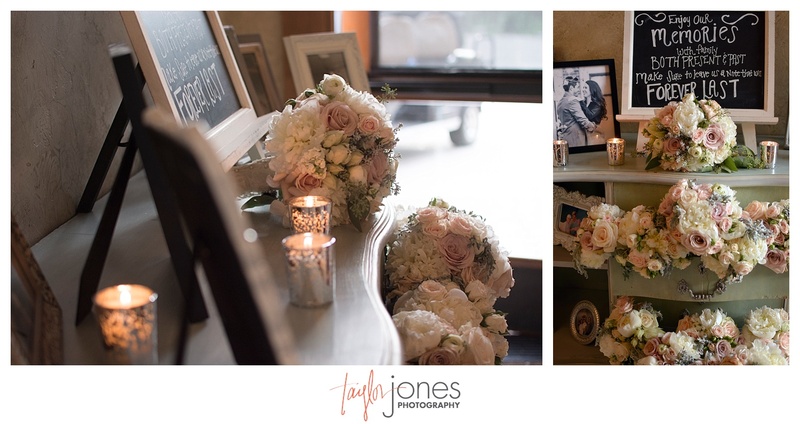 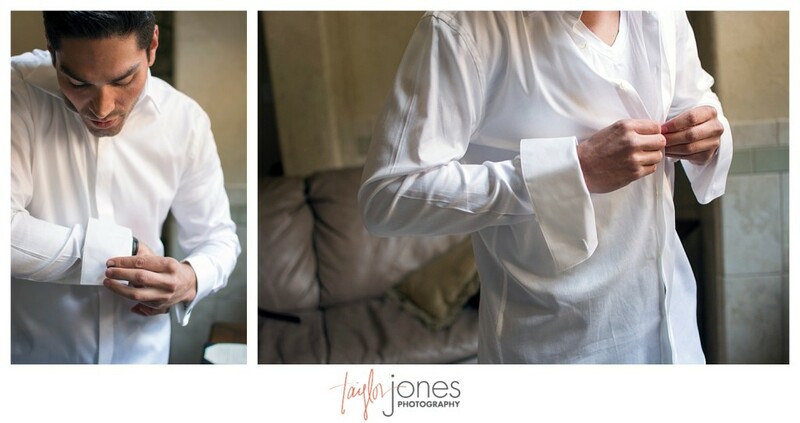 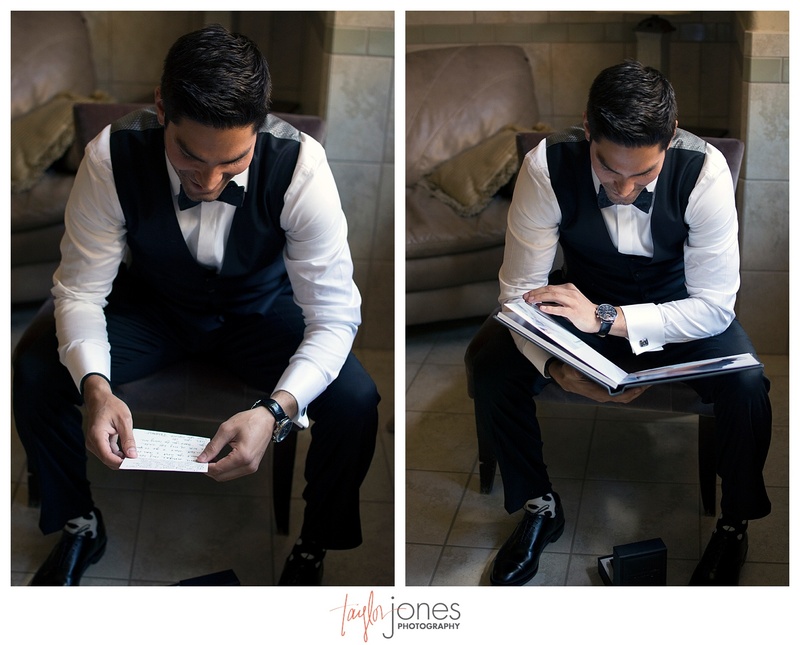 The schedule was flawless (there’s my photographer coming out!) 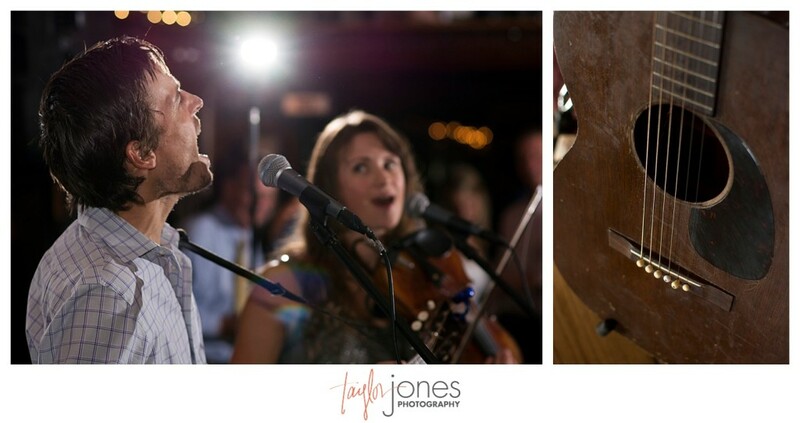 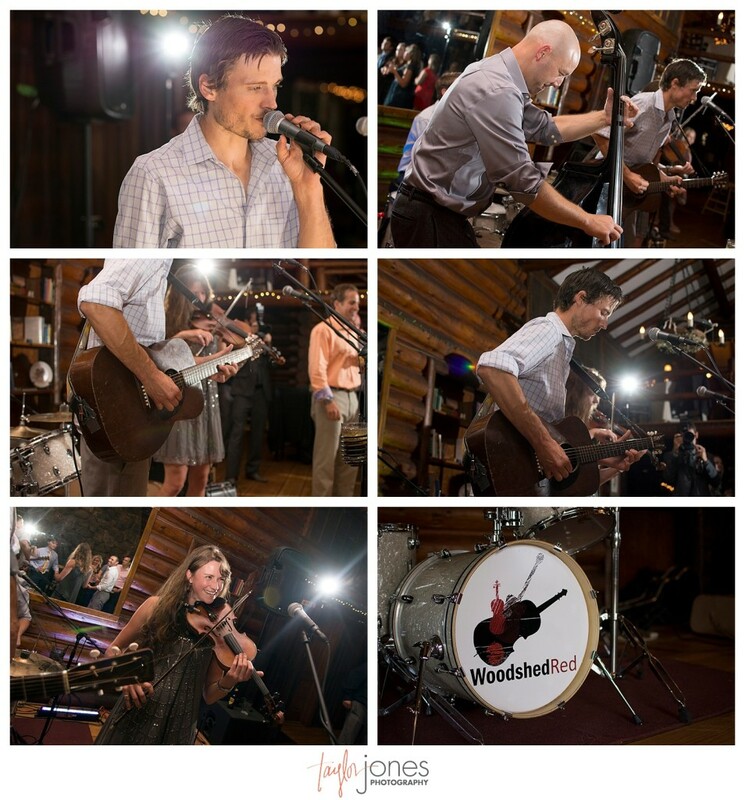 The band flawlessly rocked everyone’s faces off all night. 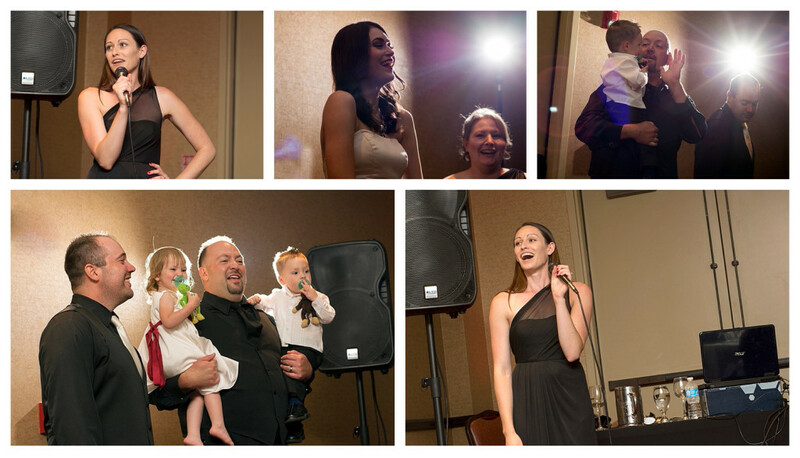 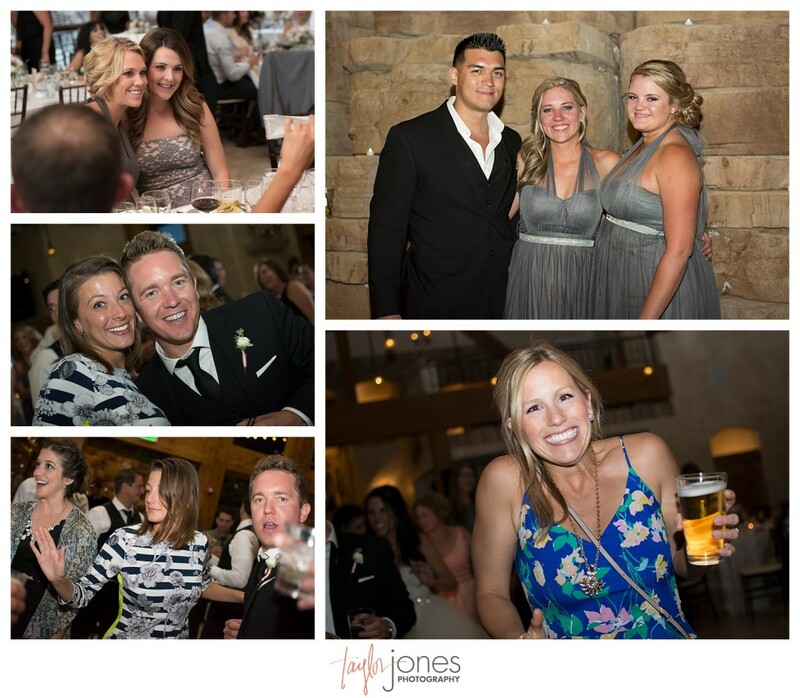 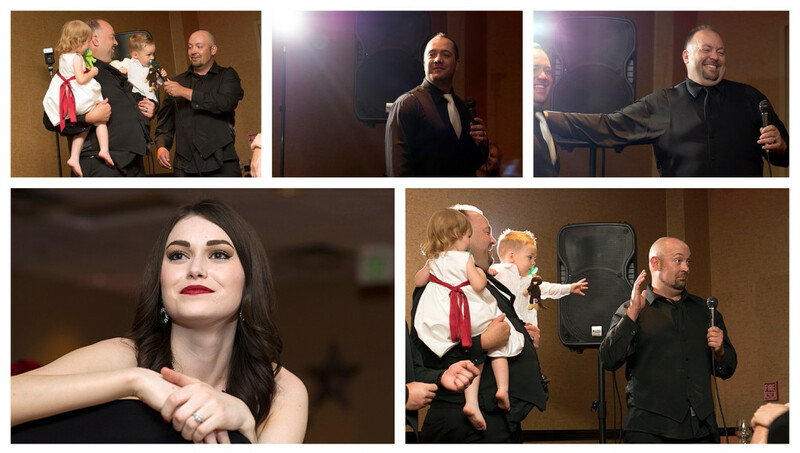 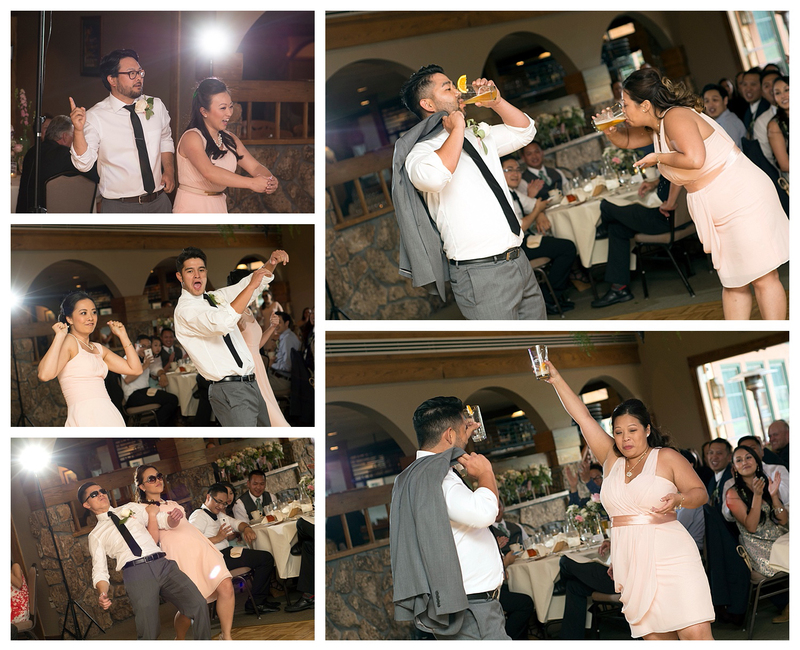 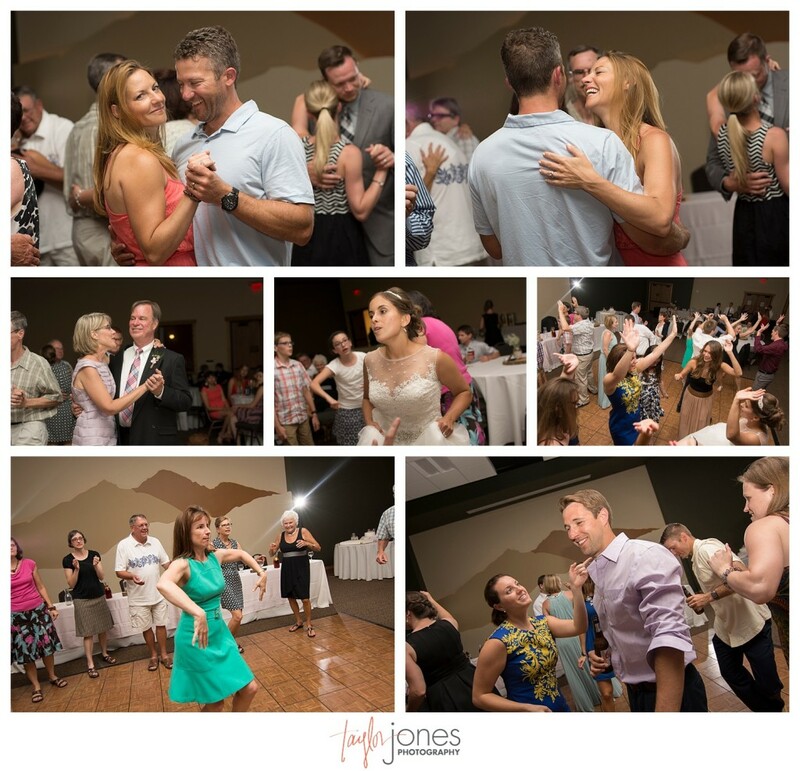 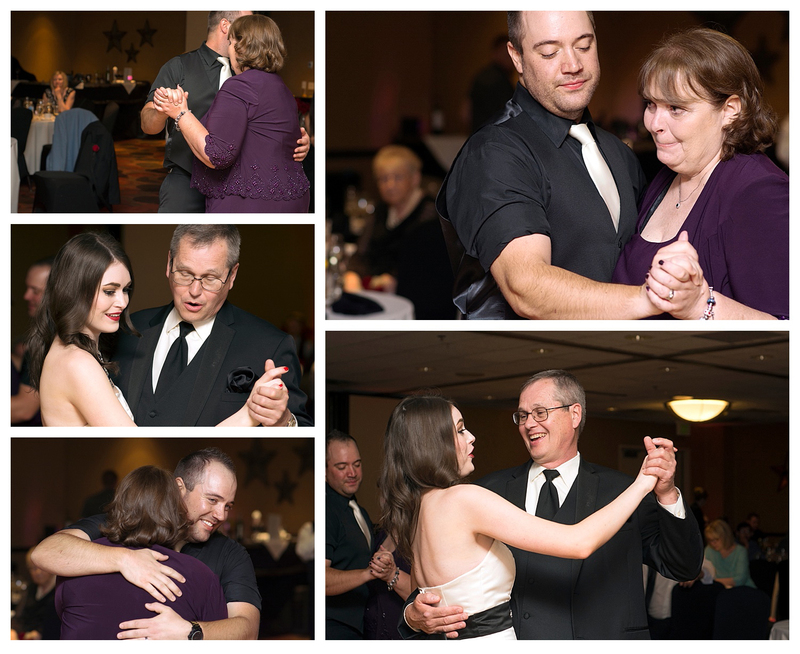 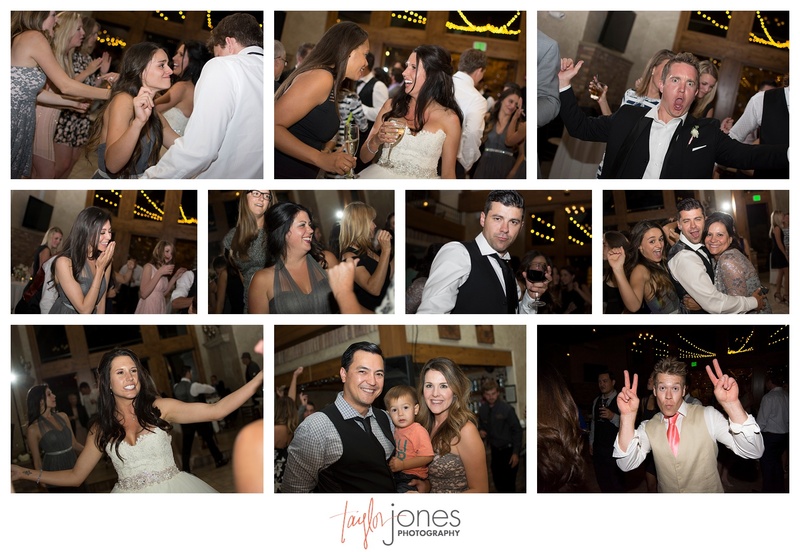 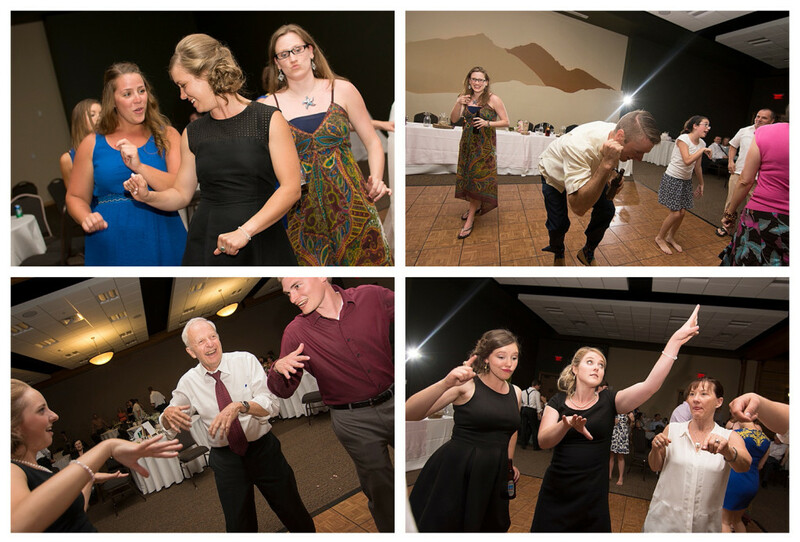 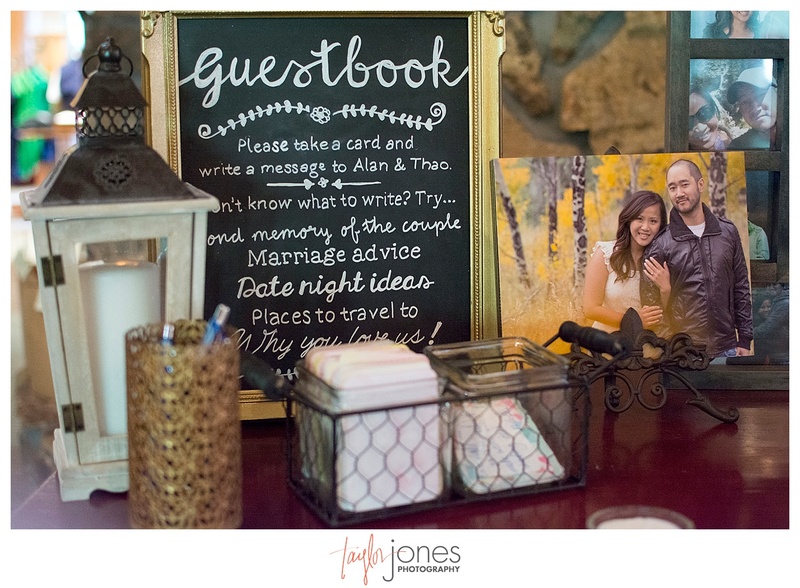 The guests were…well, you get it! 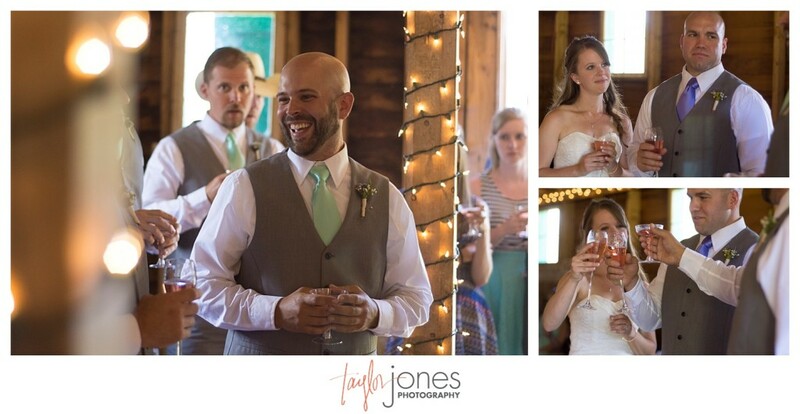 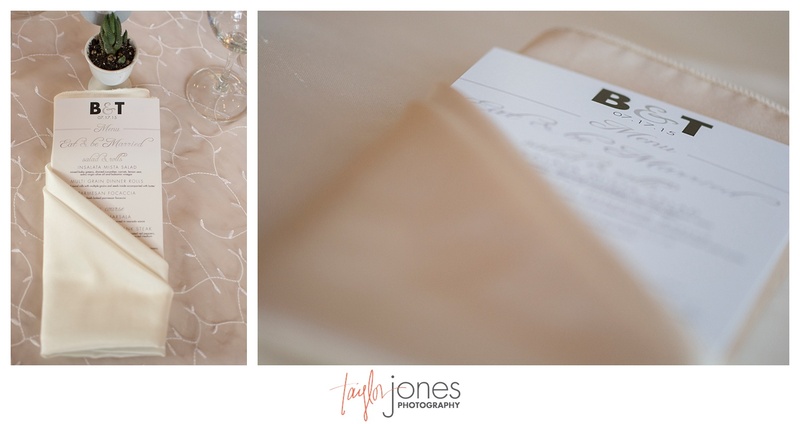 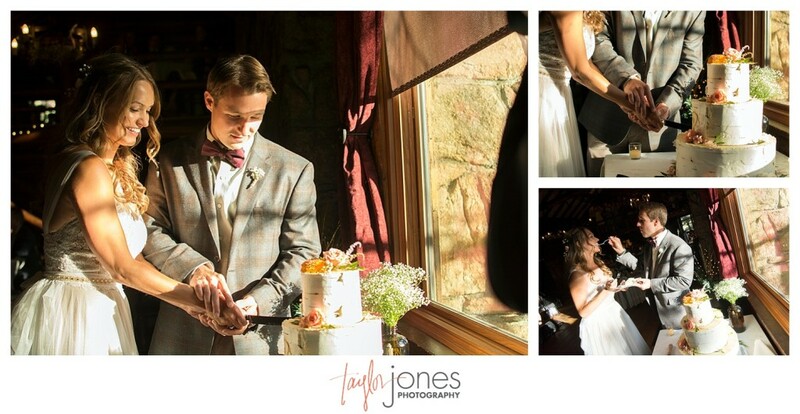 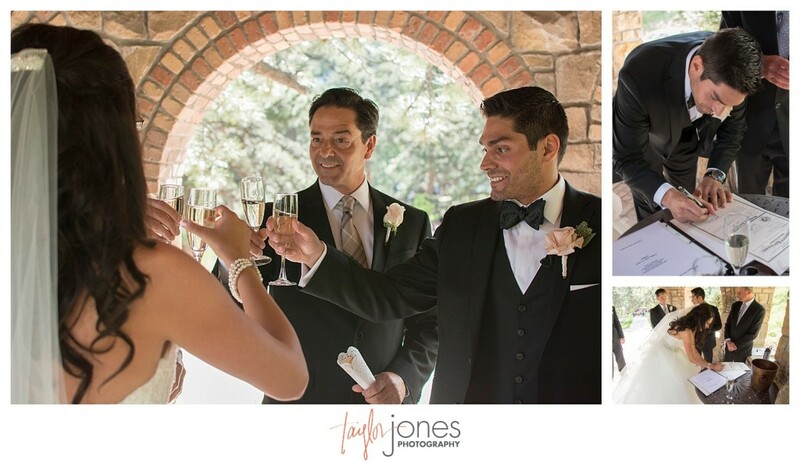 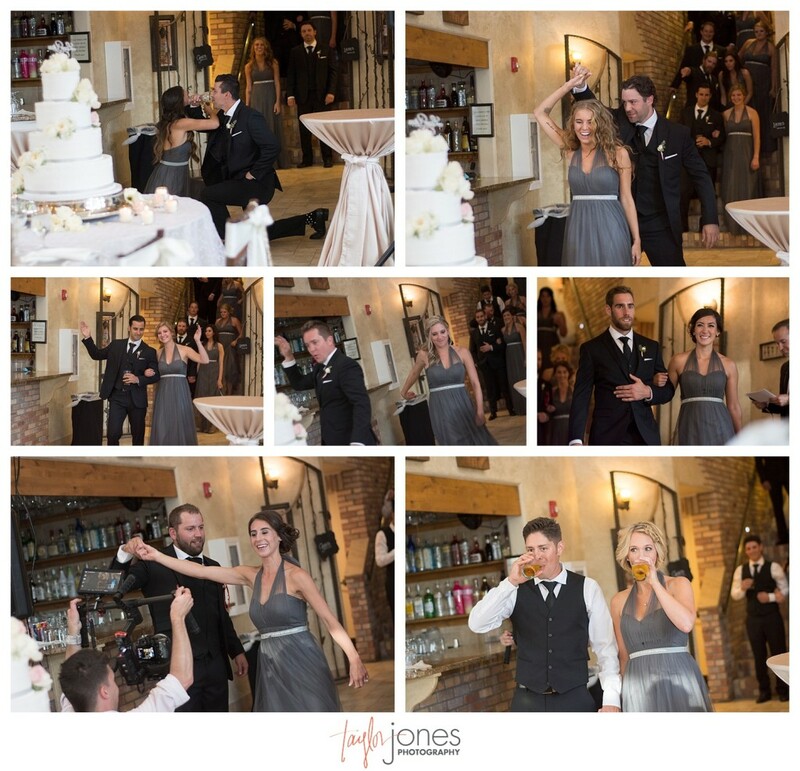 They even had time to toast each other over a glass of champagne at their first look! 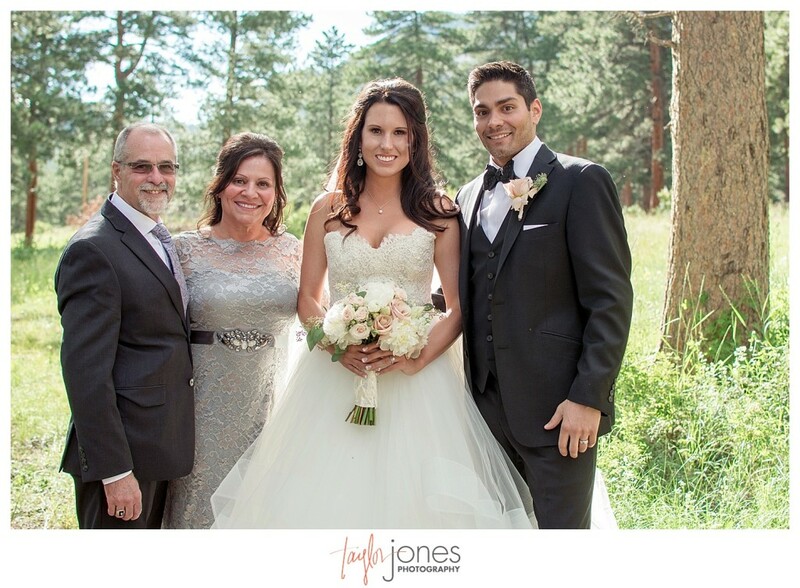 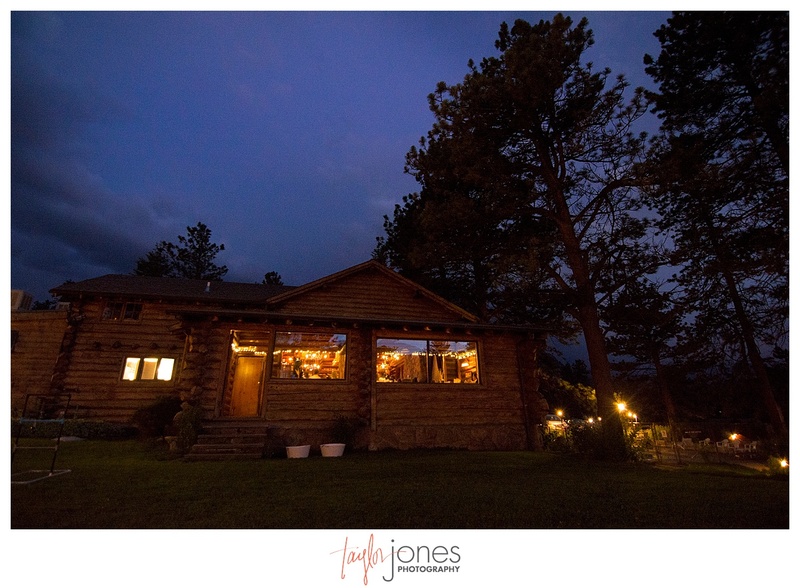 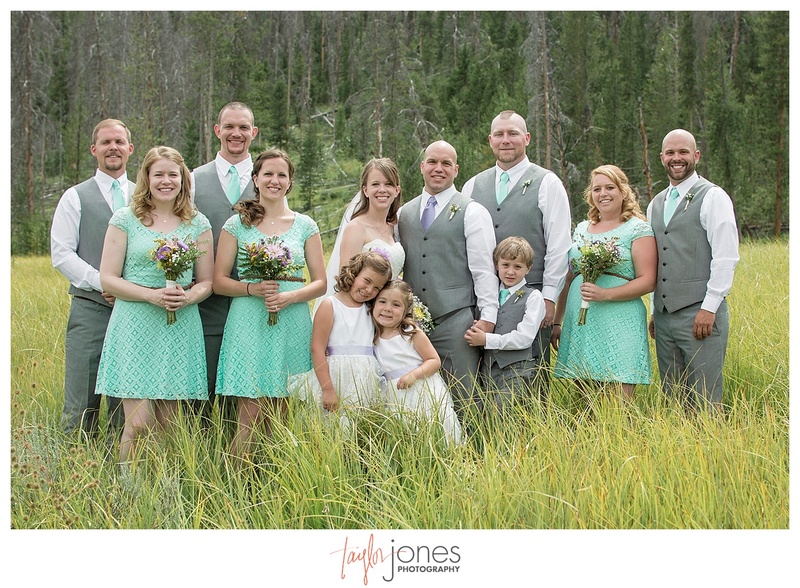 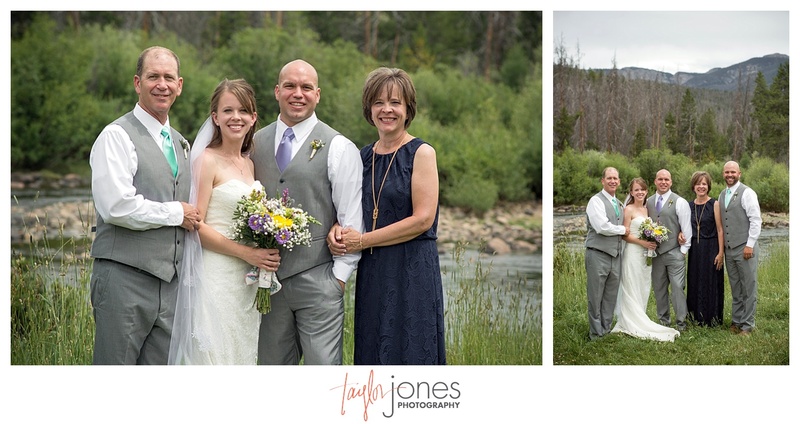 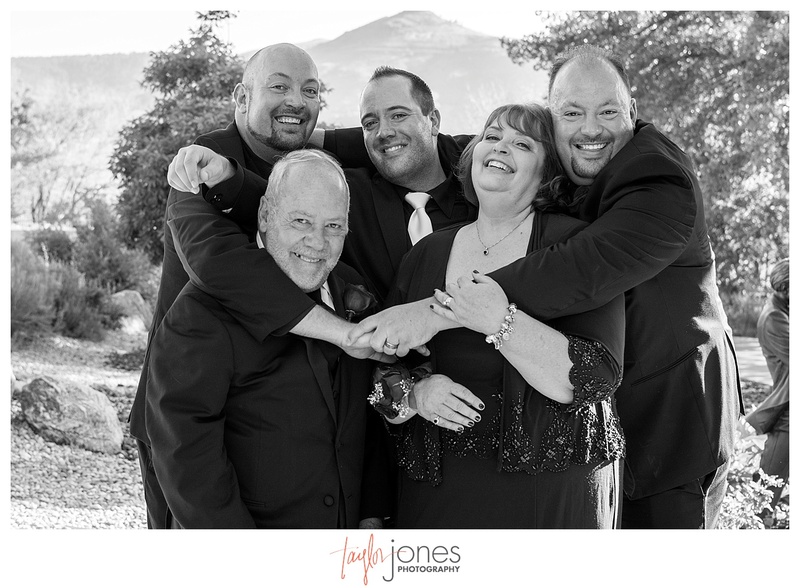 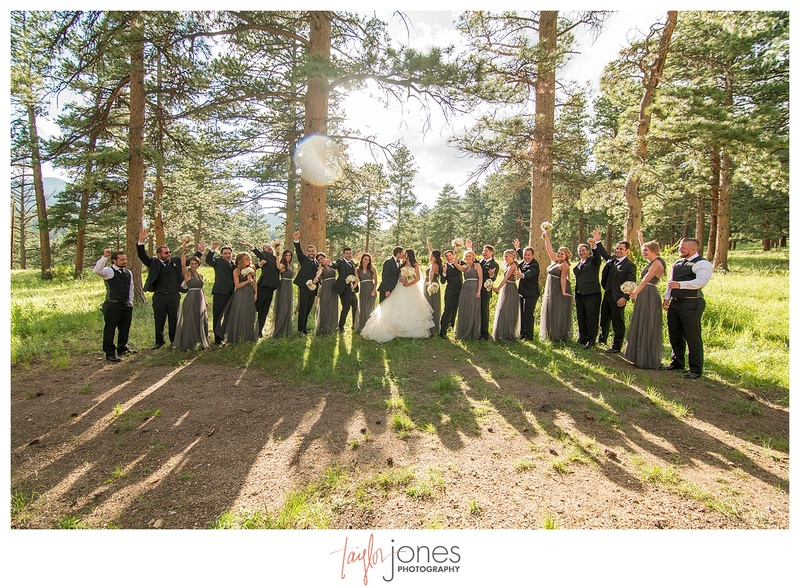 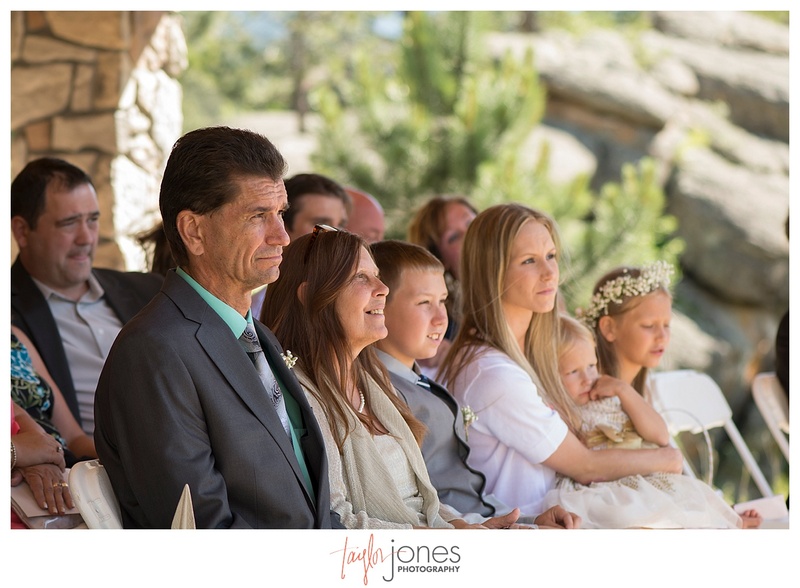 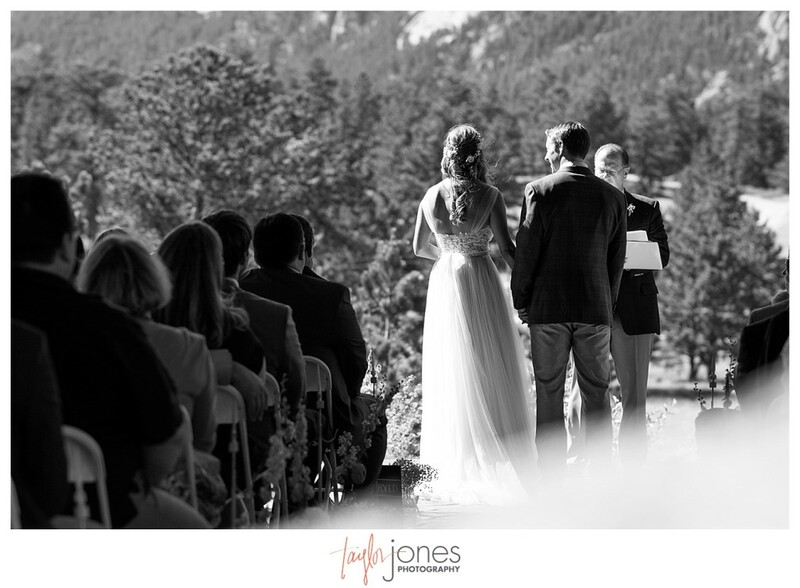 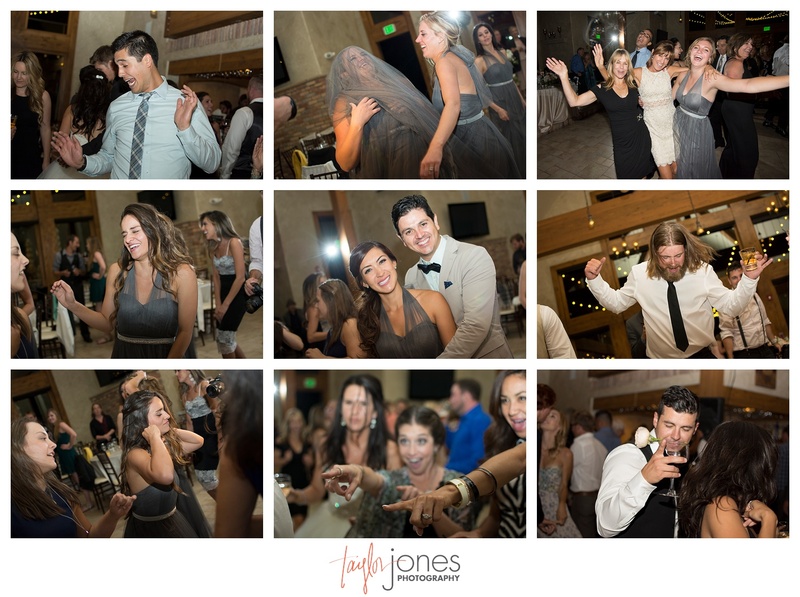 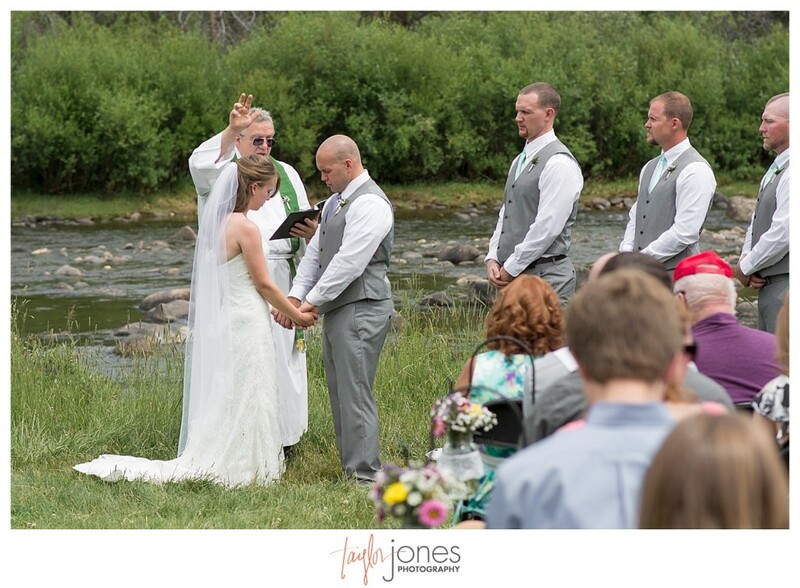 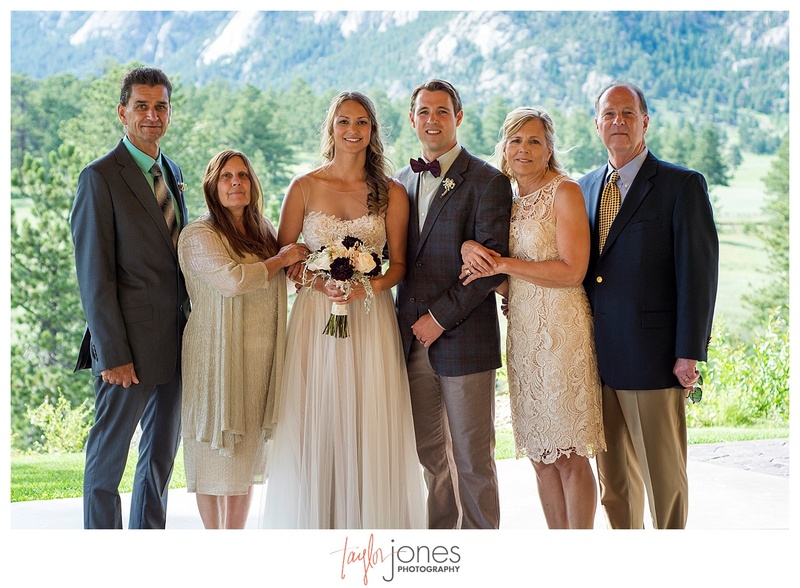 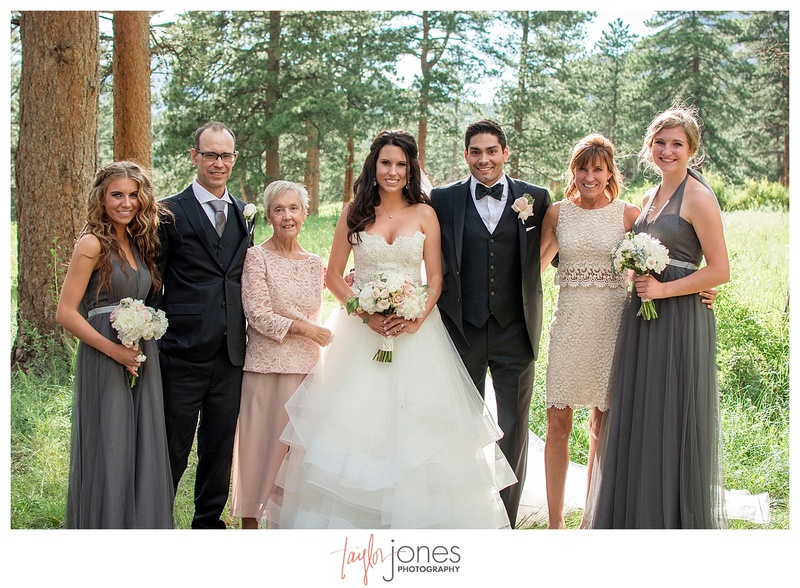 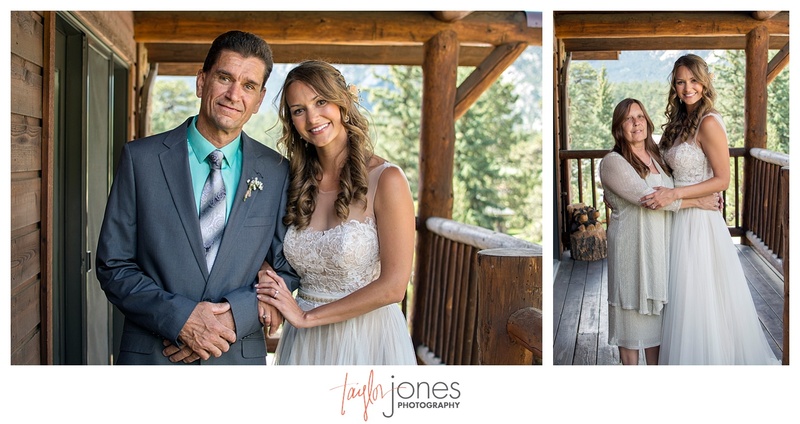 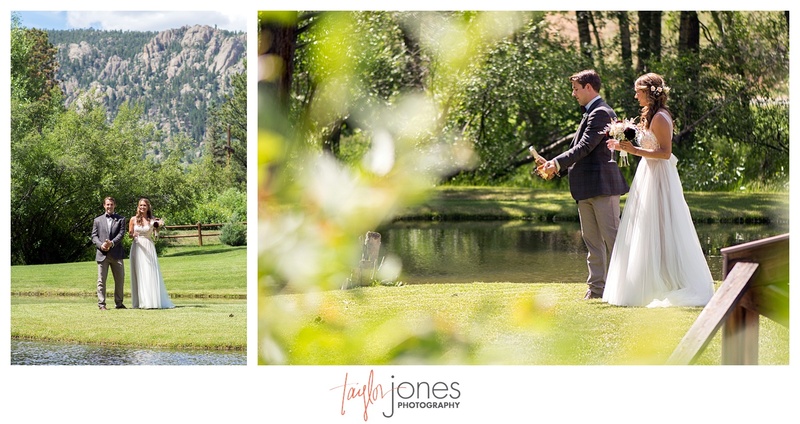 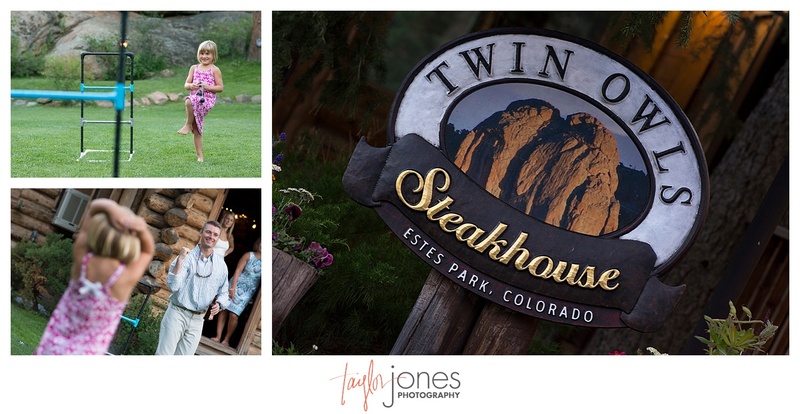 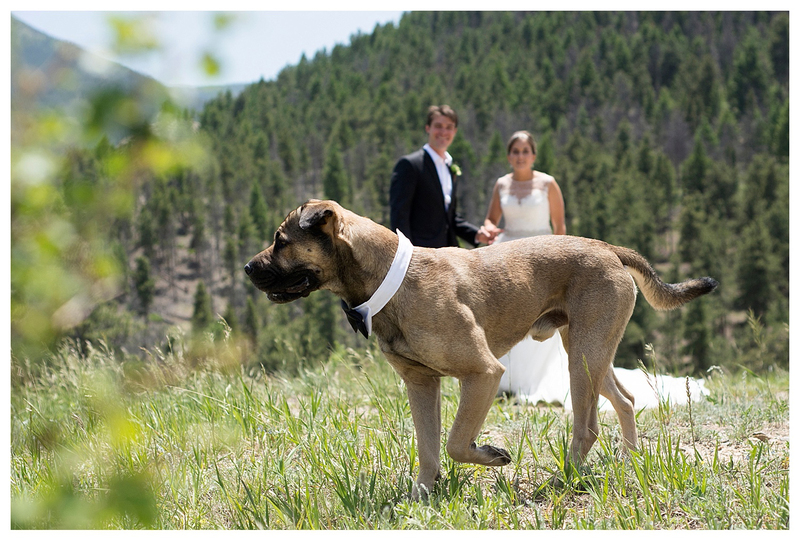 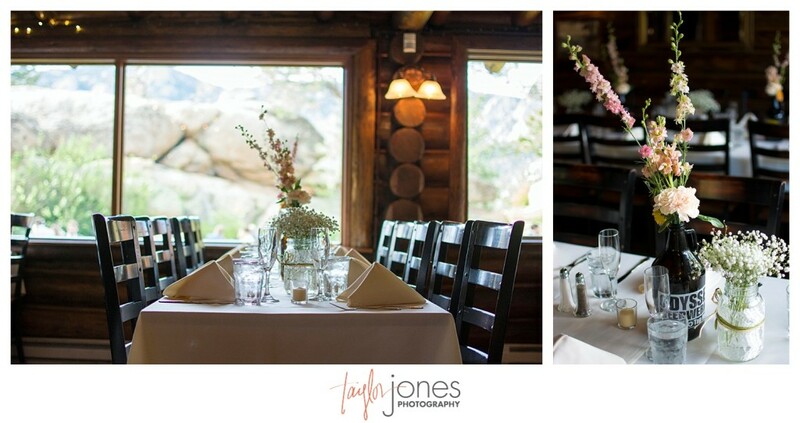 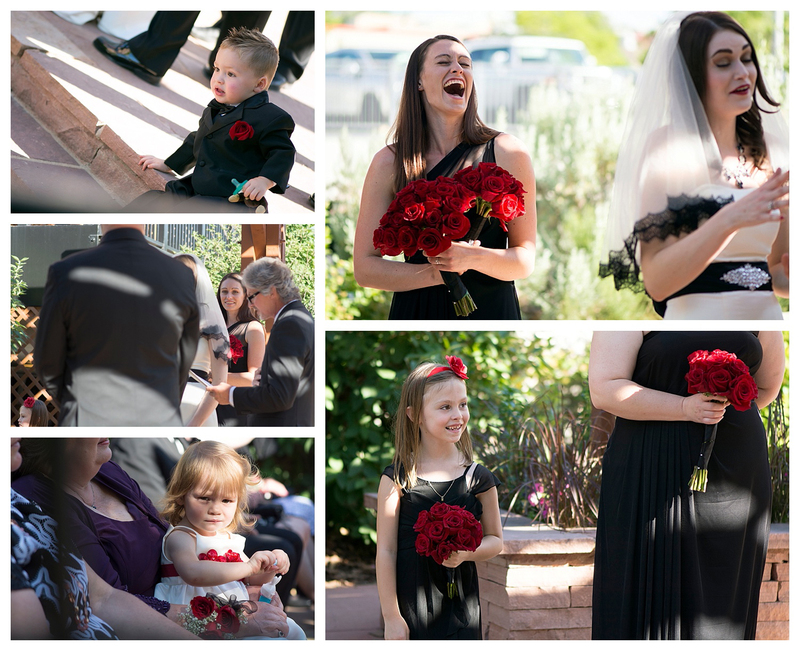 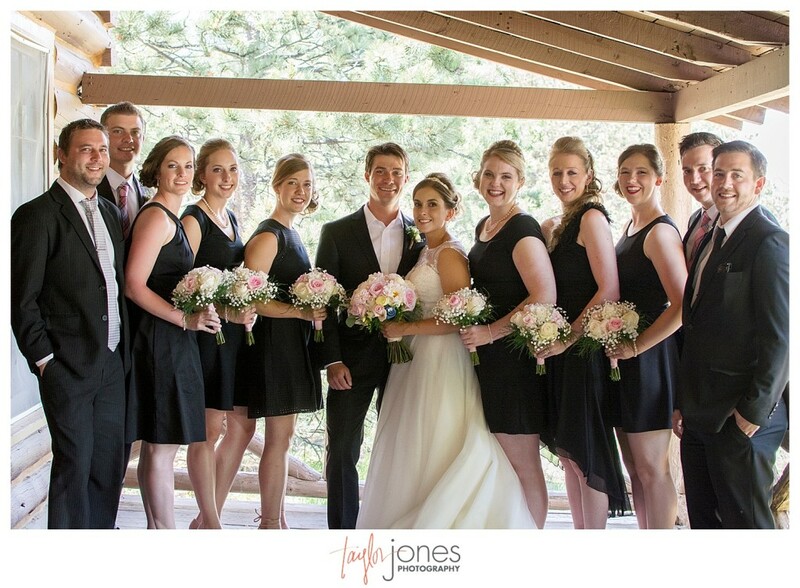 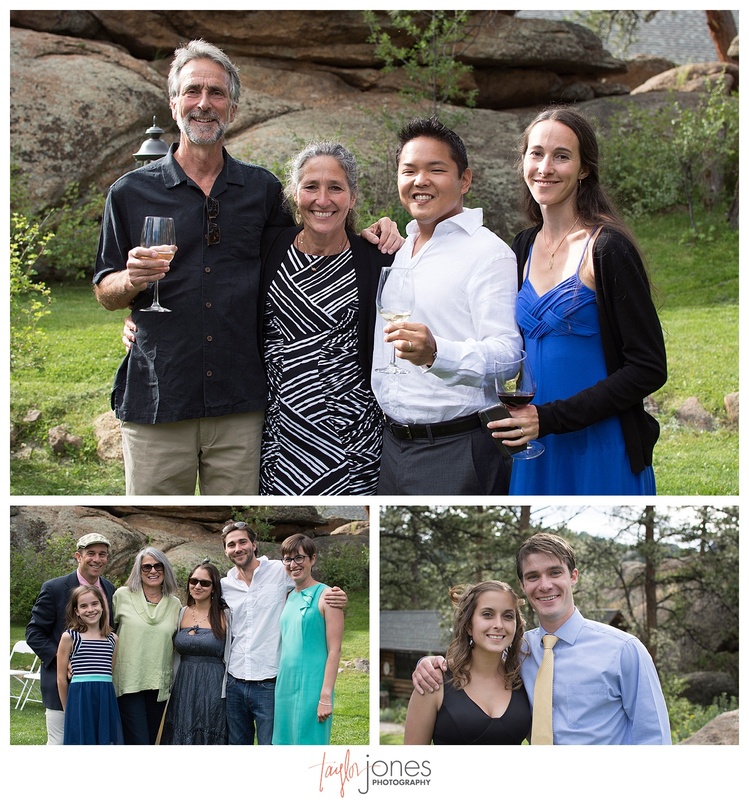 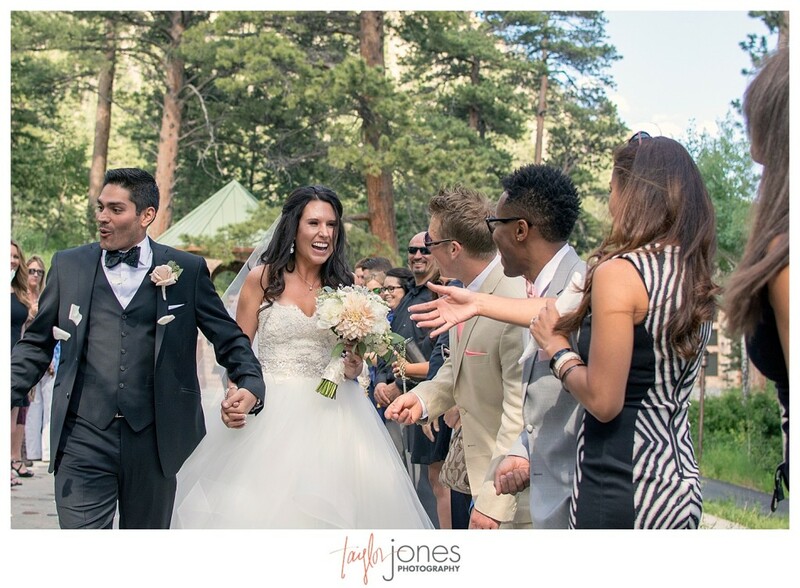 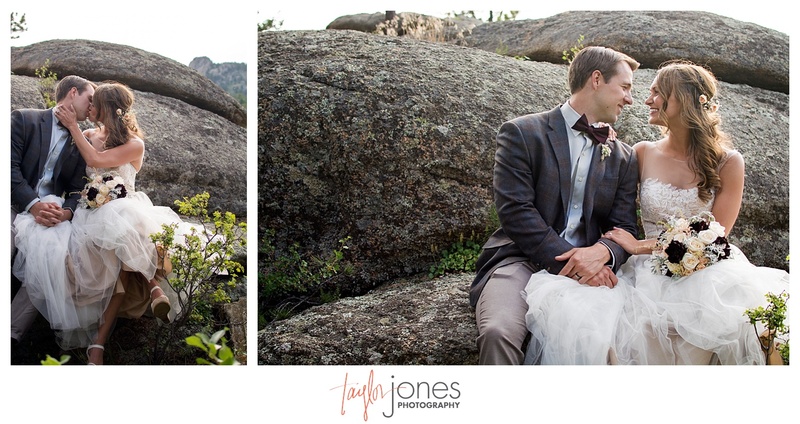 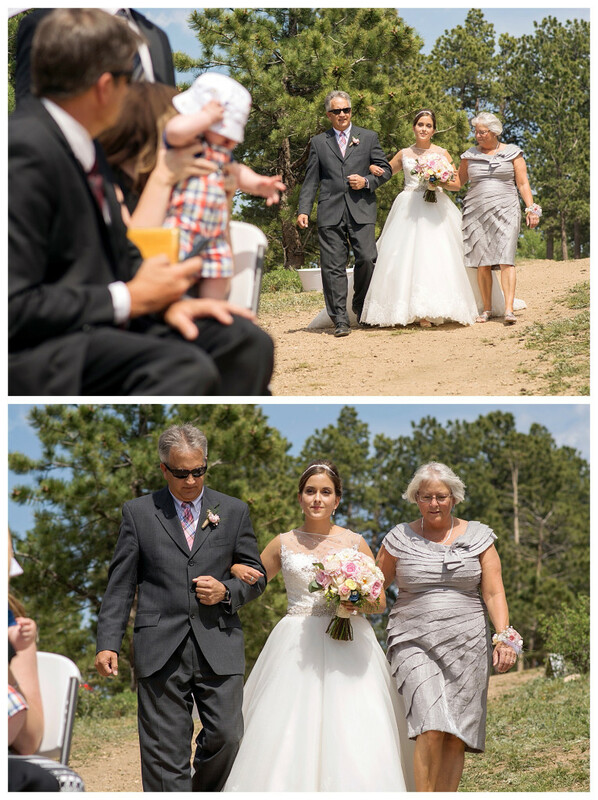 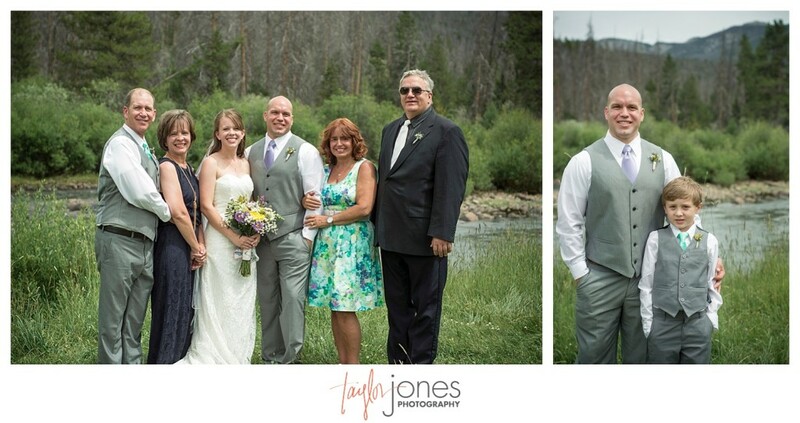 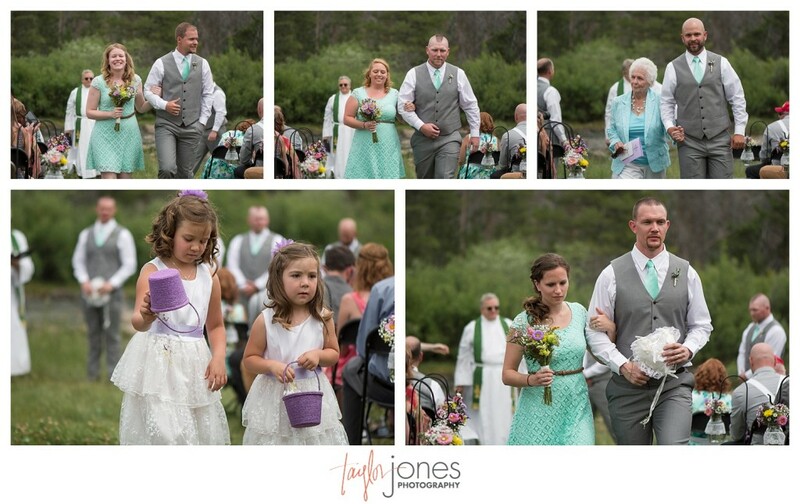 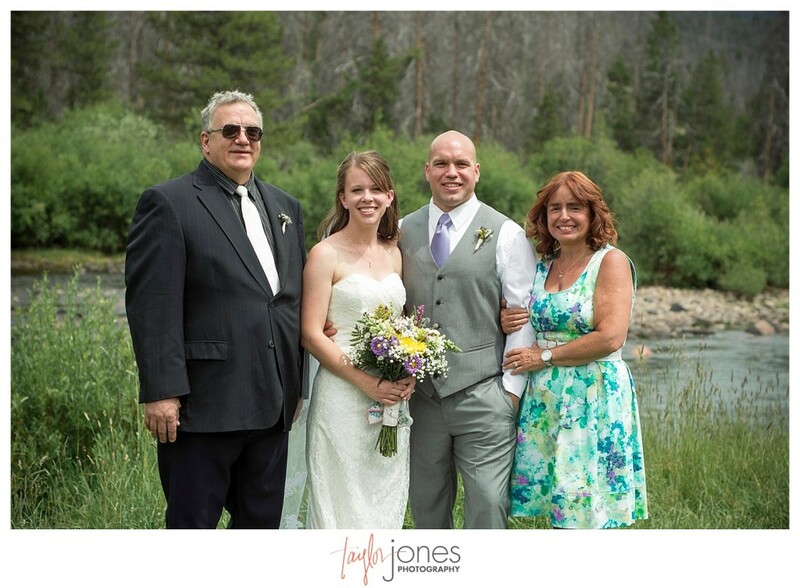 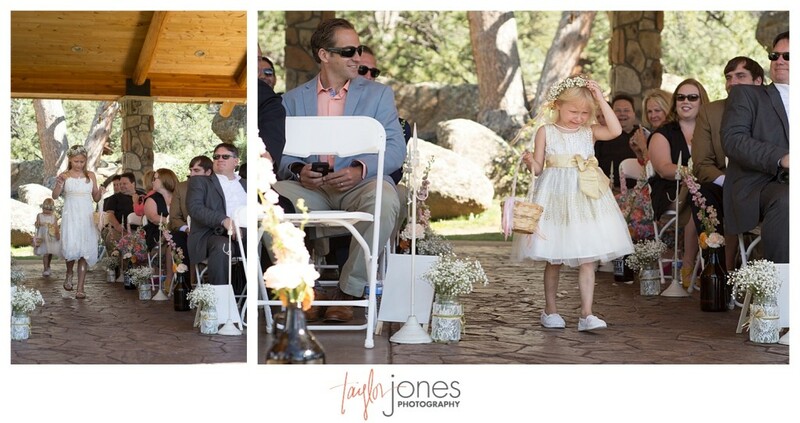 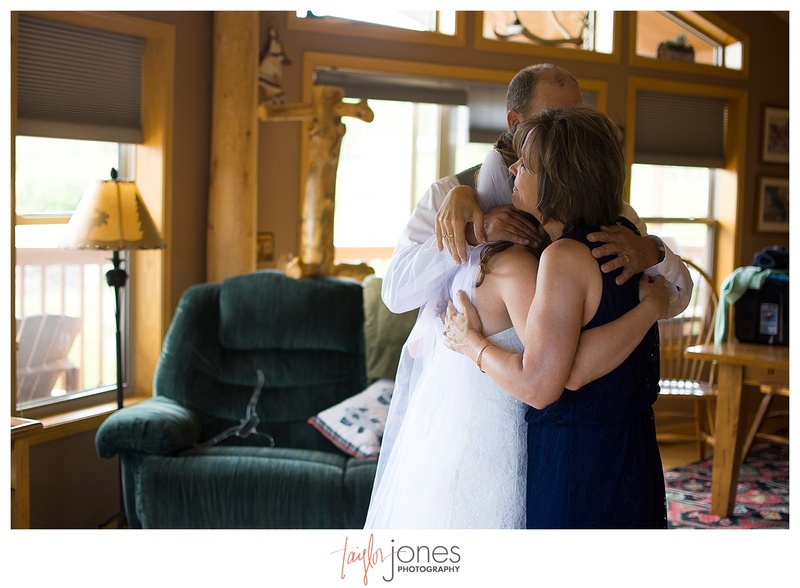 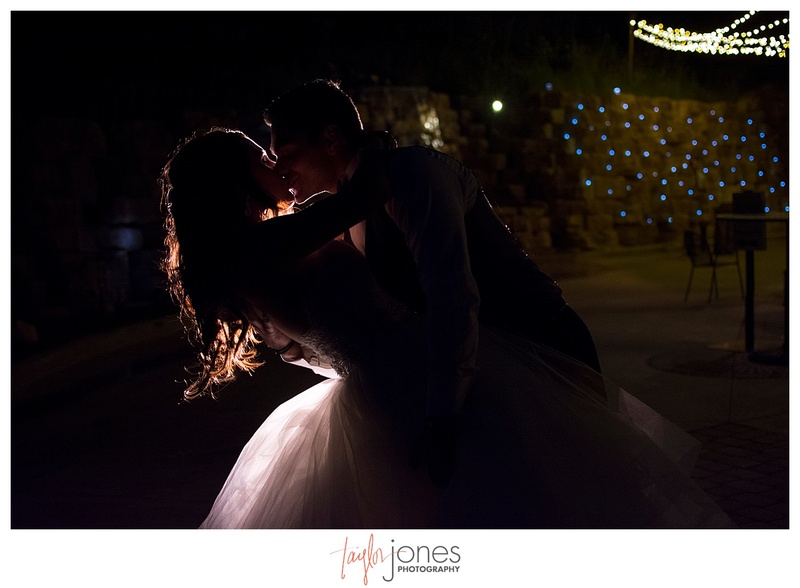 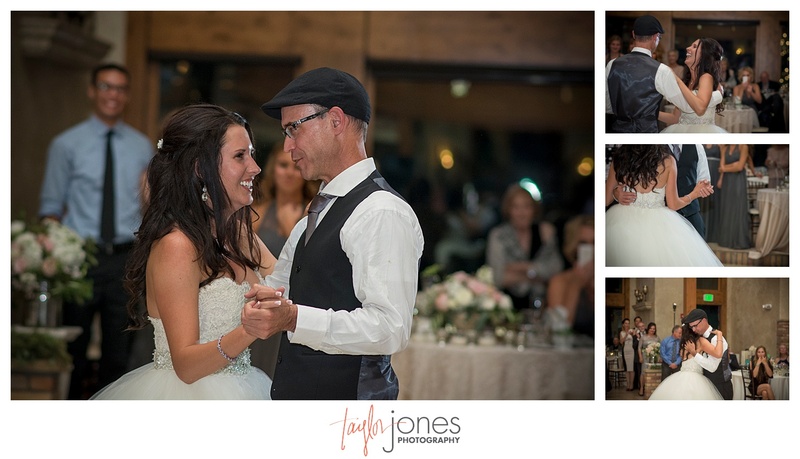 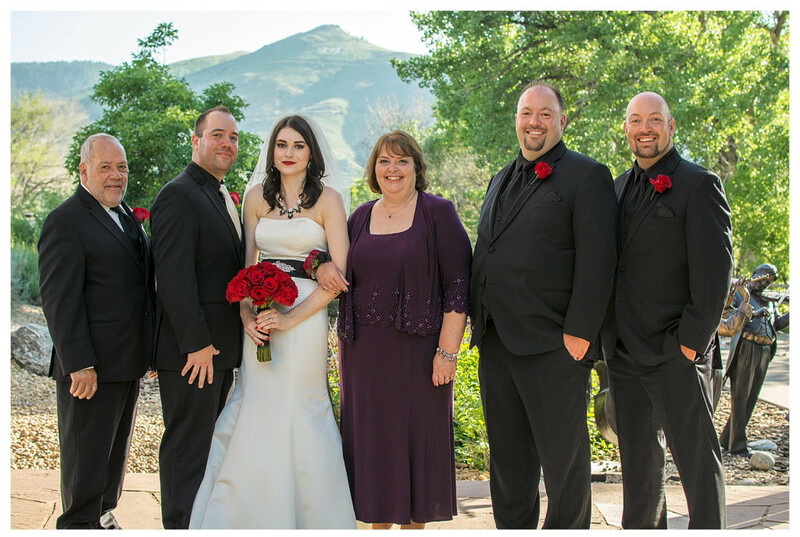 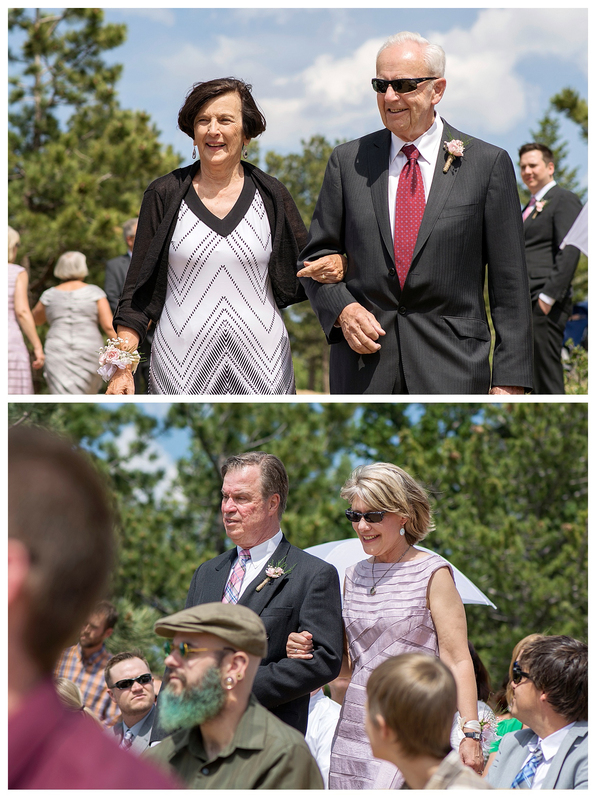 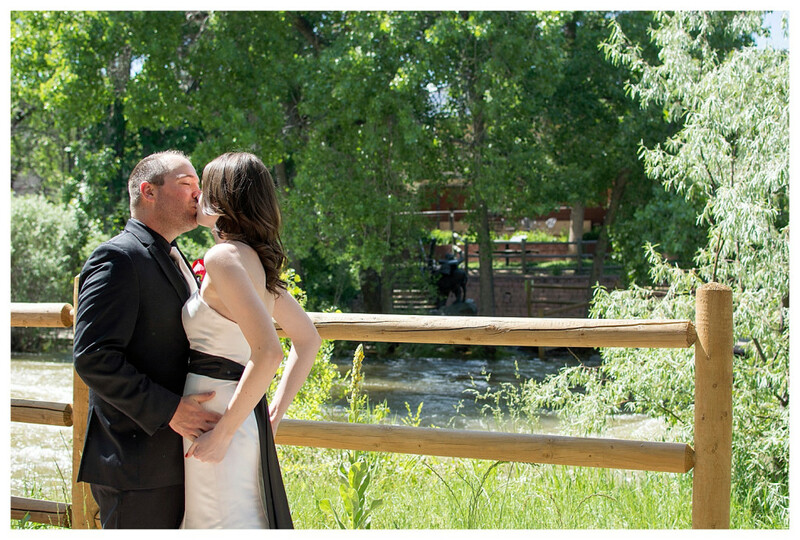 We are so honored we got to be with Crystal and Rob as they said, “We do!” at Black Canyon Inn in Estes Park. 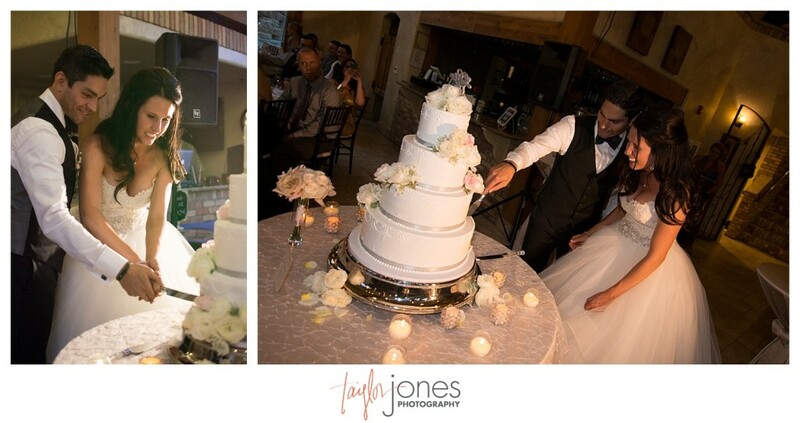 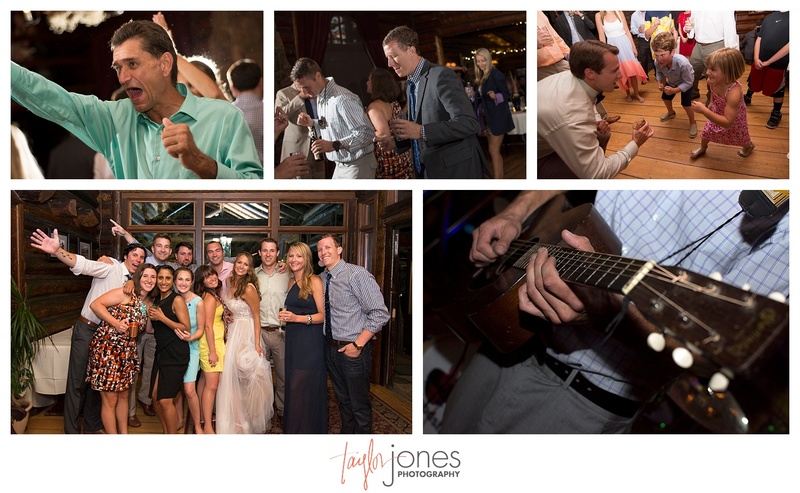 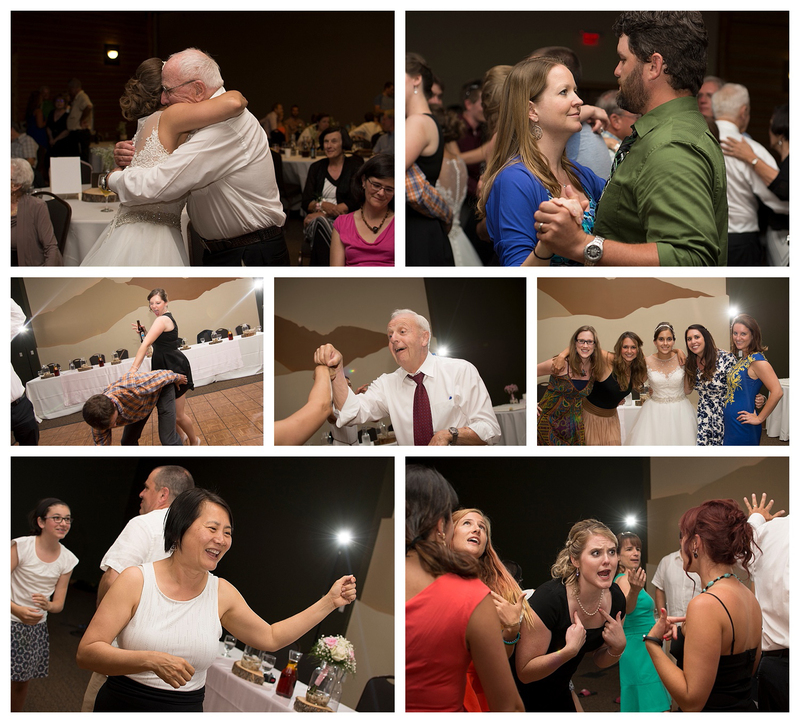 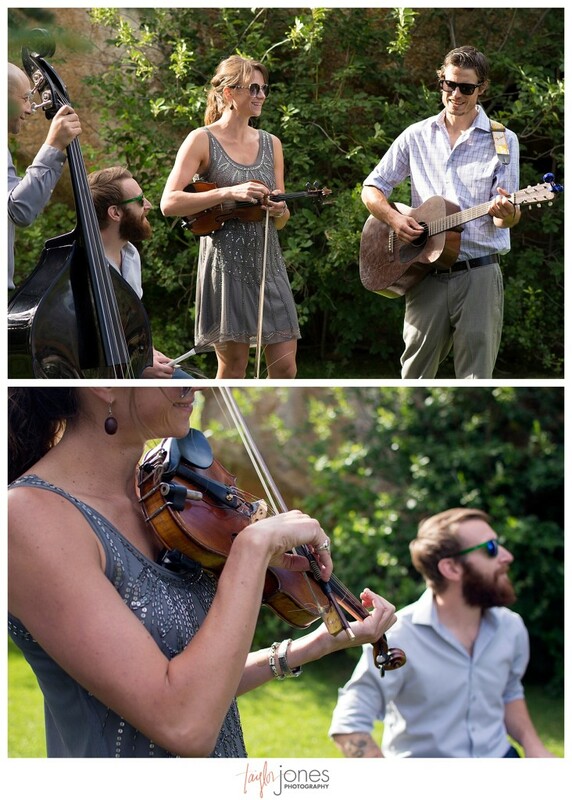 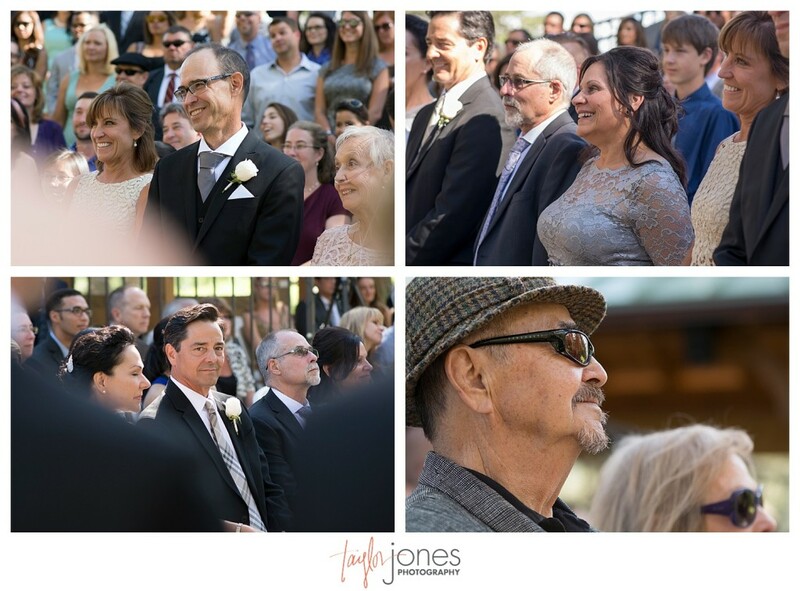 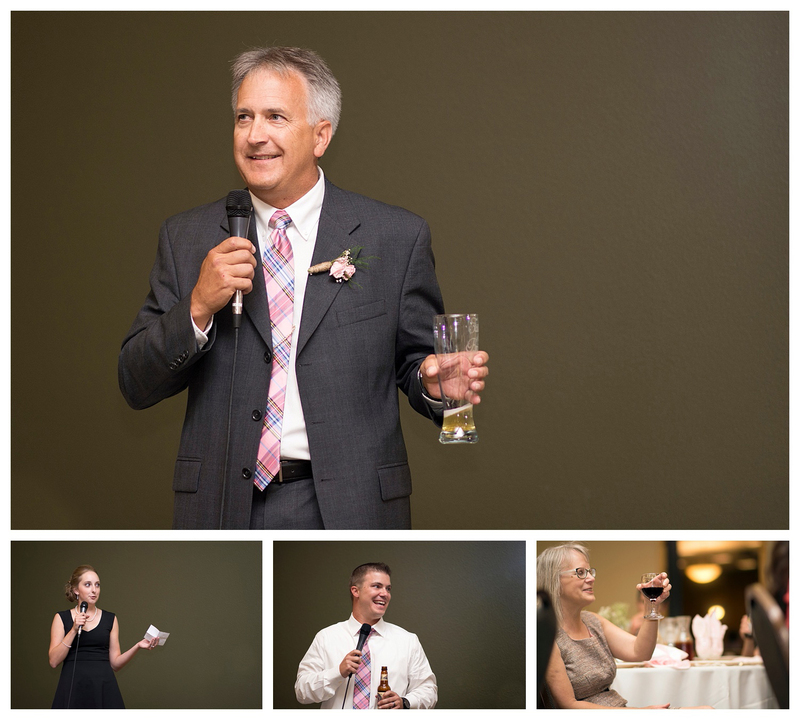 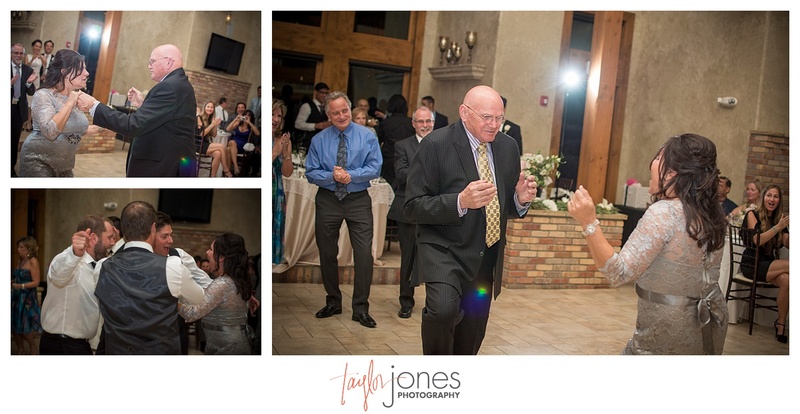 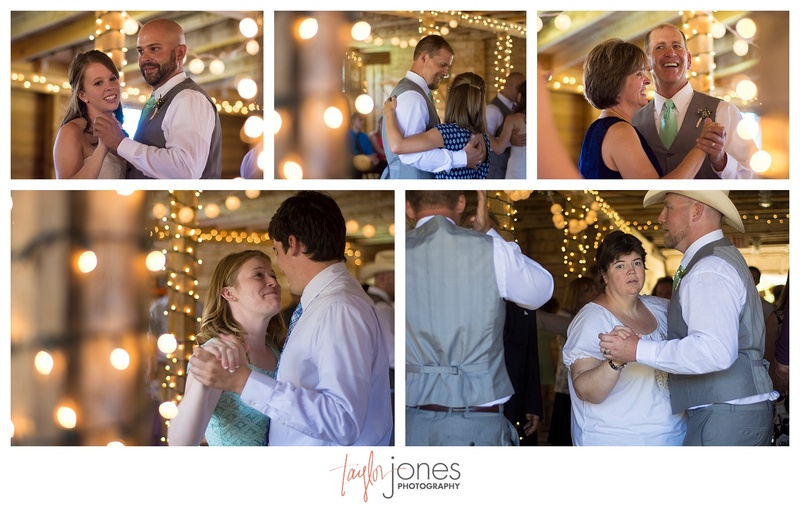 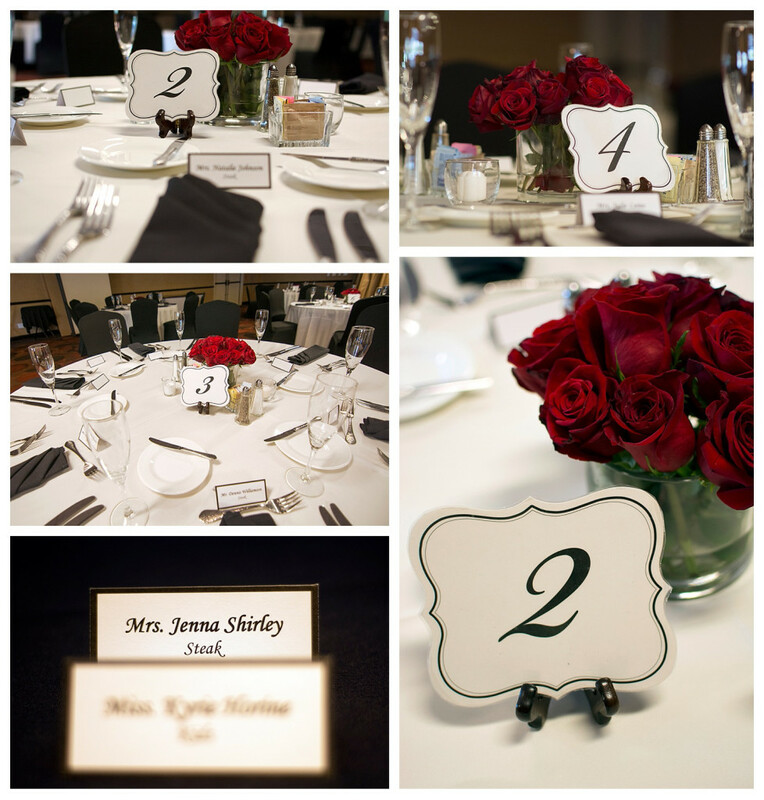 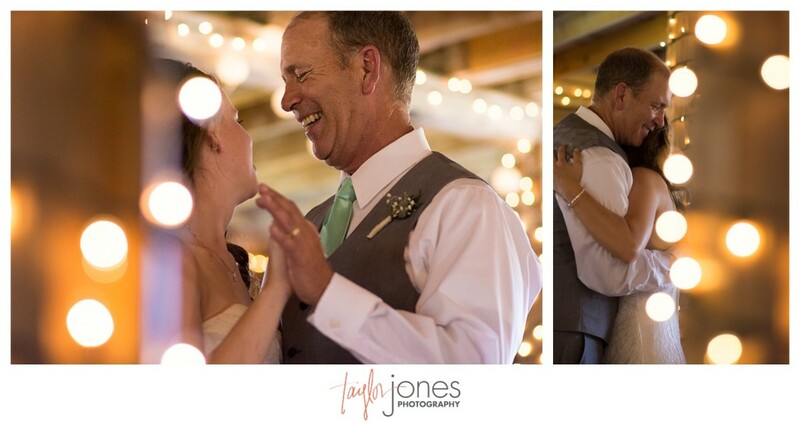 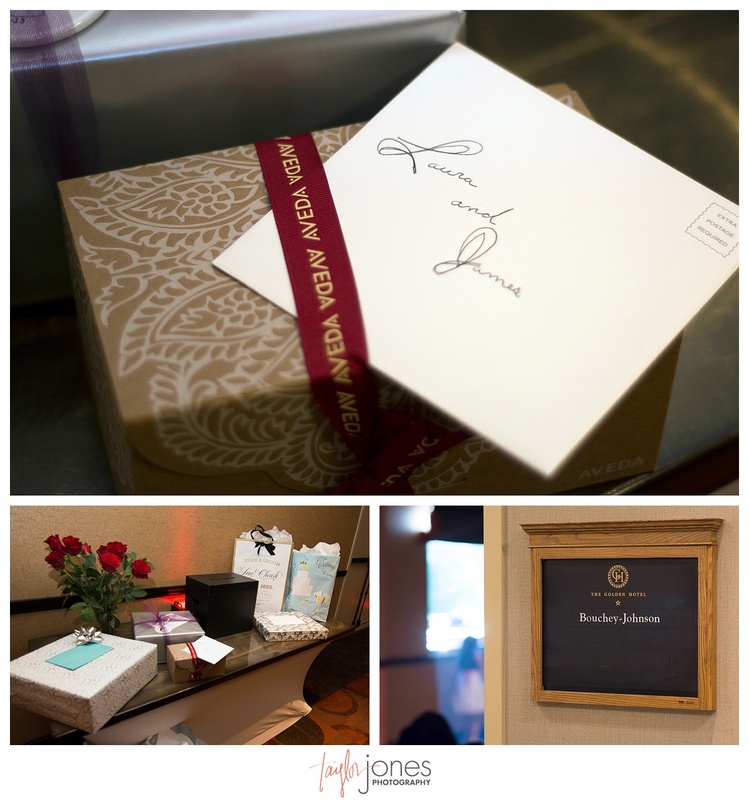 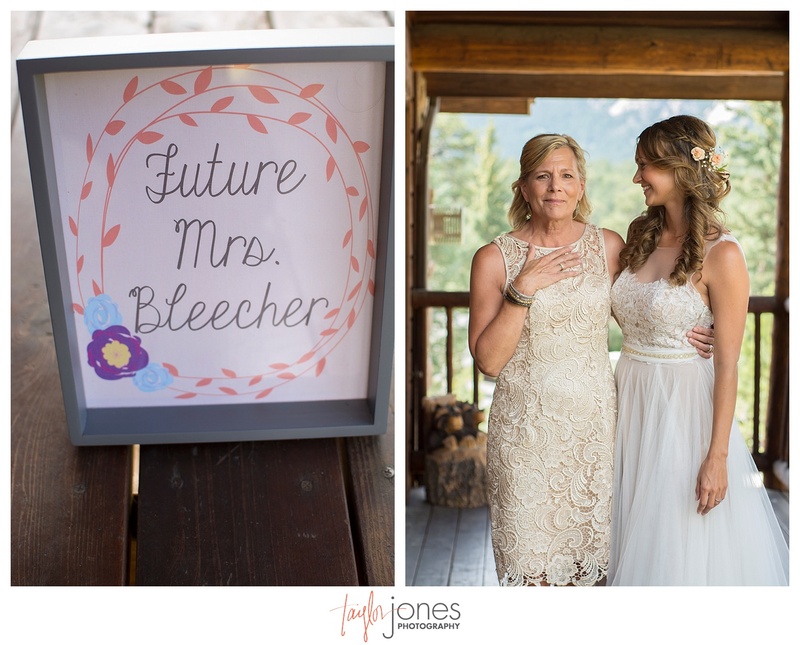 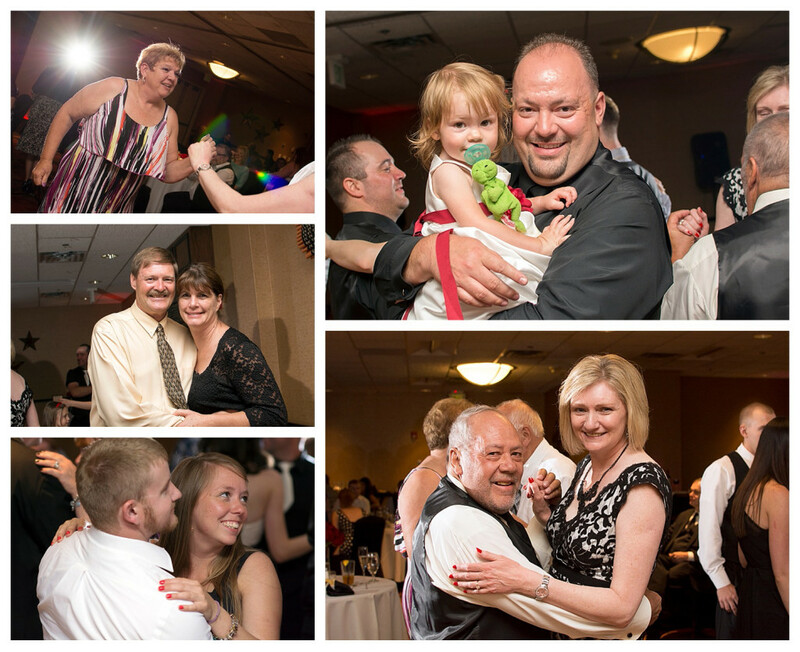 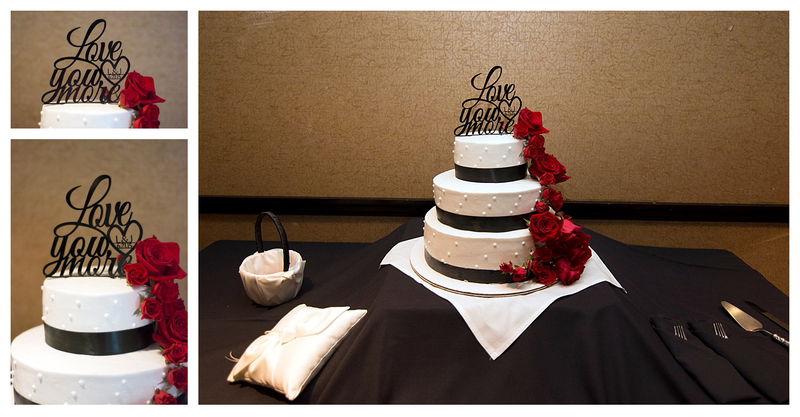 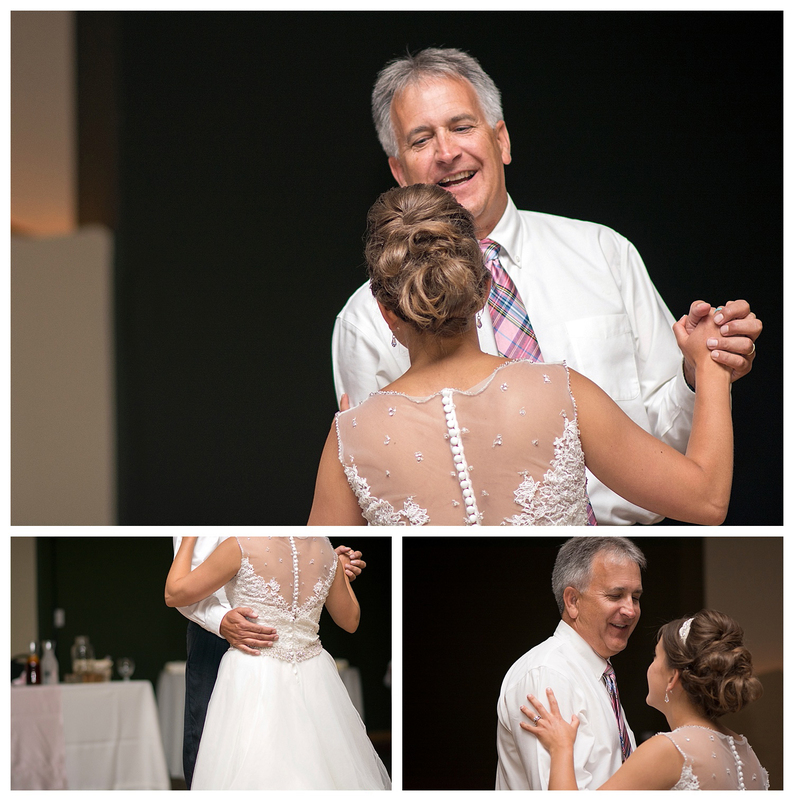 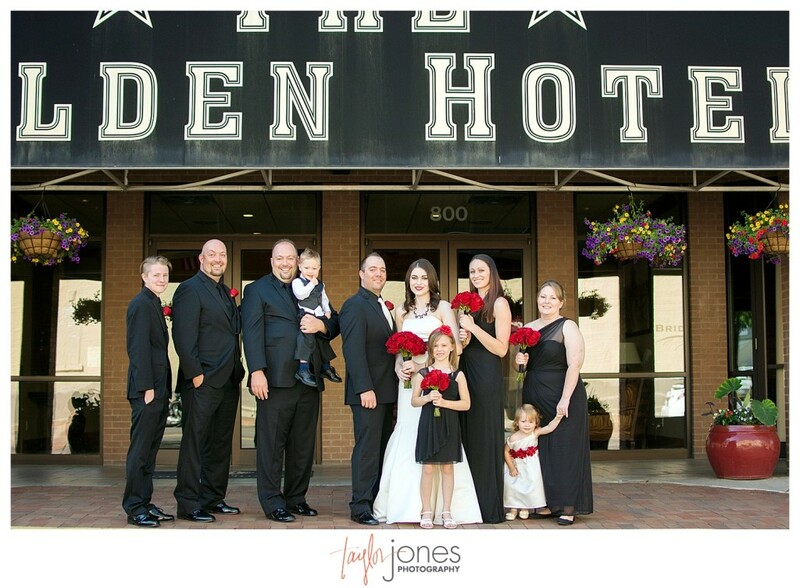 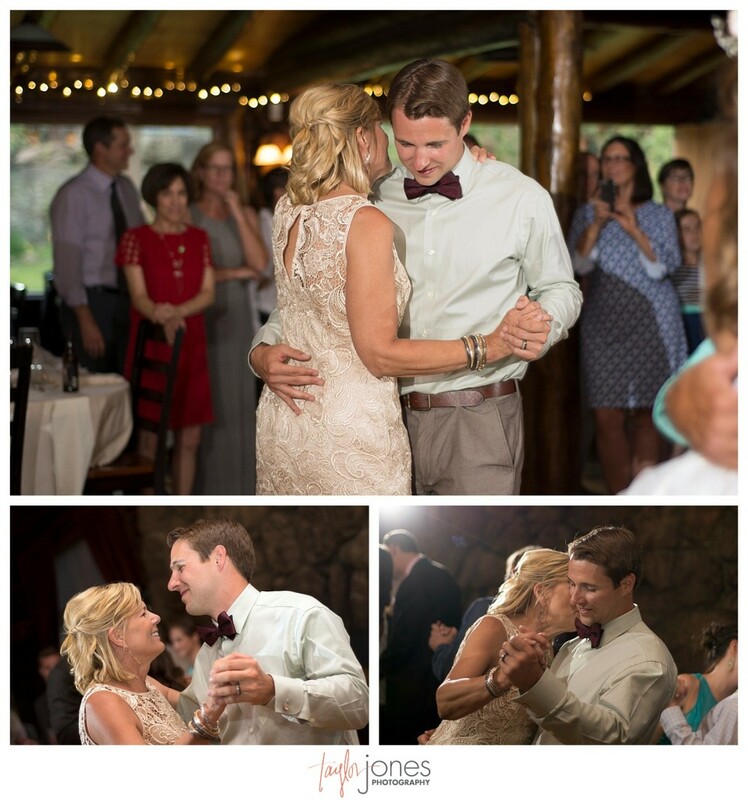 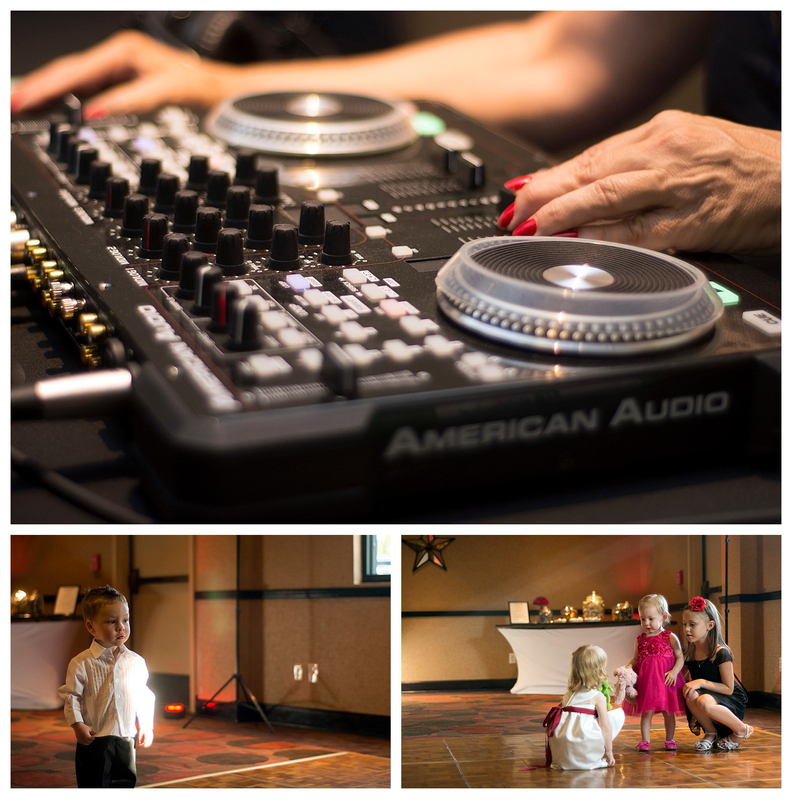 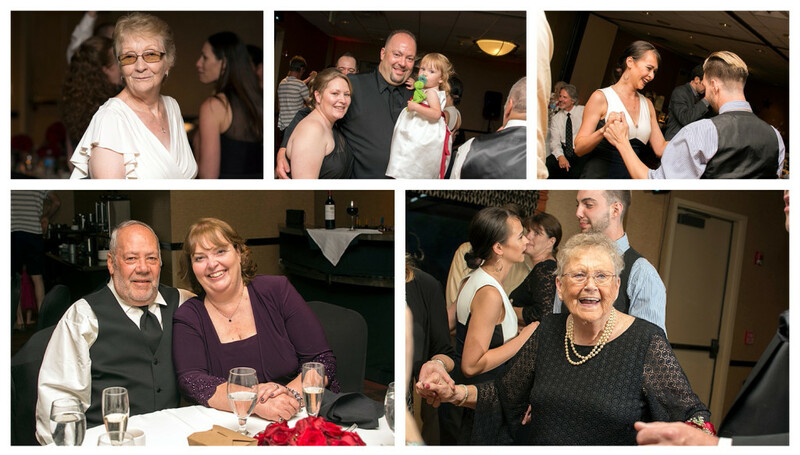 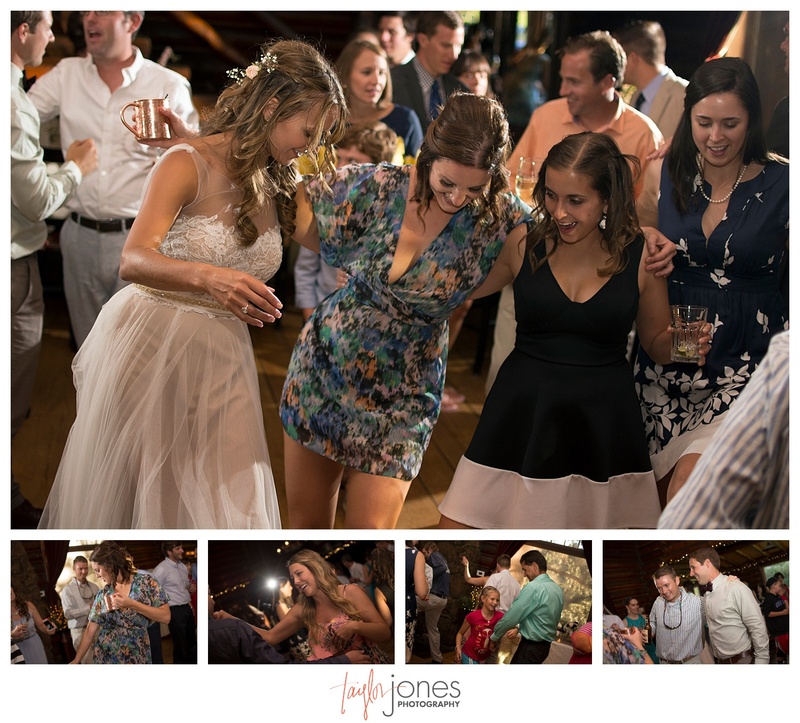 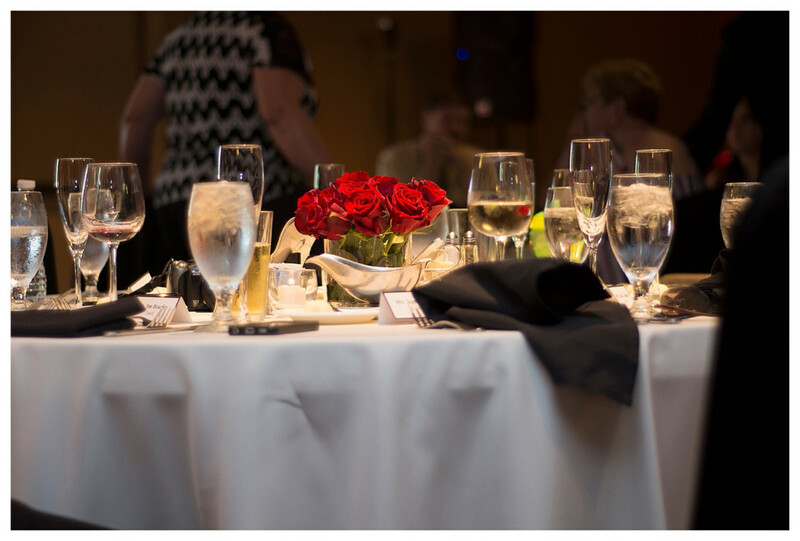 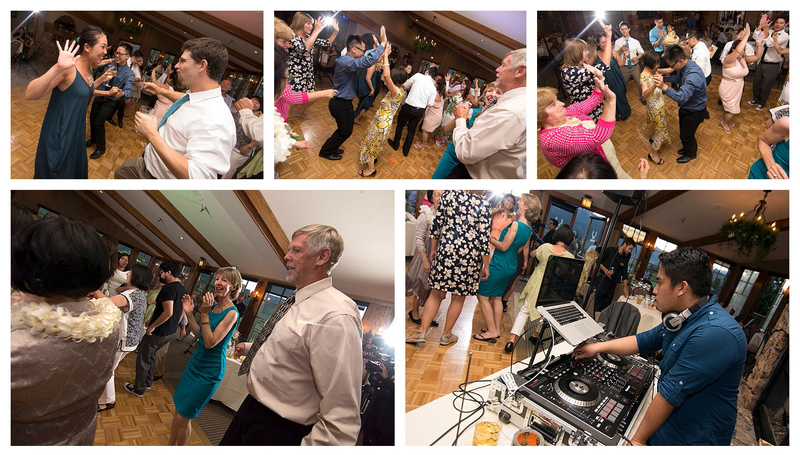 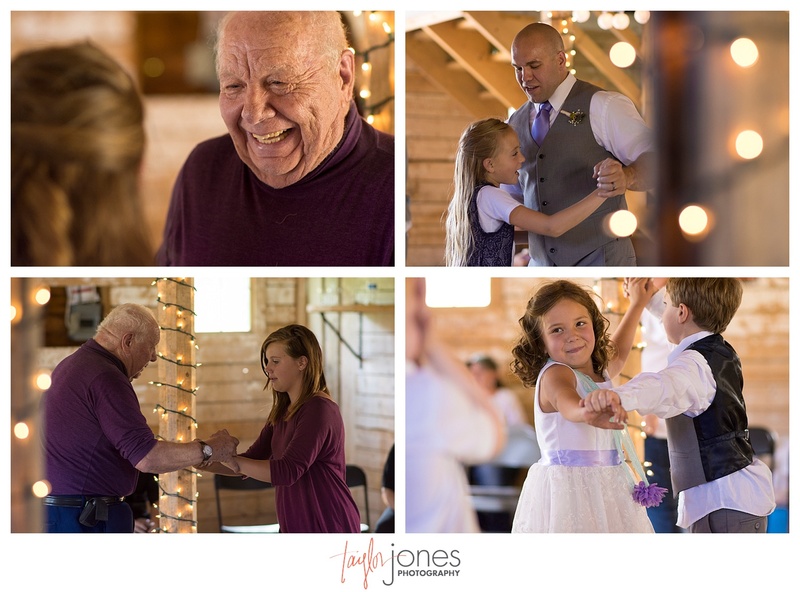 Thank you so much, Mr. & Mrs. Bleecher, for having us be with you on your wedding day! 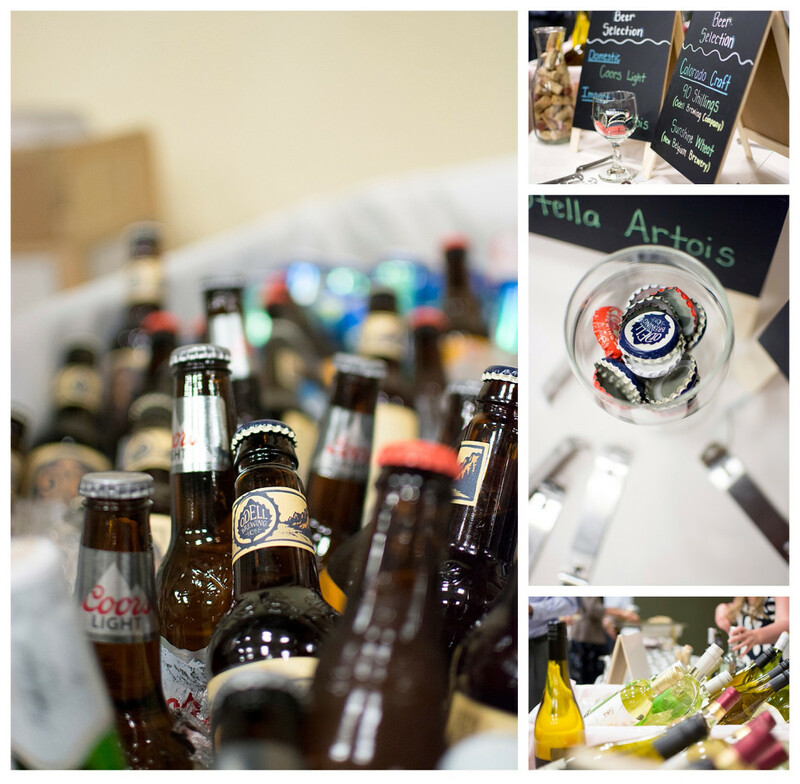 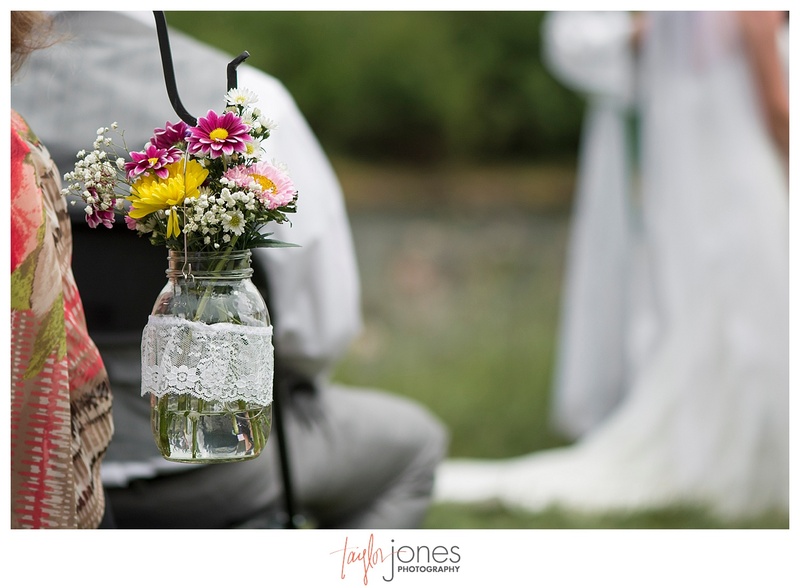 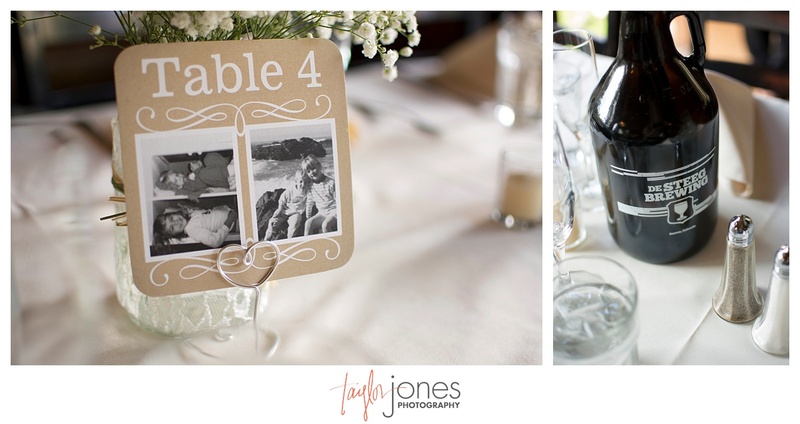 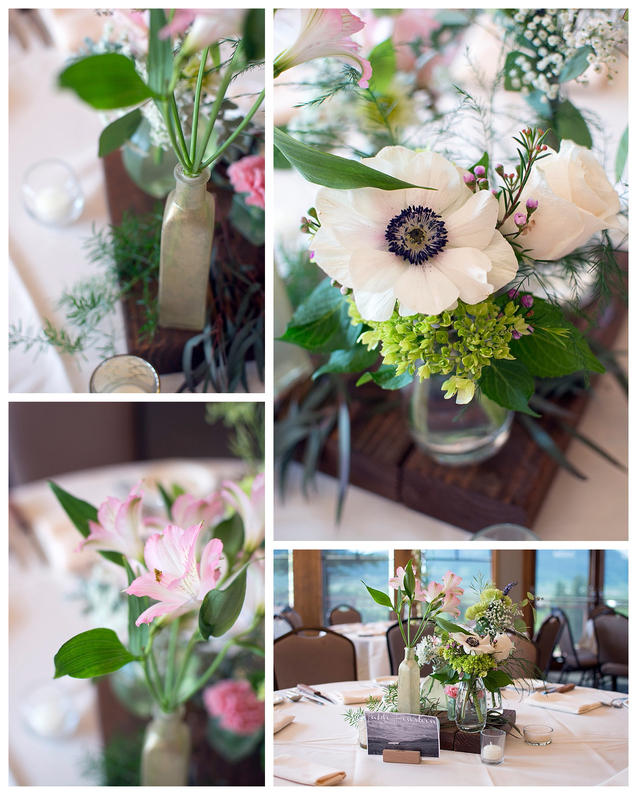 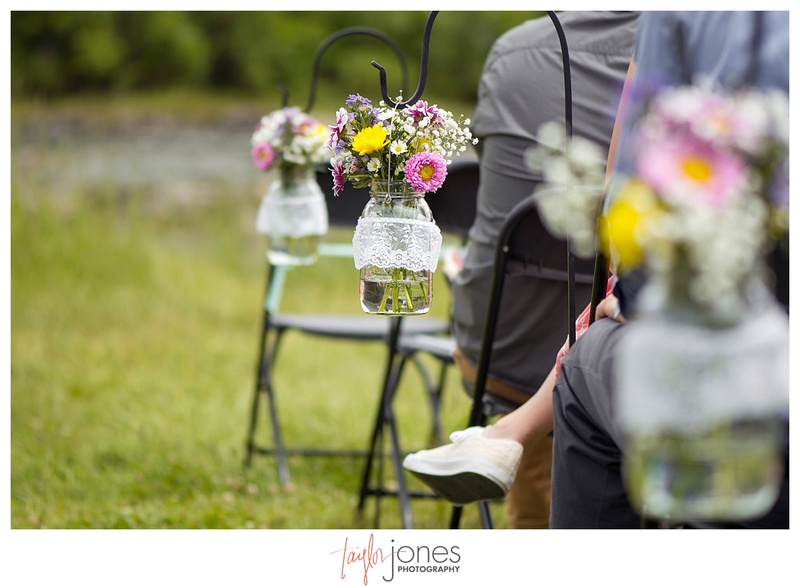 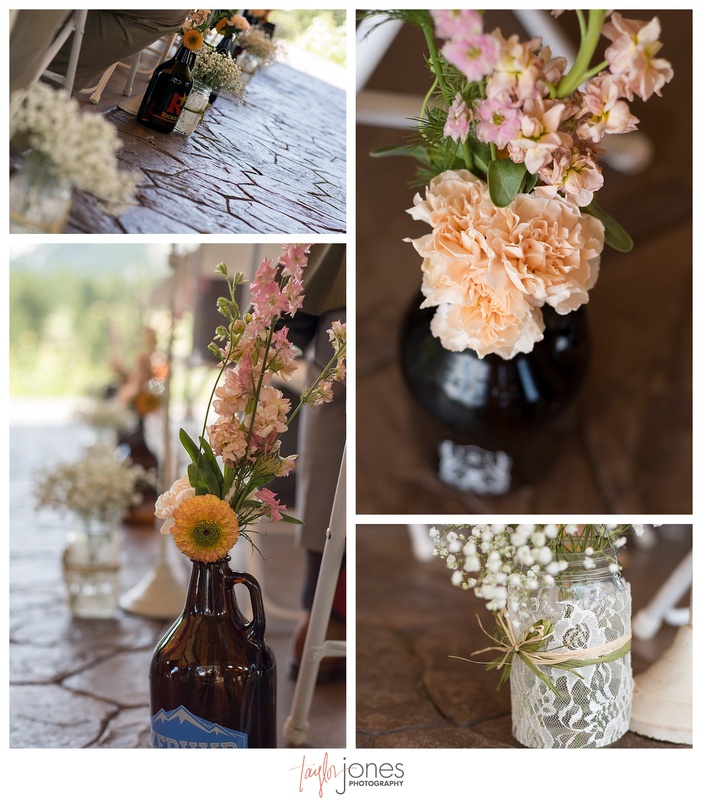 Details we love :: They collected all of their beer growlers (centerpieces) from CO Breweries. 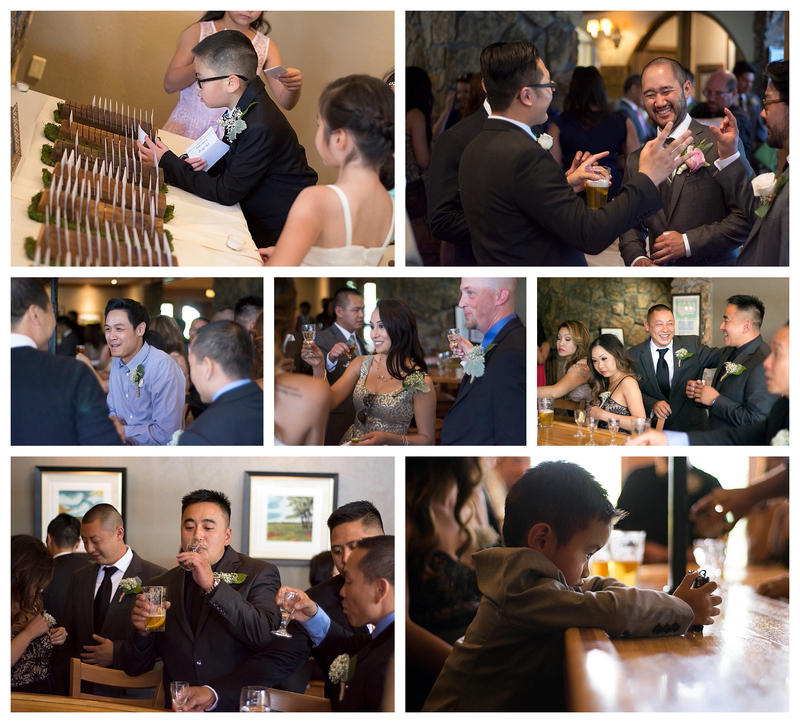 “It was fun to visit so many—we both love craft beer. 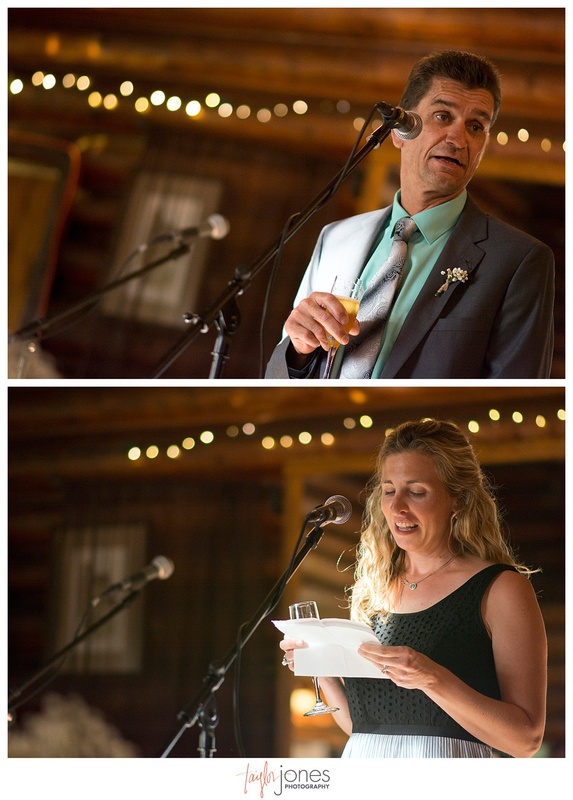 We did however have 1 growler from my hometown in Indiana and one from Rob’s hometown in Pennsylvania,” said Crystal. 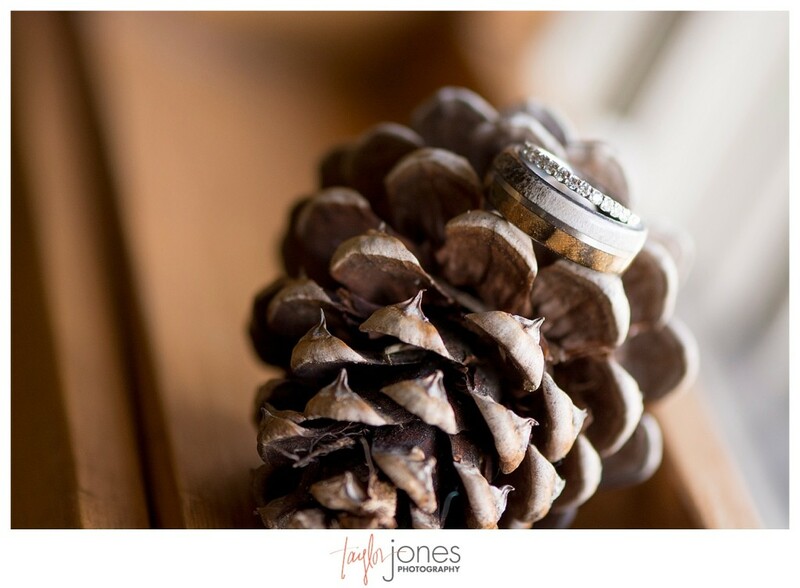 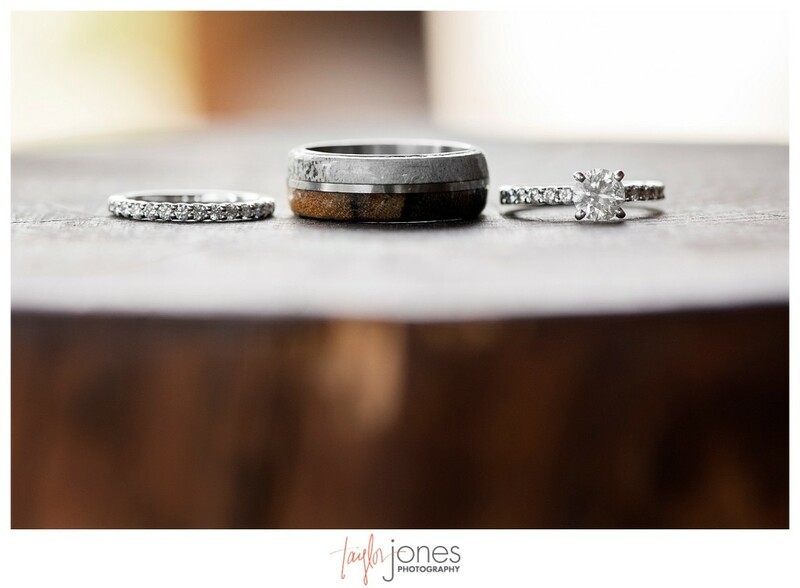 • Rob’s wedding band is made out of wood and antler. 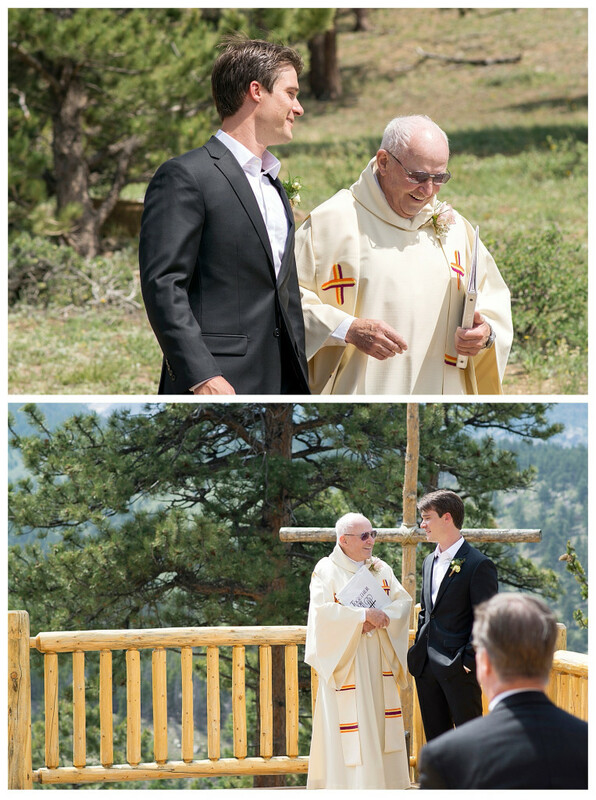 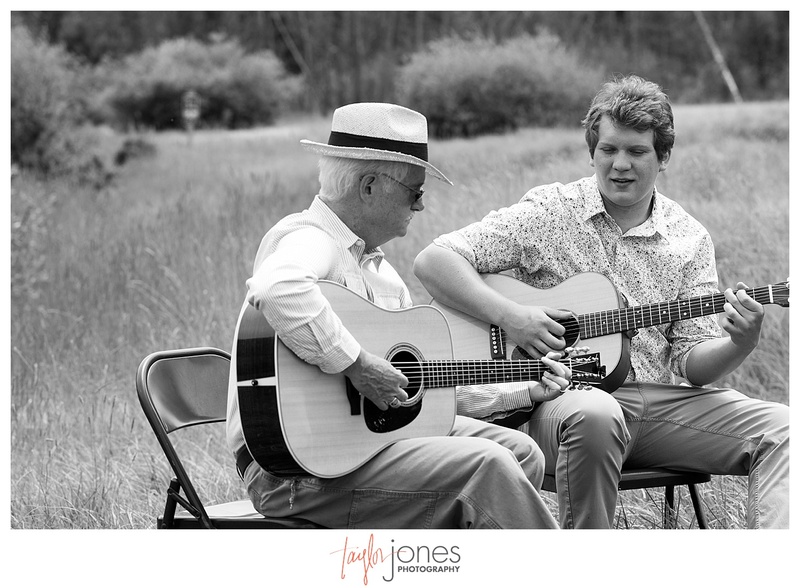 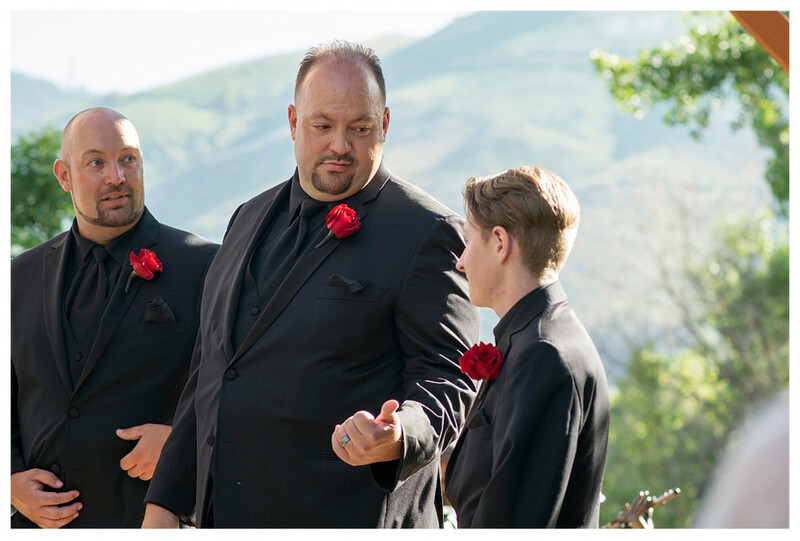 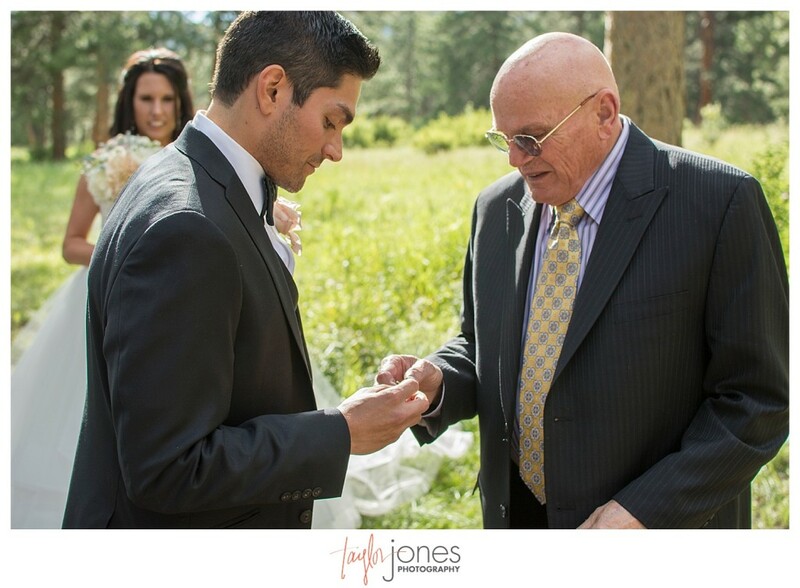 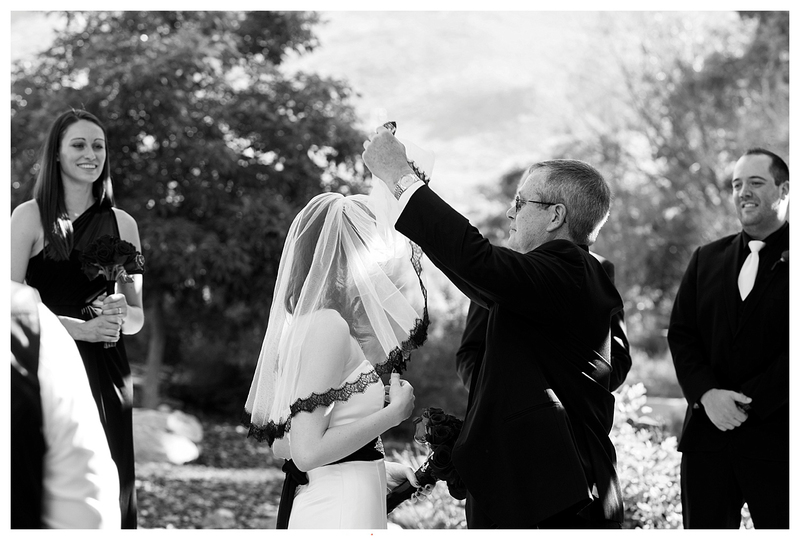 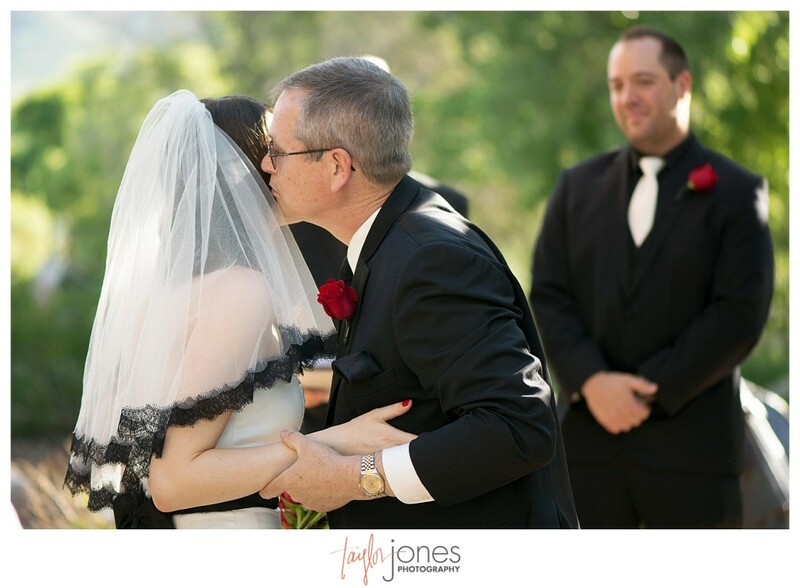 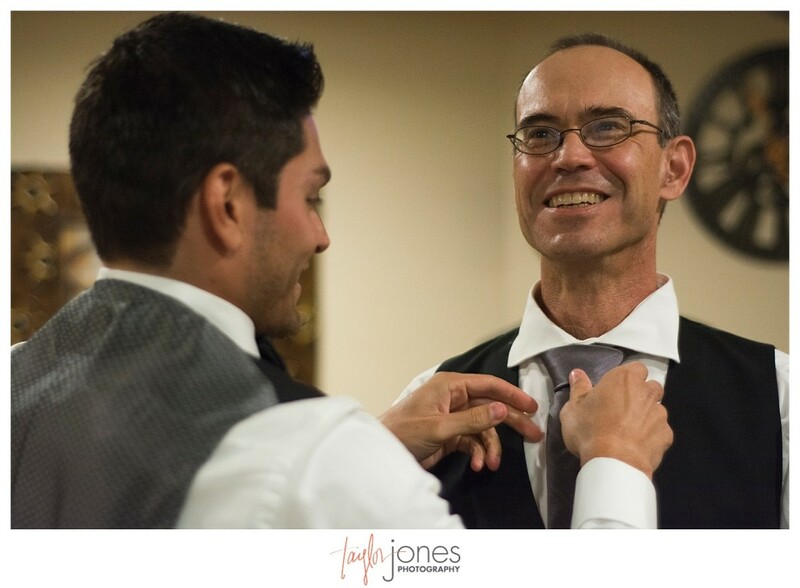 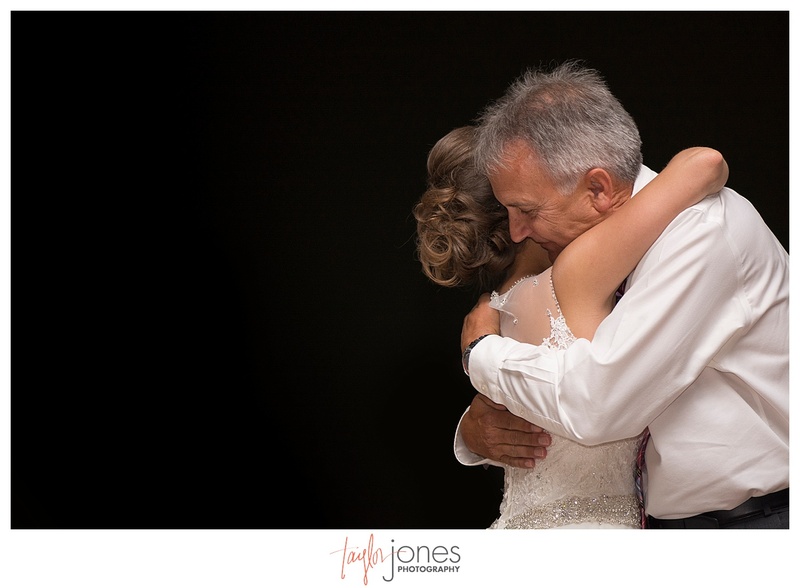 • The groom’s father, also Rob, officiated their ceremony. 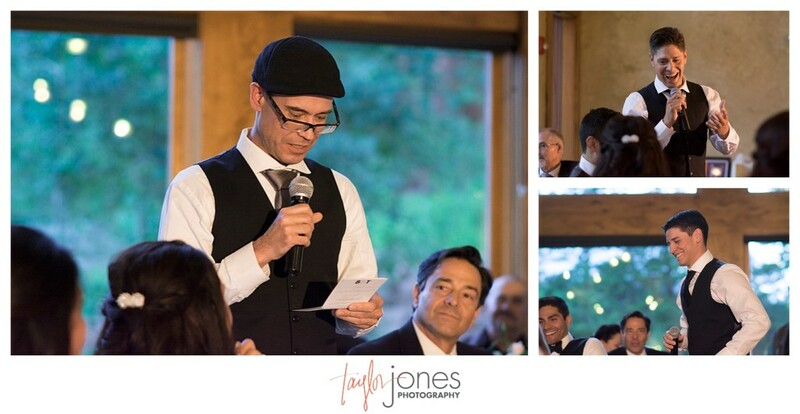 • And my personal favorite detail, only Beatles Songs were played by the band for the ceremony-Blackbird, Here Comes the Sun, and All You Need is Love. 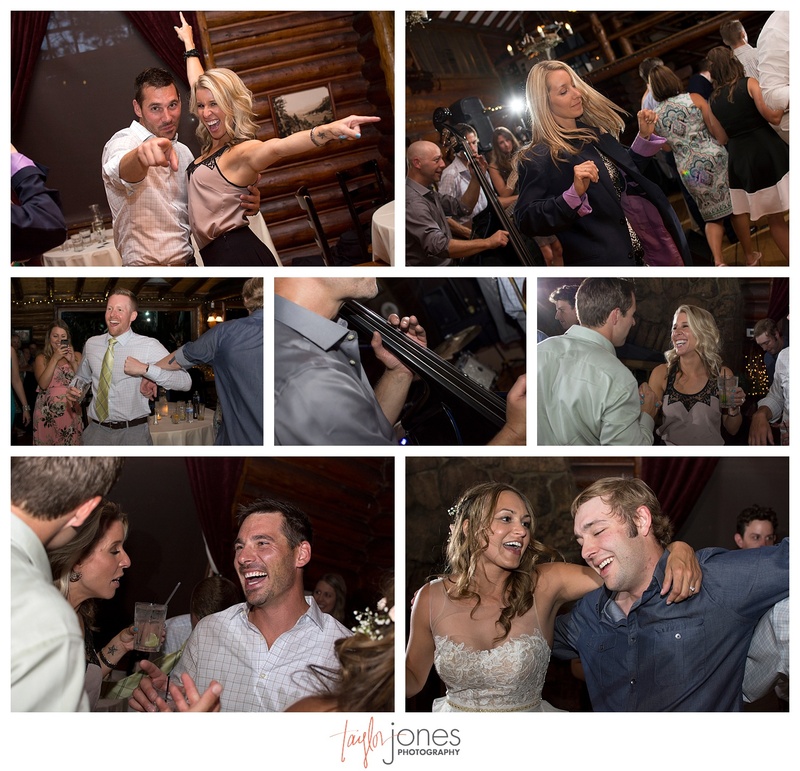 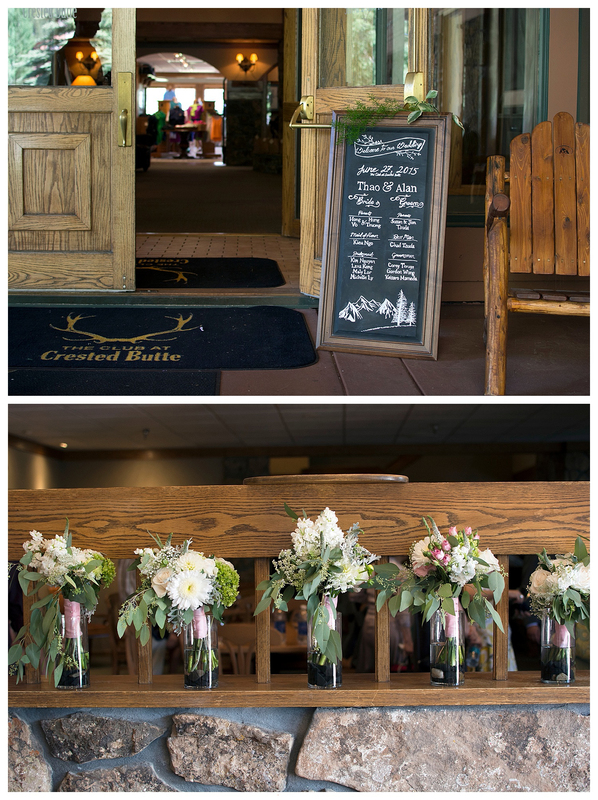 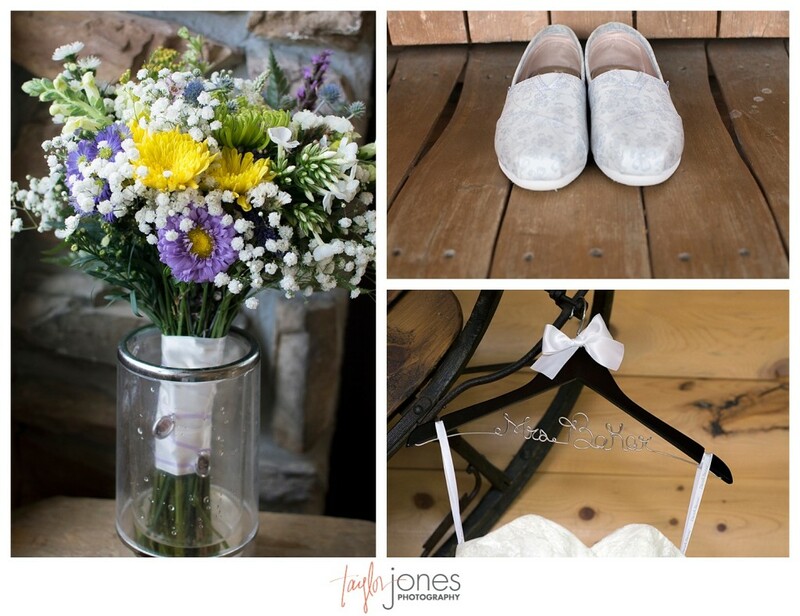 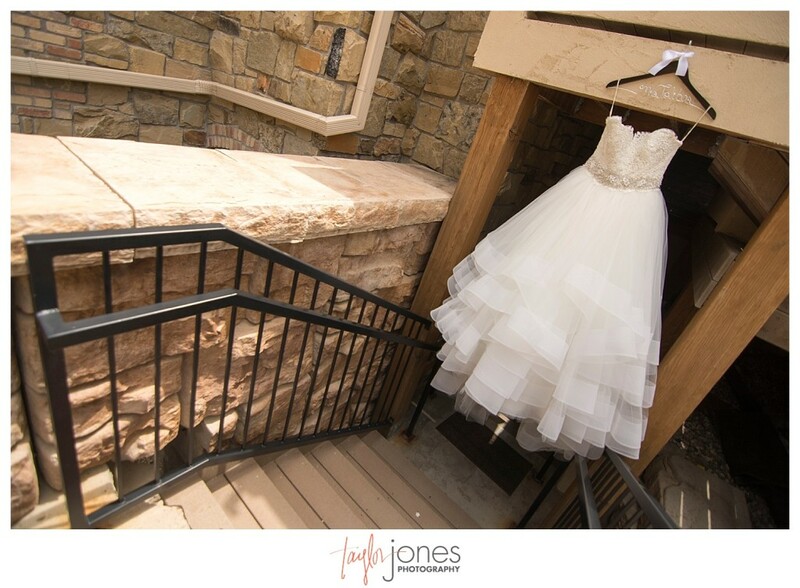 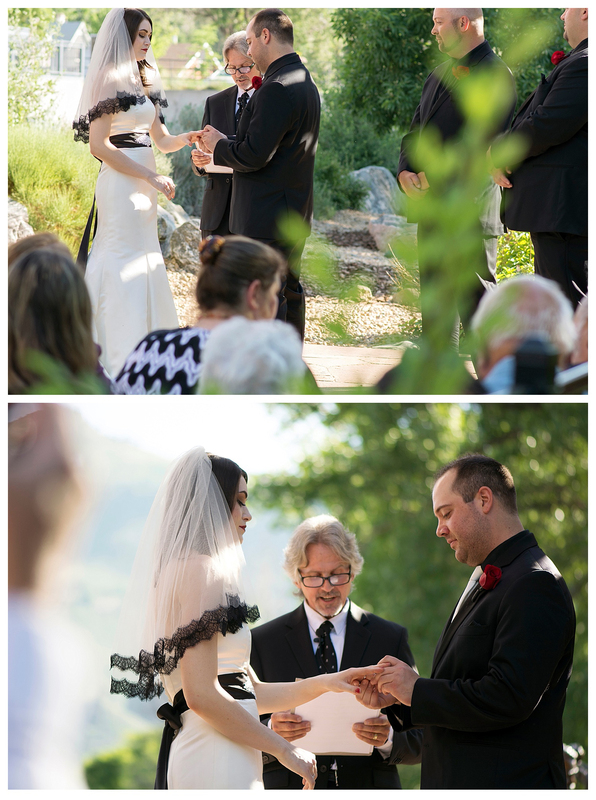 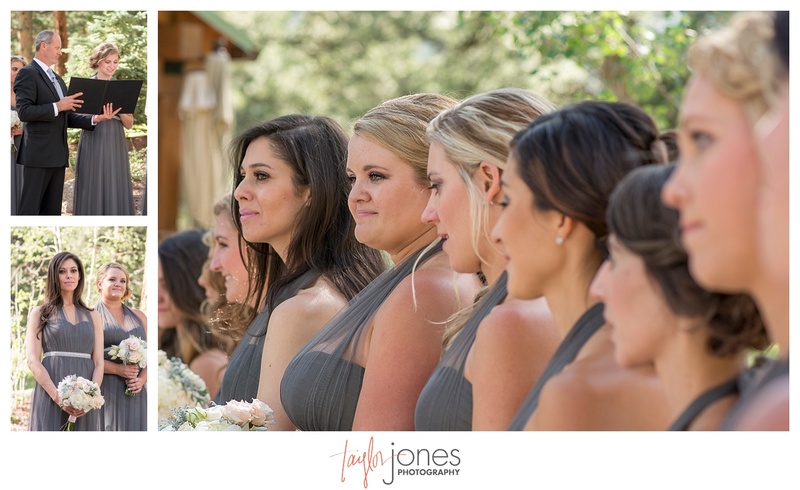 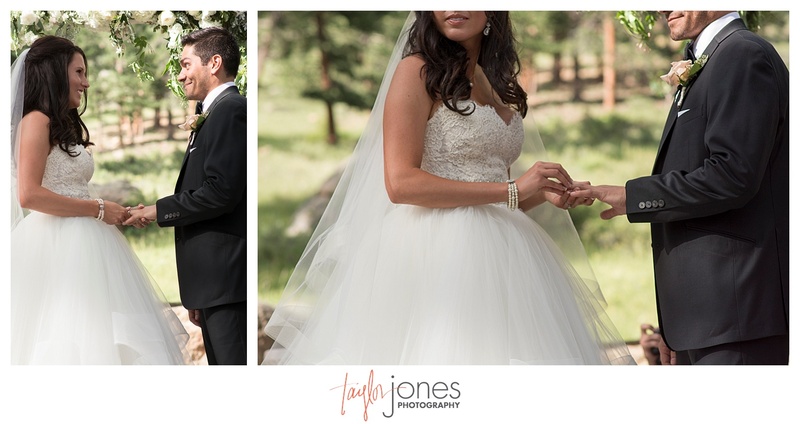 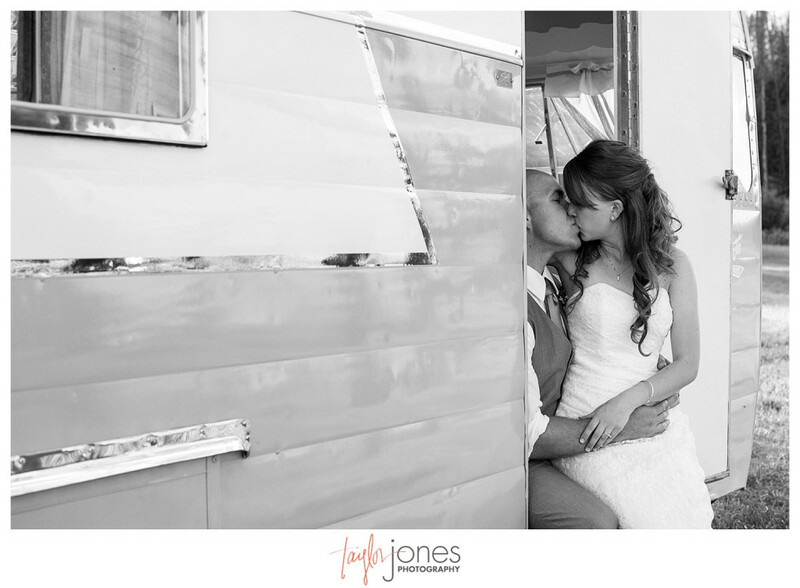 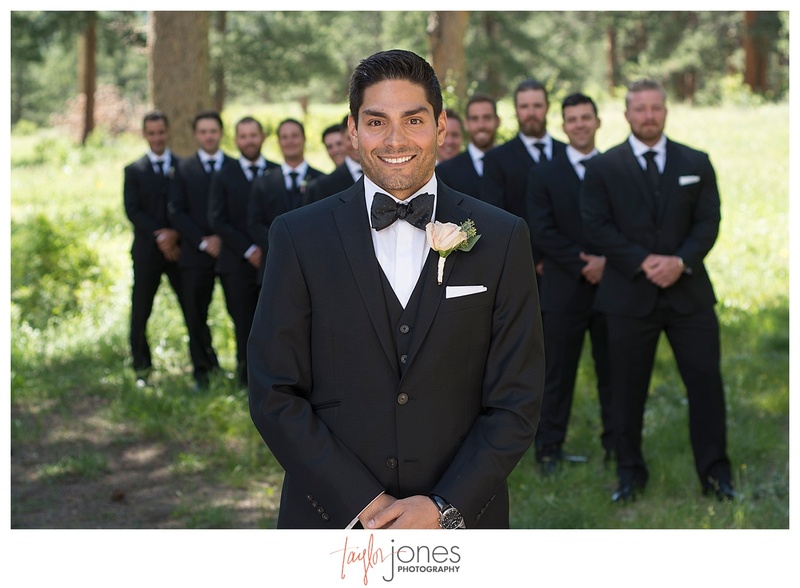 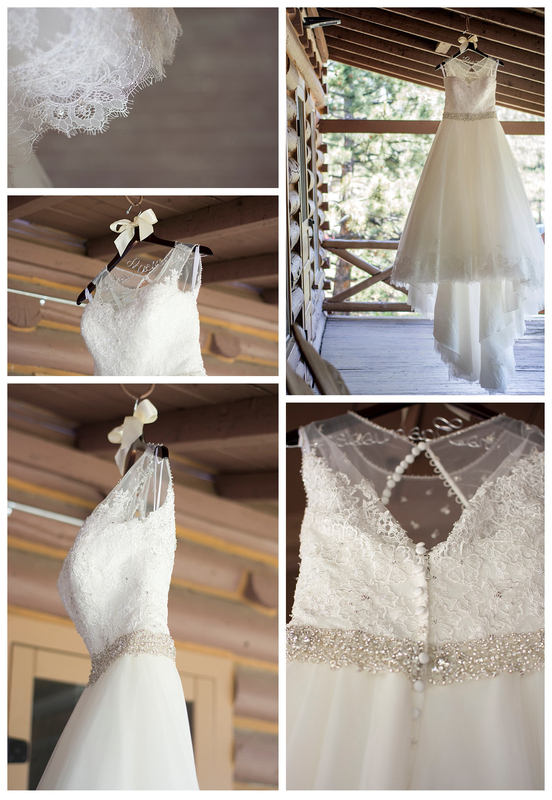 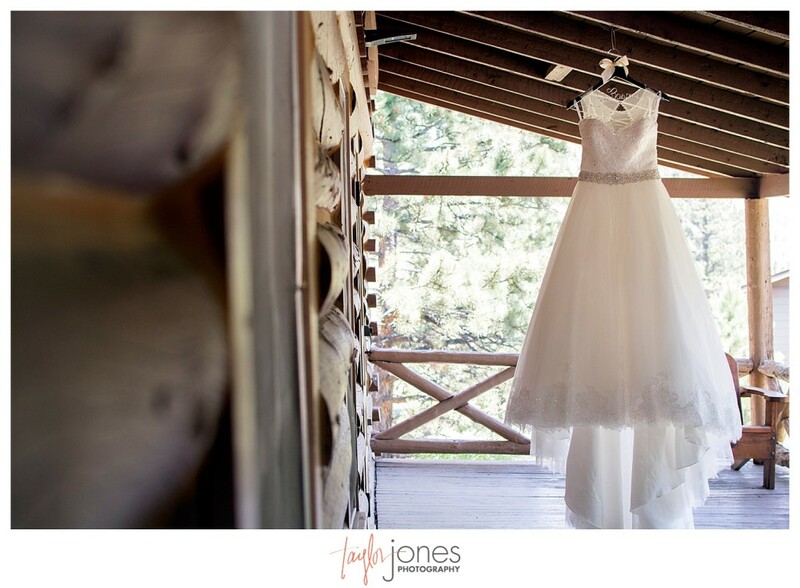 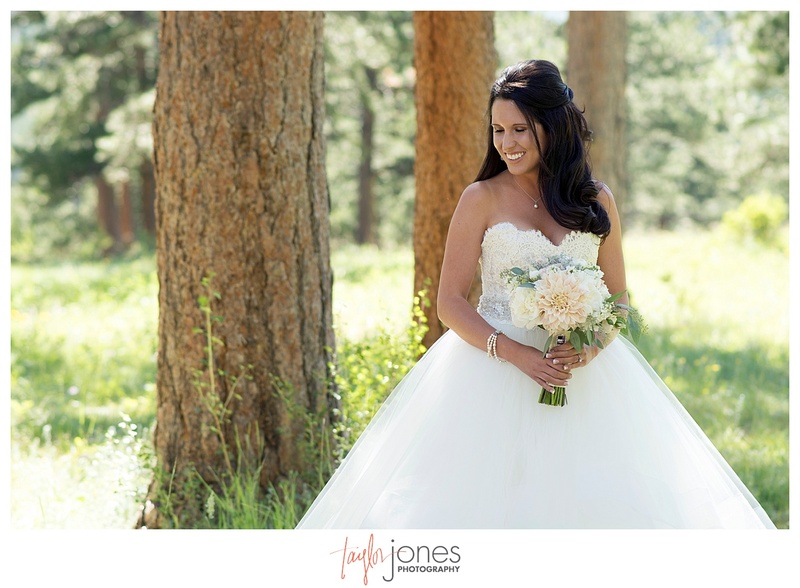 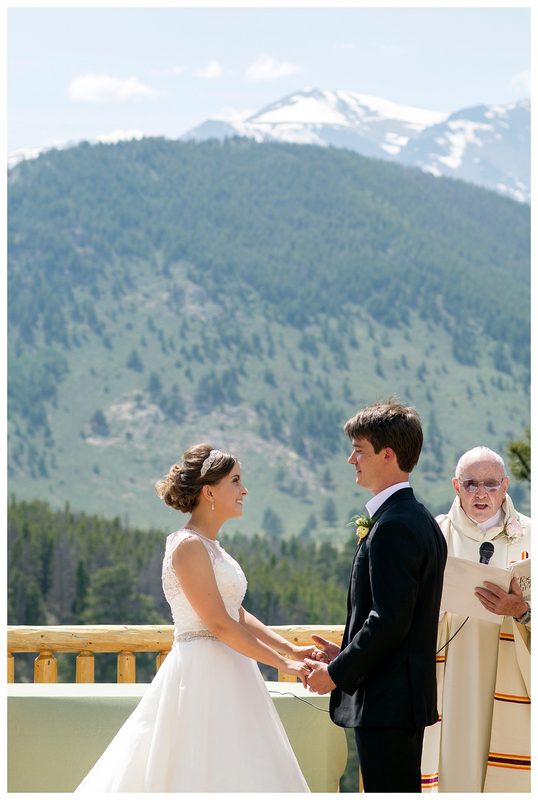 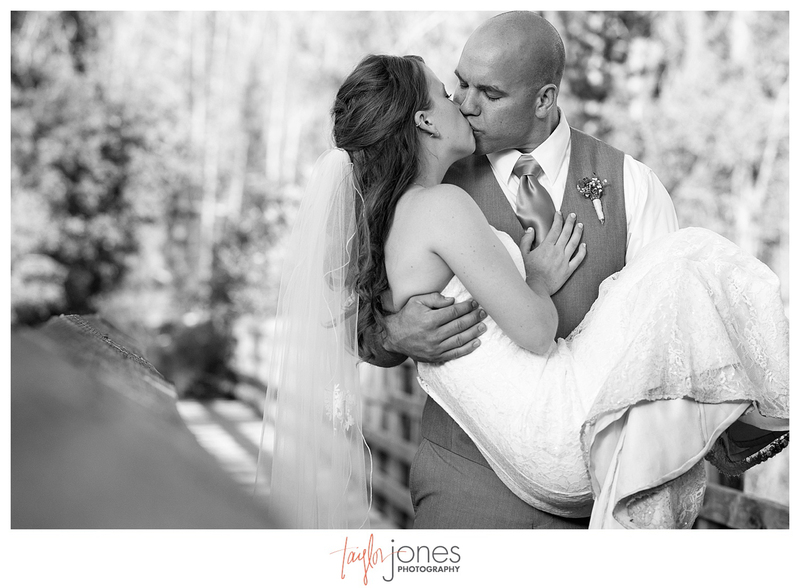 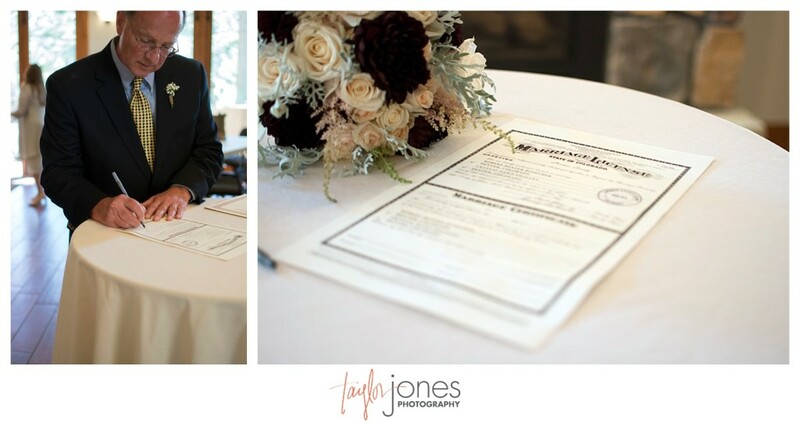 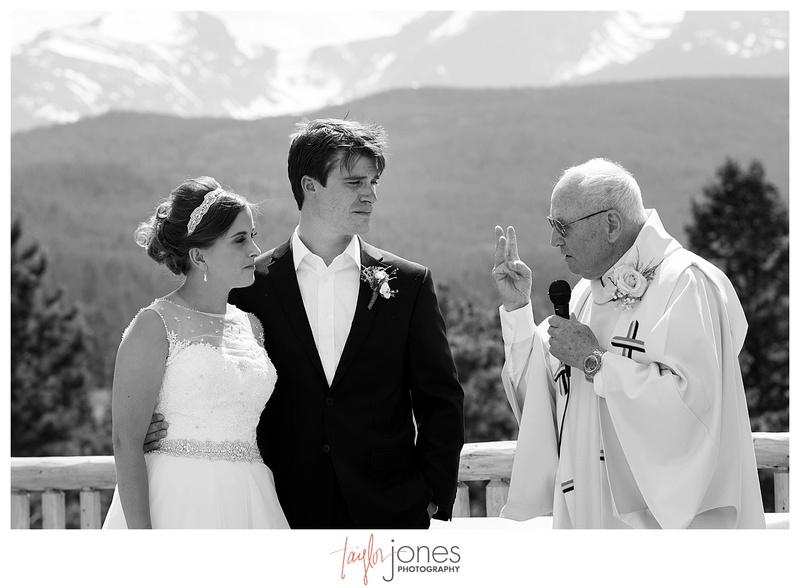 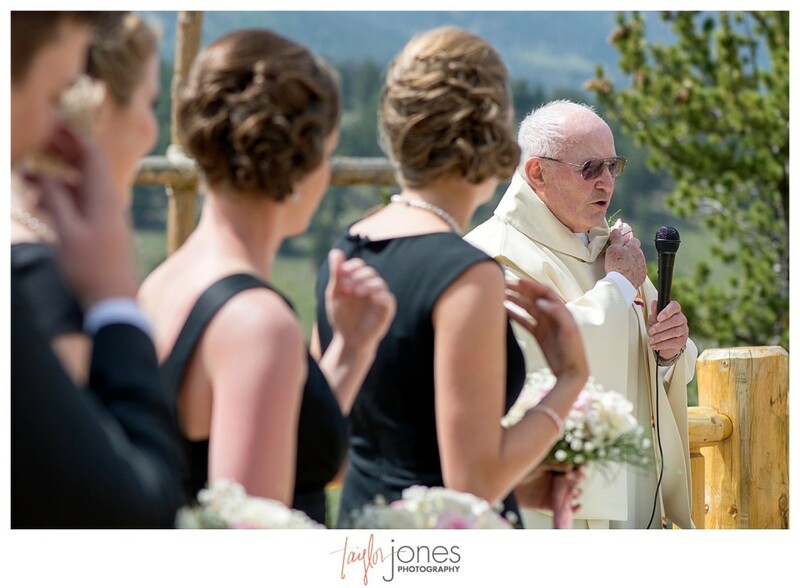 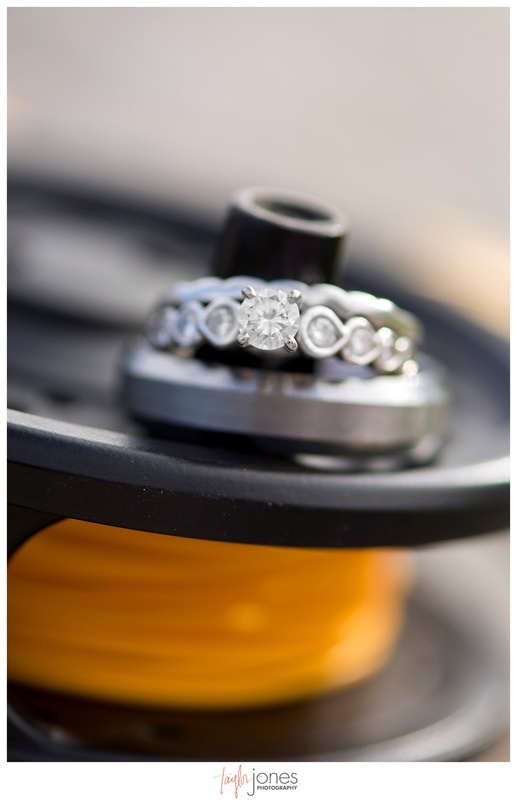 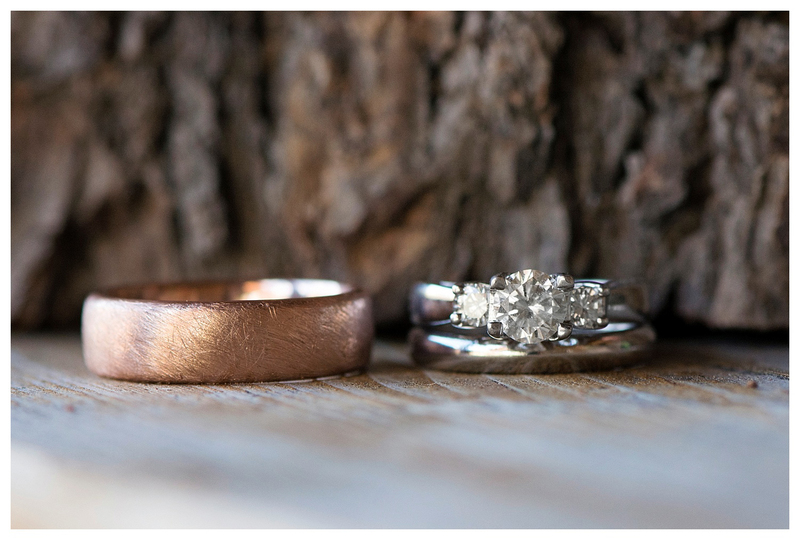 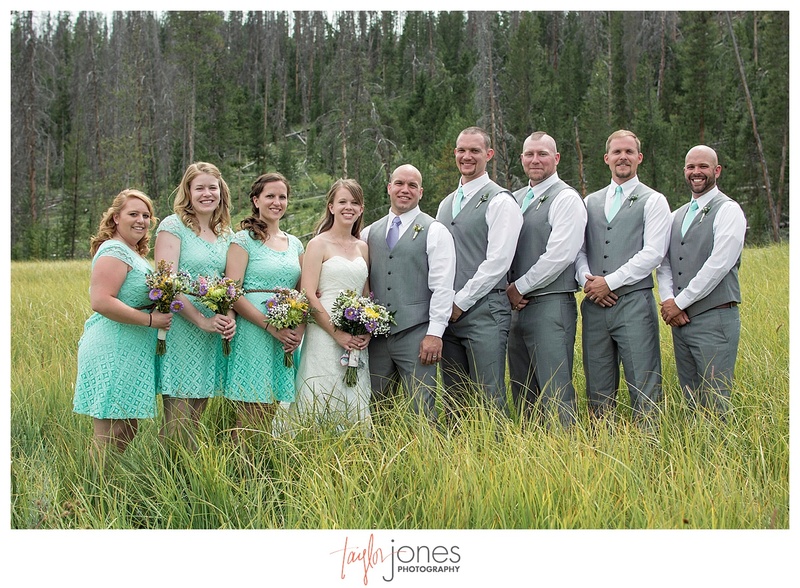 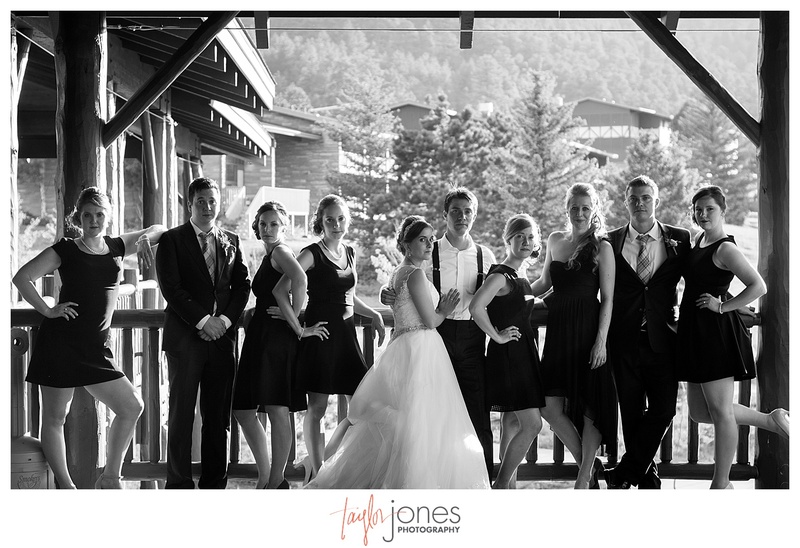 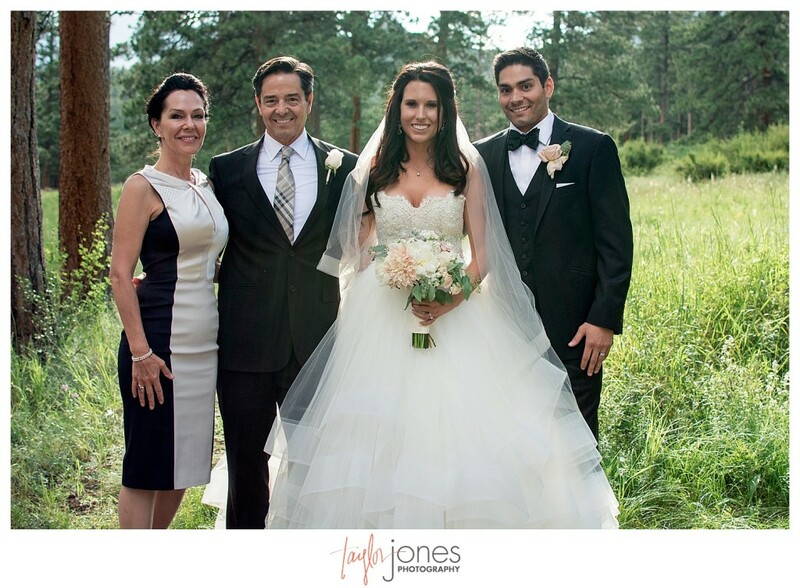 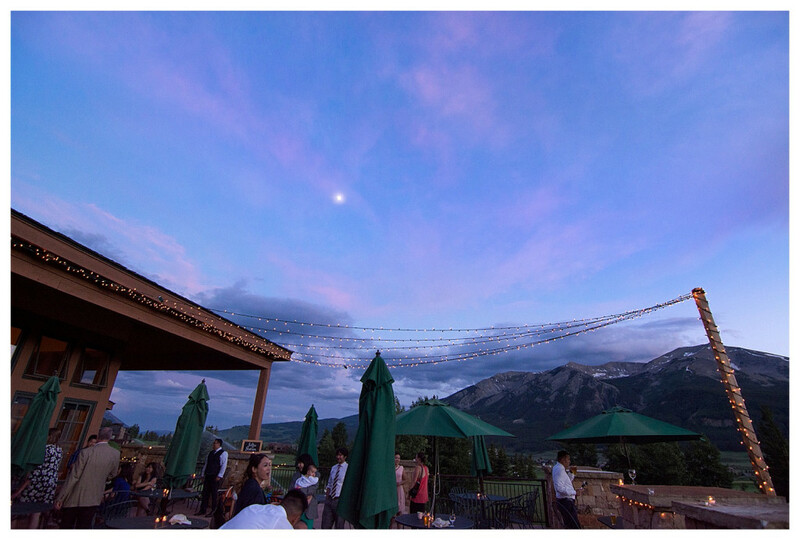 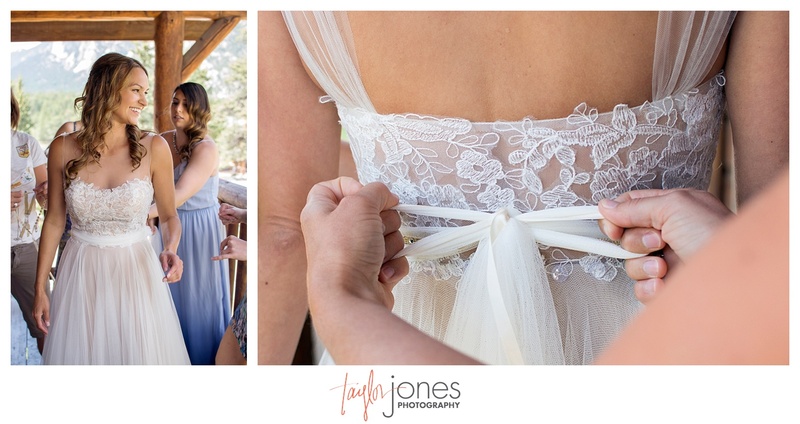 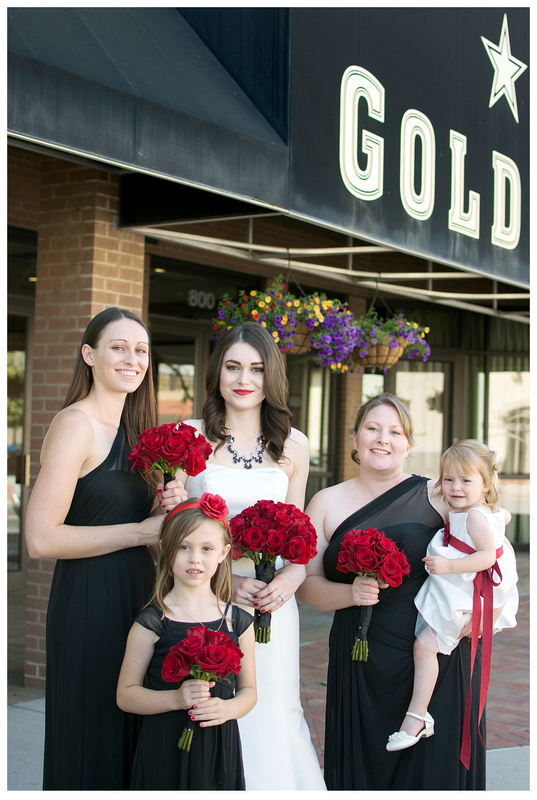 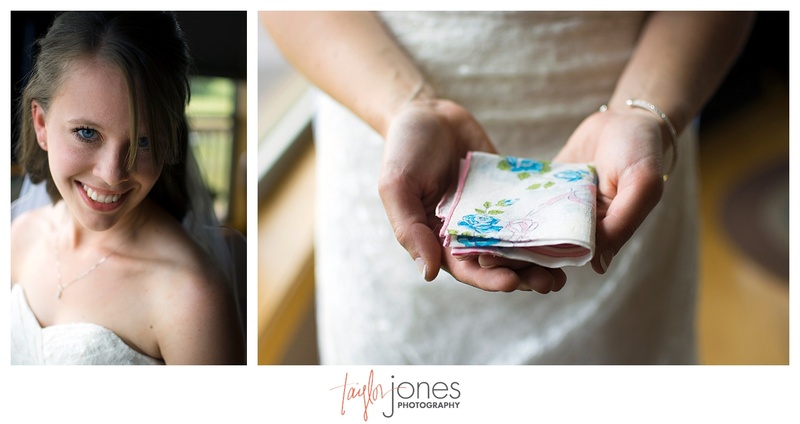 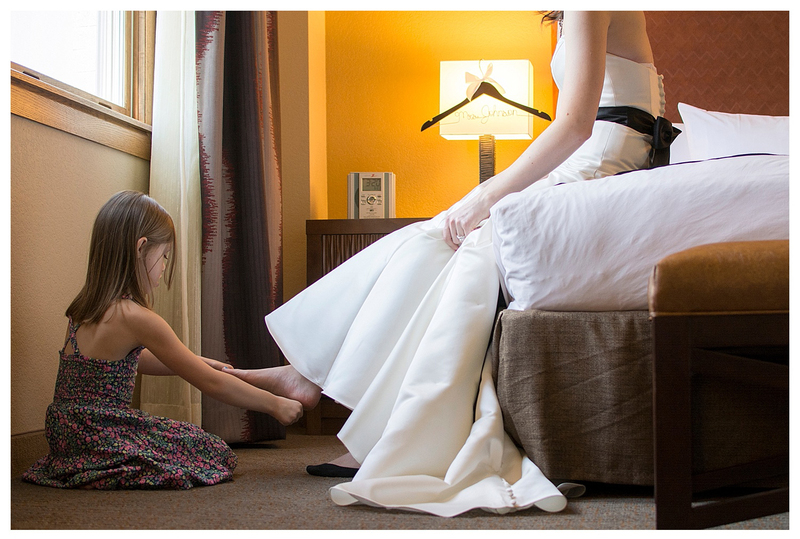 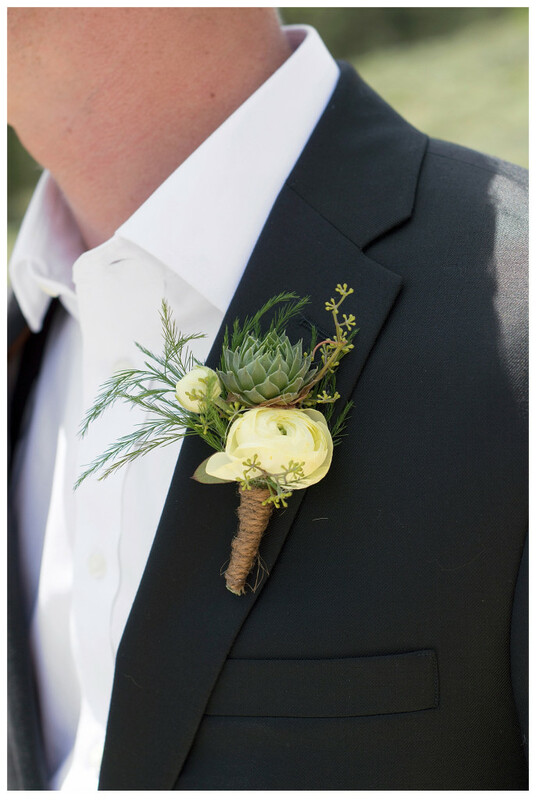 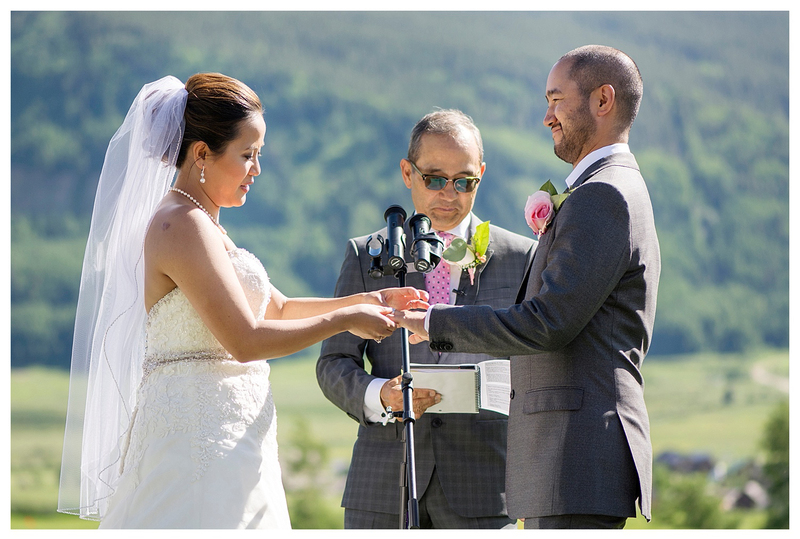 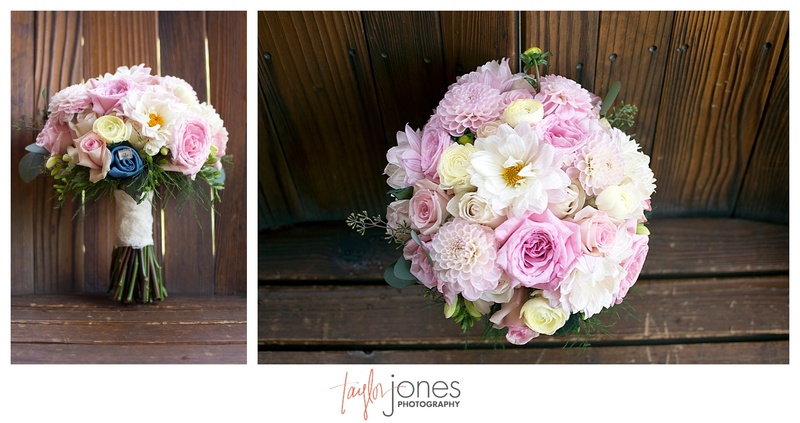 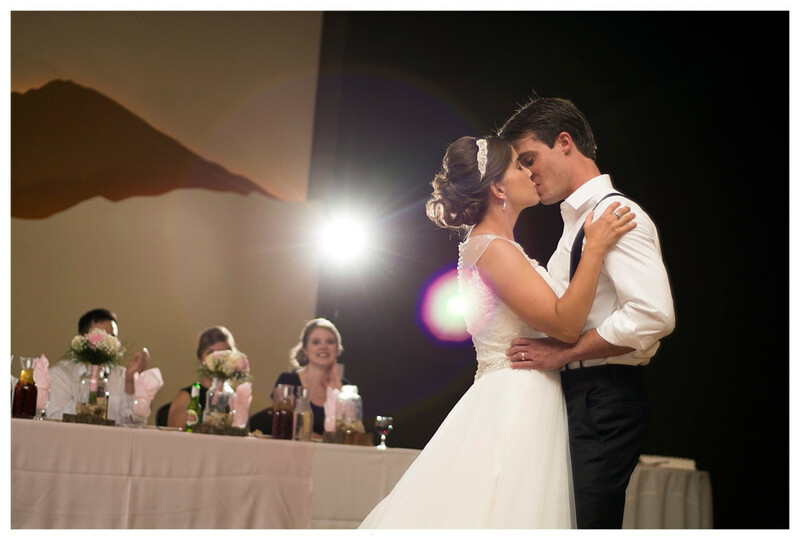 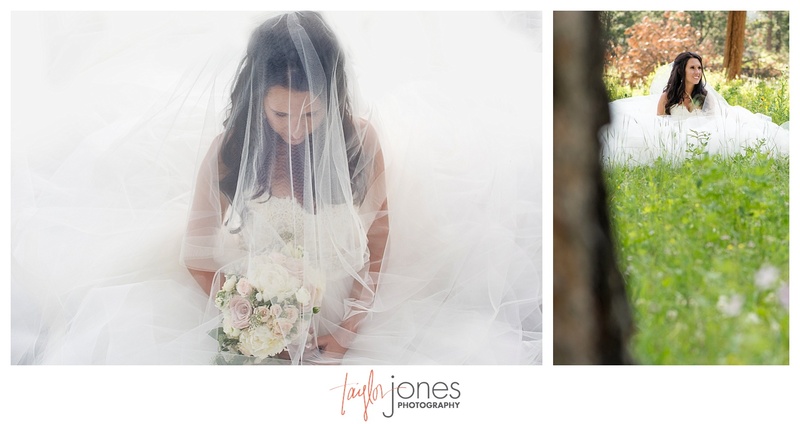 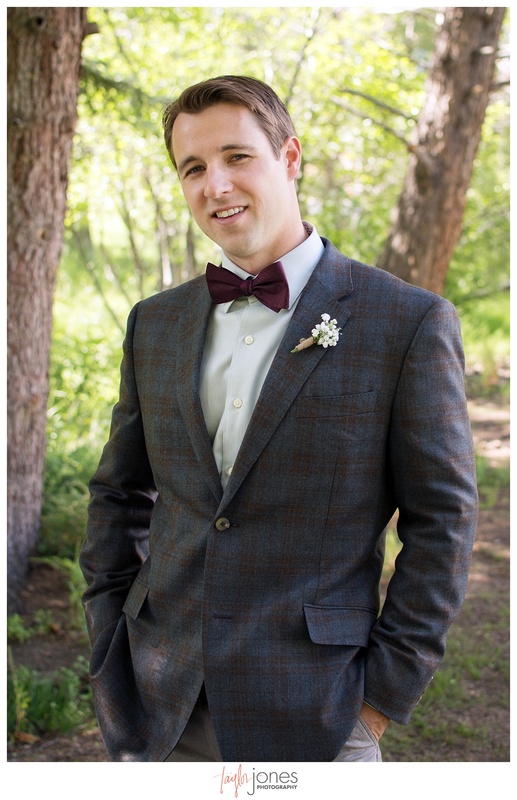 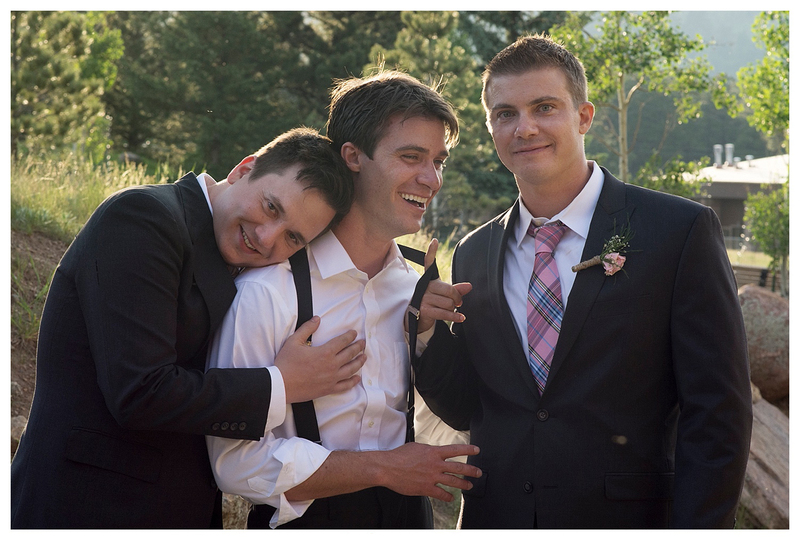 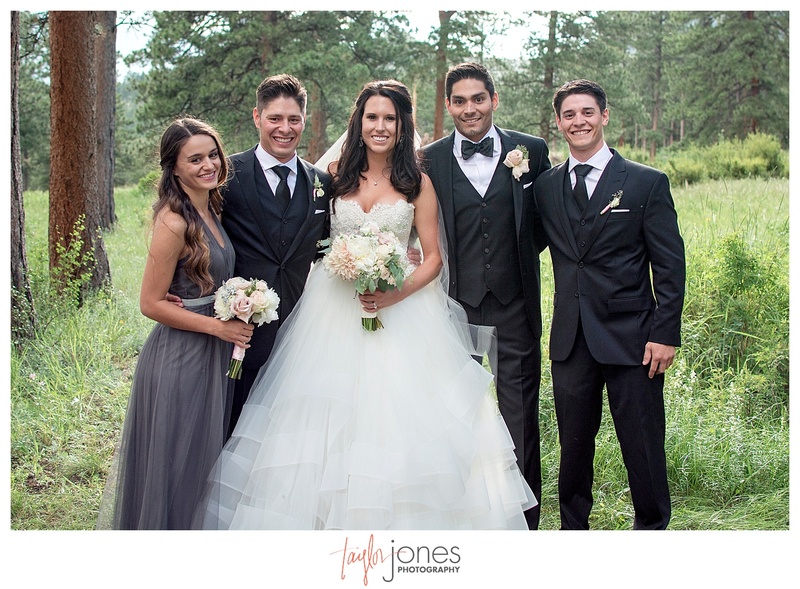 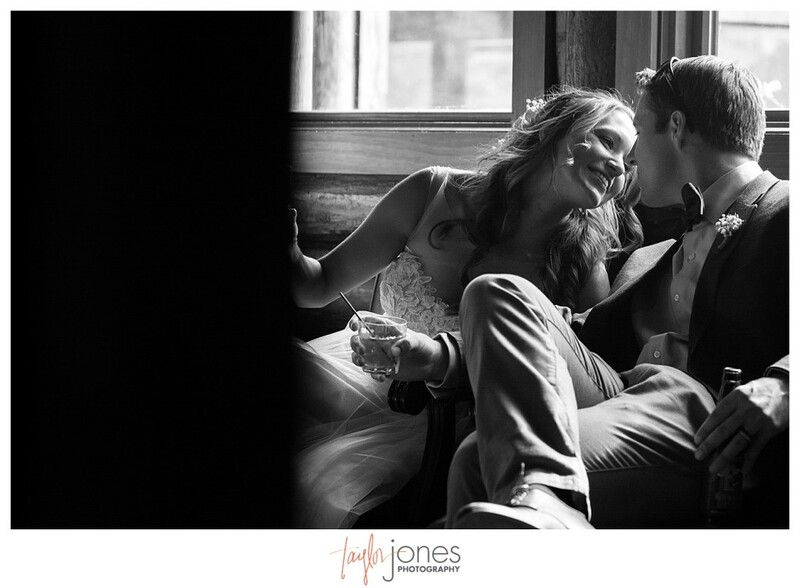 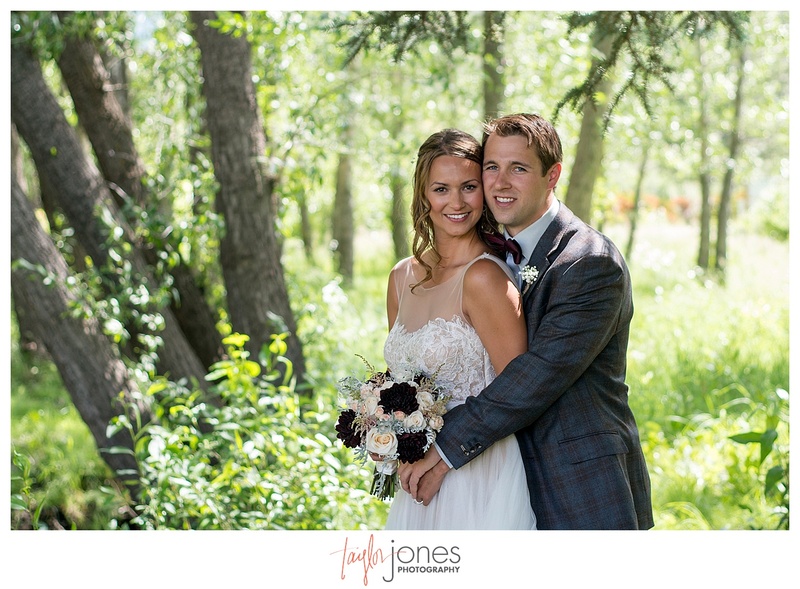 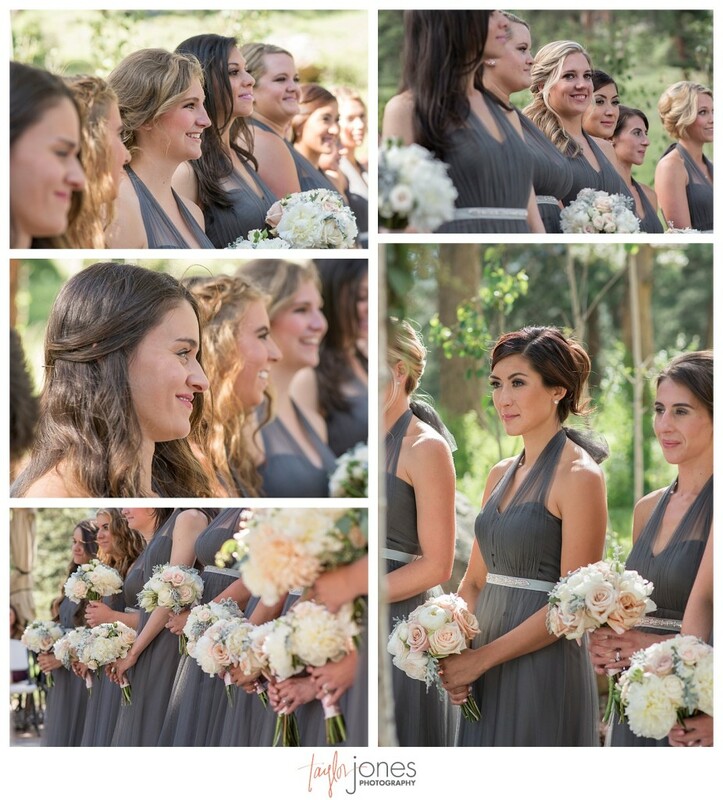 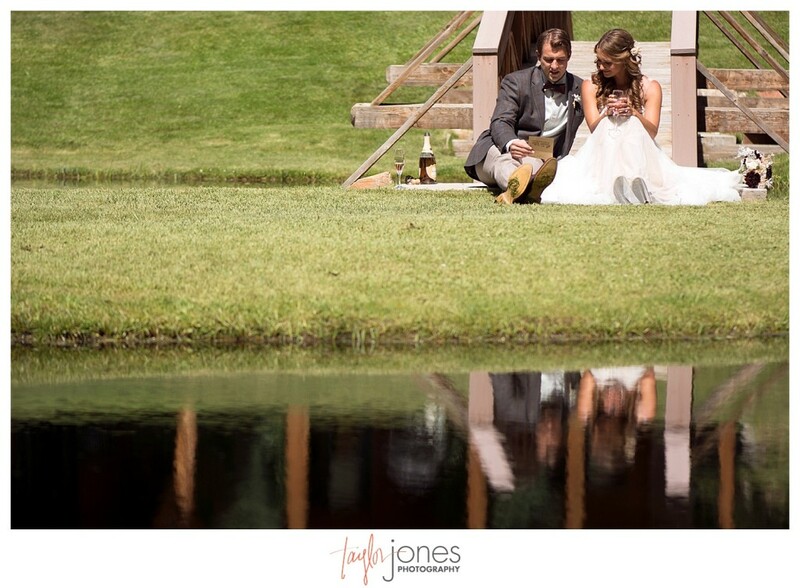 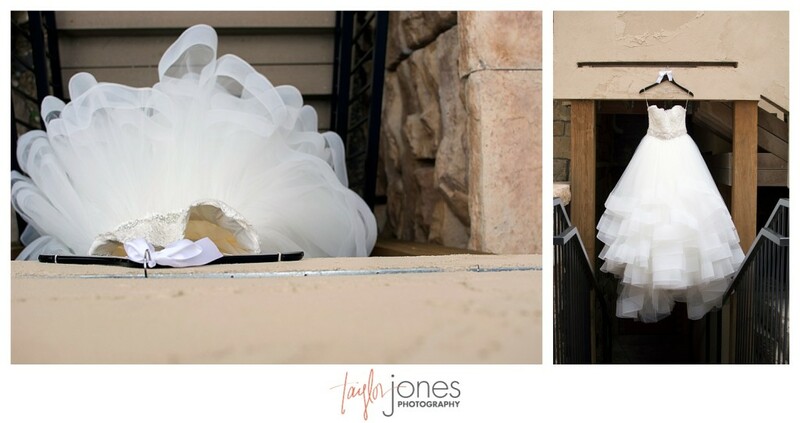 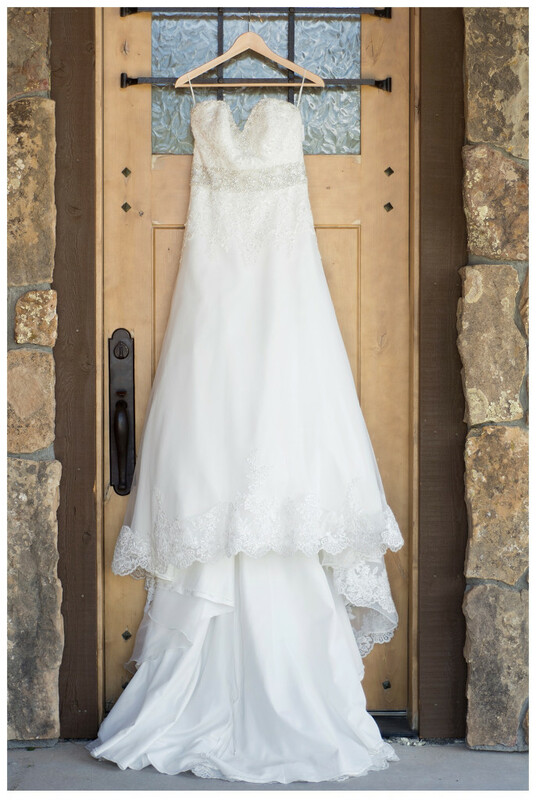 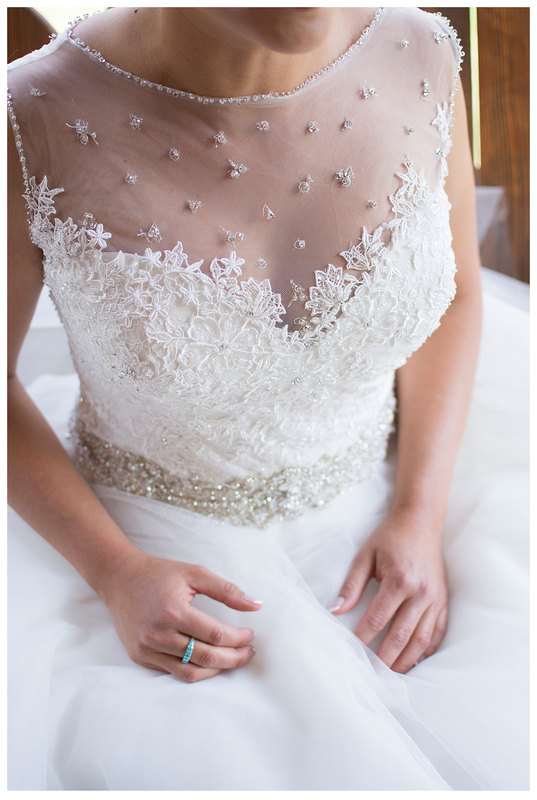 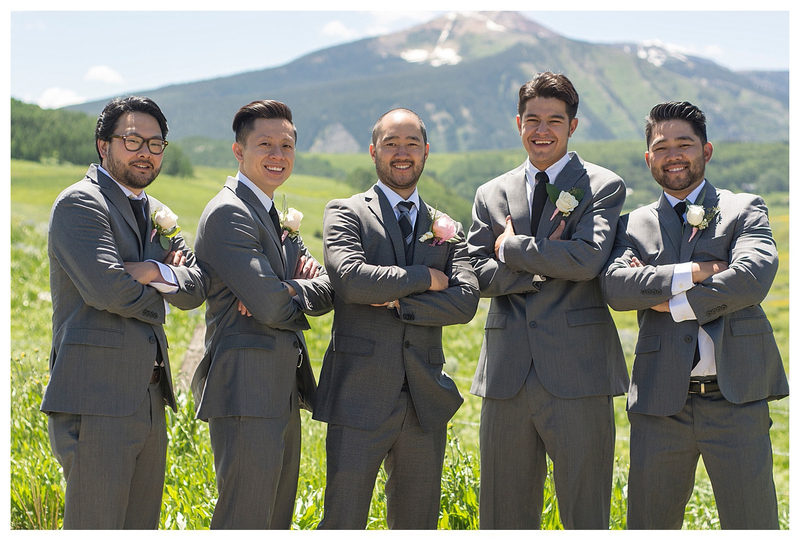 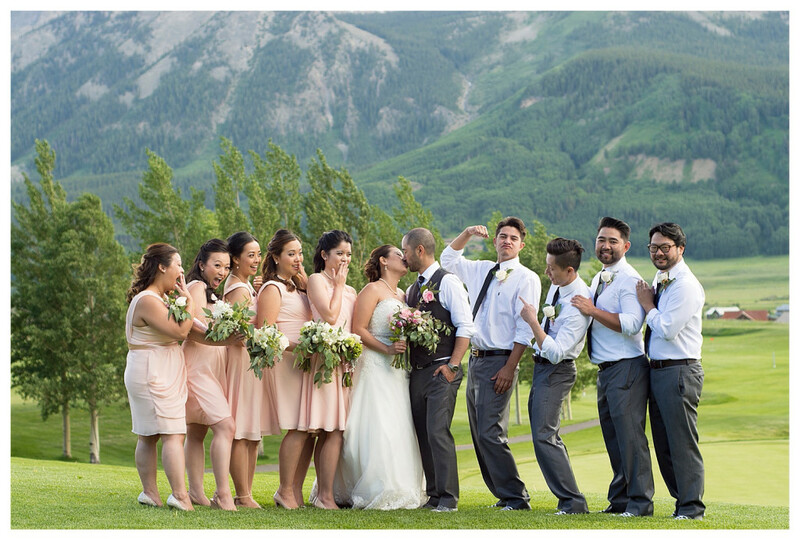 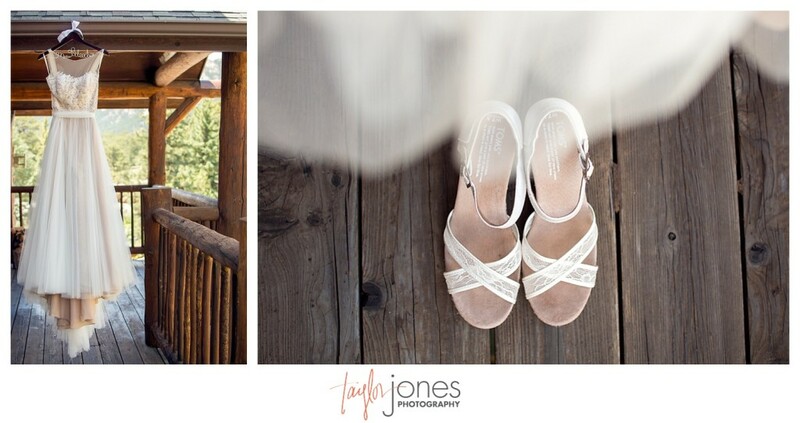 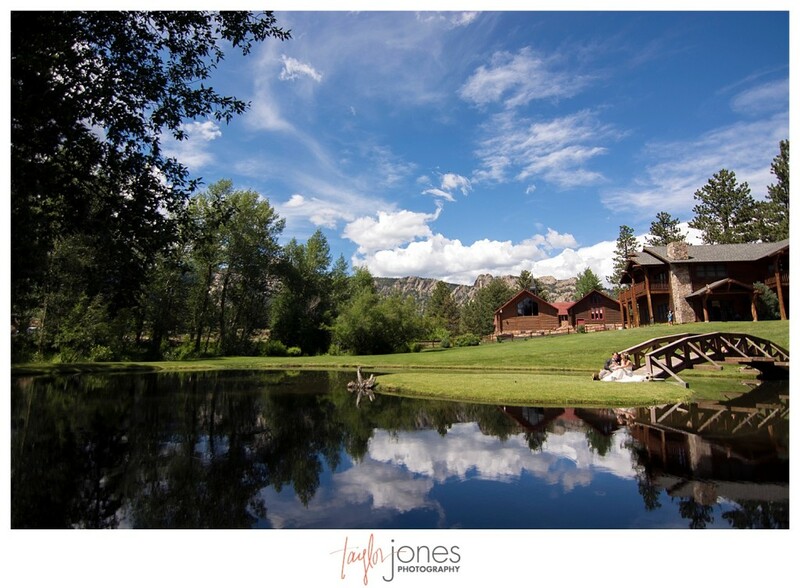 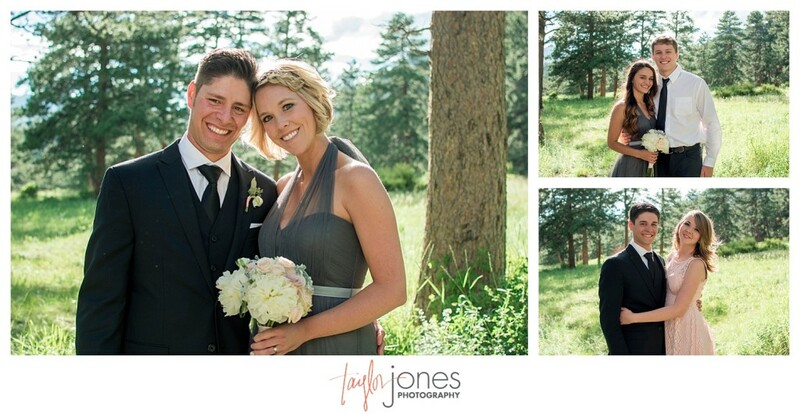 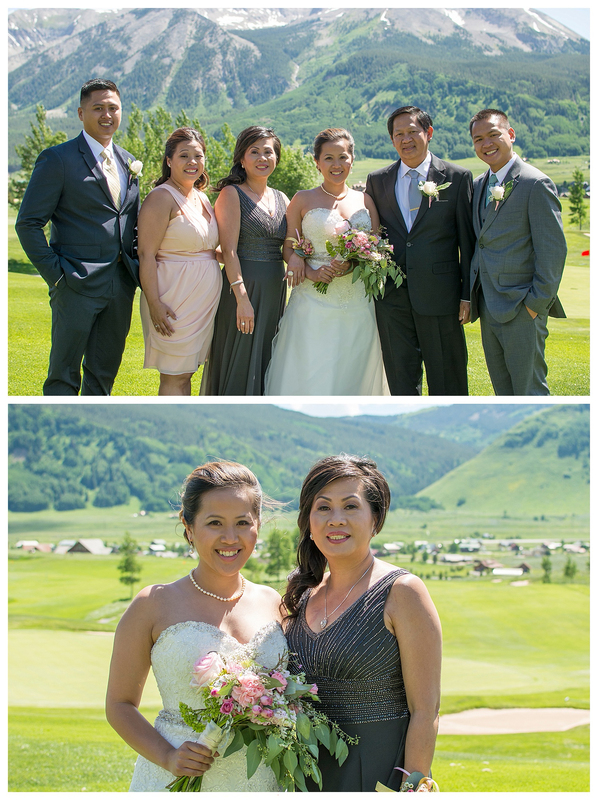 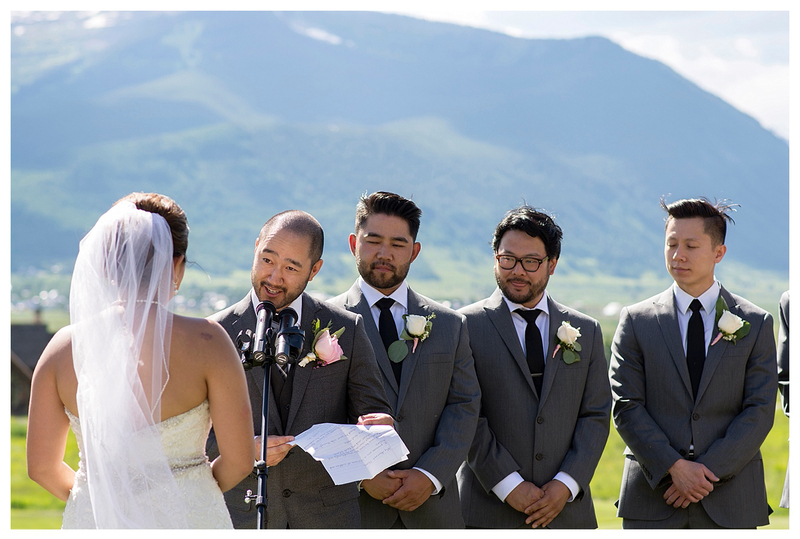 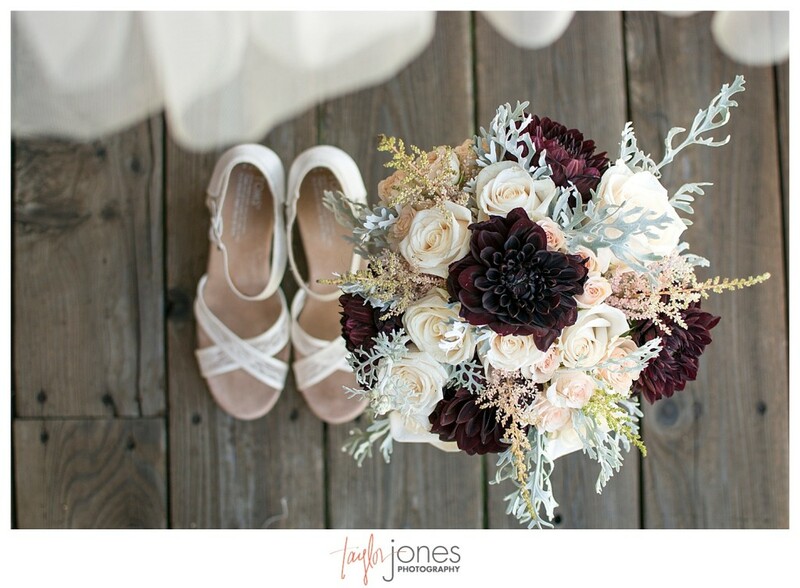 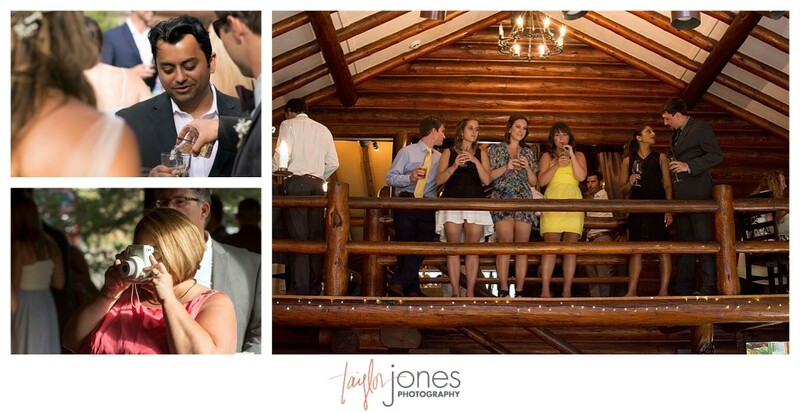 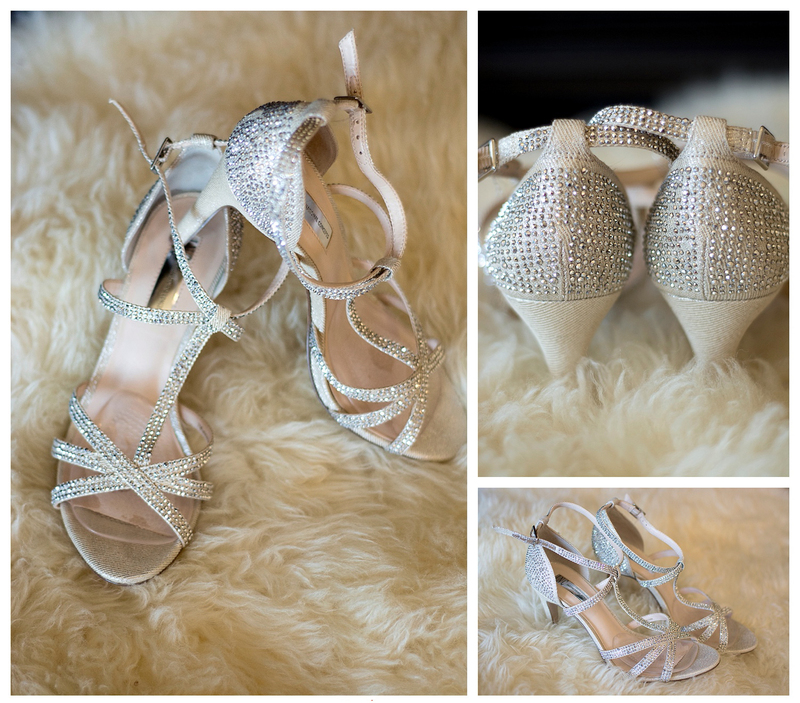 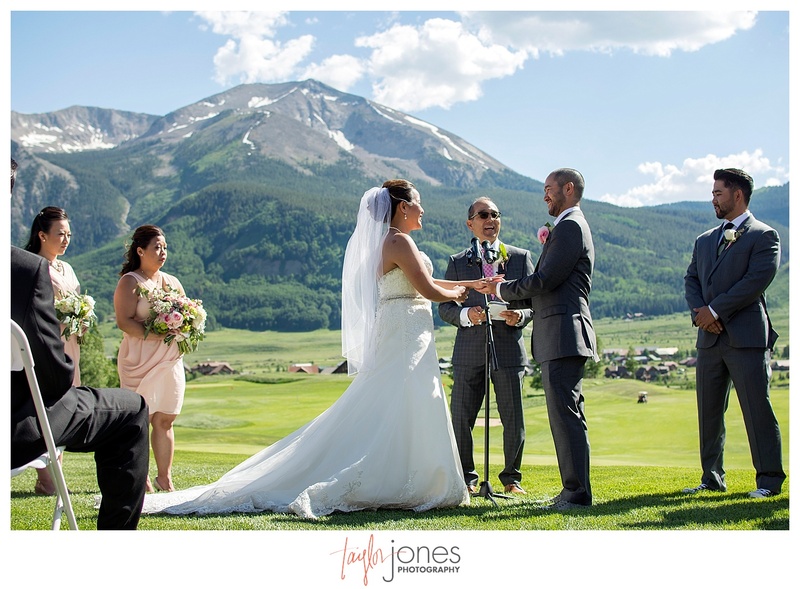 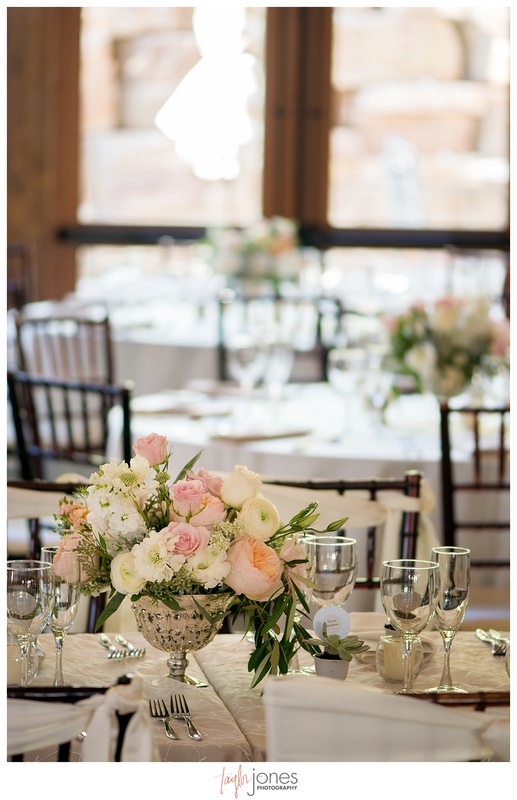 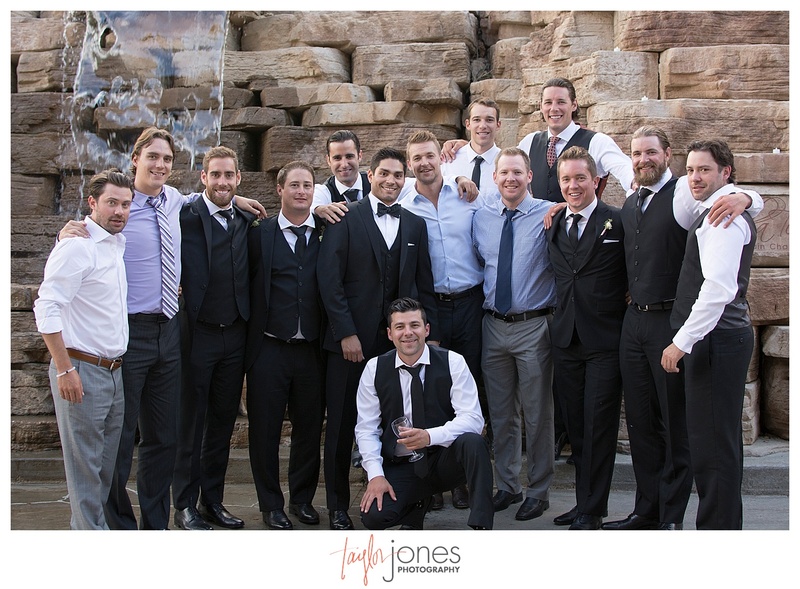 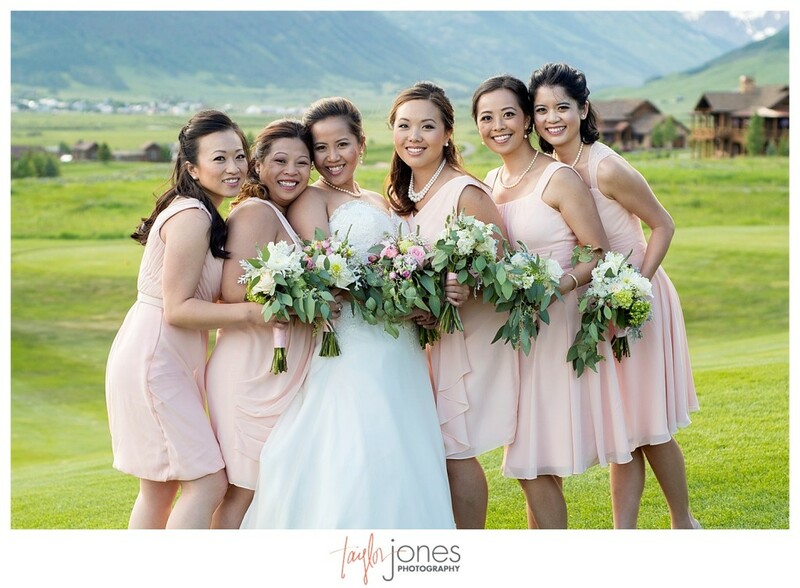 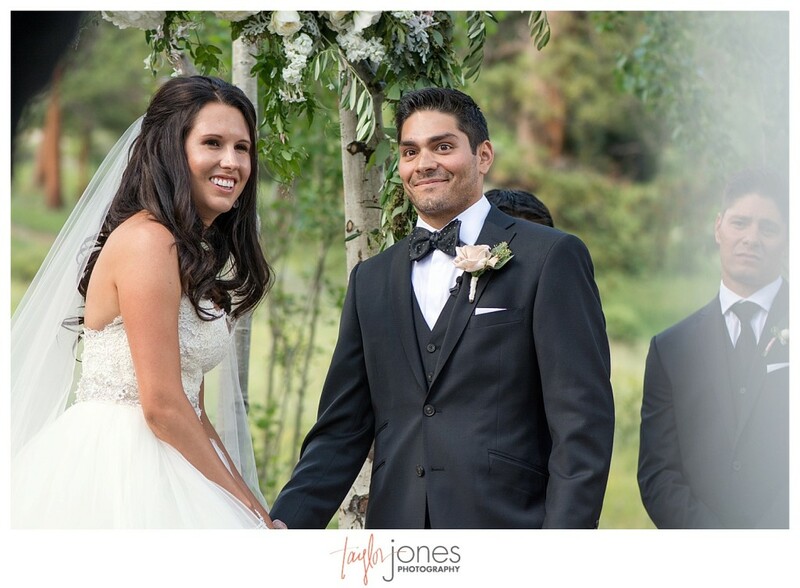 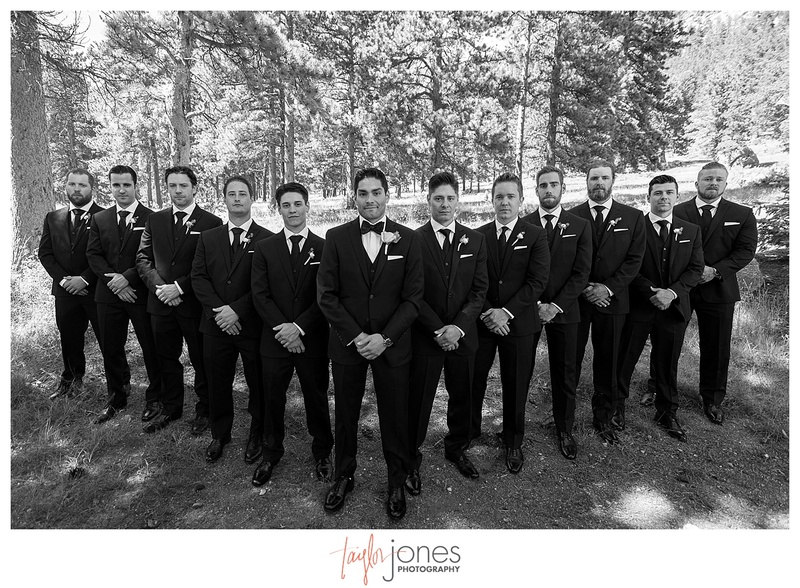 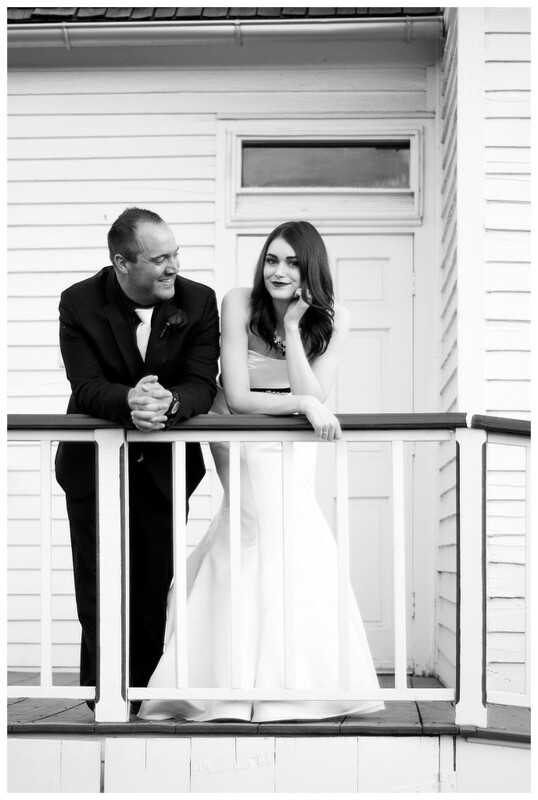 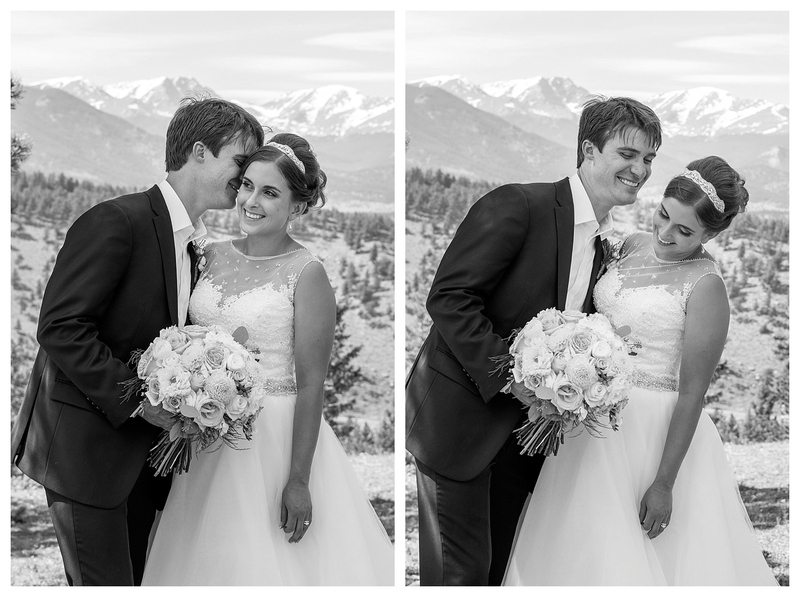 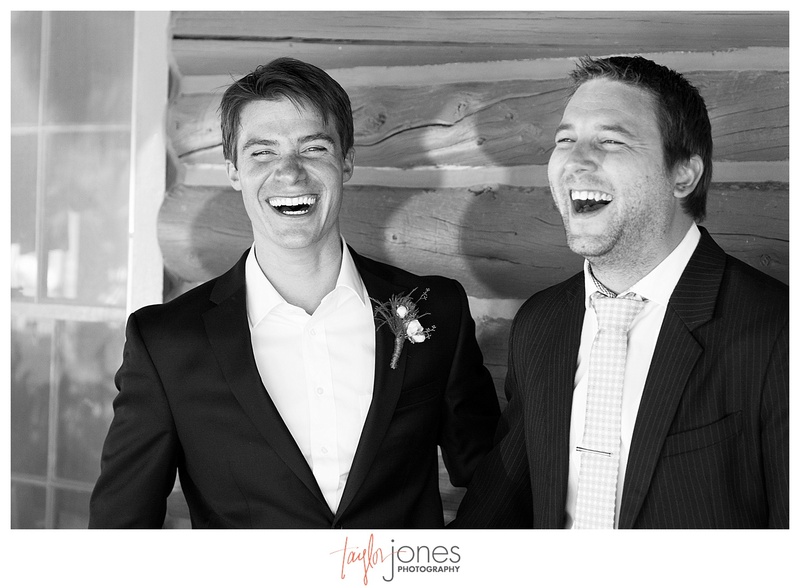 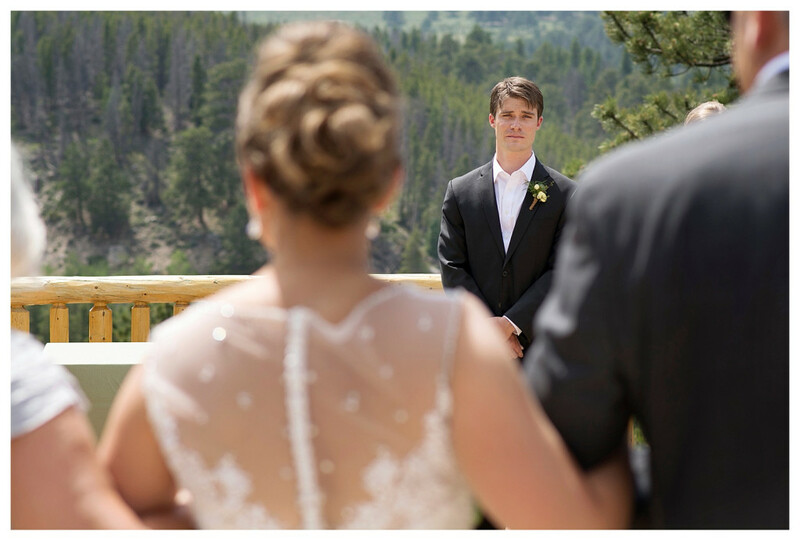 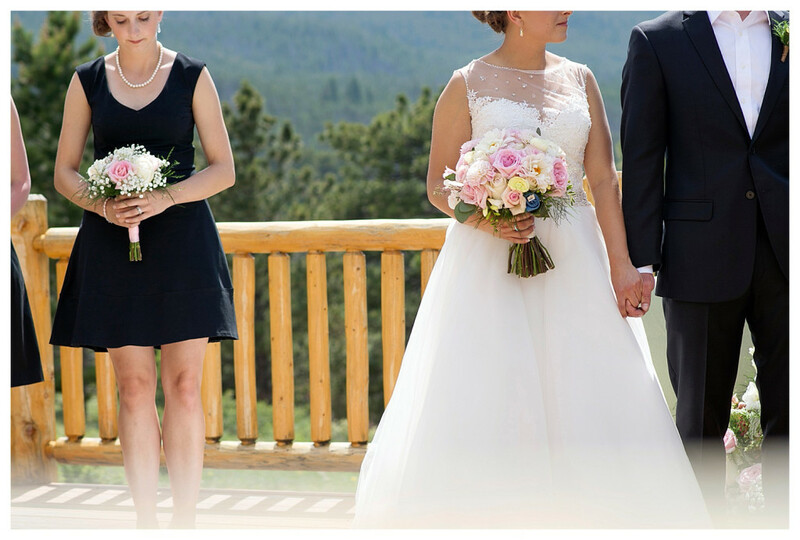 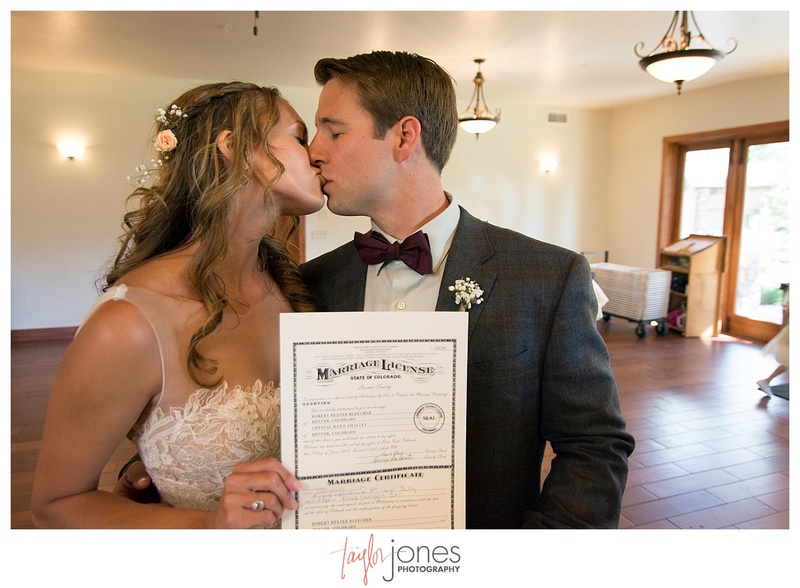 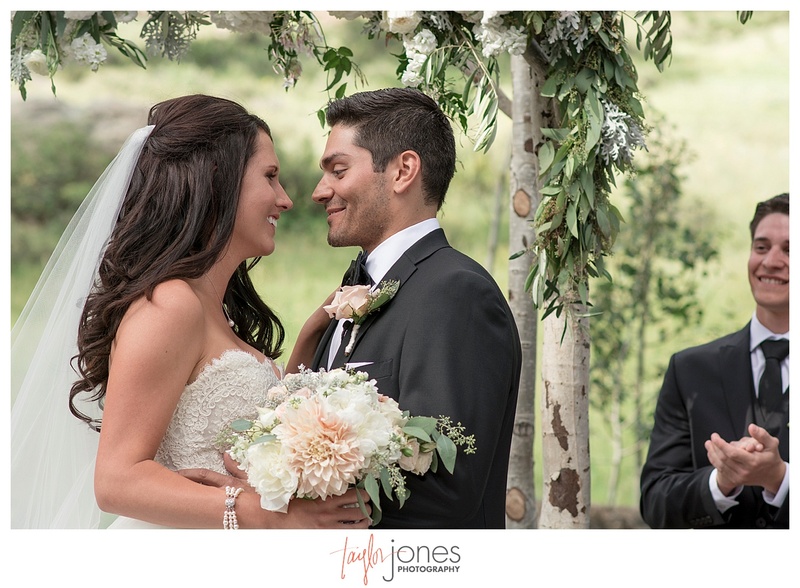 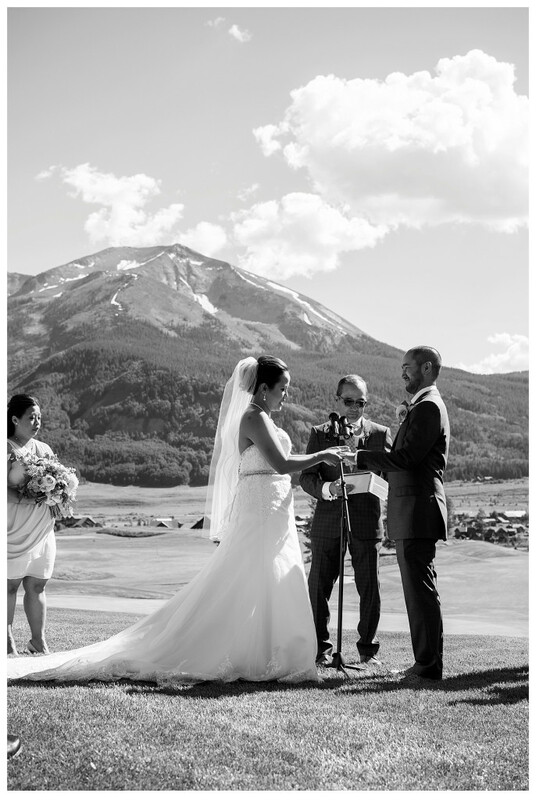 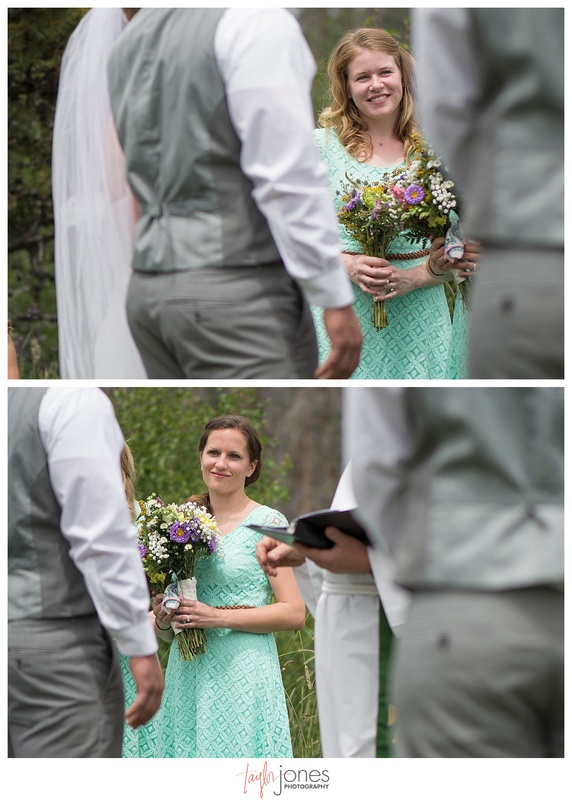 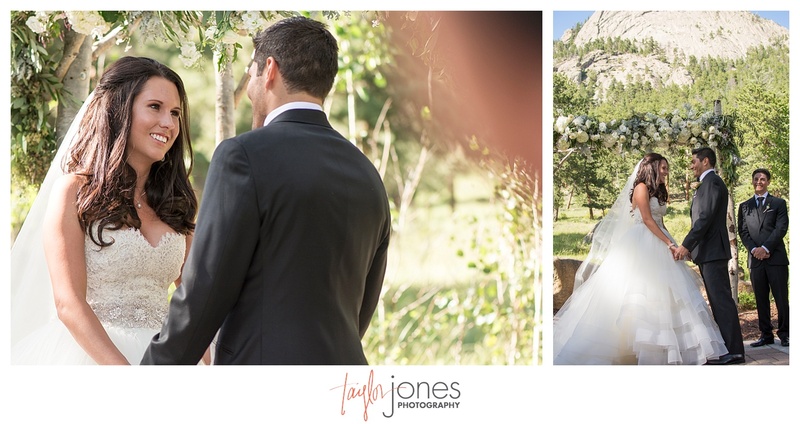 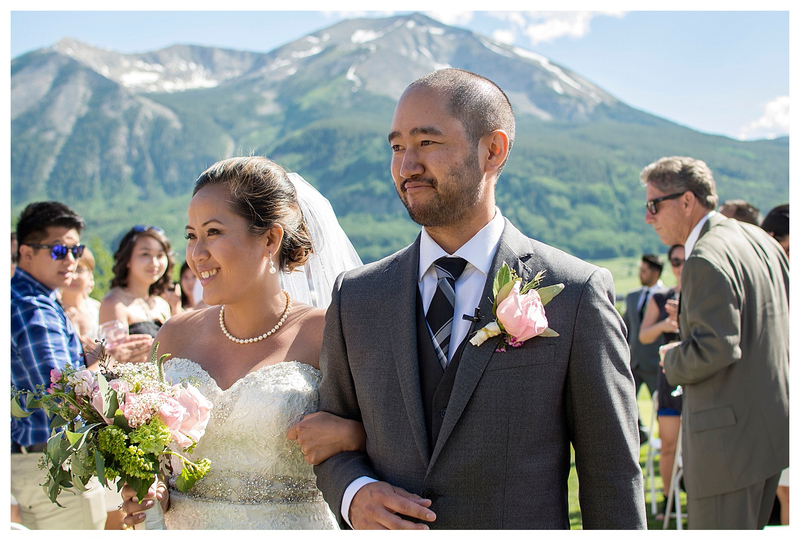 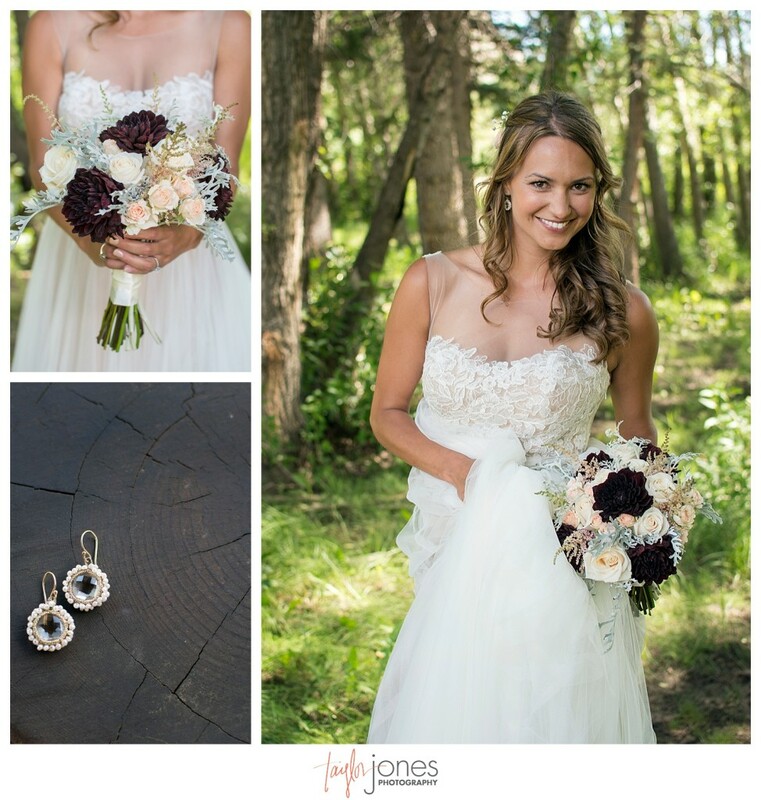 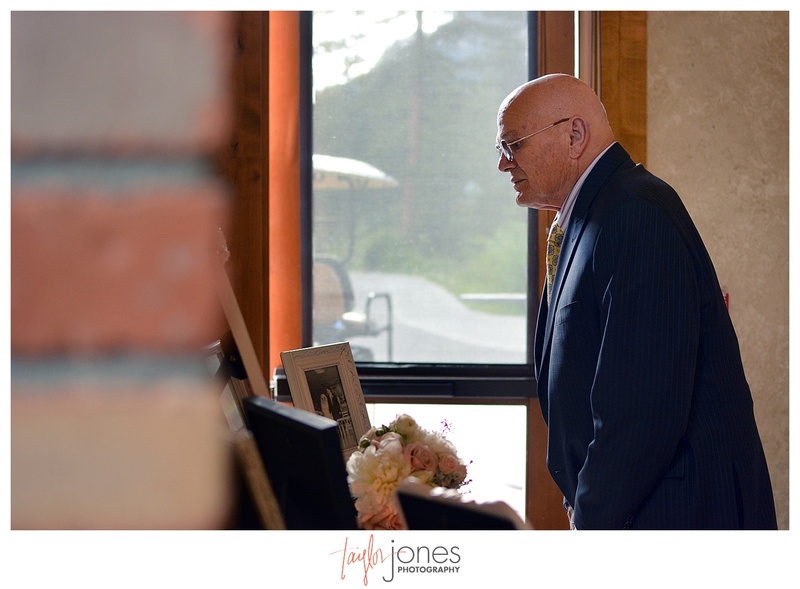 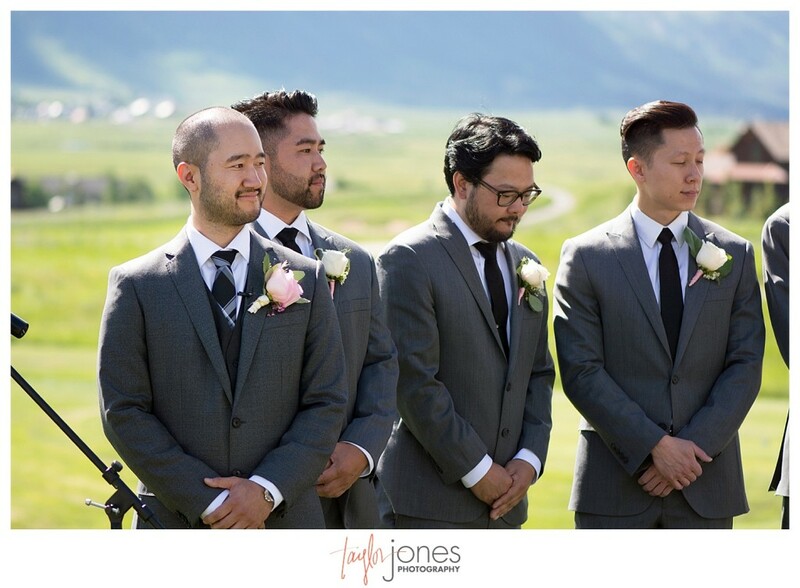 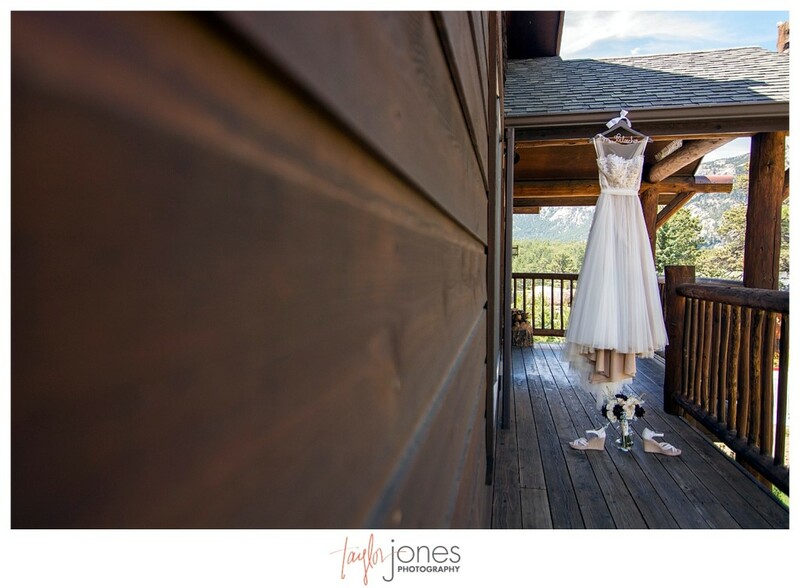 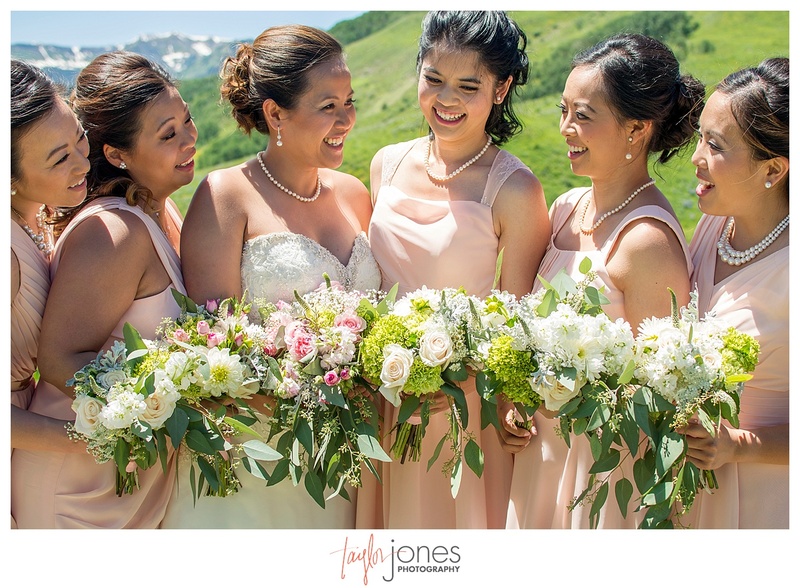 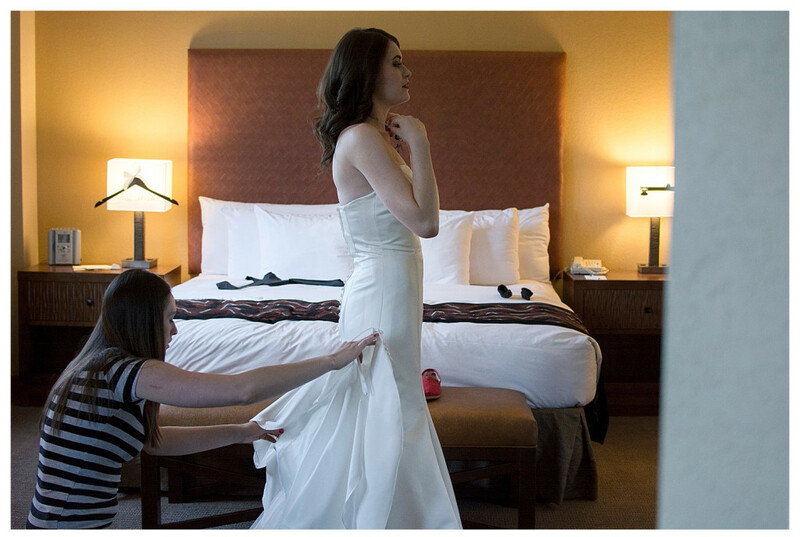 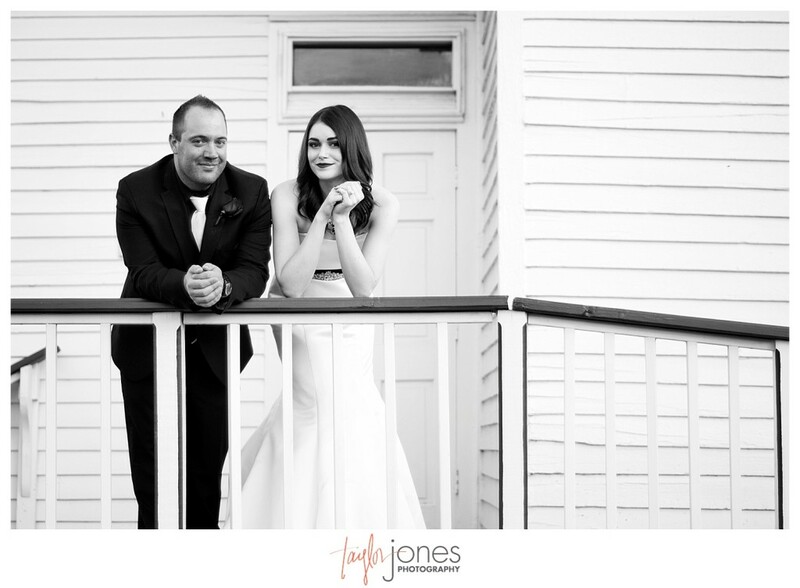 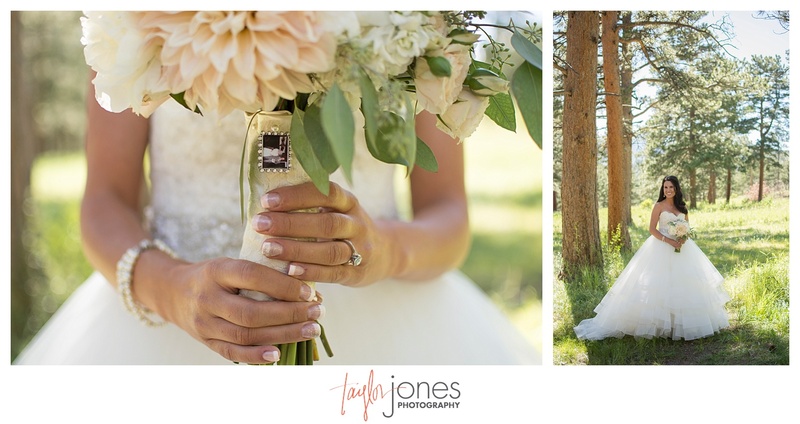 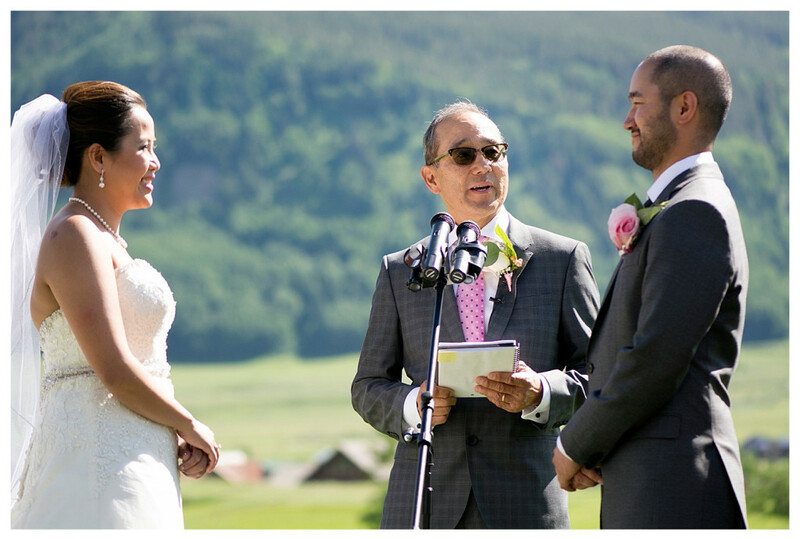 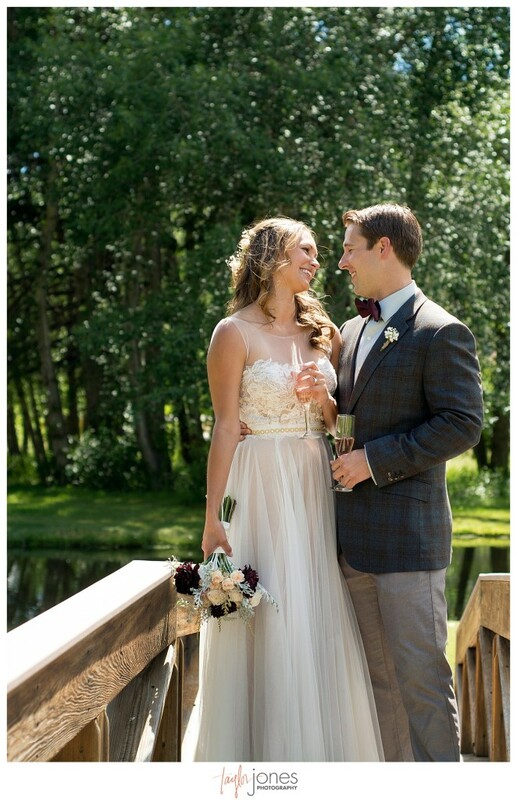 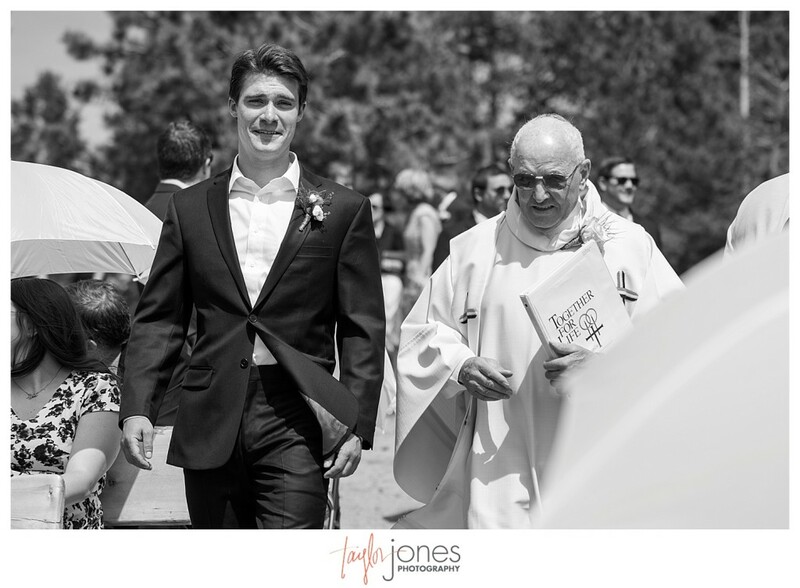 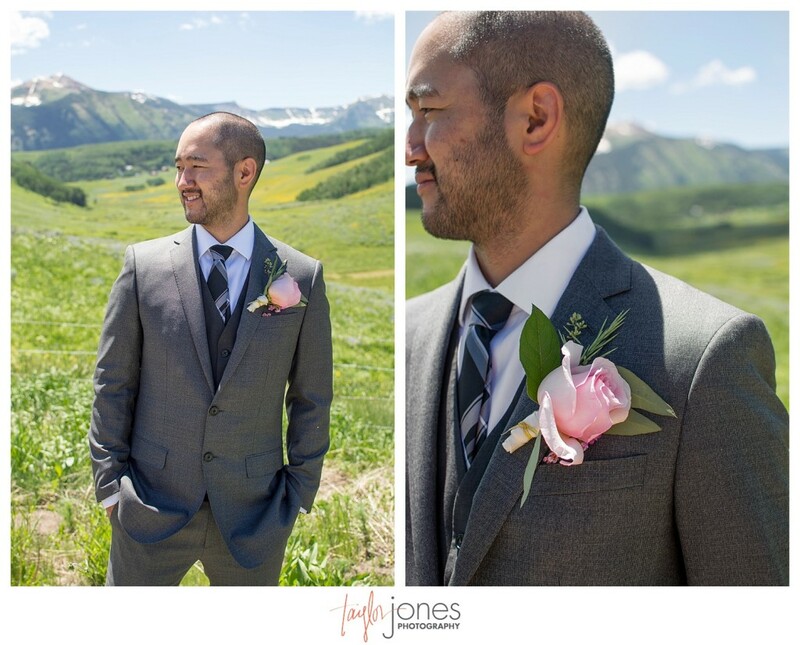 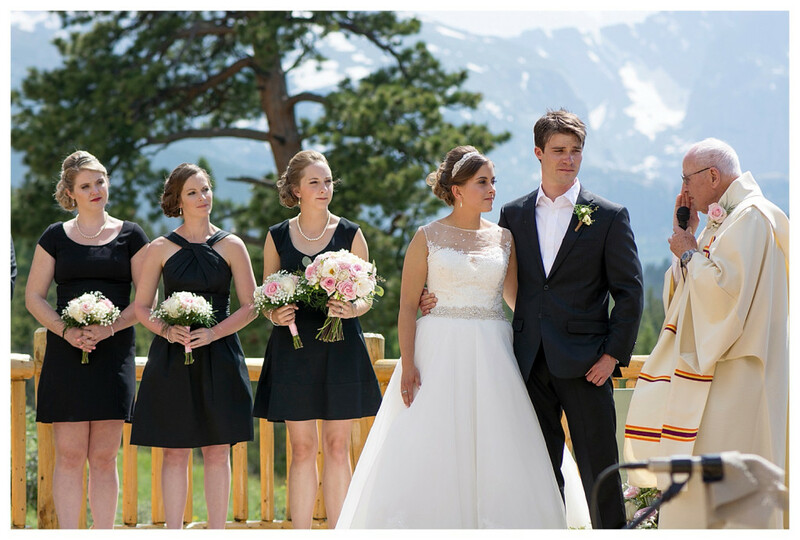 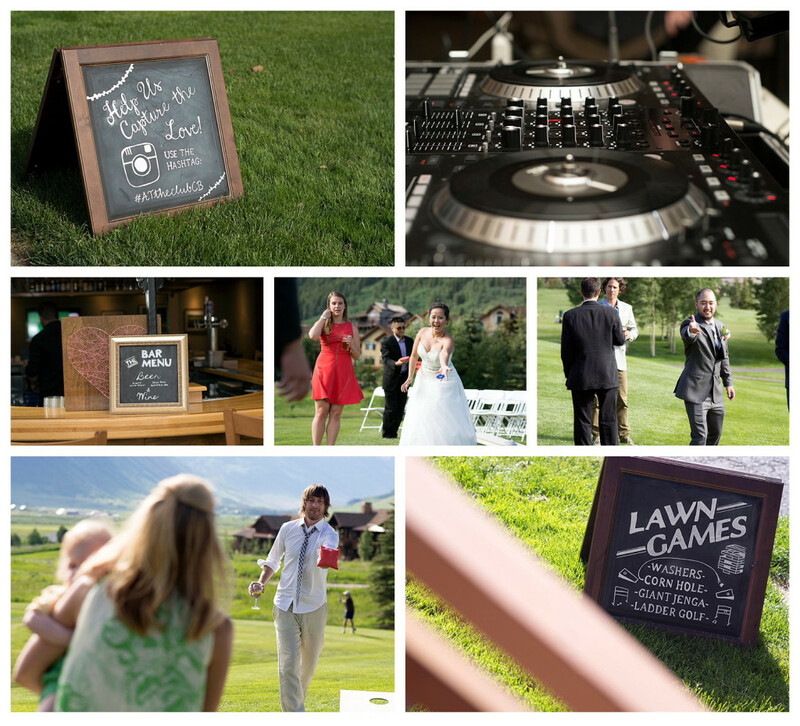 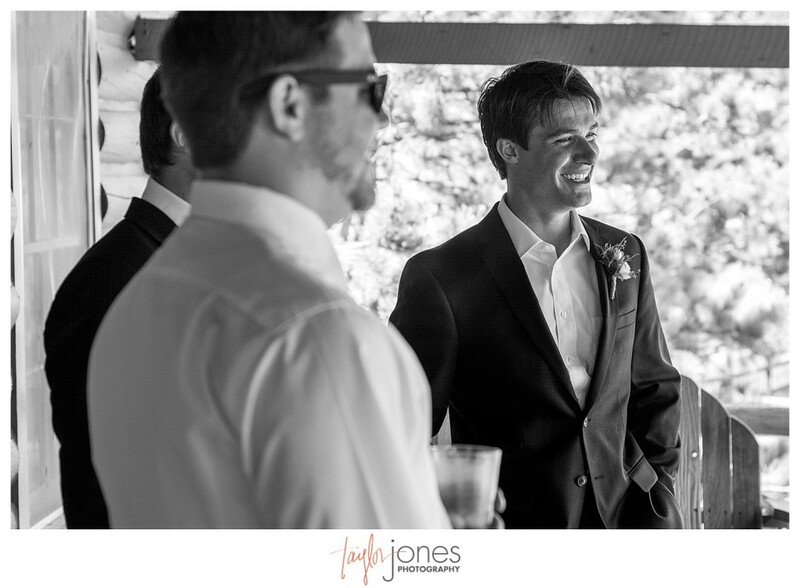 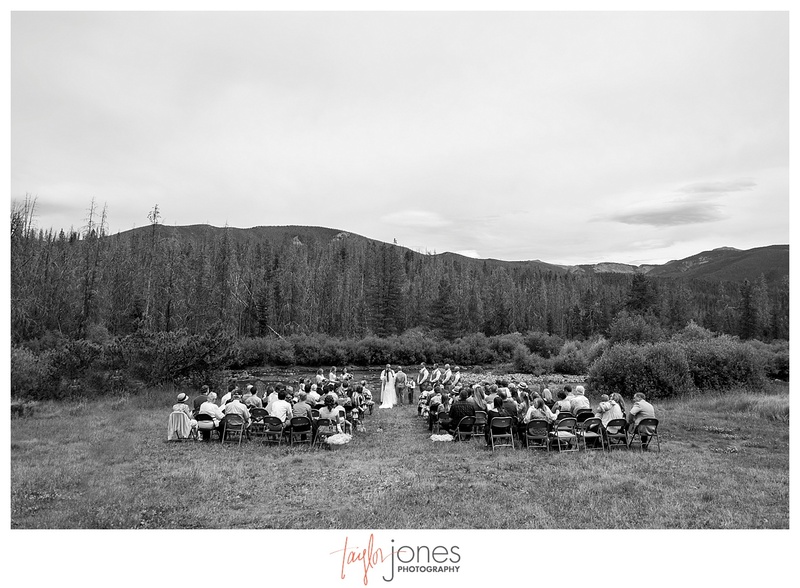 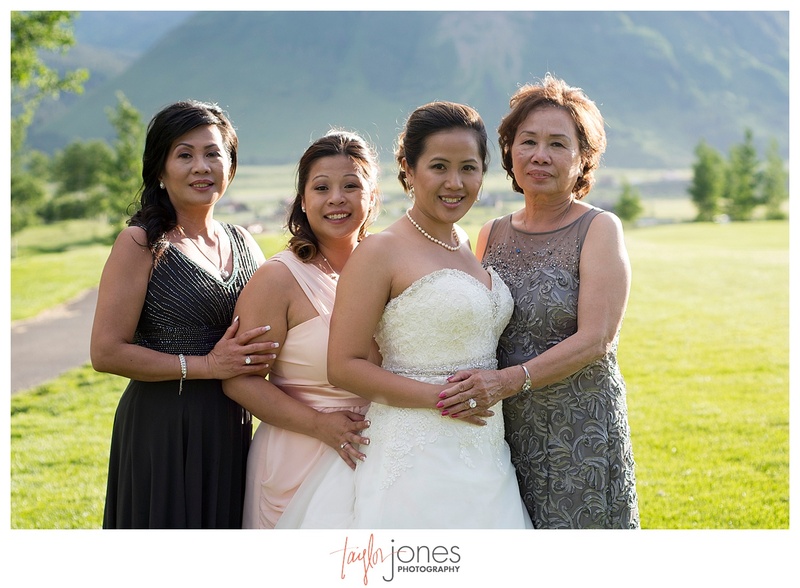 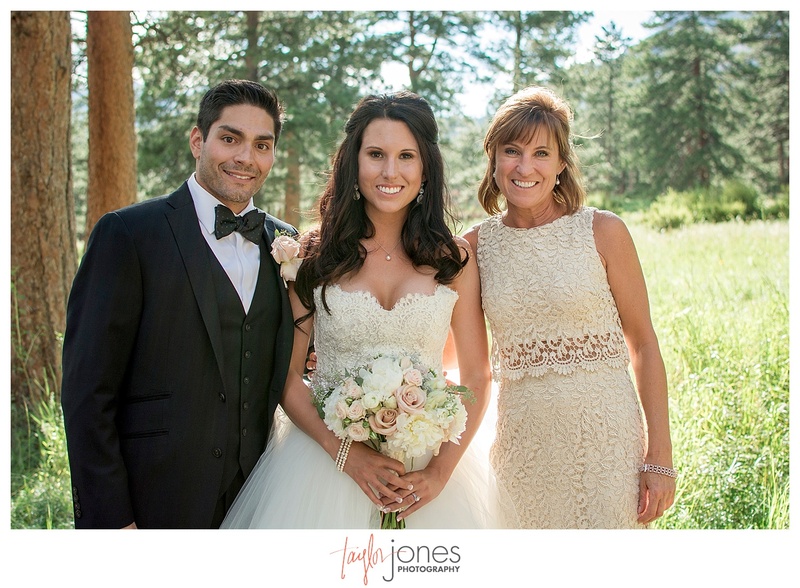 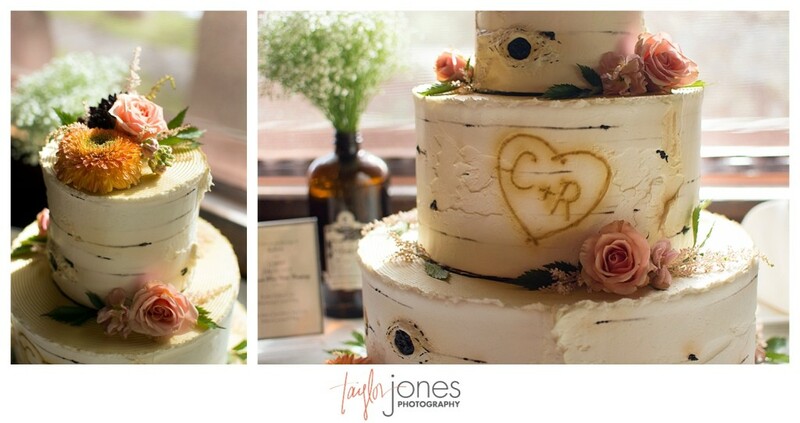 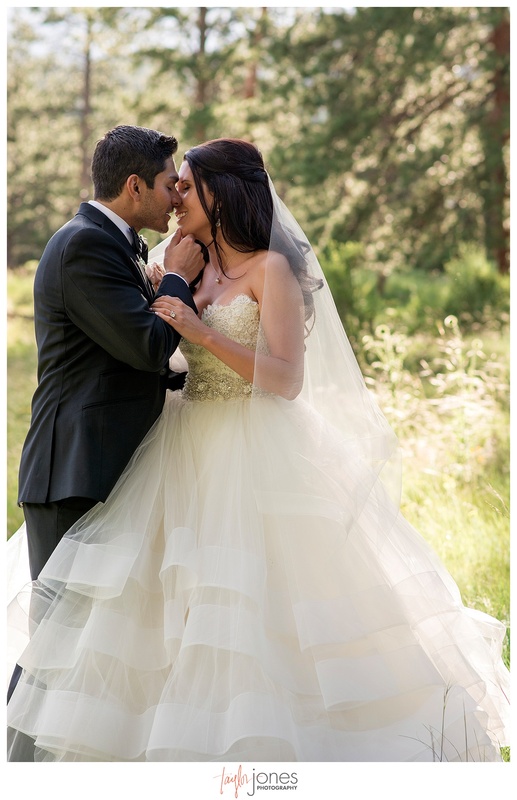 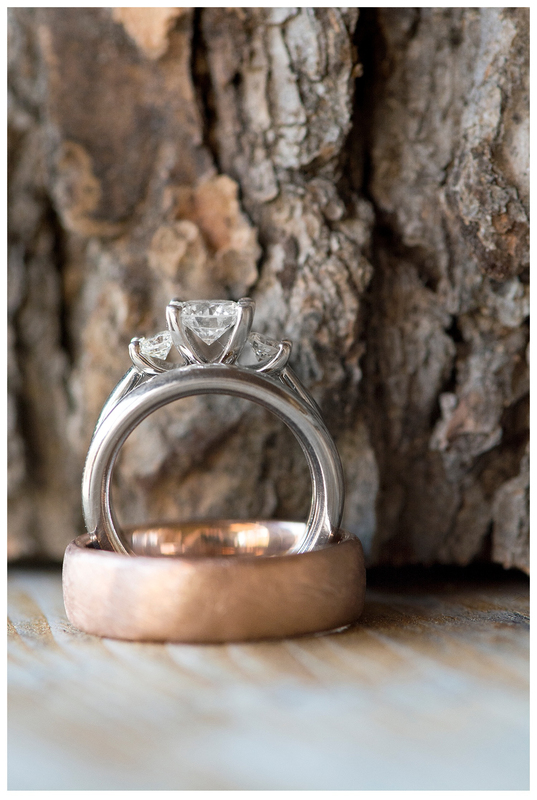 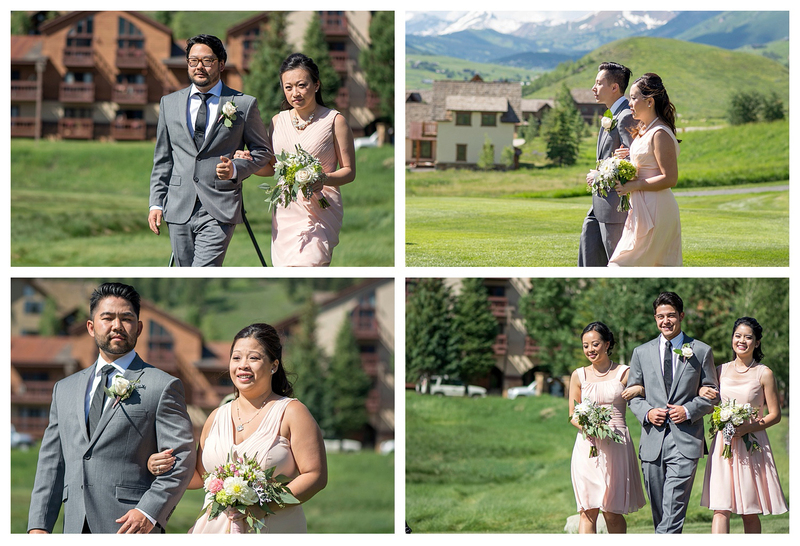 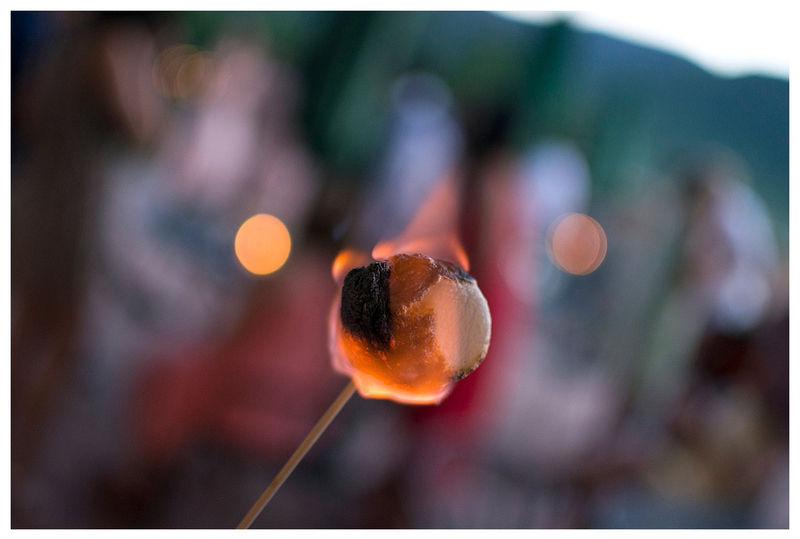 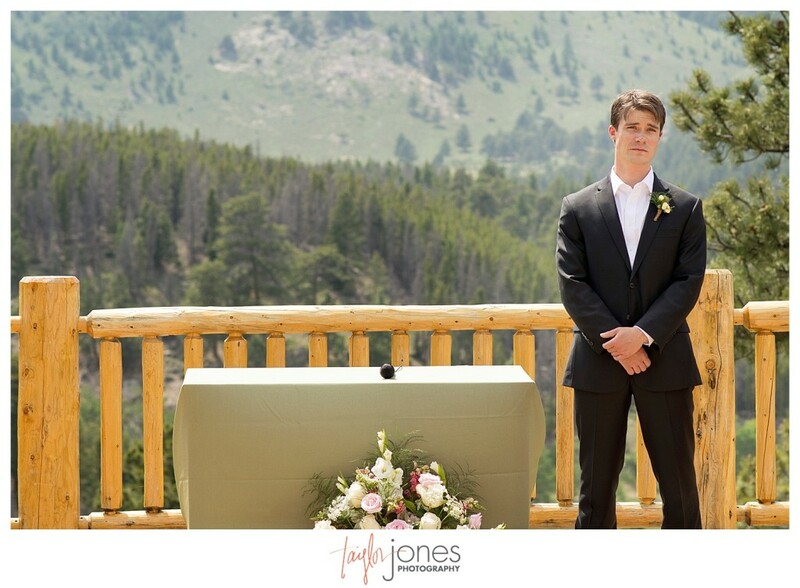 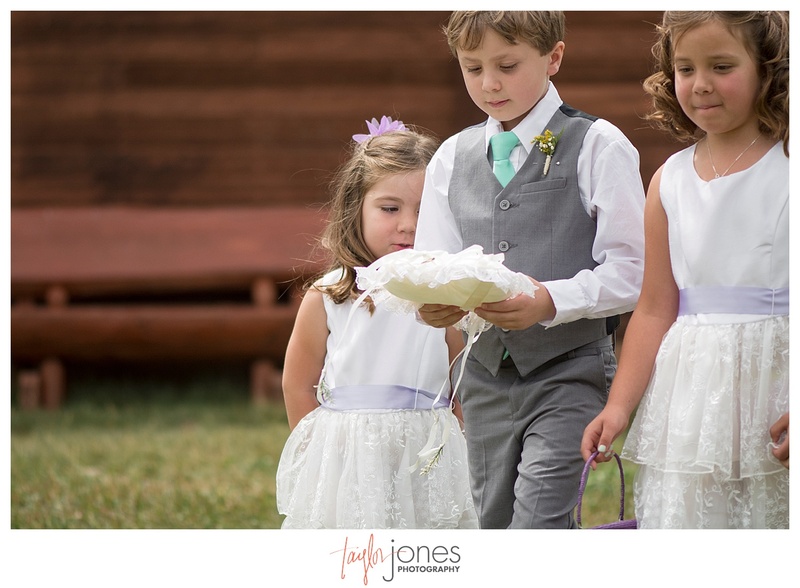 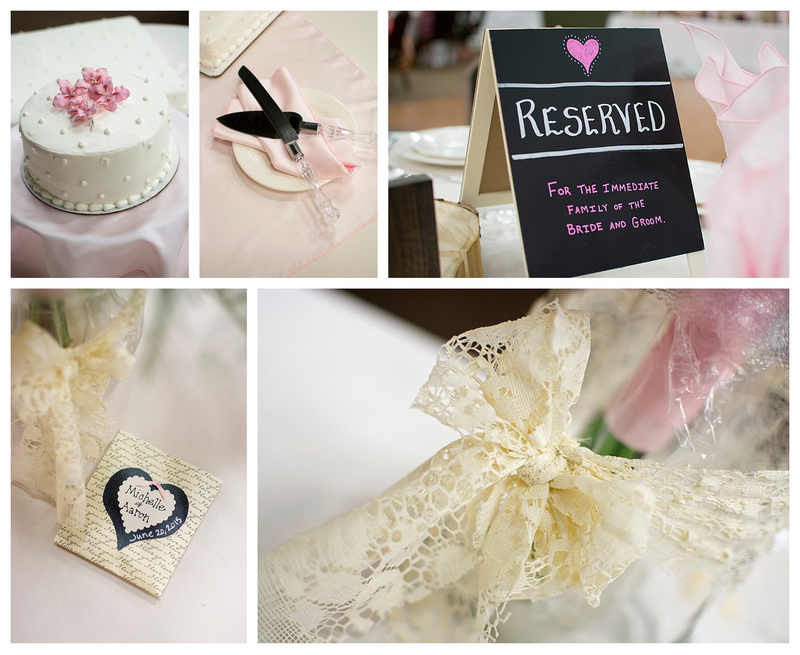 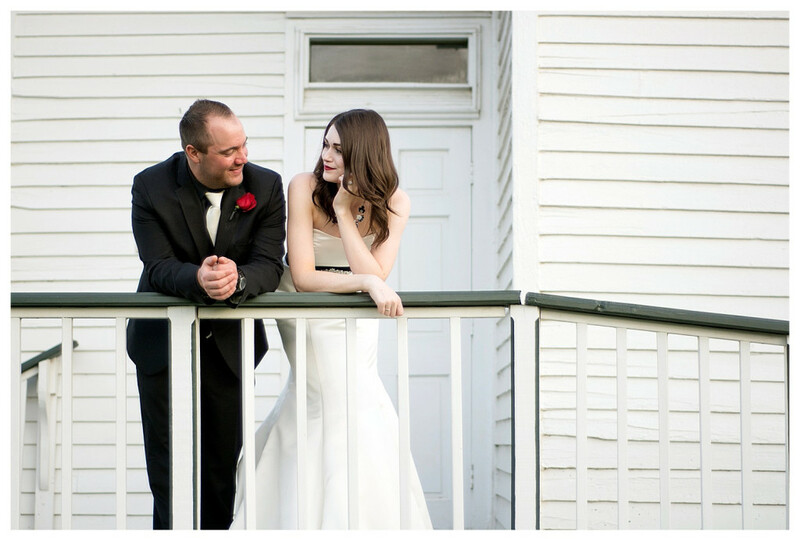 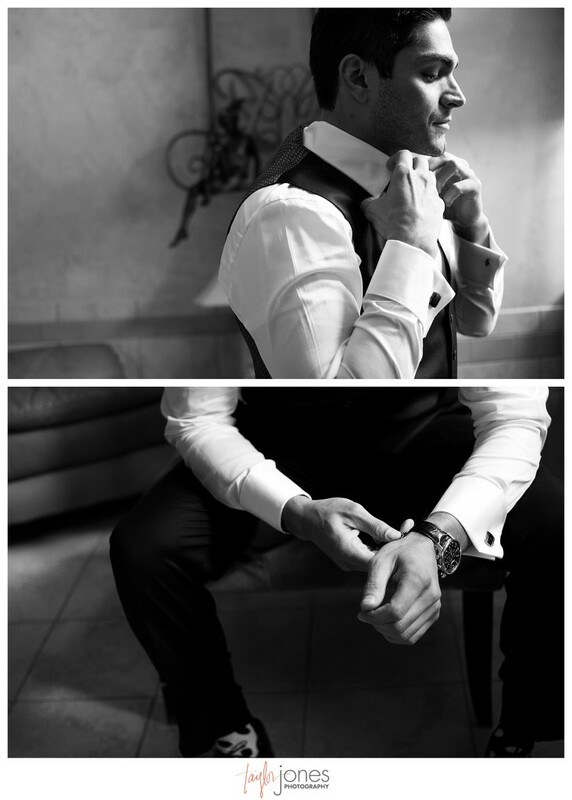 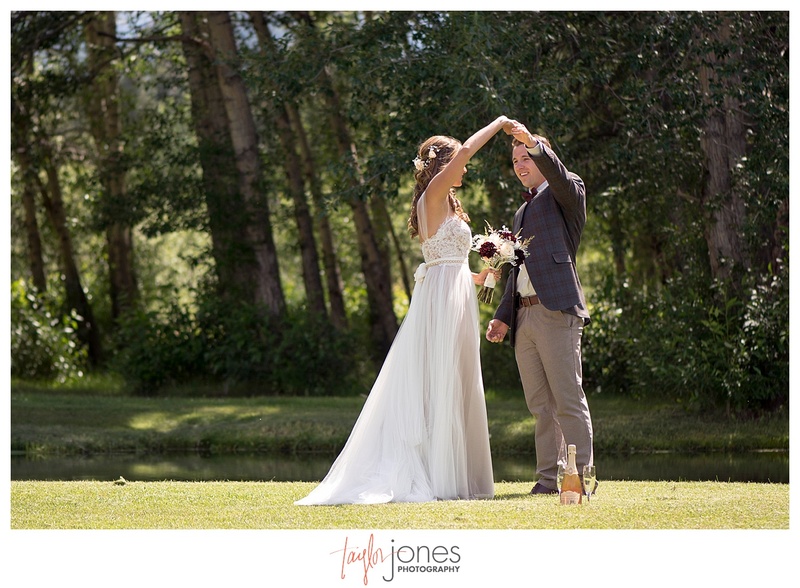 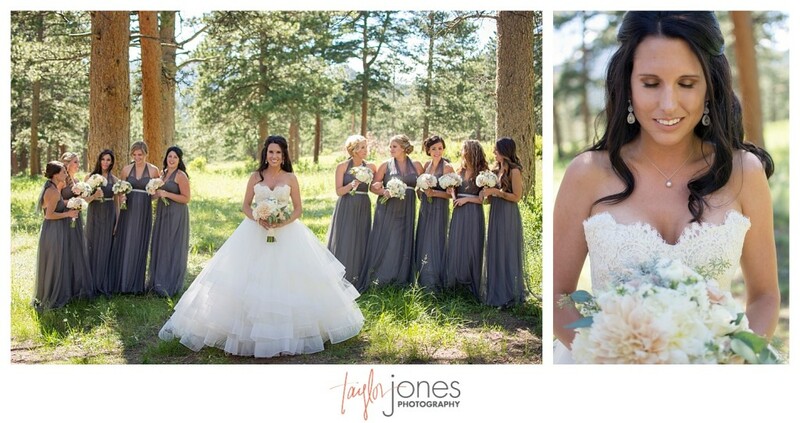 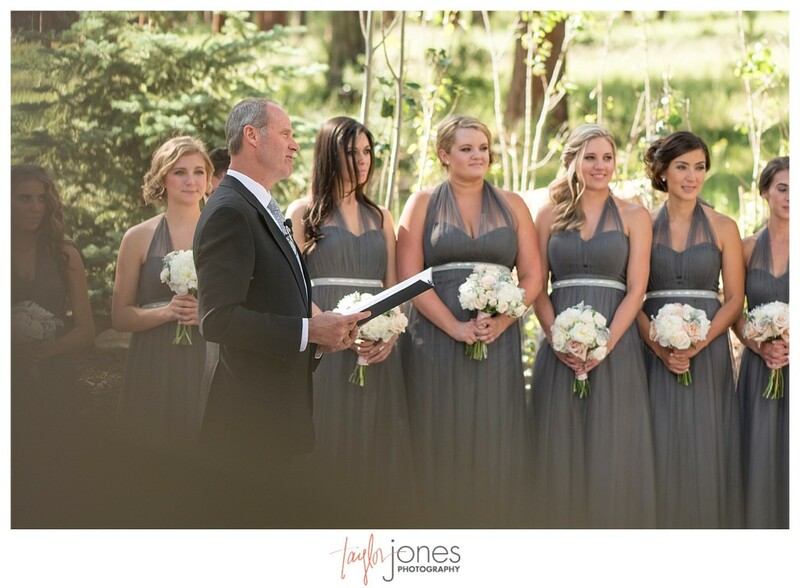 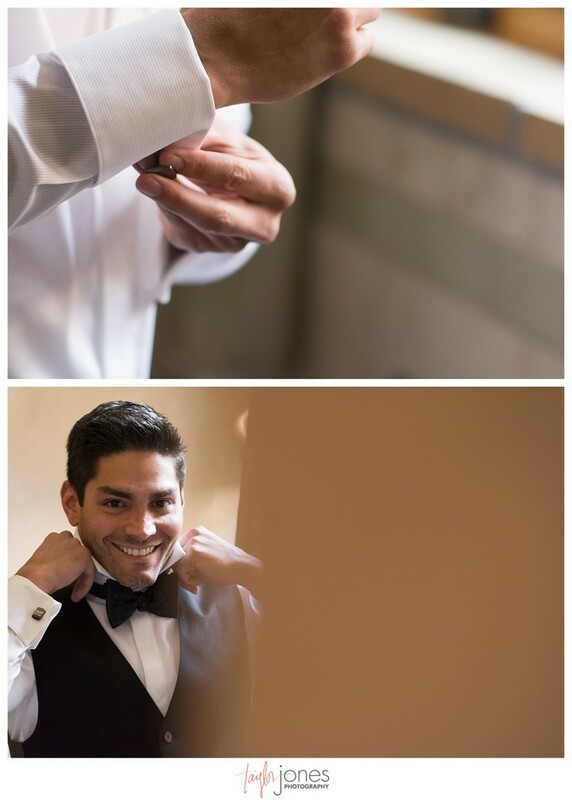 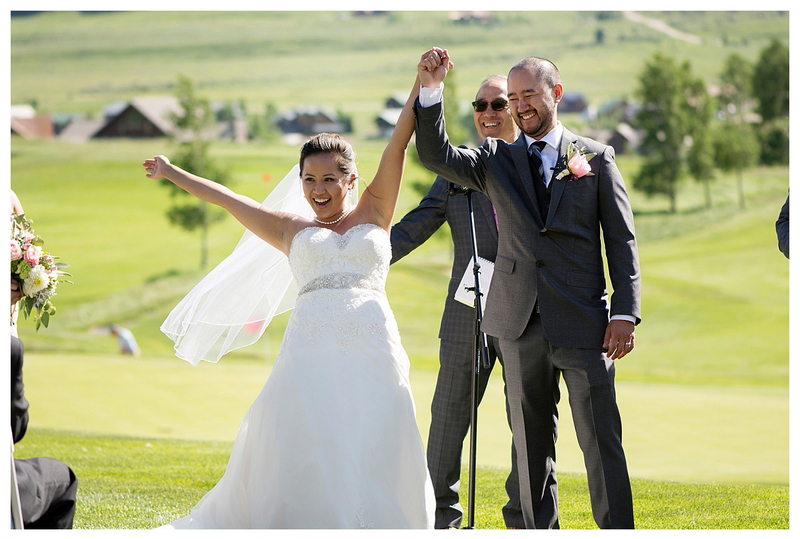 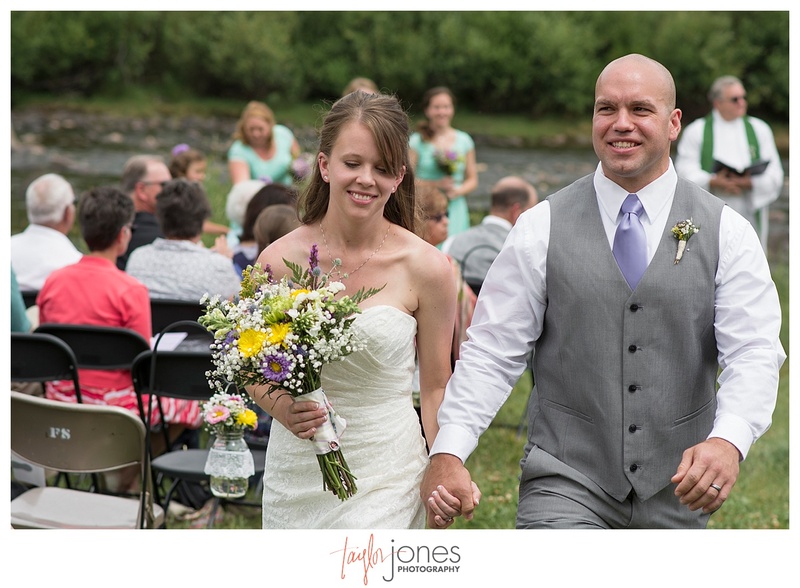 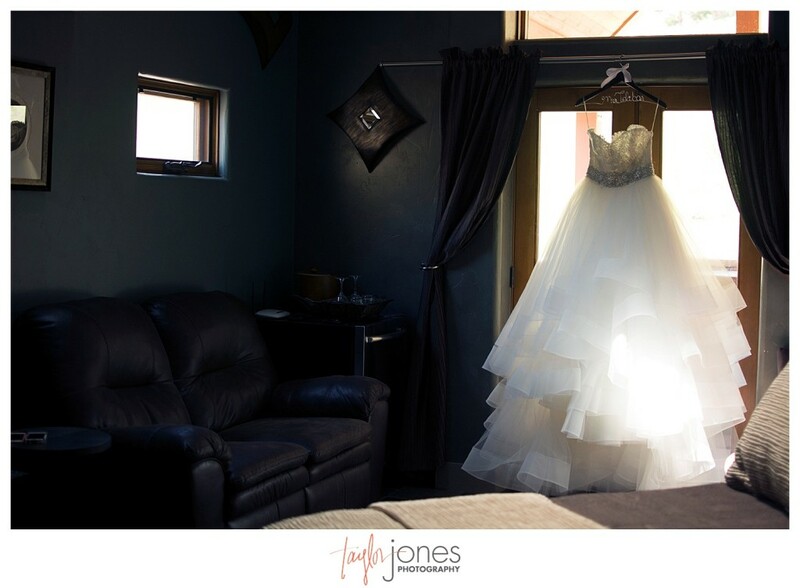 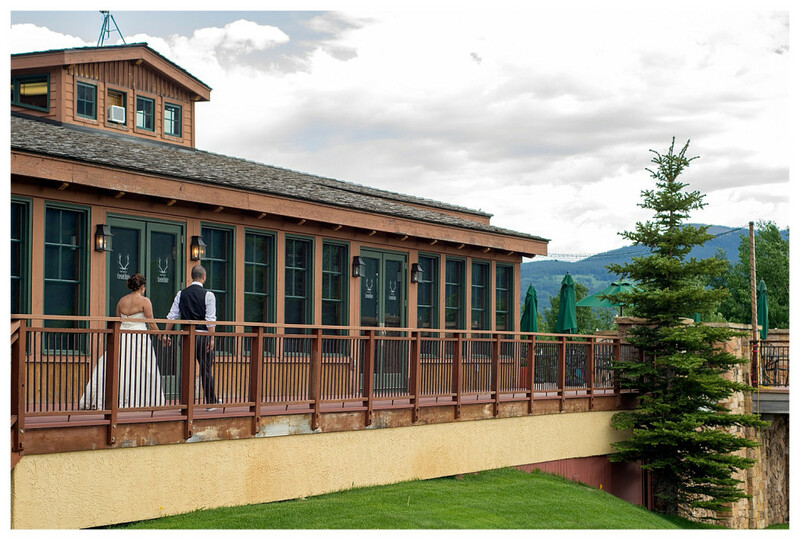 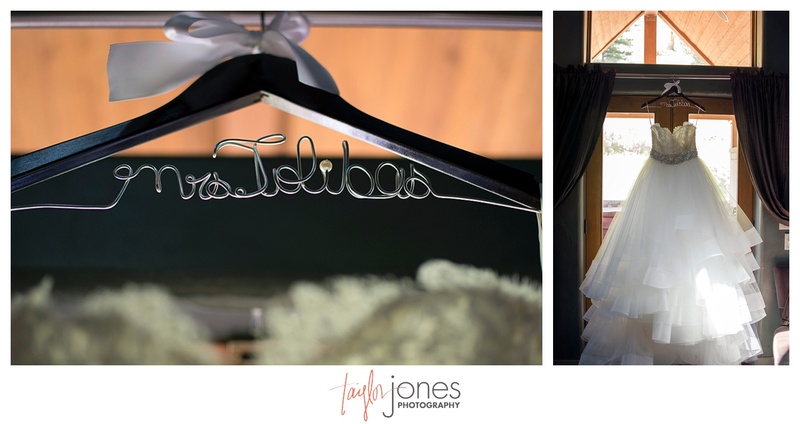 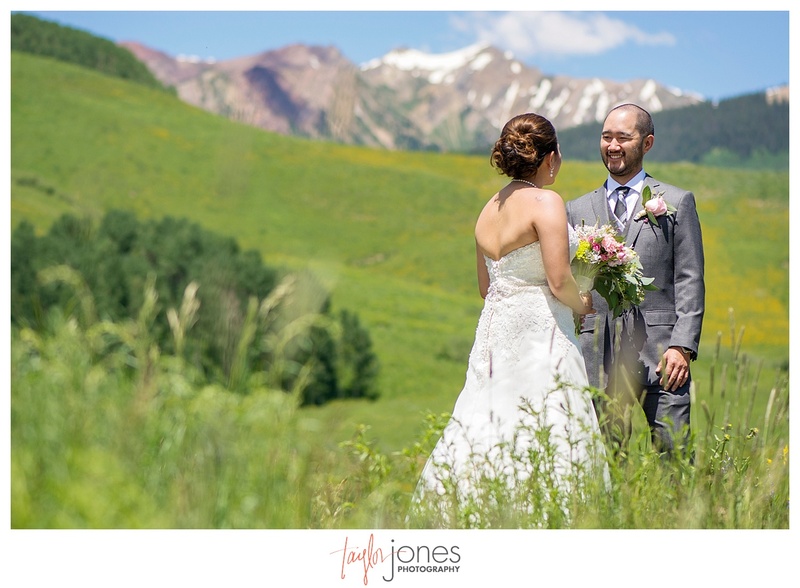 We’re so excited to share this wedding from one of our favorite mountain towns in Colorado: Crested Butte. 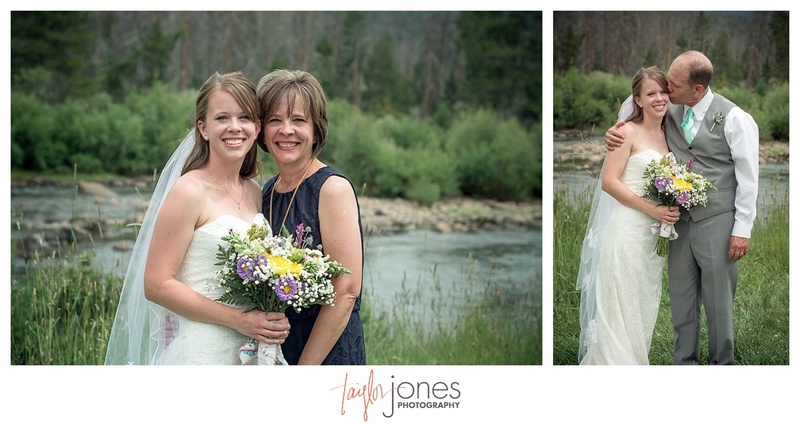 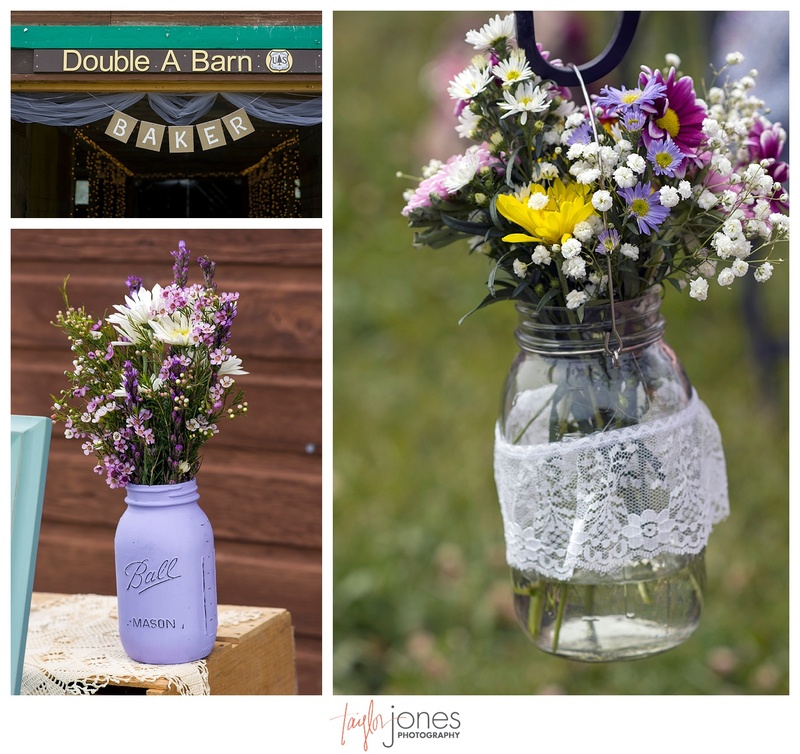 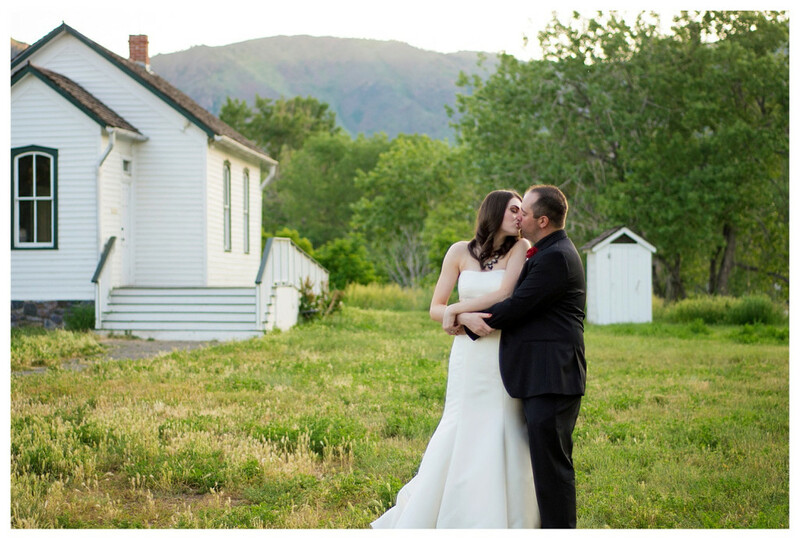 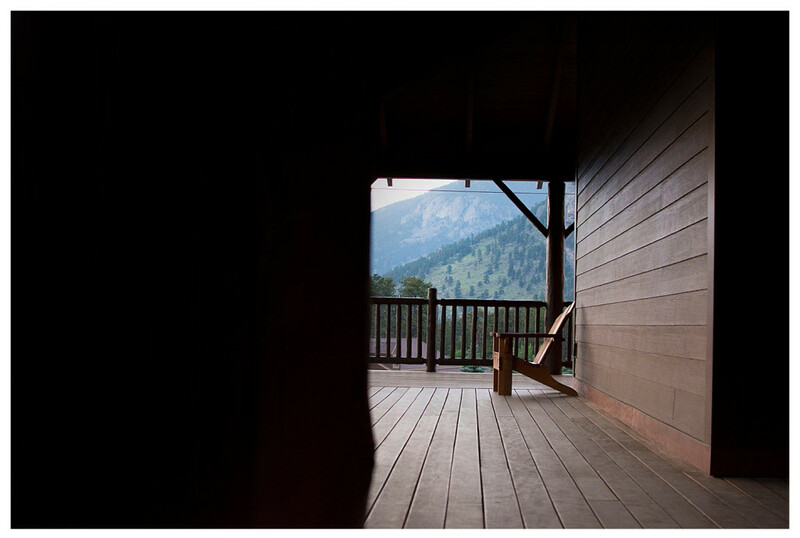 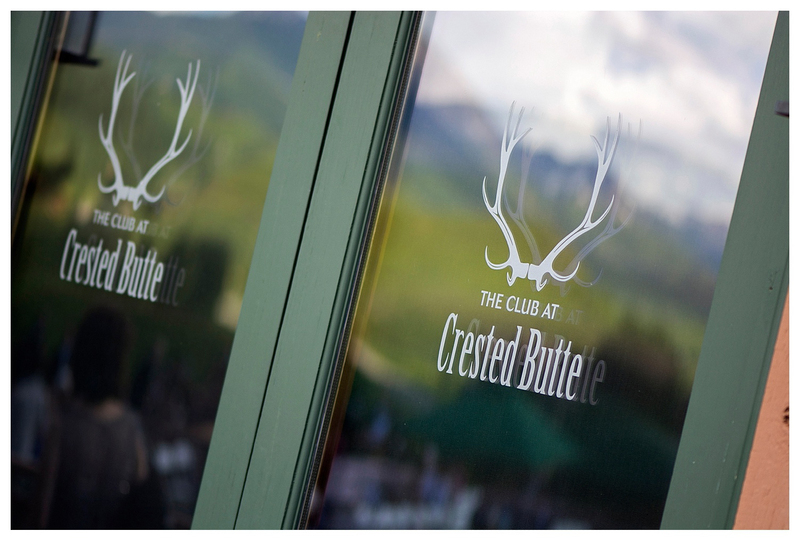 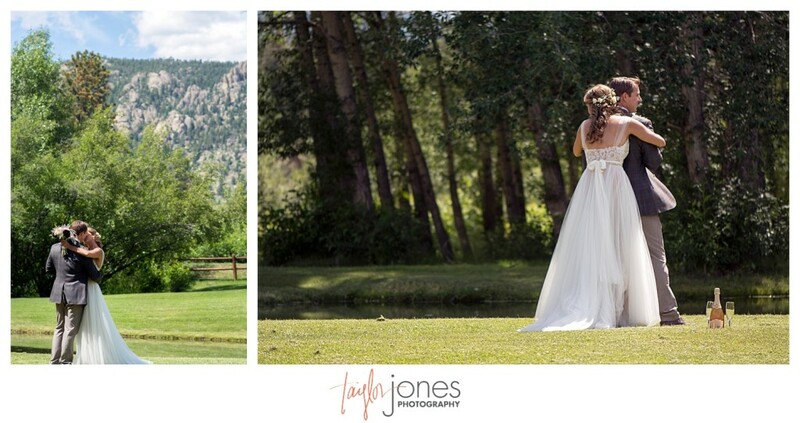 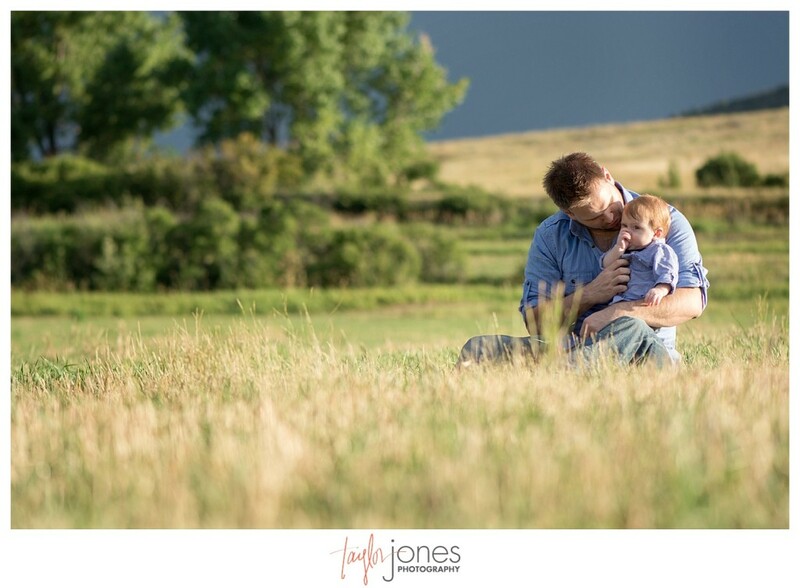 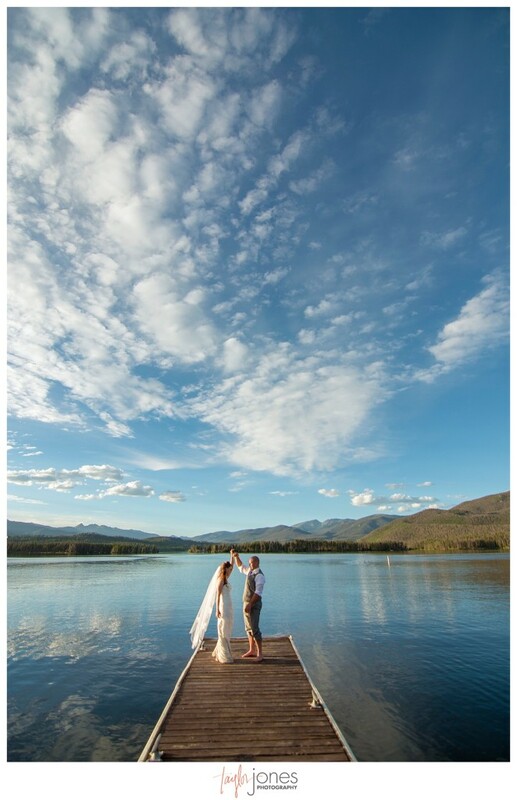 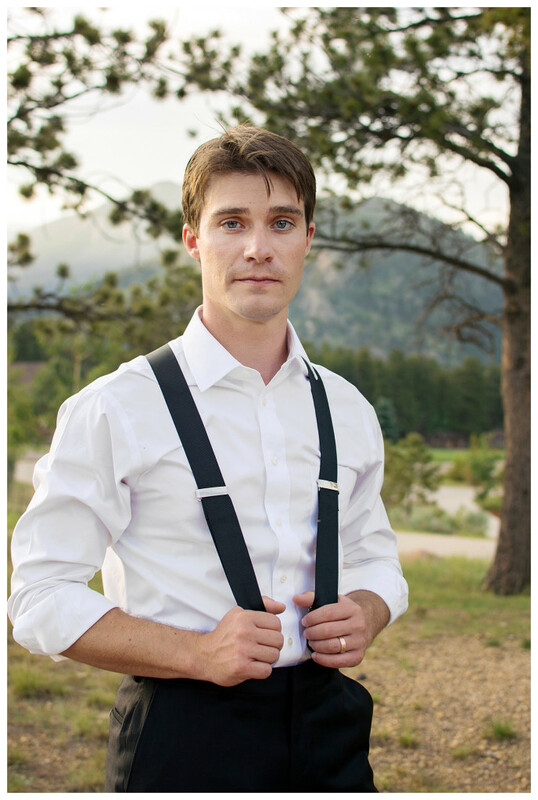 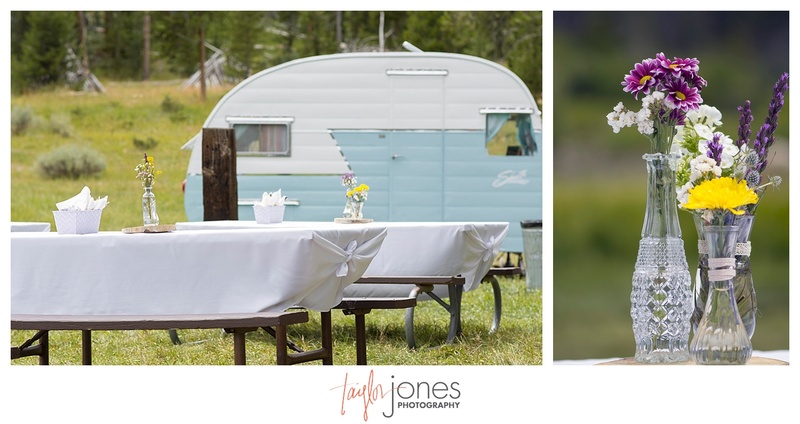 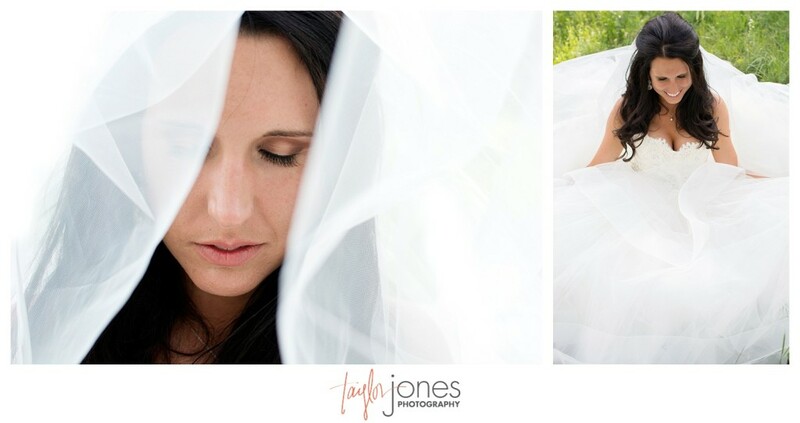 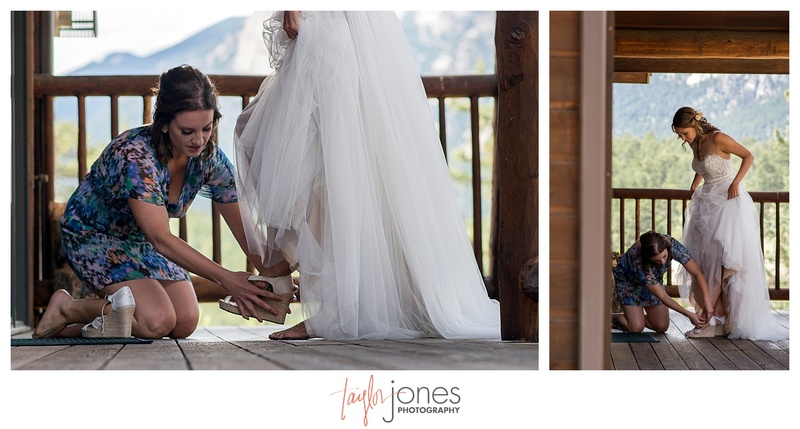 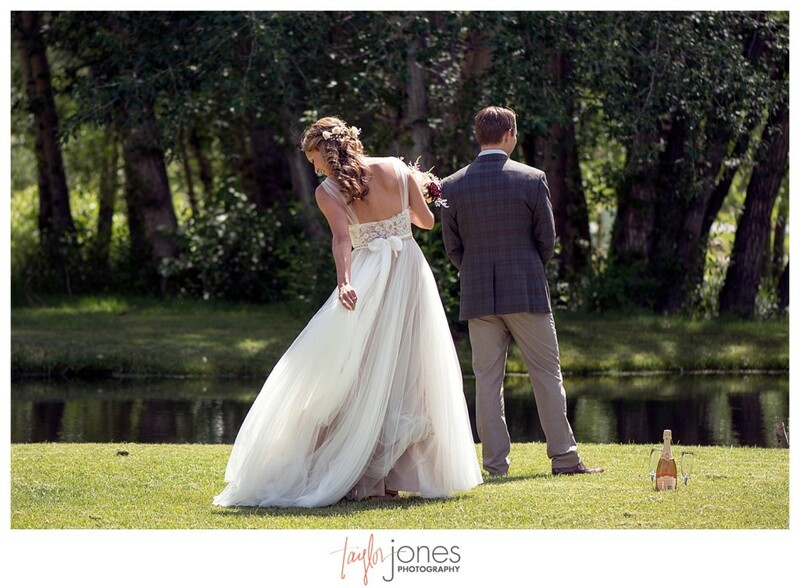 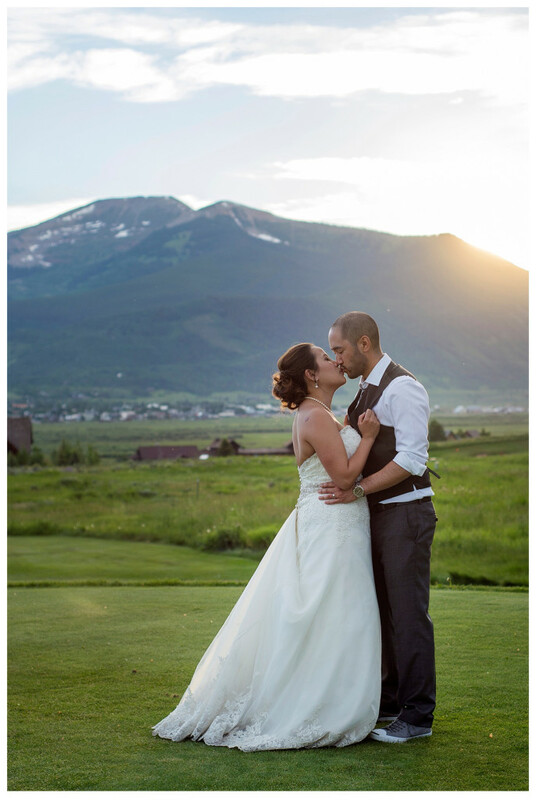 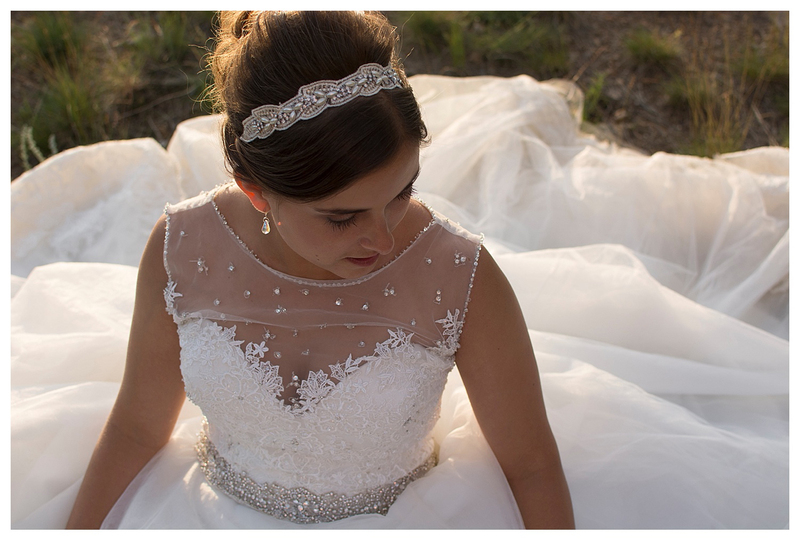 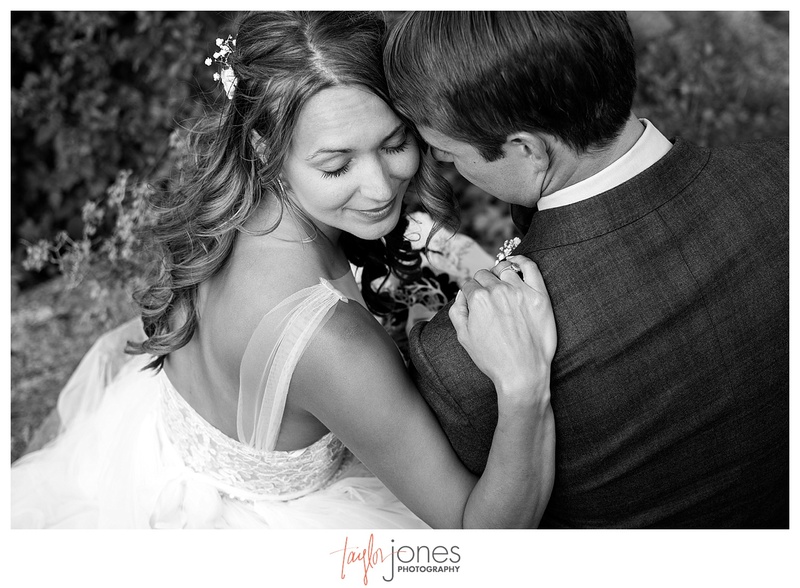 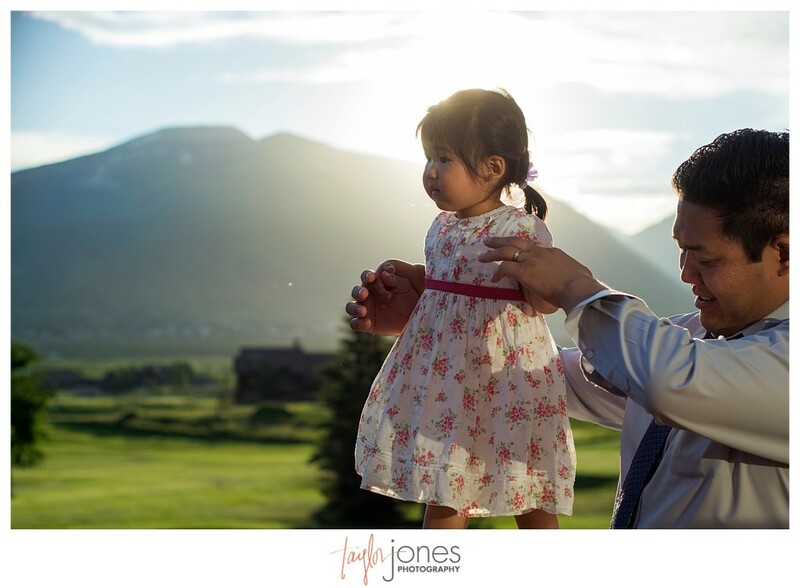 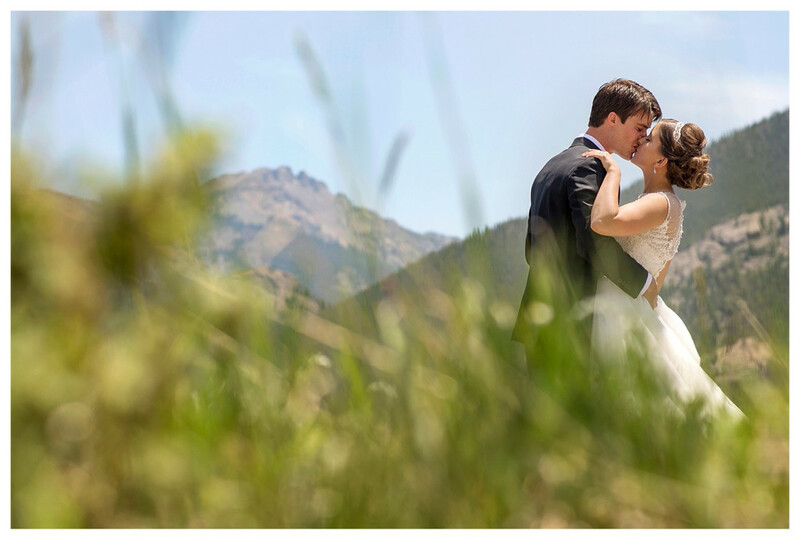 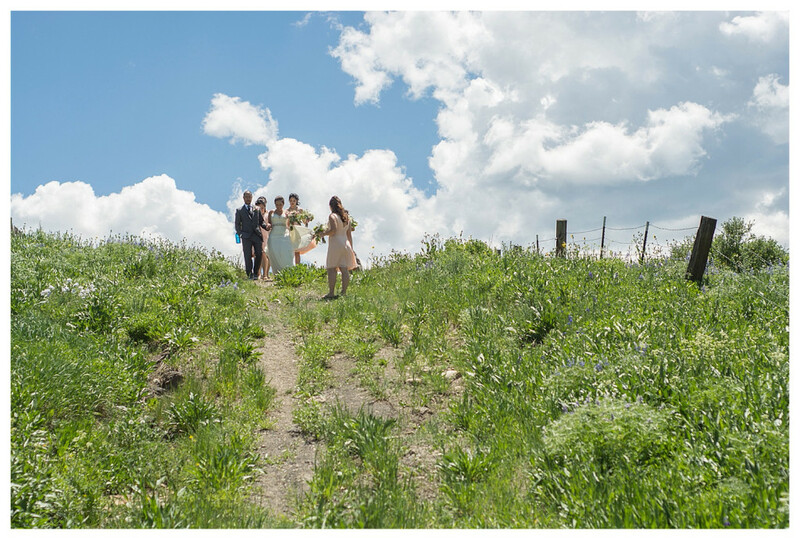 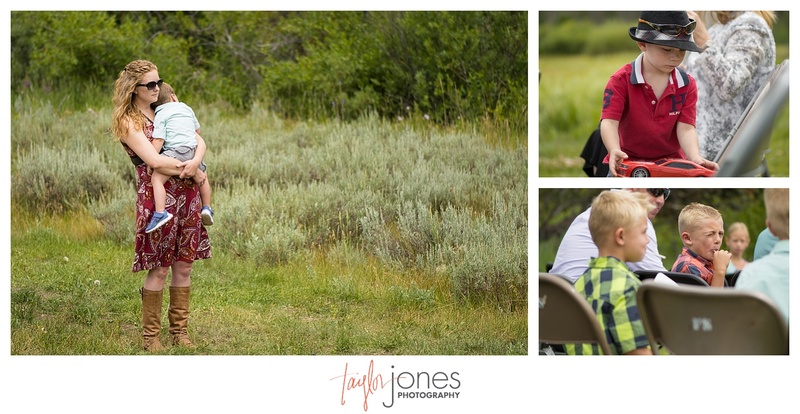 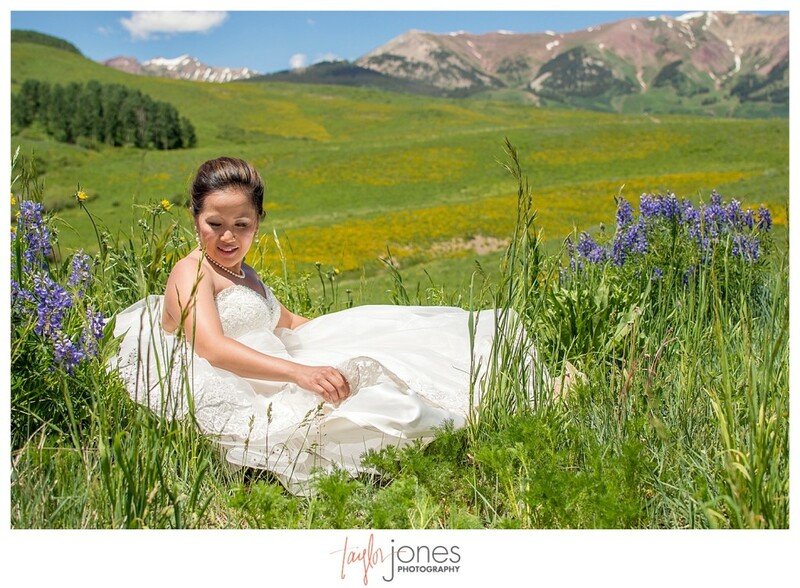 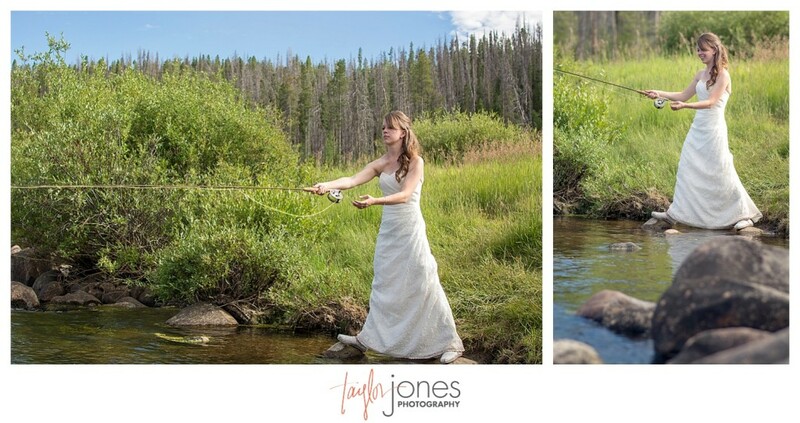 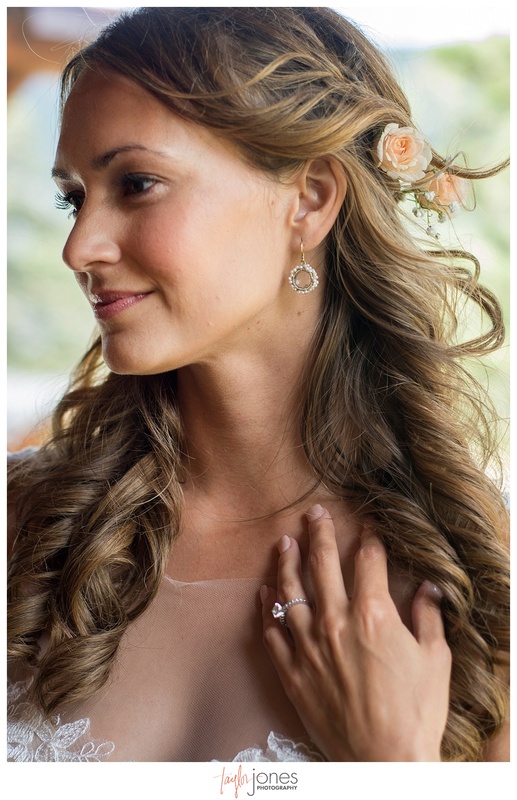 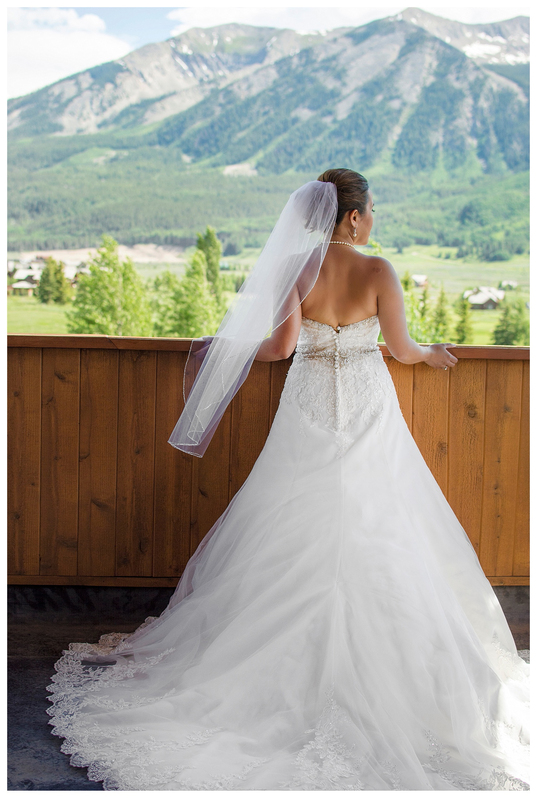 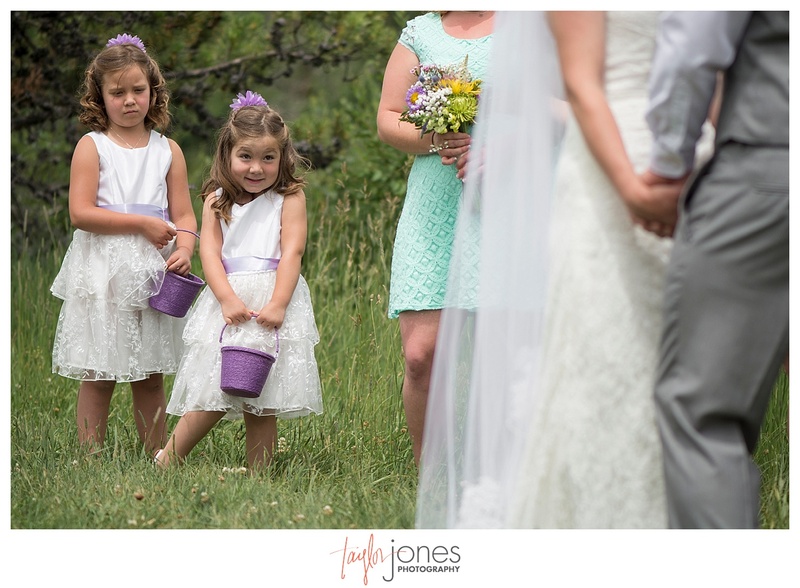 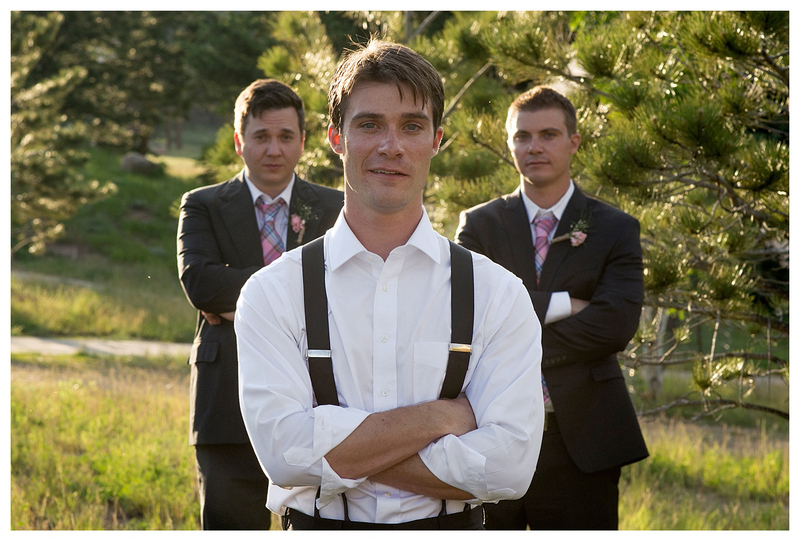 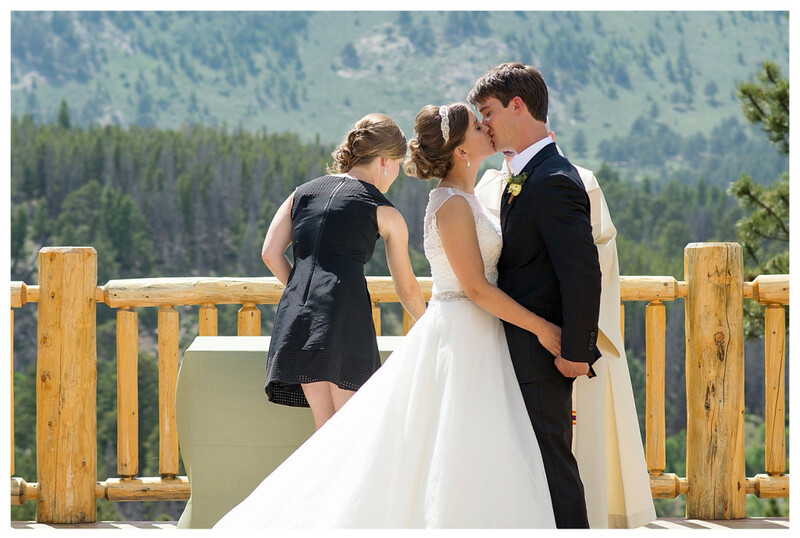 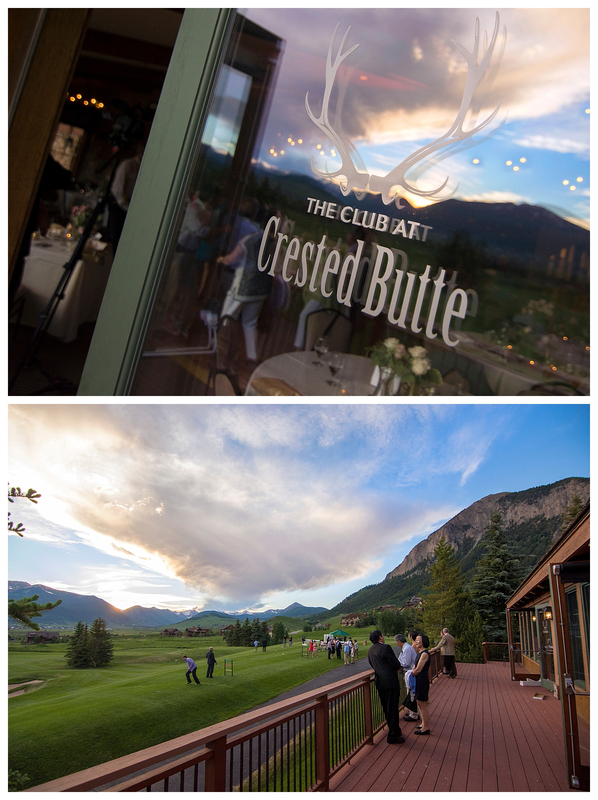 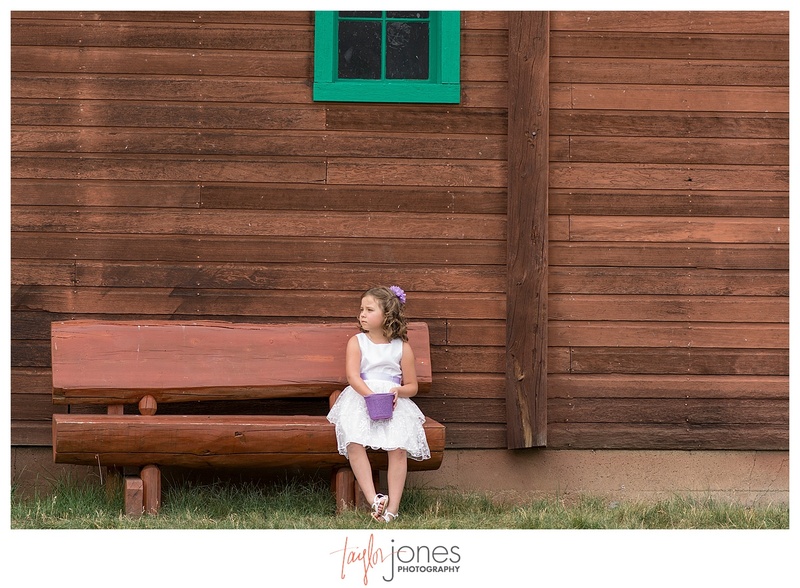 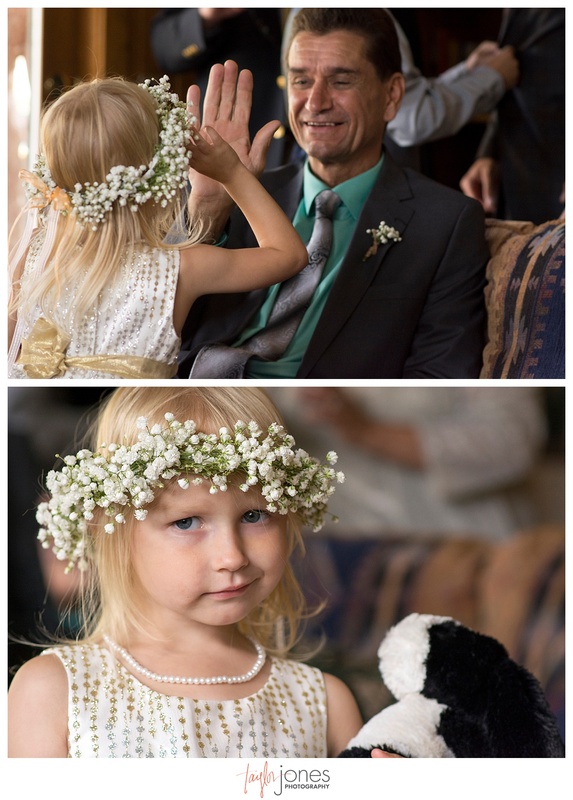 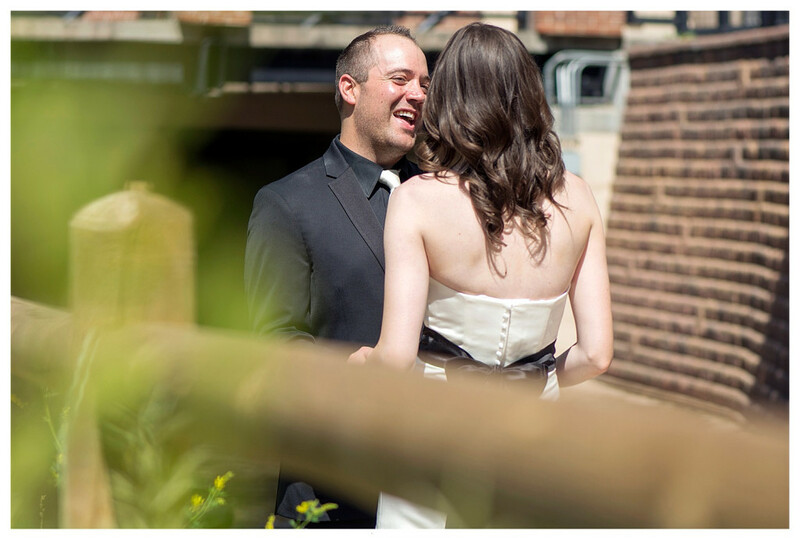 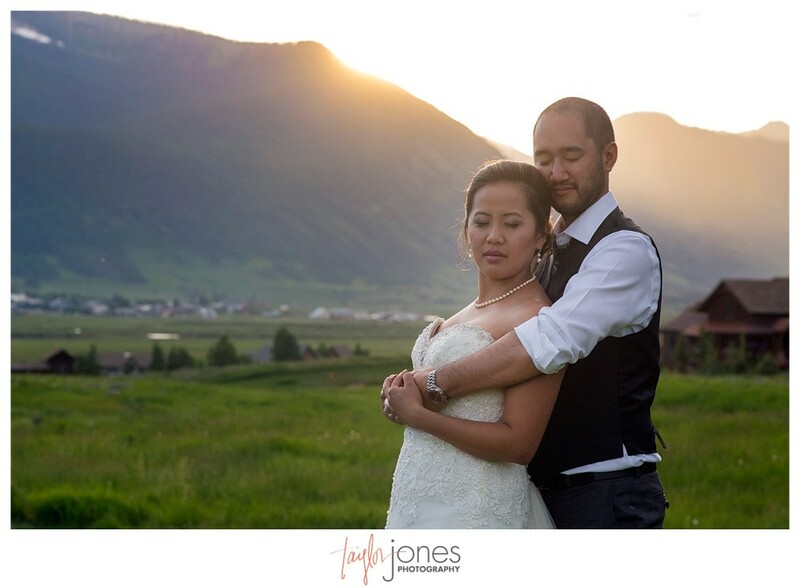 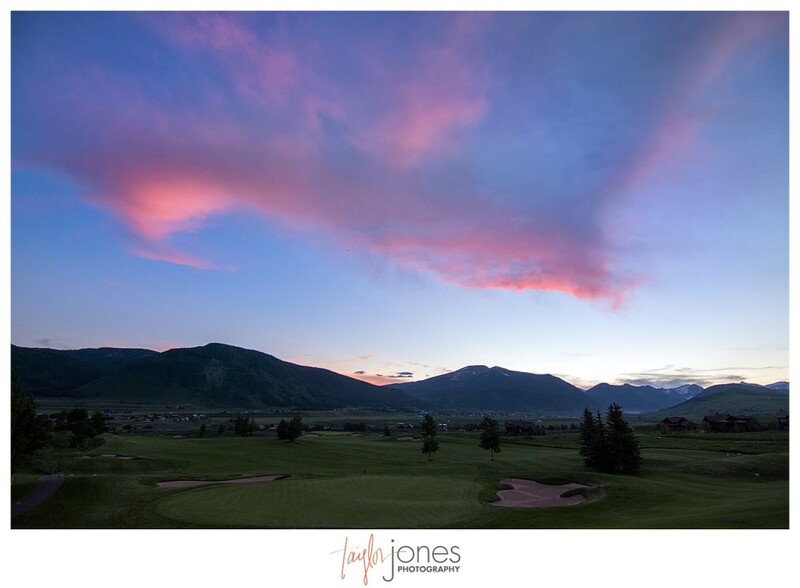 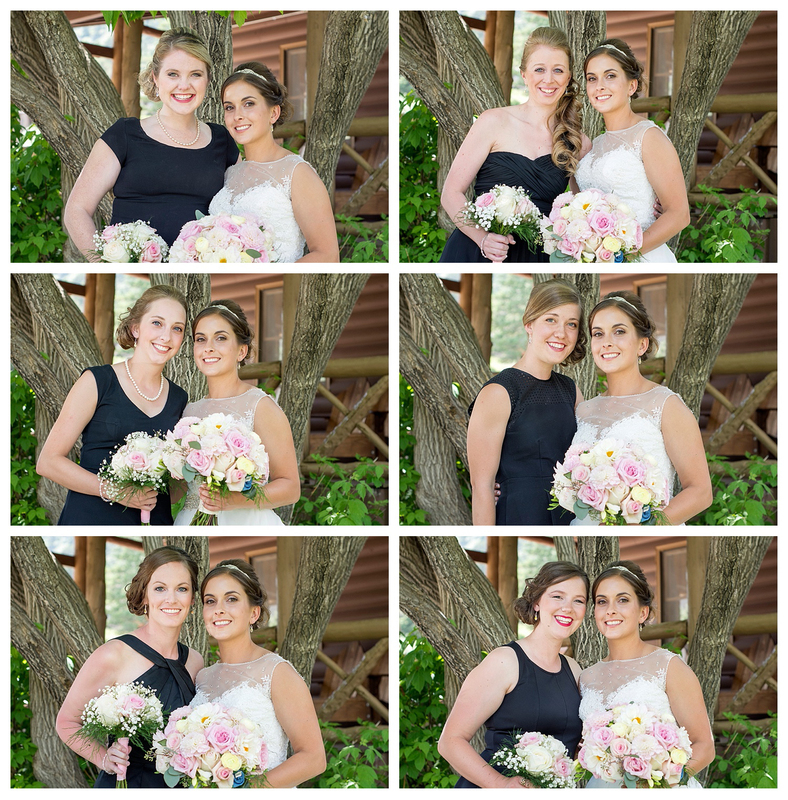 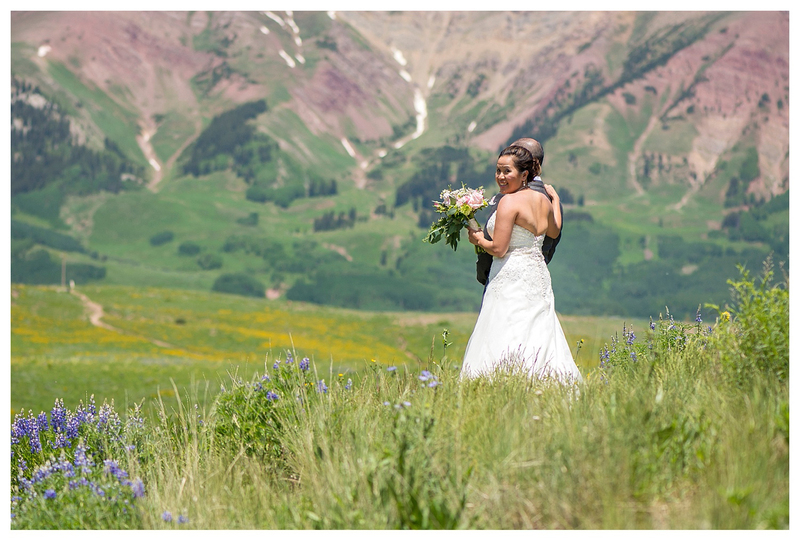 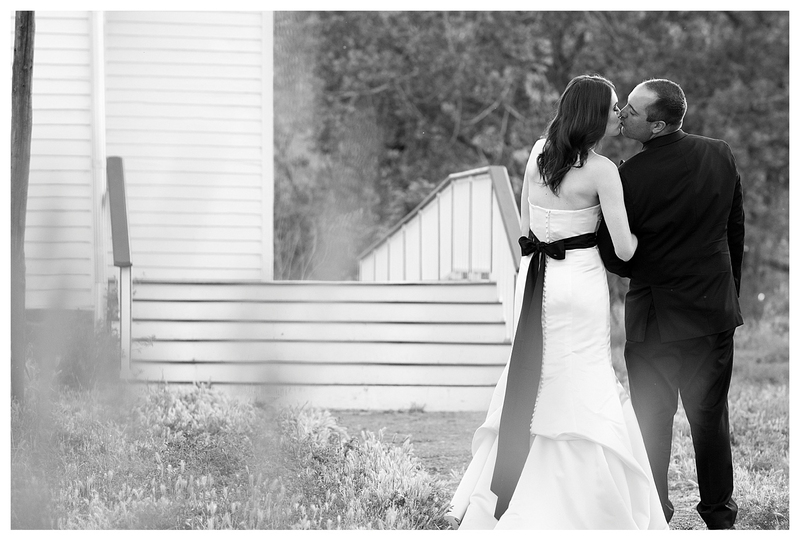 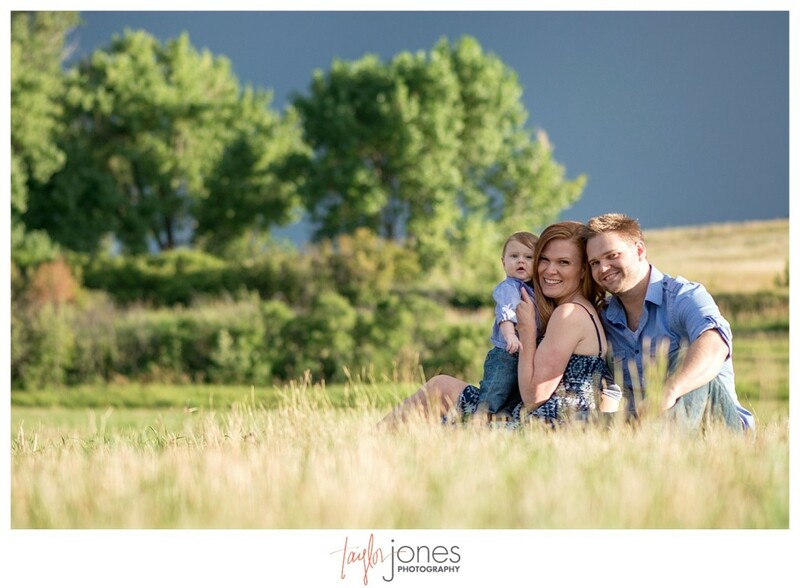 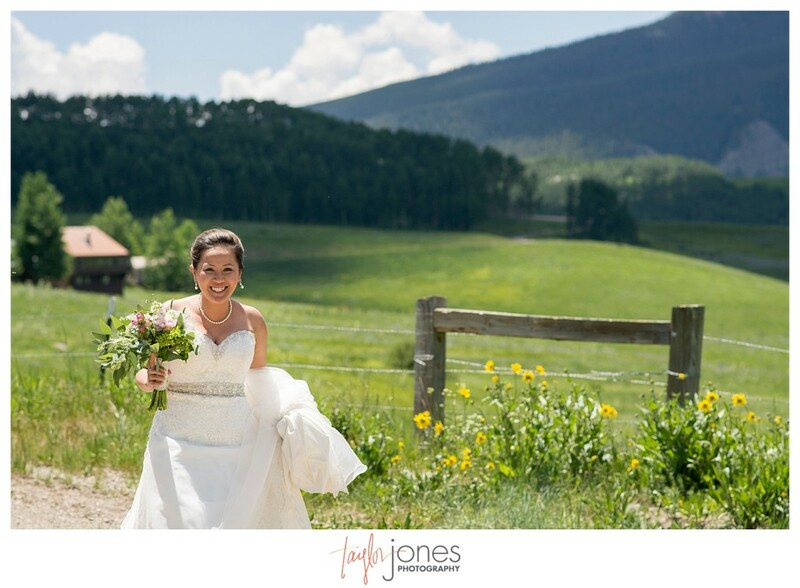 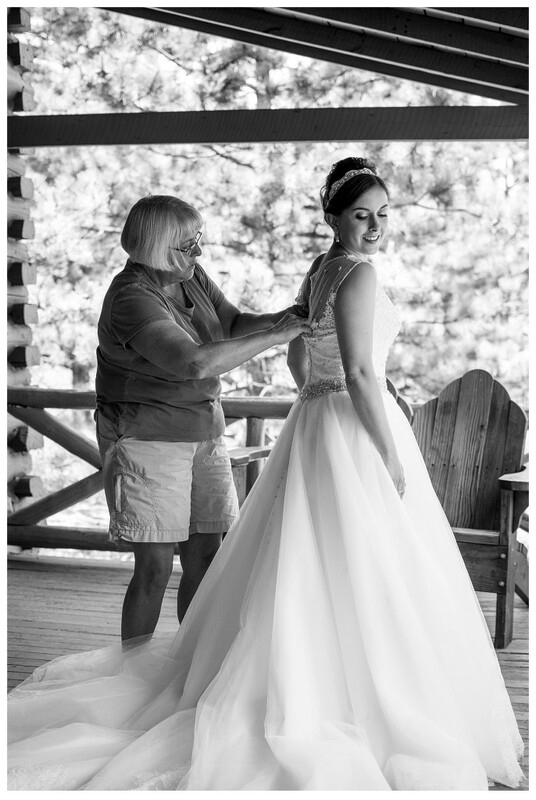 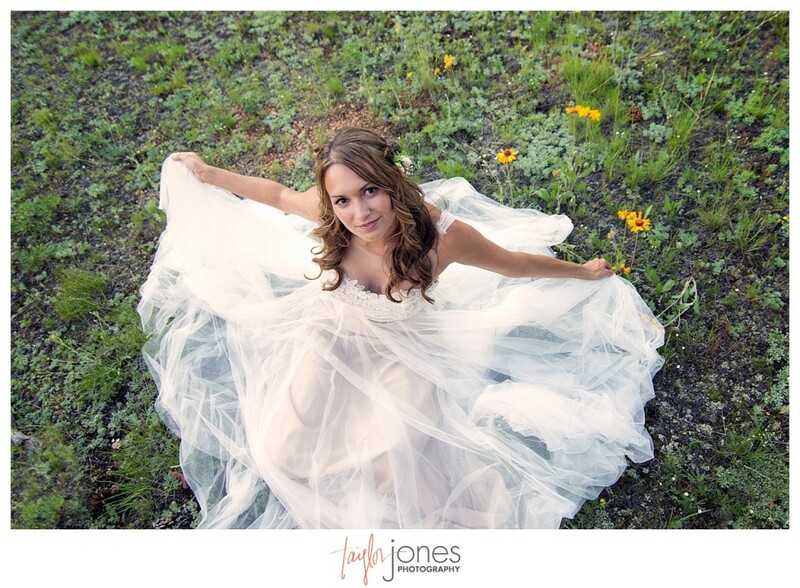 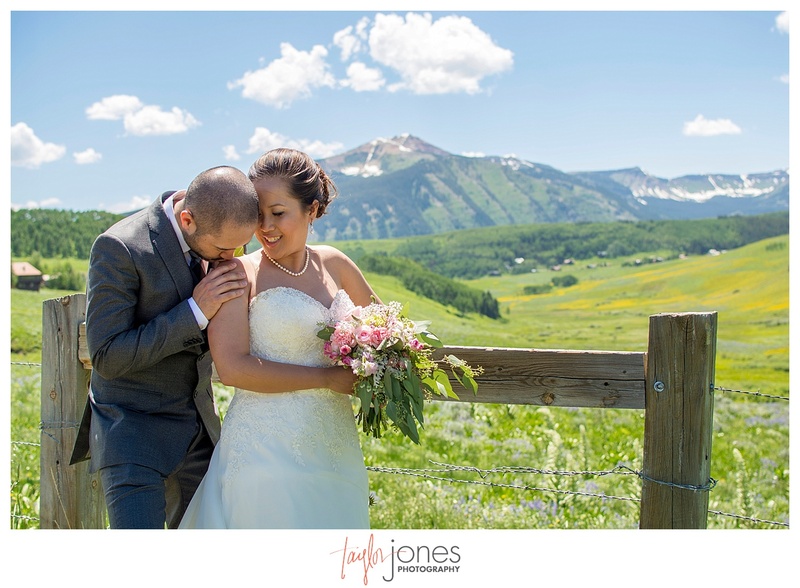 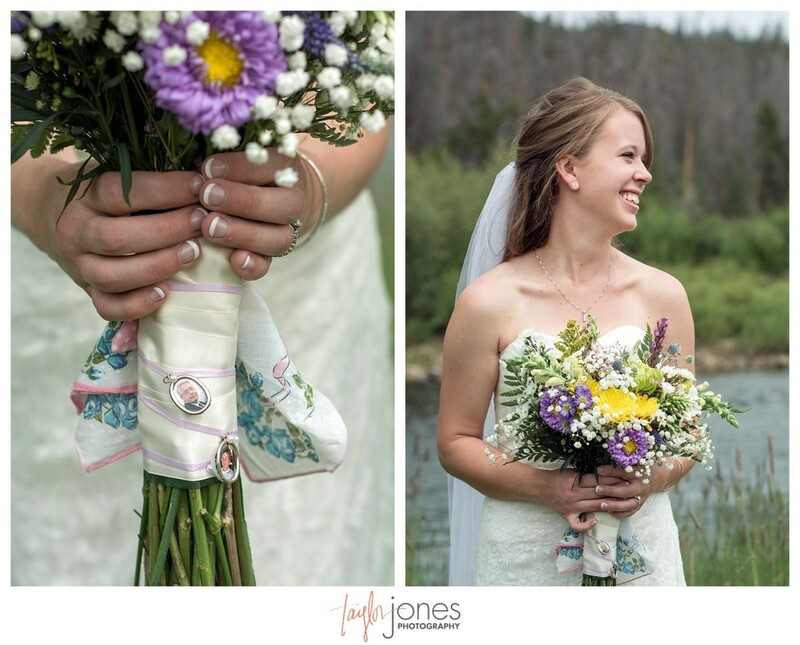 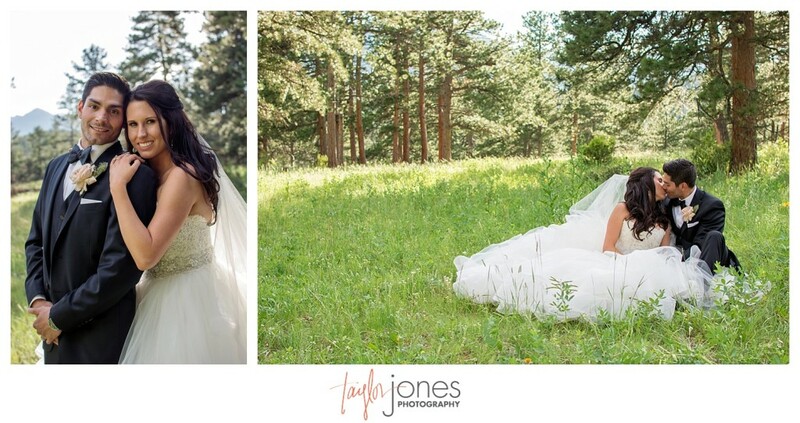 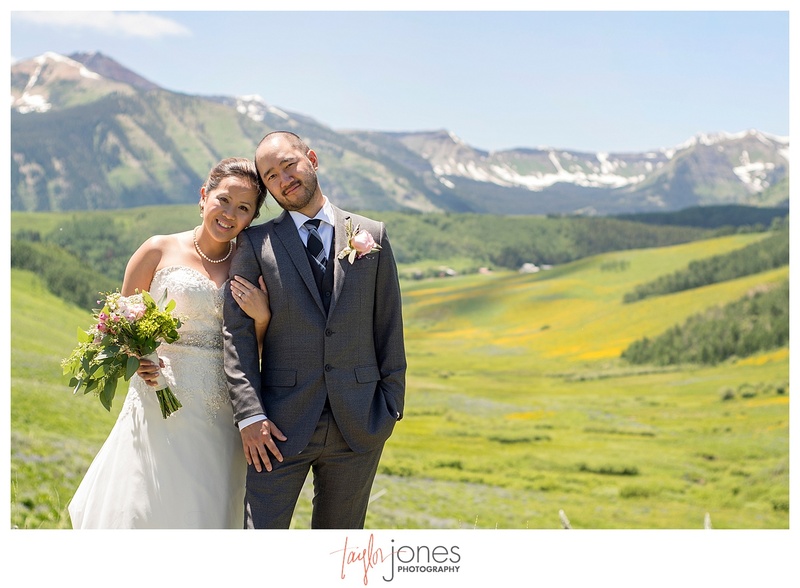 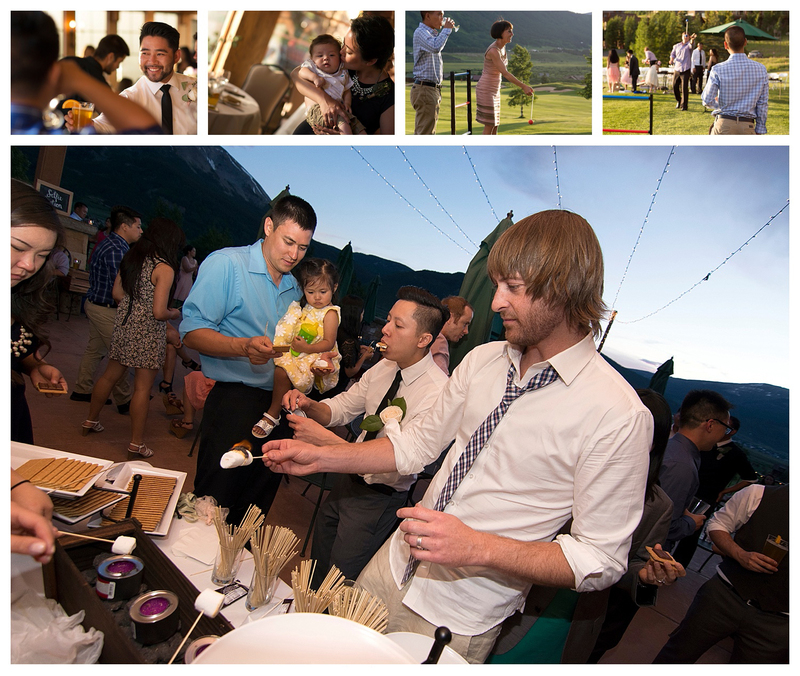 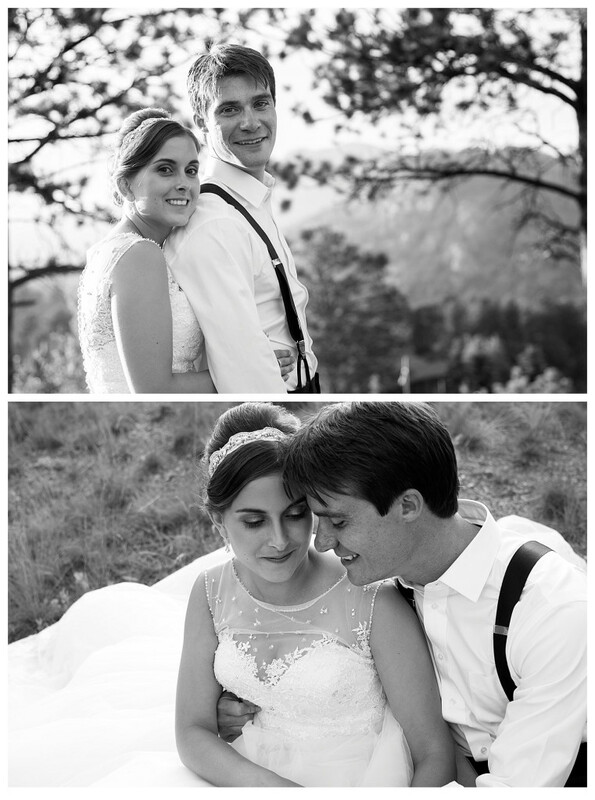 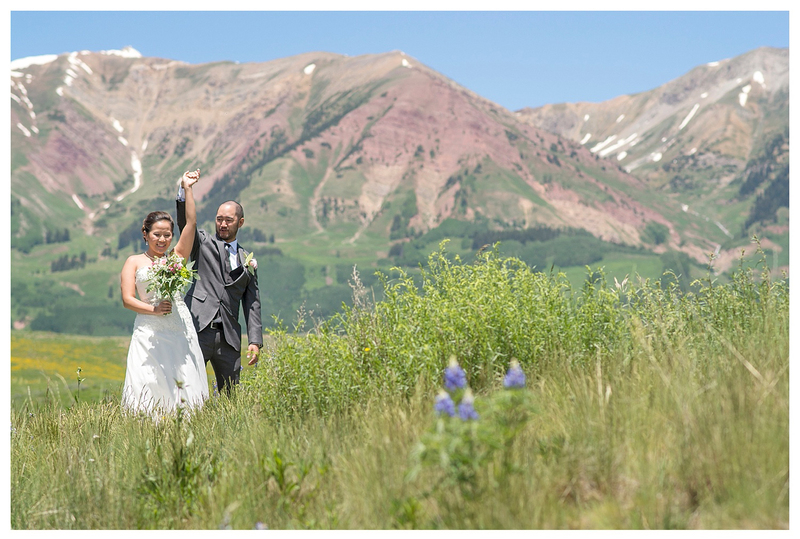 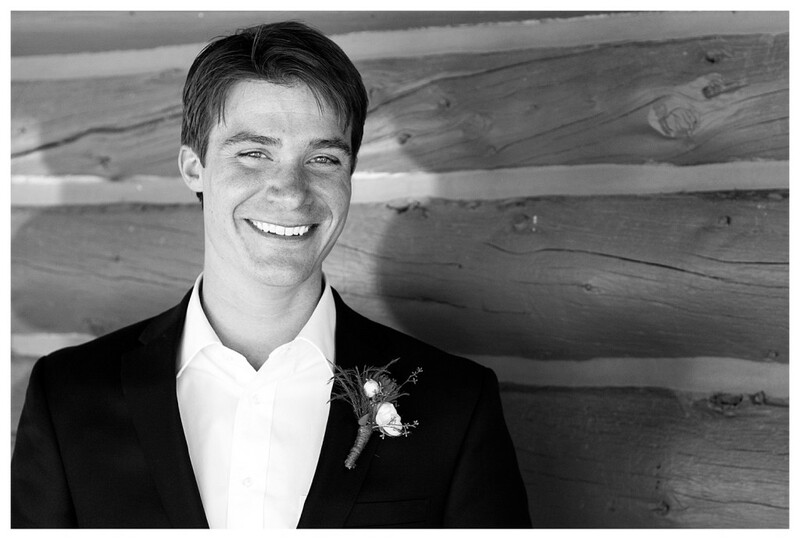 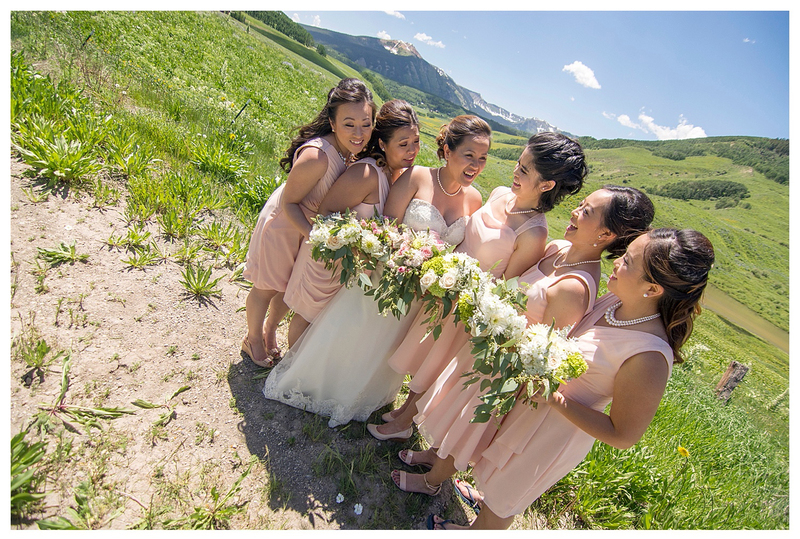 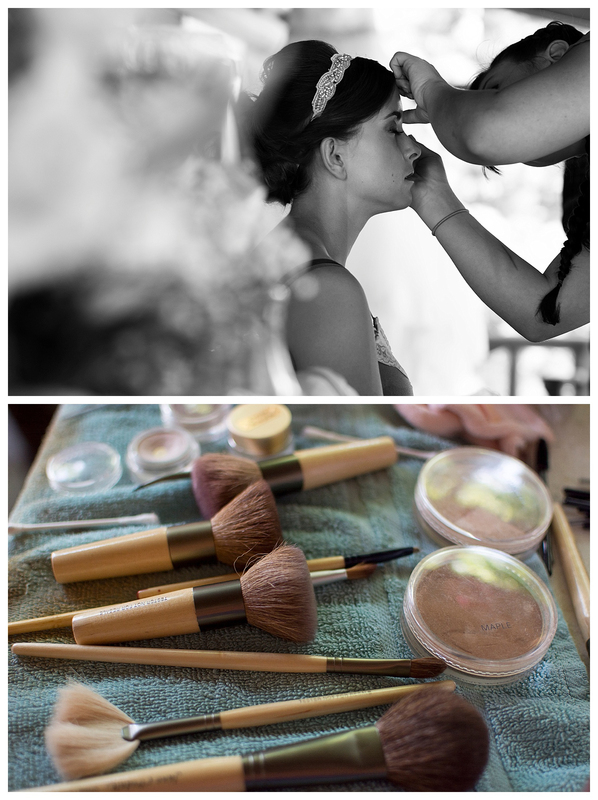 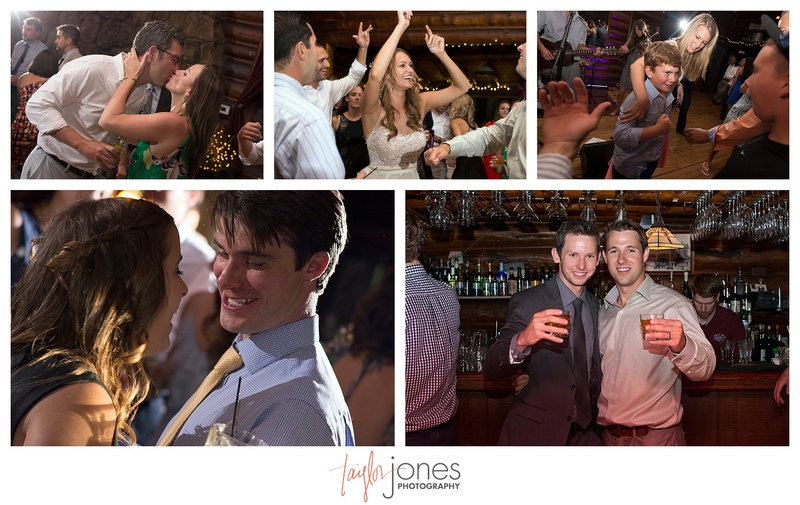 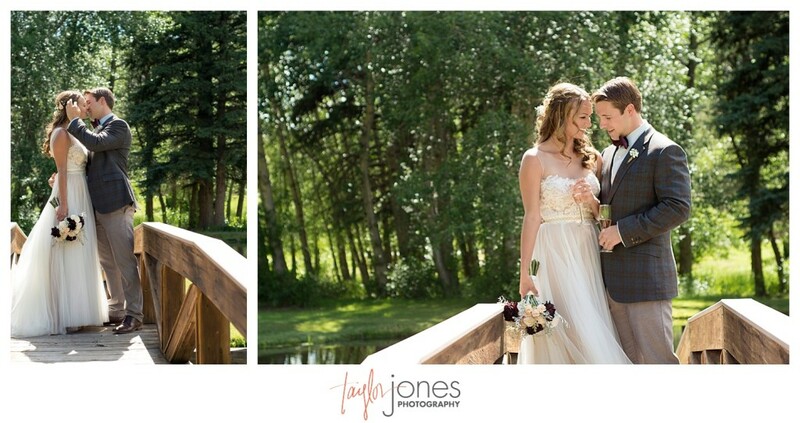 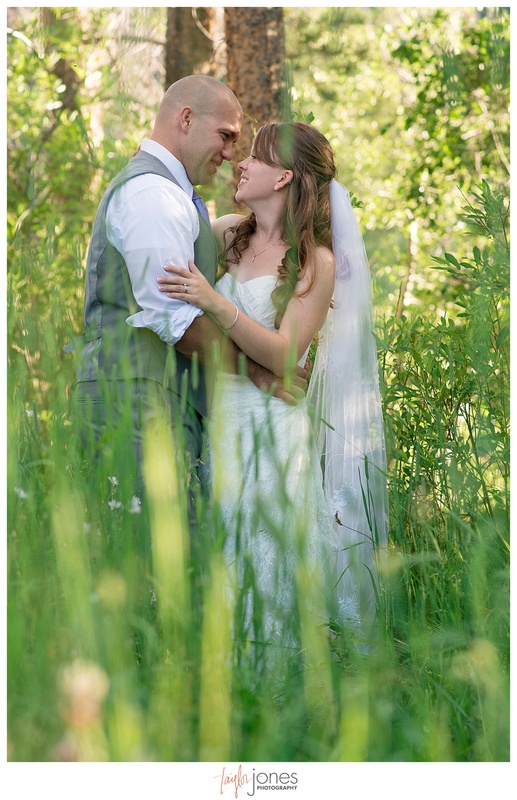 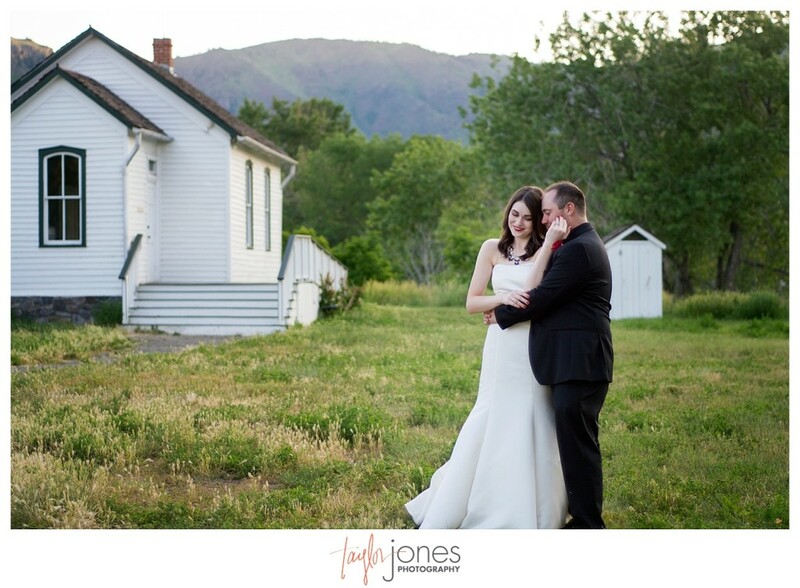 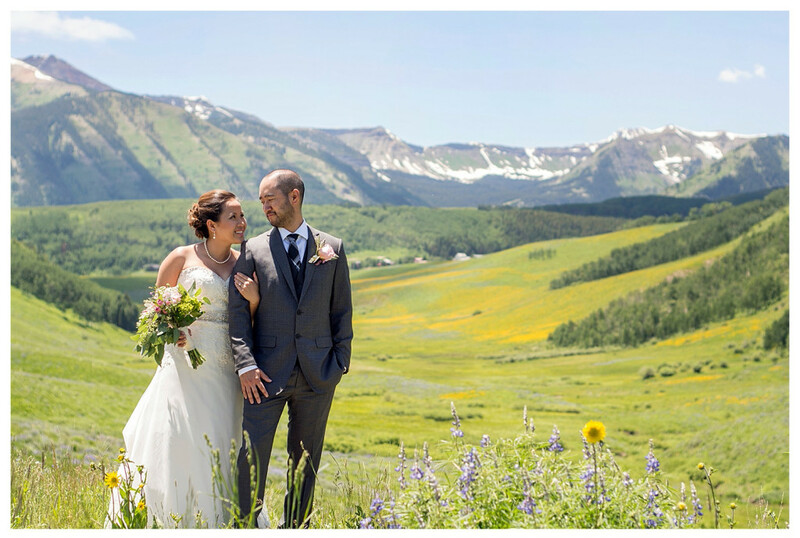 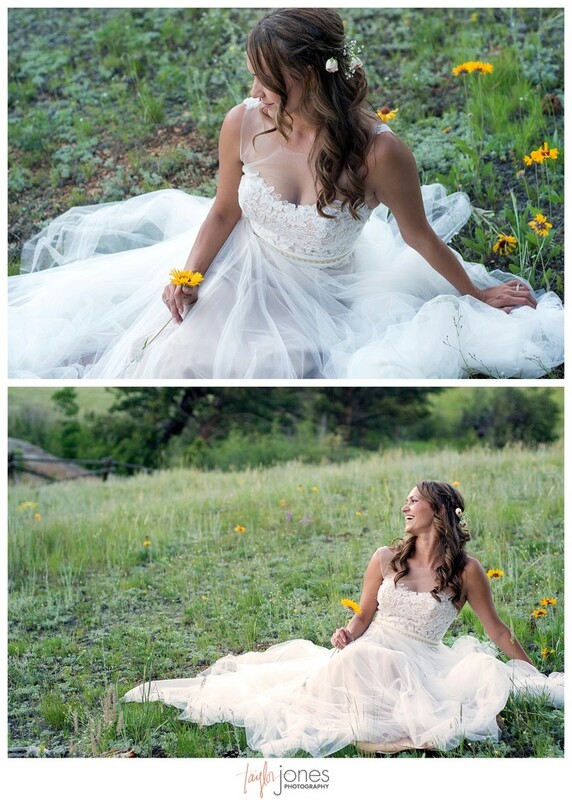 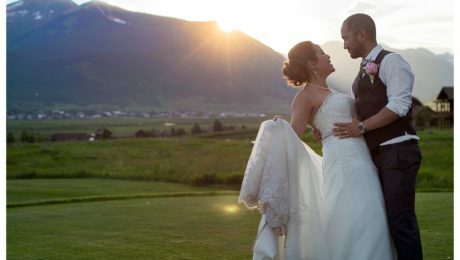 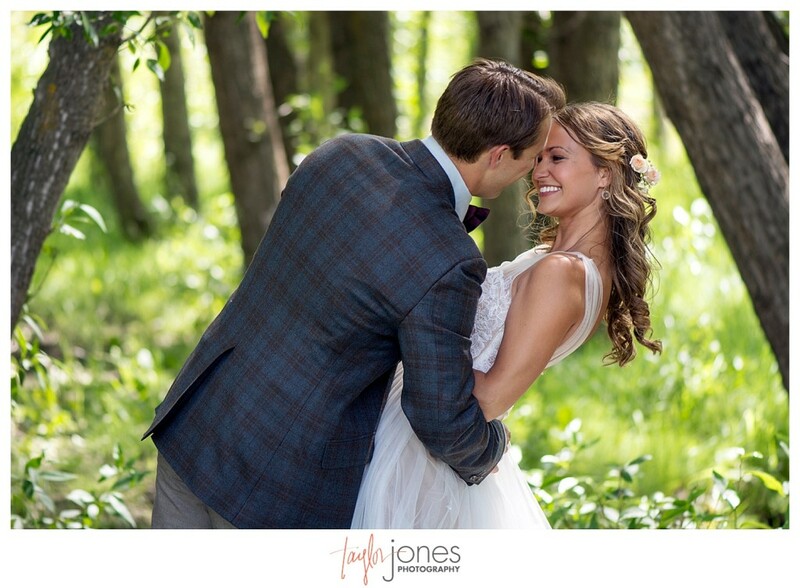 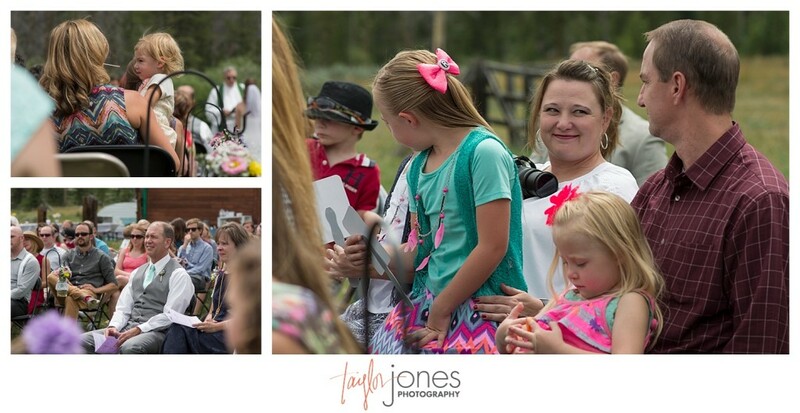 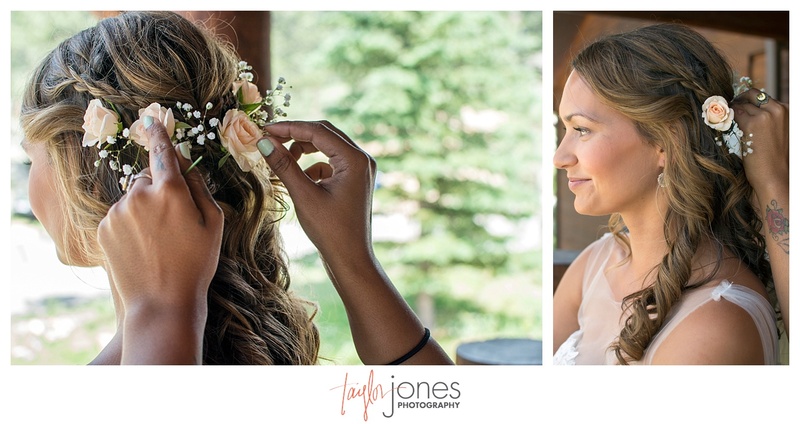 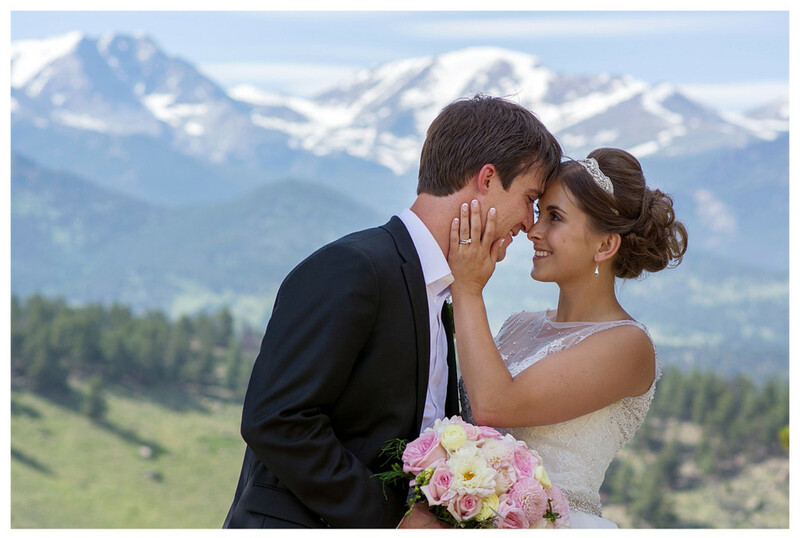 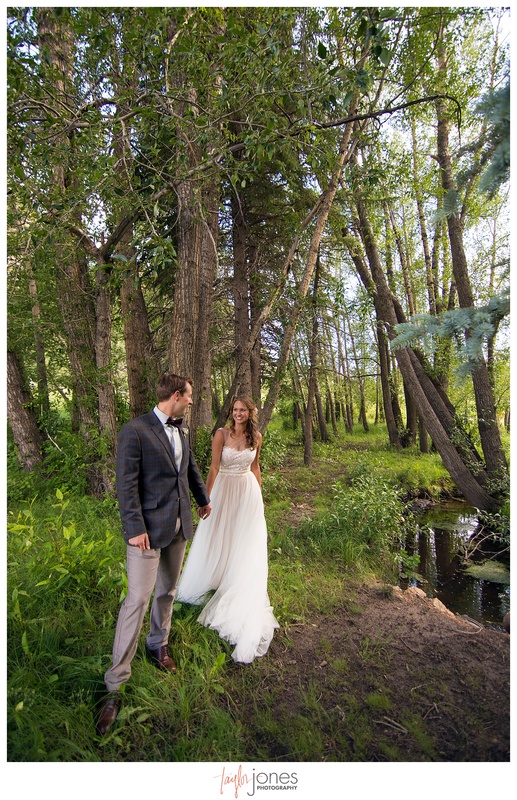 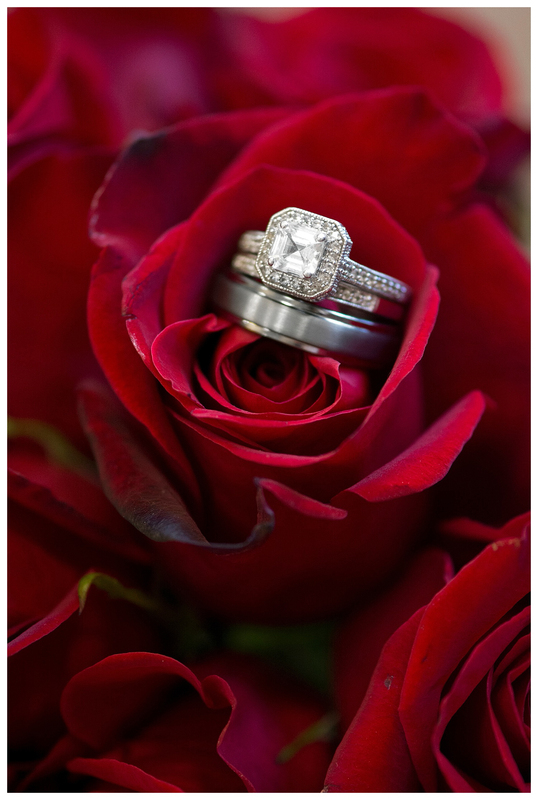 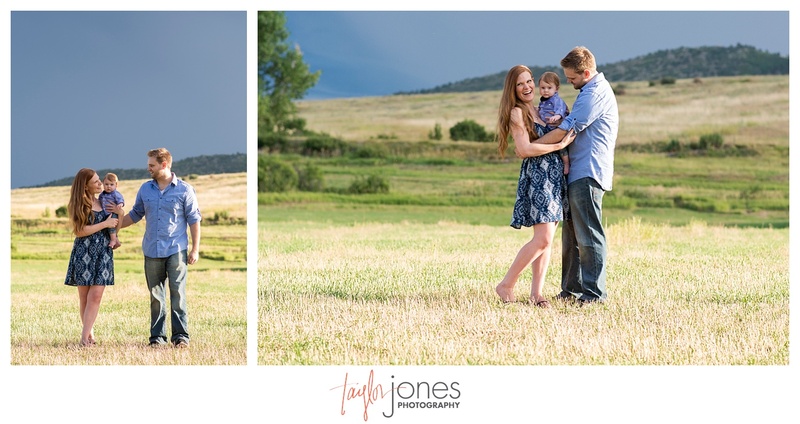 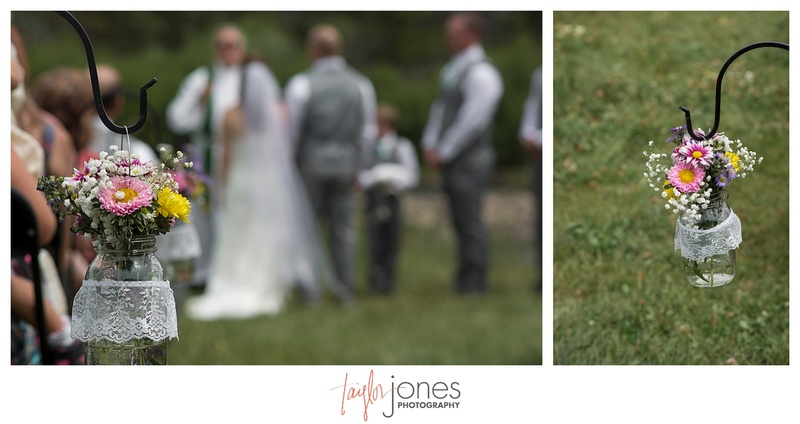 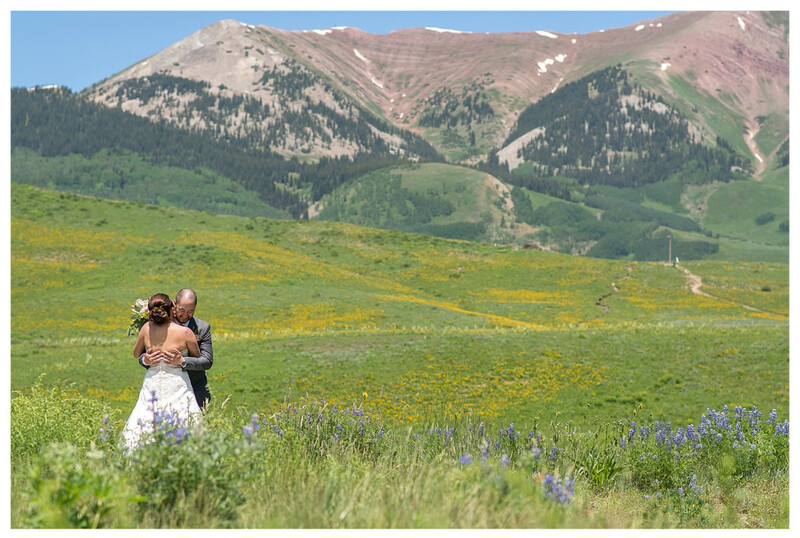 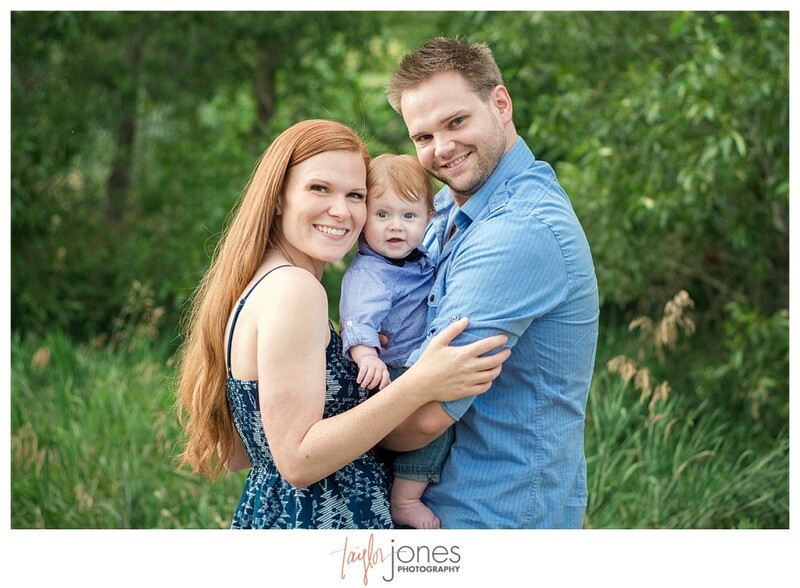 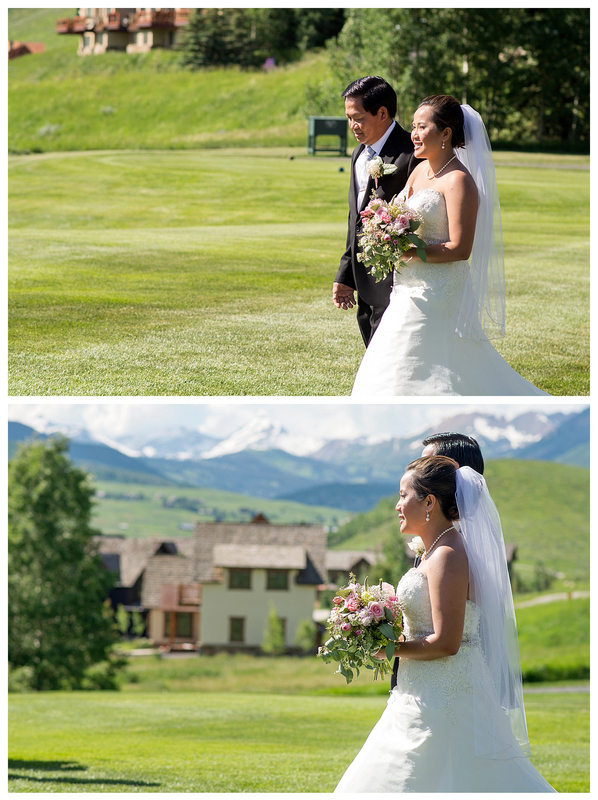 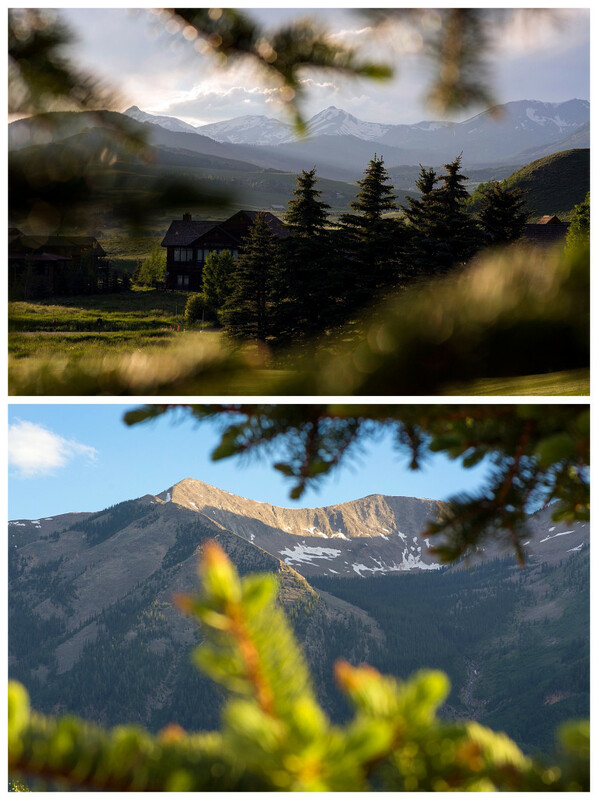 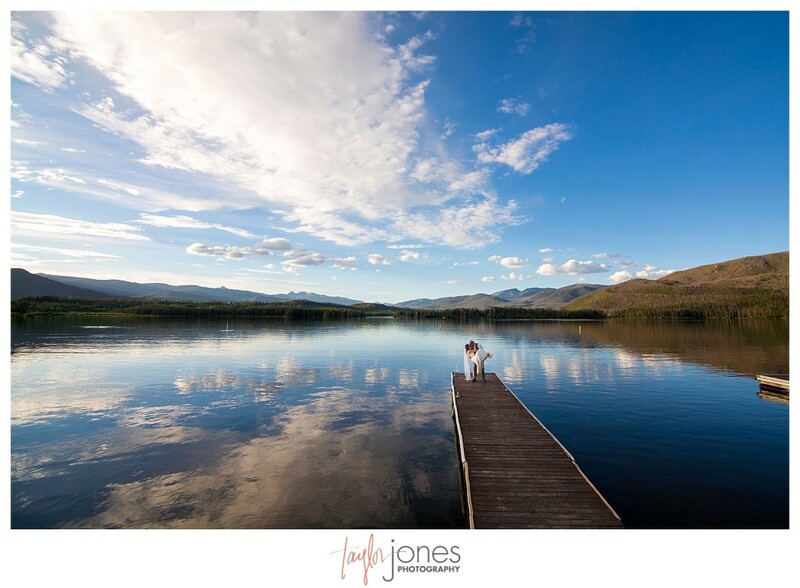 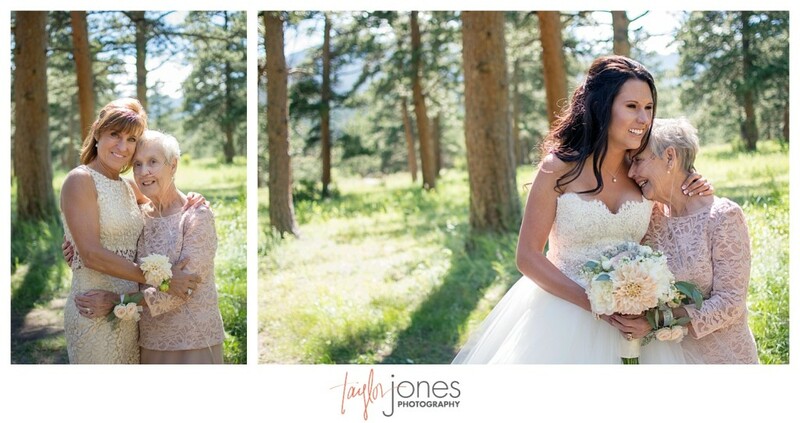 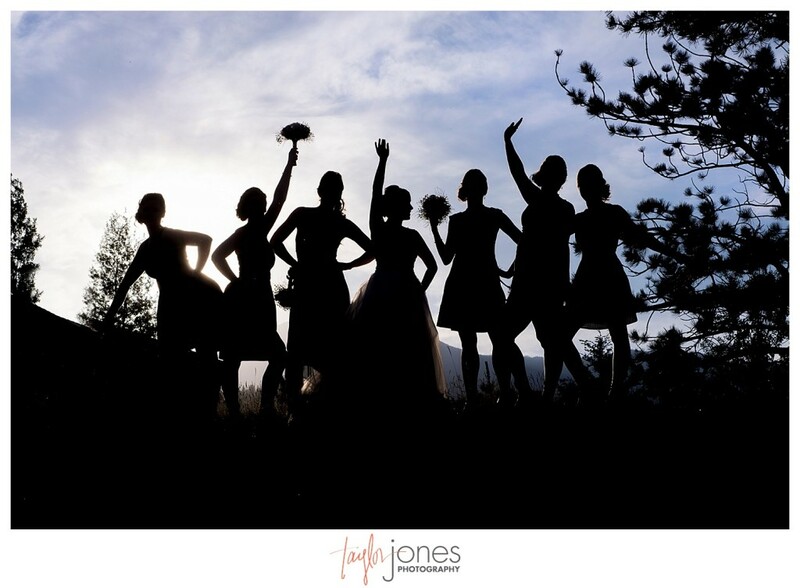 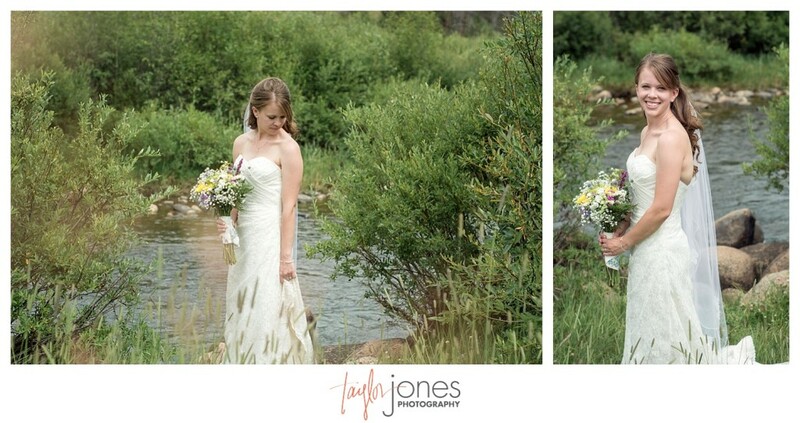 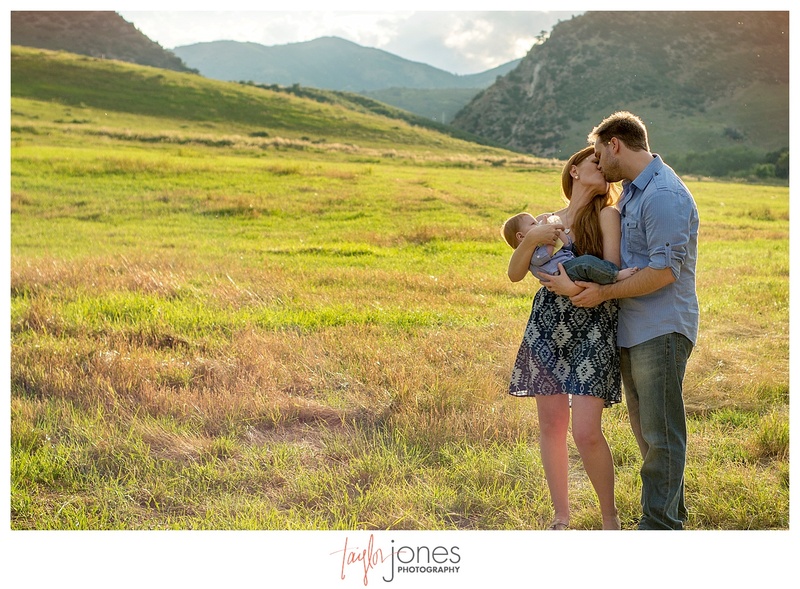 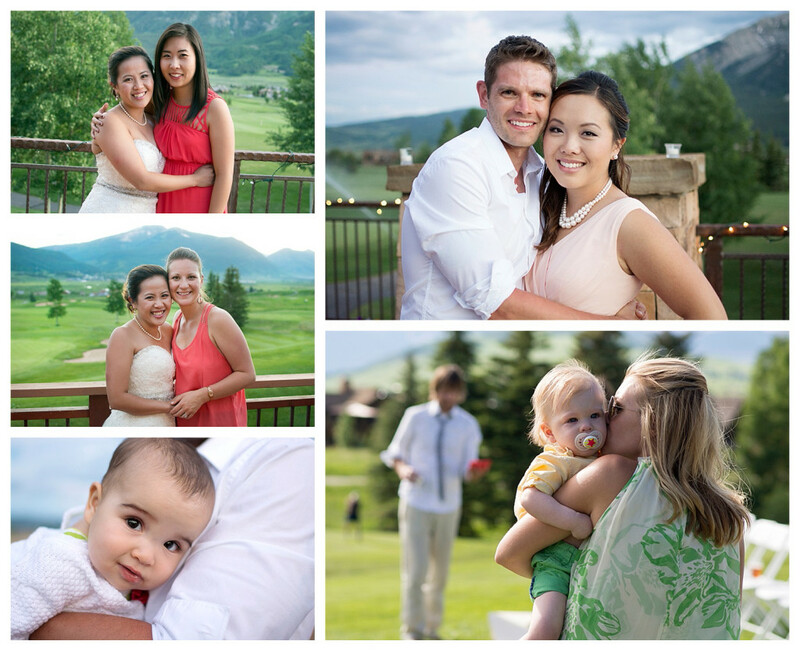 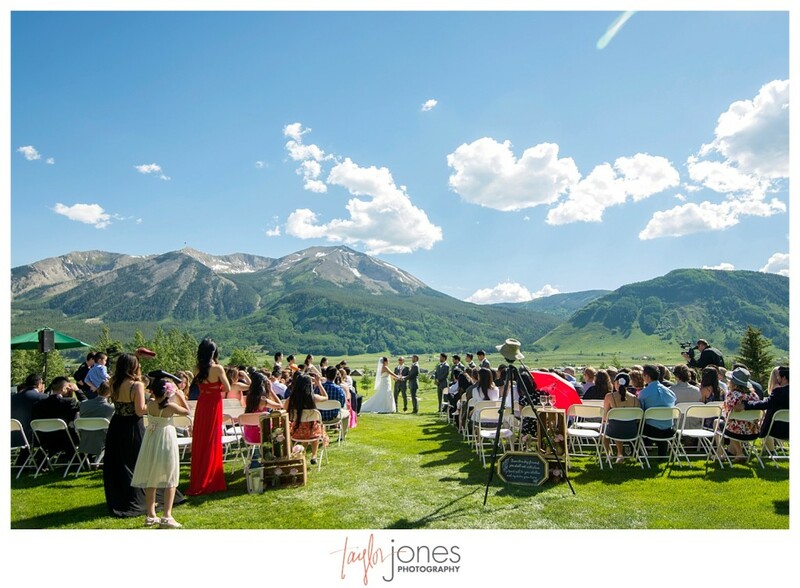 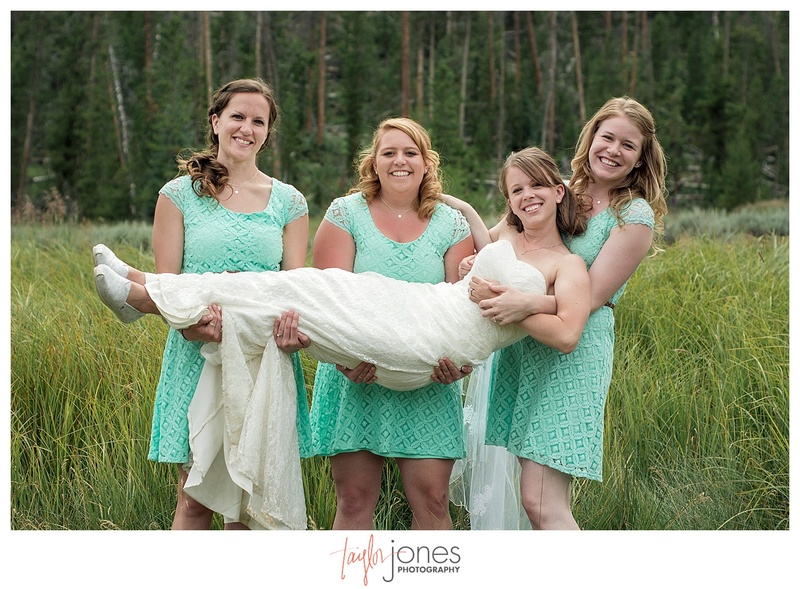 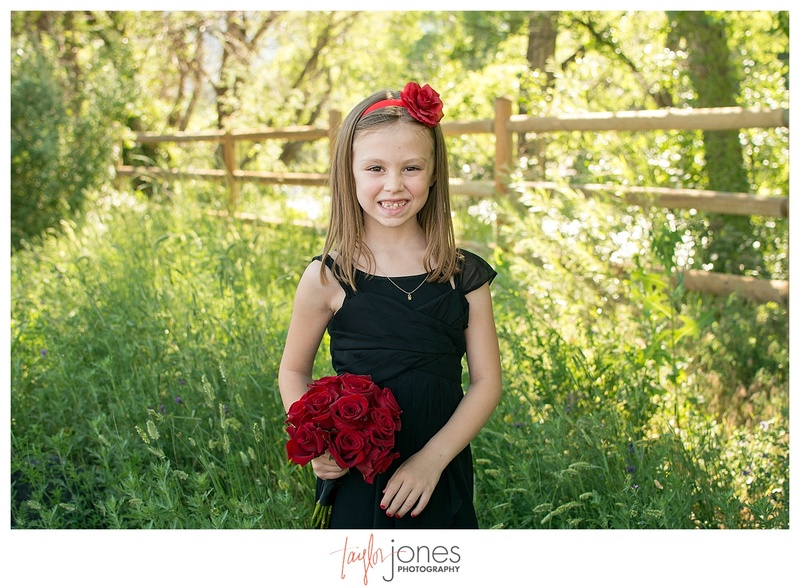 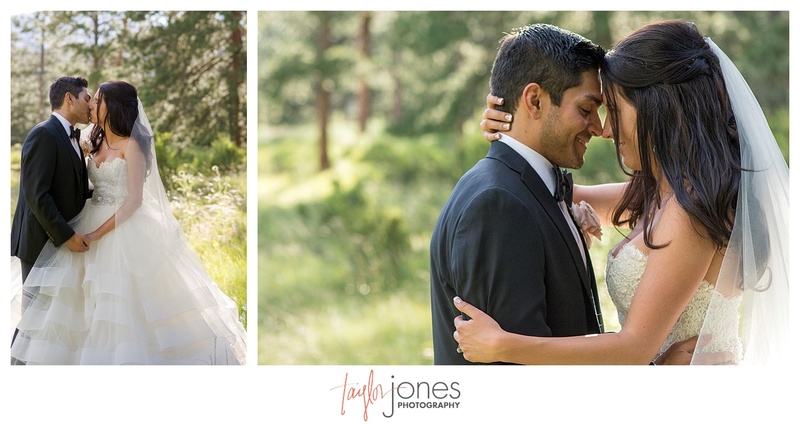 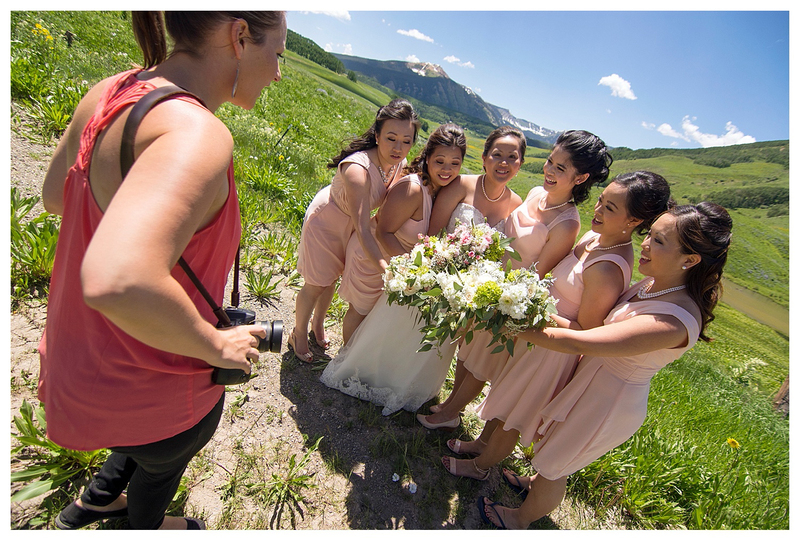 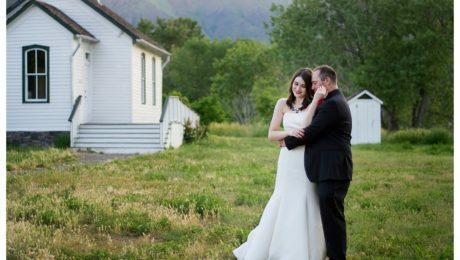 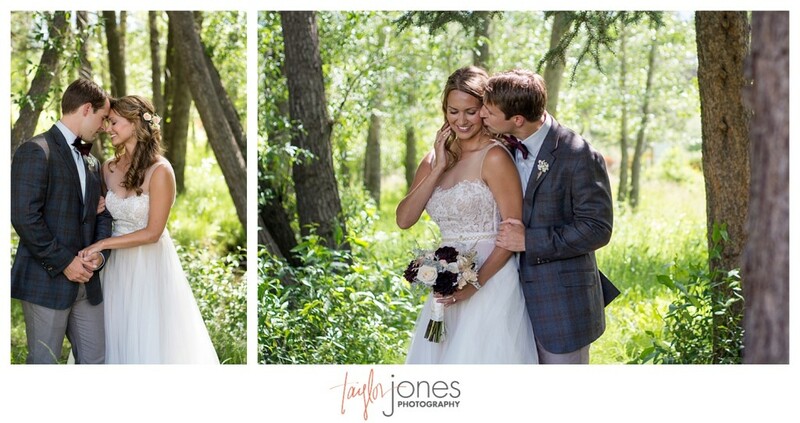 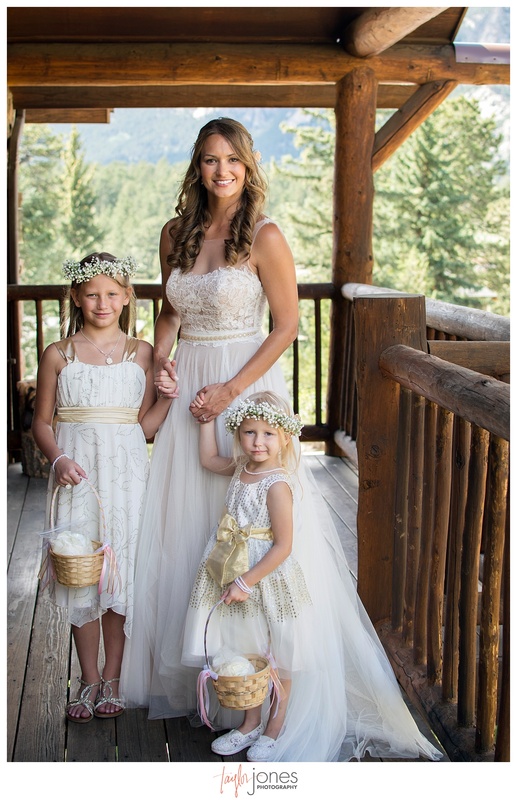 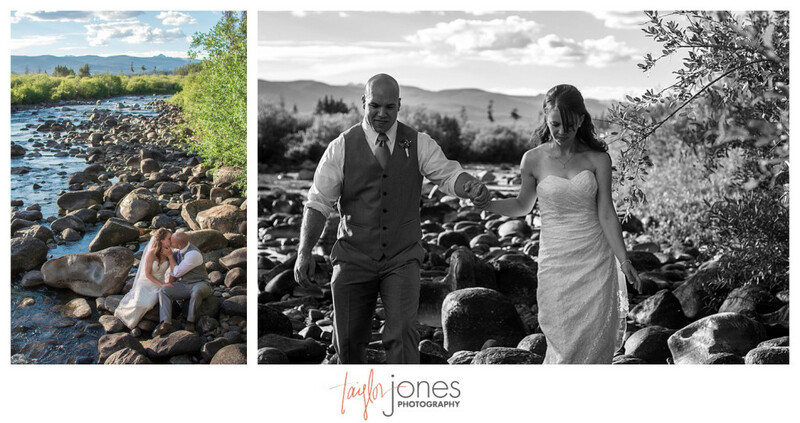 As a Crested Butte Wedding Photographer, we thrive off the gorgeous landscape, wildflowers, and people. 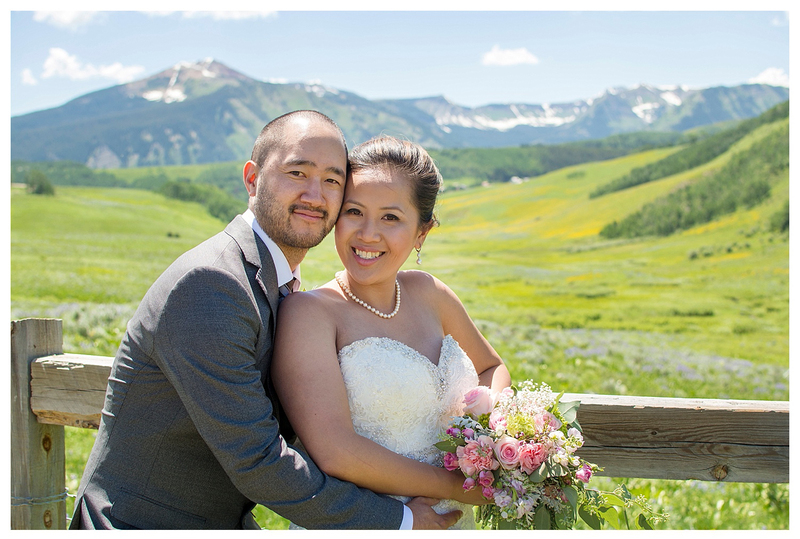 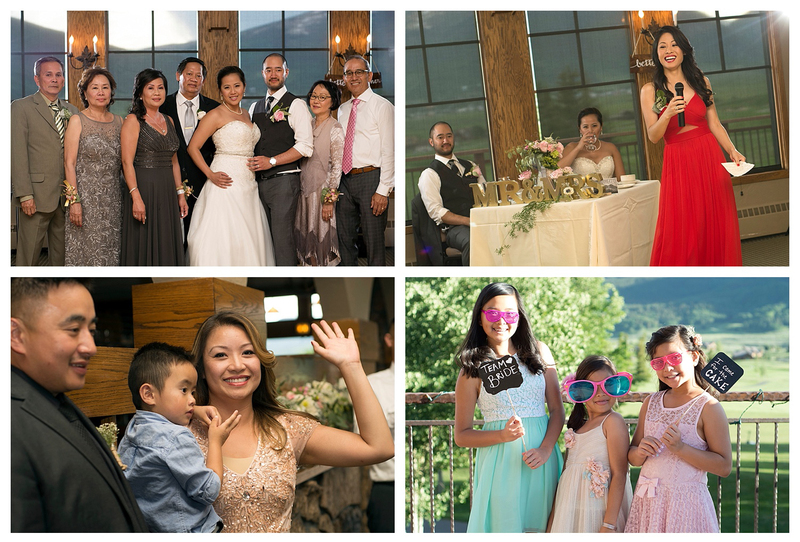 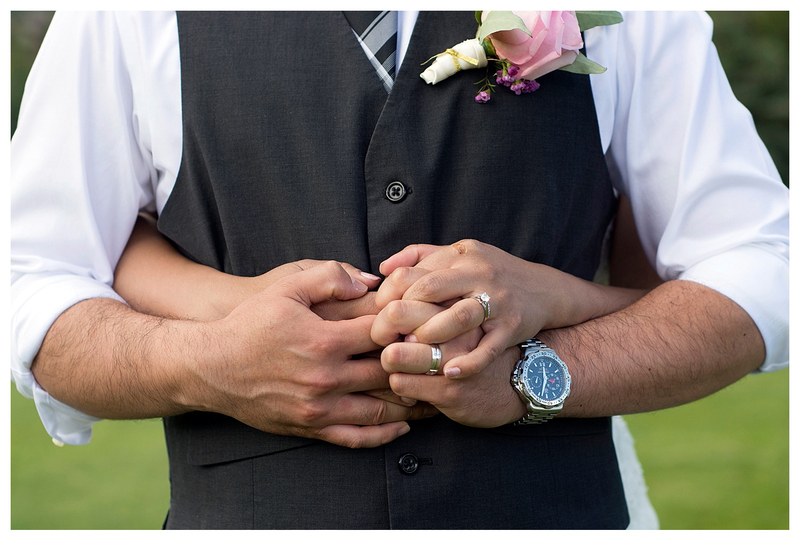 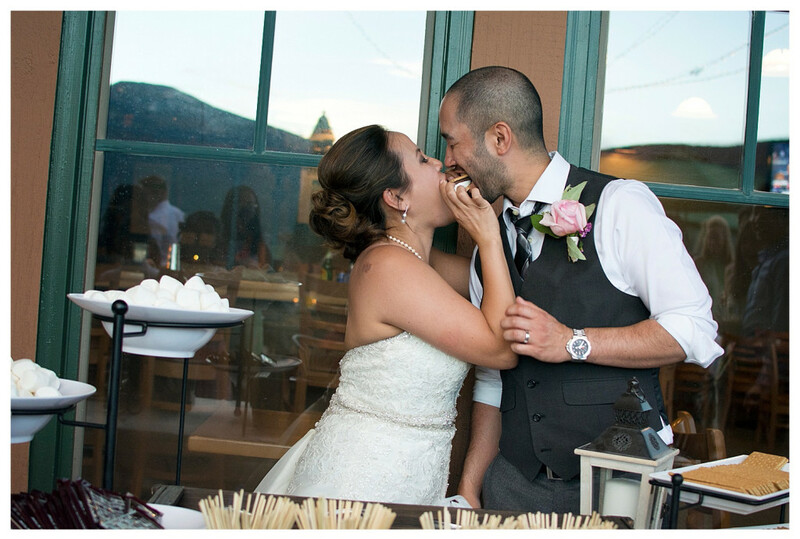 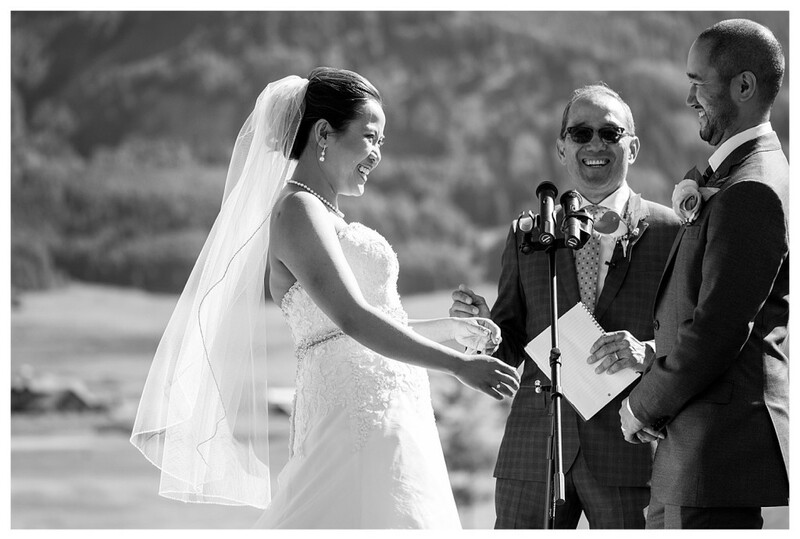 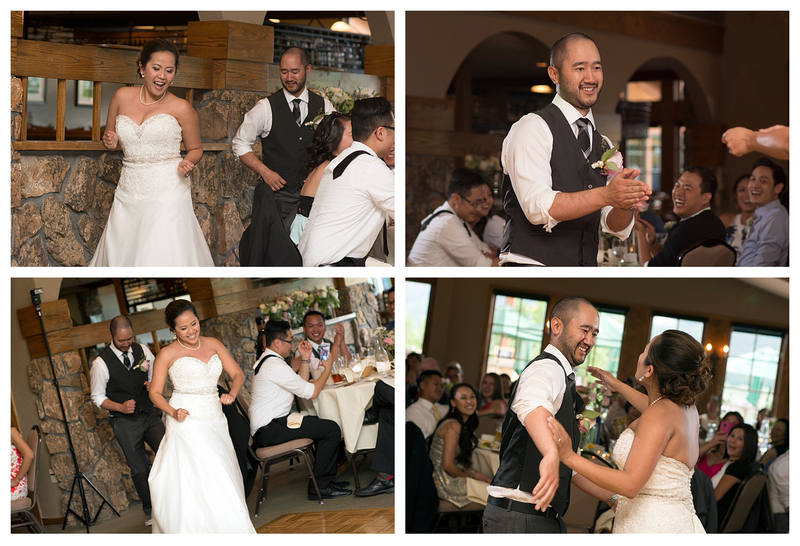 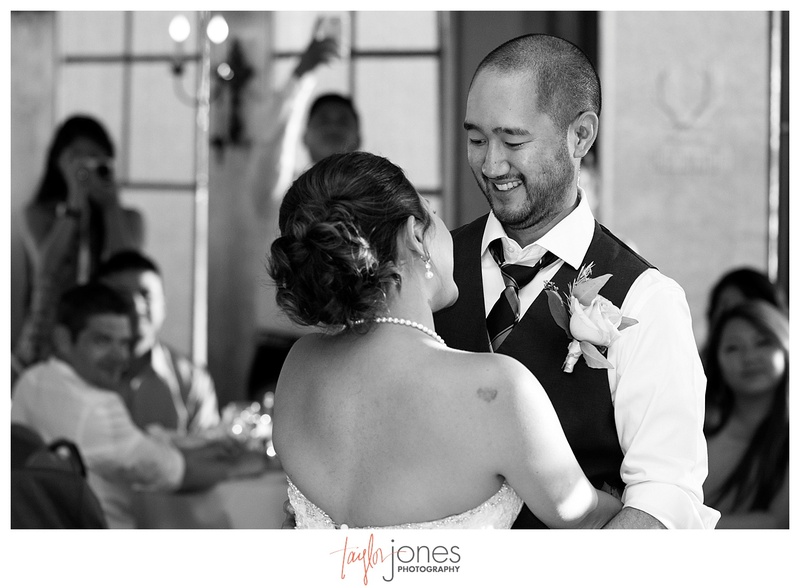 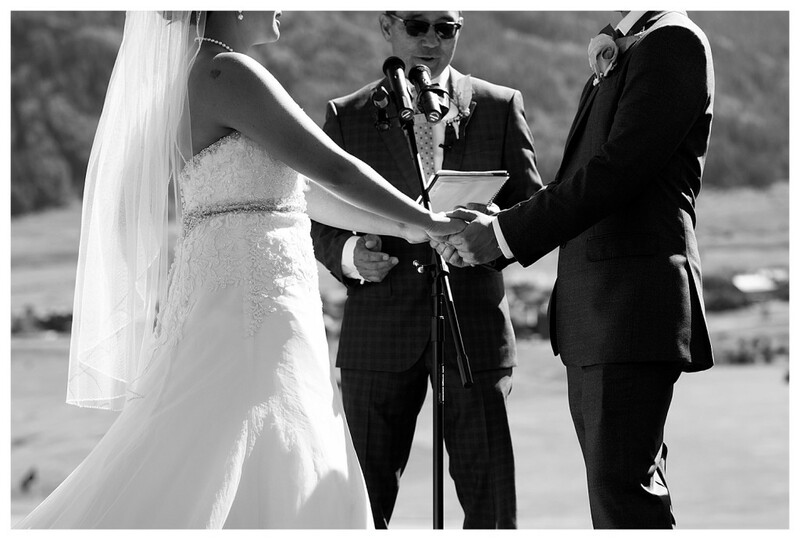 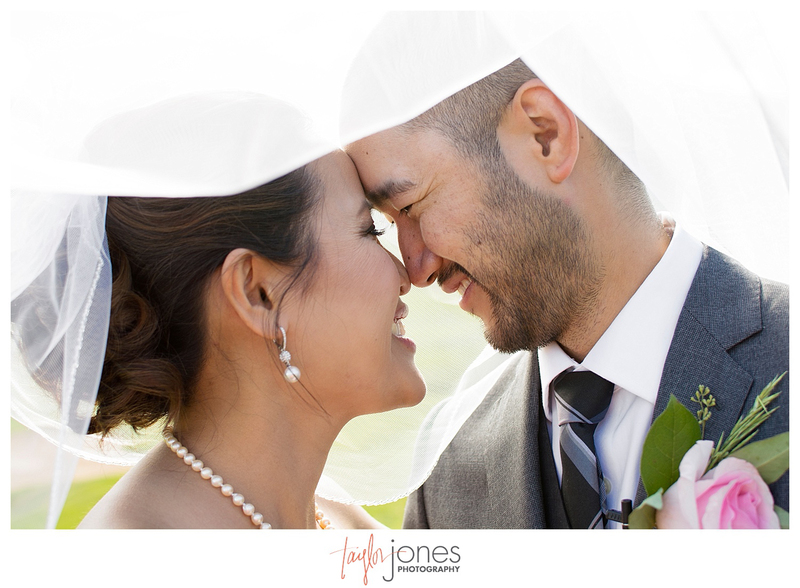 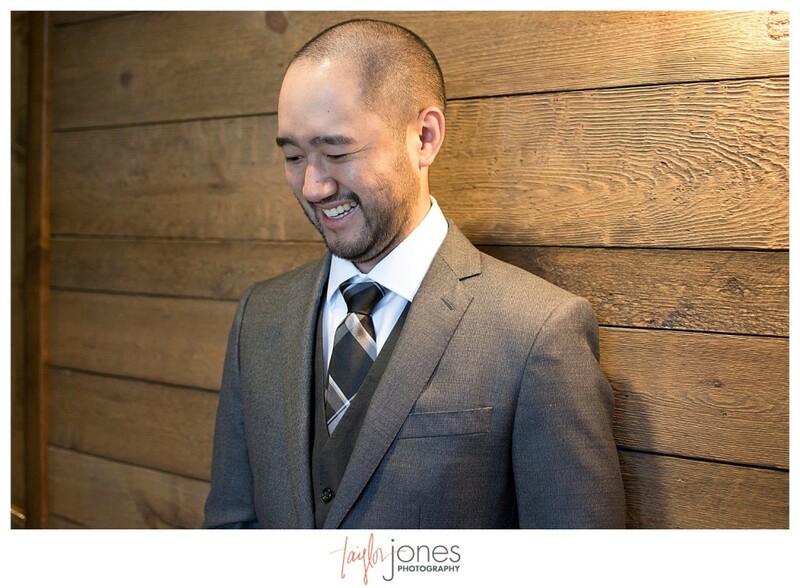 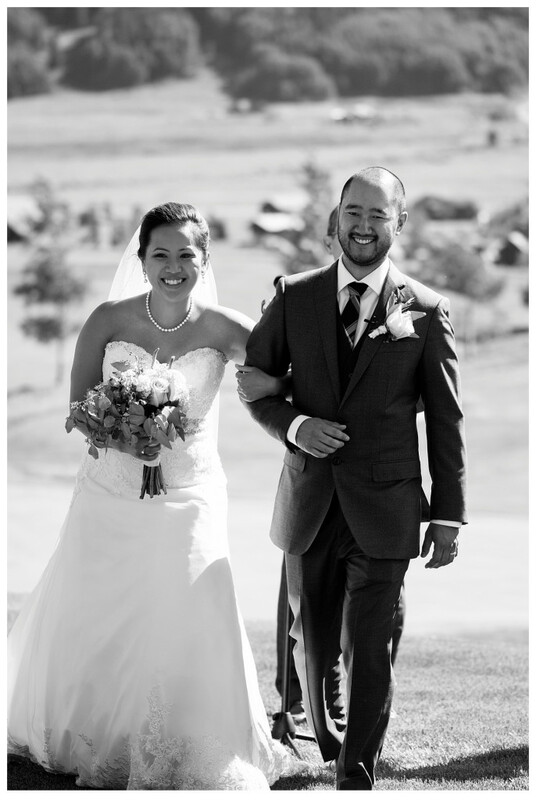 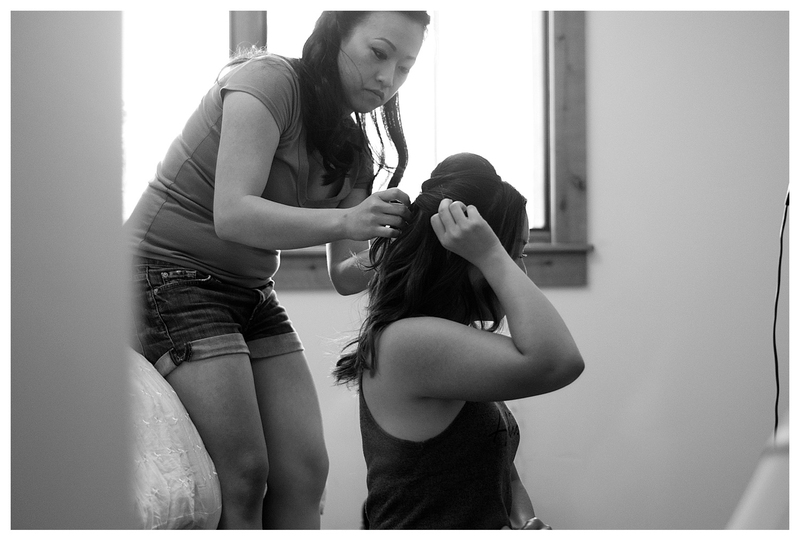 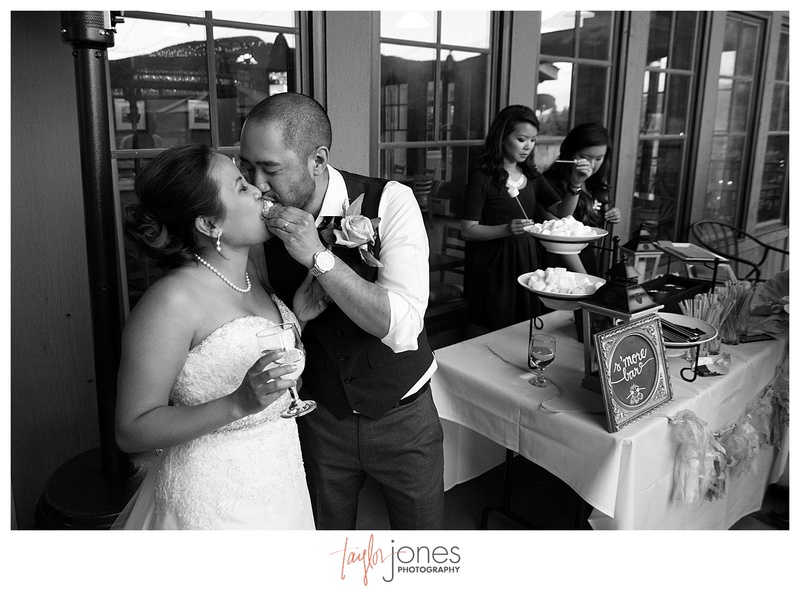 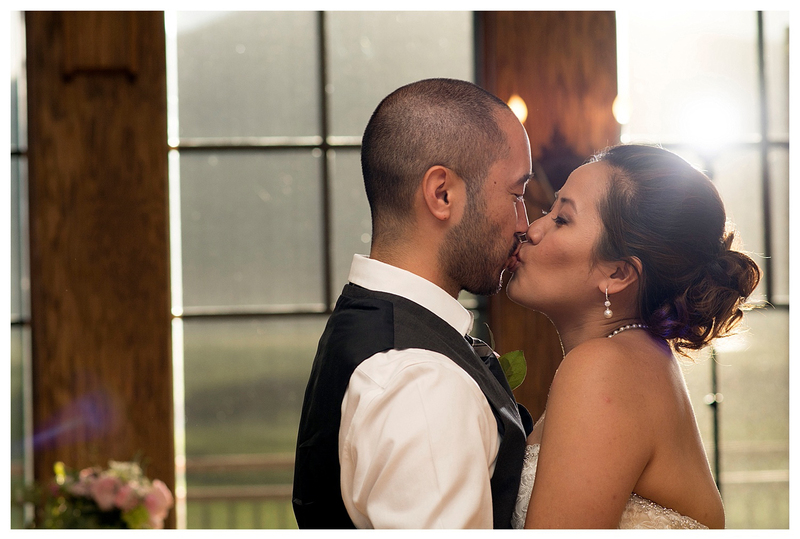 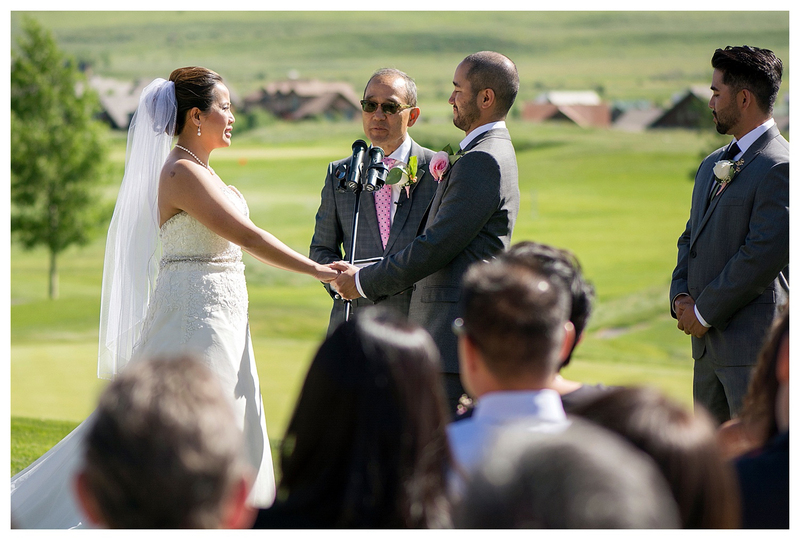 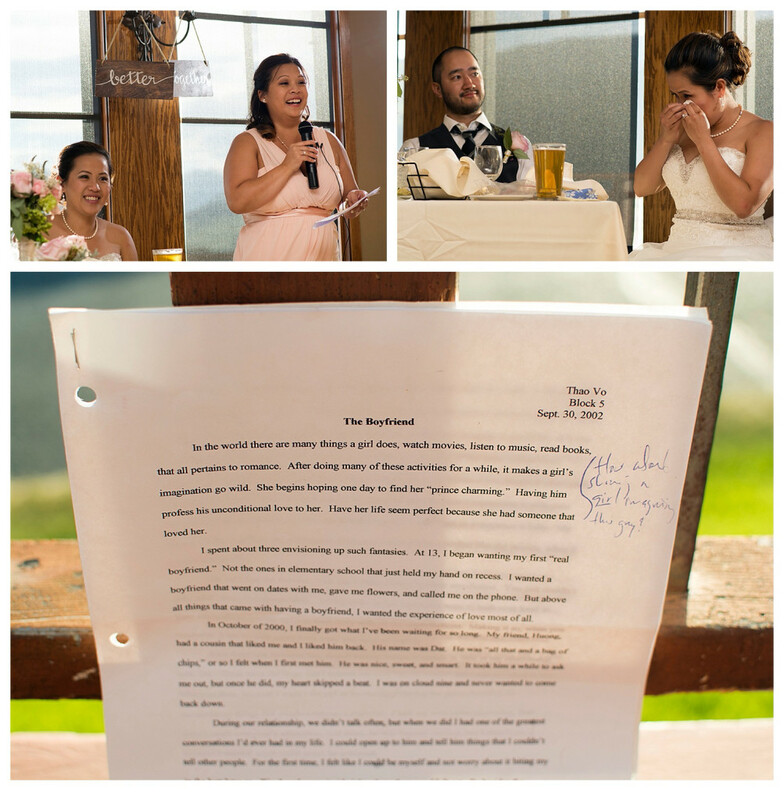 Thao and Alan’s story is certainly one a lot of folks dream of! 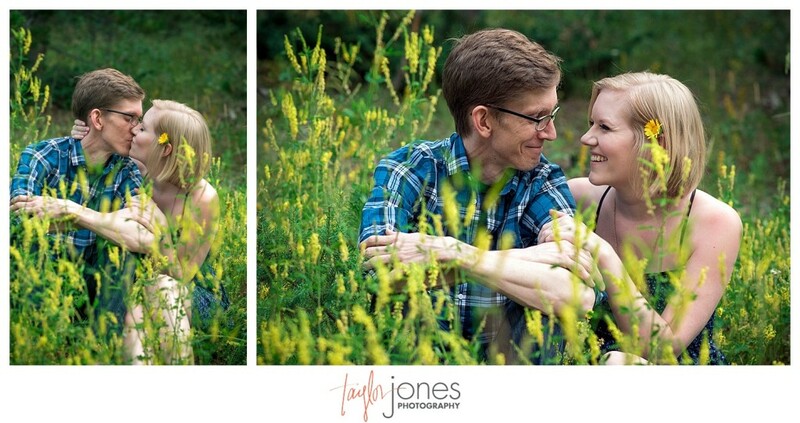 Would you believe that they ironically met at a wedding nearly 6 years ago? 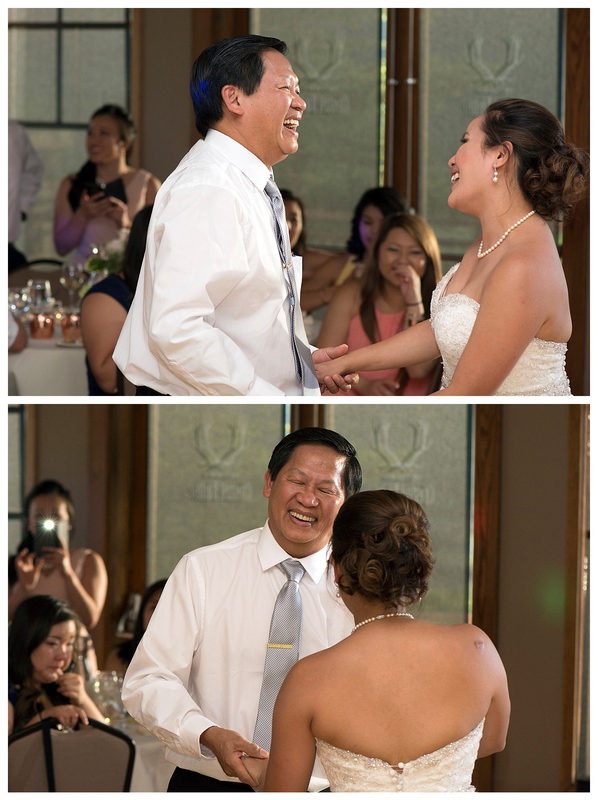 Thao made the first move by asking Alan to dance with. 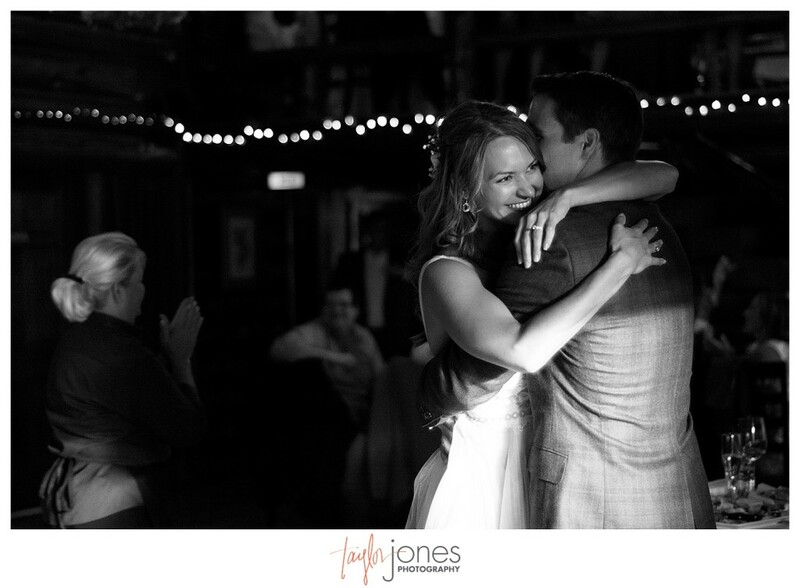 She spent a good chunk of the night hitting on him in hopes that he would ask for her number. 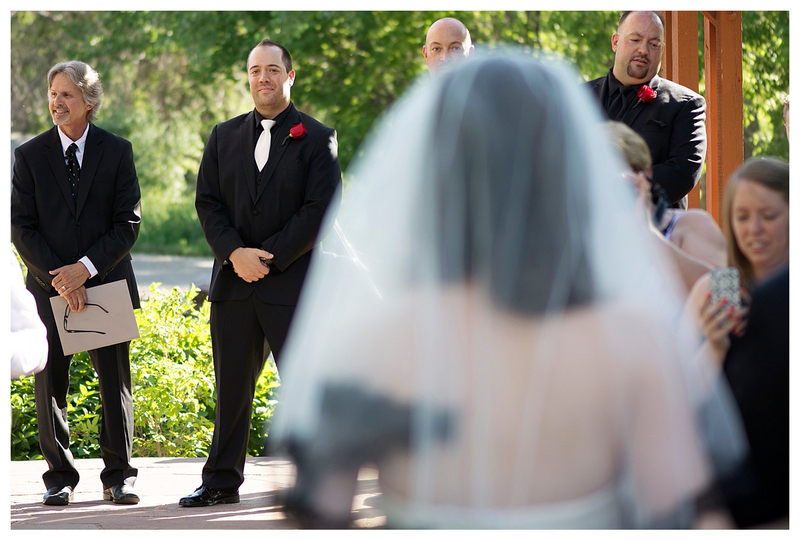 Unfortunately, Alan did not ask for her number that night. 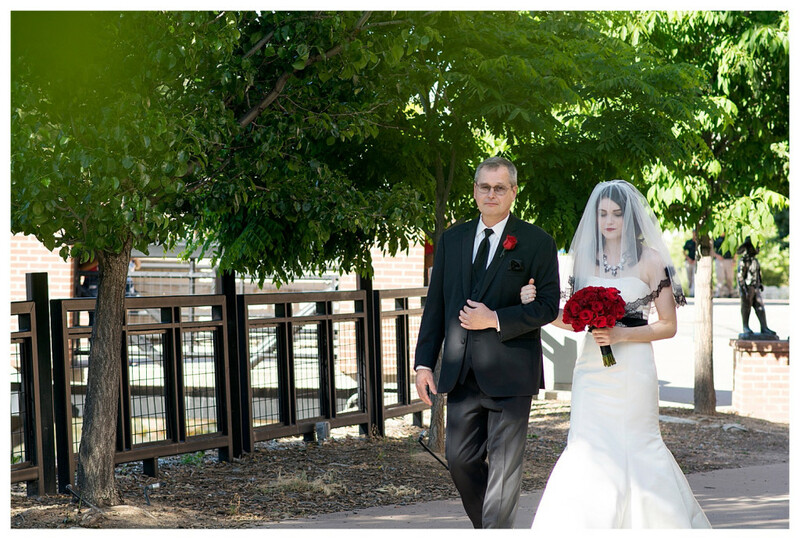 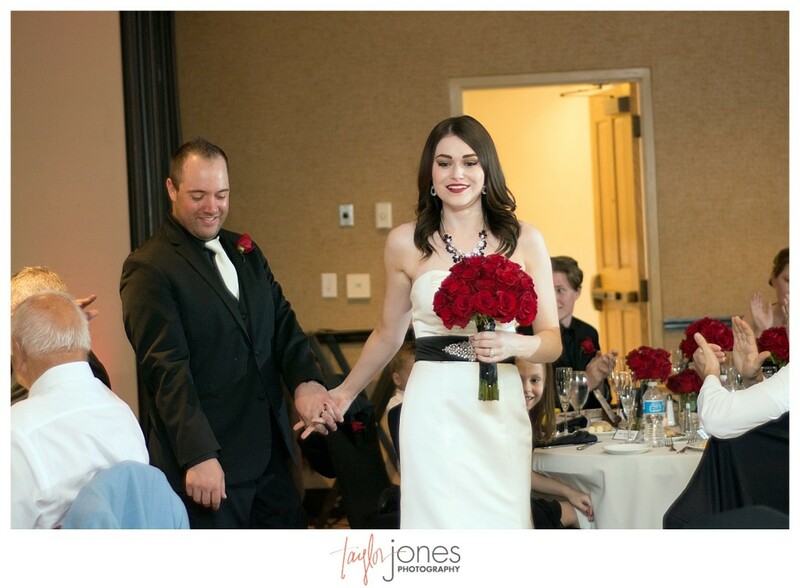 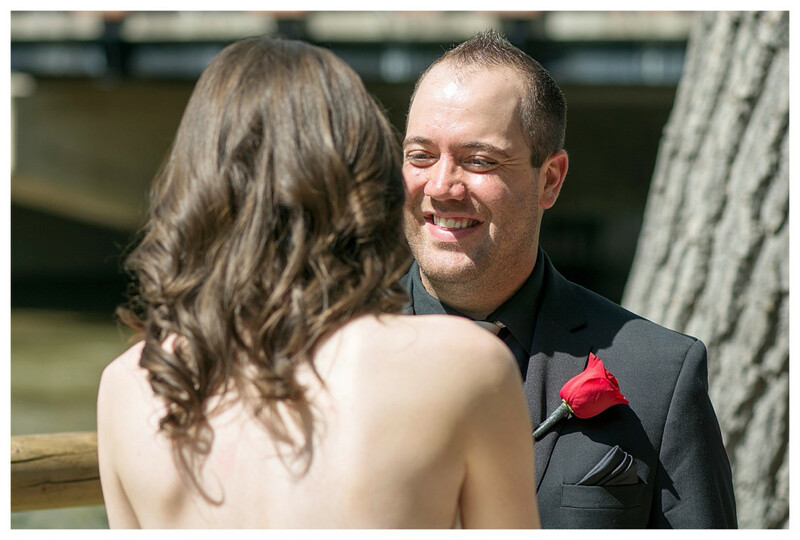 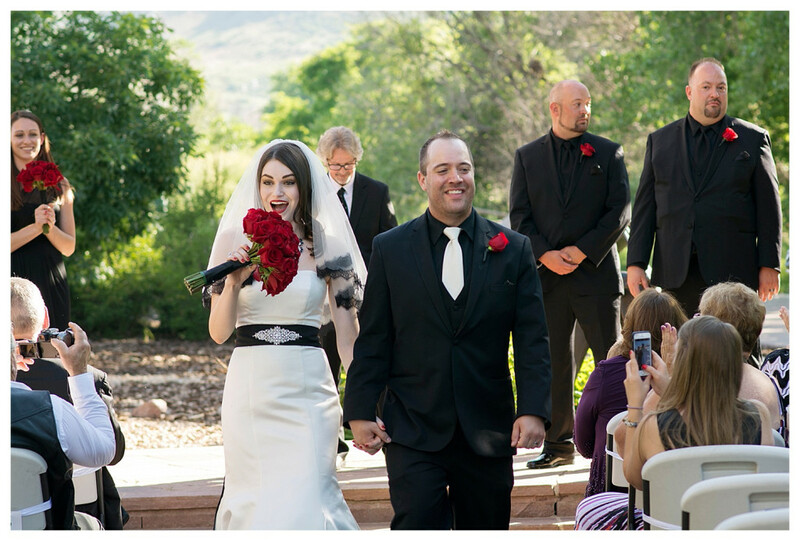 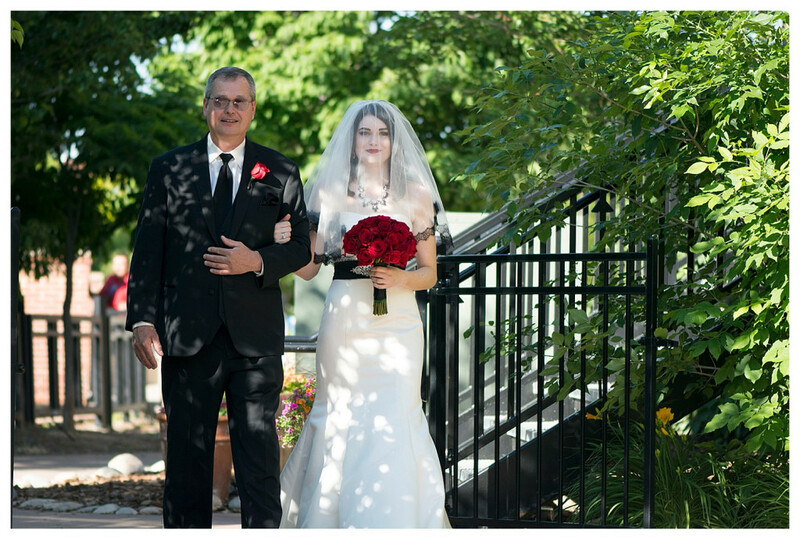 (For those who know Alan, he is quite the gentleman, and he did not want to give off the “Wedding Crasher” vibe.) 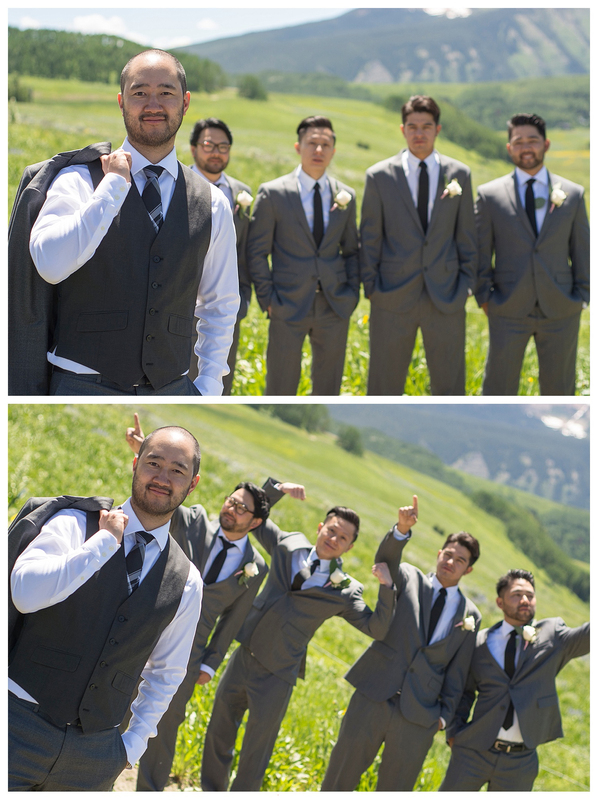 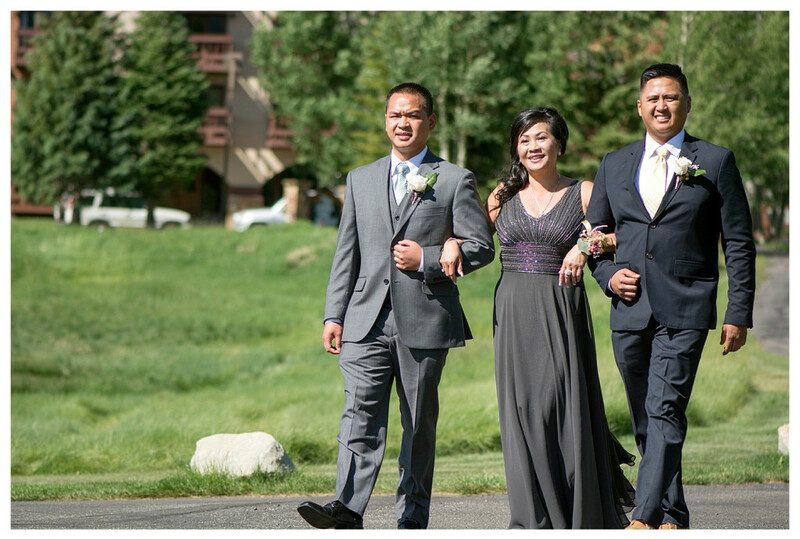 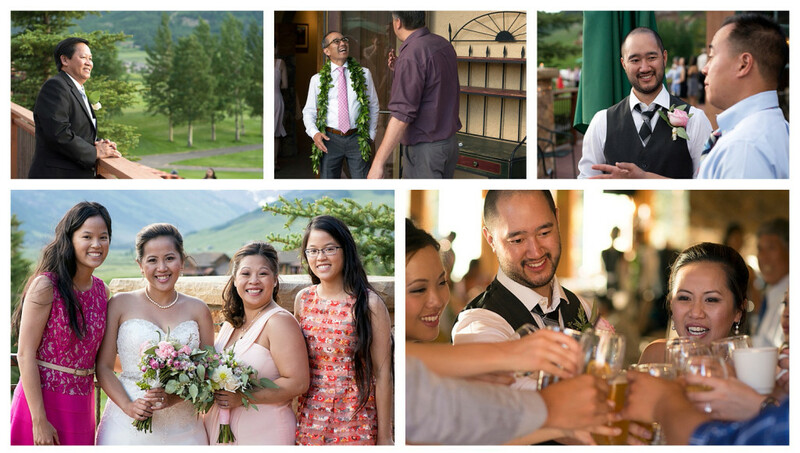 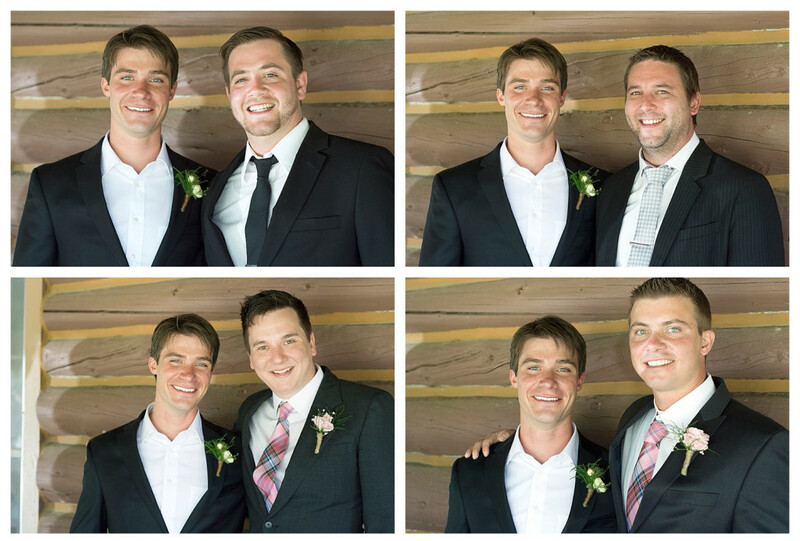 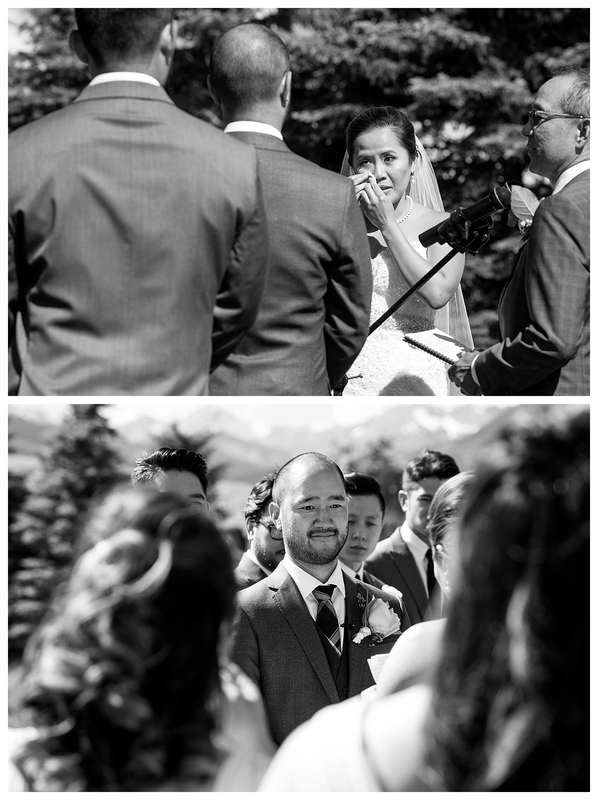 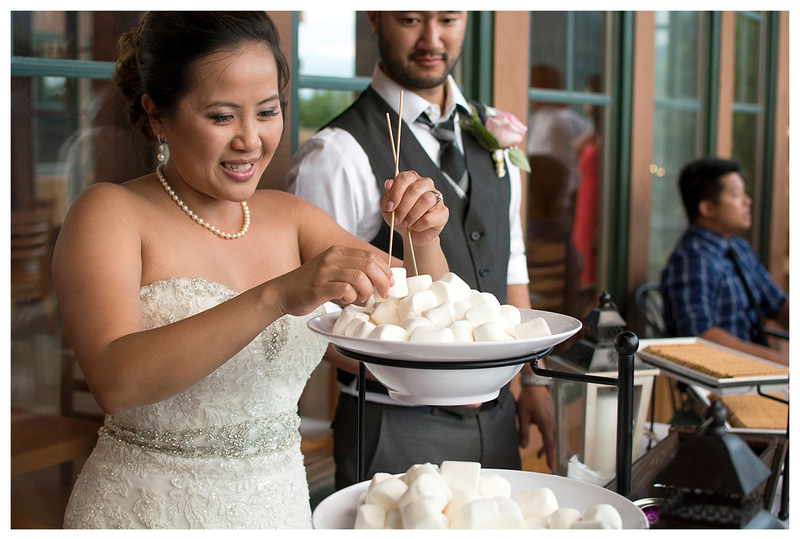 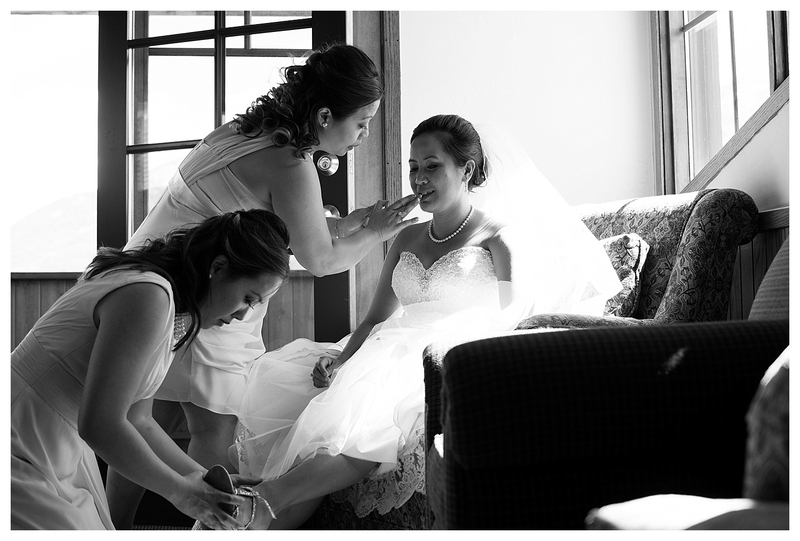 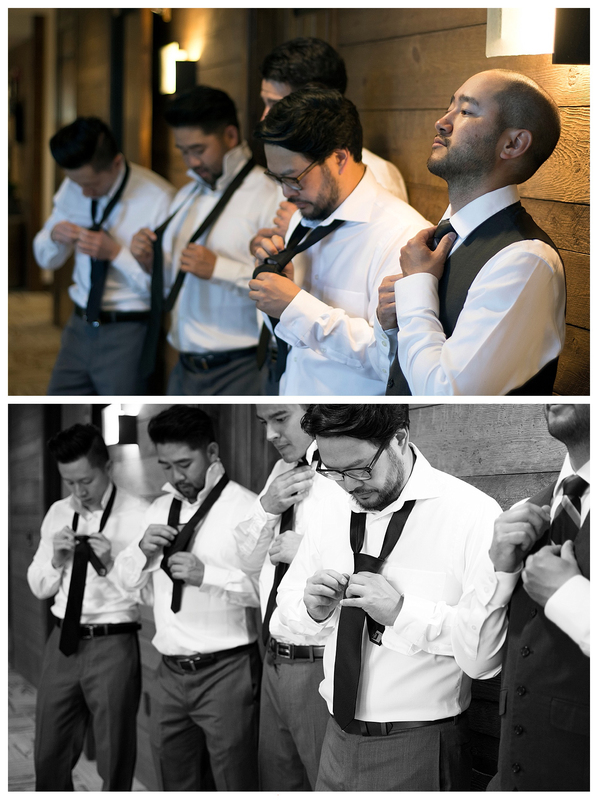 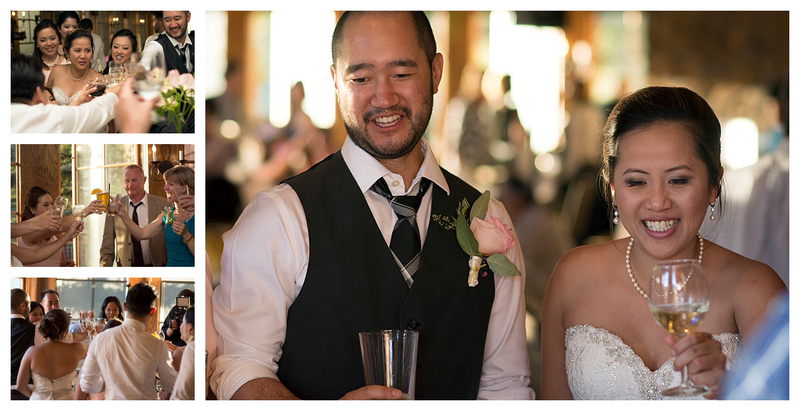 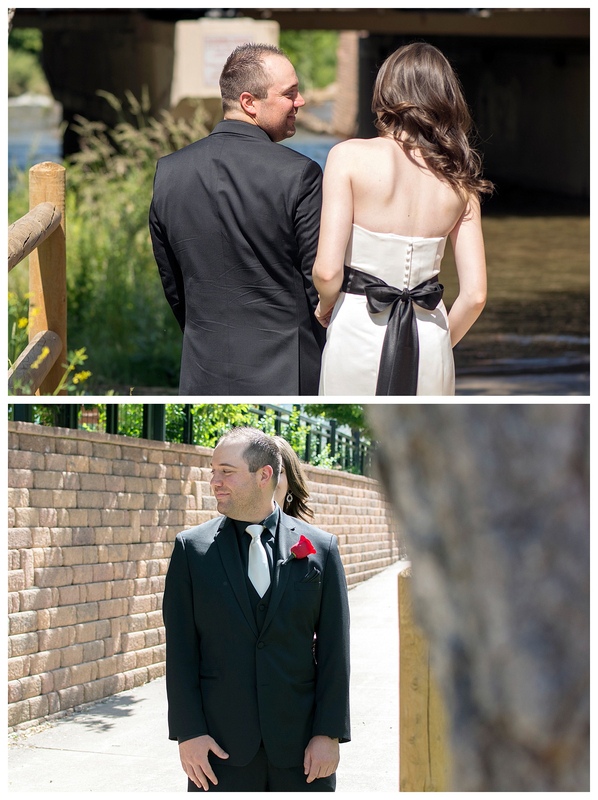 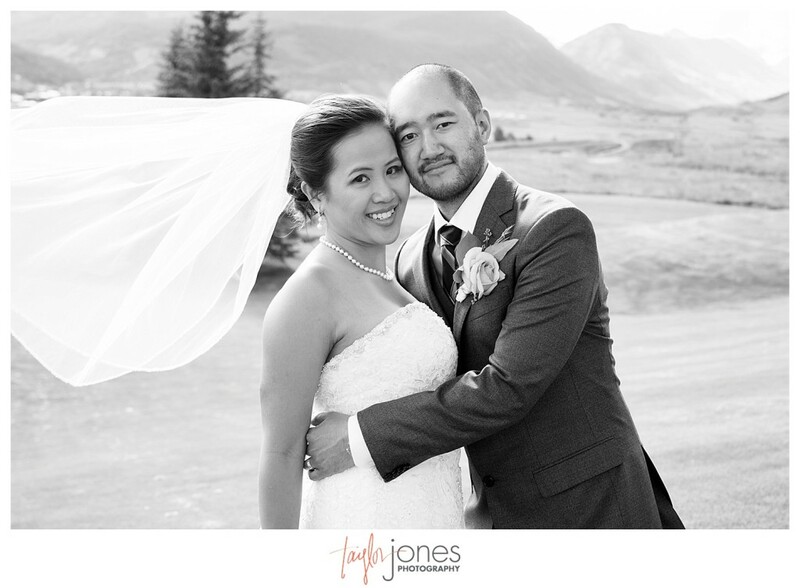 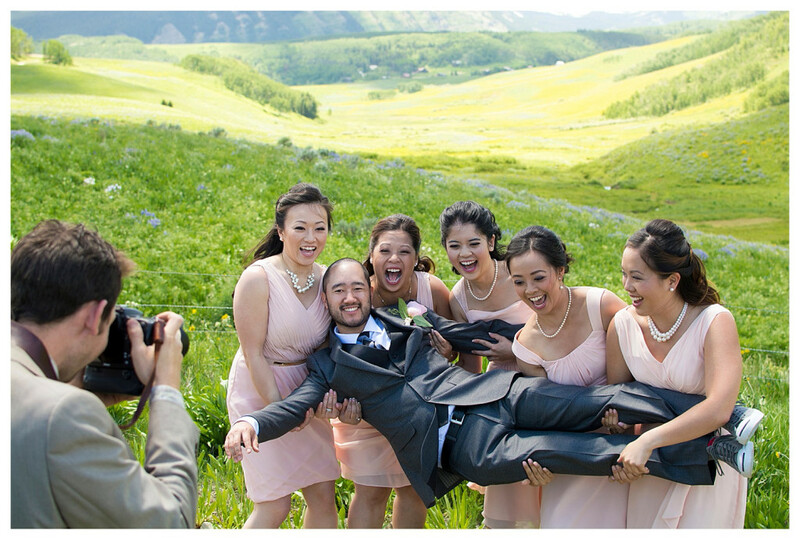 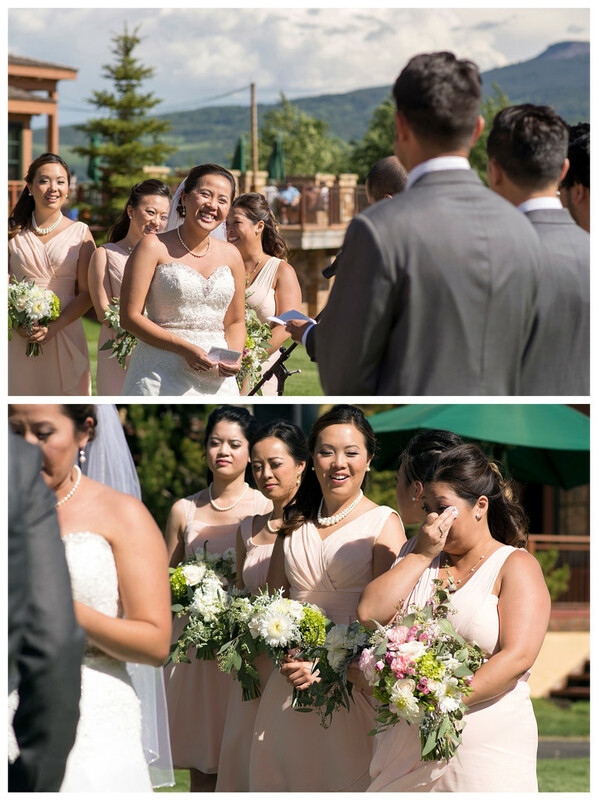 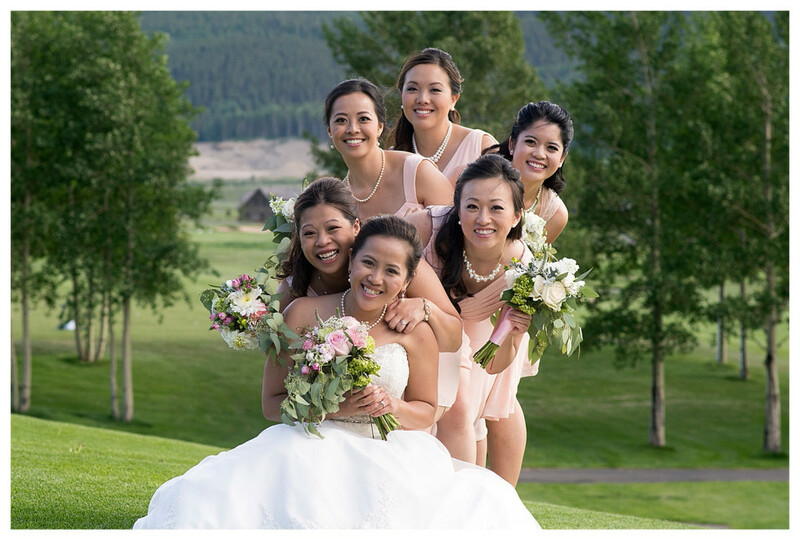 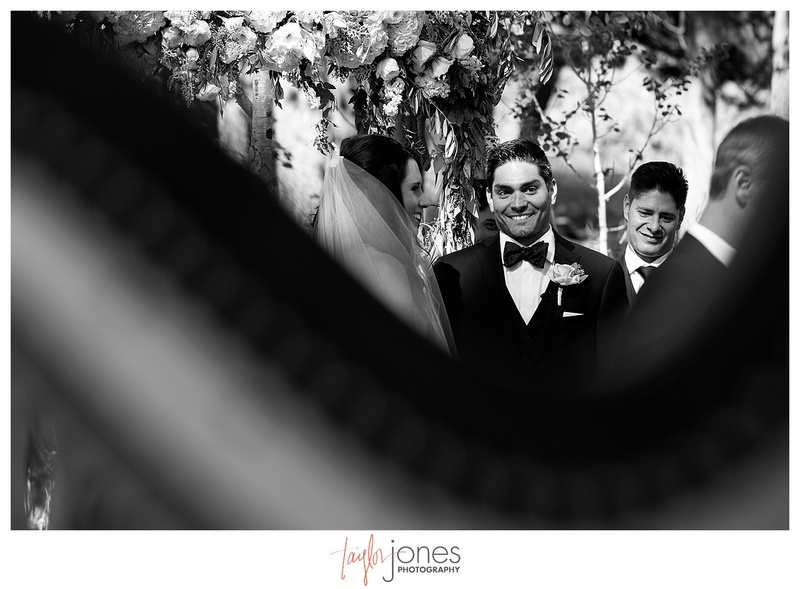 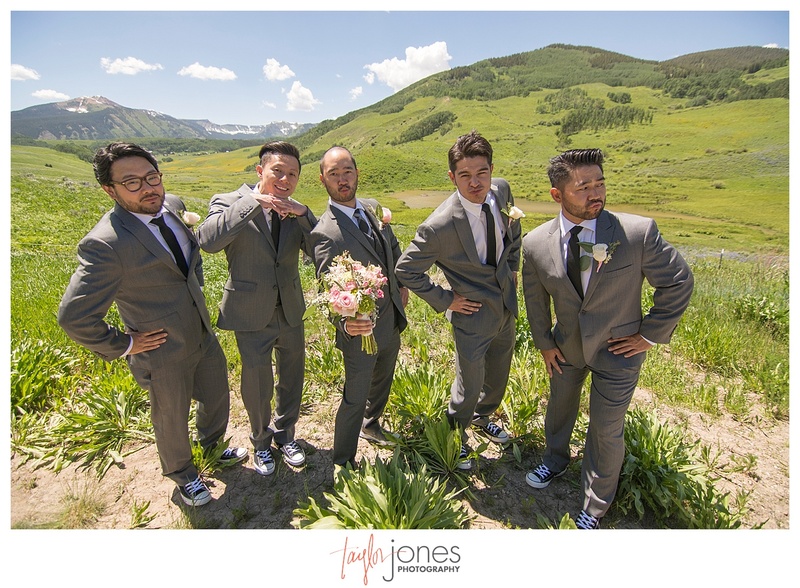 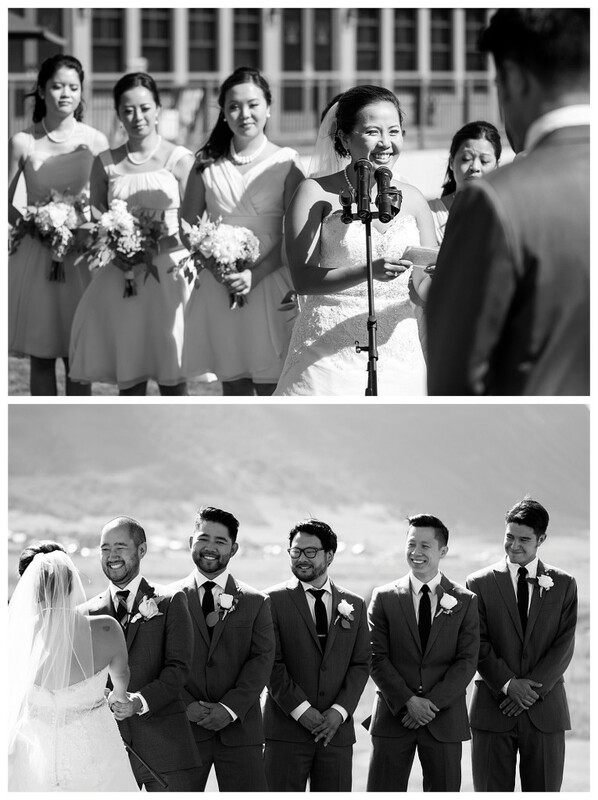 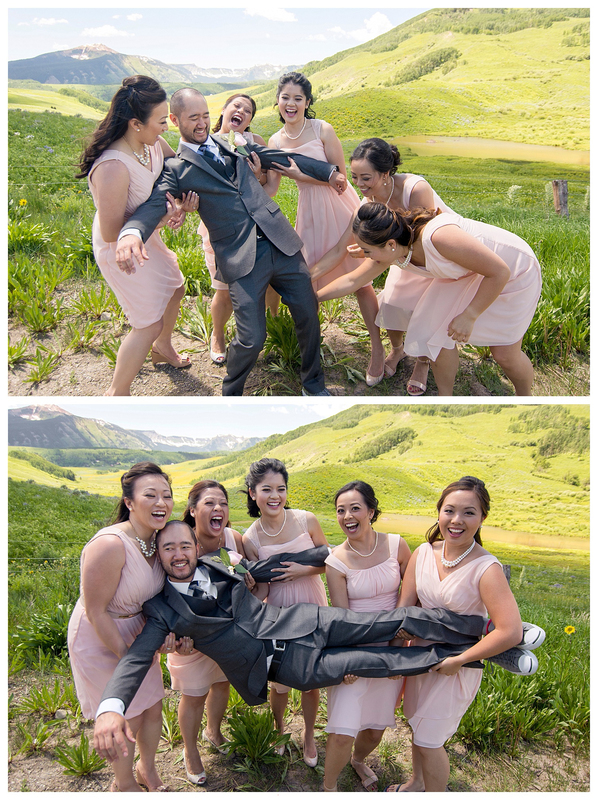 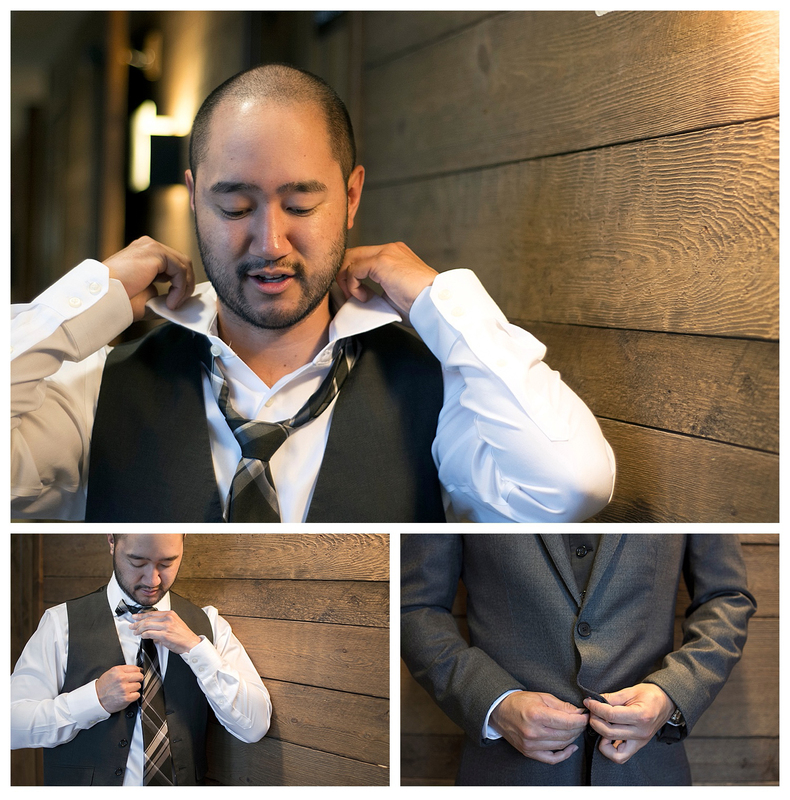 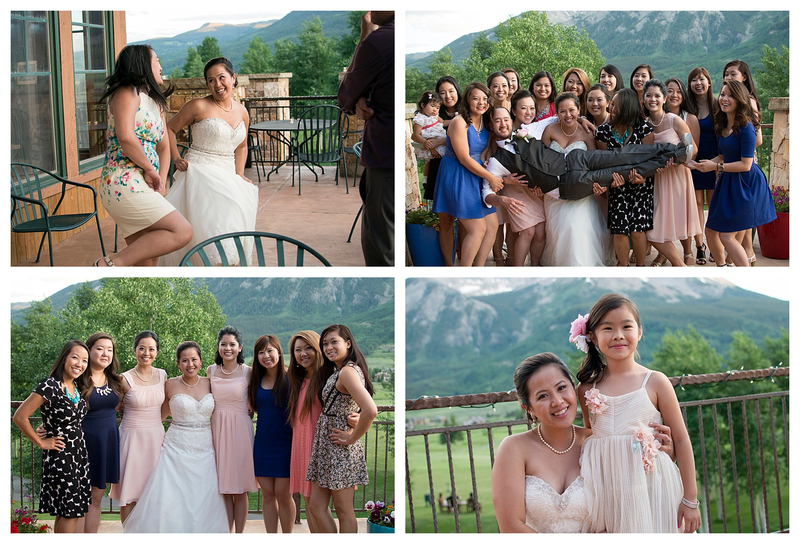 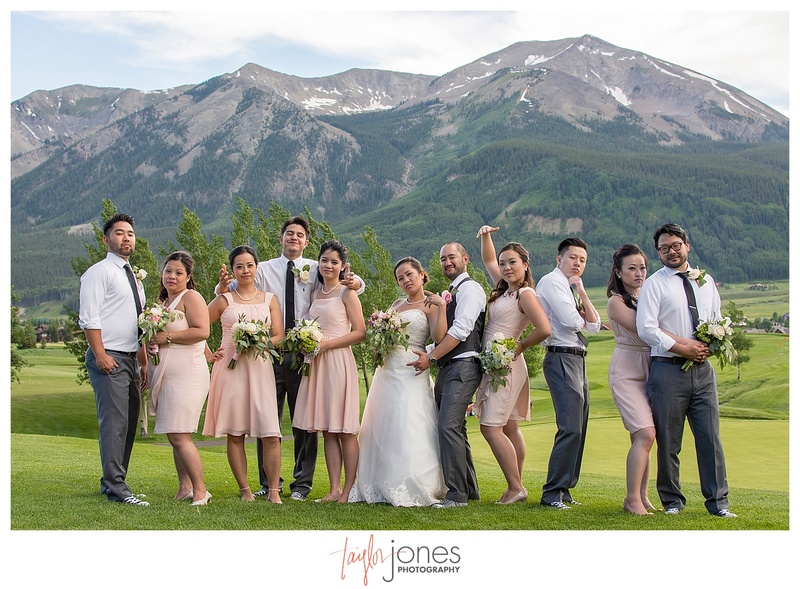 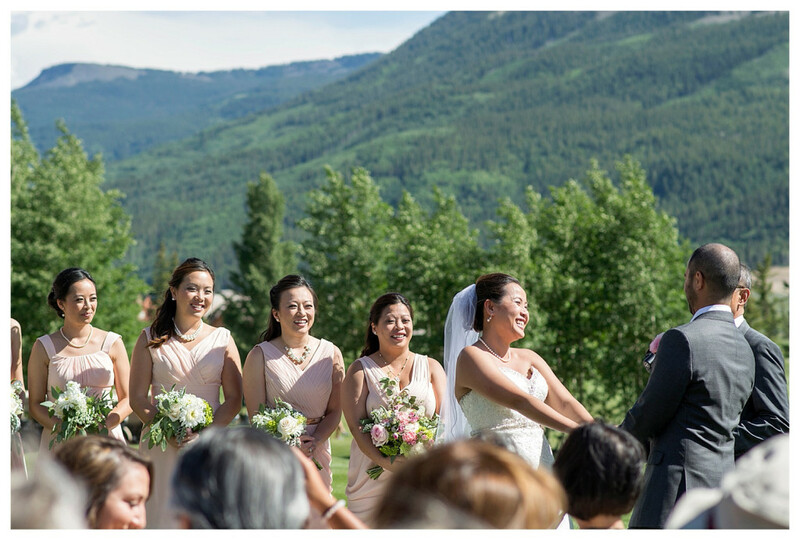 Lucky for Thao, Their mutual friend and groomsmen, Gordon, suggested that they be Facebook friends after the wedding. 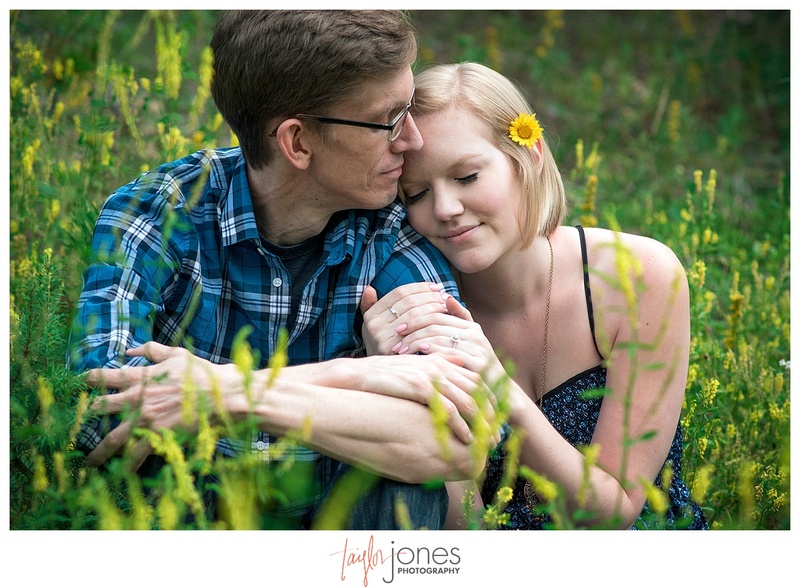 From there, their love blossomed. 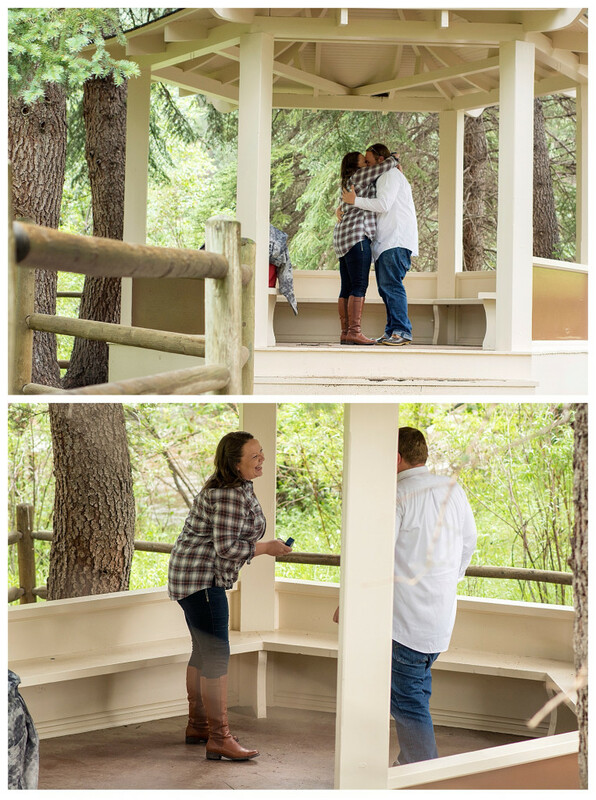 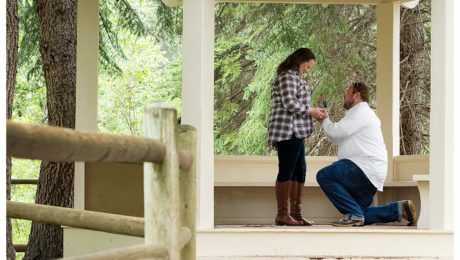 Their proposal story is one for the books! 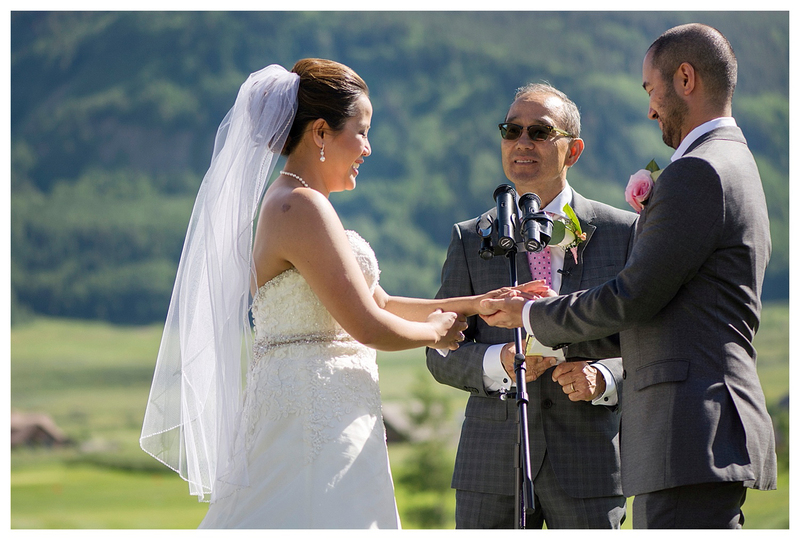 Alan is a bit of an admitted technophile, while Thao is not. 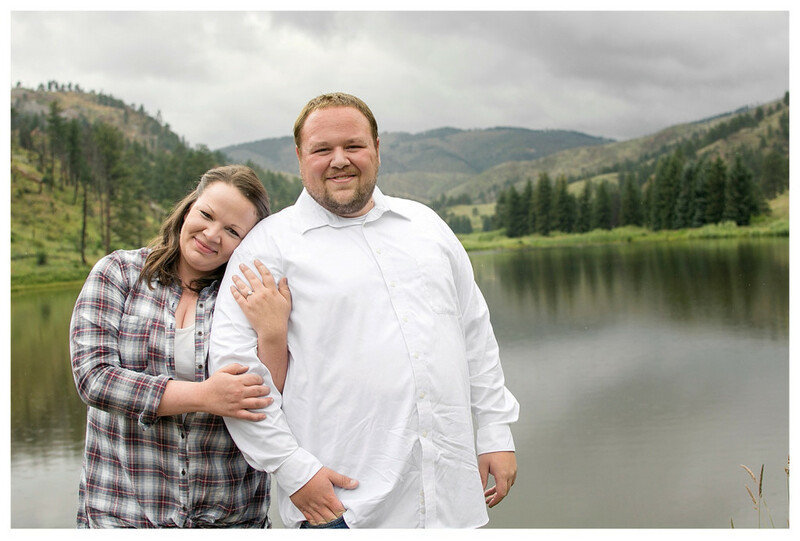 For her 27th birthday, Alan mentioned that he wanted to get her a new phone. 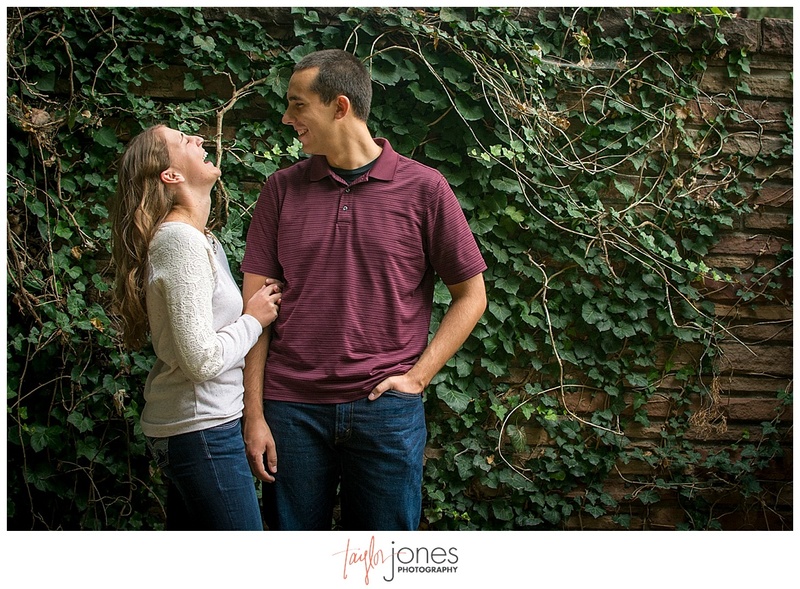 However, she adamantly told him not to get her a phone since he needed to save his money for other things *hint, hint*. 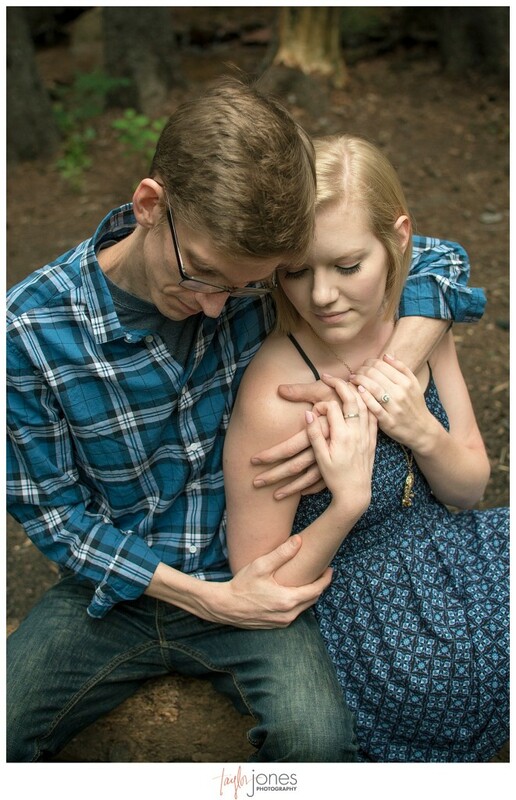 Weeks prior to her birthday, much to her dismay, Alan watched Youtube videos comparing smartphones before bed. 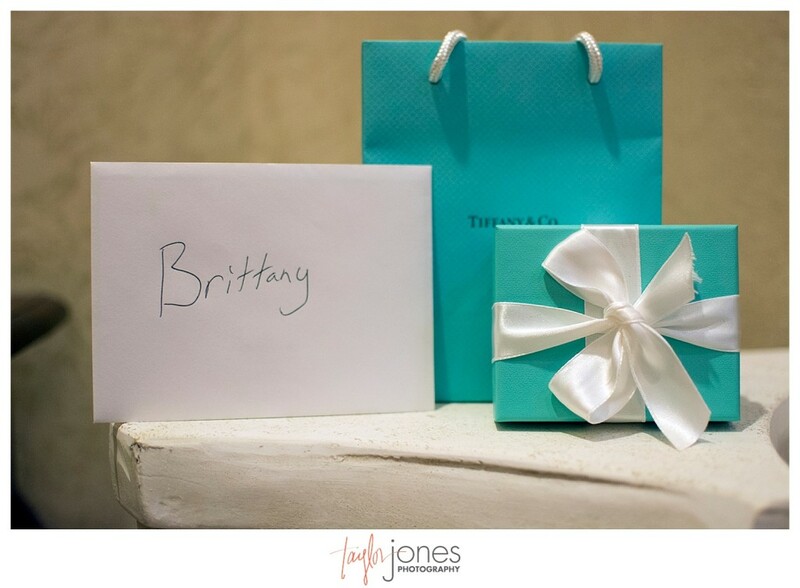 A couple nights after her birthday, she was cooking dinner when Alan came in and said that her birthday present had finally arrived. 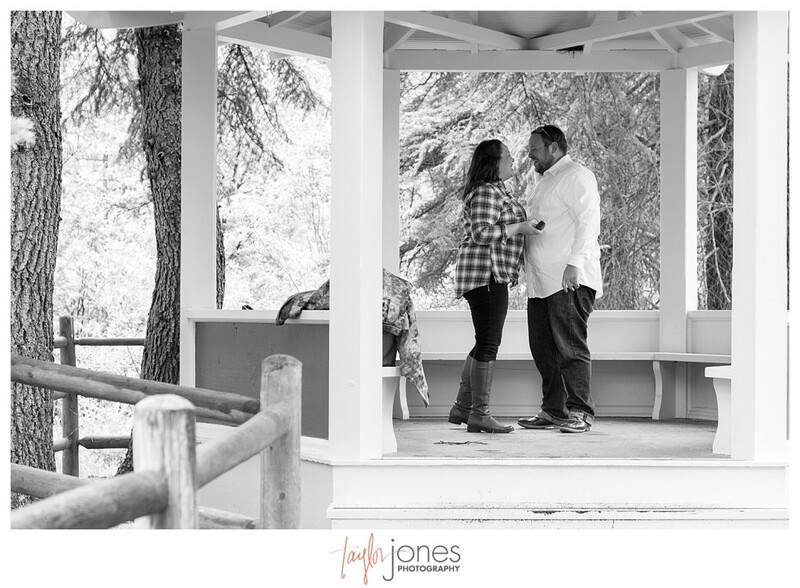 He asked if she wanted to open it and she exclaimed “Yes!” Alan told her to put her hands out and close her eyes. 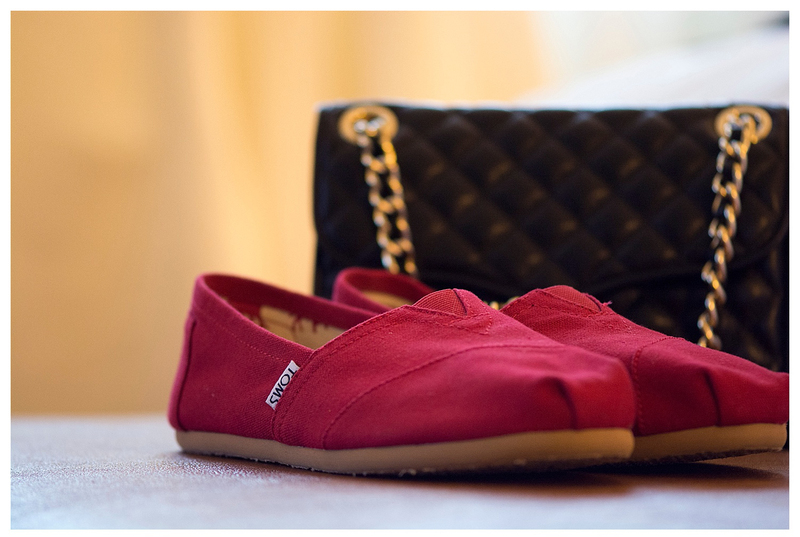 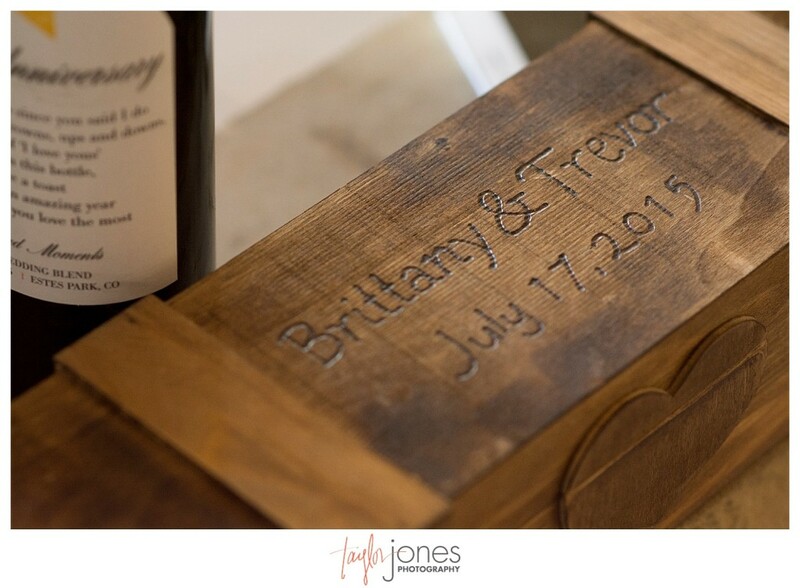 He placed a box in her hand and when she opened my eyes… she saw an iPhone box. 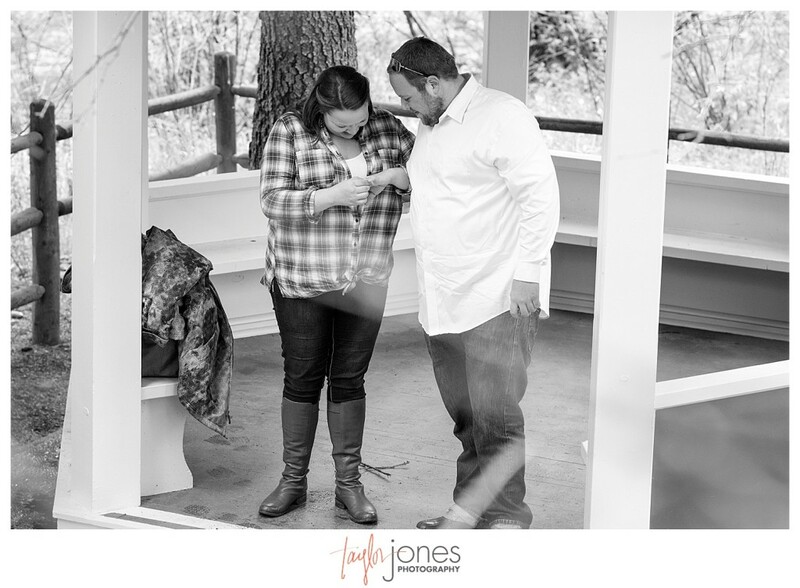 She started to yell at Alan and told him to return the phone! 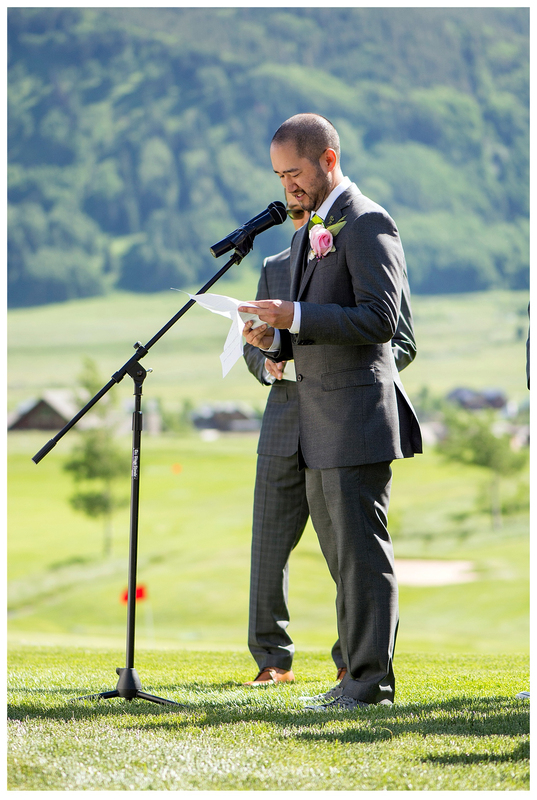 Quick to think on his feet, Alan said that he couldn’t return the phone because he got a special engraving on it. 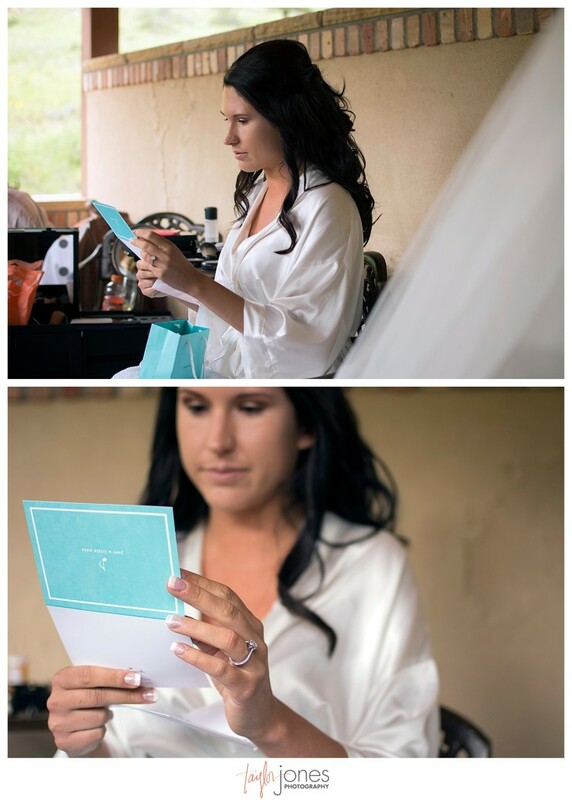 He told her to open it because she would love the message on the phone. 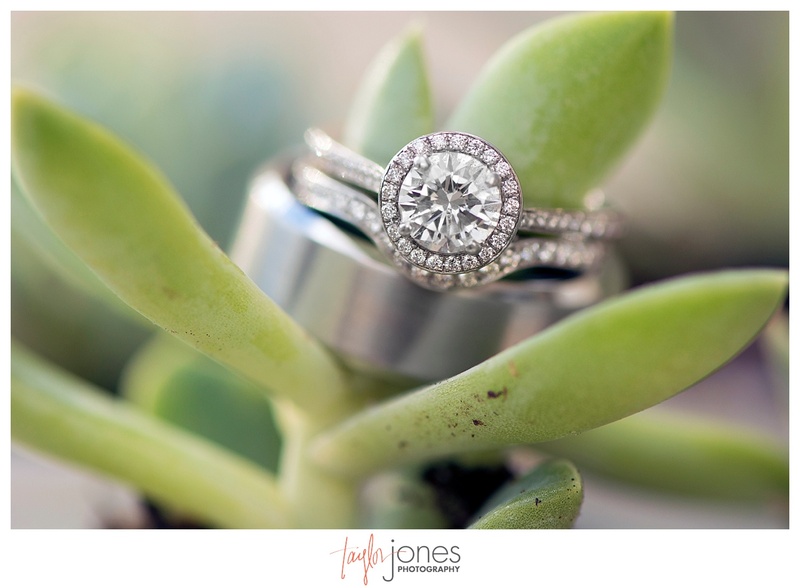 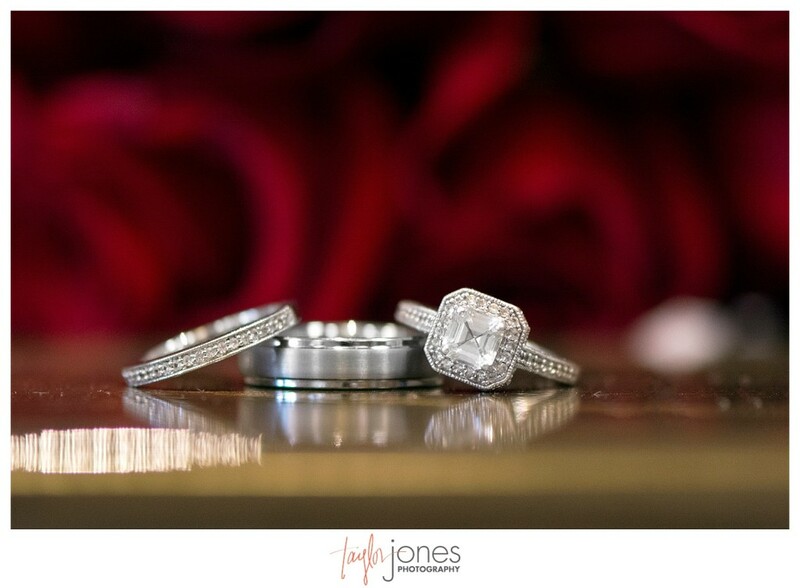 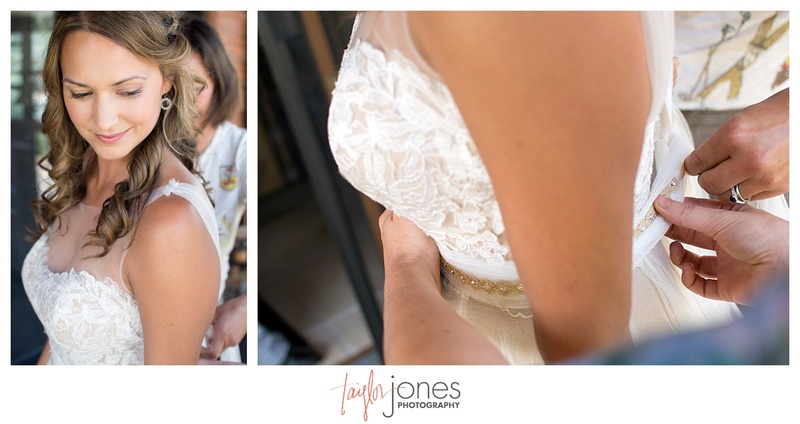 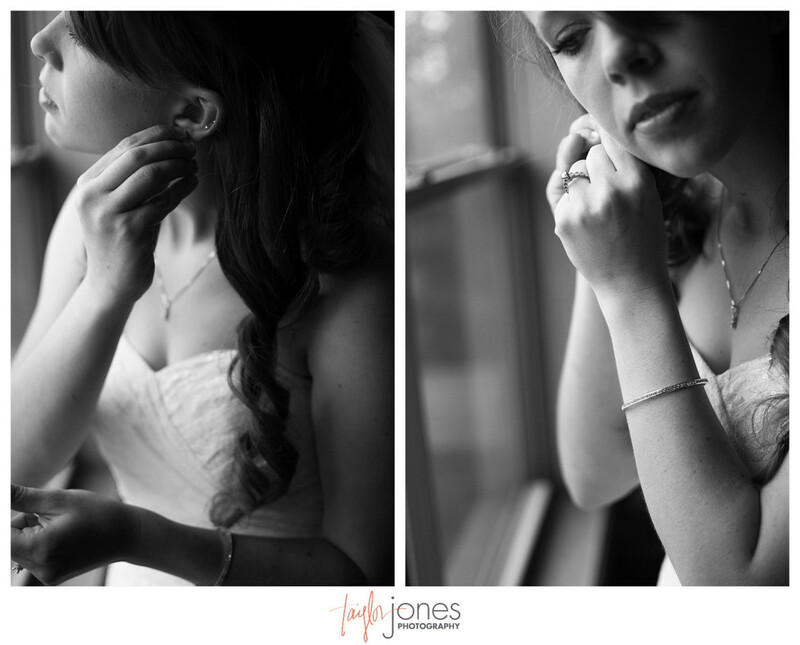 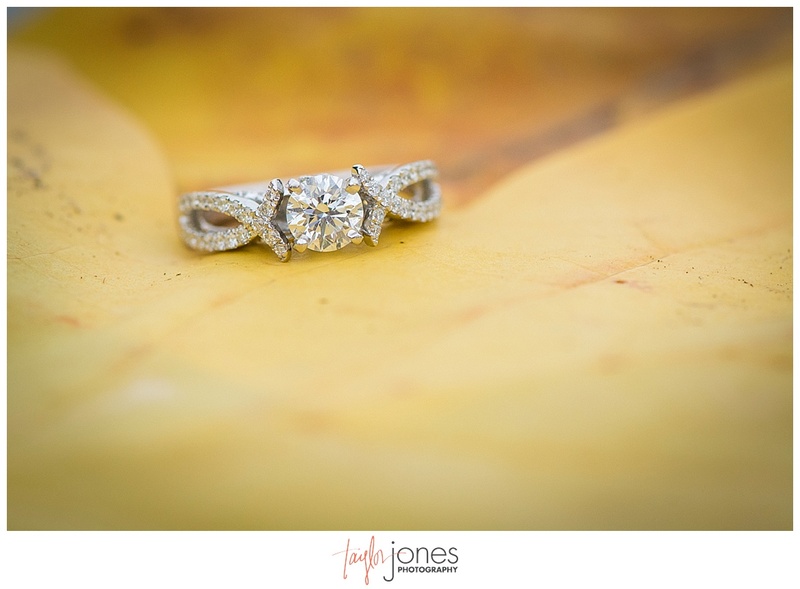 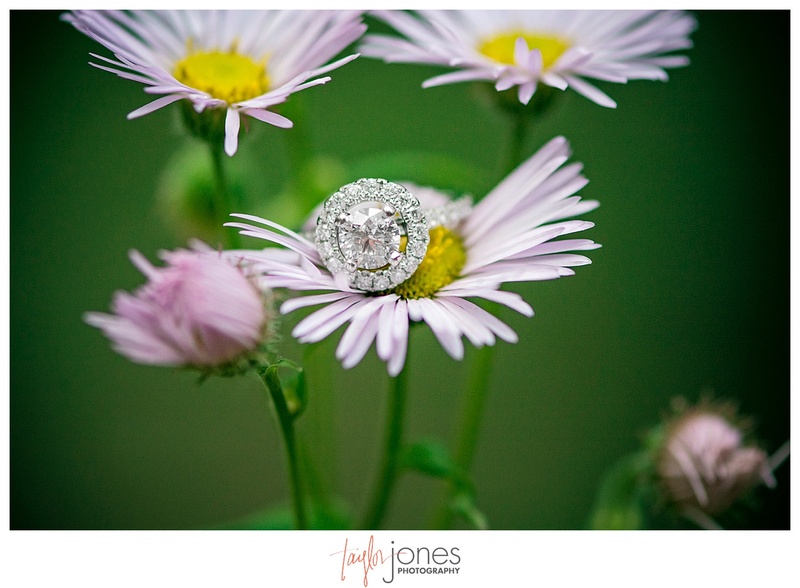 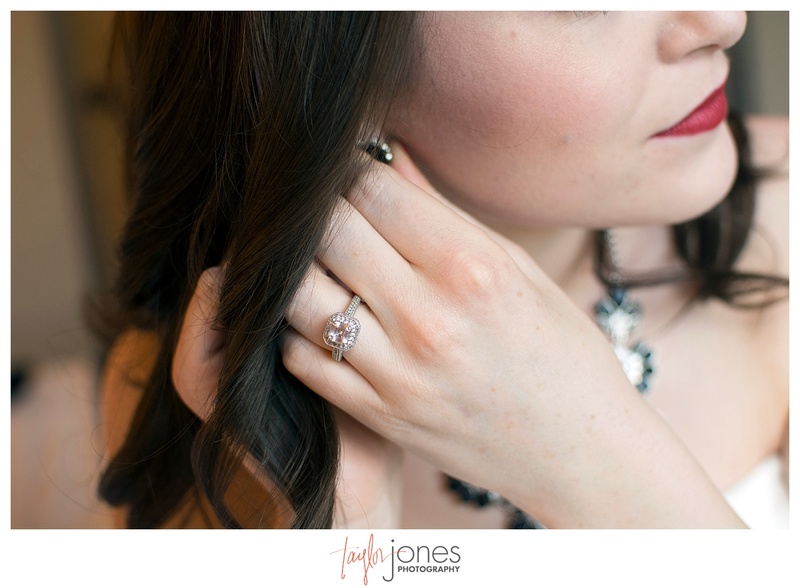 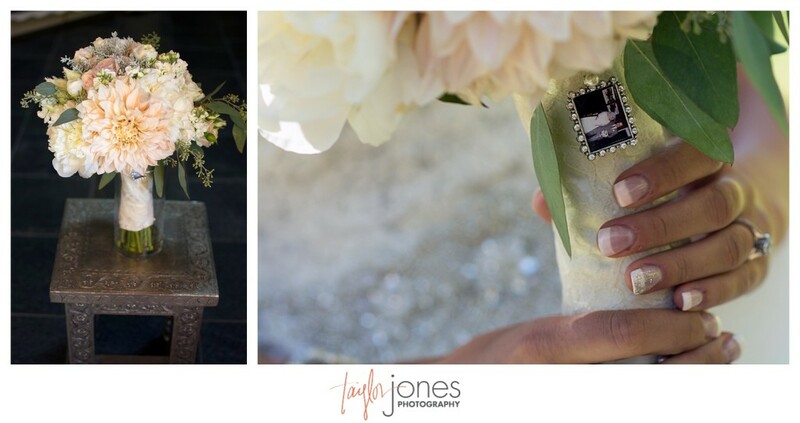 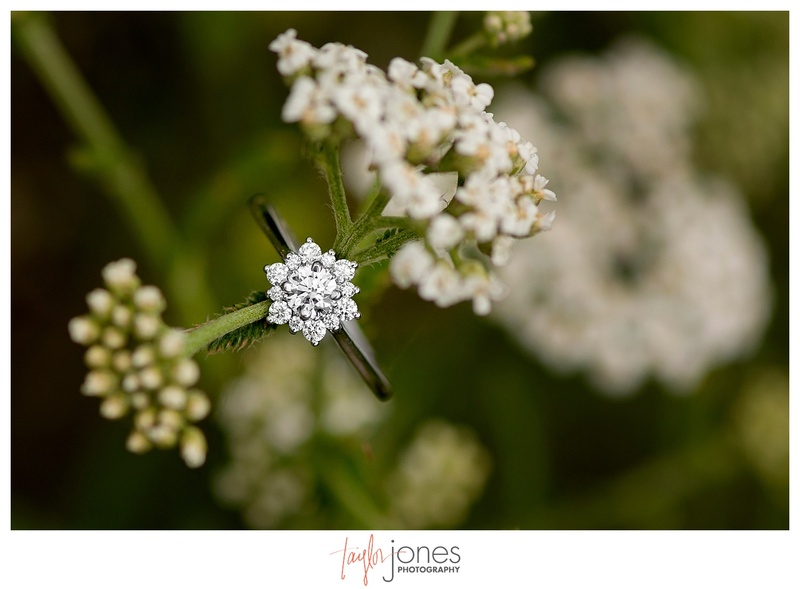 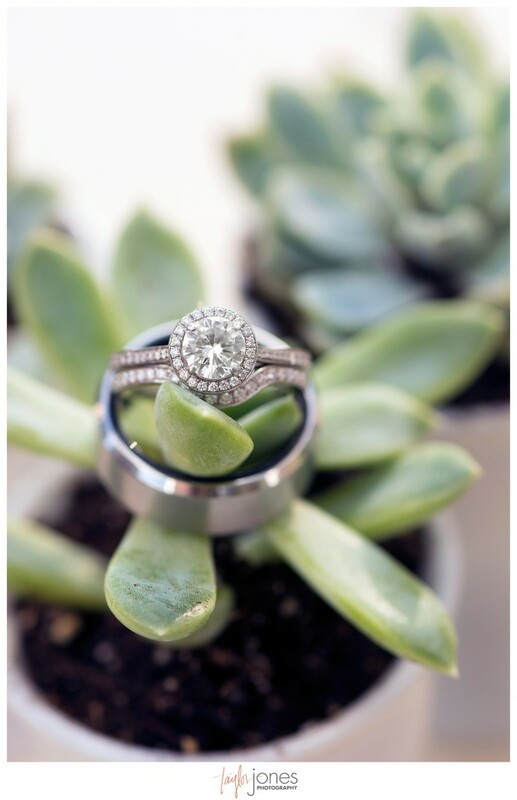 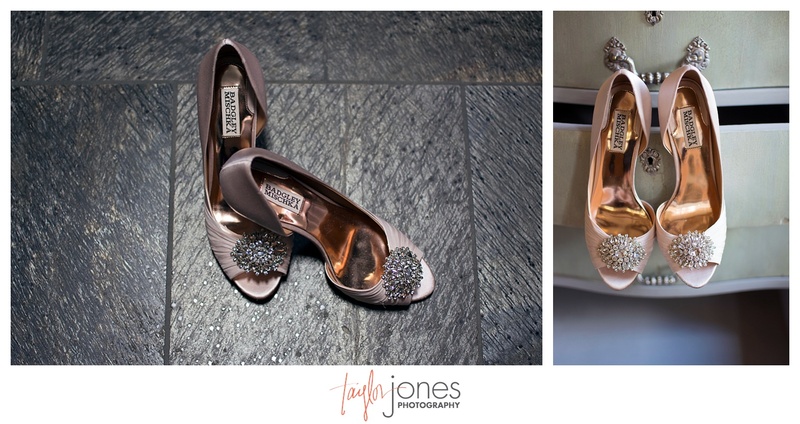 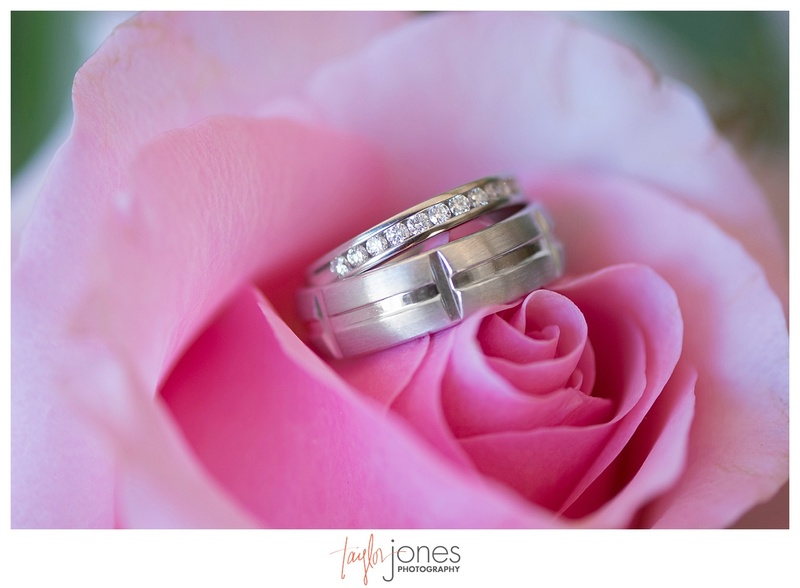 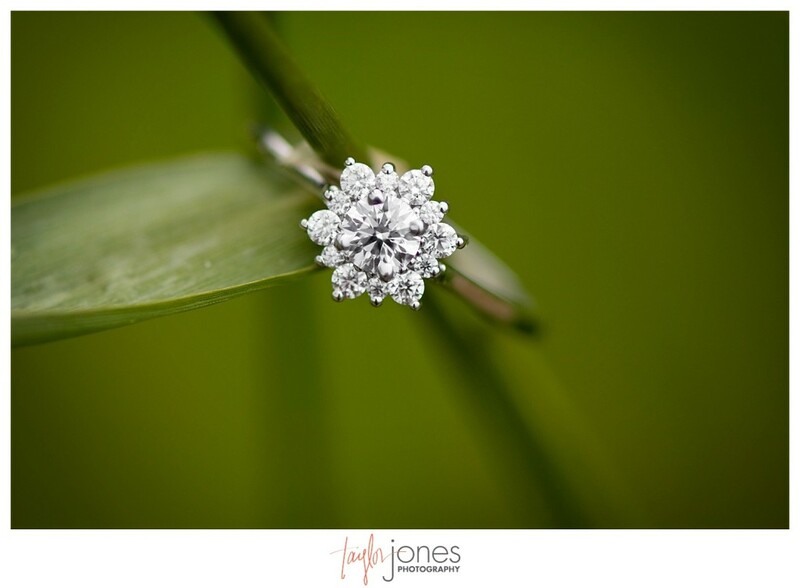 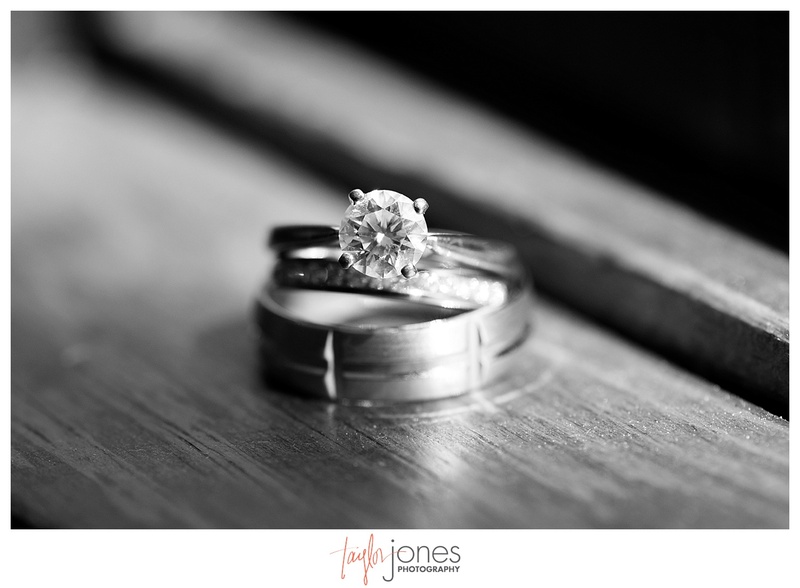 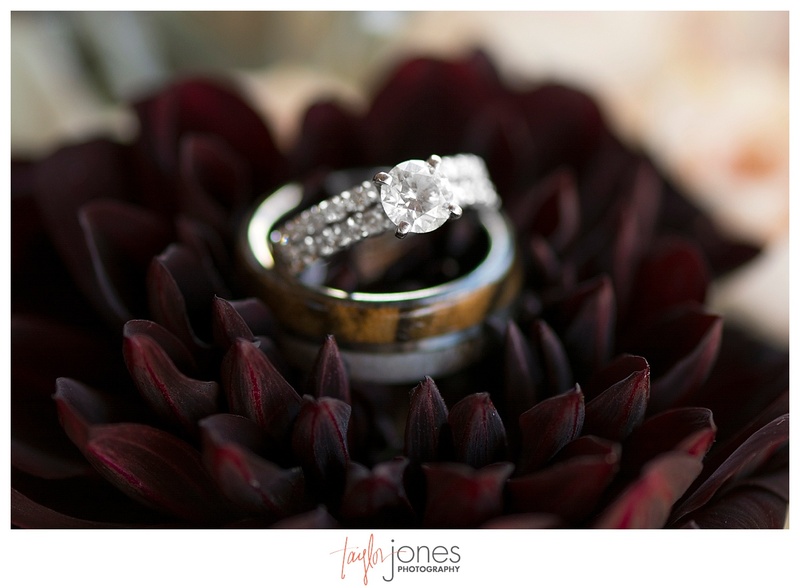 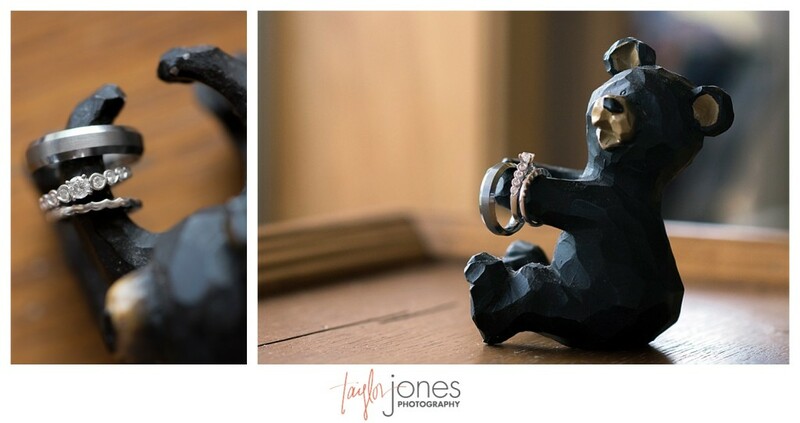 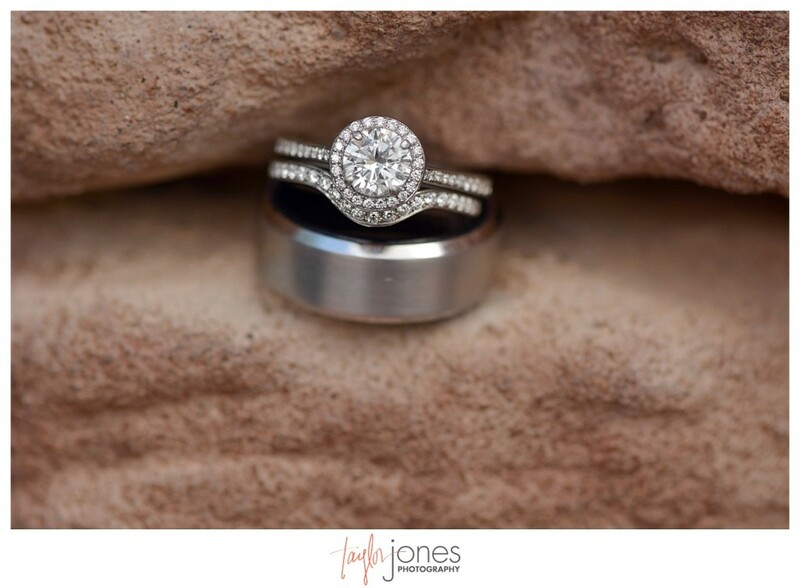 And there it was…a stunning shiny engagement ring! 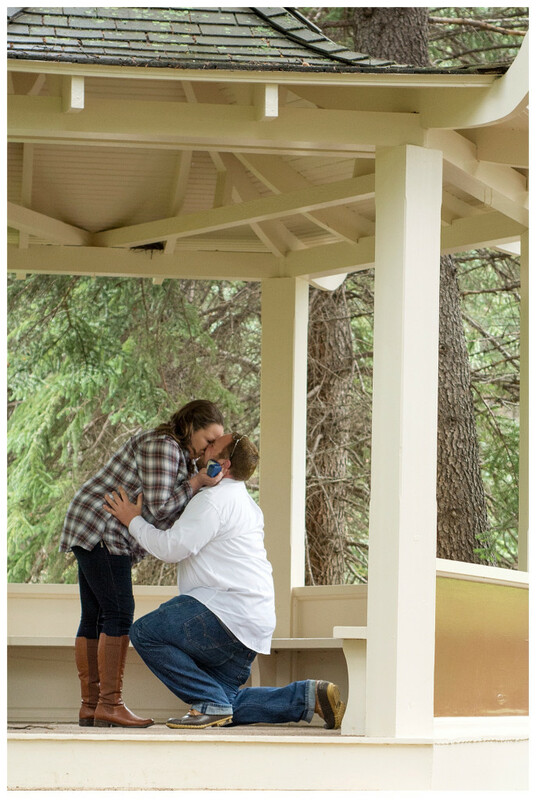 At that moment, Alan went down on his knees and proposed. 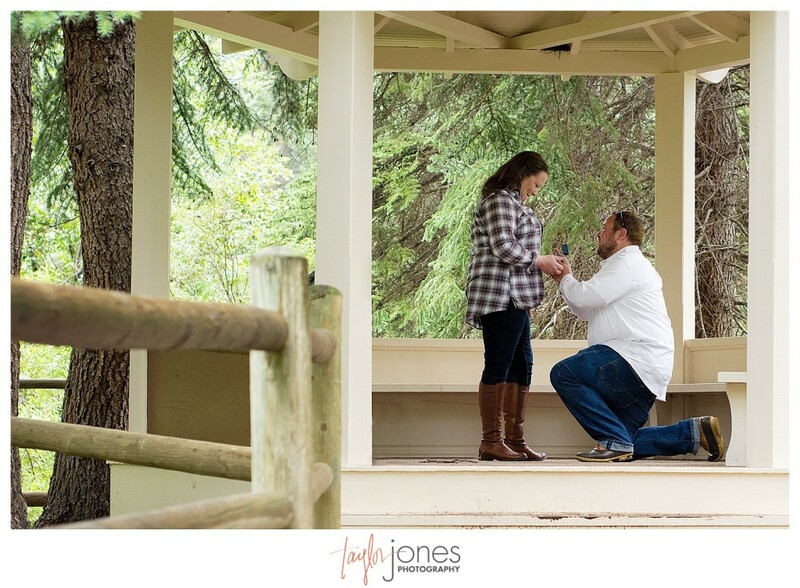 She obviously said yes. 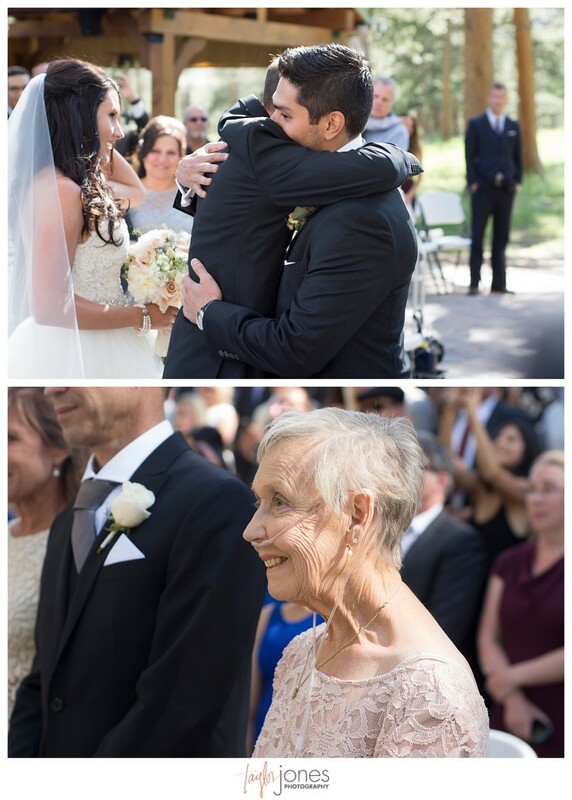 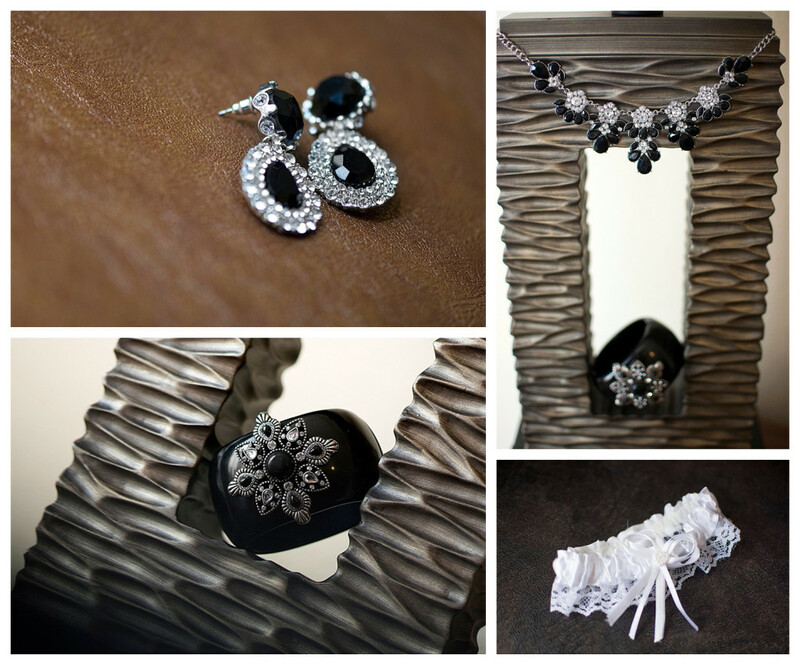 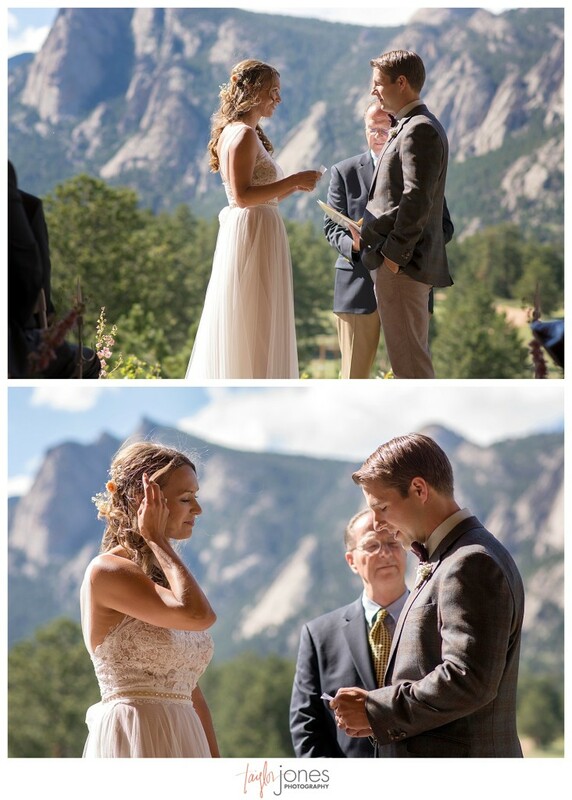 One of the most memorable parts of their wedding was their ceremony. 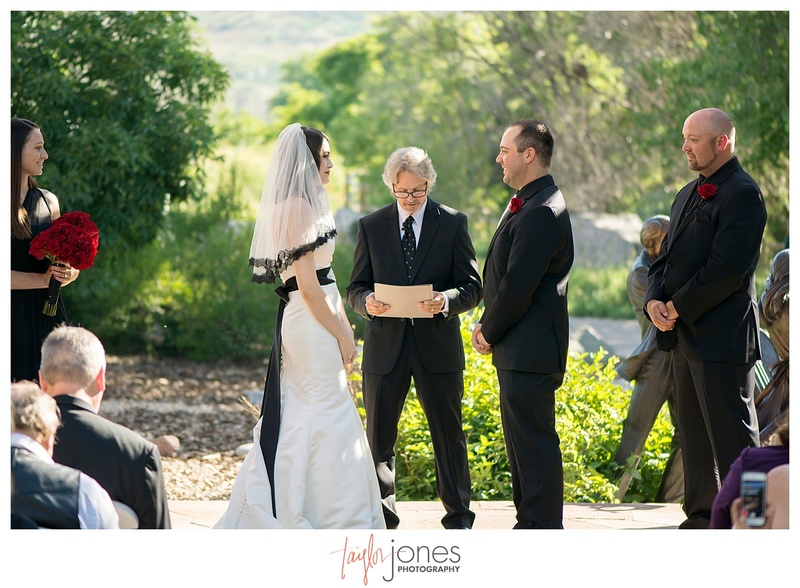 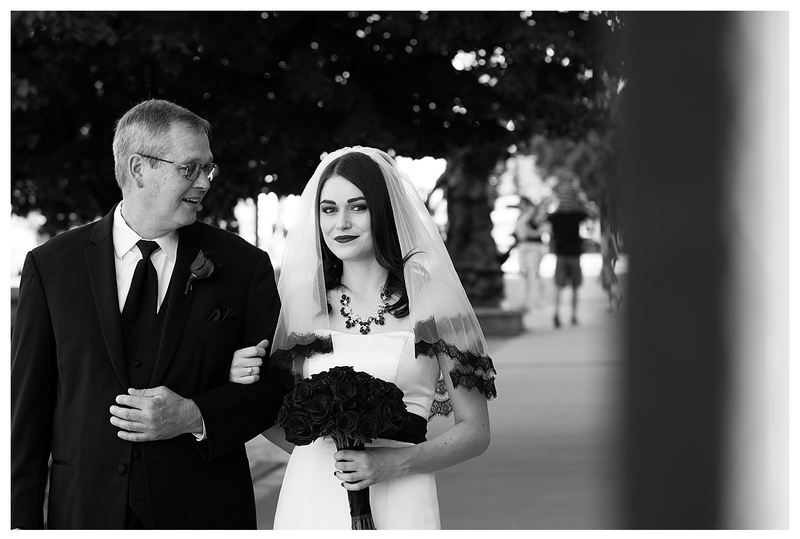 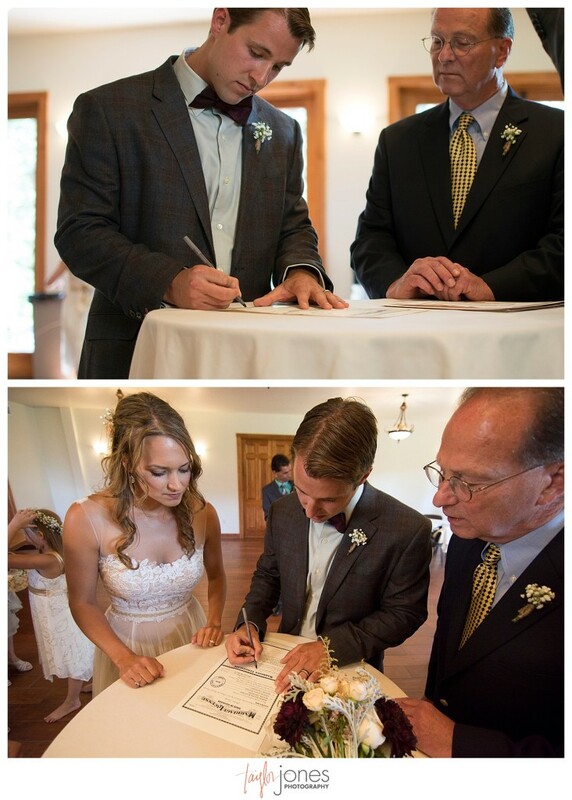 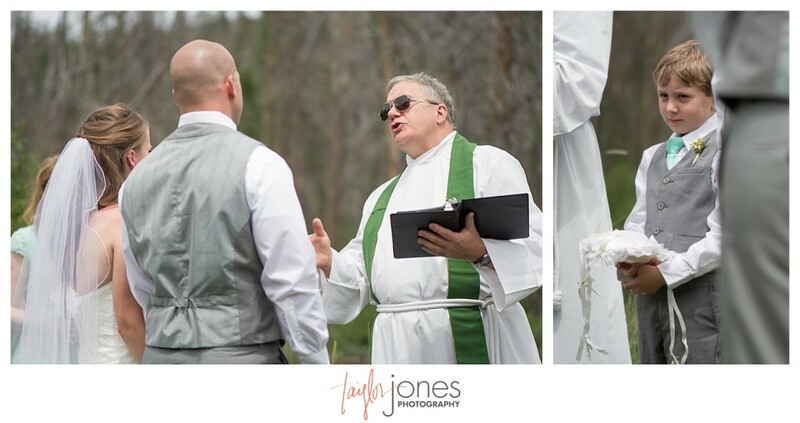 Alan’s dad was the officiant, and they worked with him to write the script. 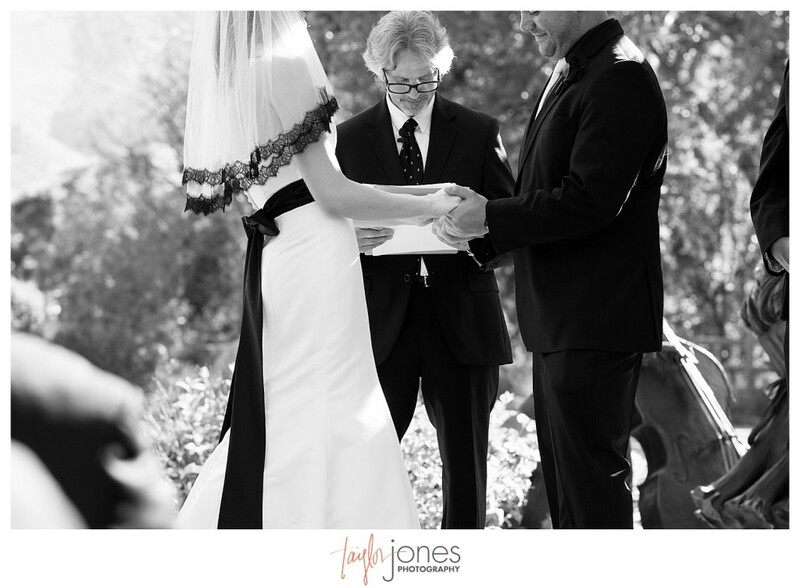 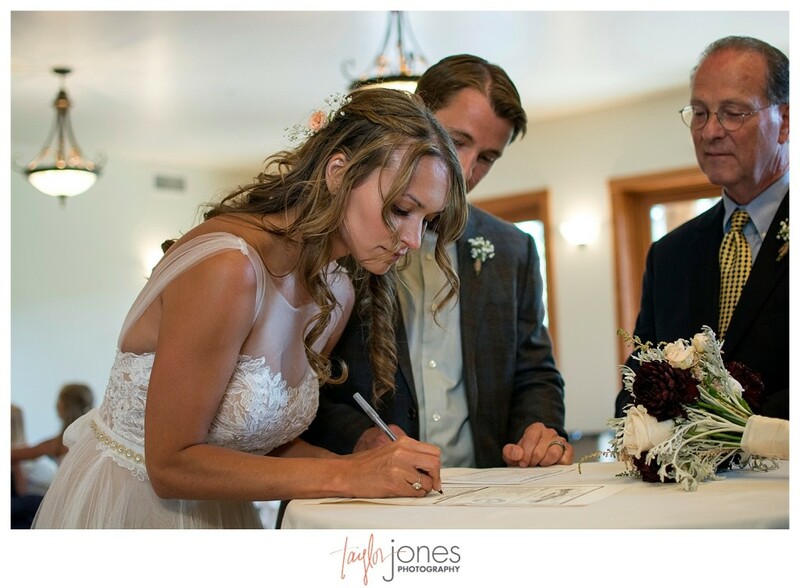 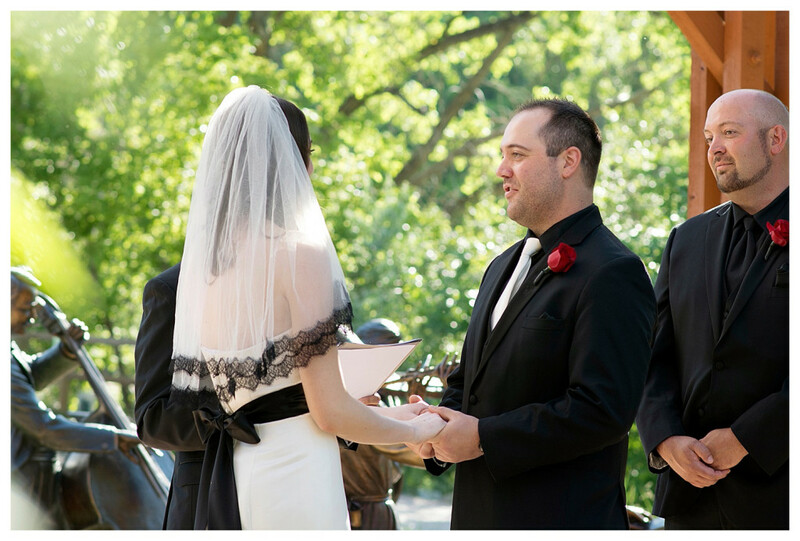 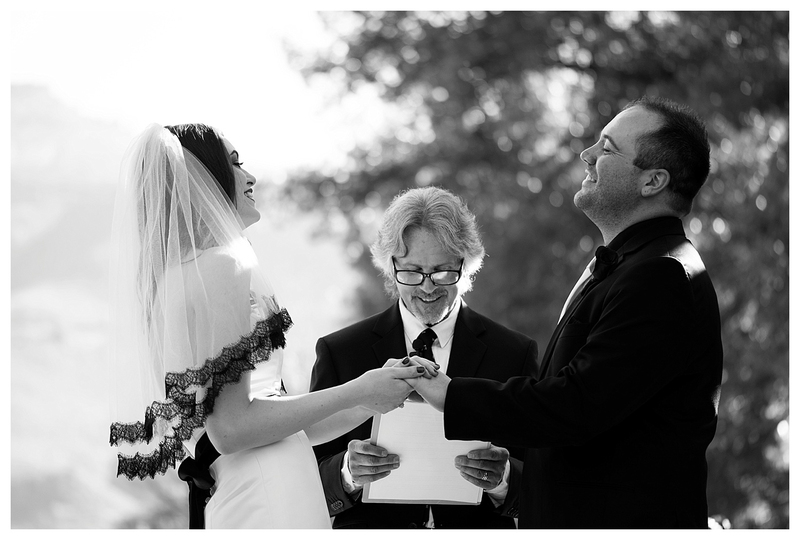 They each picked a poem/reading and wrote their own vows. 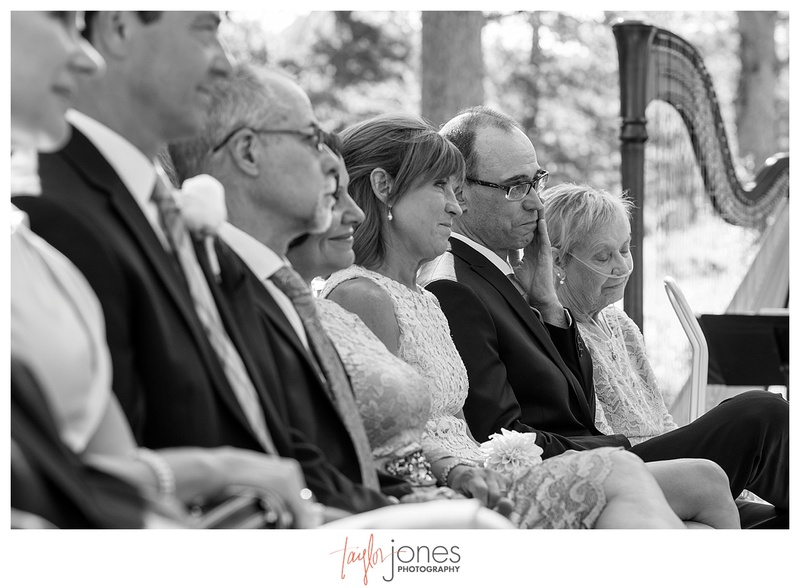 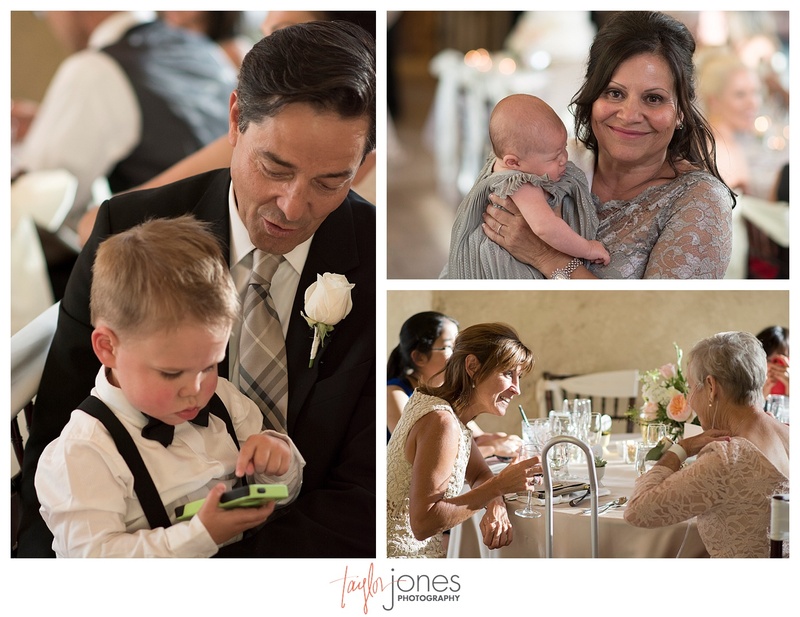 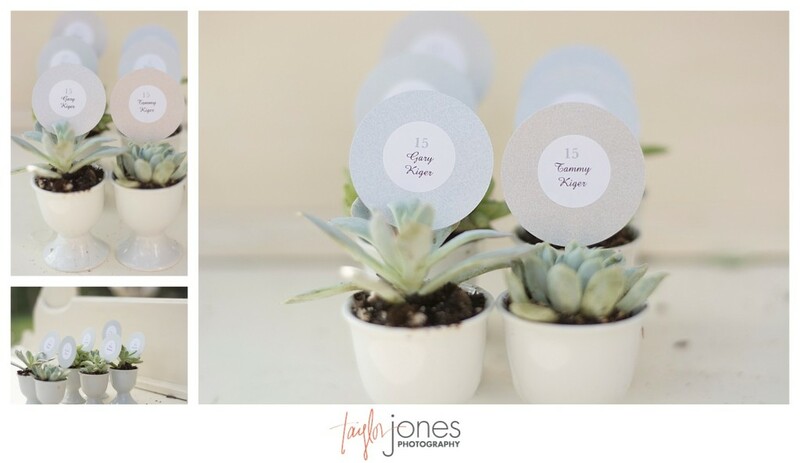 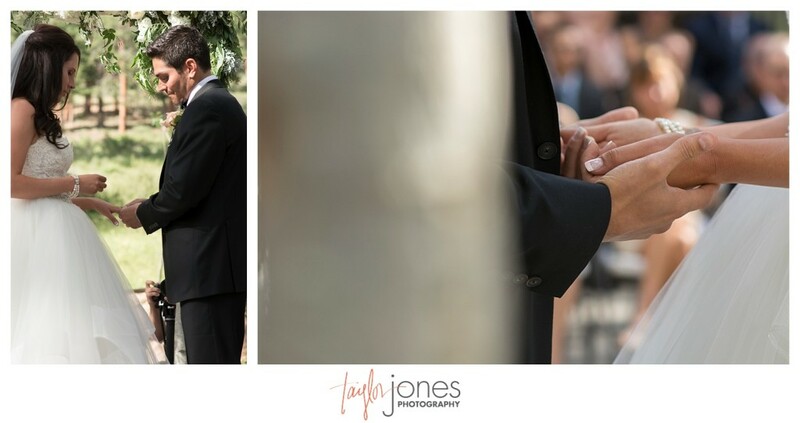 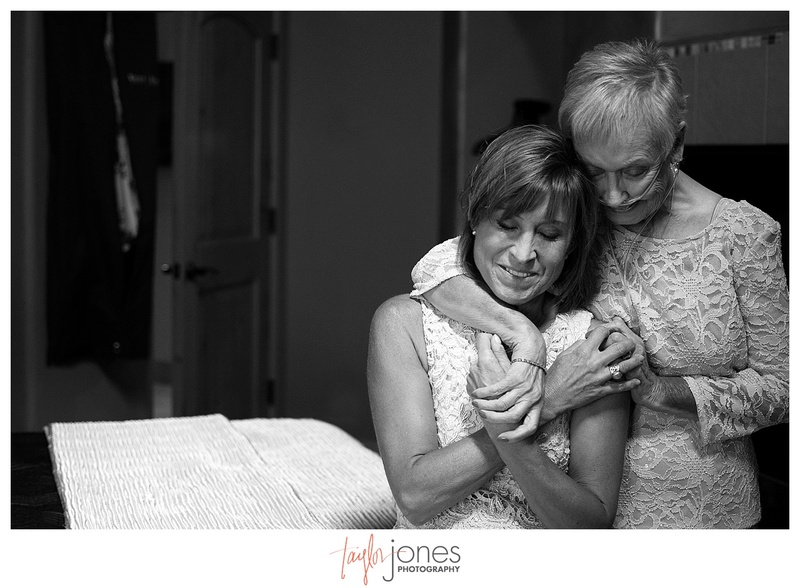 They were able to put their personal touch on the ceremony, and said that they felt like it truly reflected their relationship. 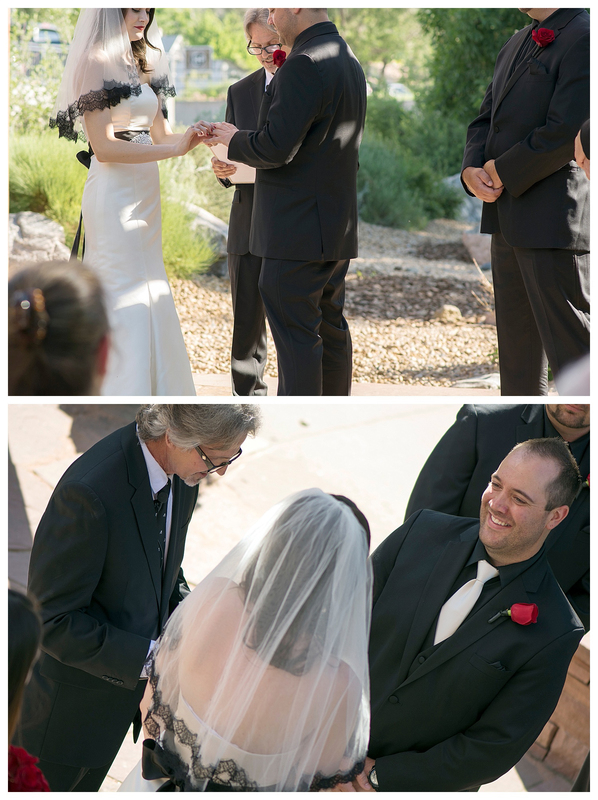 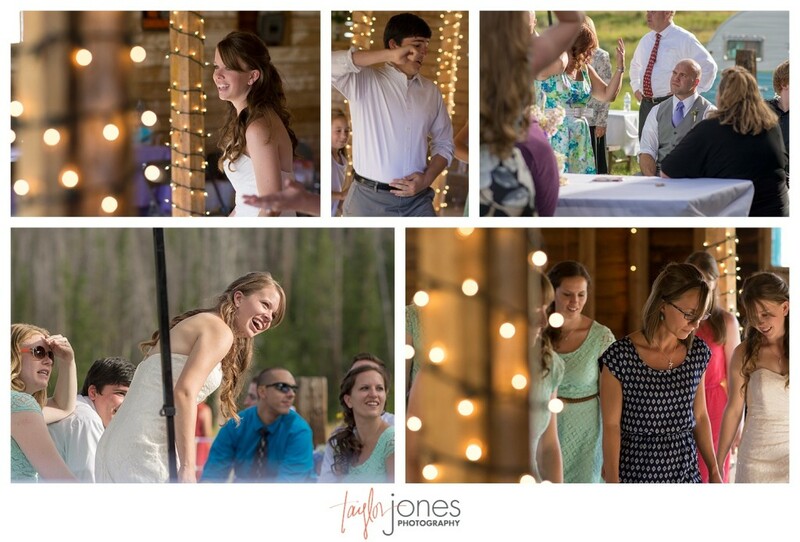 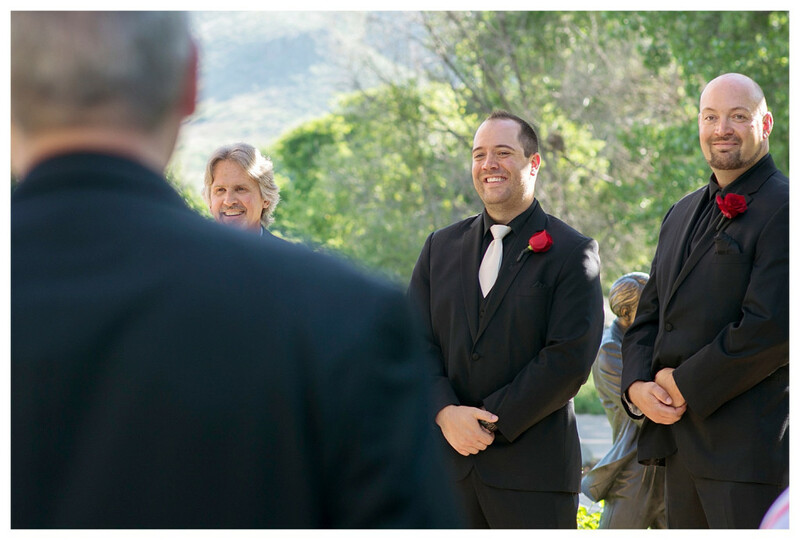 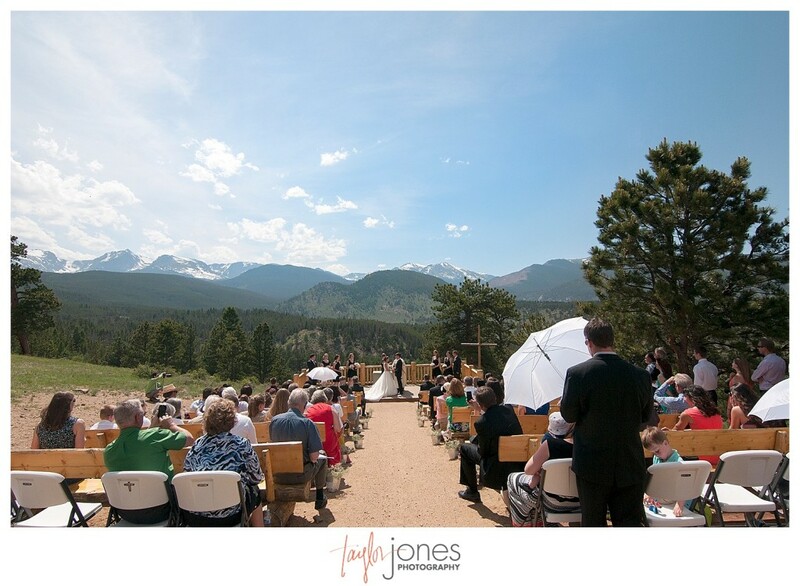 Also, the ceremony site had a breathtaking backdrop which added to heightened emotions, tears, and laughter! 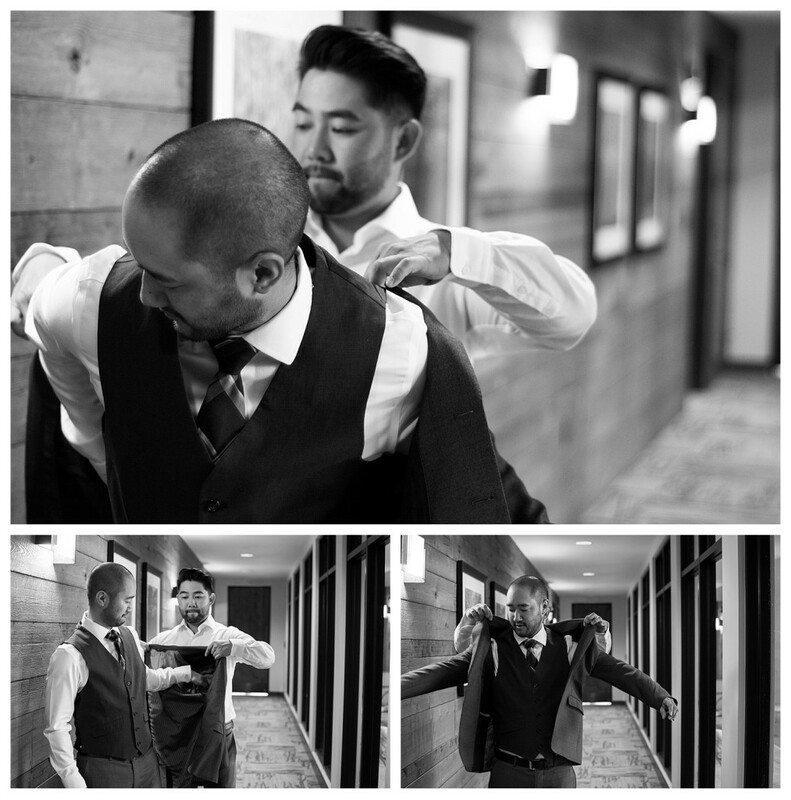 That and Alan are like two peas in a pod. 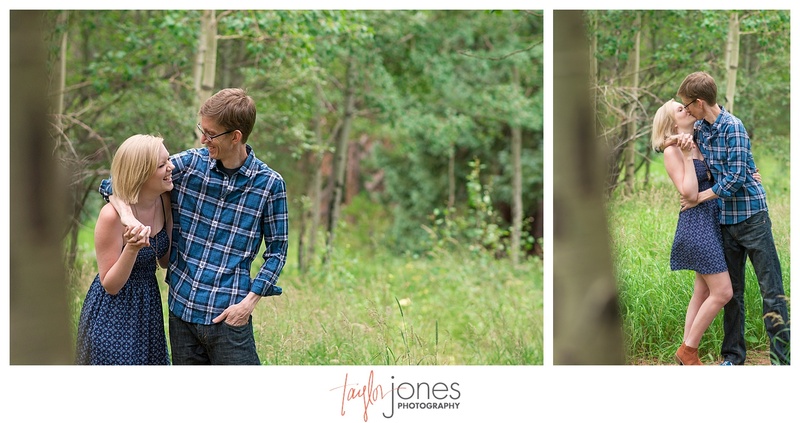 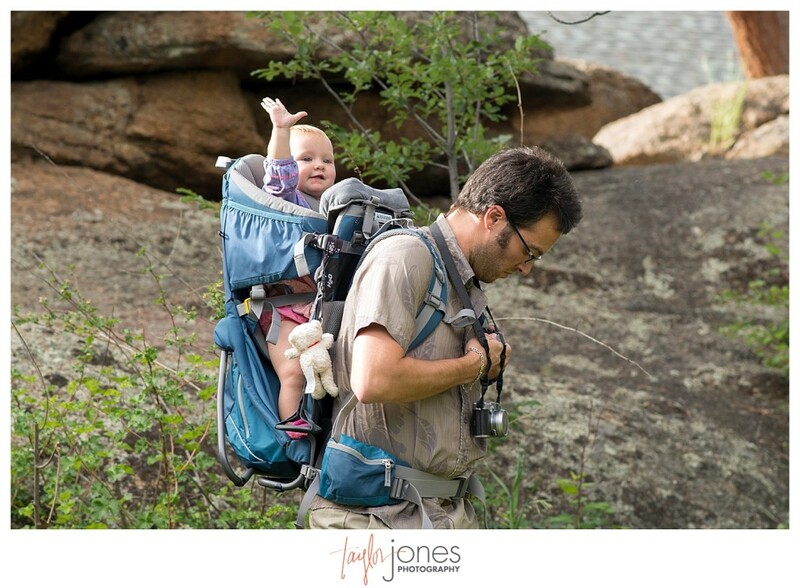 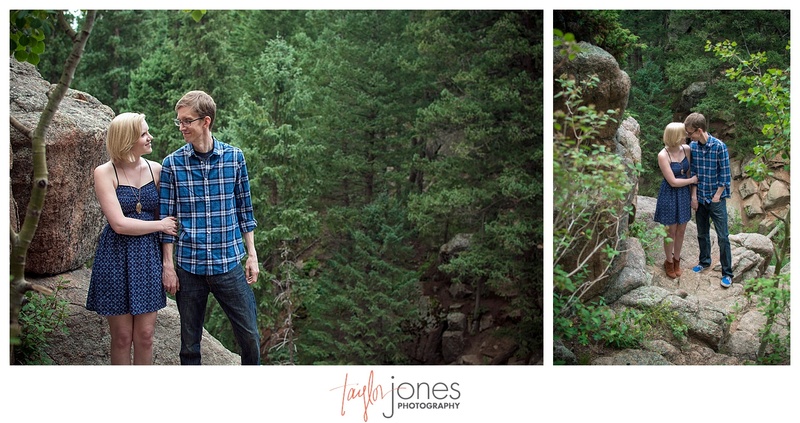 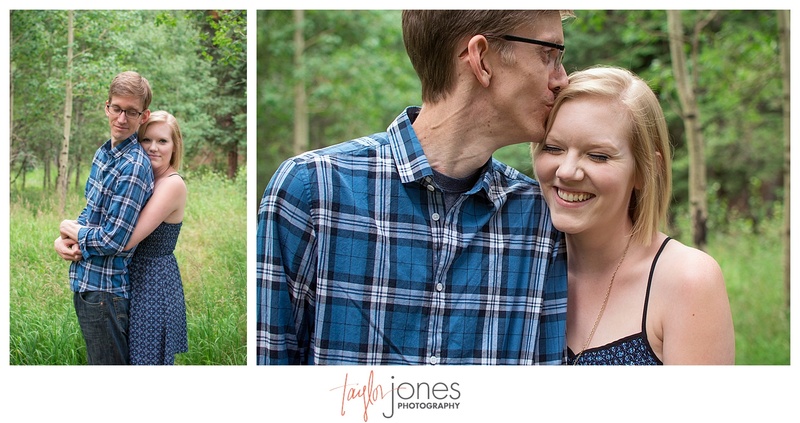 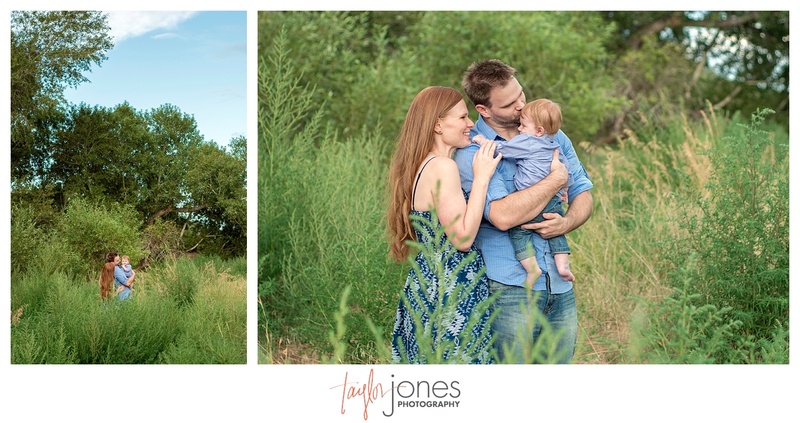 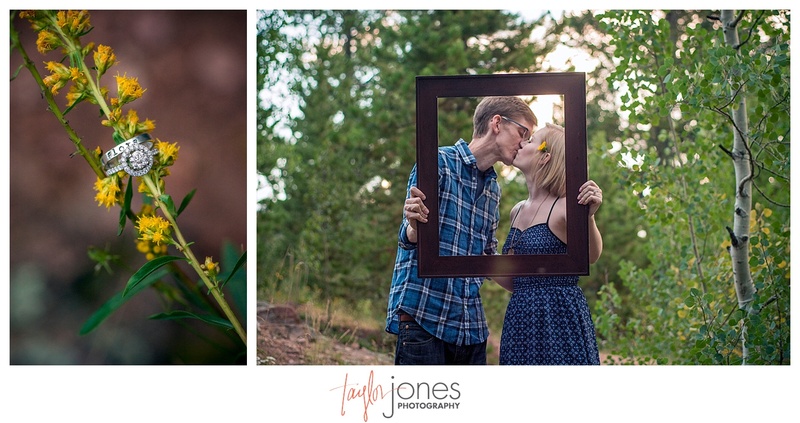 Their shared love of photography, hiking, and exploring the wonderful state of Colorado makes them one of the coolest couples around! 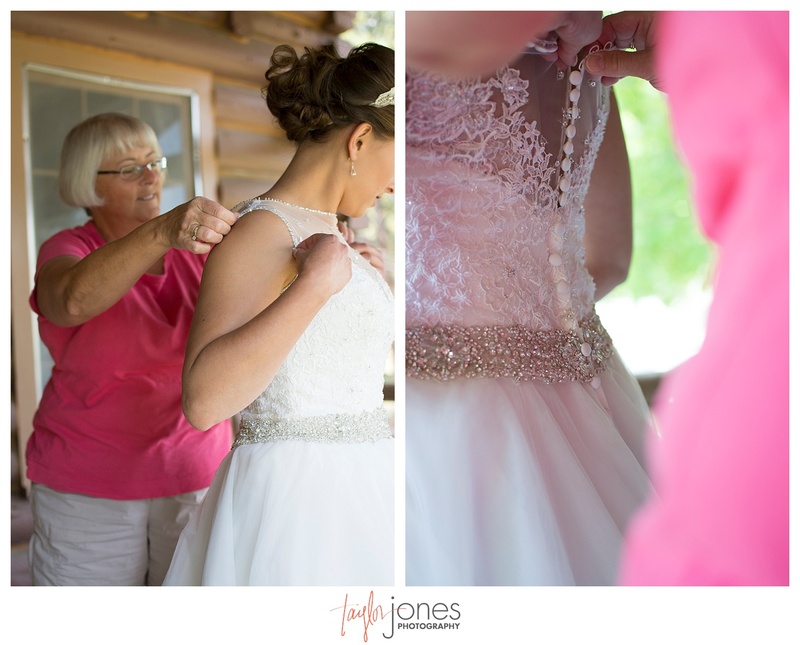 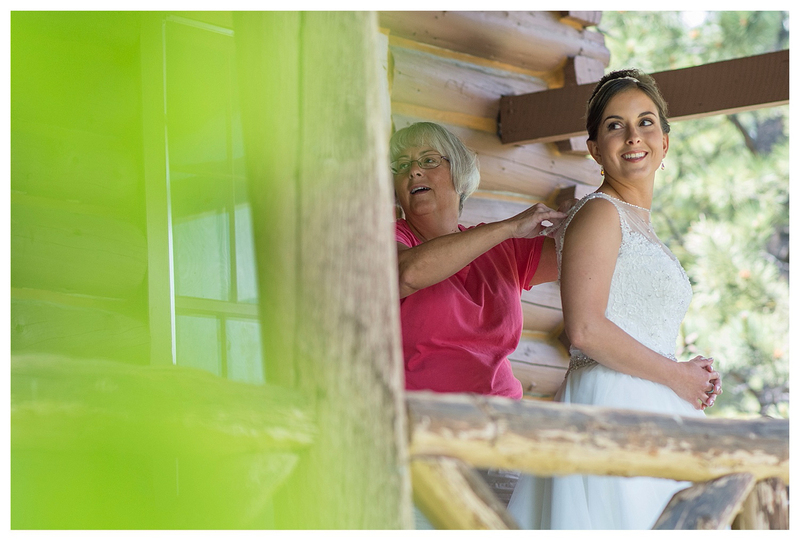 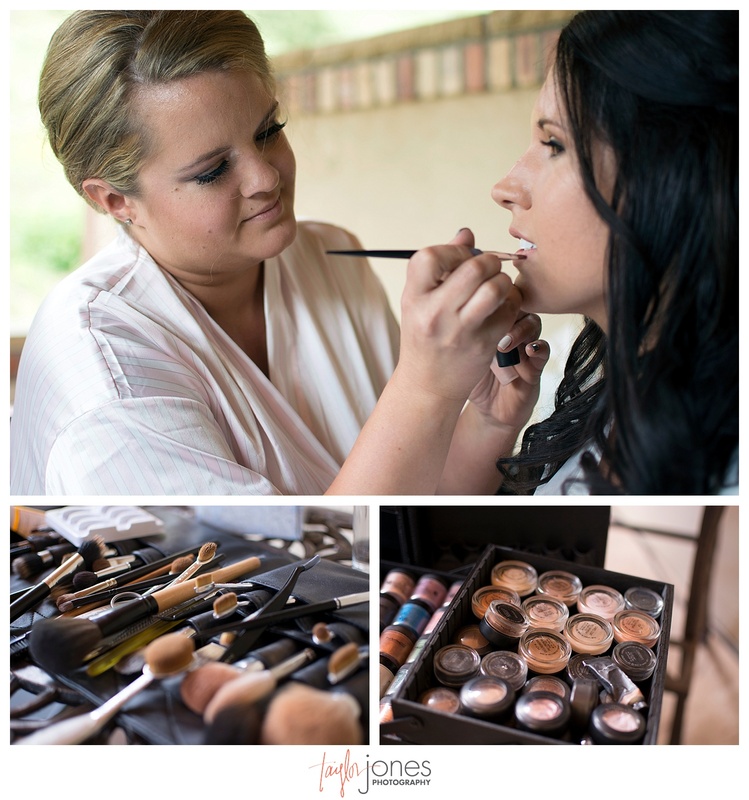 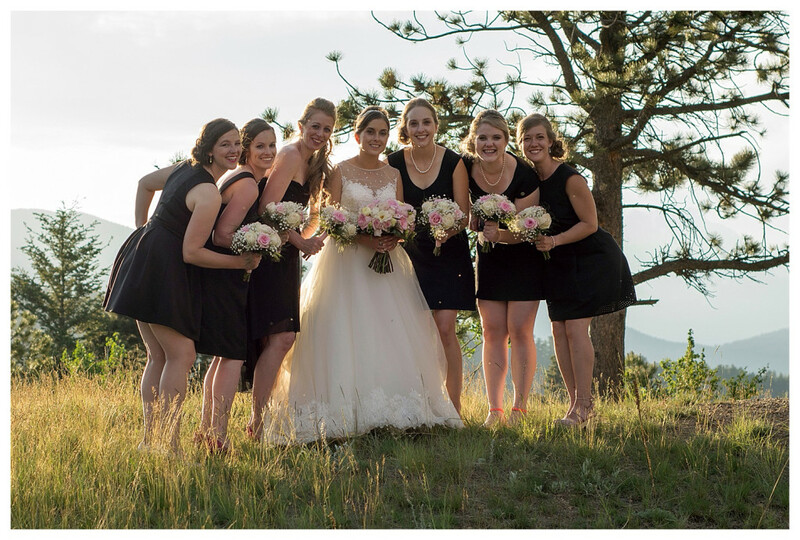 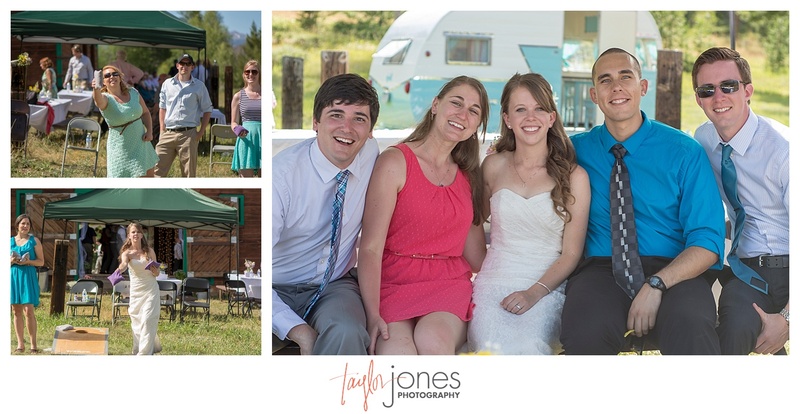 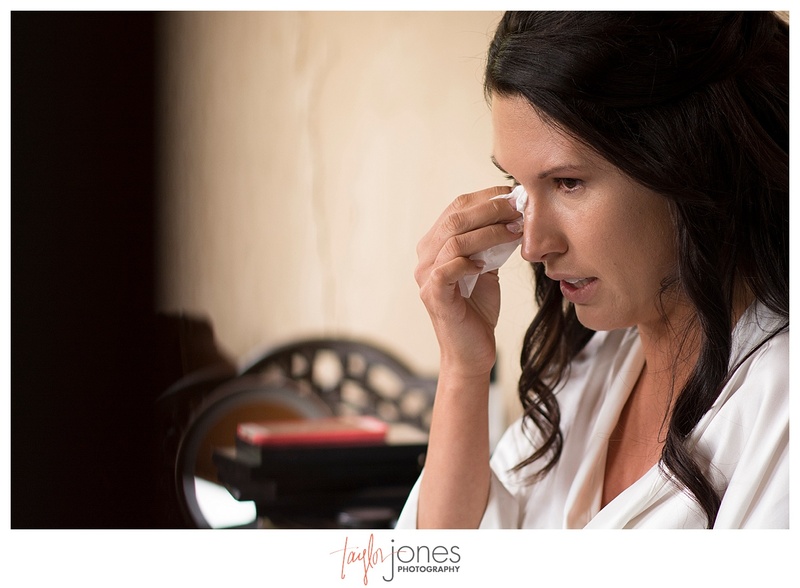 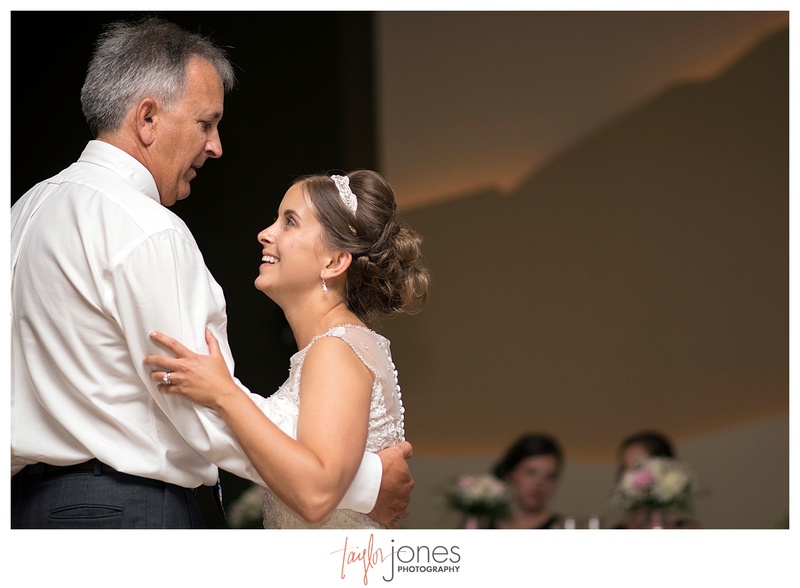 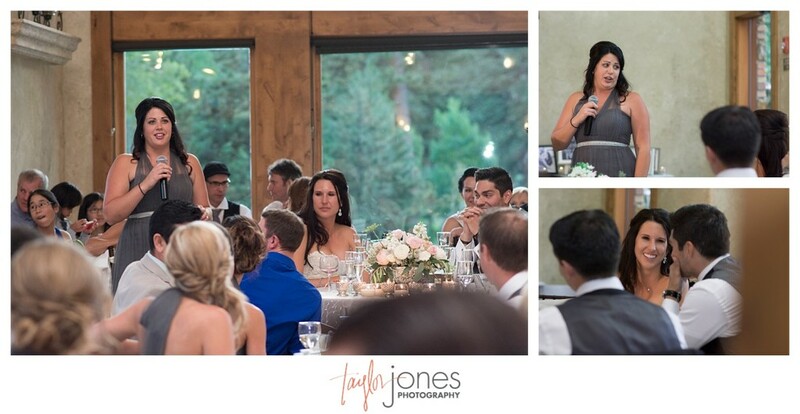 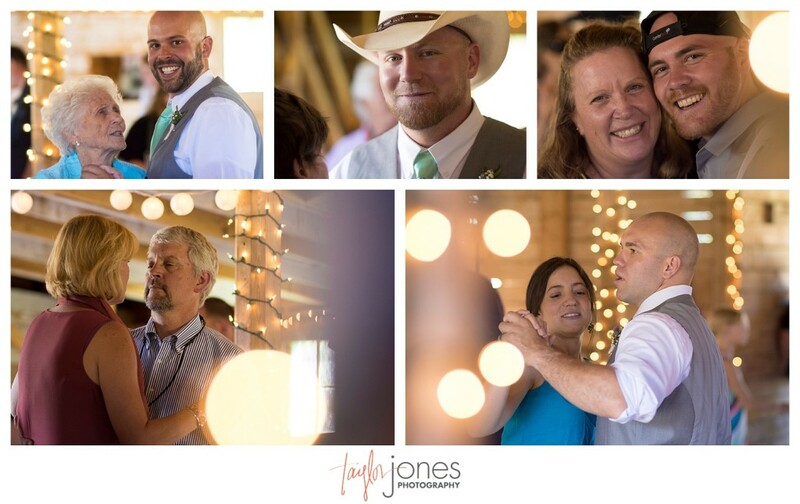 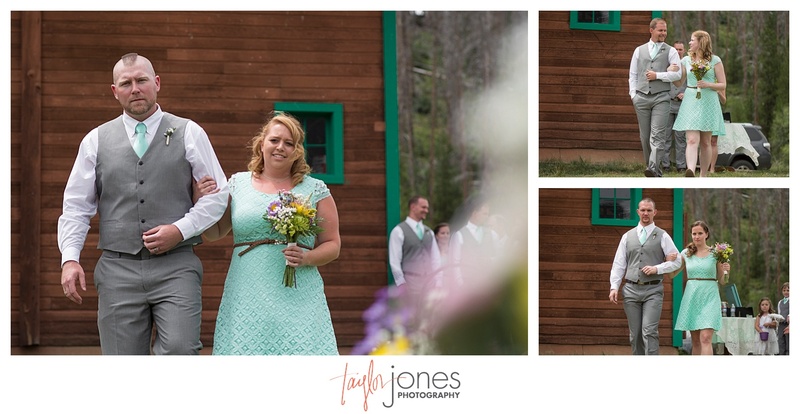 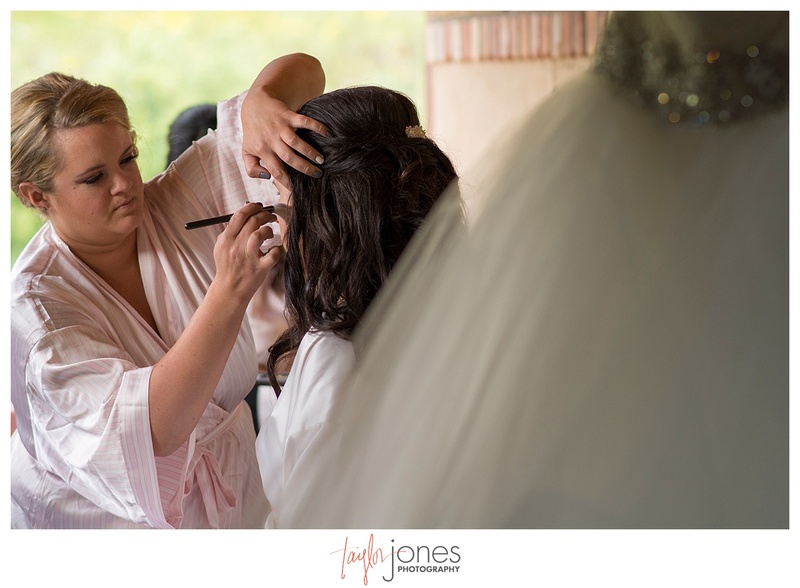 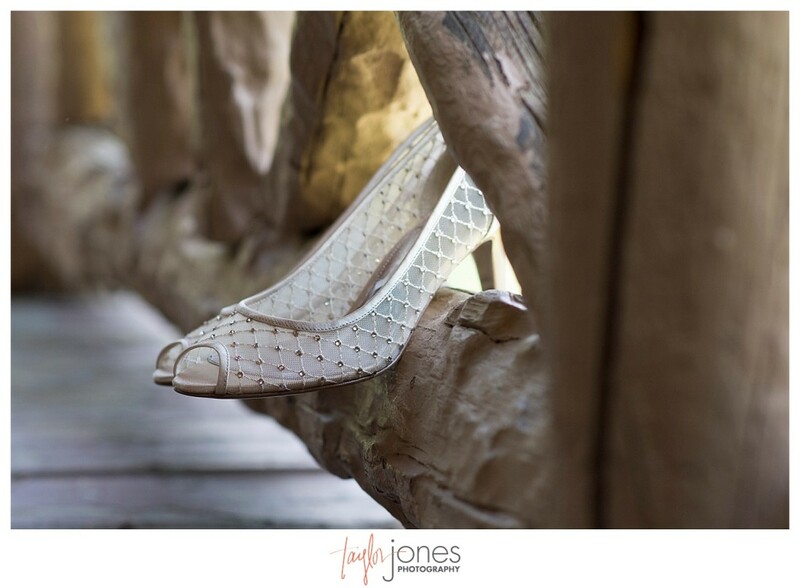 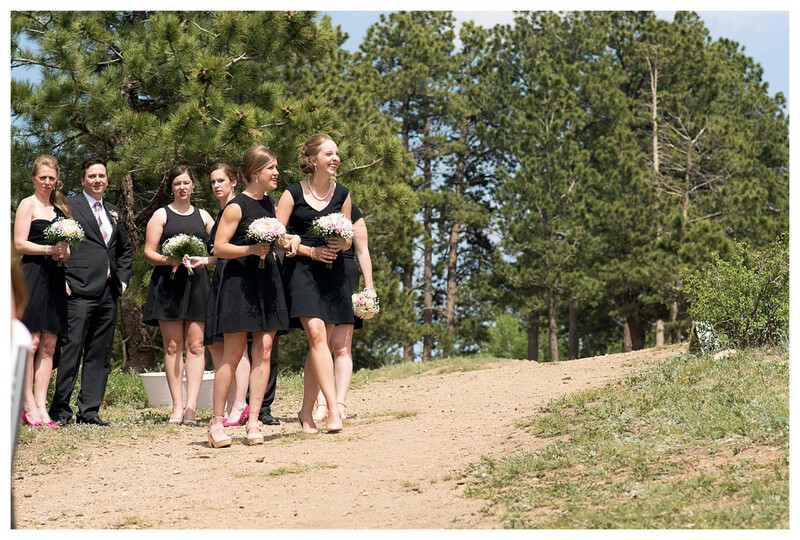 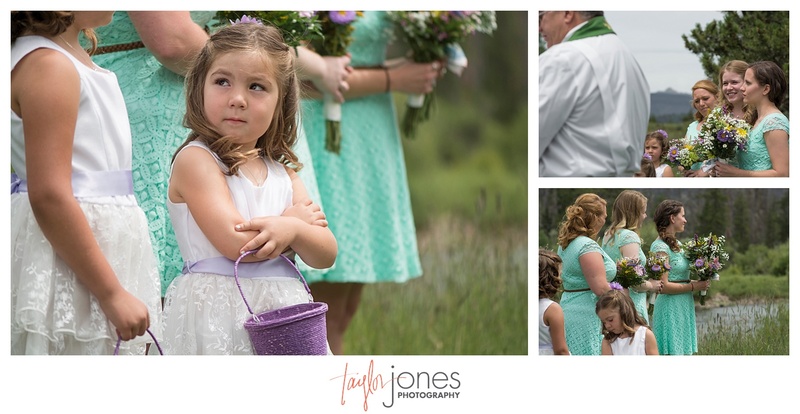 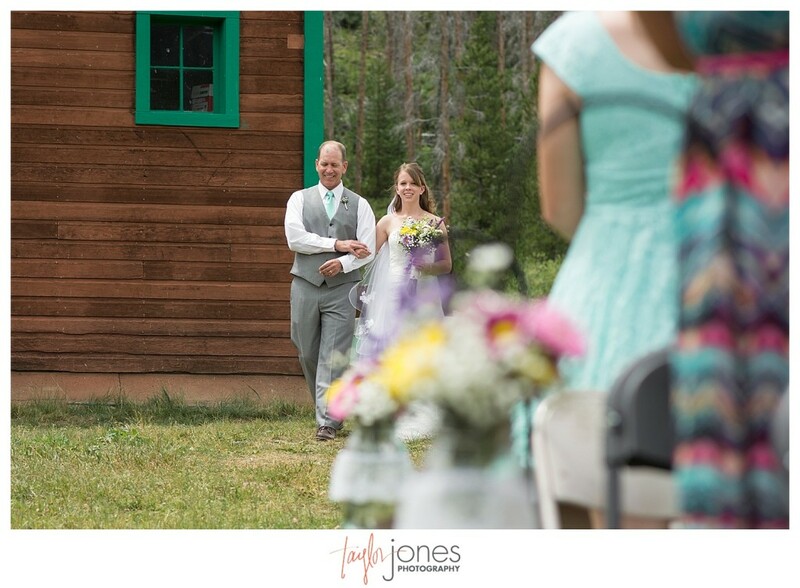 Their stunning mountain wedding was nothing short of amazing and was filled with lots of family, friends, and even a hike in heels to their first look spot overlooking the Elk Mountain Range. We so adore this couple and are so honored we got to spend the day with you! 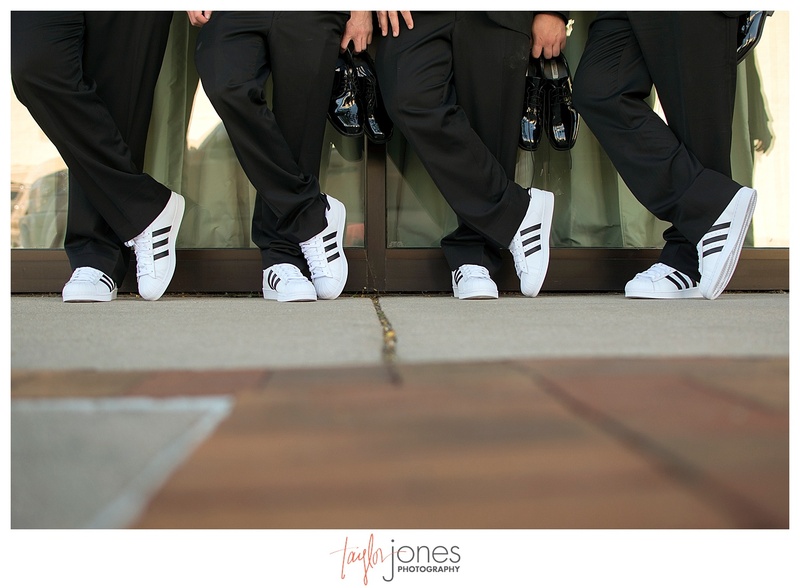 Golden Hotel with 4 pairs of white and black Adidas kicks, a surprise to Laura! 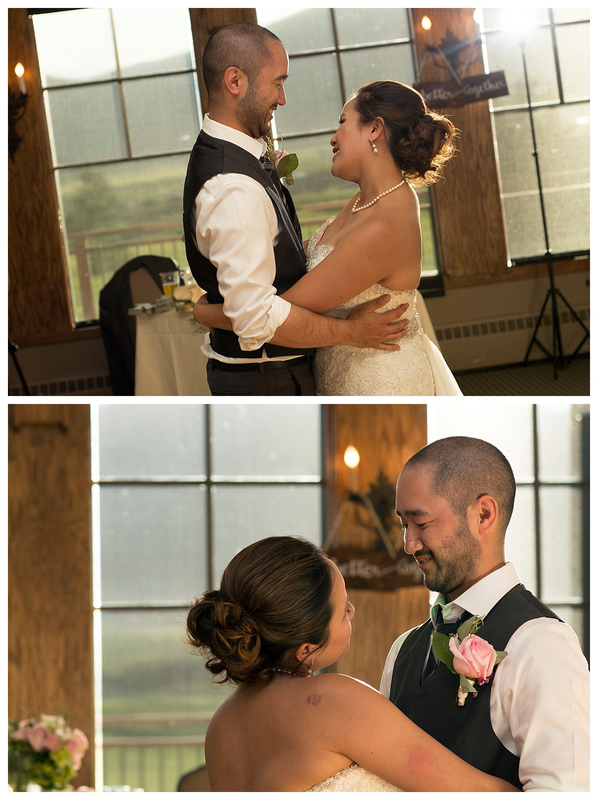 Sometimes you meet couples that you just click with. 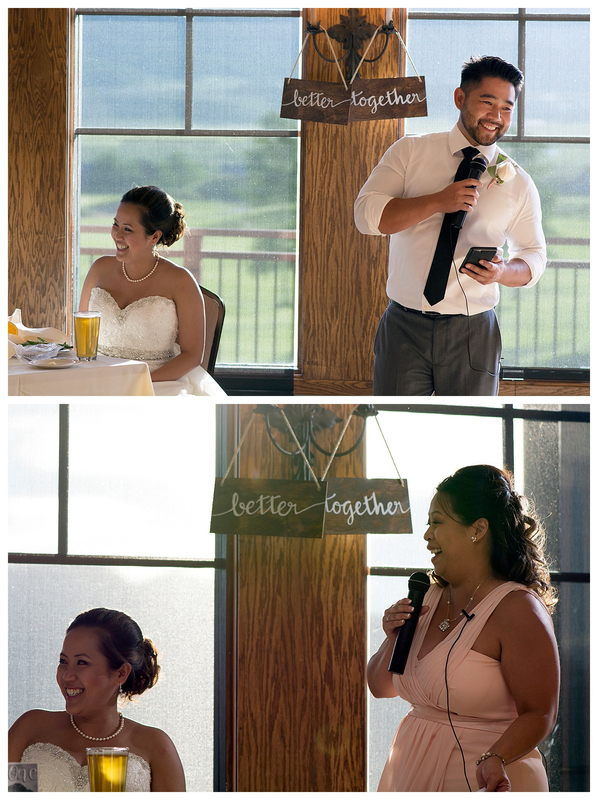 Aaron and Michelle were one of those couples right off the bat! 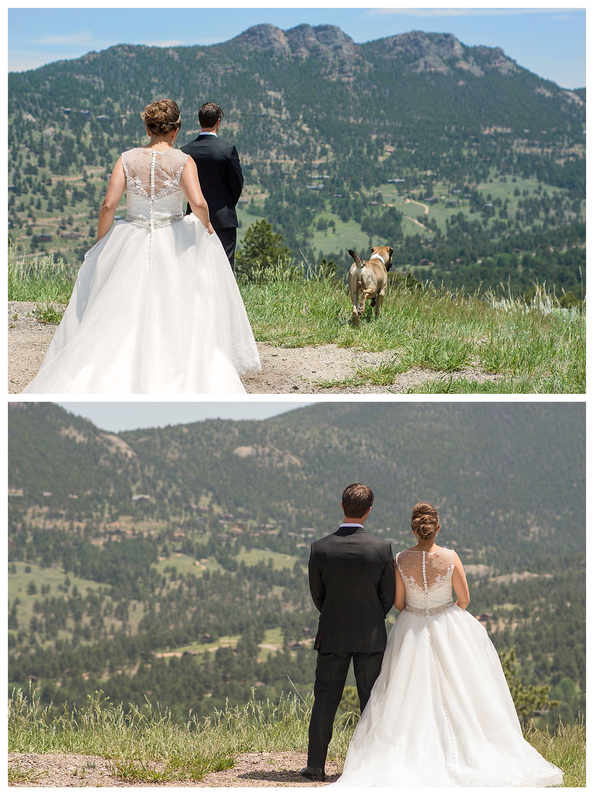 Our shared love of our dogs, the mountains, and hiking immediately made them a couple we totally clicked with from our first meeting. 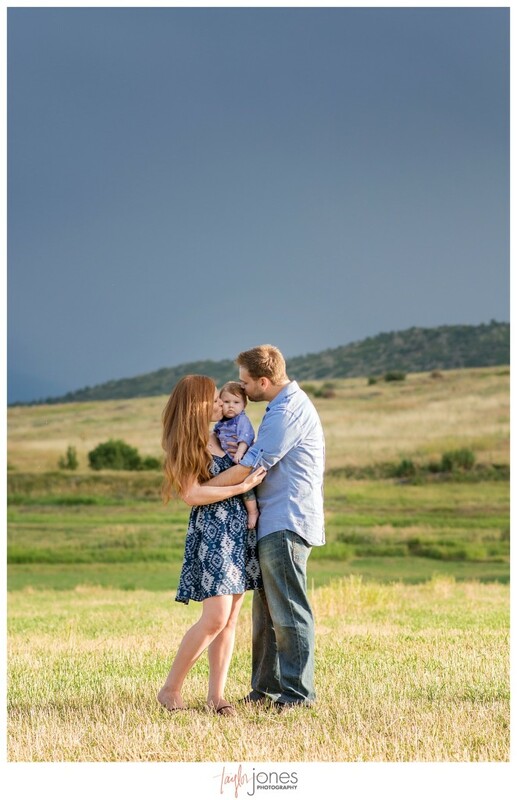 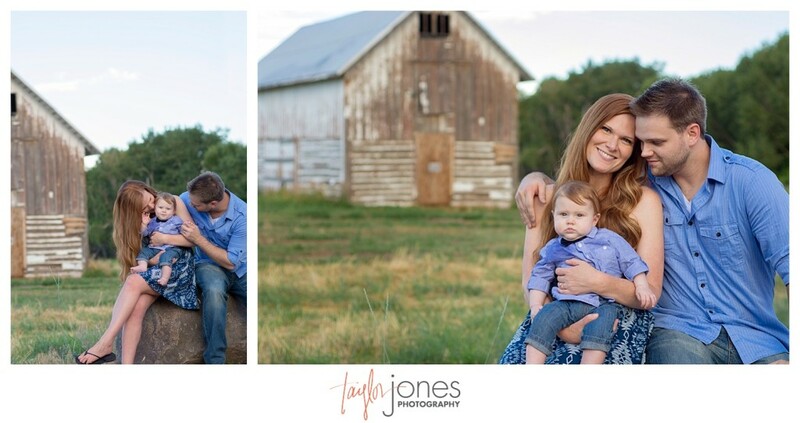 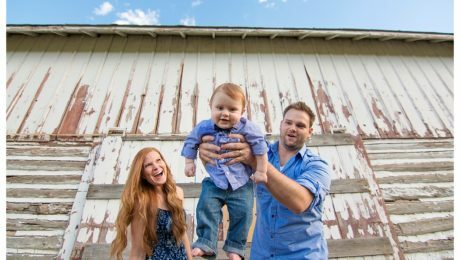 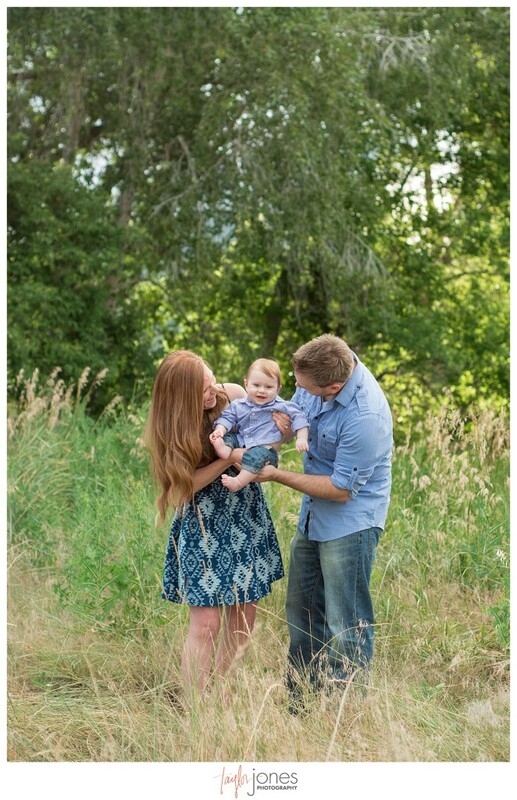 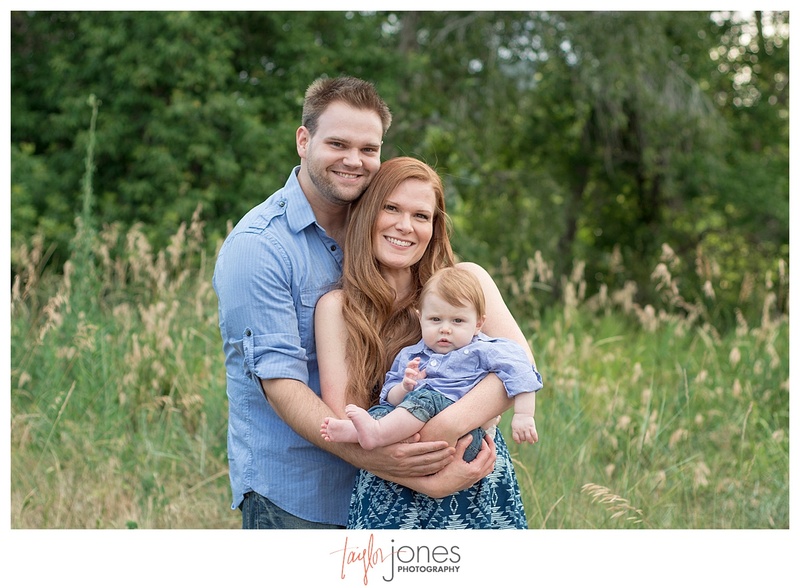 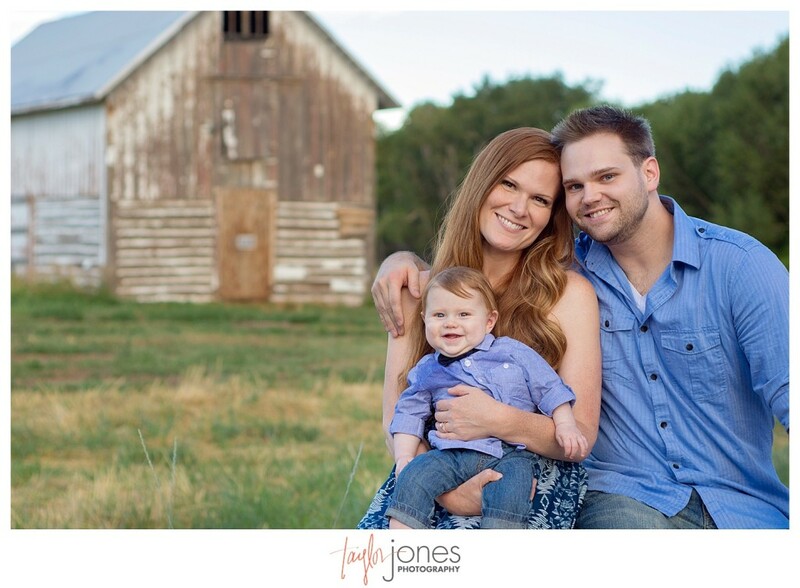 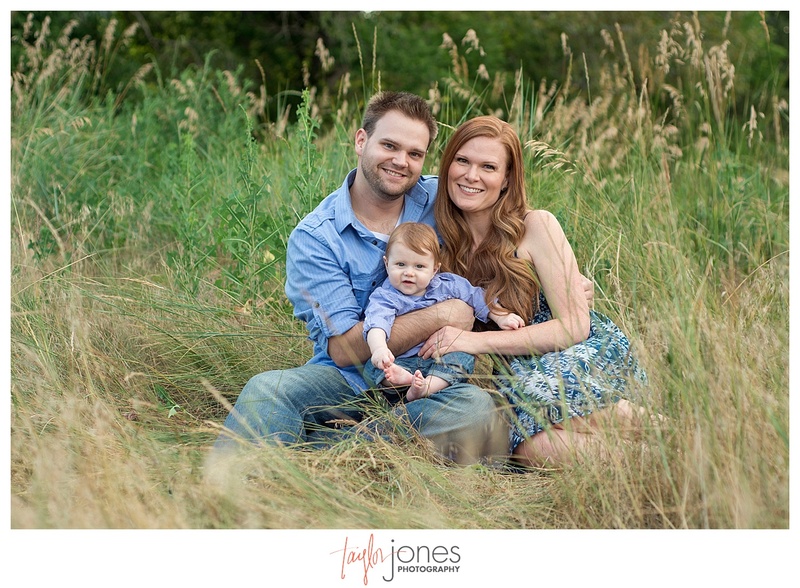 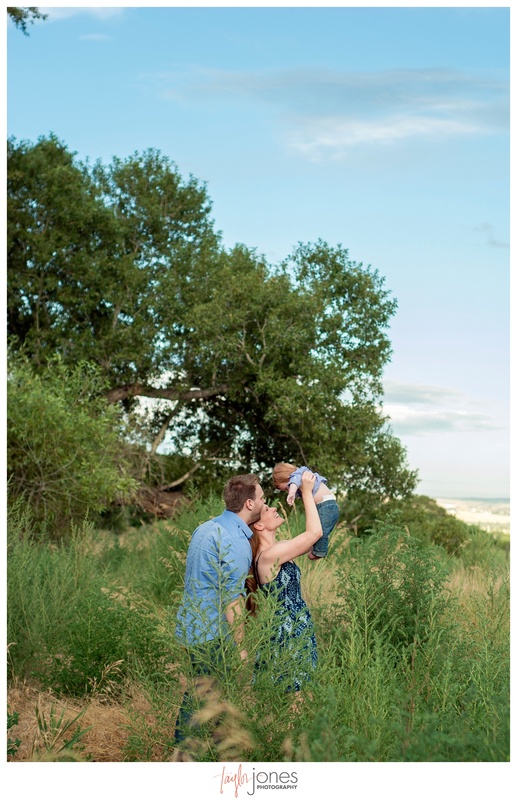 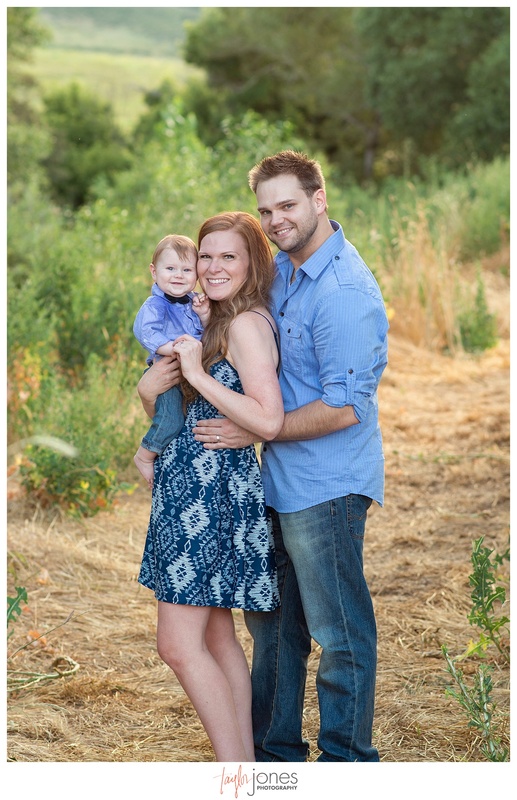 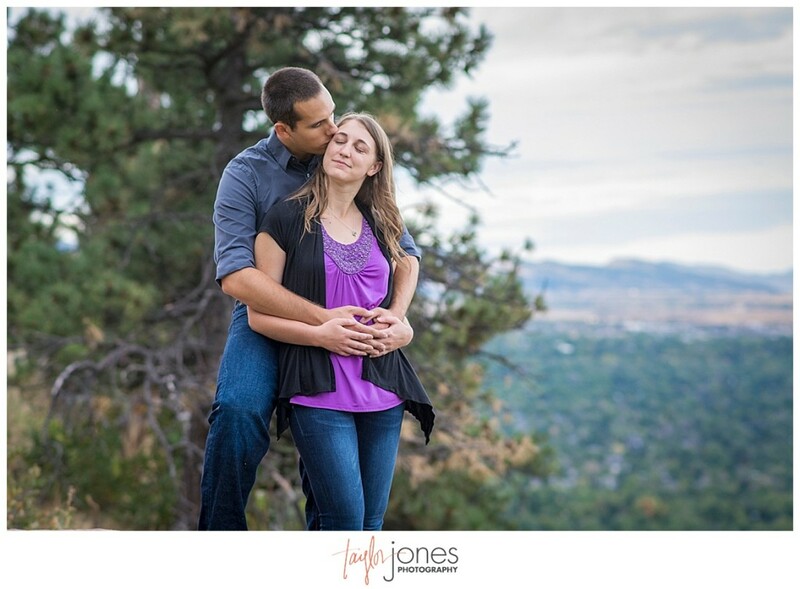 Being from Washington, Michelle and Aaron moved to Colorado and headed straight to the mountains, being just a few miles from our home in the foothills. 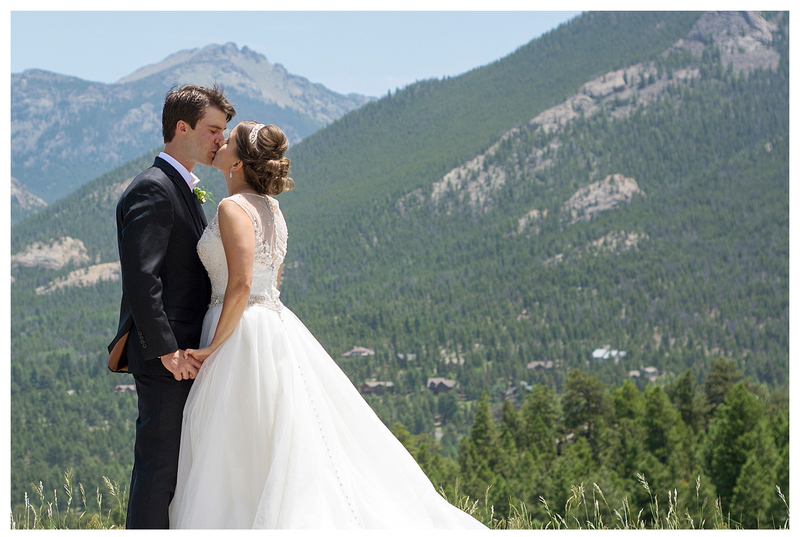 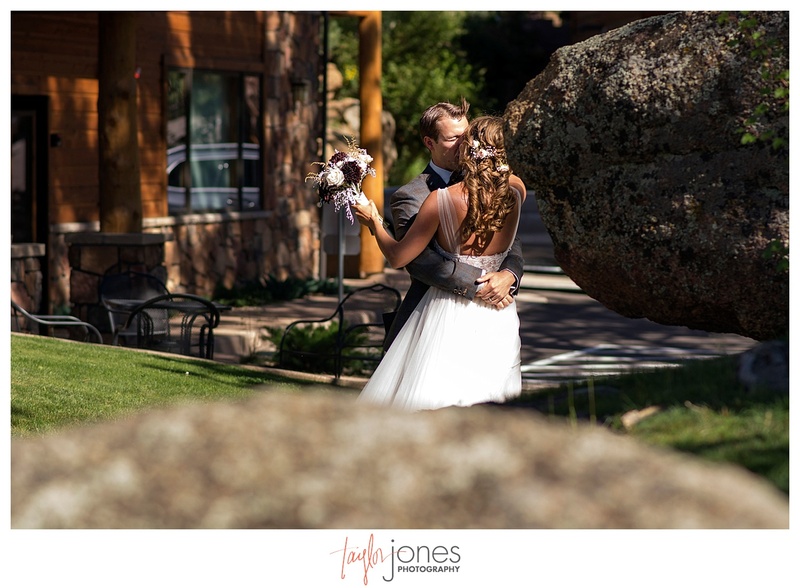 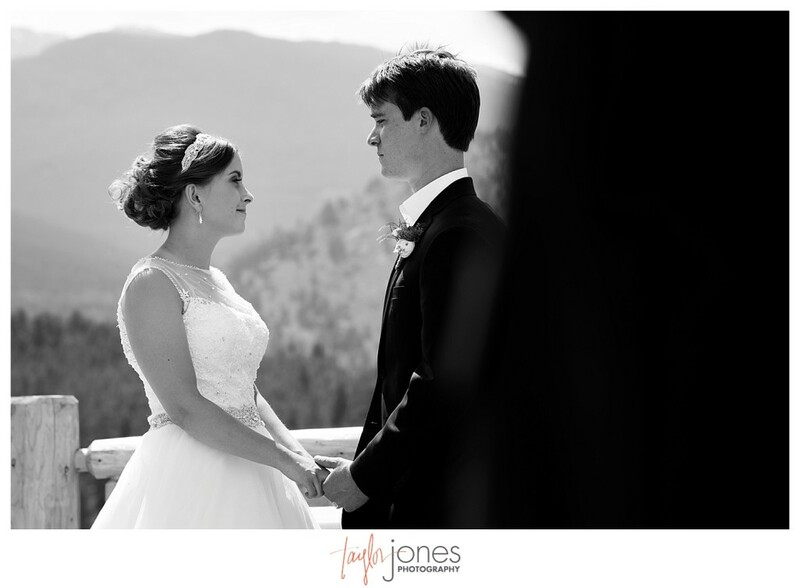 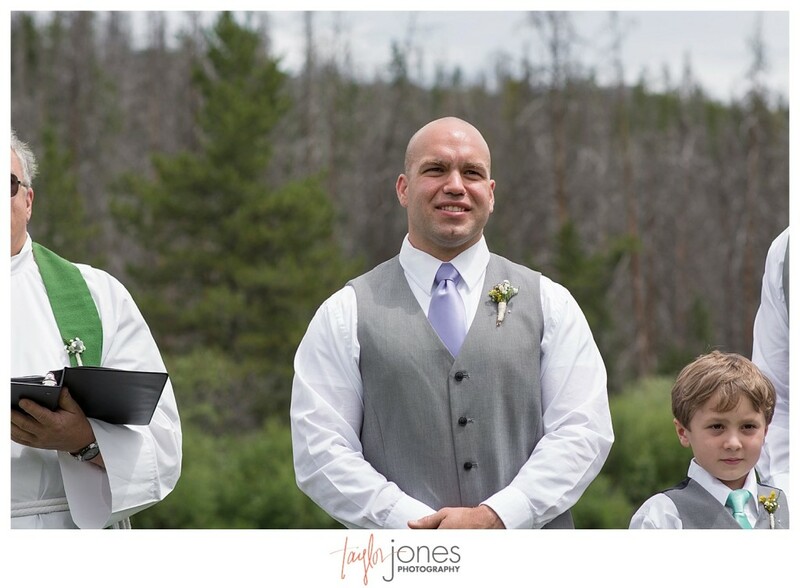 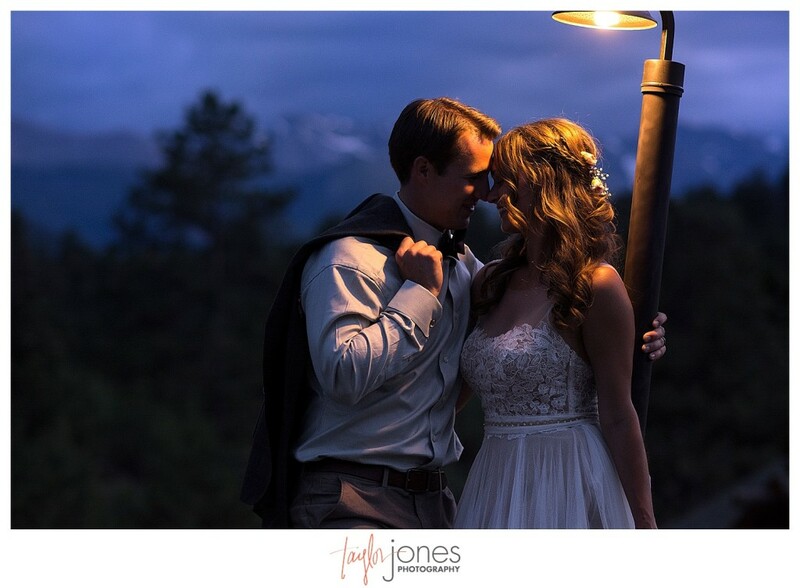 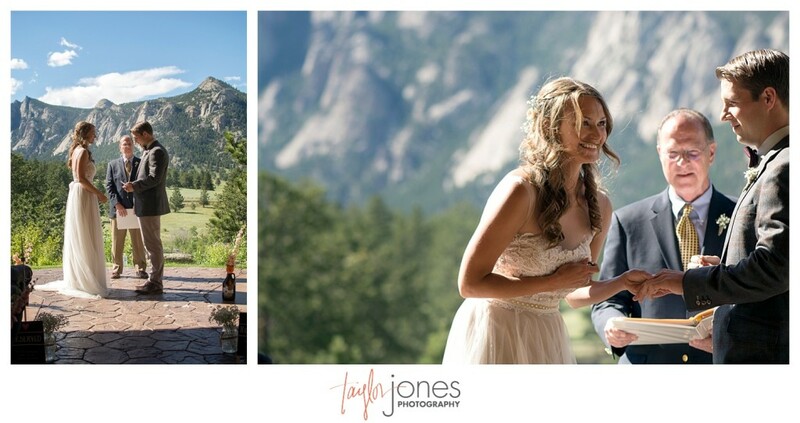 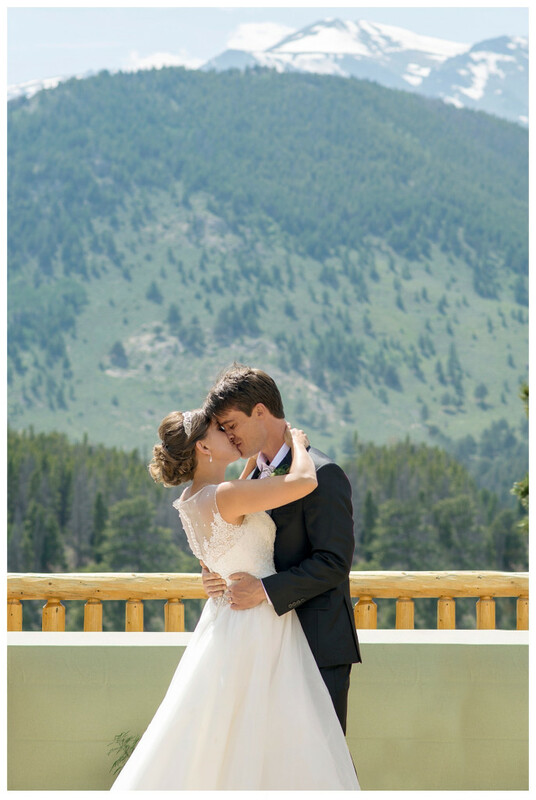 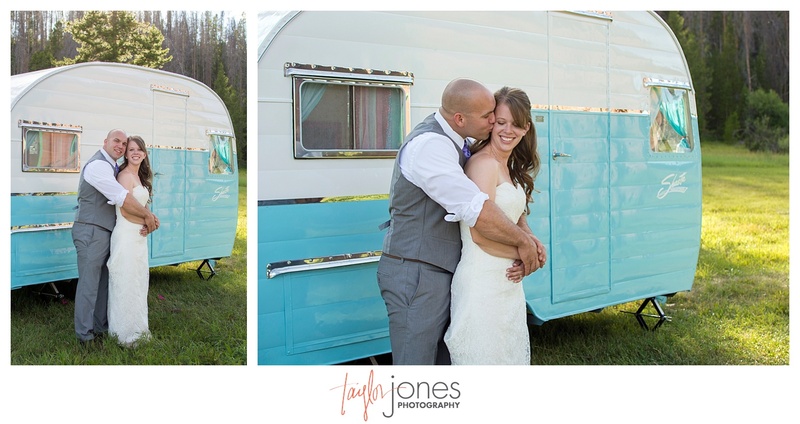 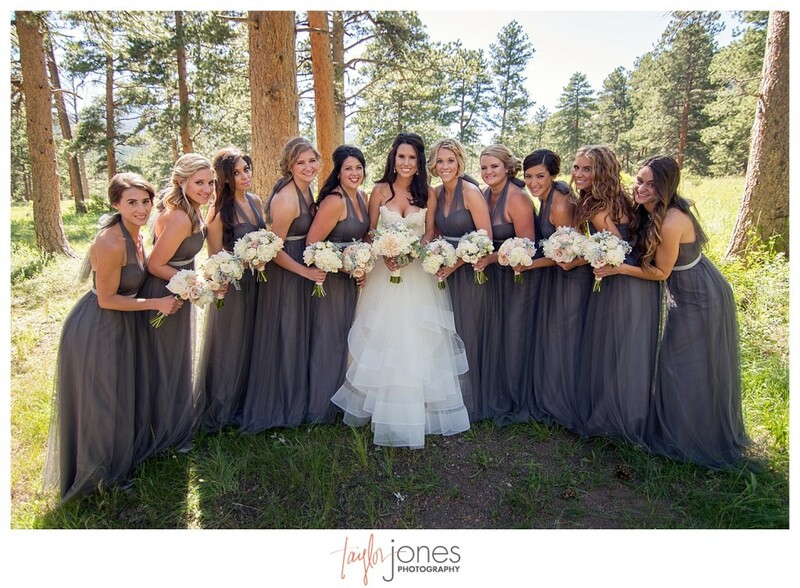 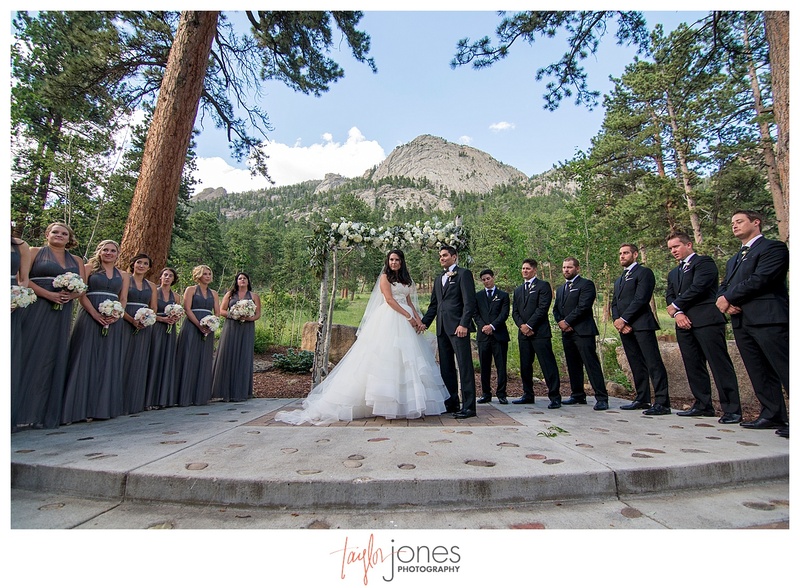 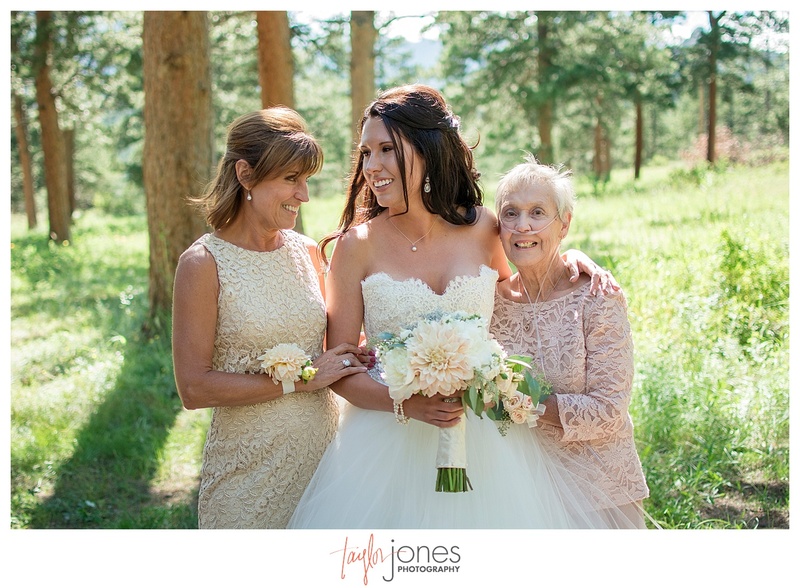 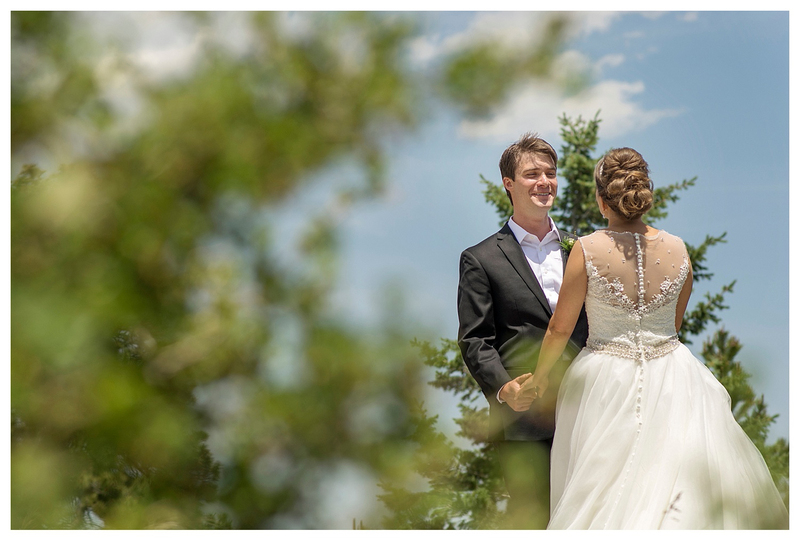 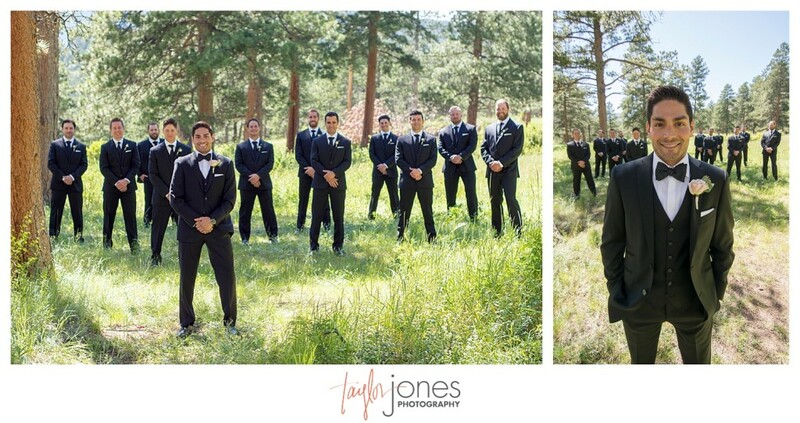 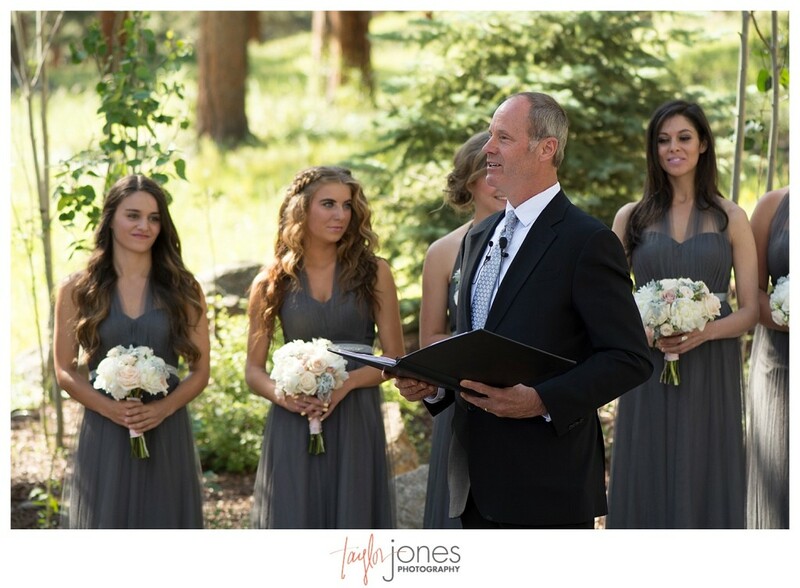 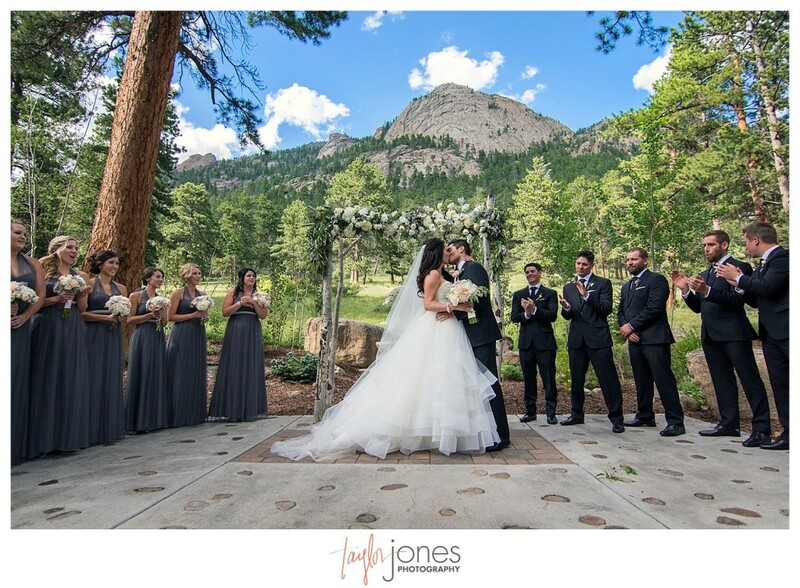 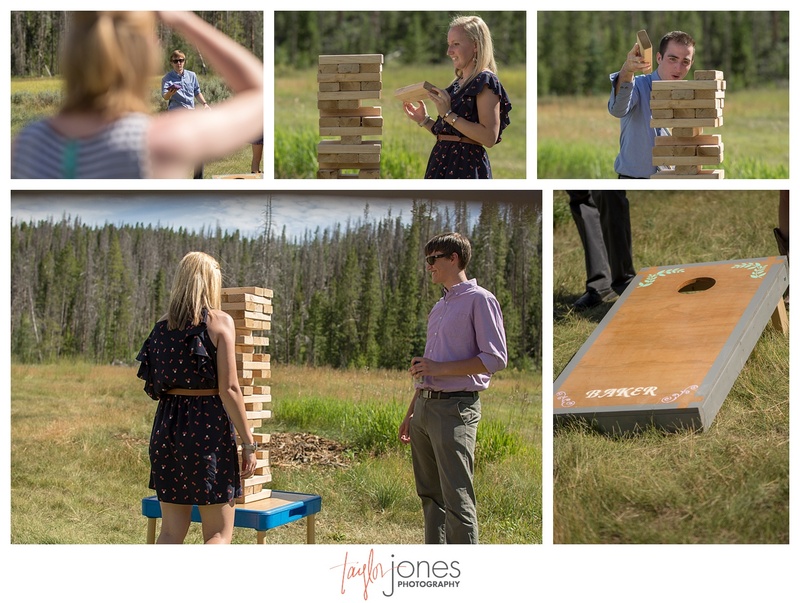 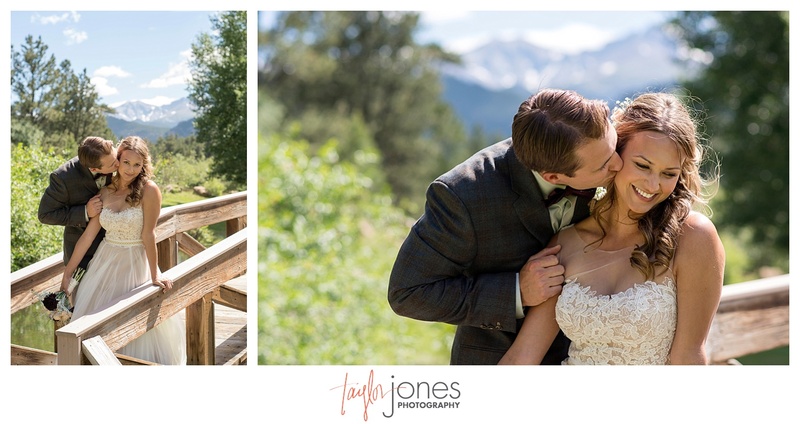 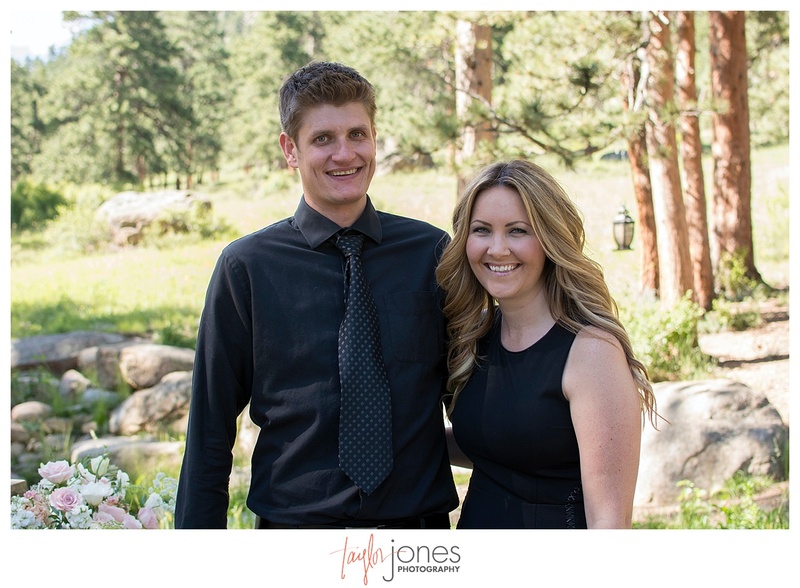 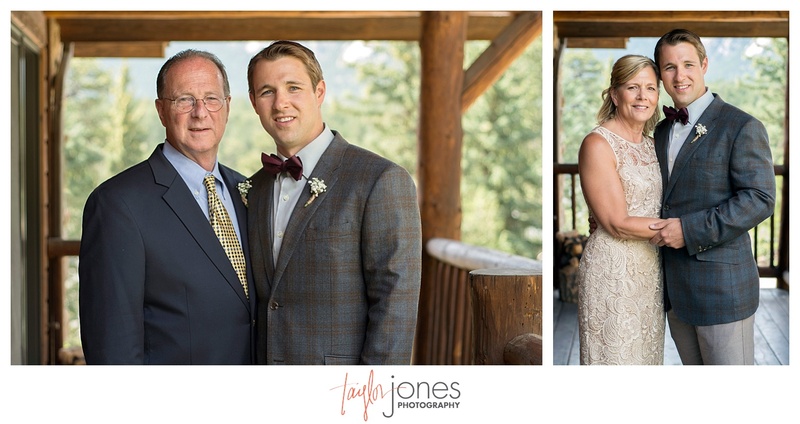 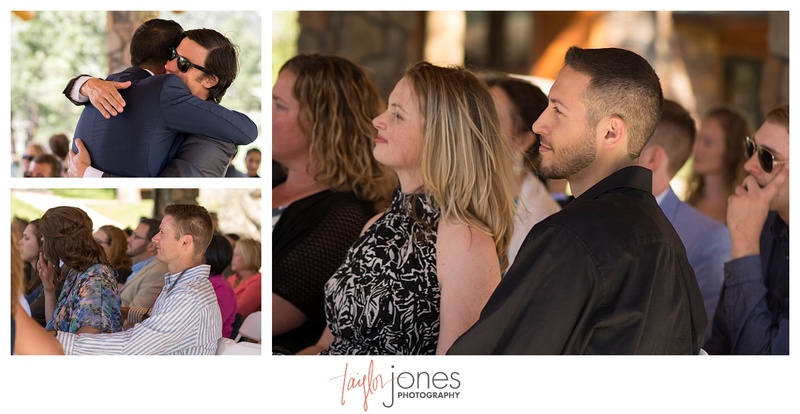 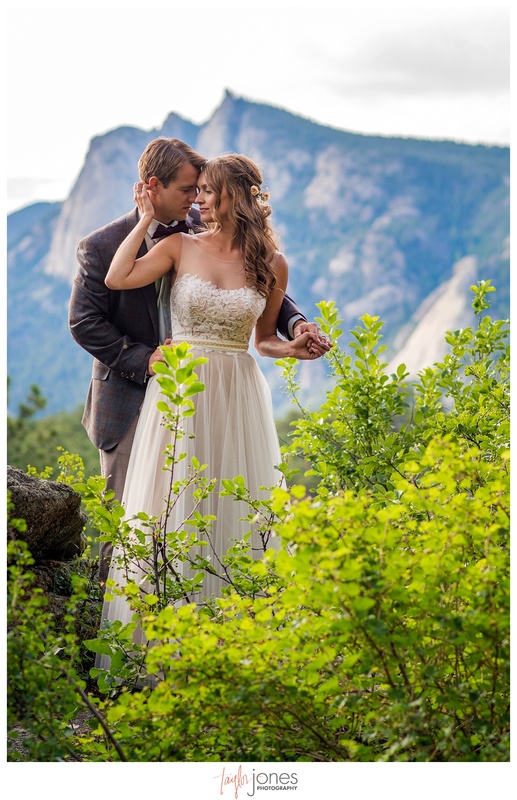 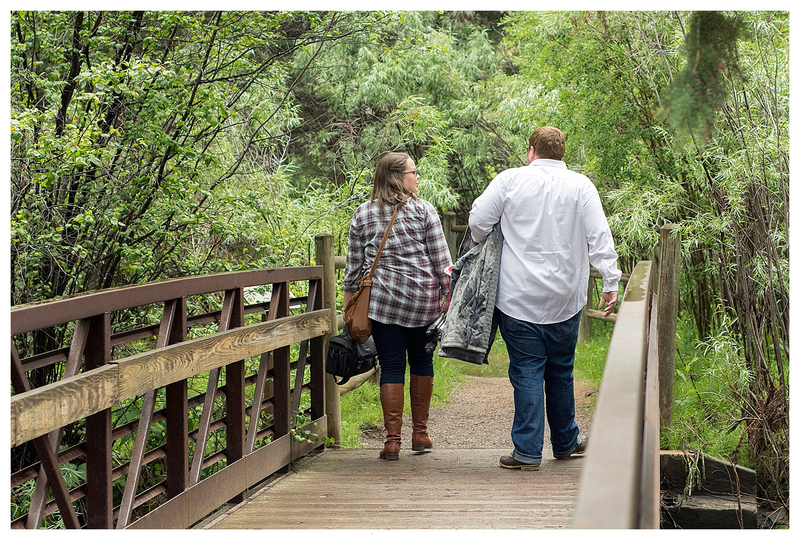 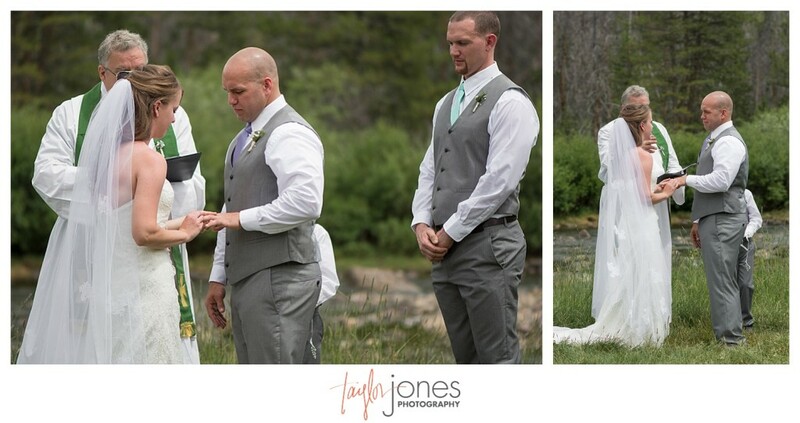 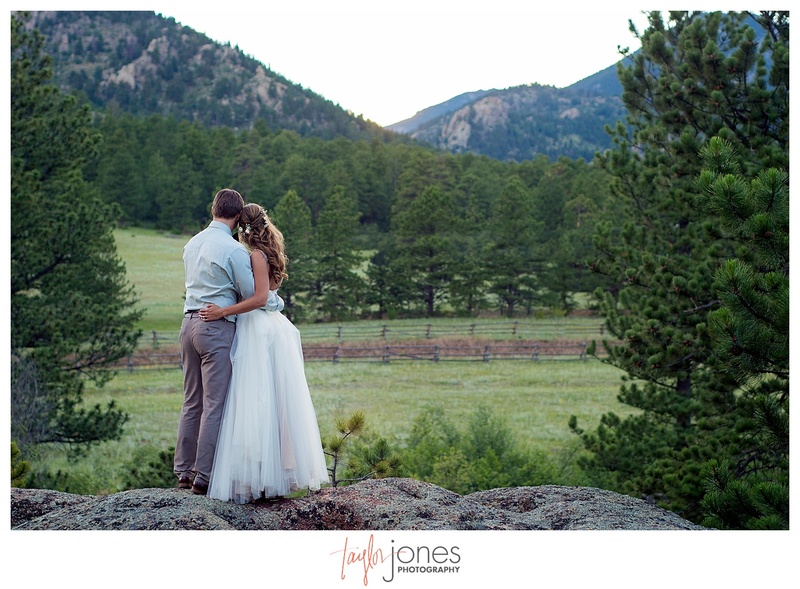 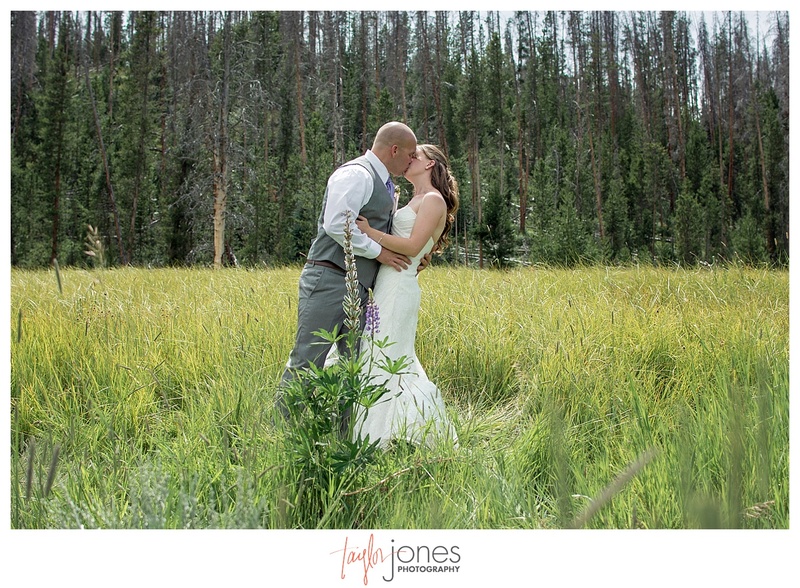 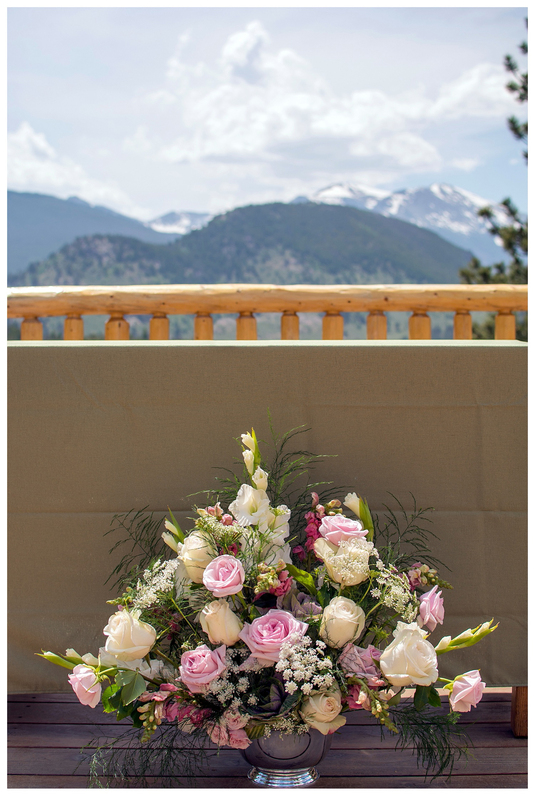 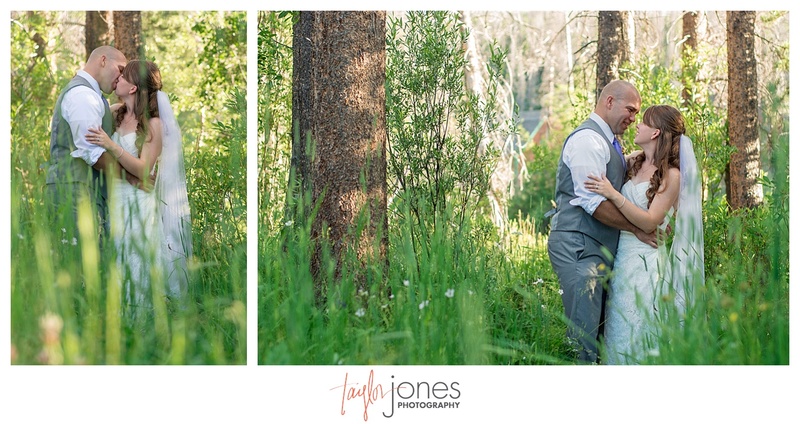 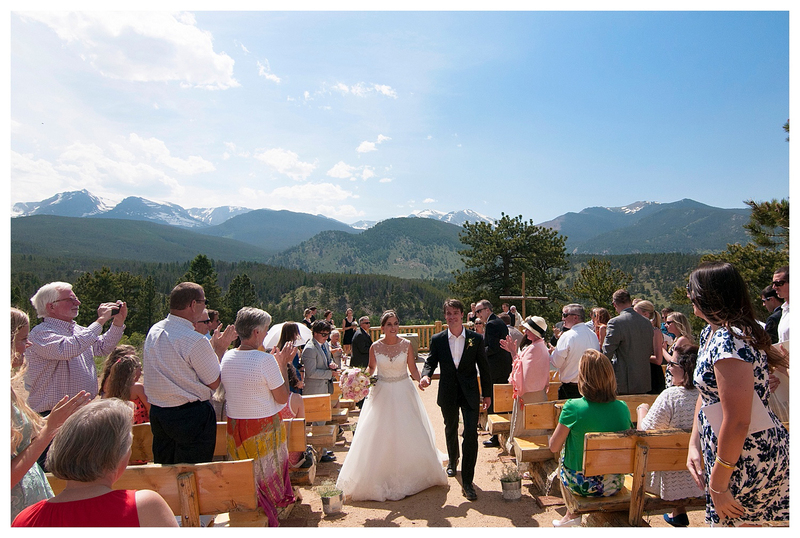 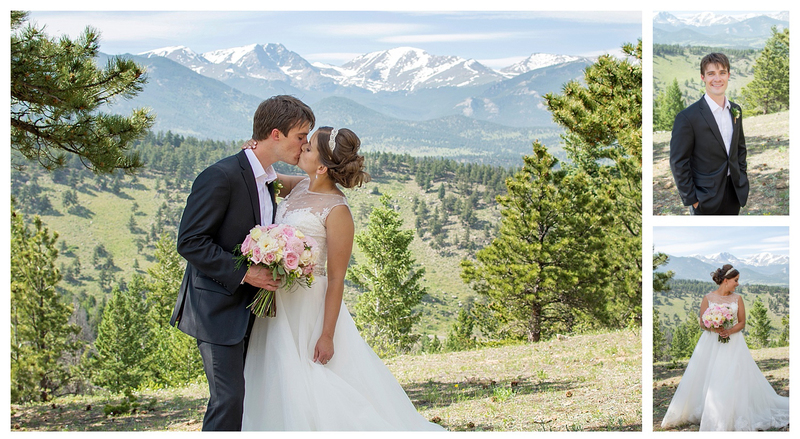 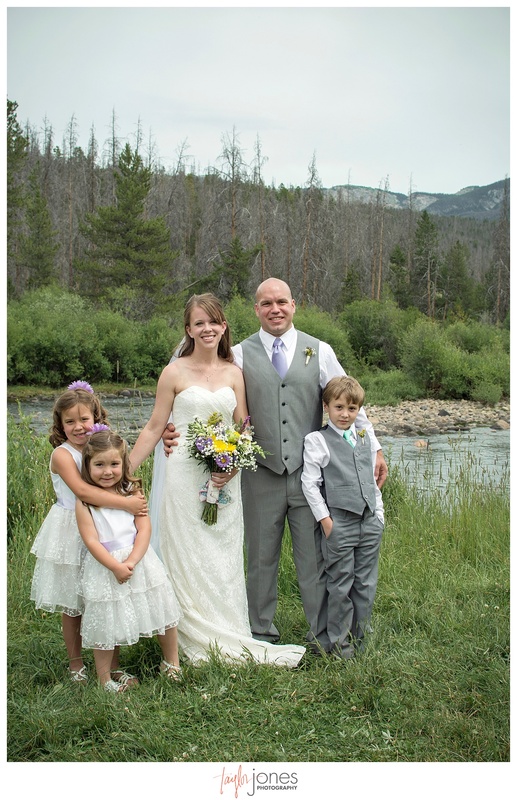 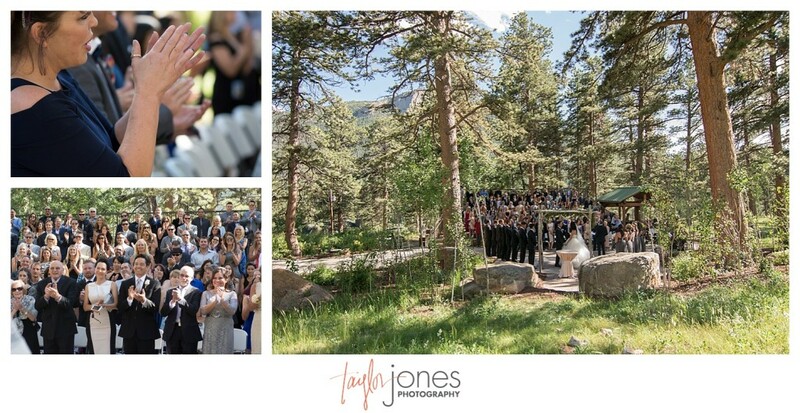 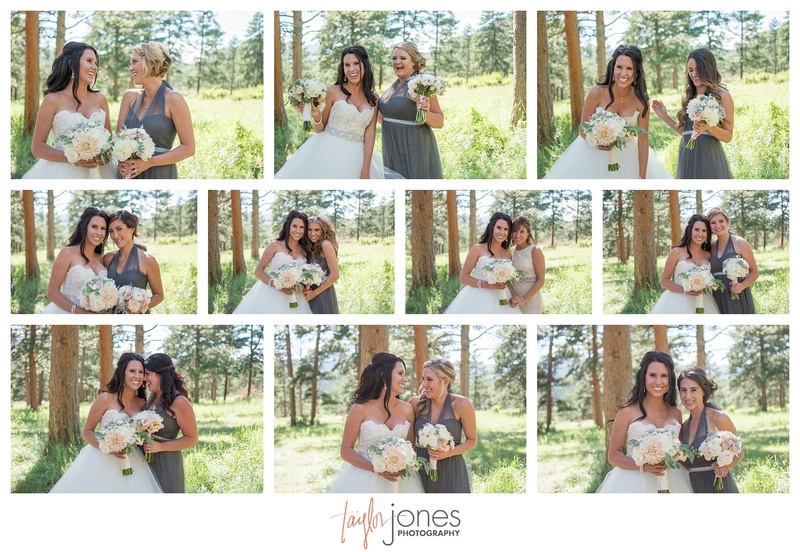 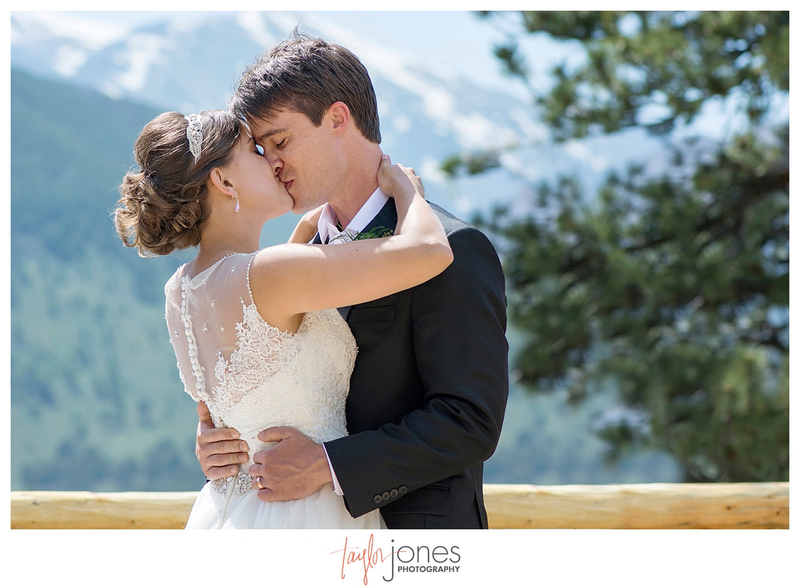 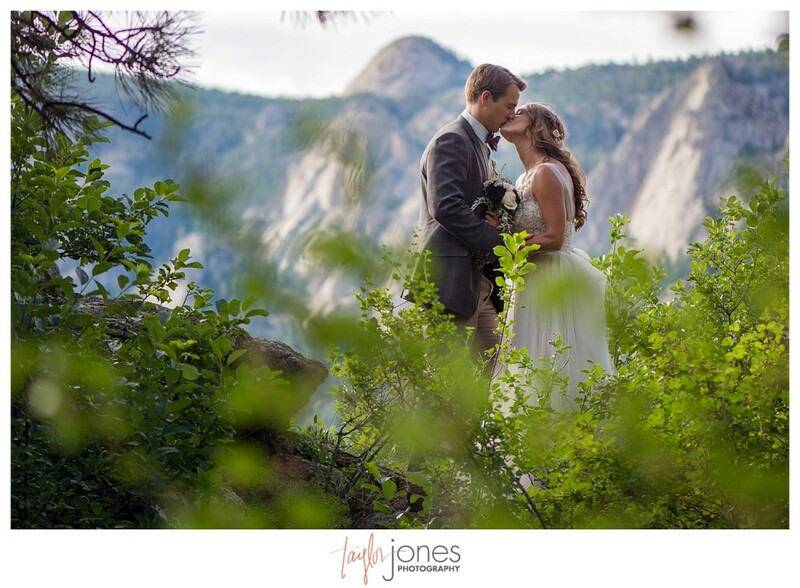 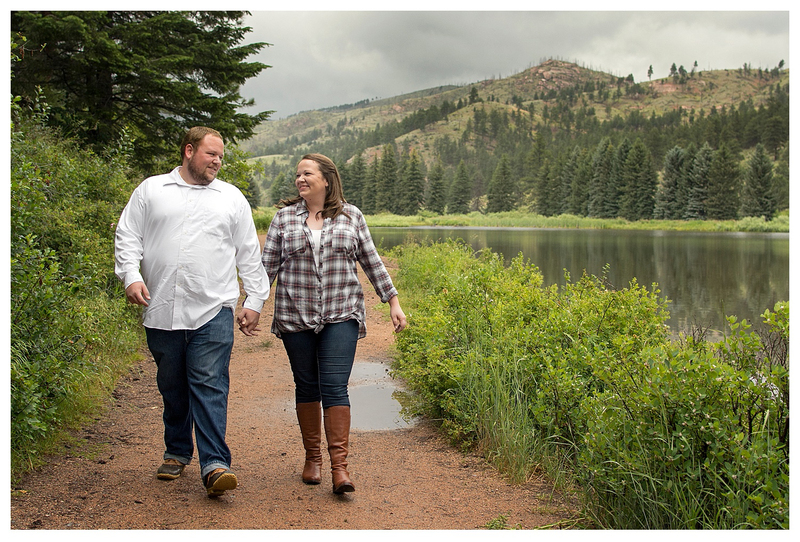 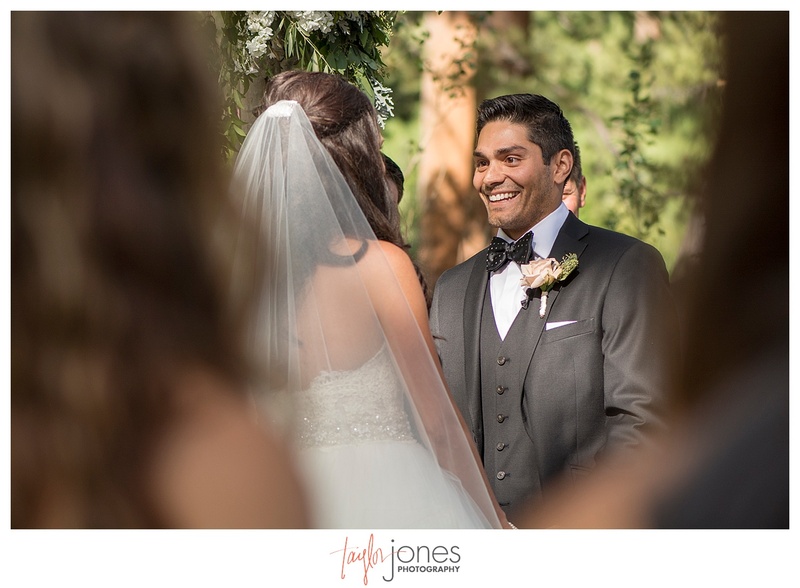 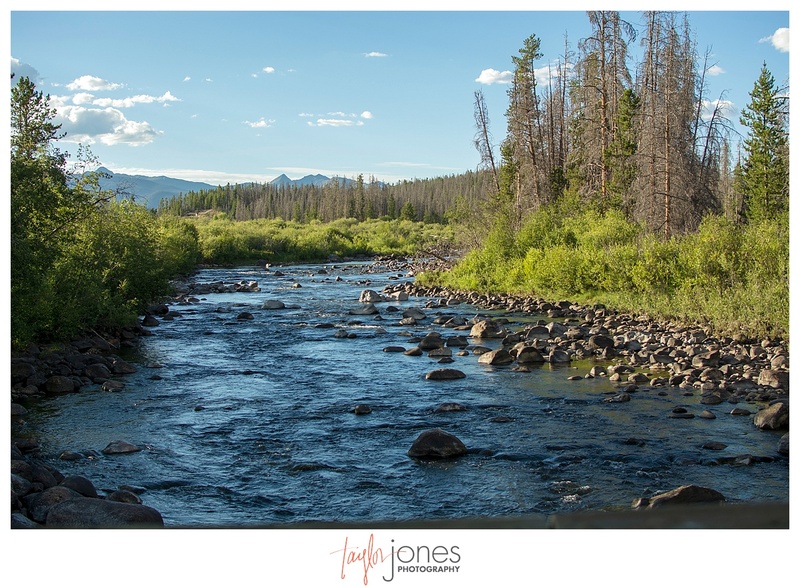 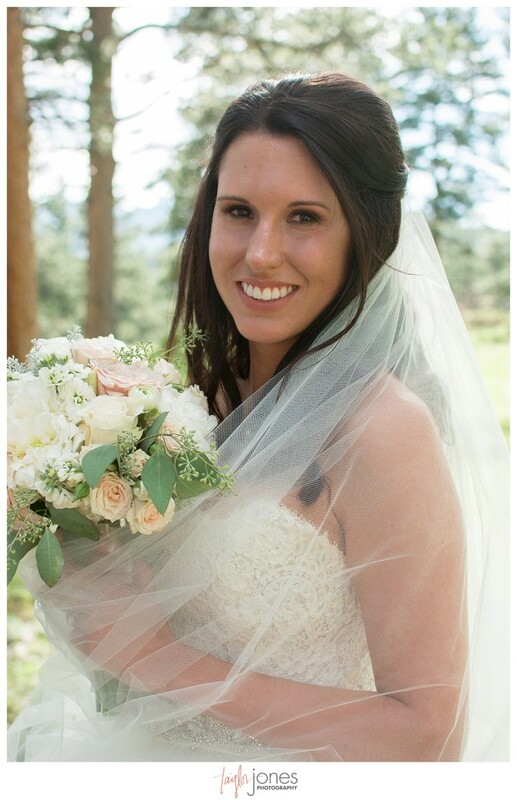 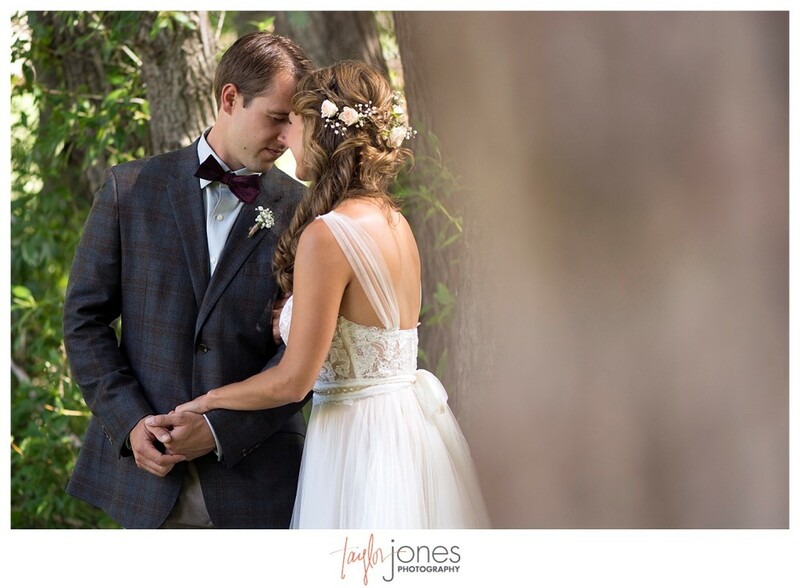 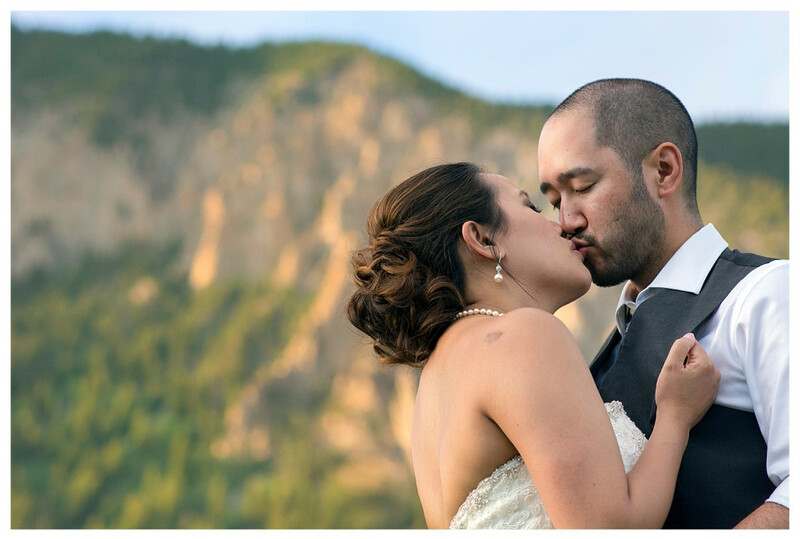 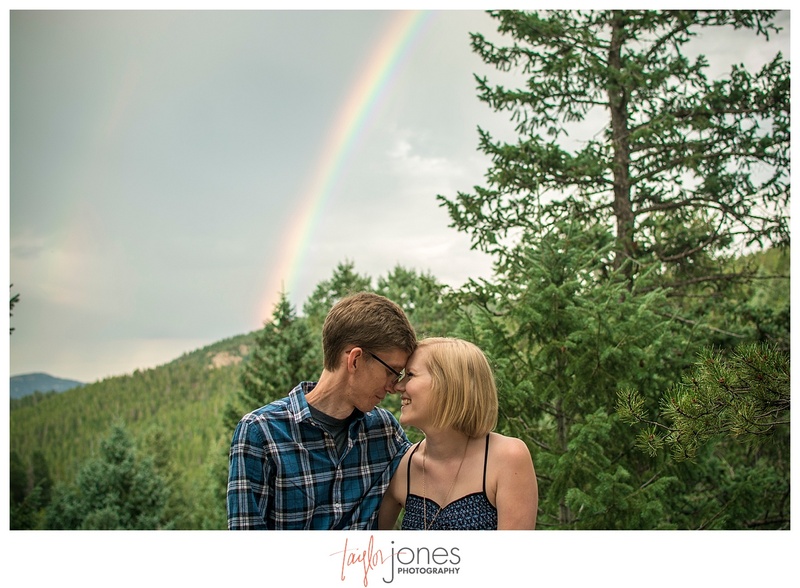 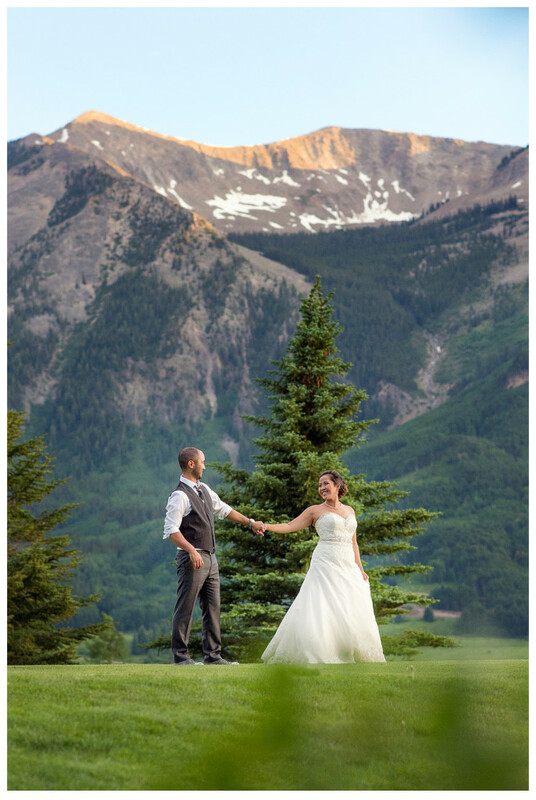 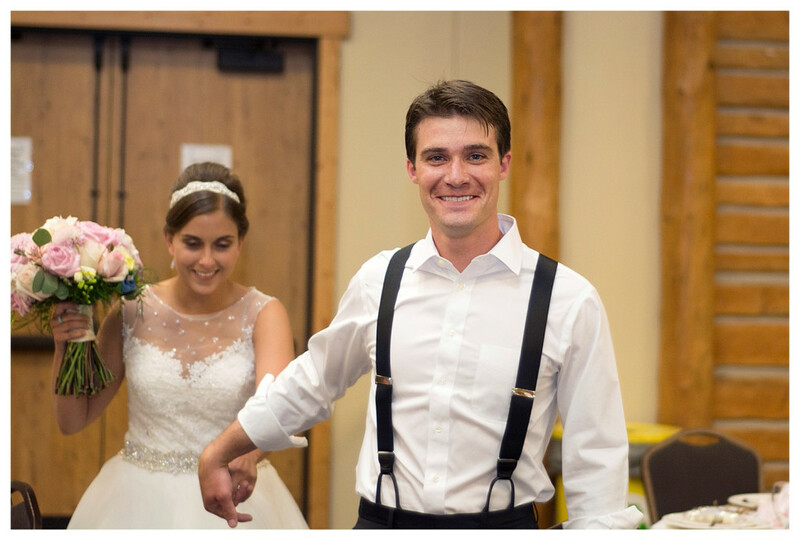 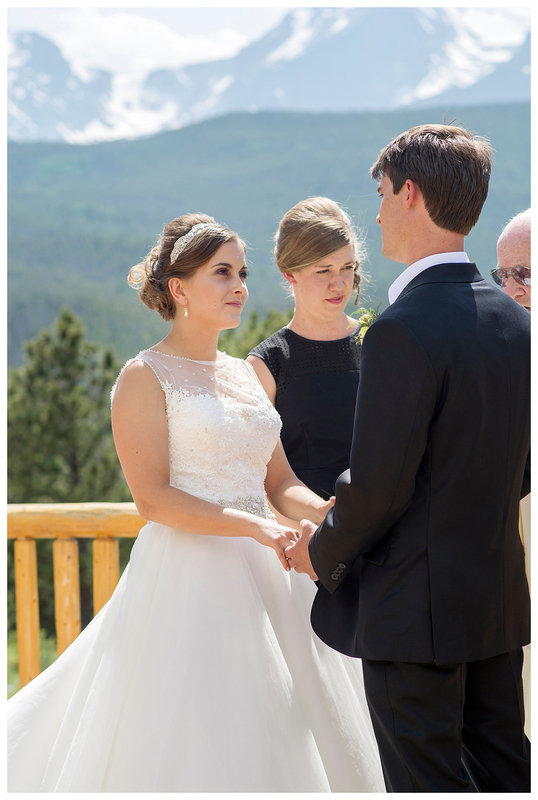 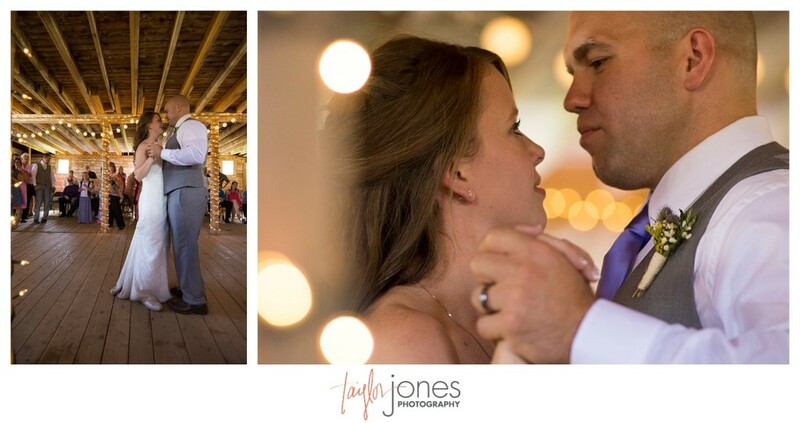 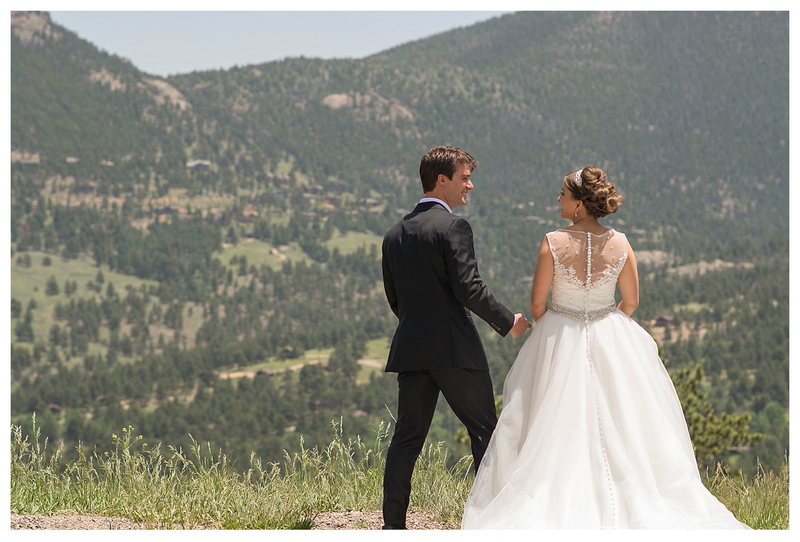 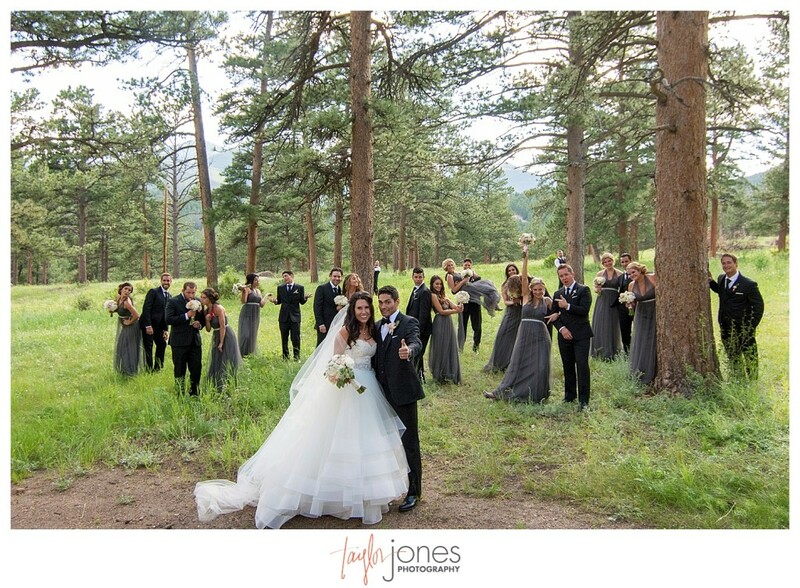 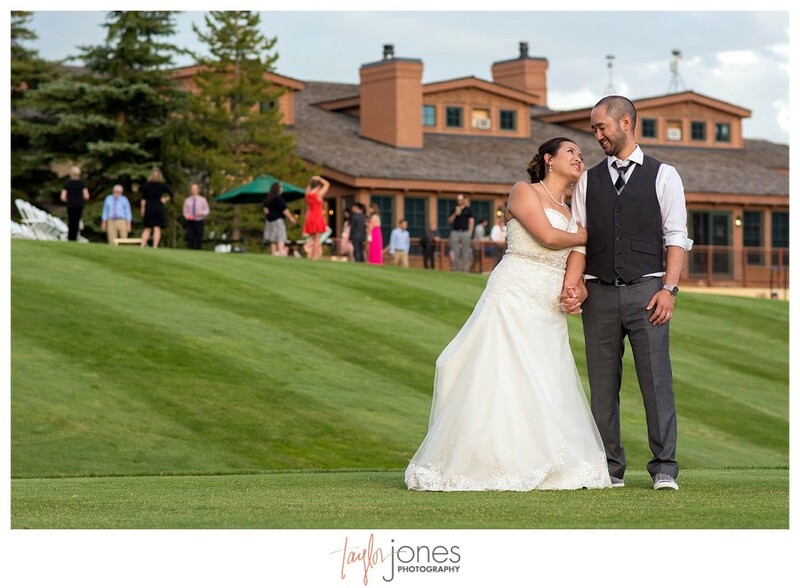 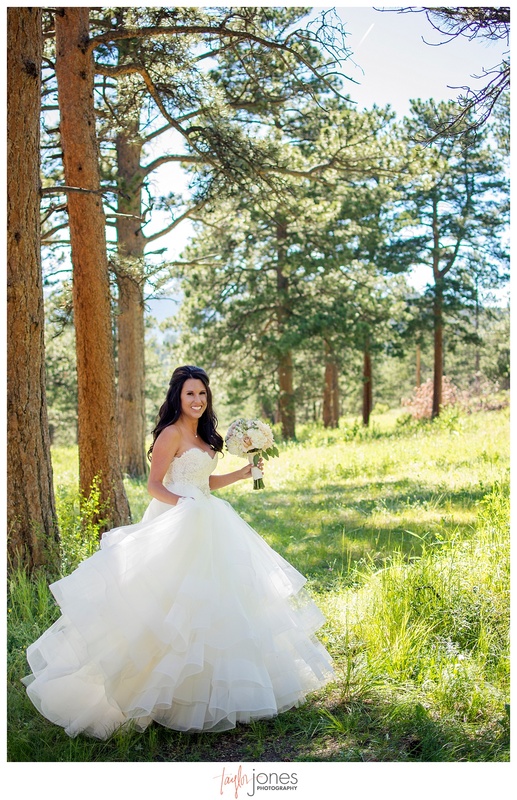 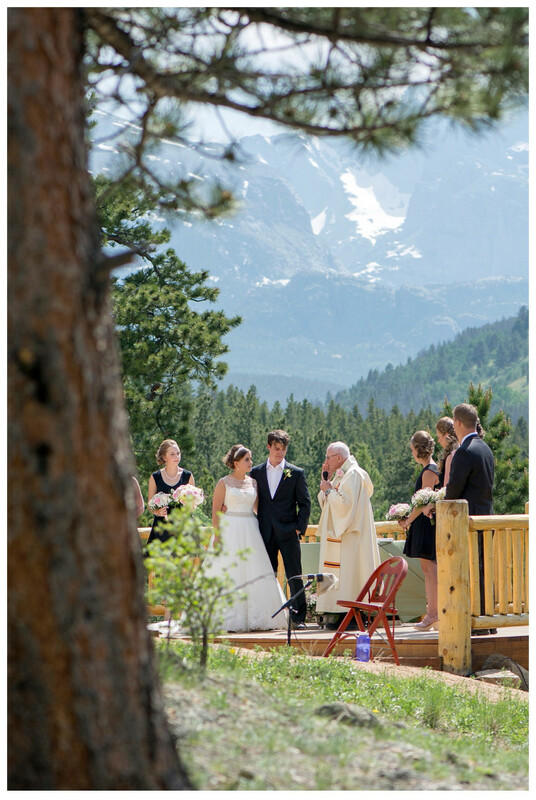 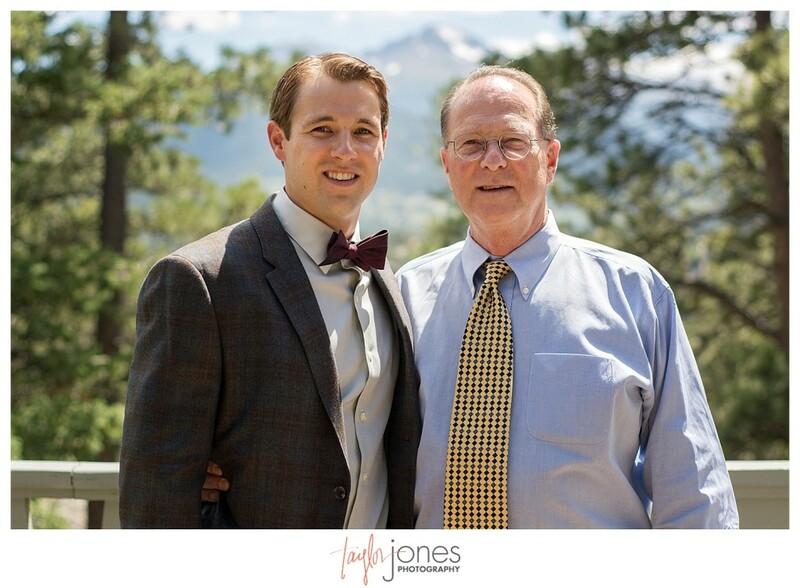 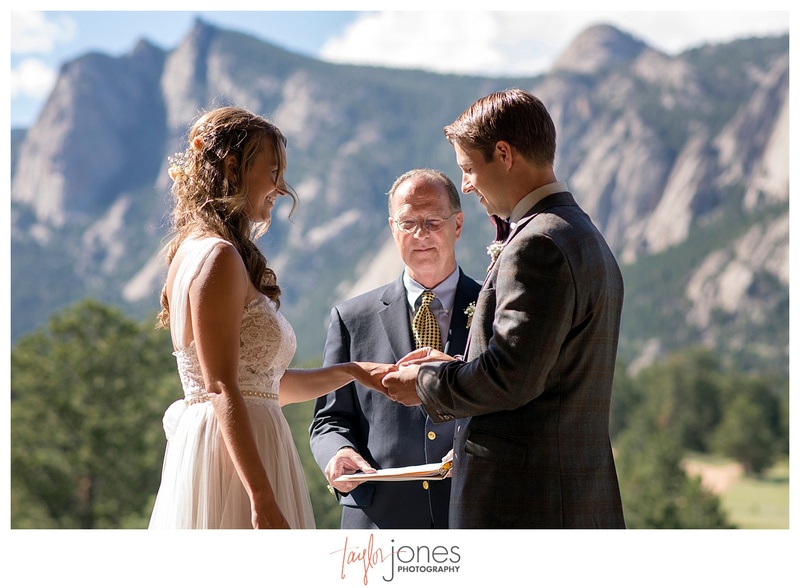 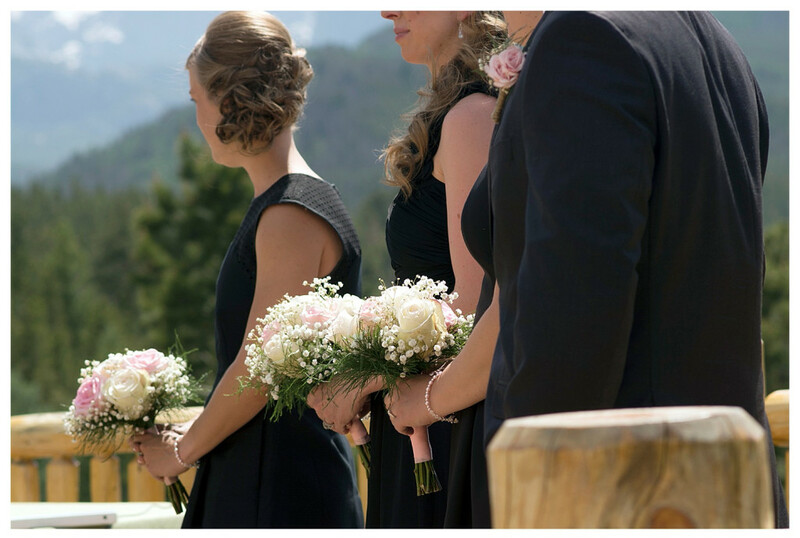 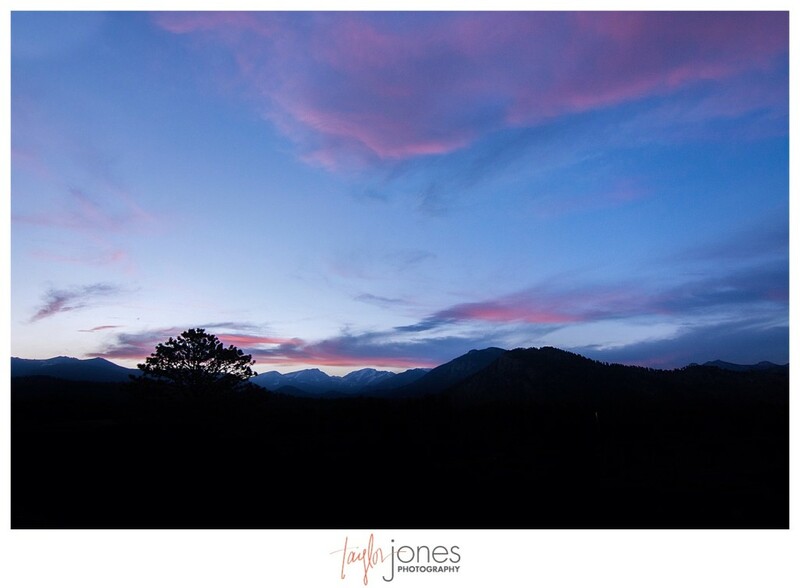 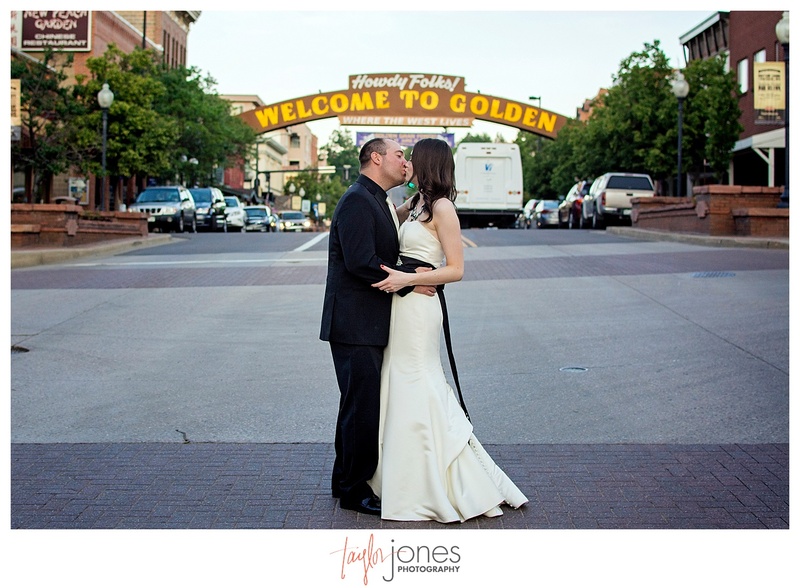 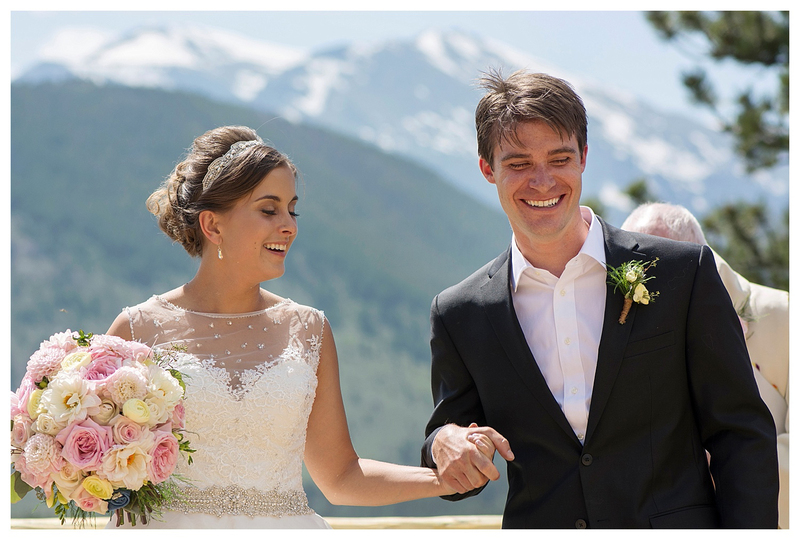 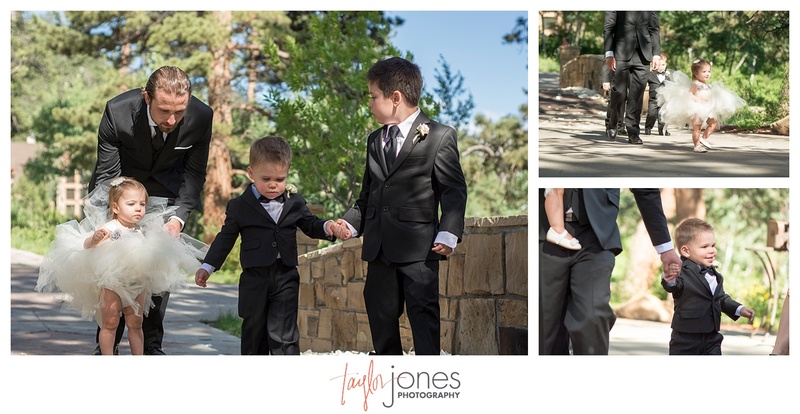 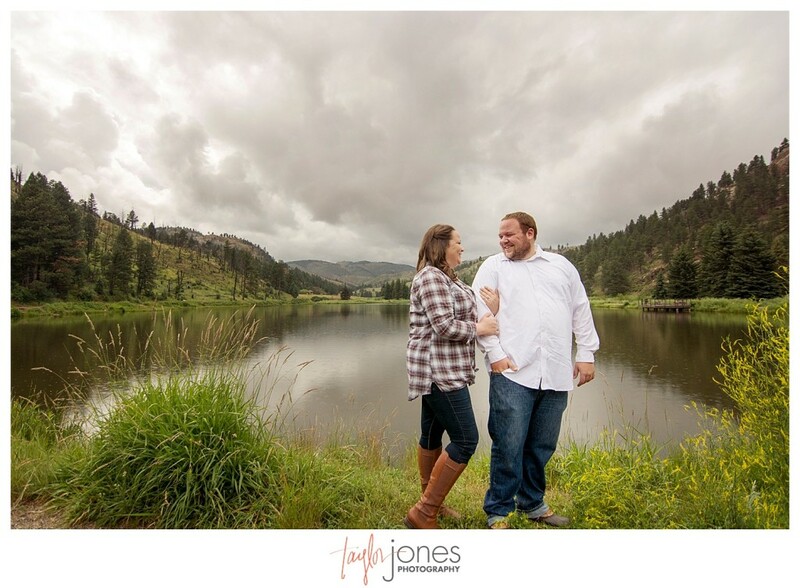 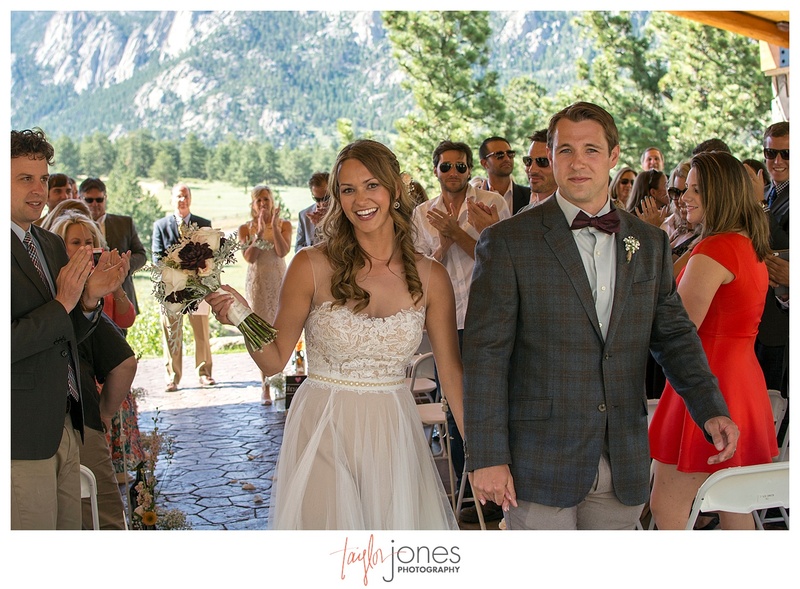 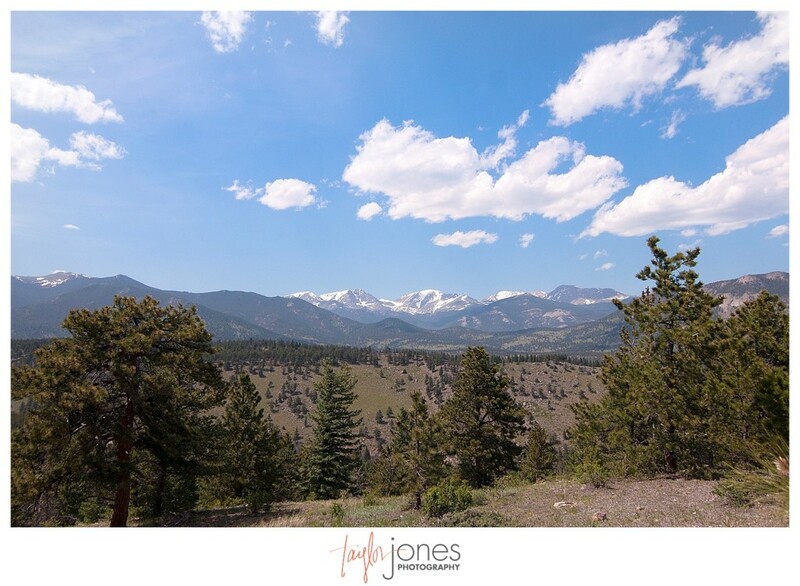 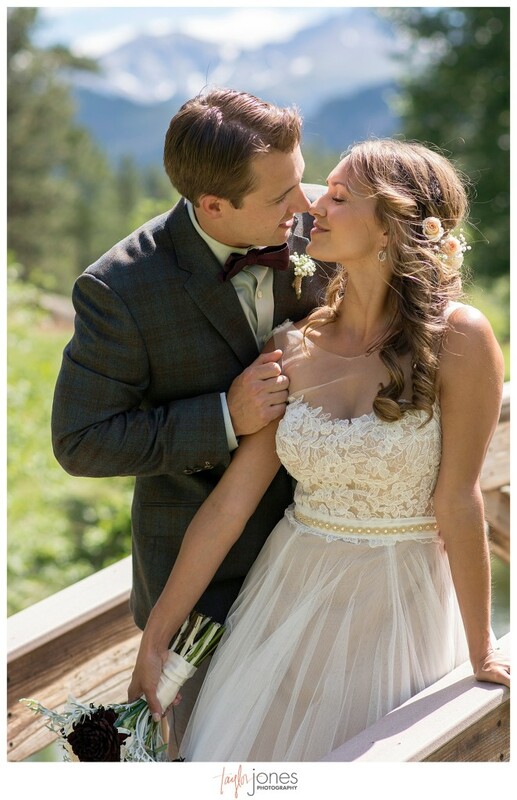 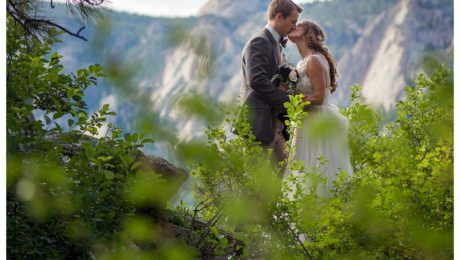 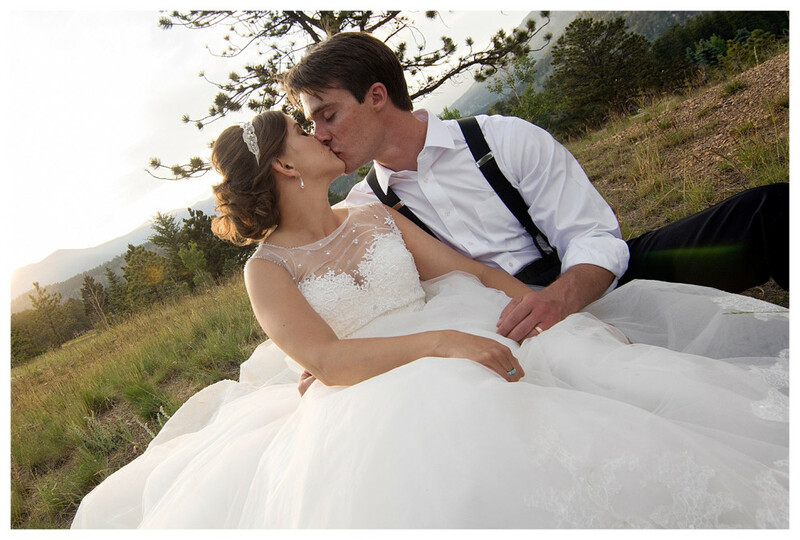 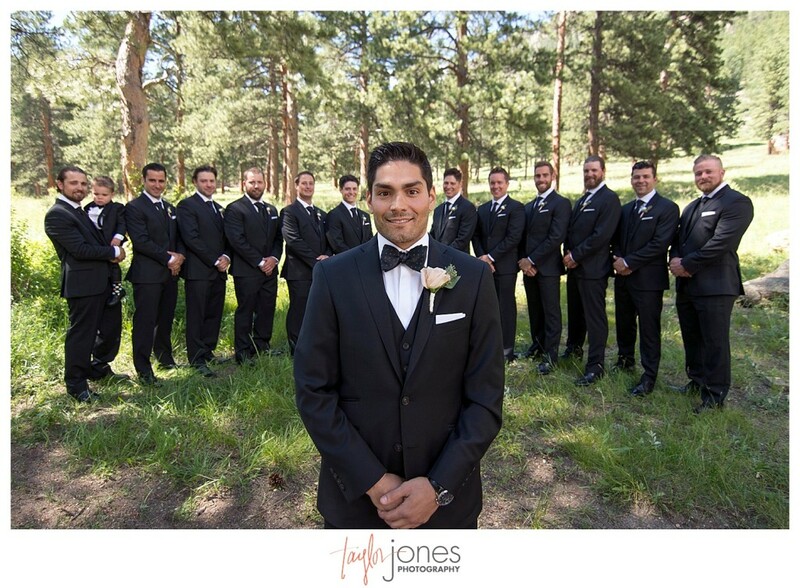 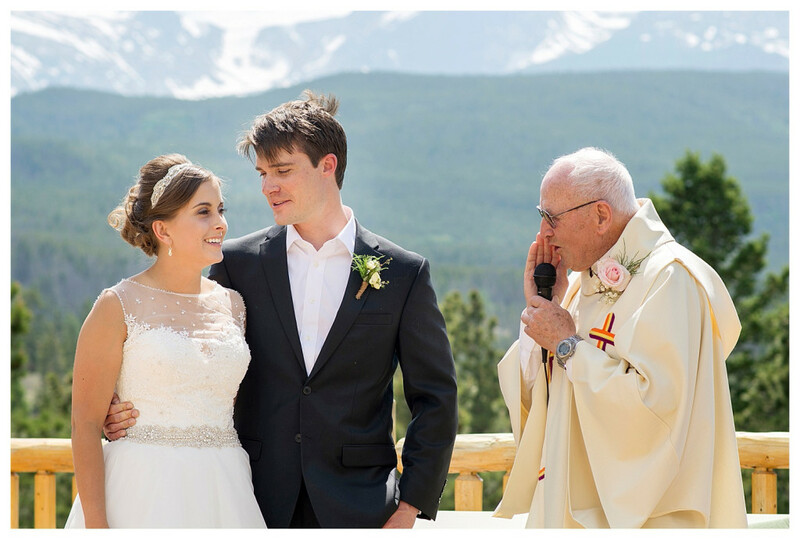 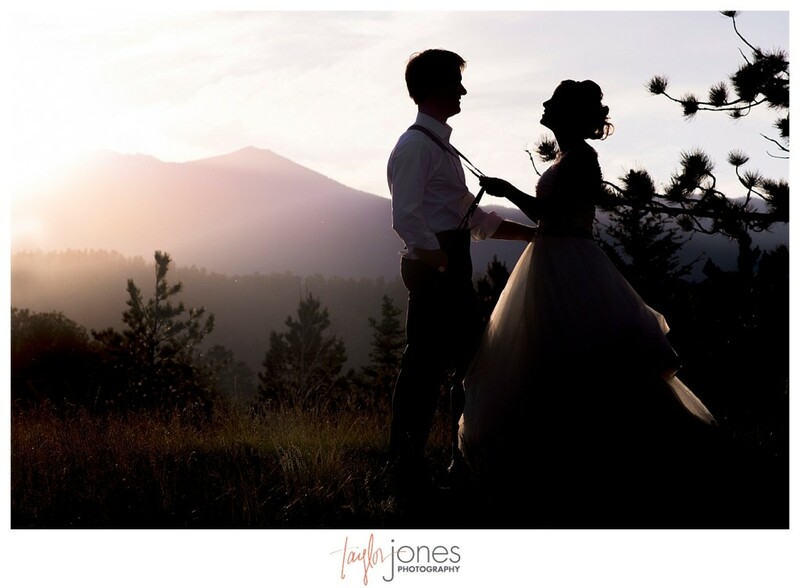 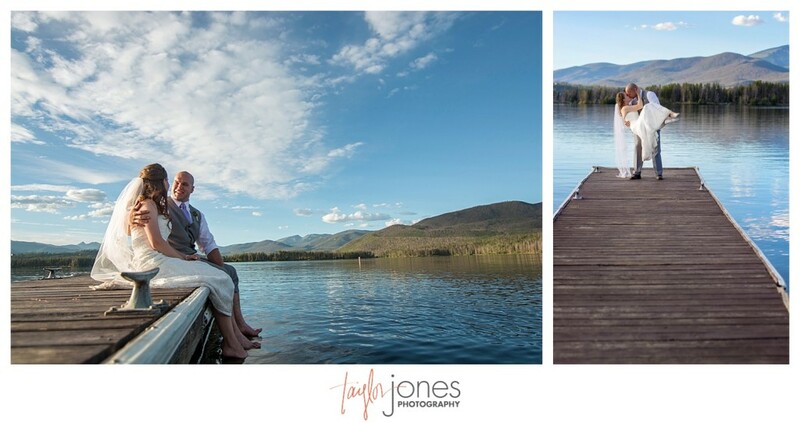 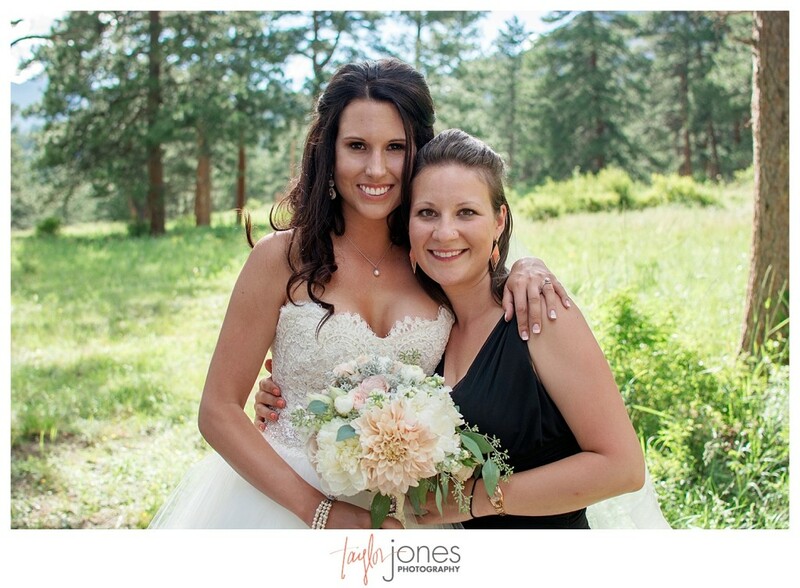 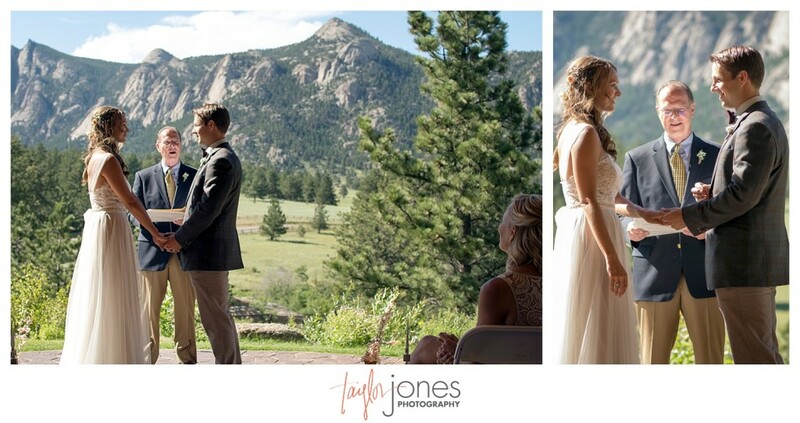 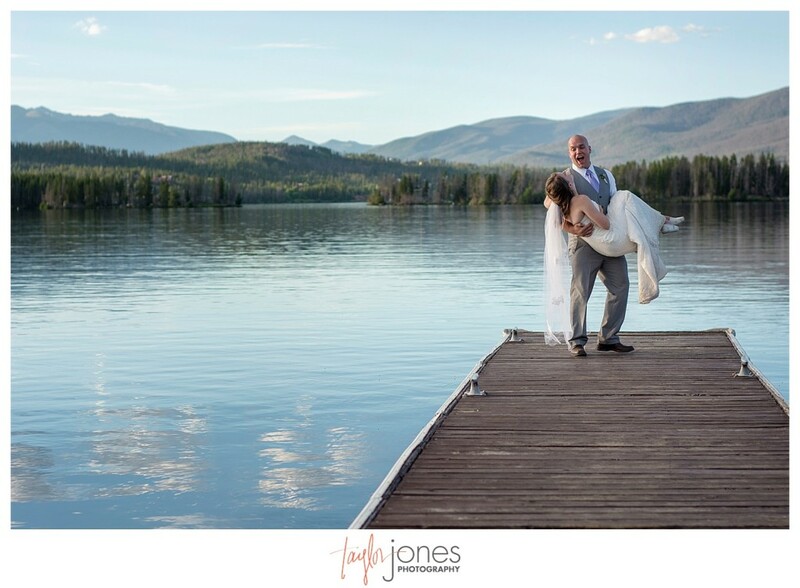 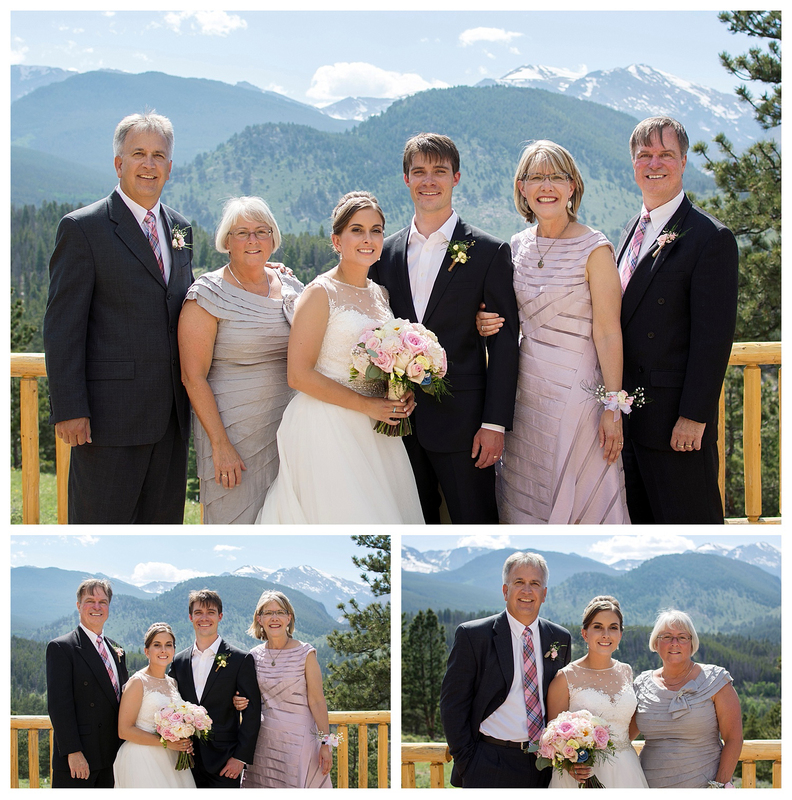 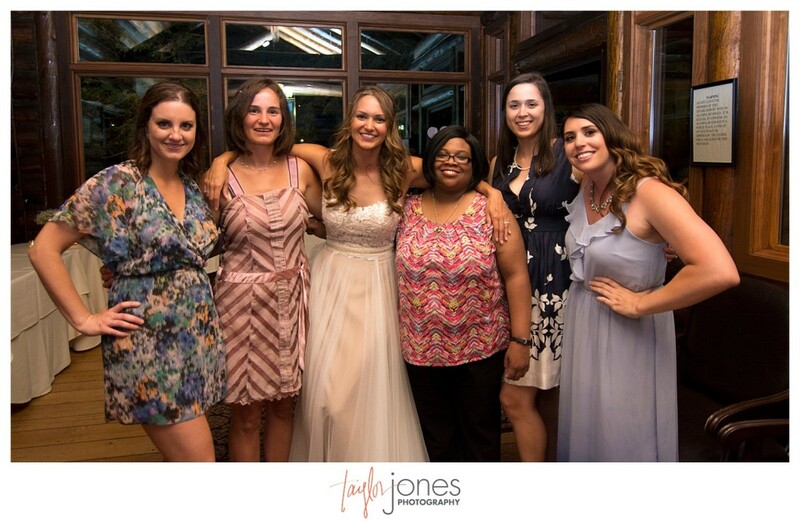 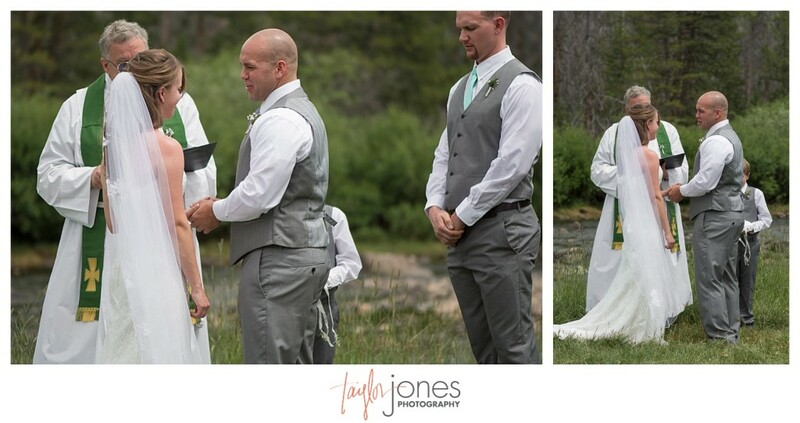 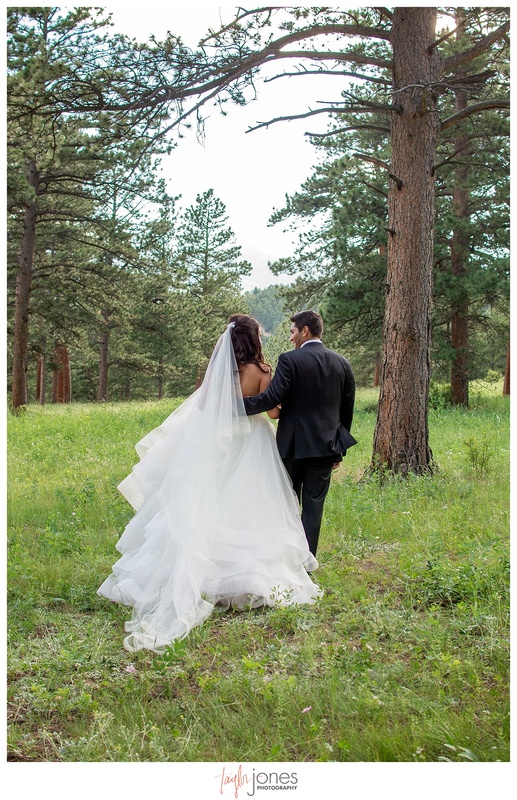 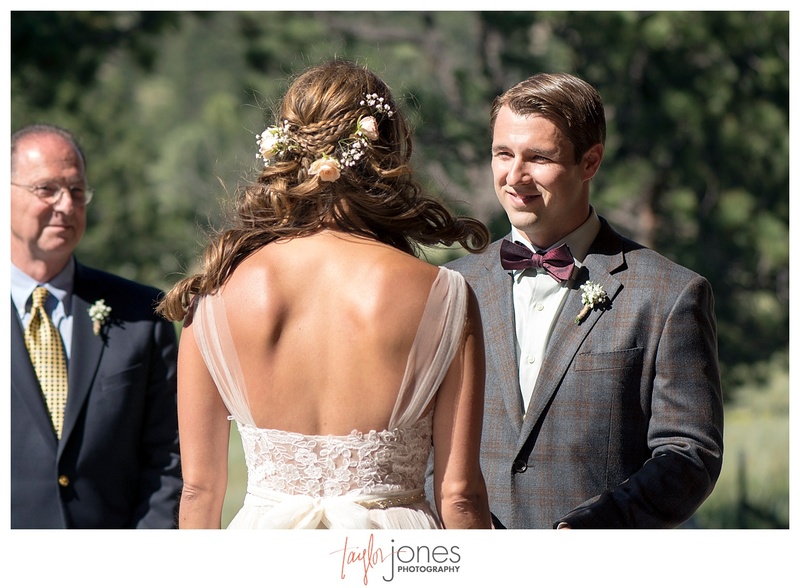 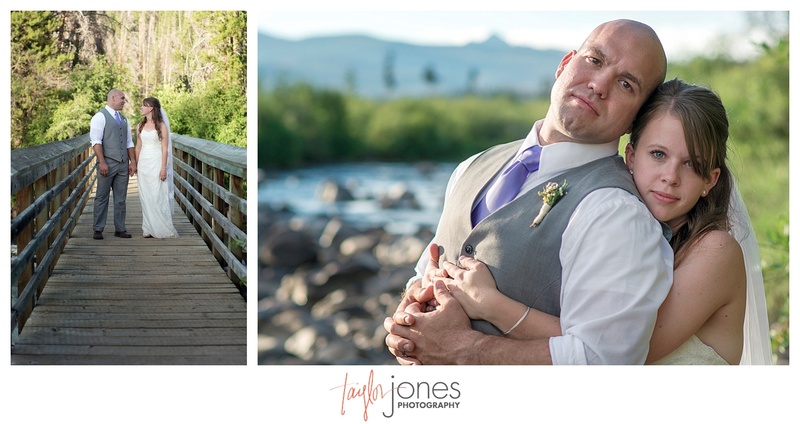 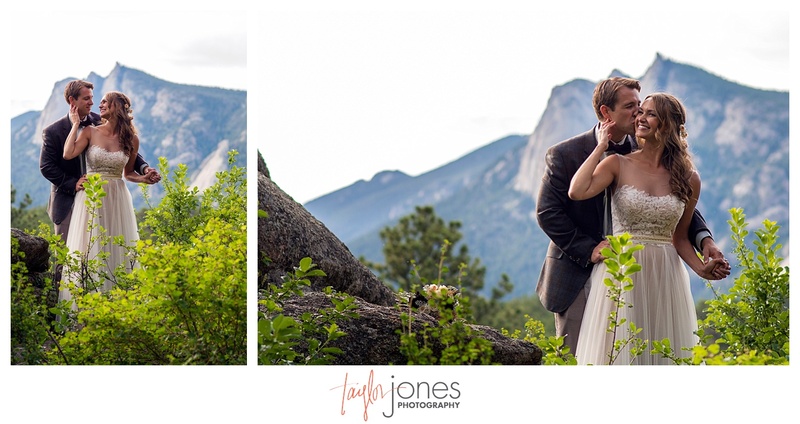 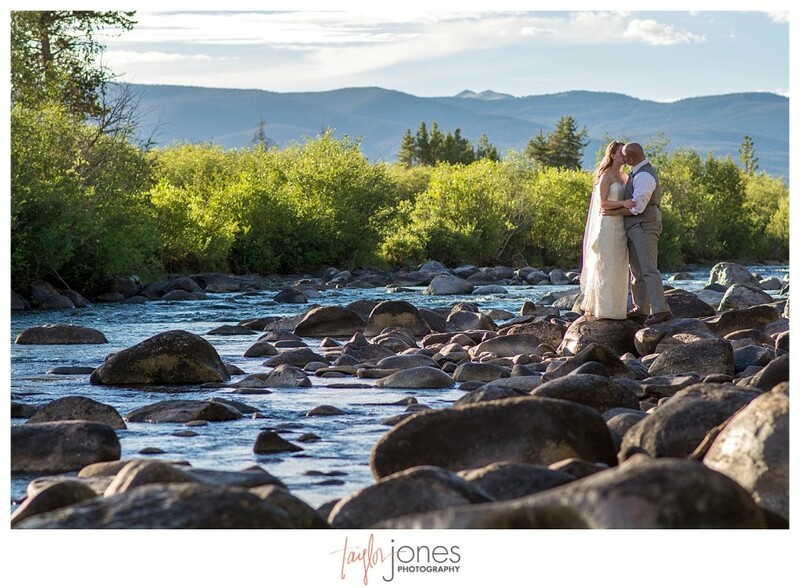 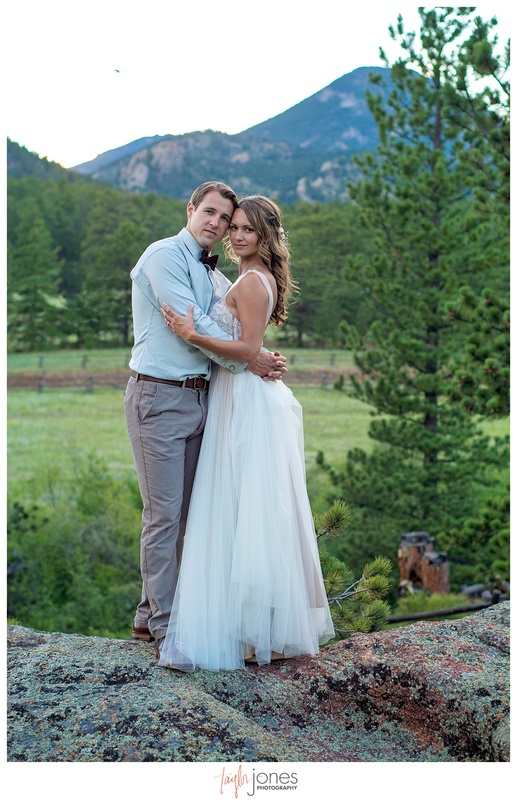 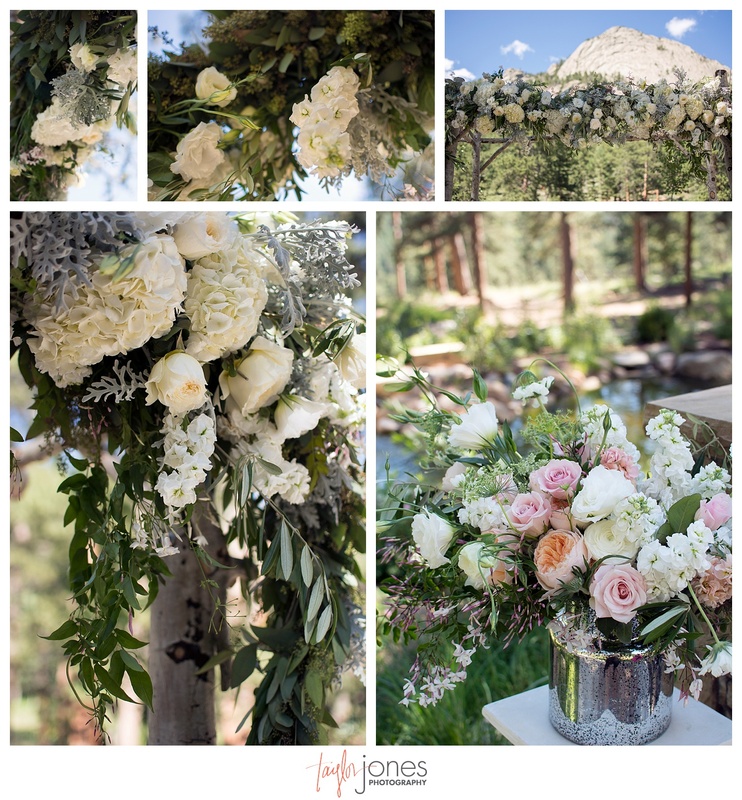 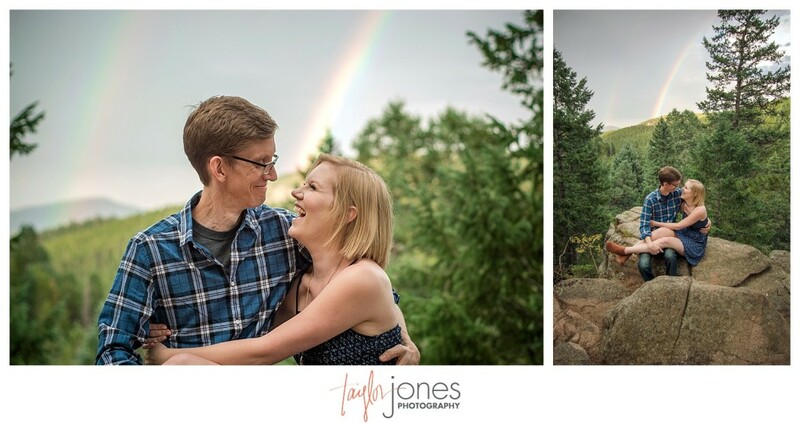 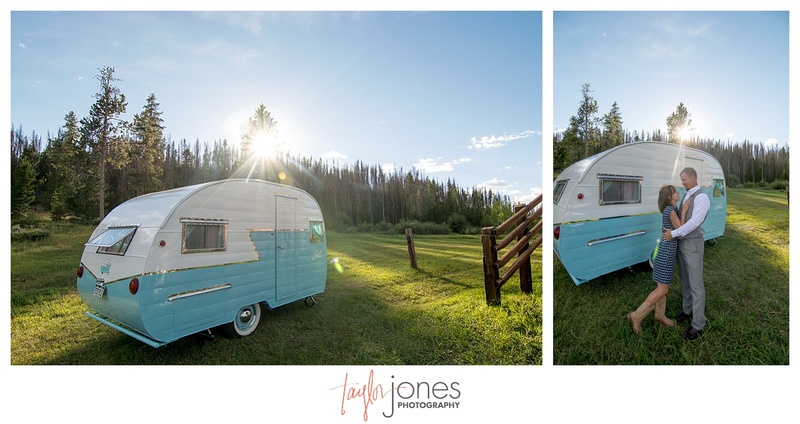 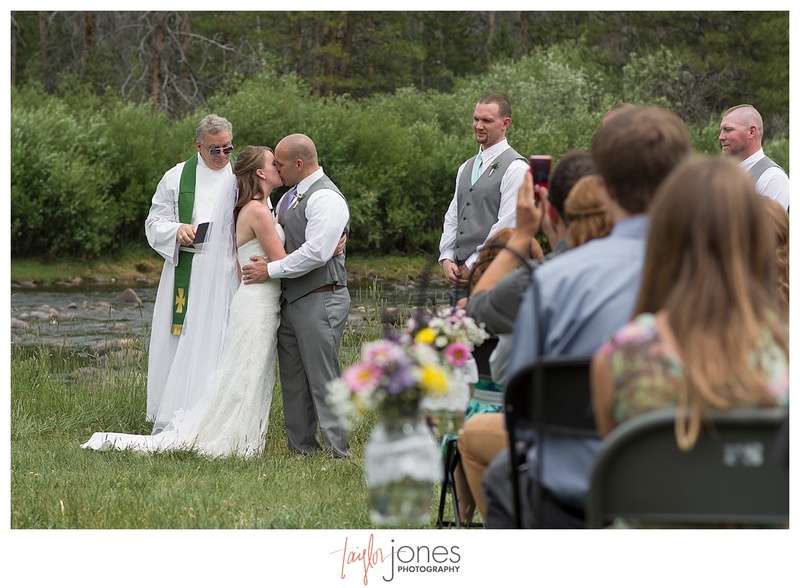 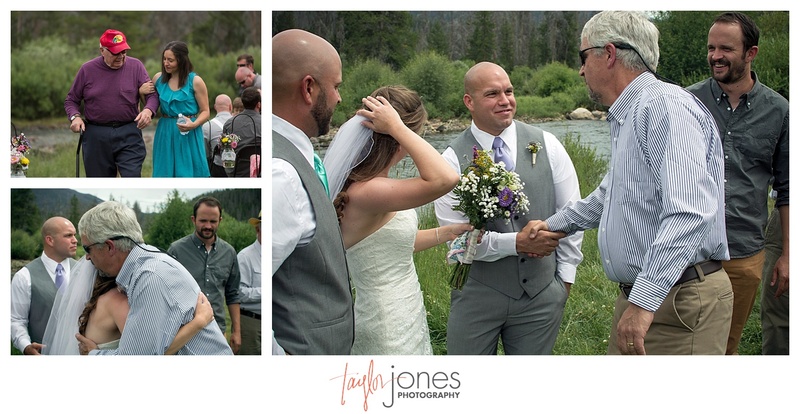 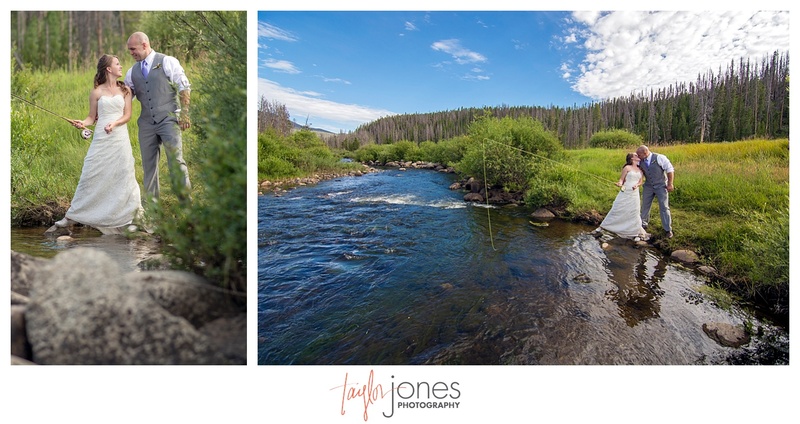 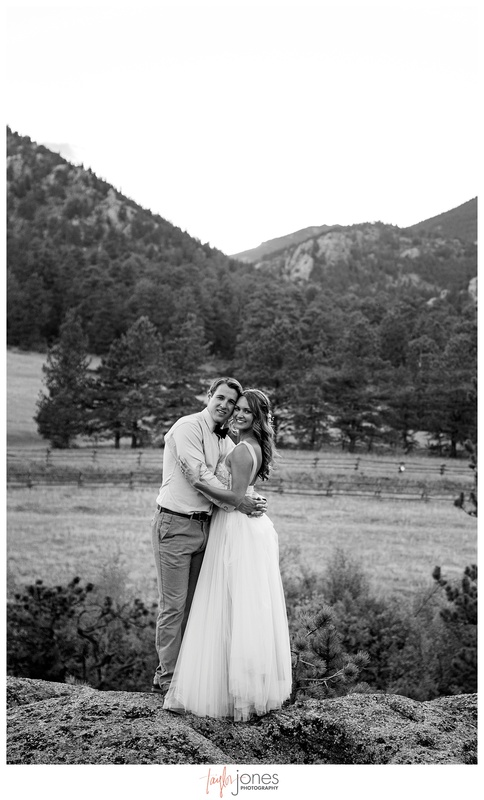 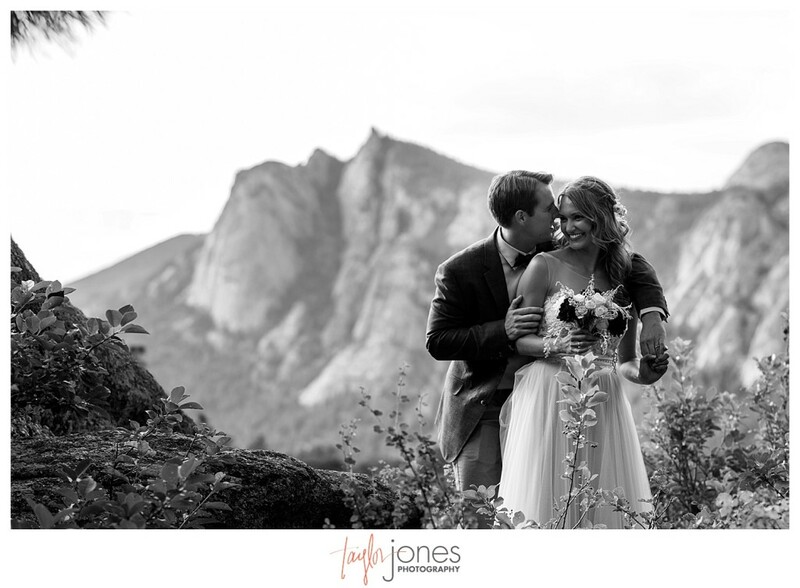 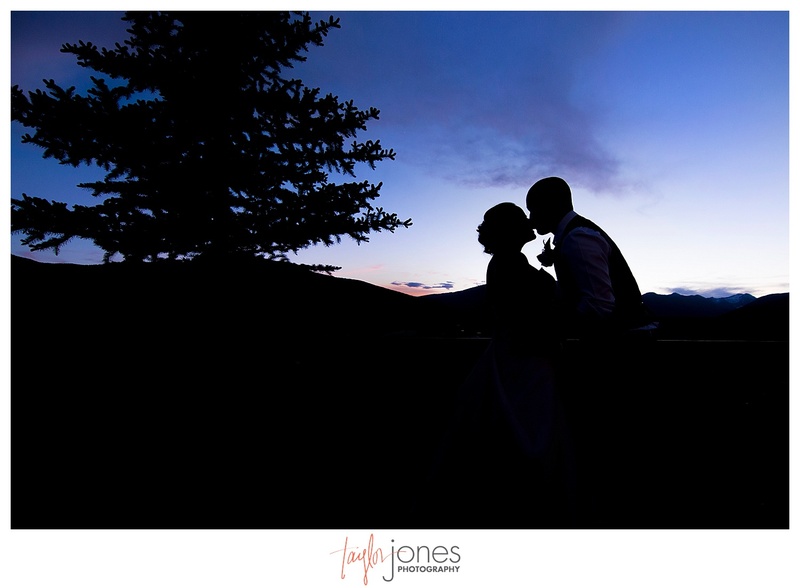 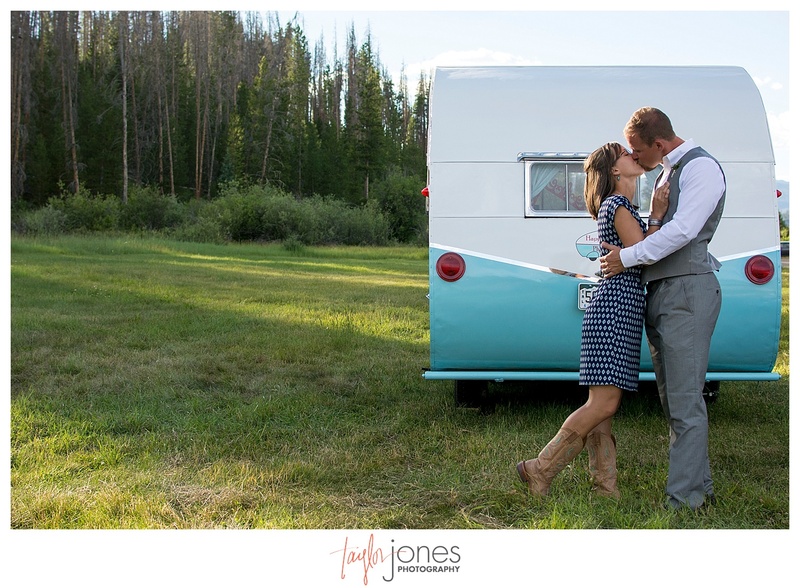 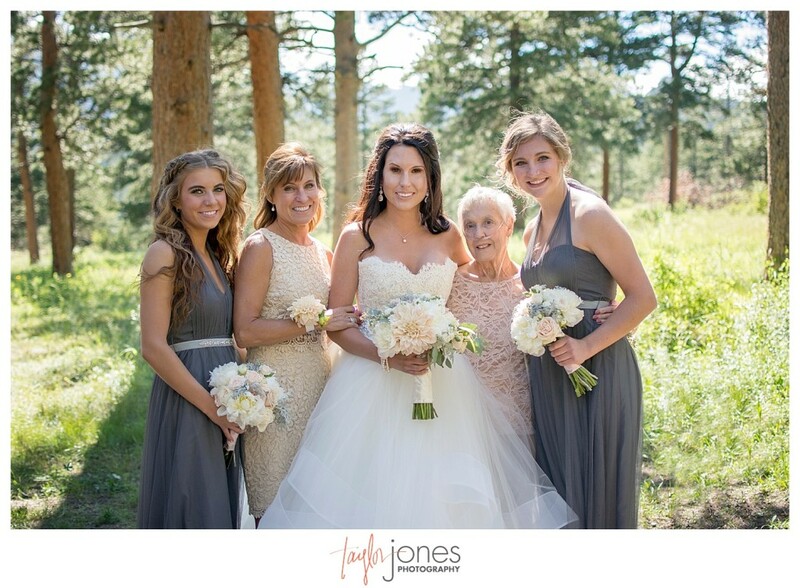 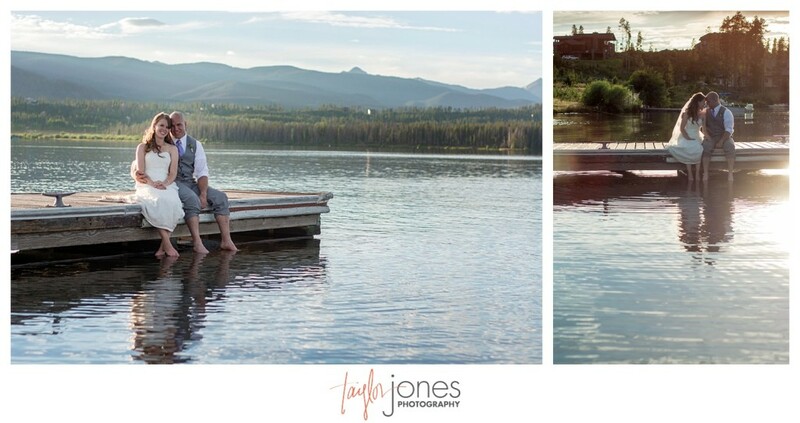 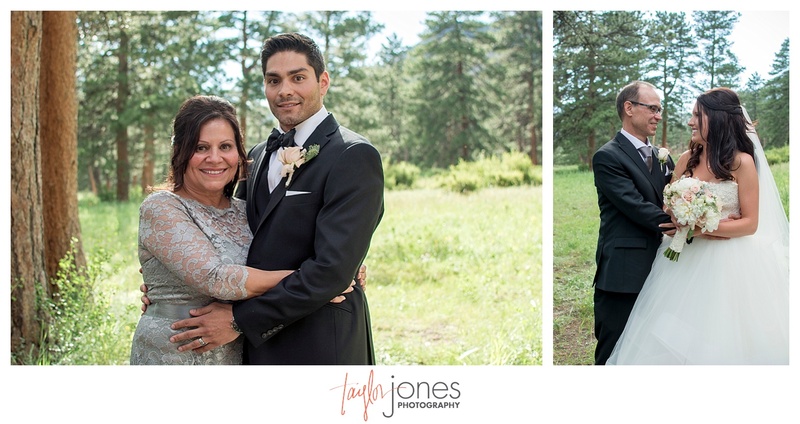 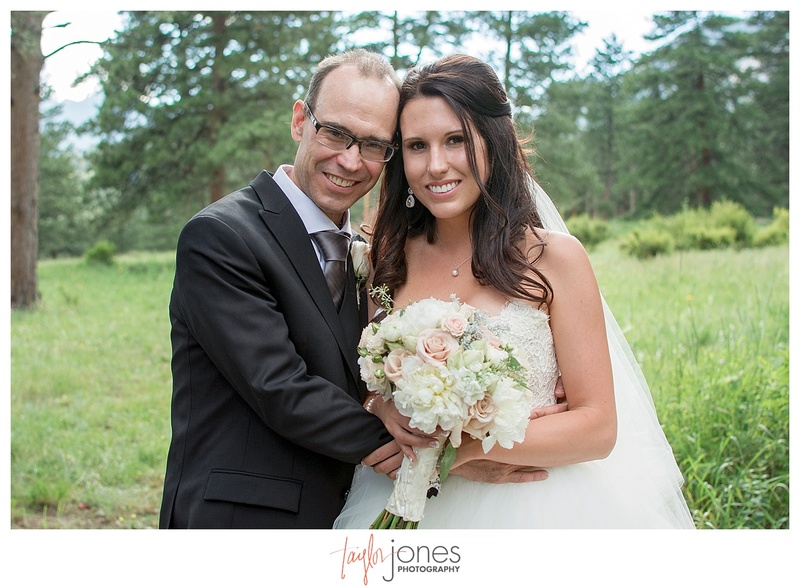 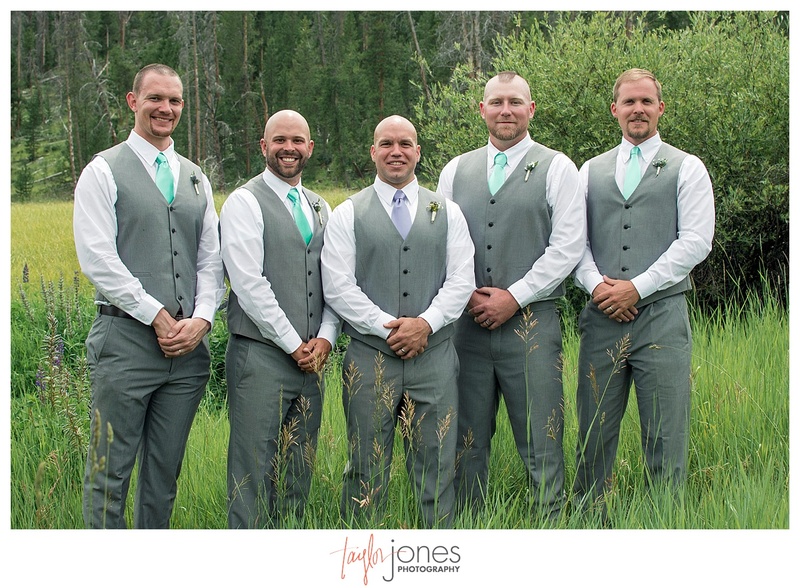 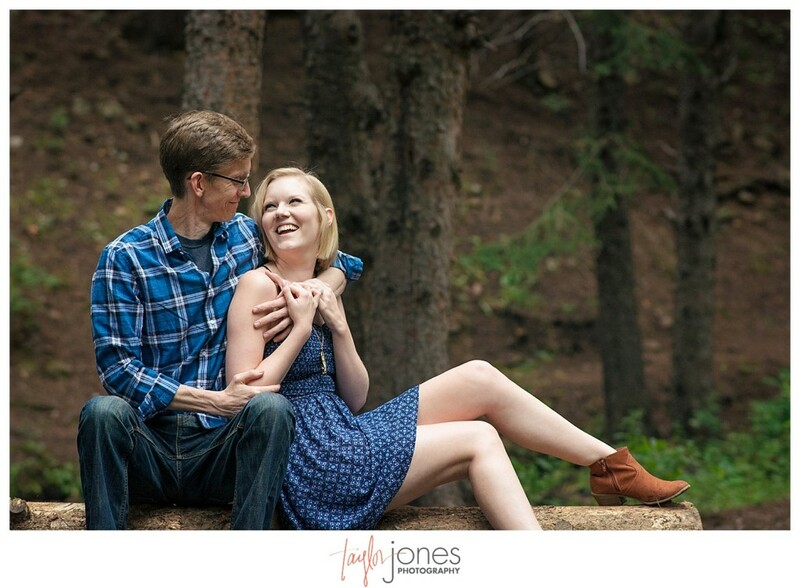 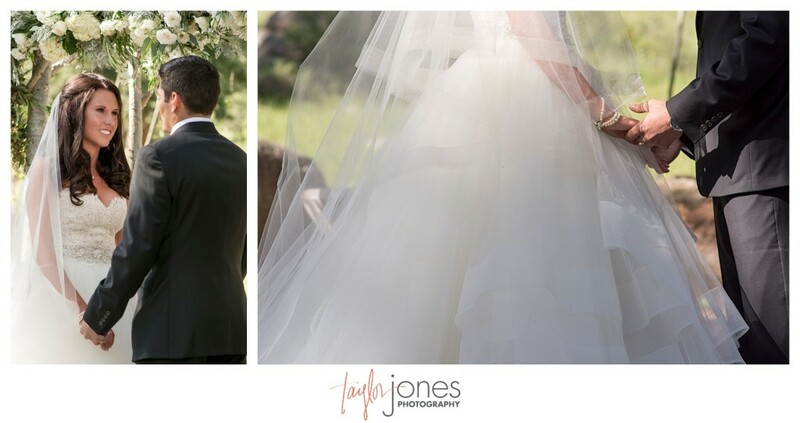 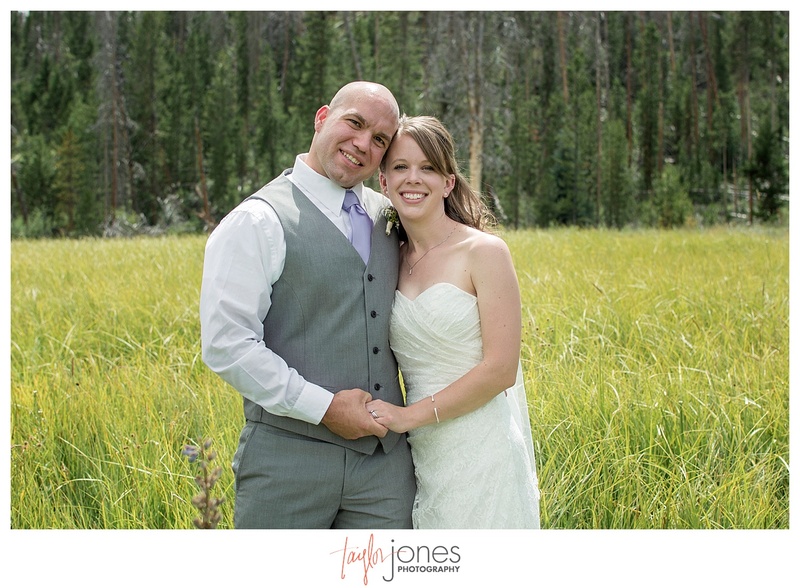 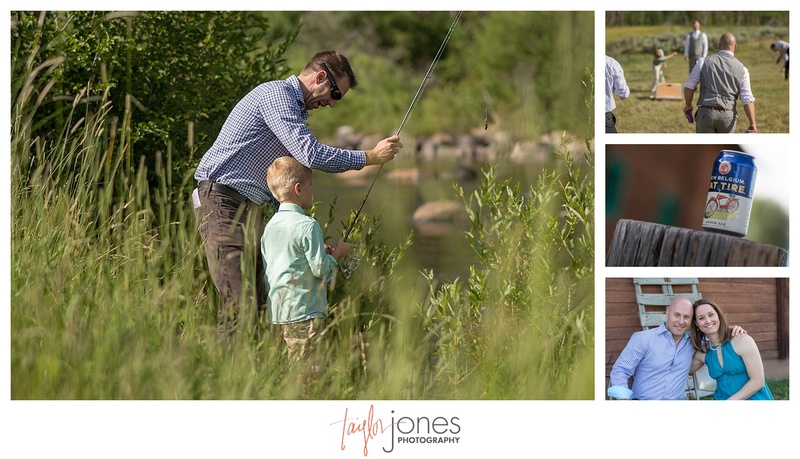 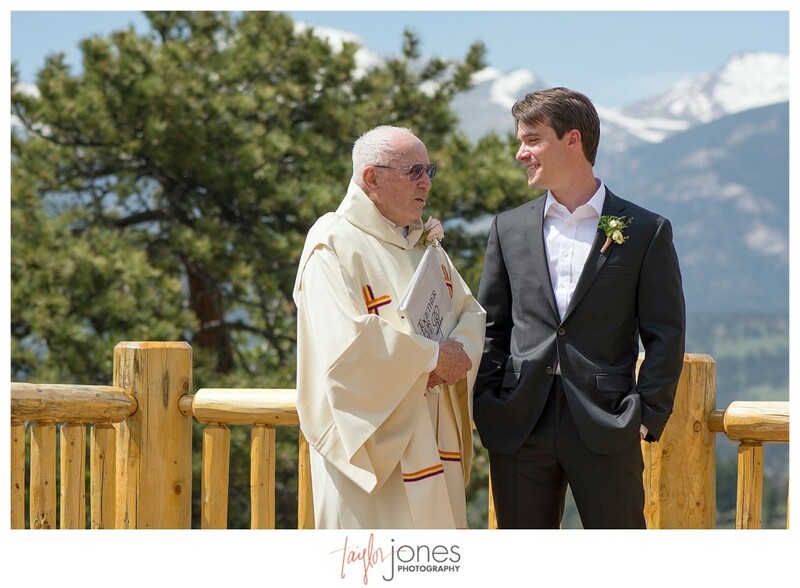 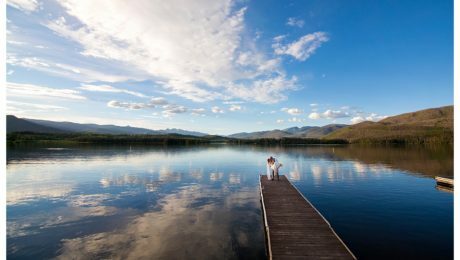 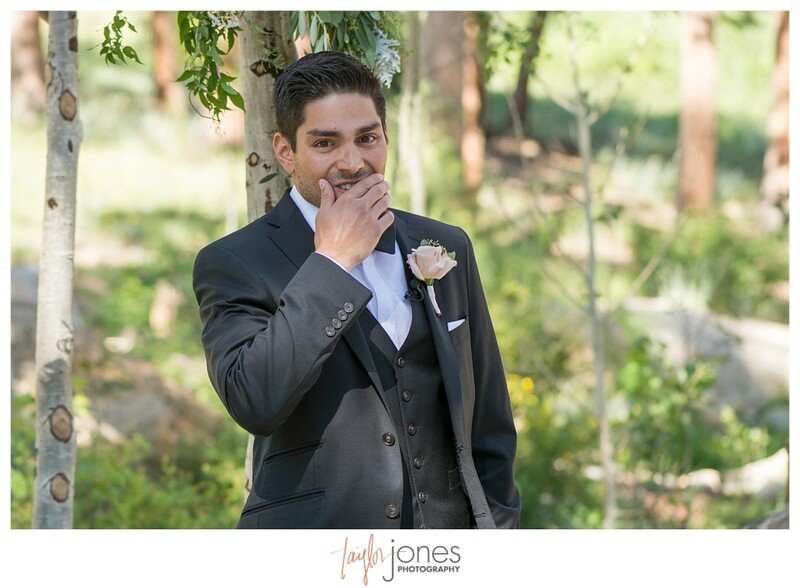 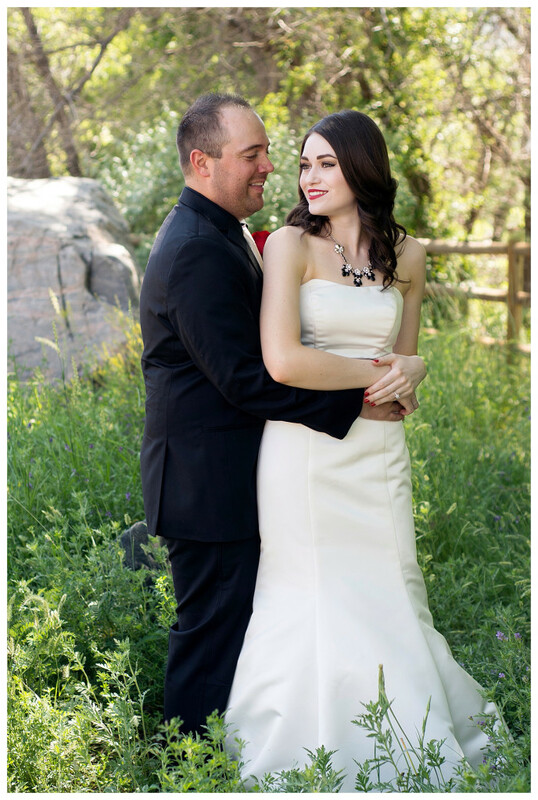 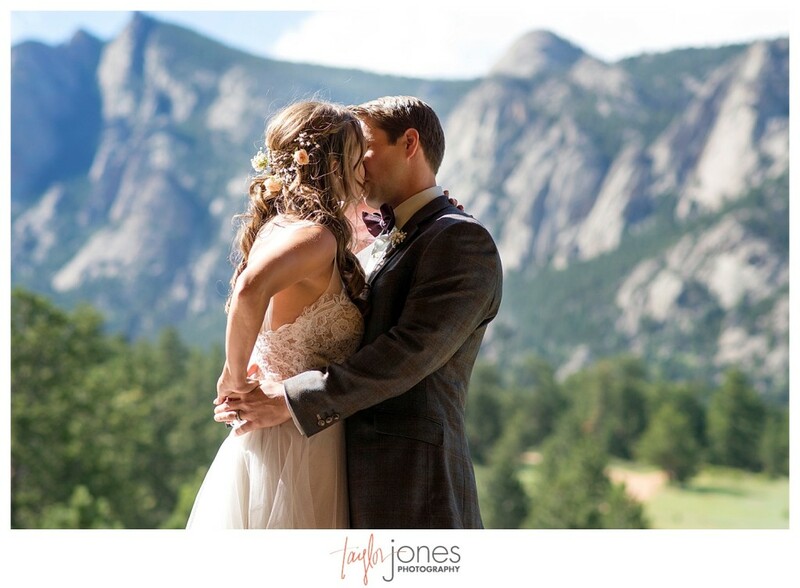 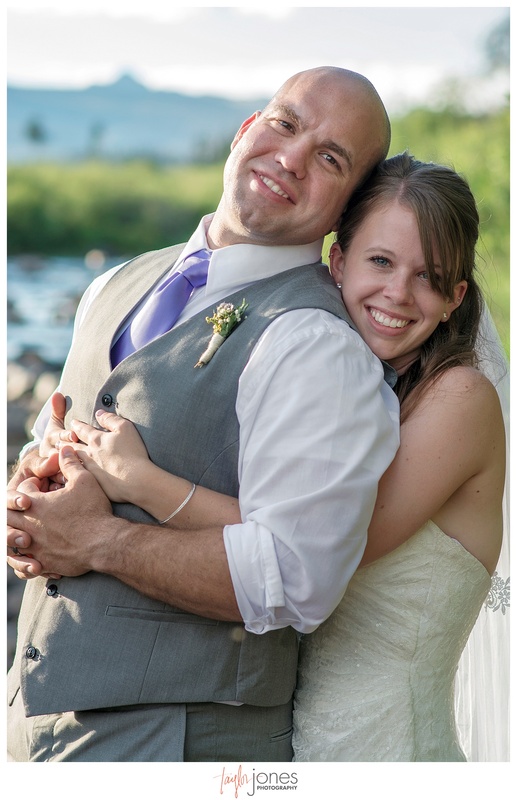 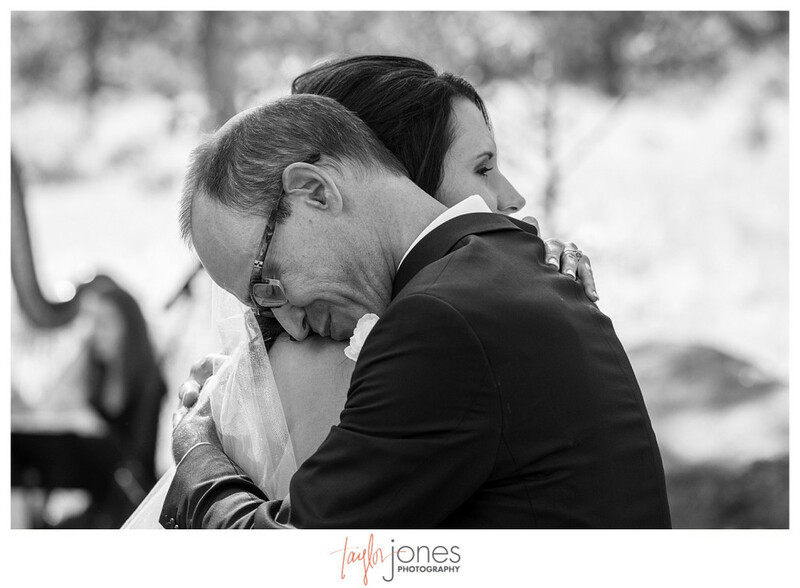 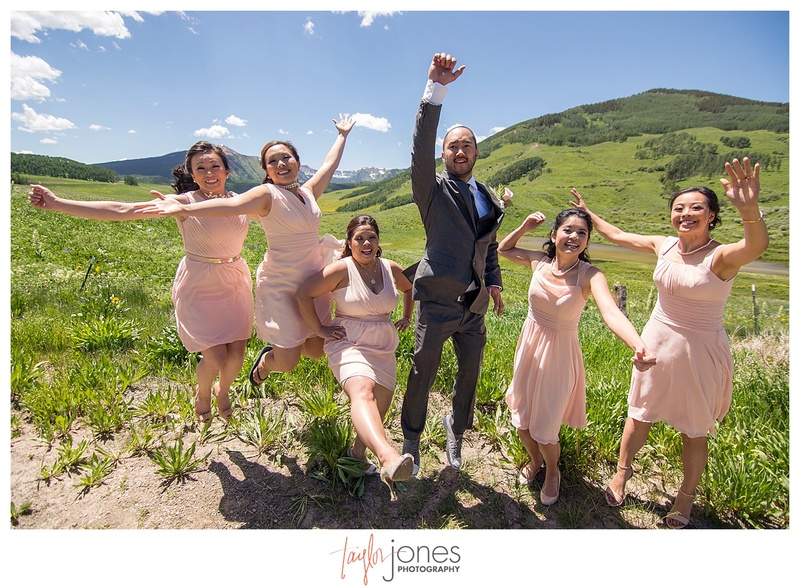 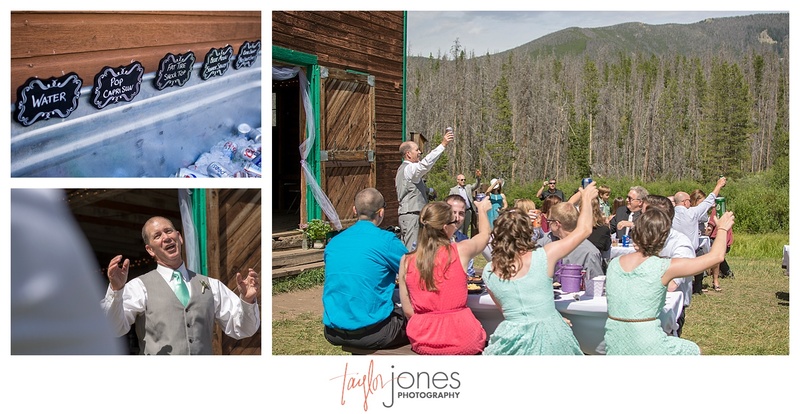 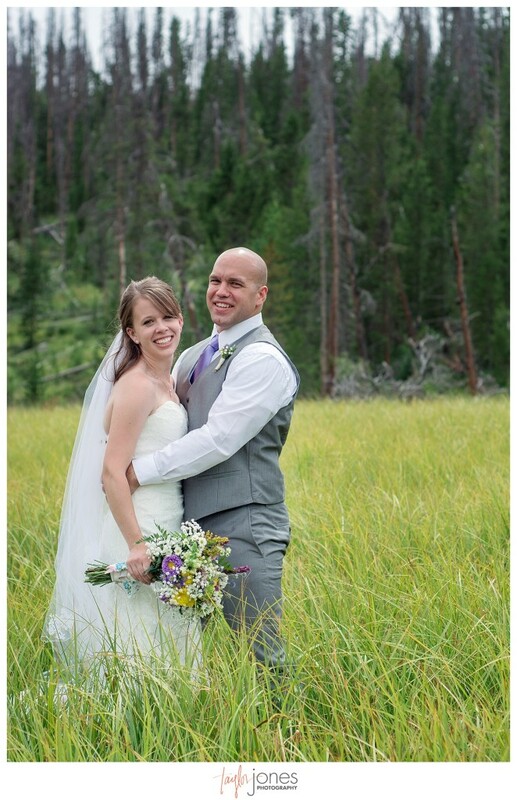 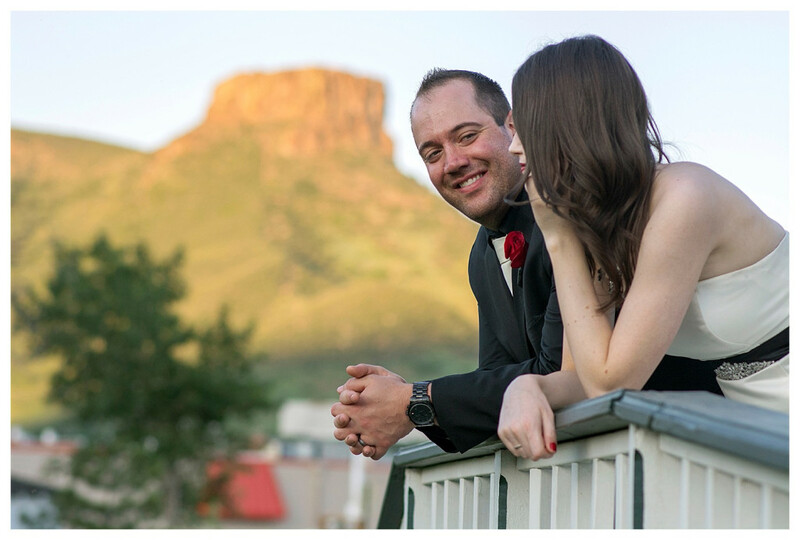 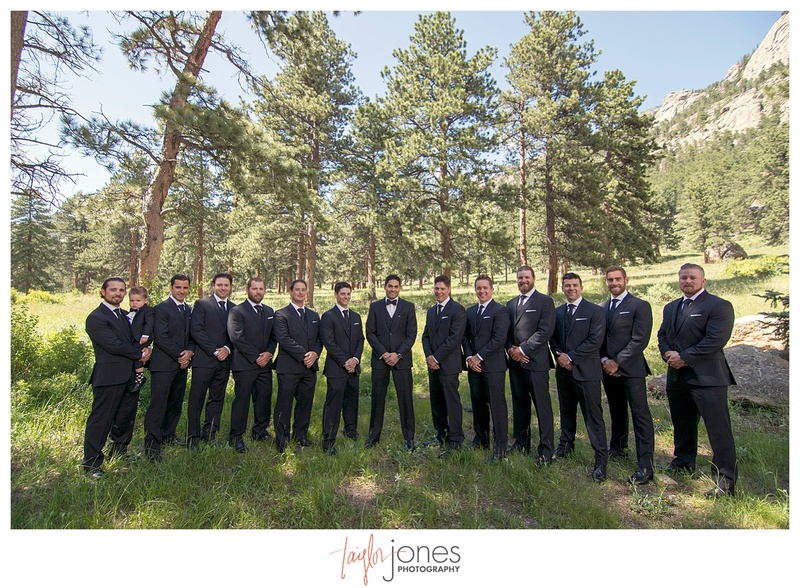 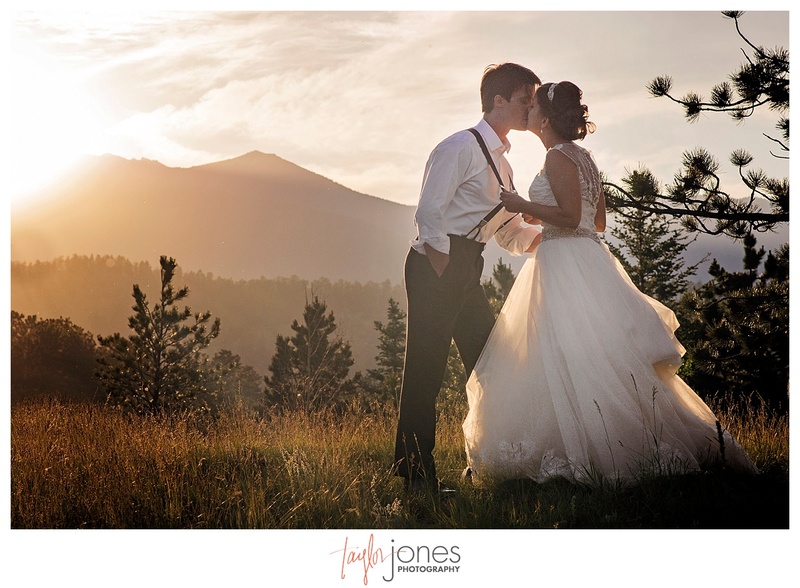 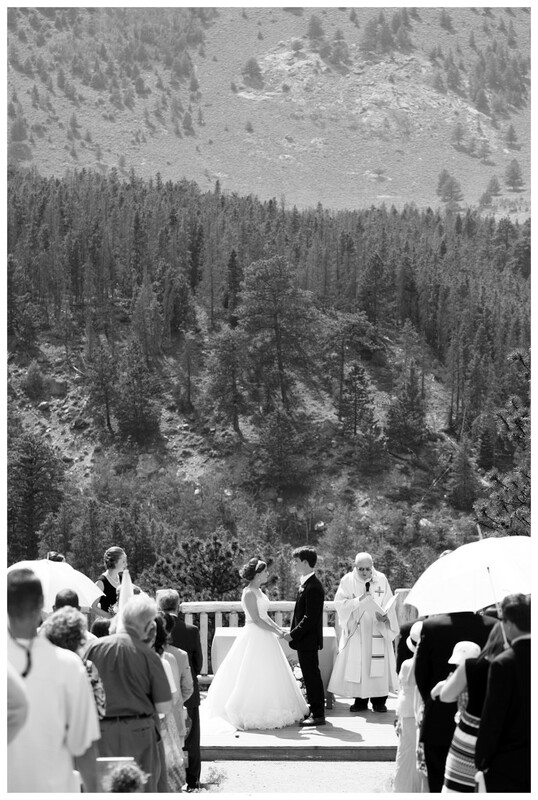 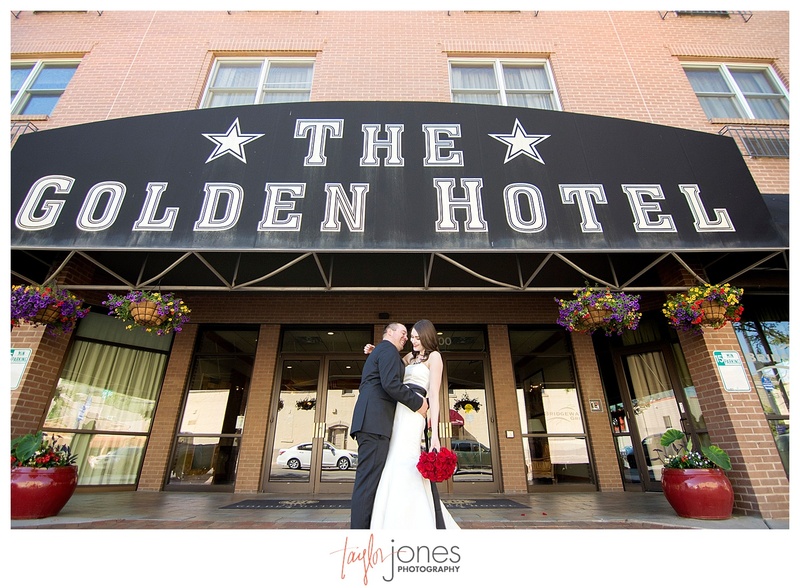 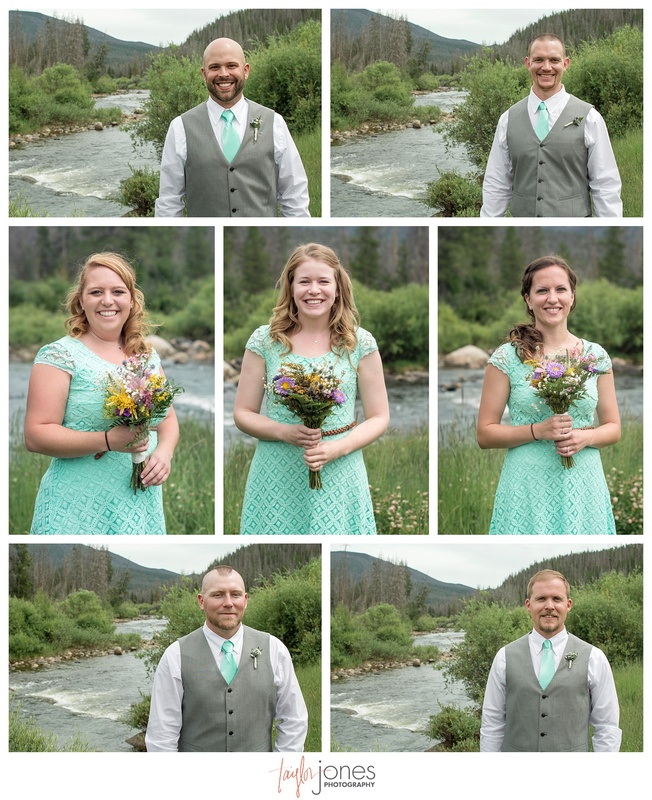 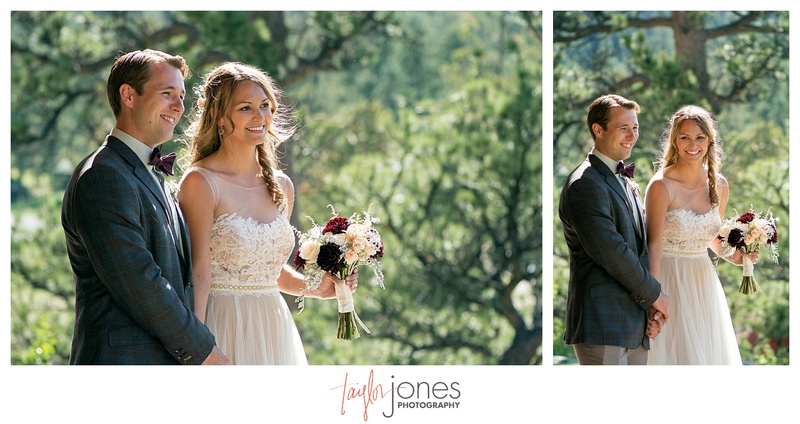 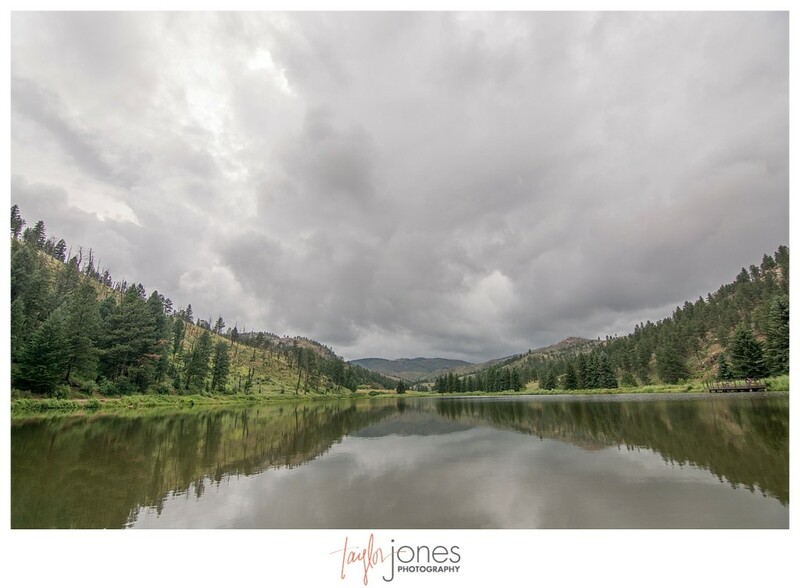 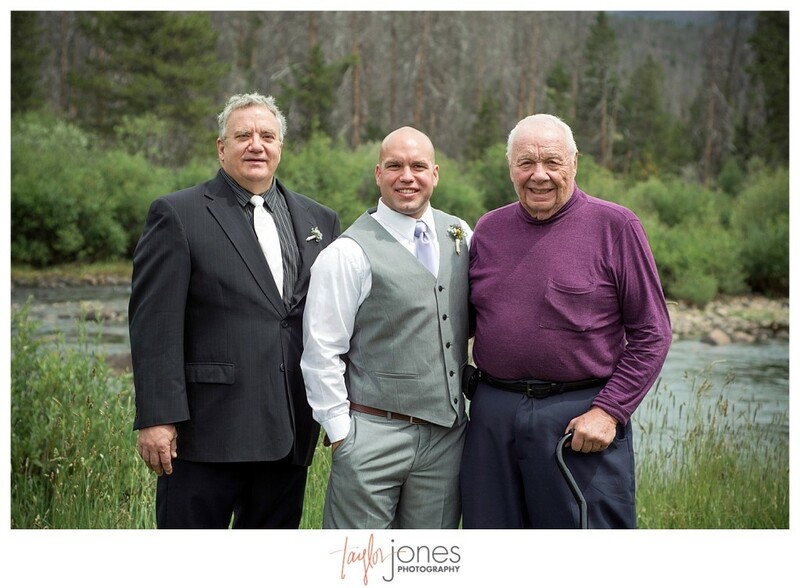 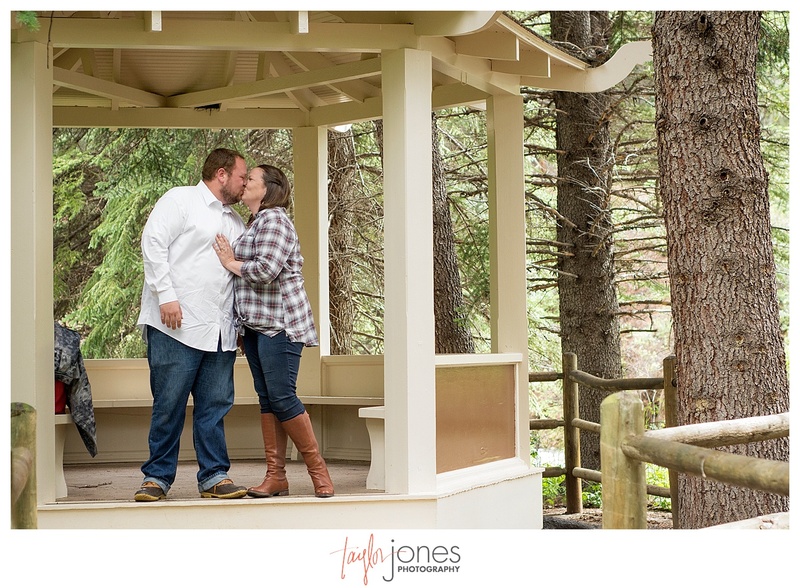 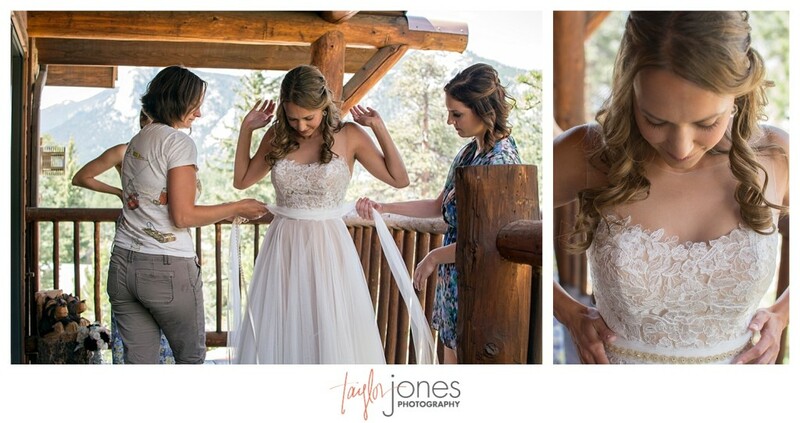 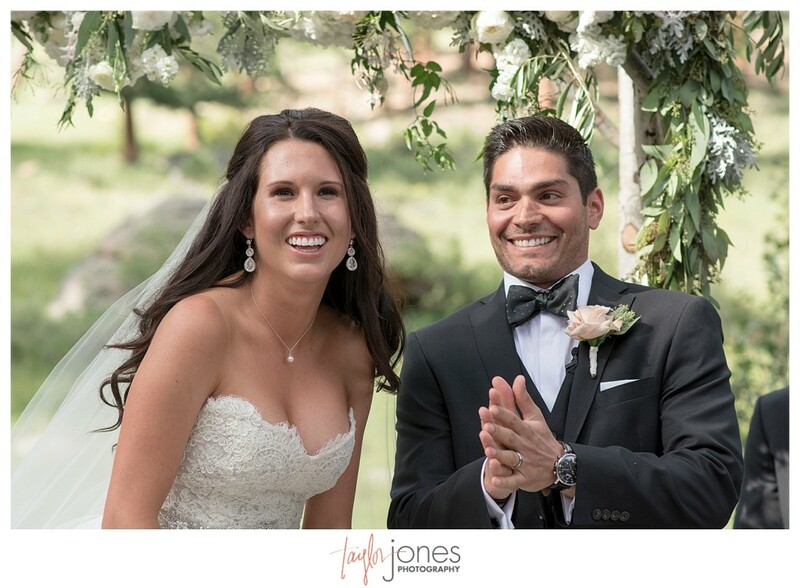 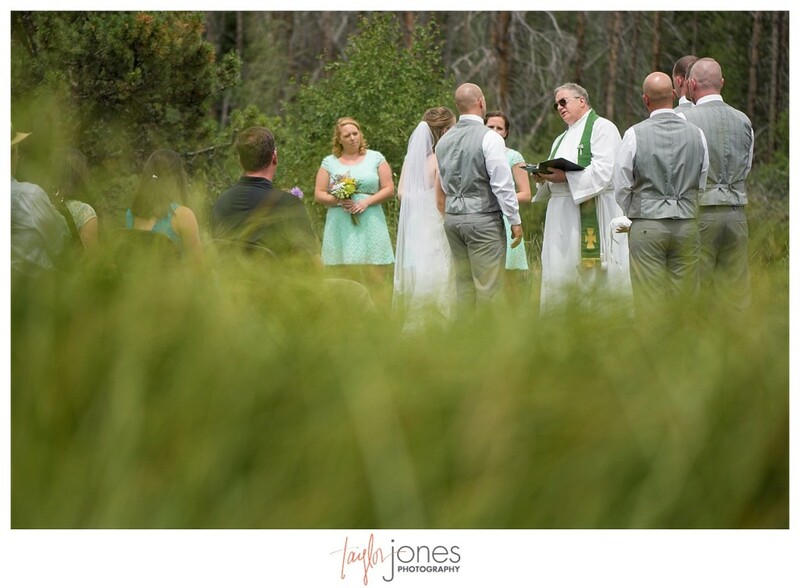 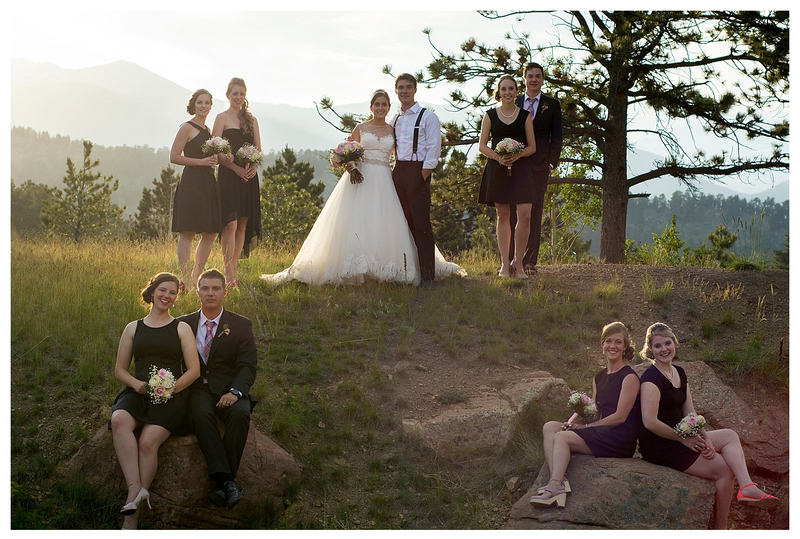 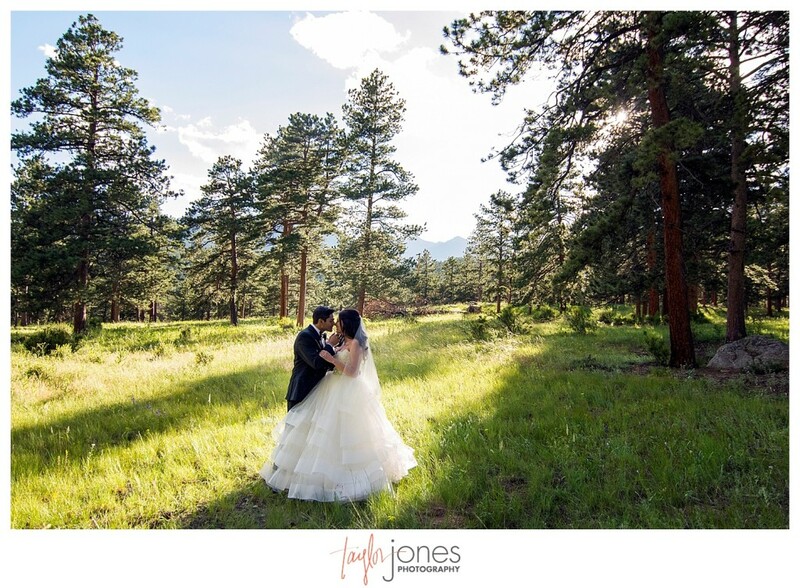 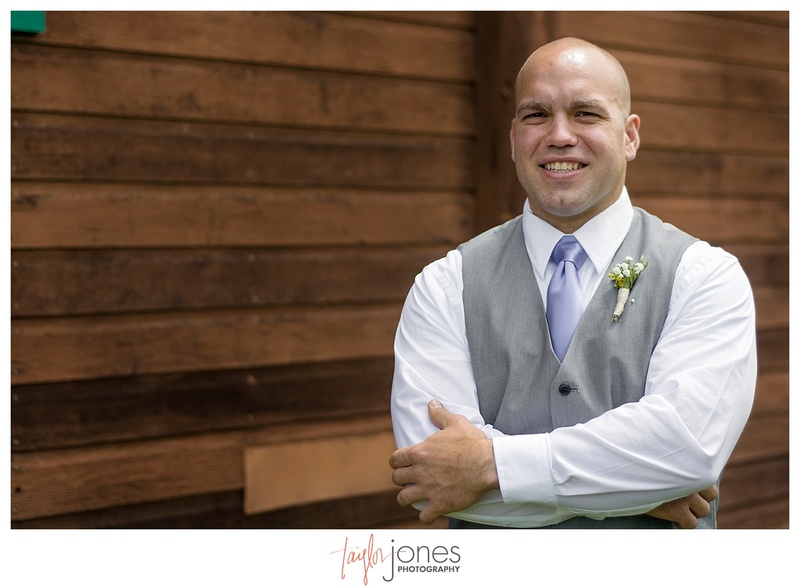 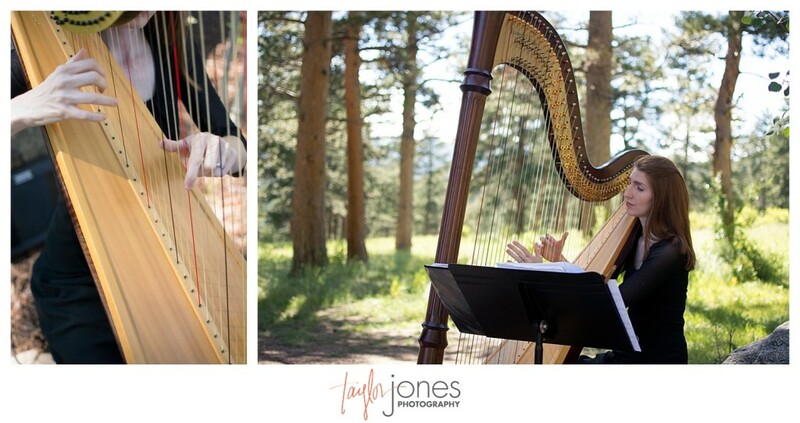 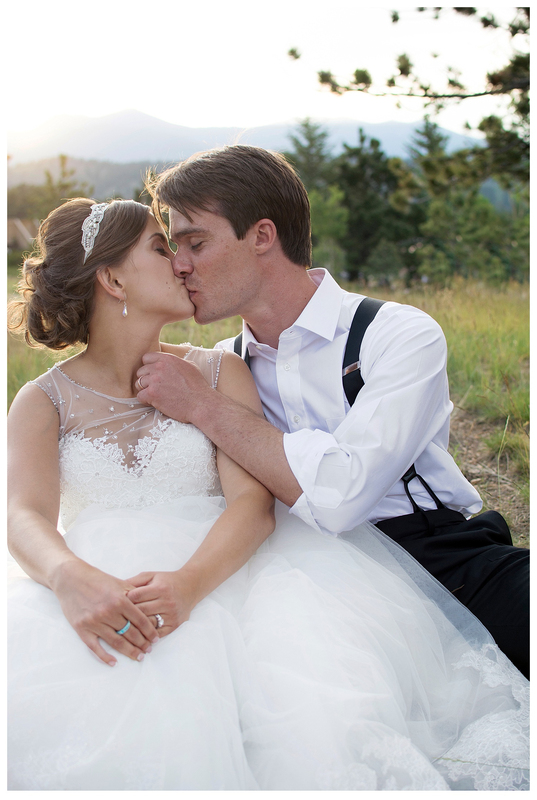 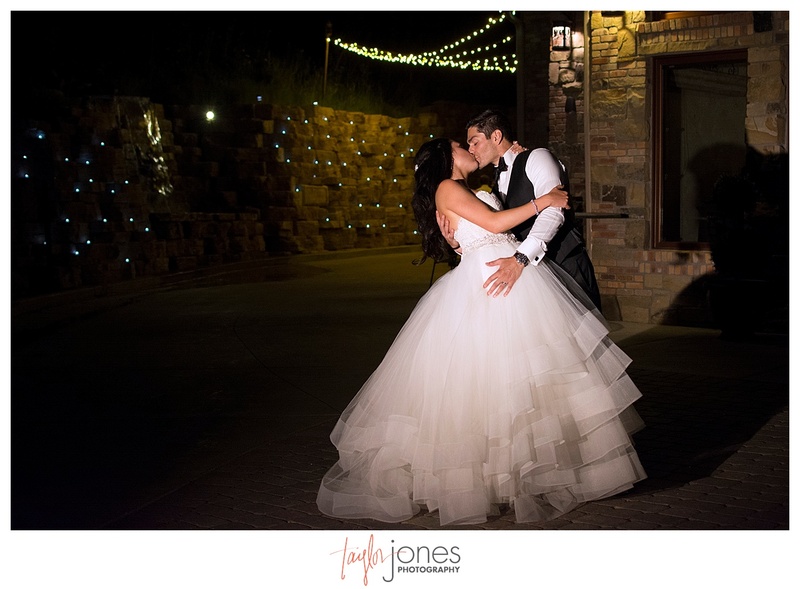 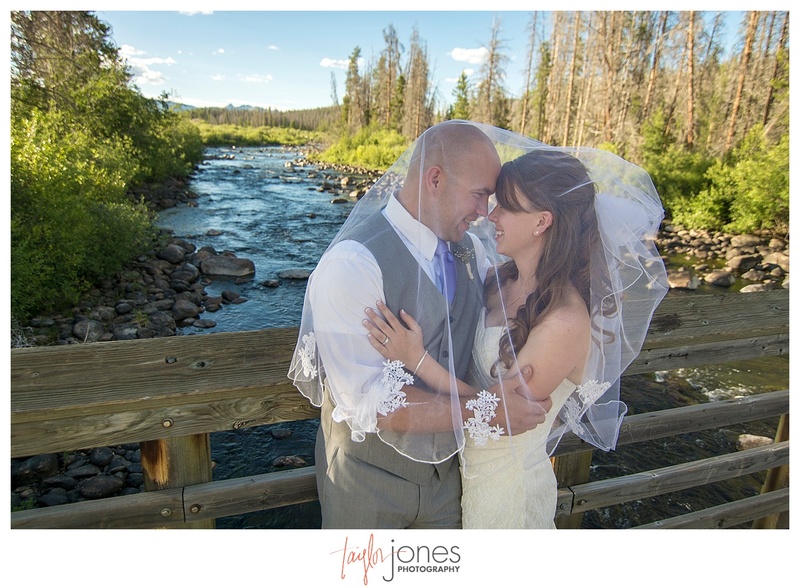 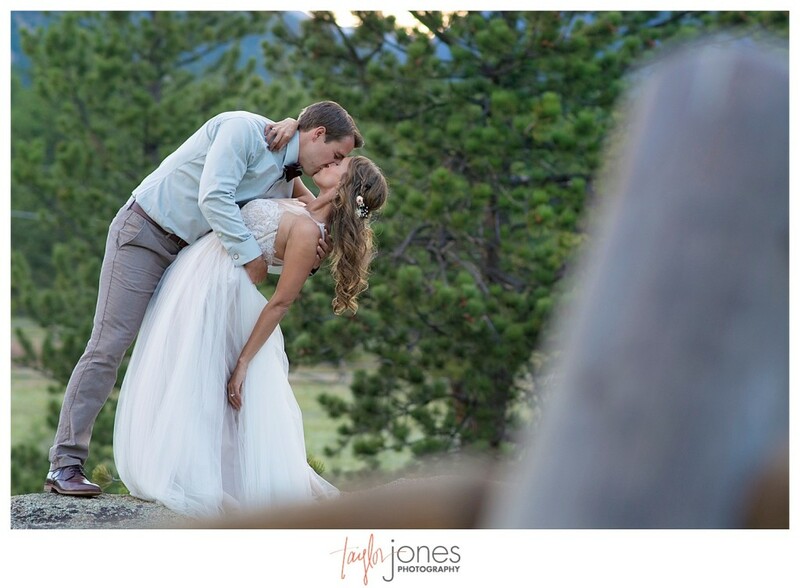 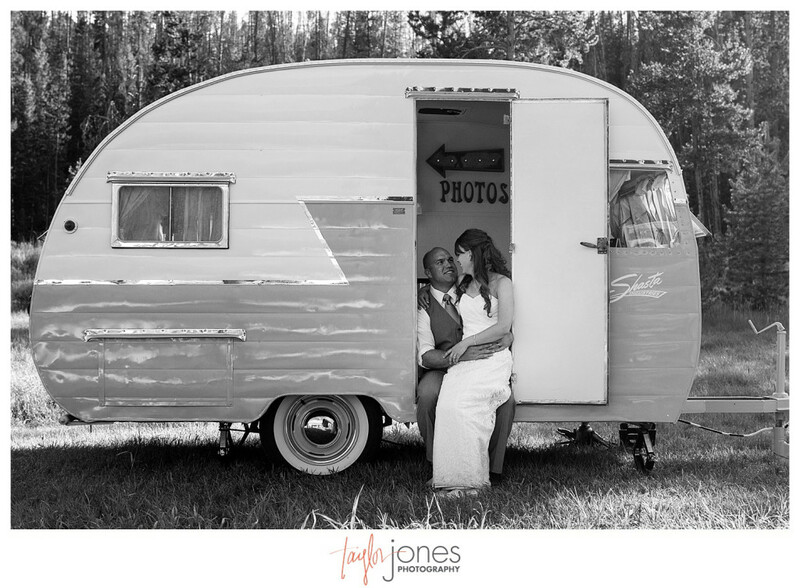 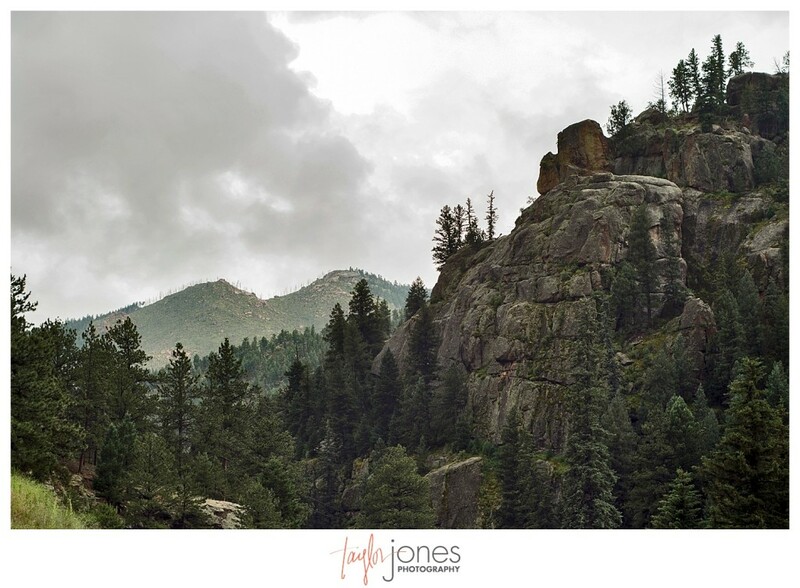 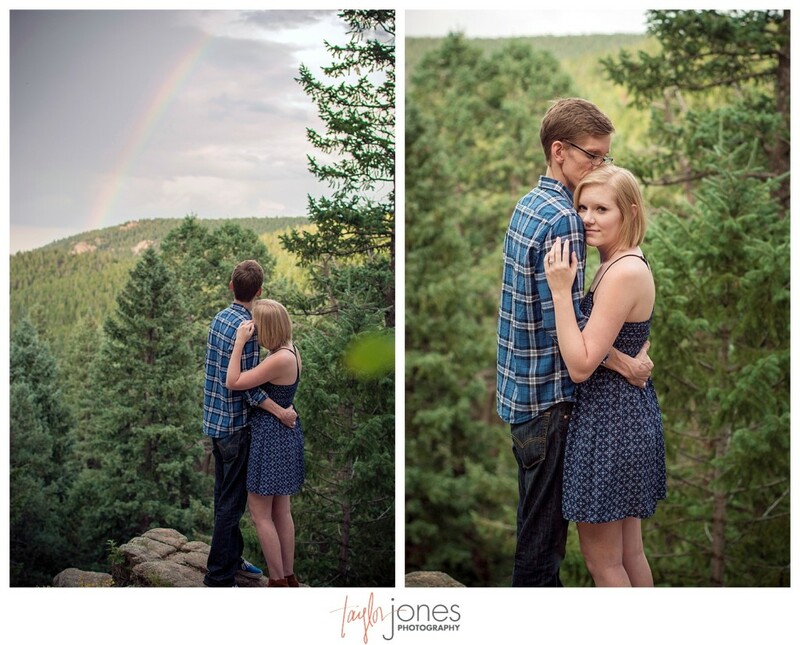 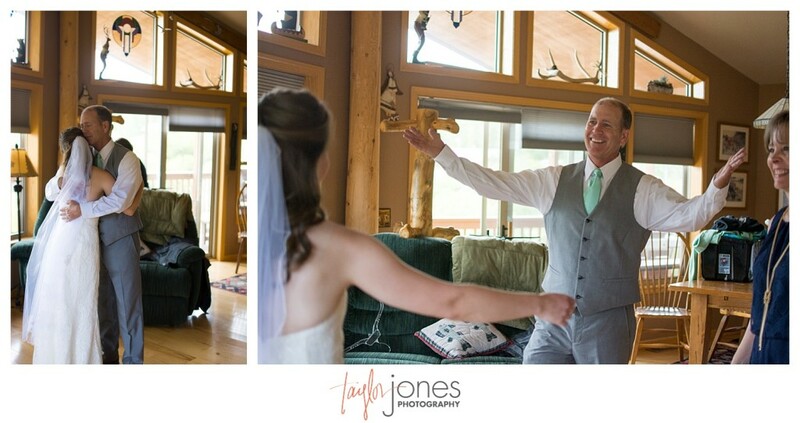 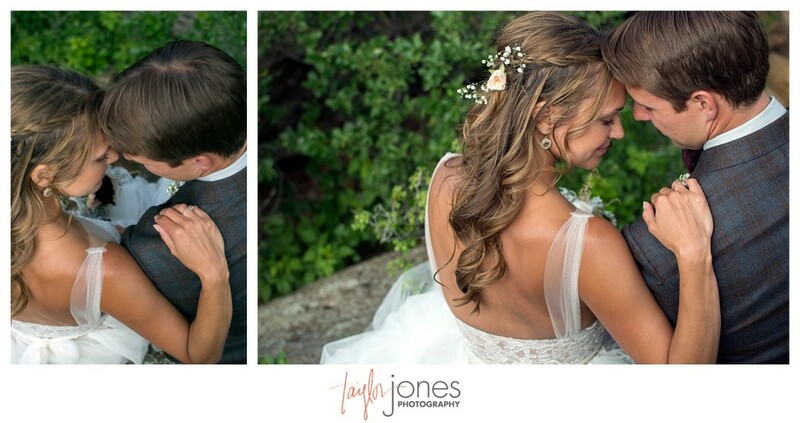 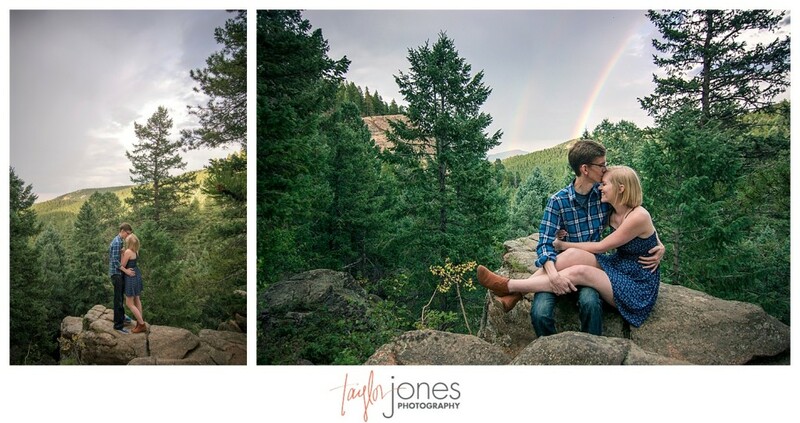 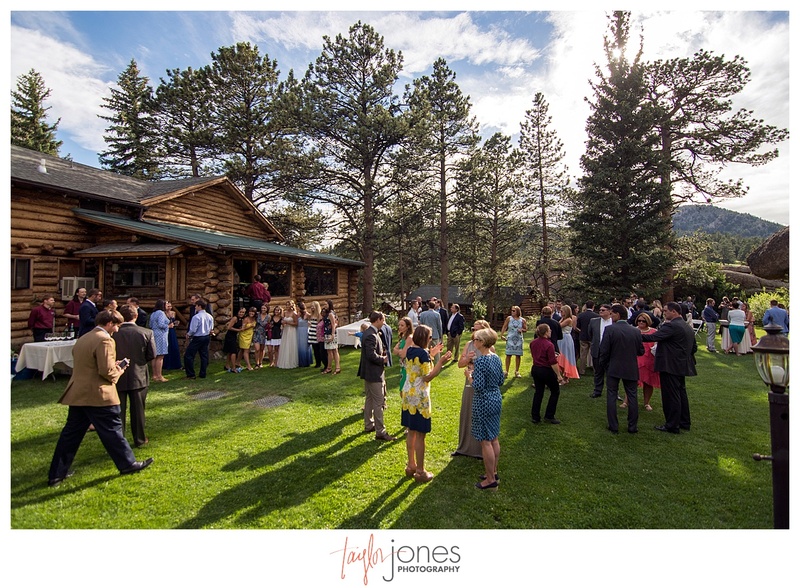 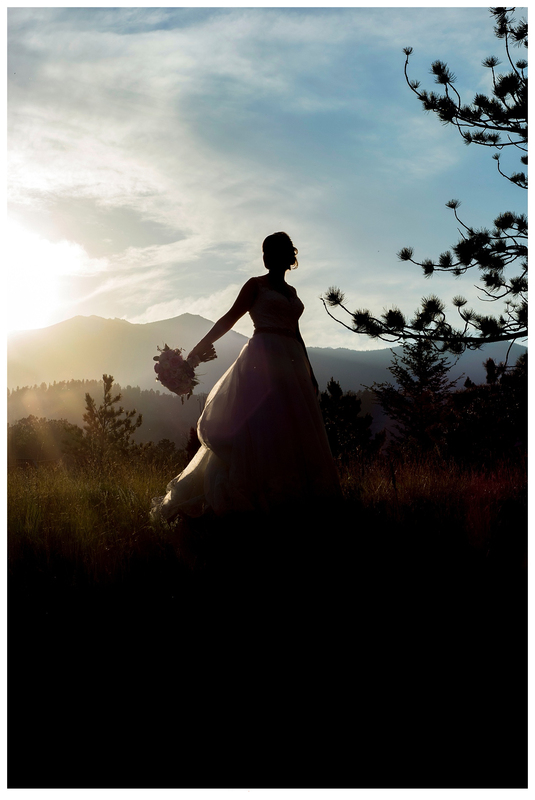 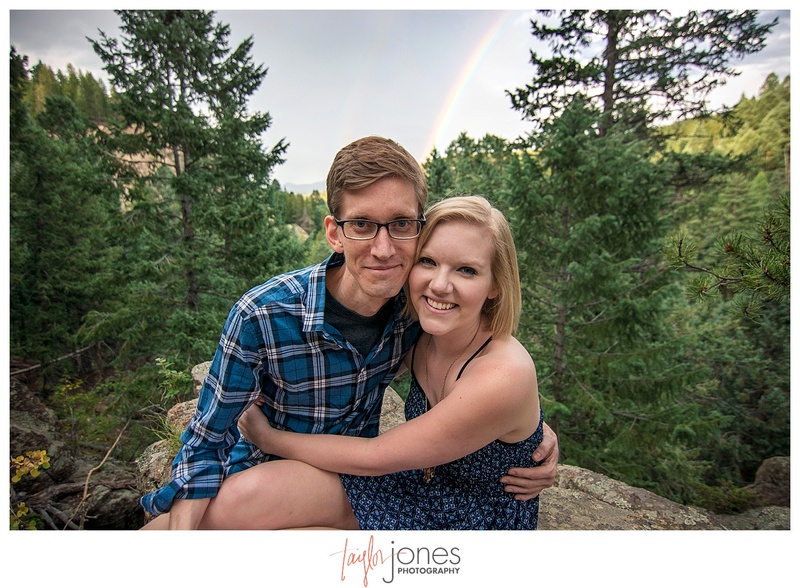 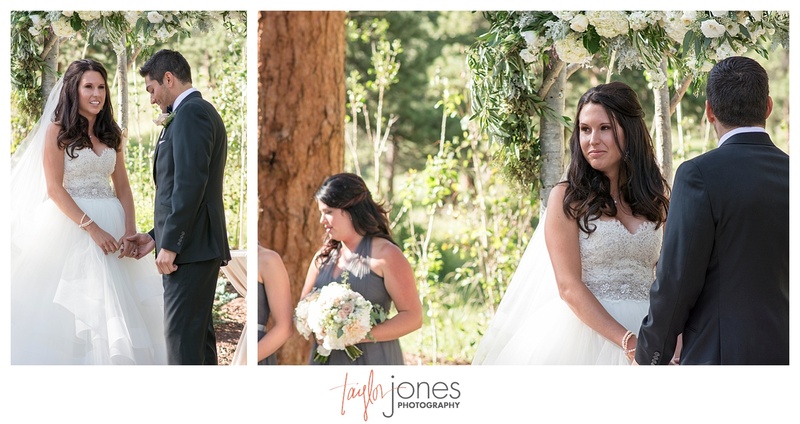 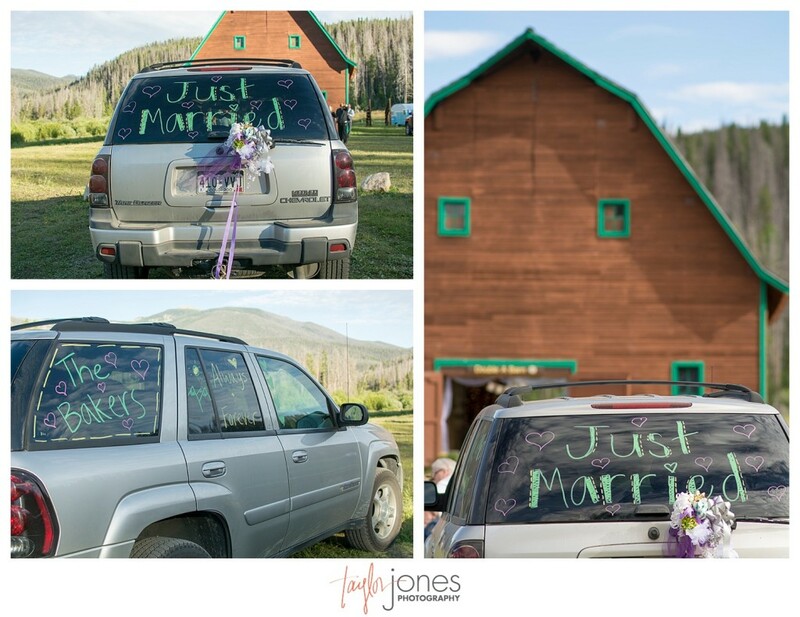 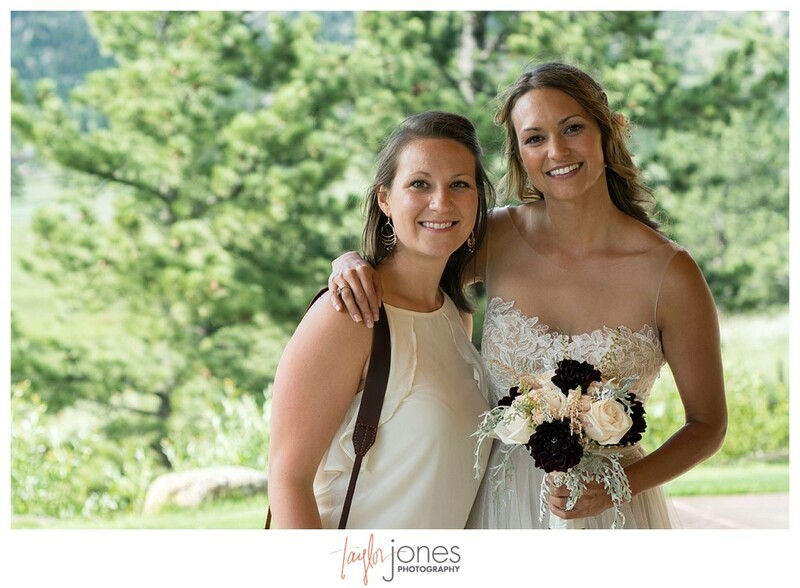 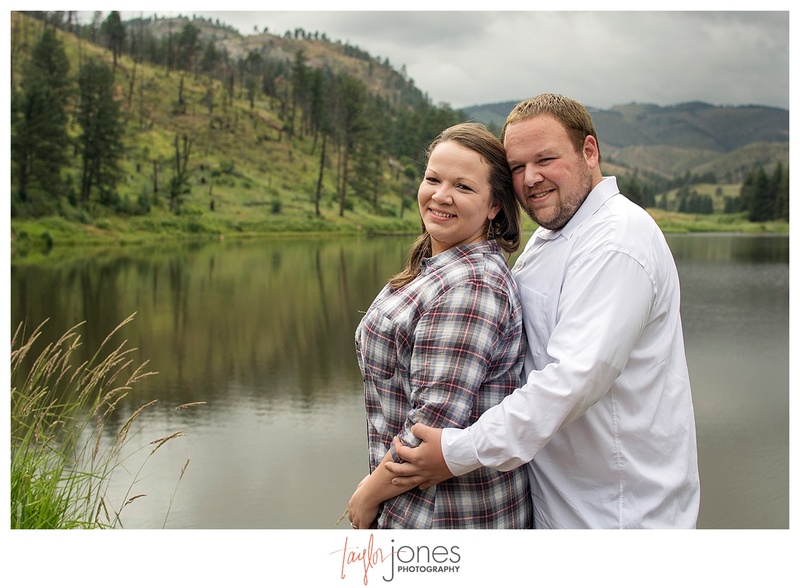 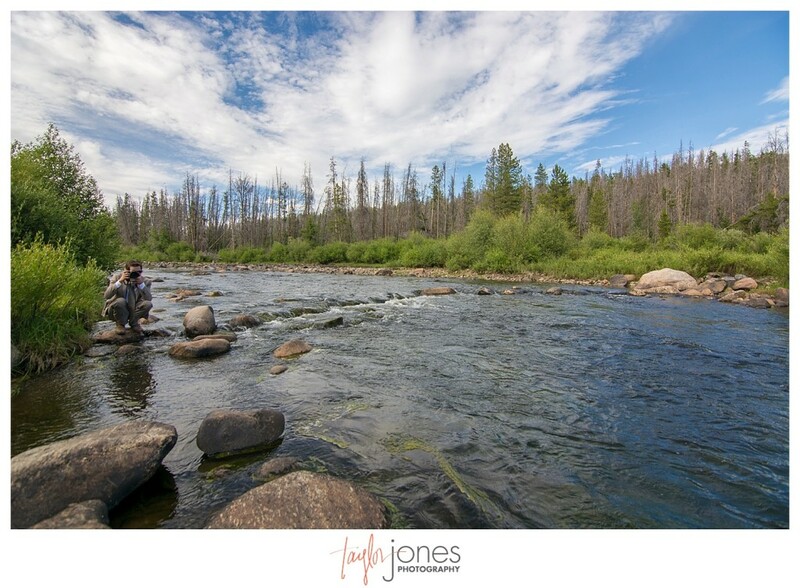 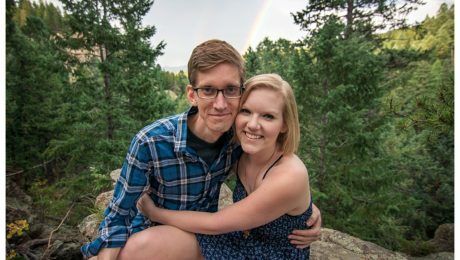 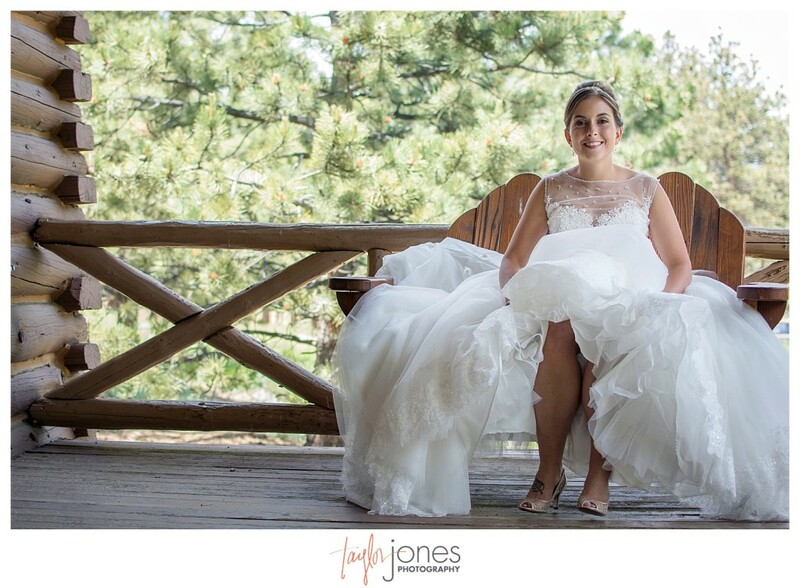 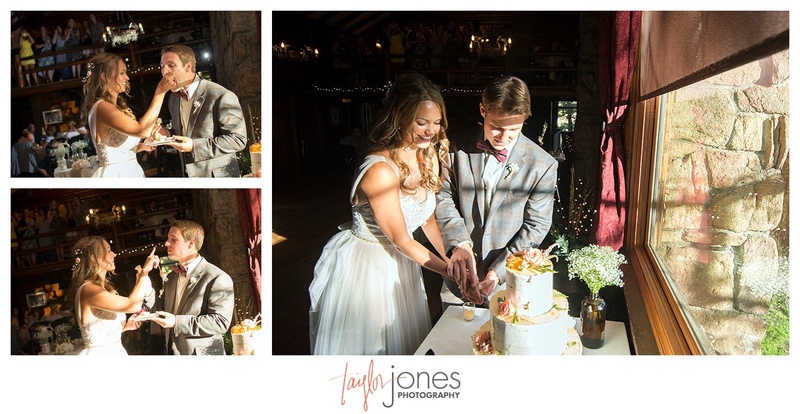 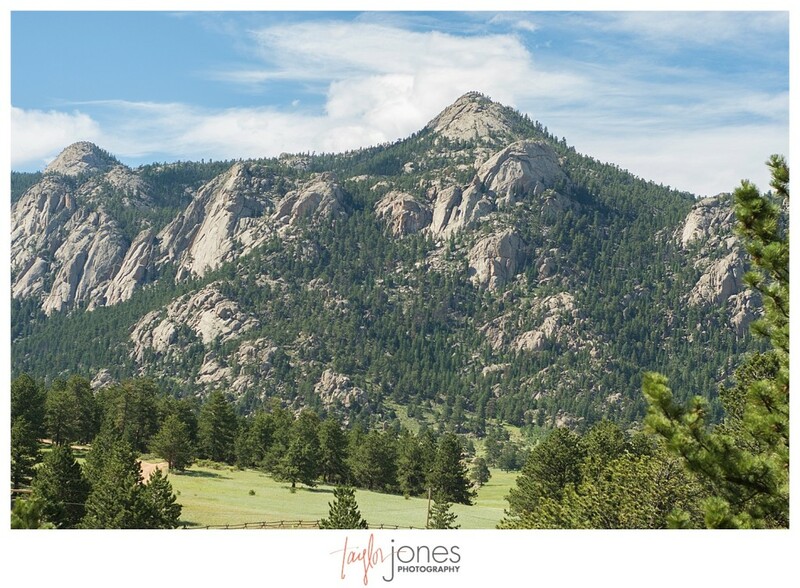 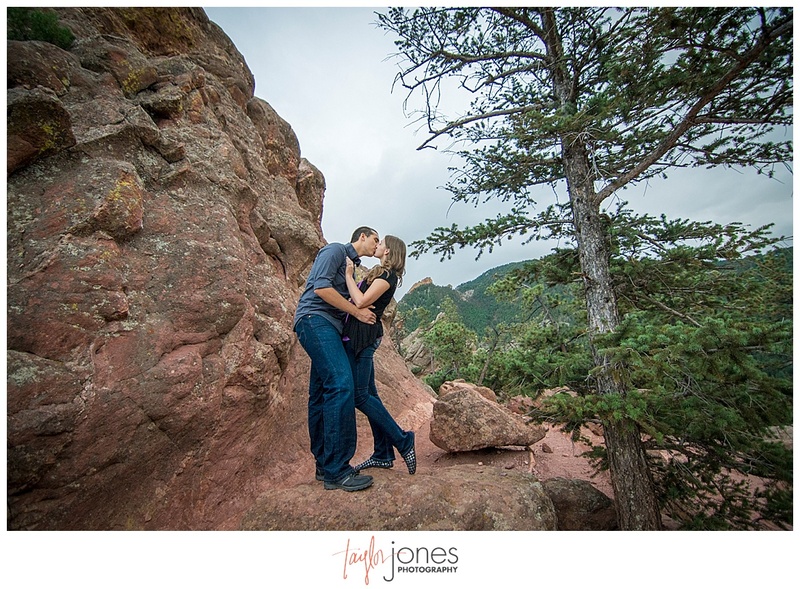 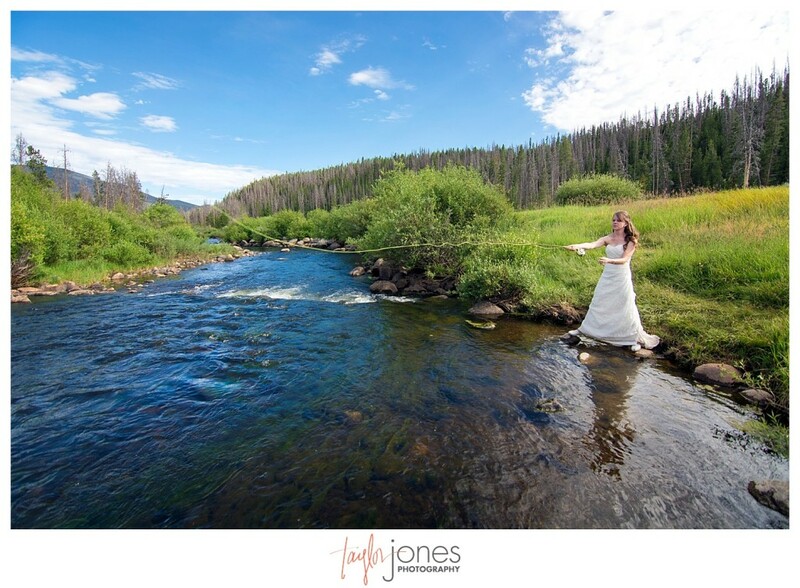 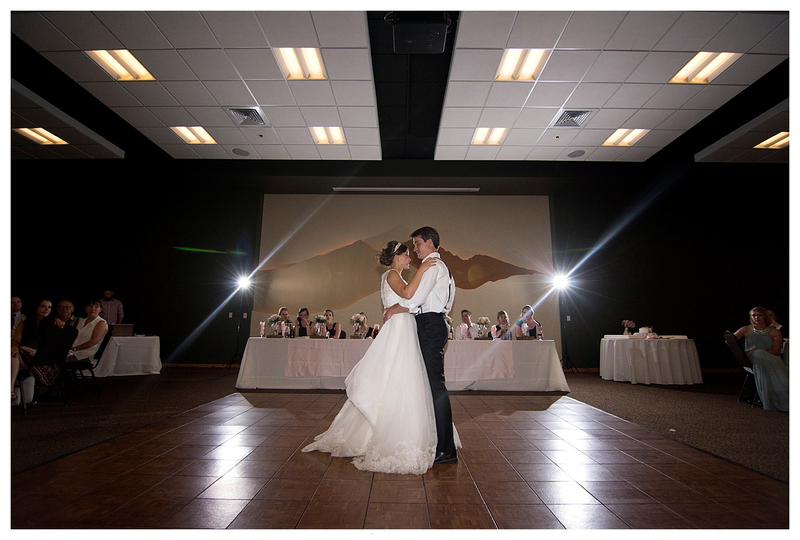 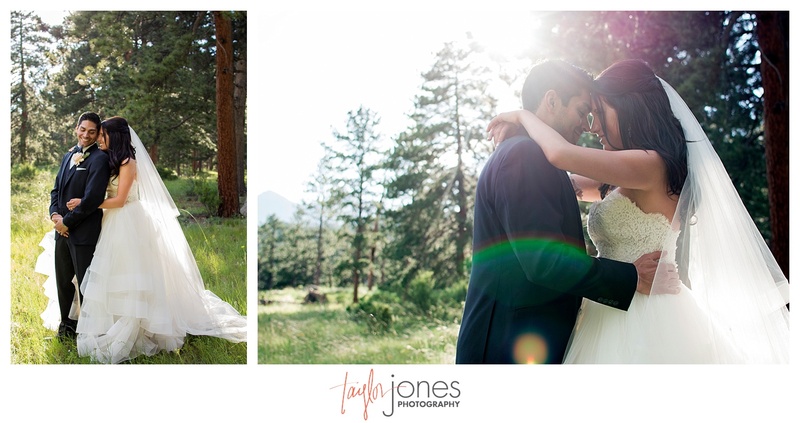 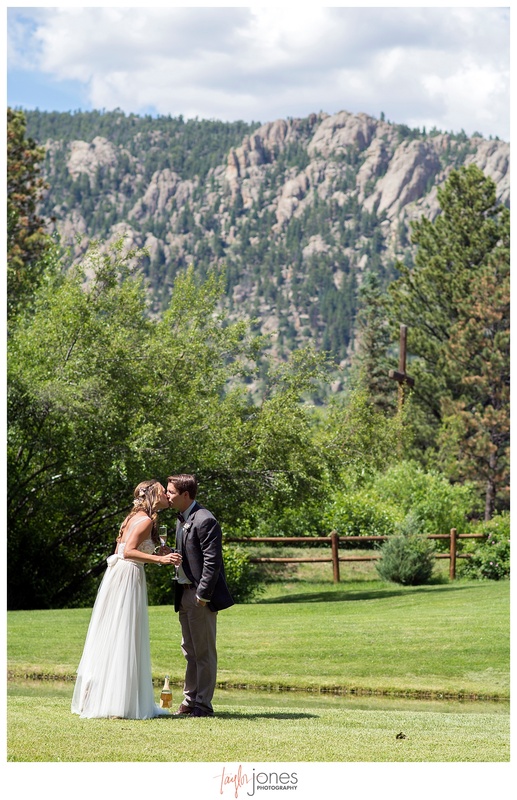 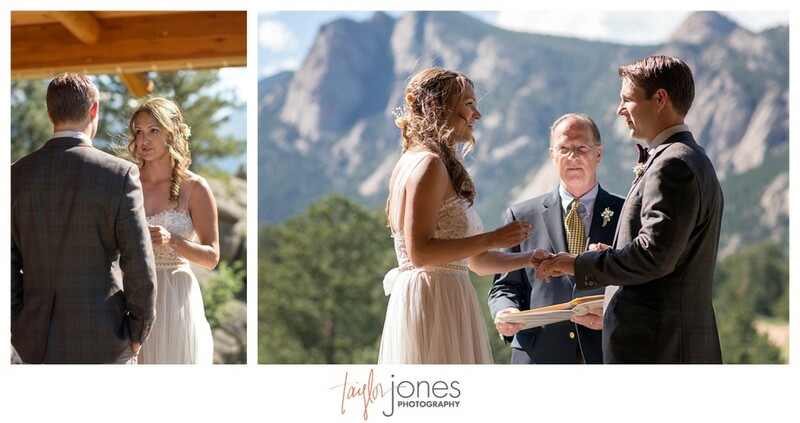 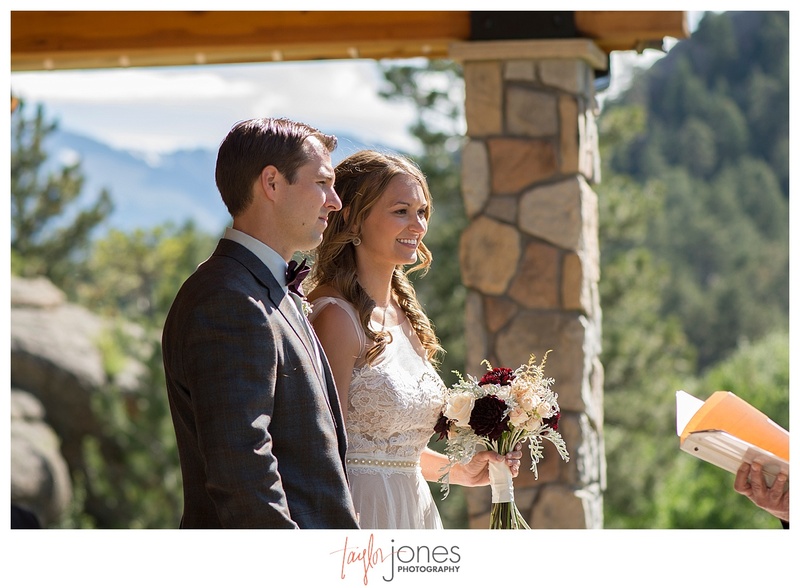 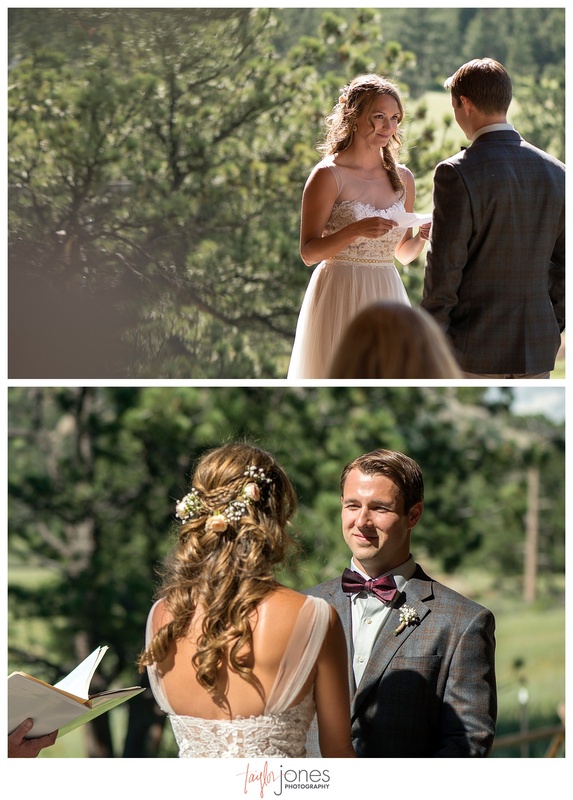 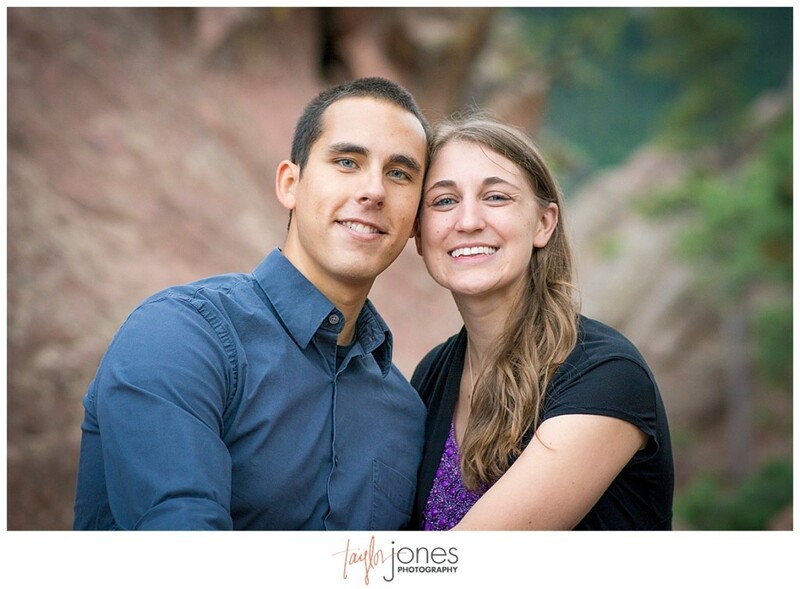 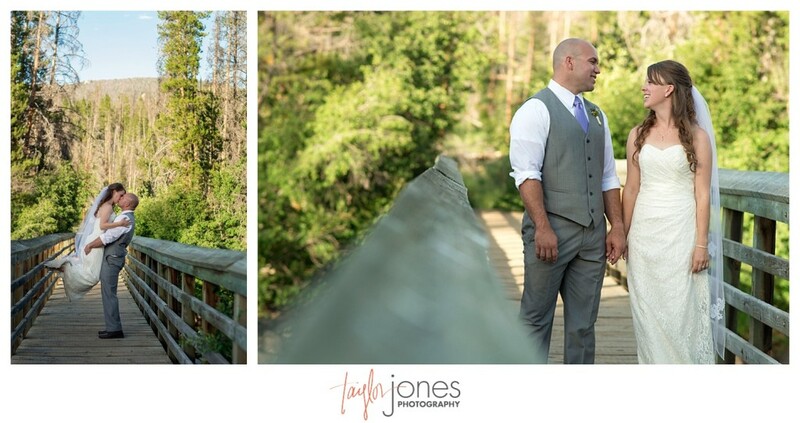 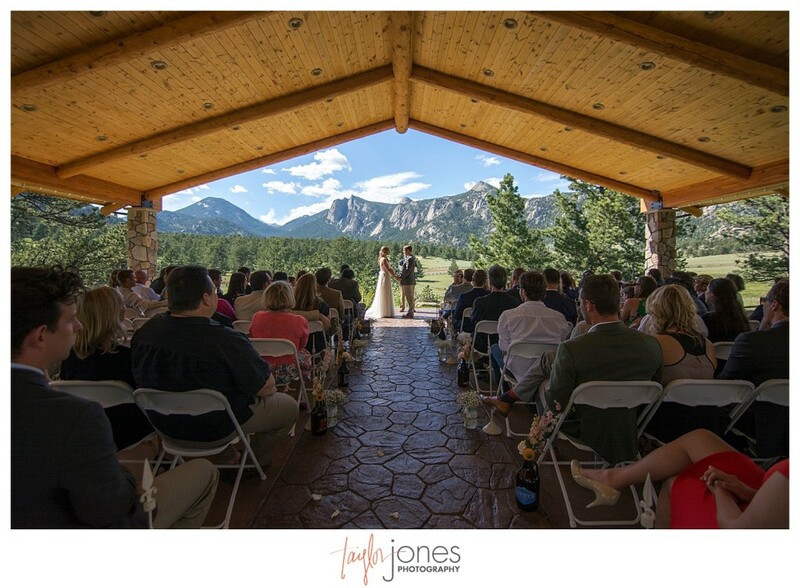 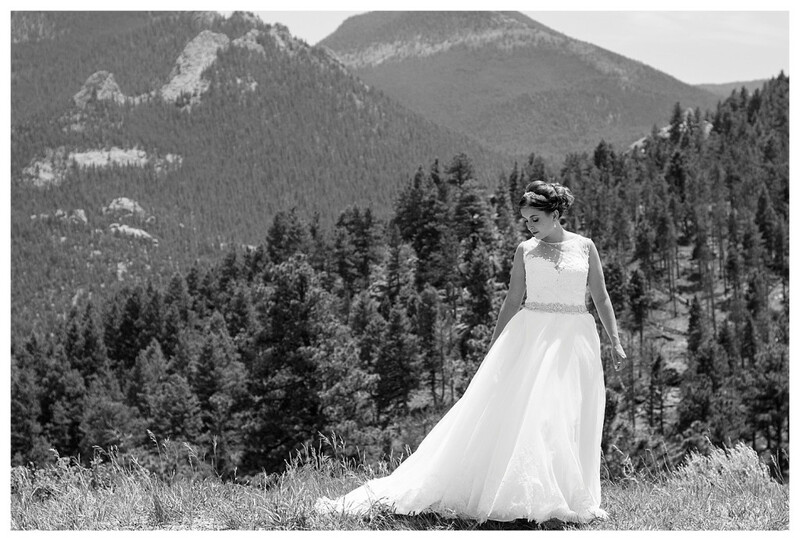 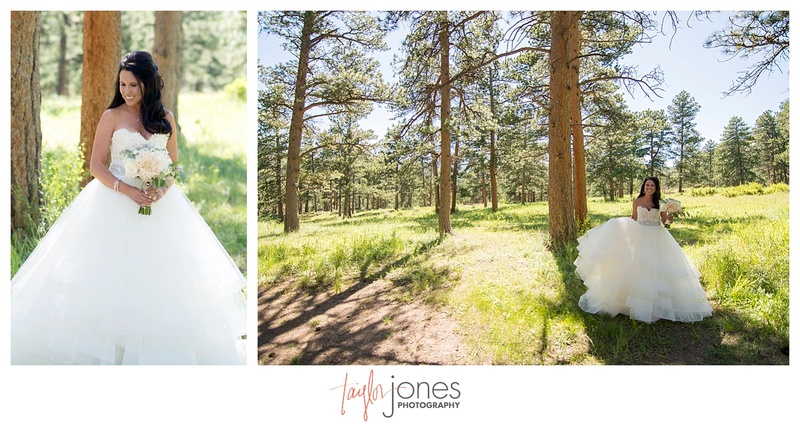 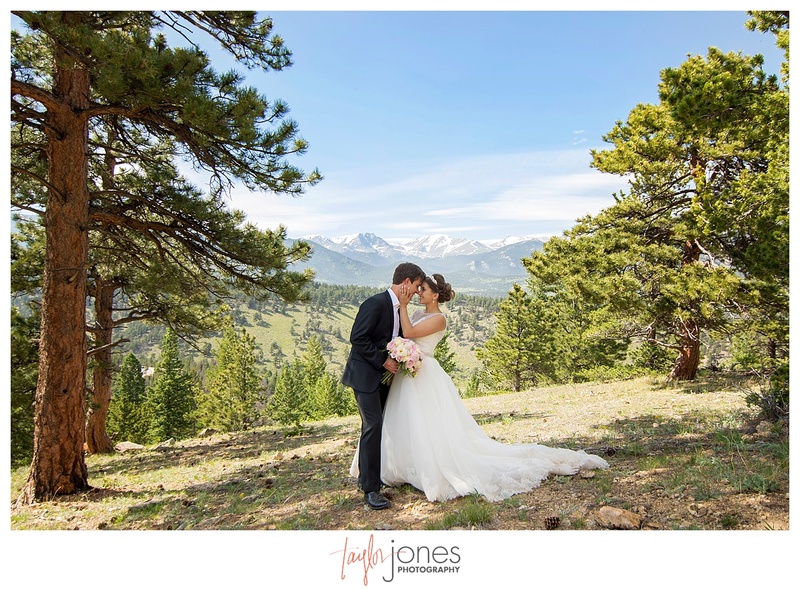 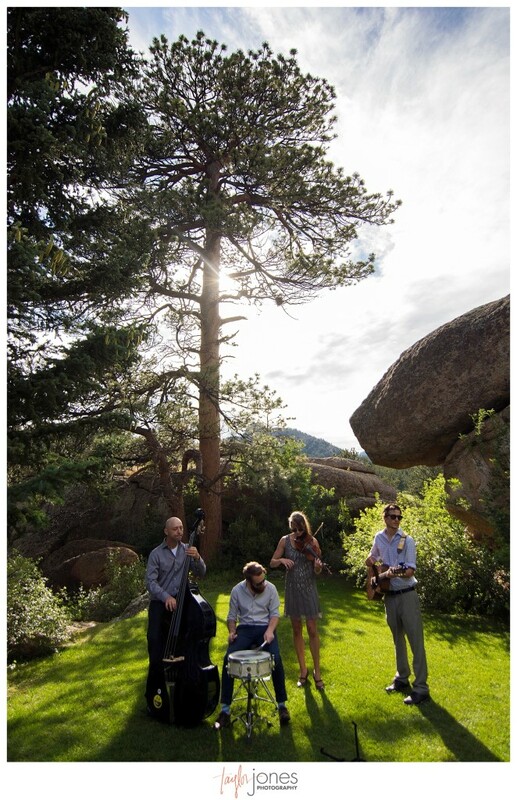 We were so excited to hear that their love of the mountains was going to carry into their wedding at the YMCA of the Rockies in Estes Park, Colorado. 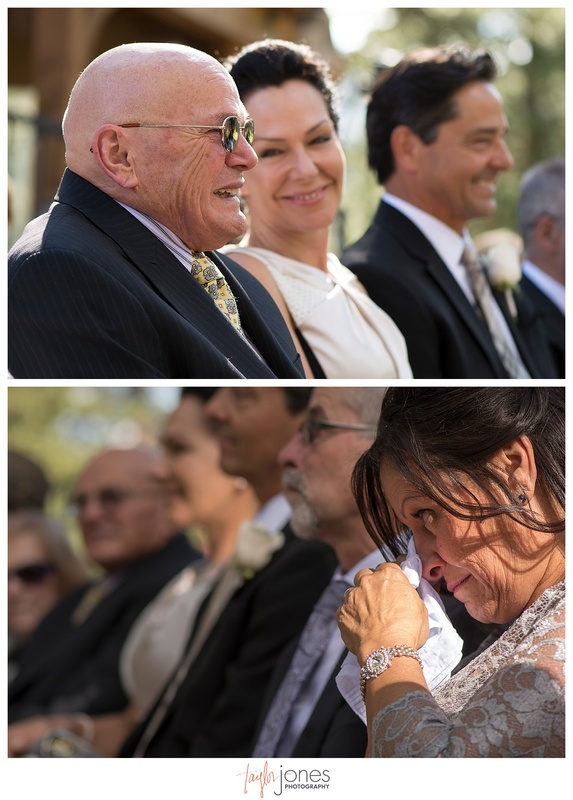 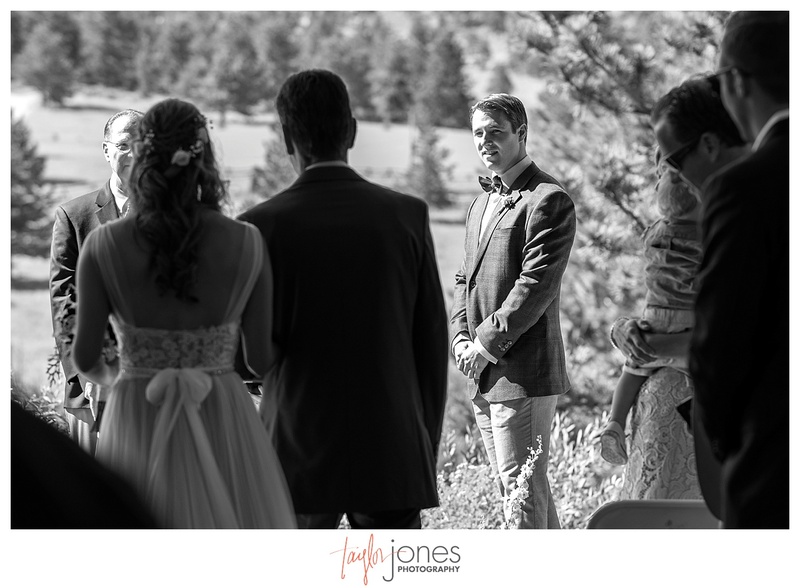 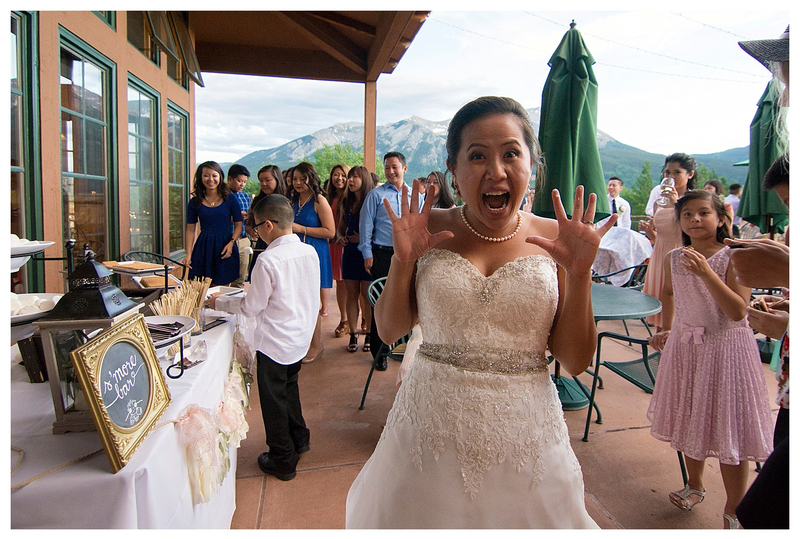 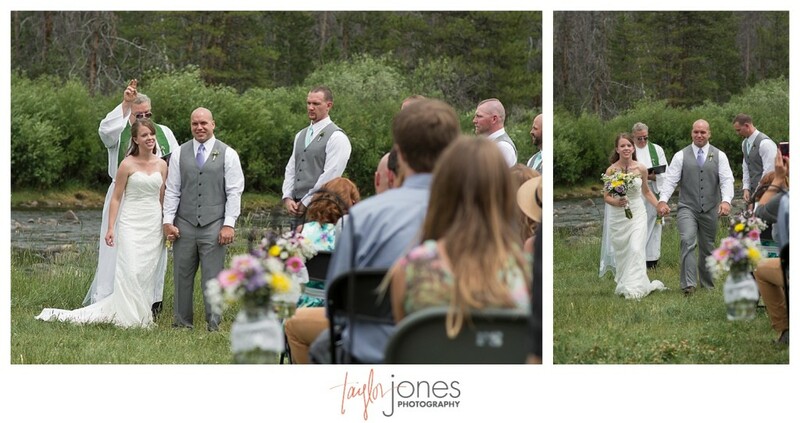 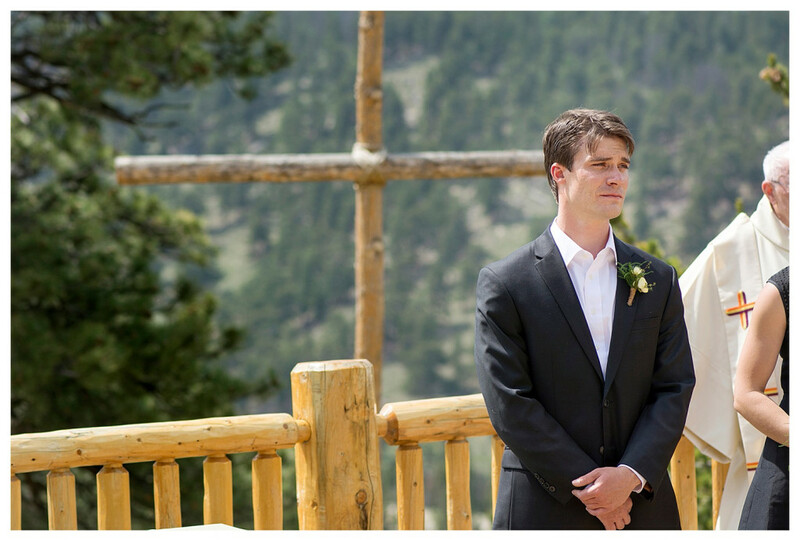 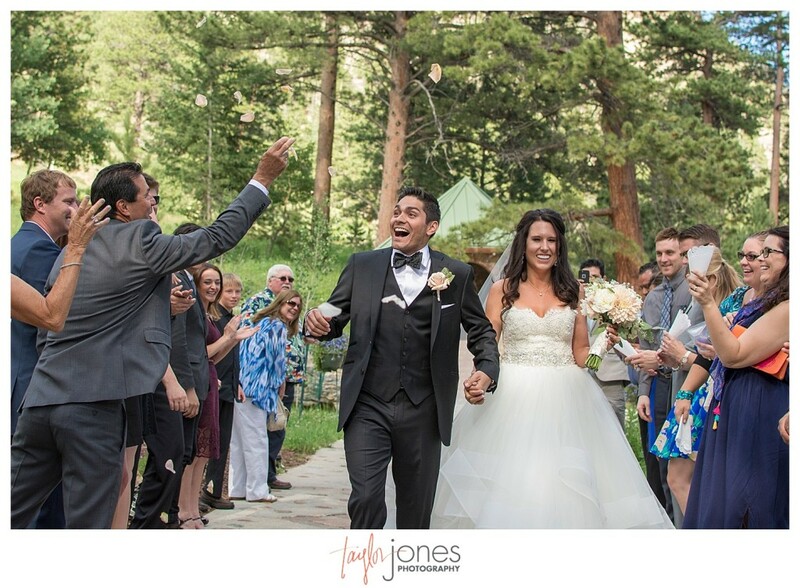 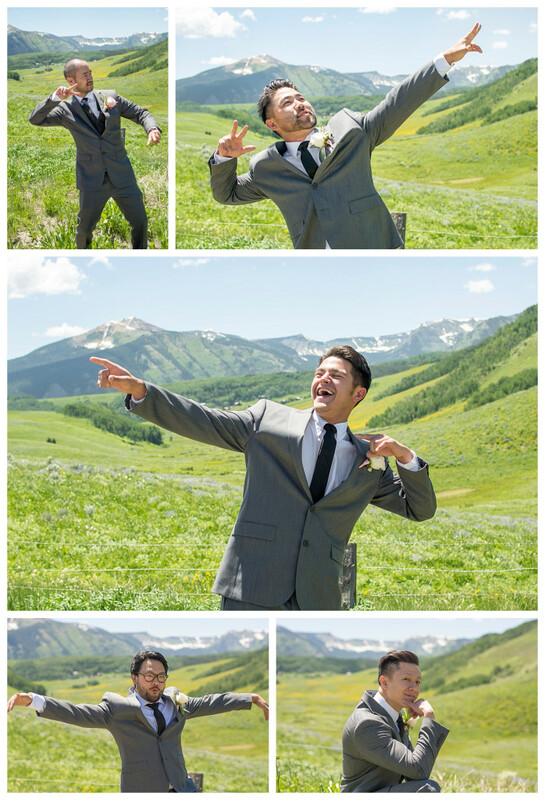 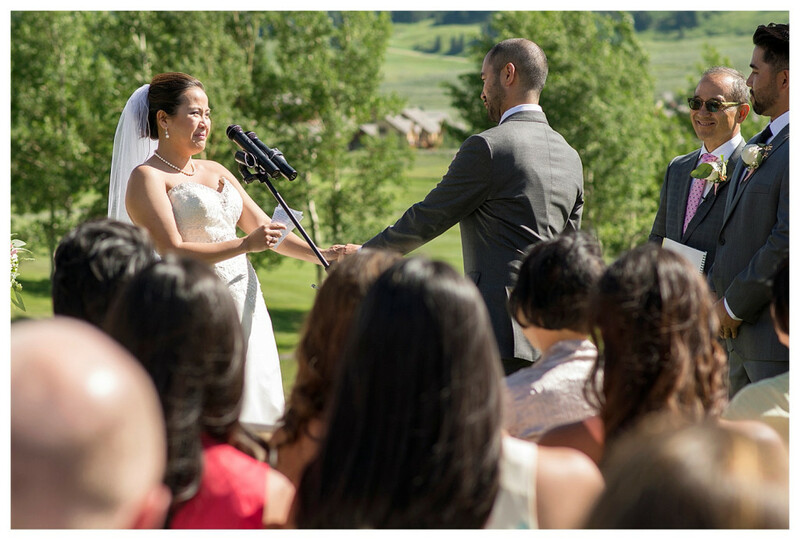 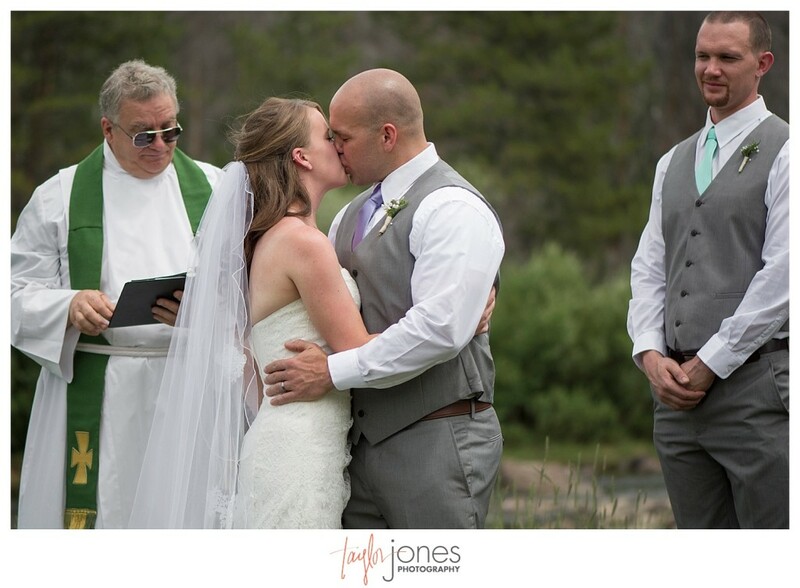 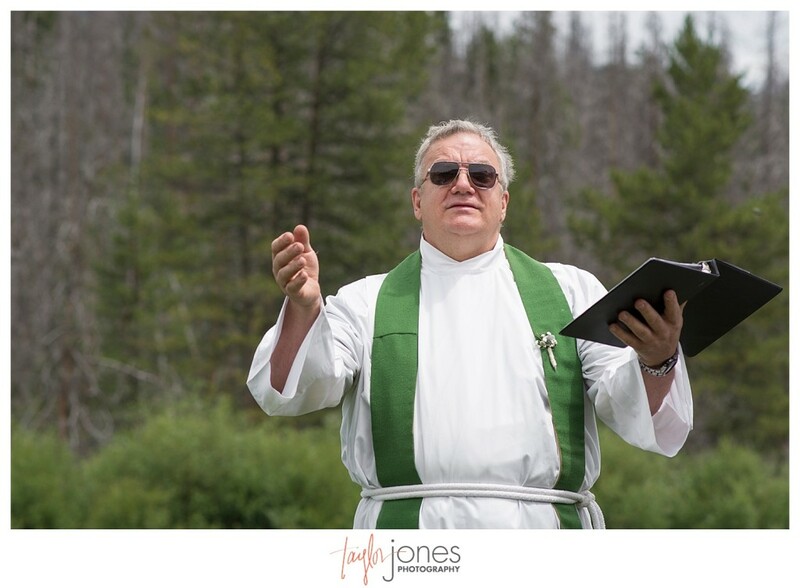 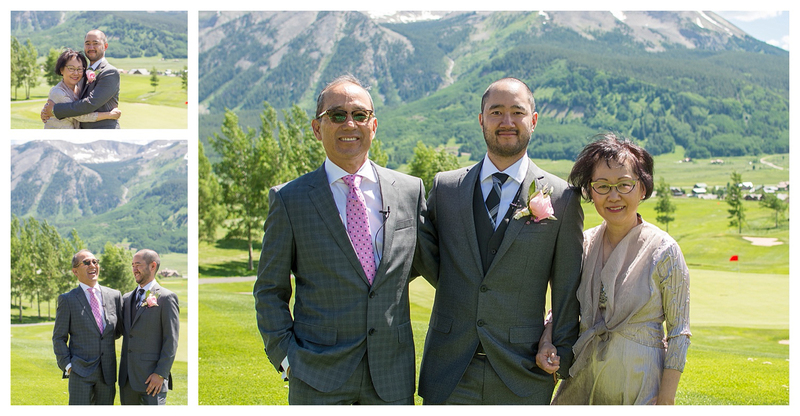 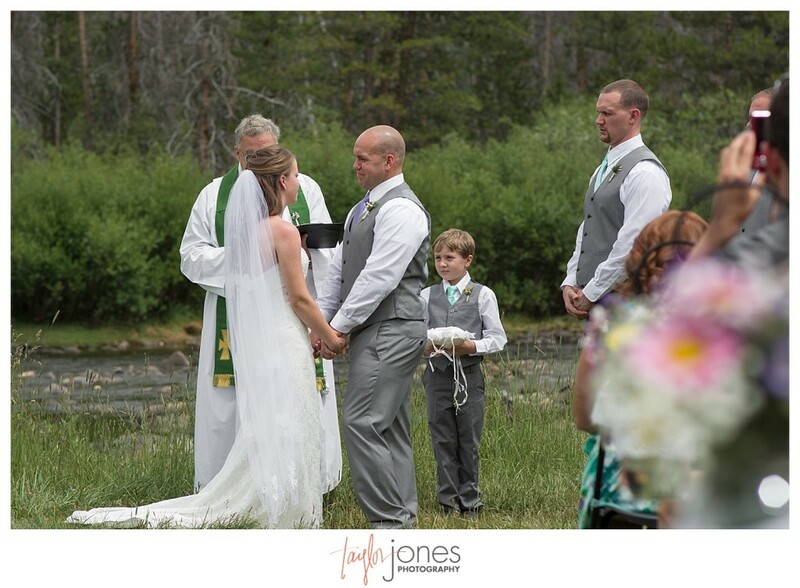 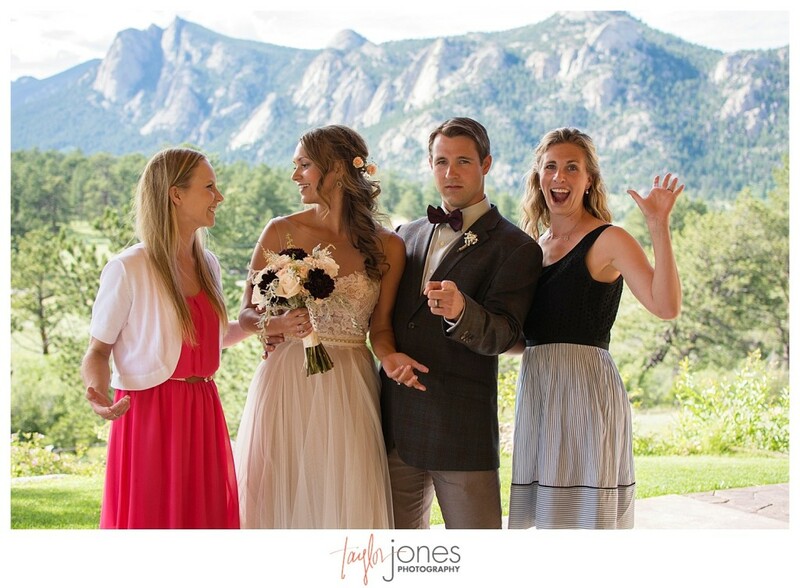 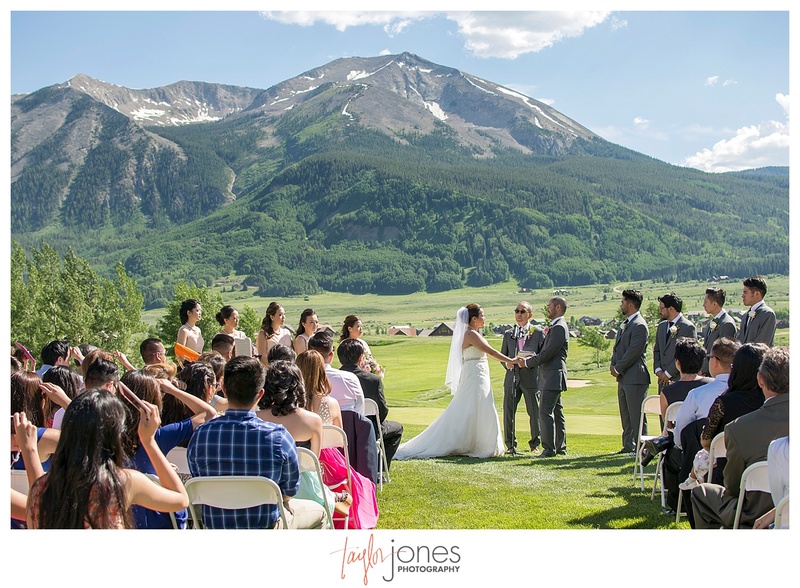 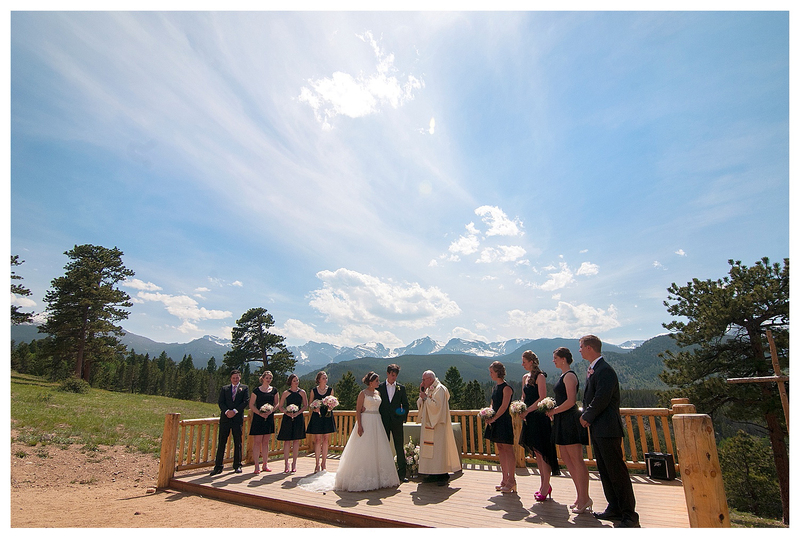 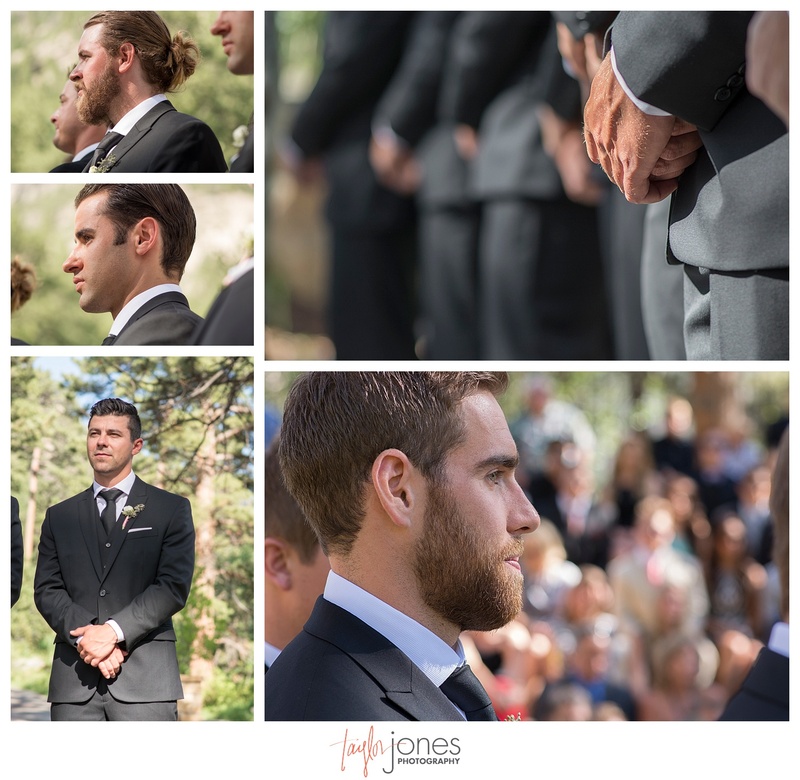 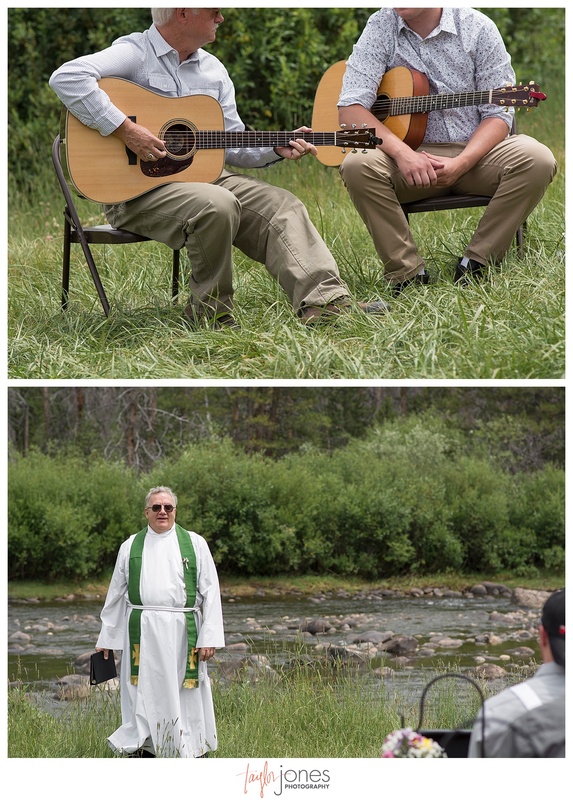 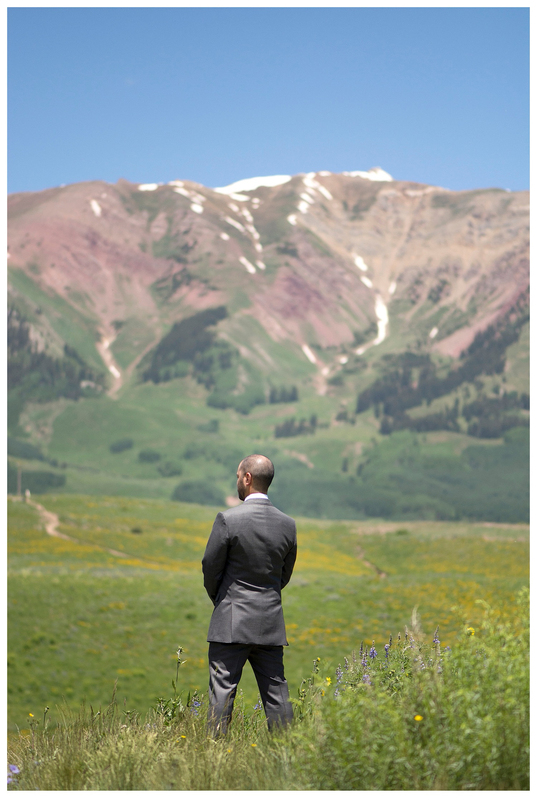 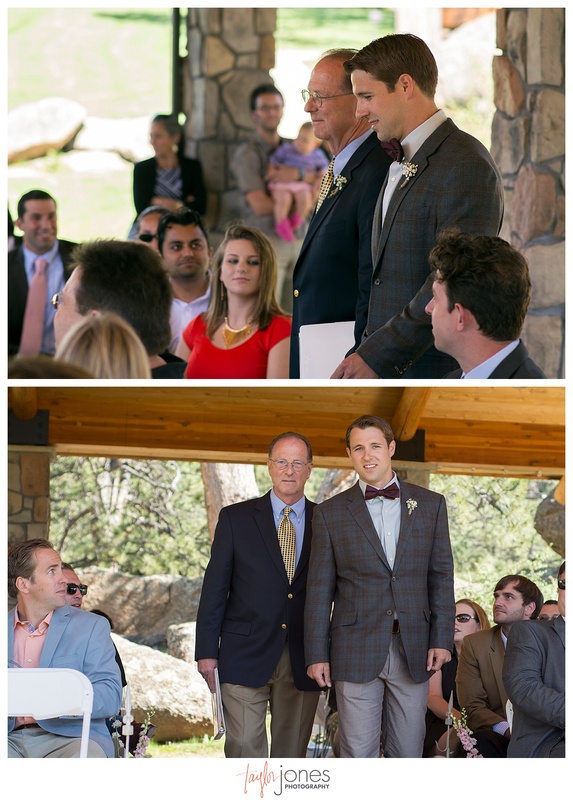 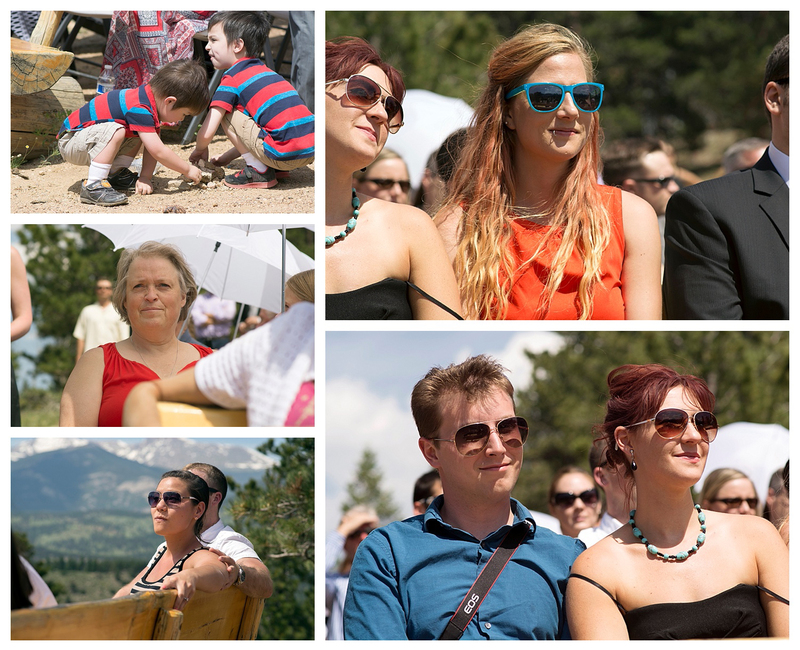 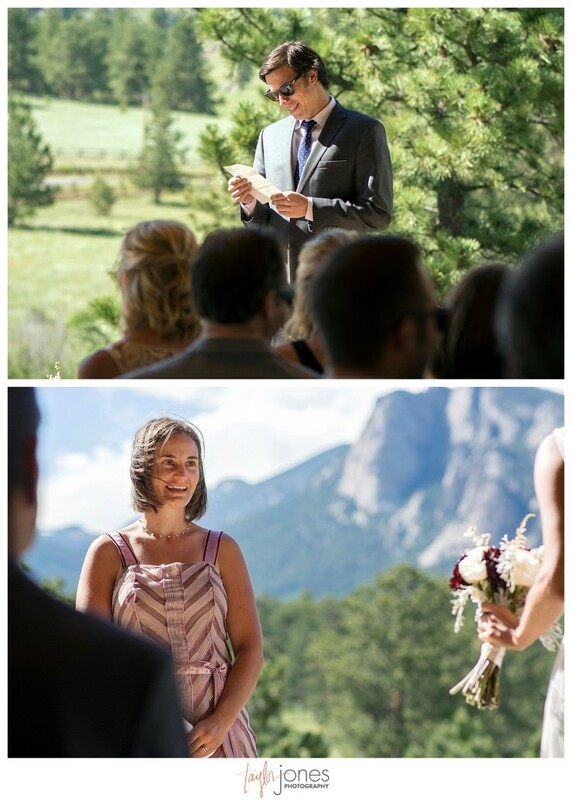 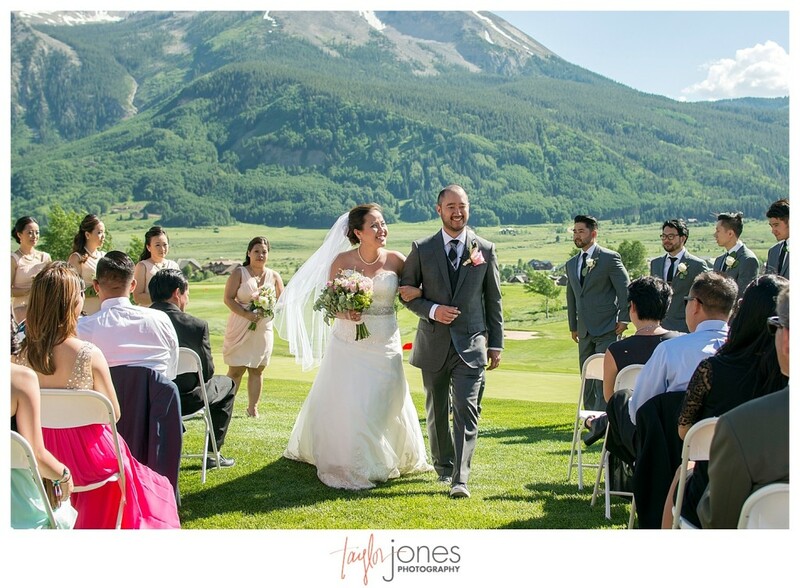 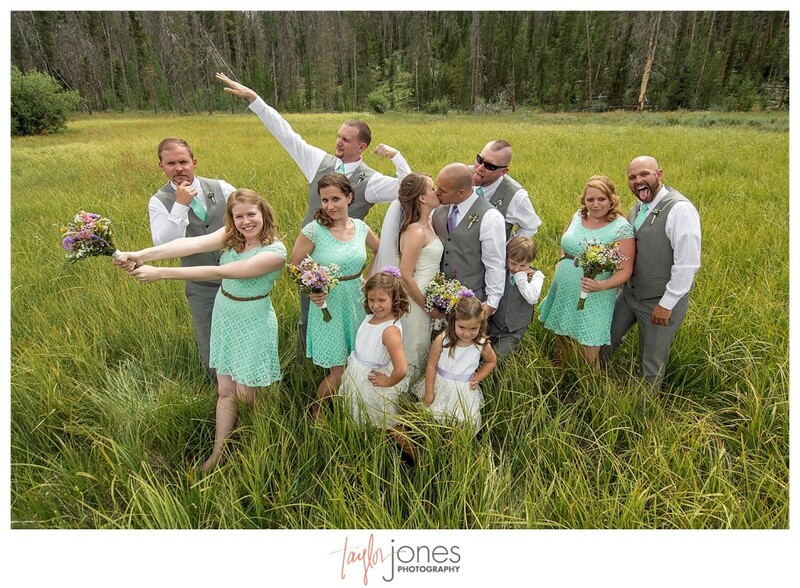 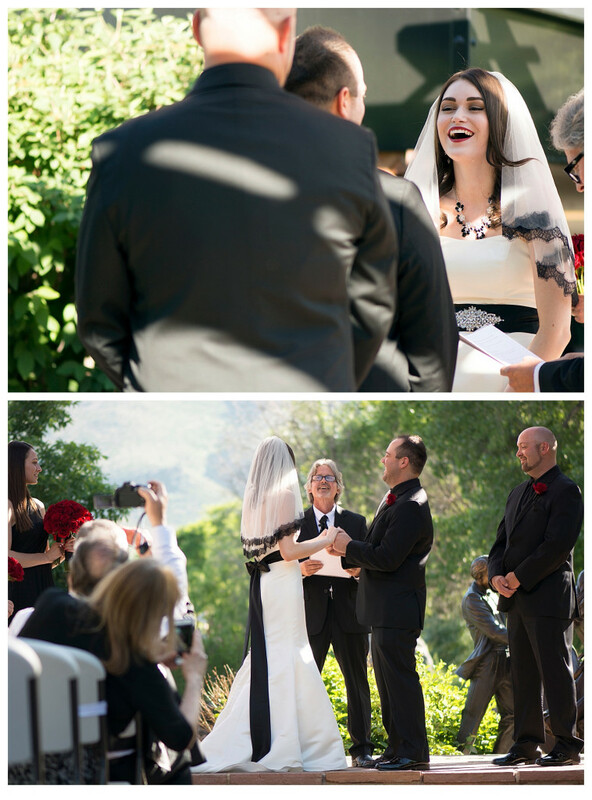 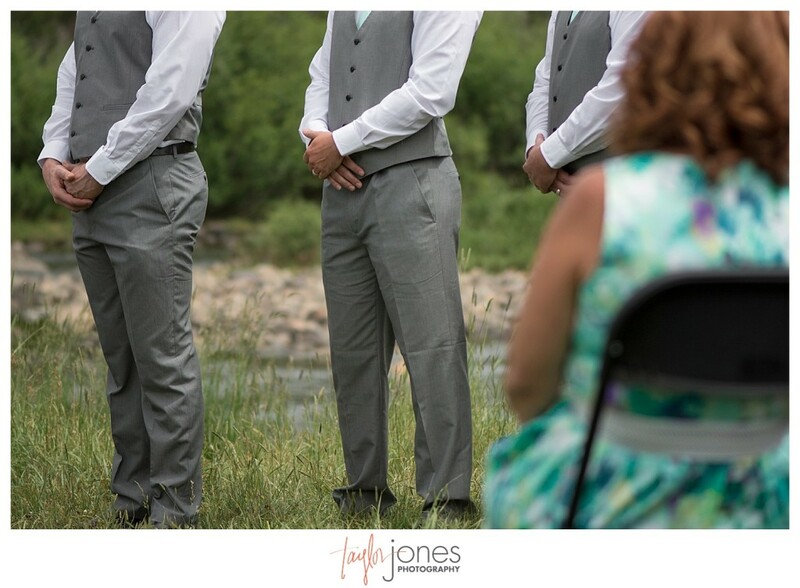 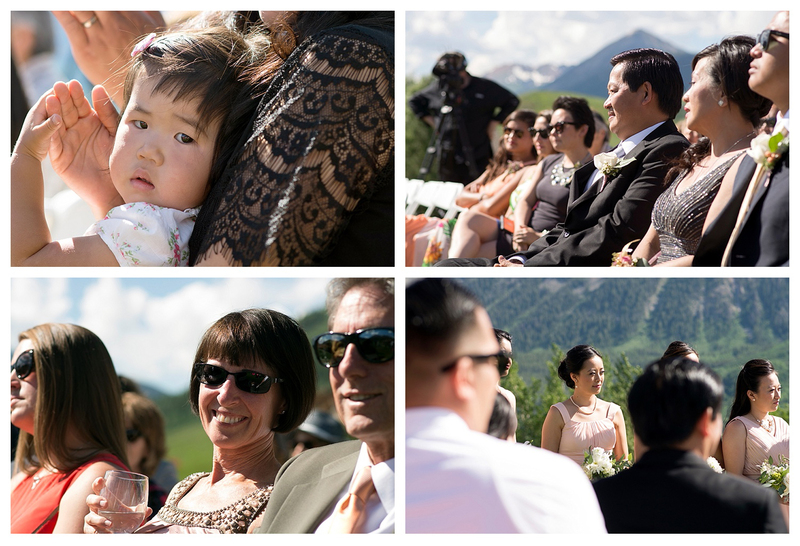 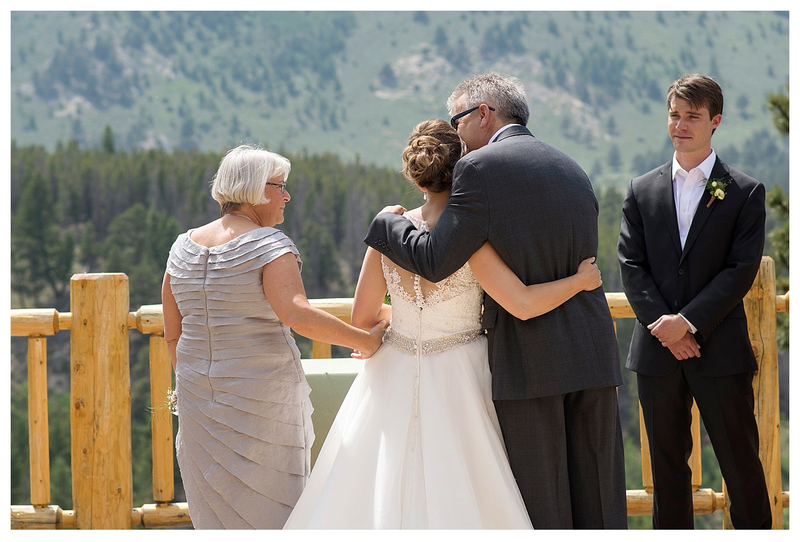 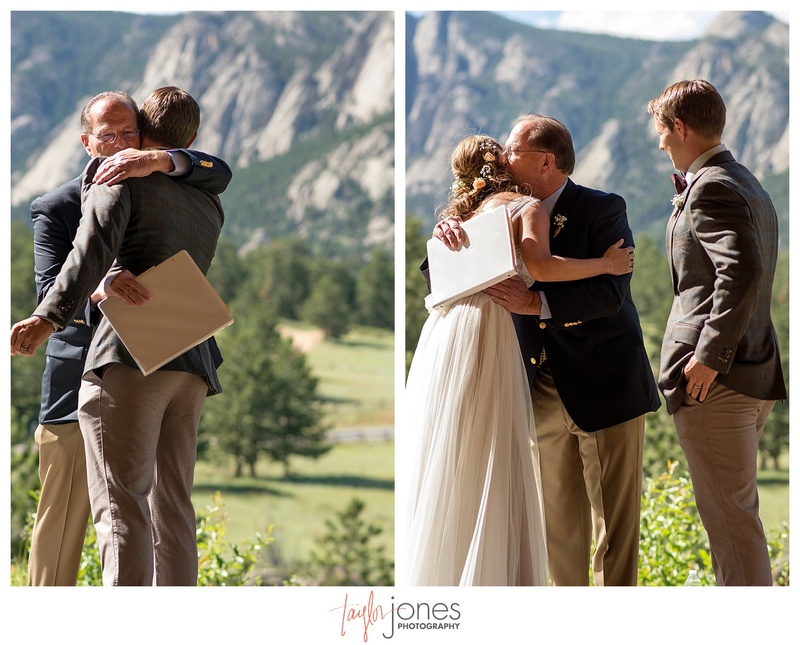 Even folks from Washington were blown away at the beautiful Rockies during the couples ceremony. 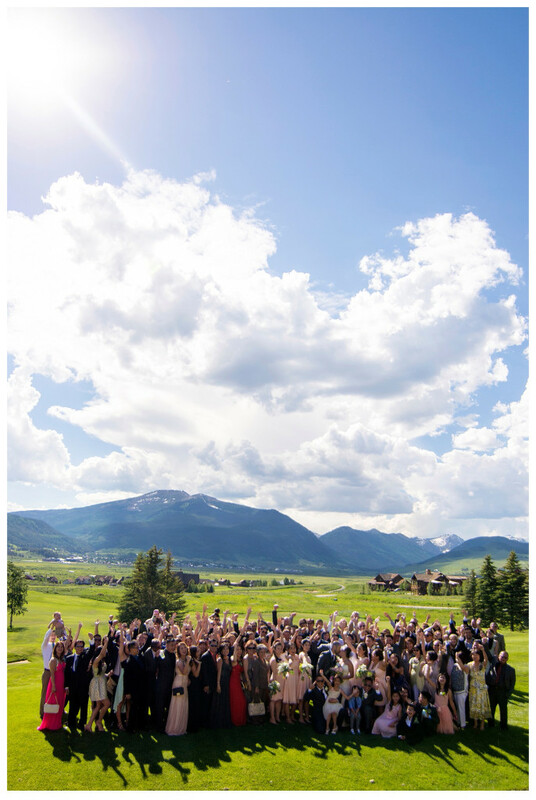 Thank you to for being so incredible and having us share your day with you and Apollo! 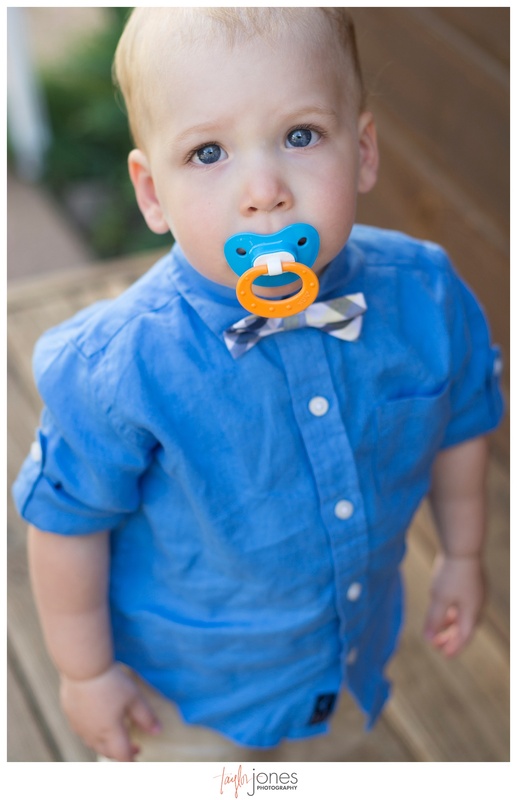 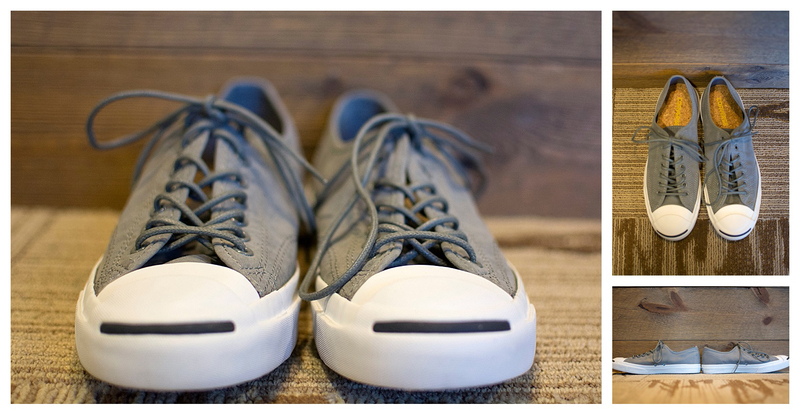 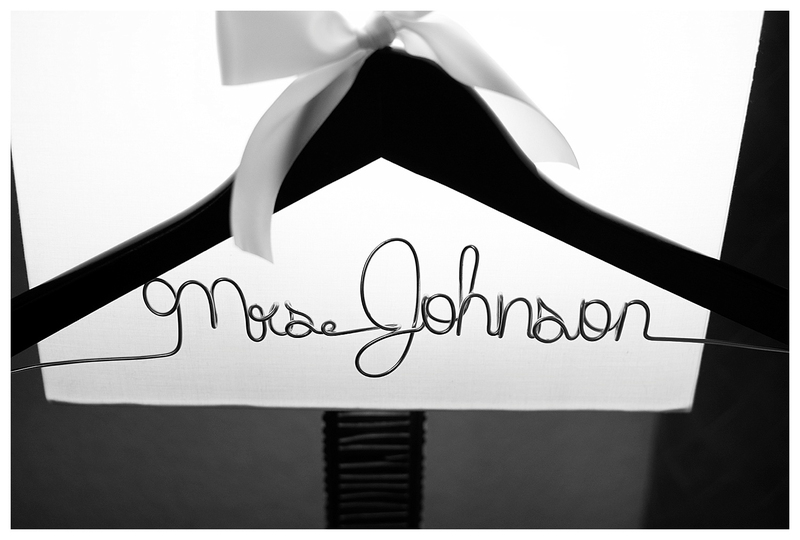 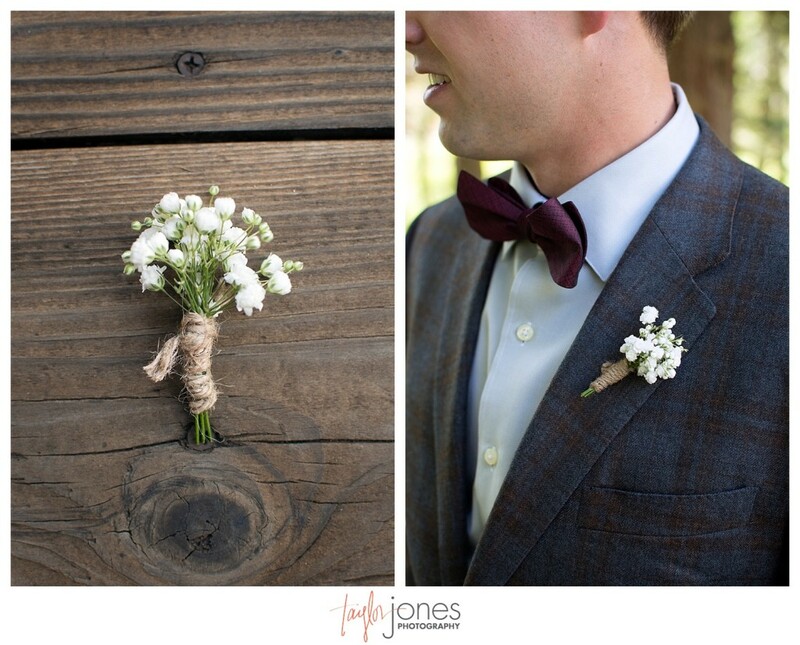 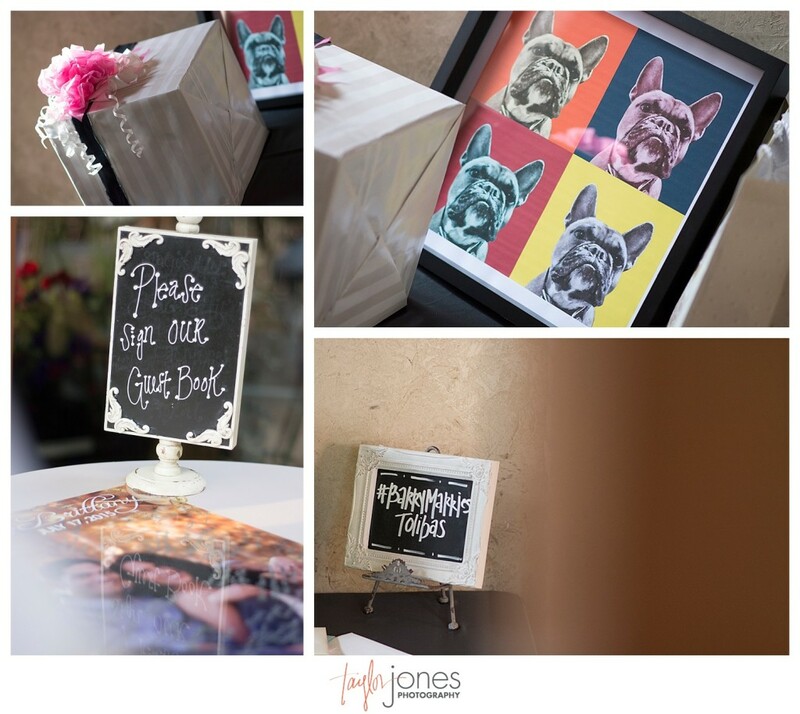 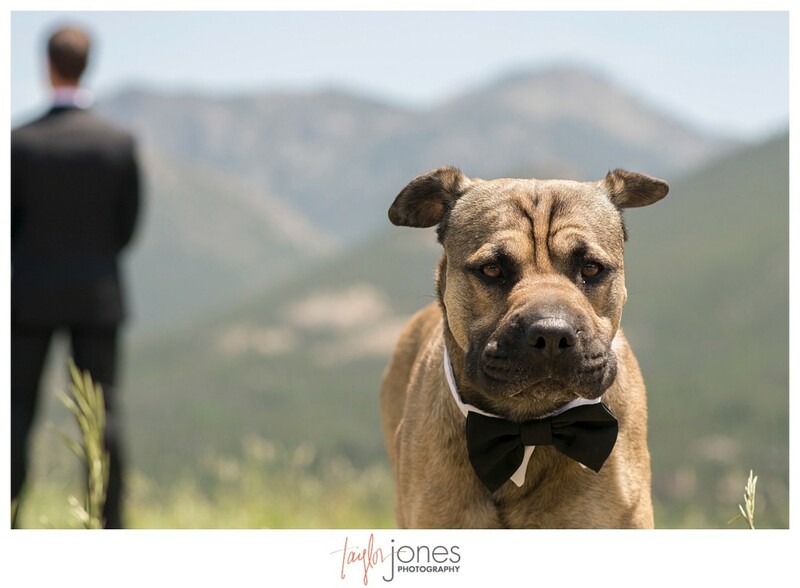 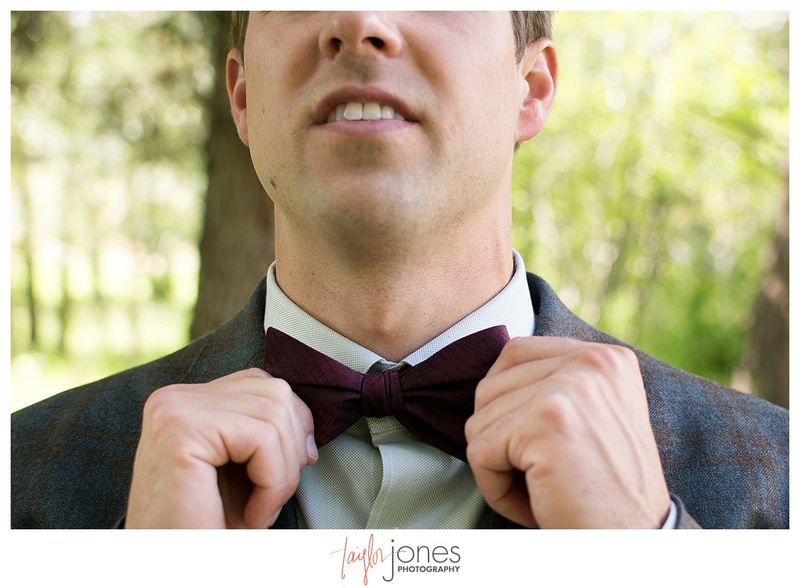 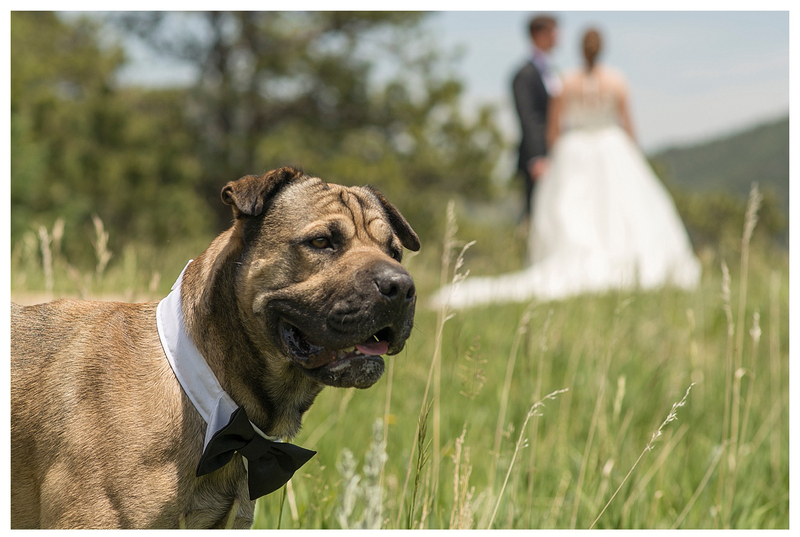 Details we loved :: Their dog, Apollo, came to their first look dressed to the nines in his bow tie. 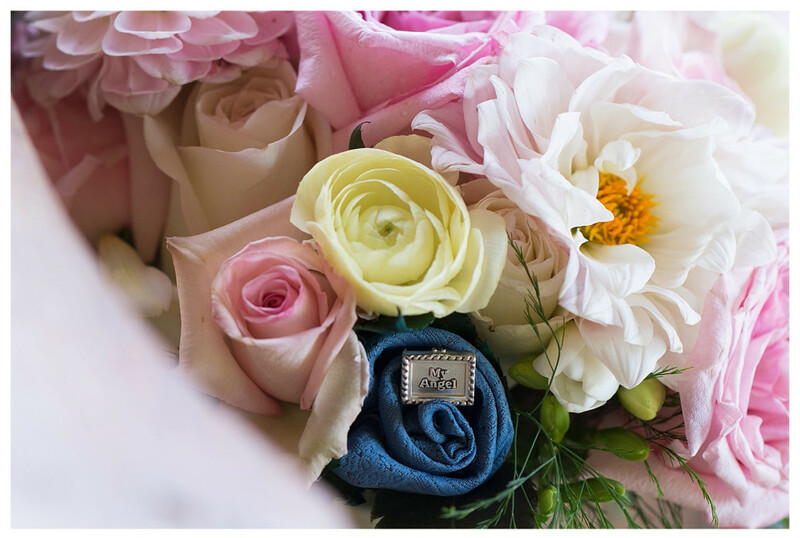 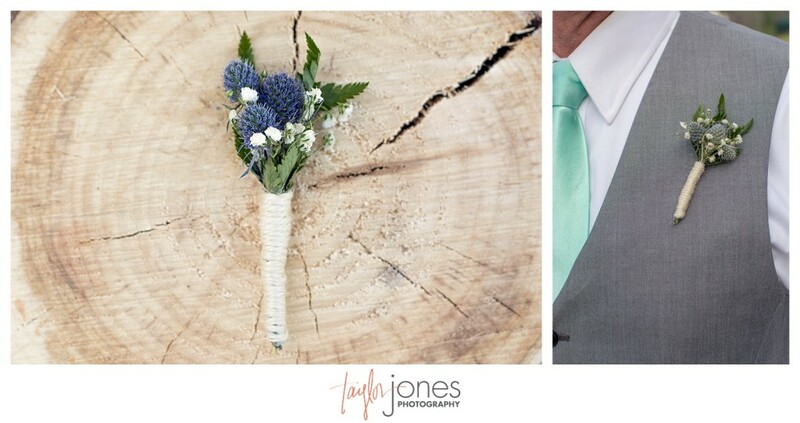 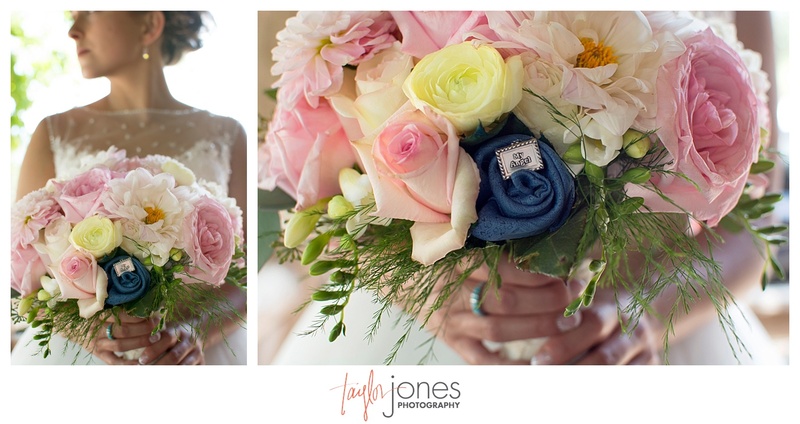 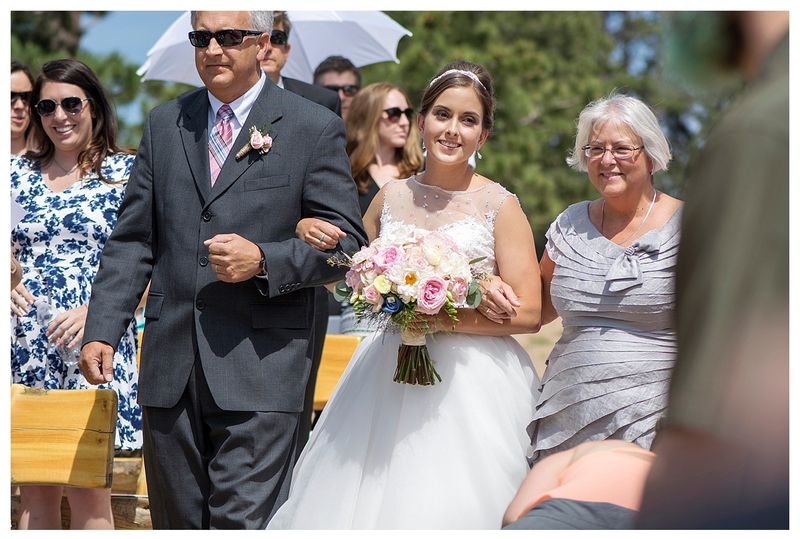 The blue flower in Michelle’s bouquet was made from her grandfather’s tie, who recently passed. 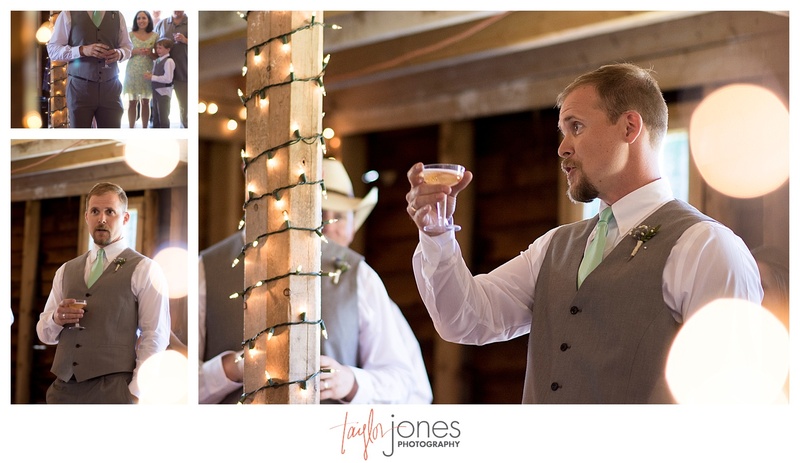 The toast the couple made at their first look while they took some time to be together before the ceremony. 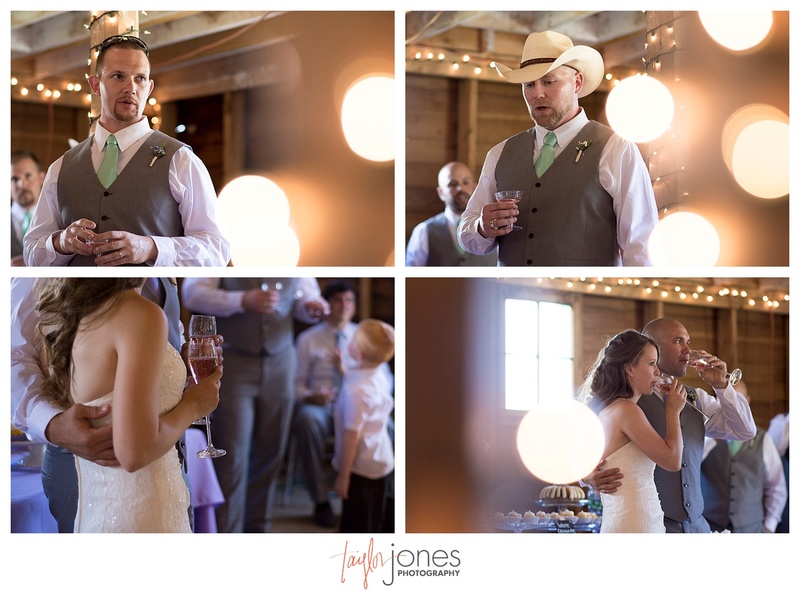 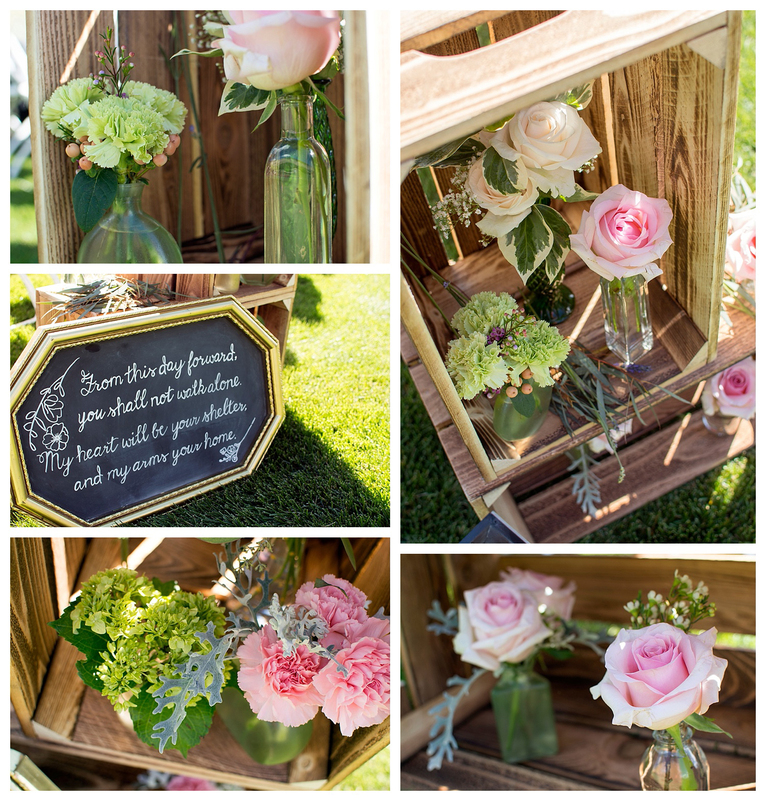 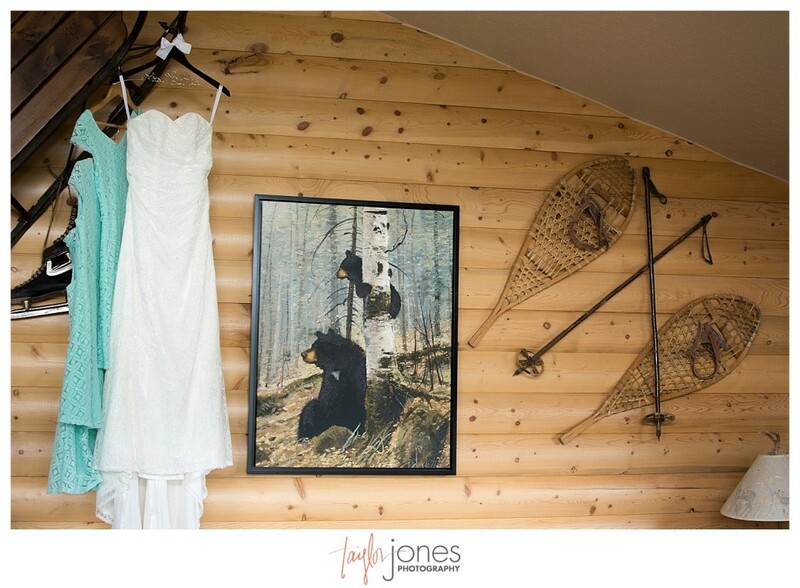 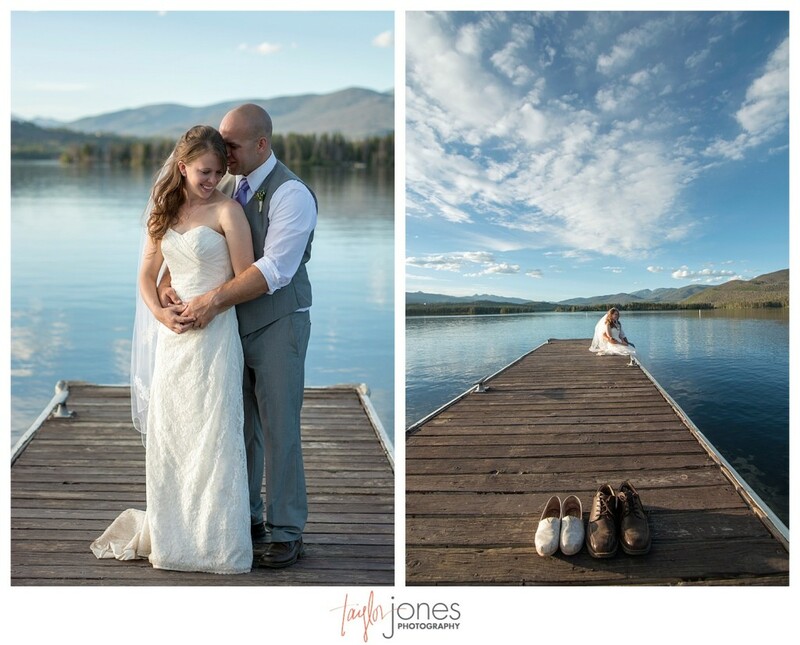 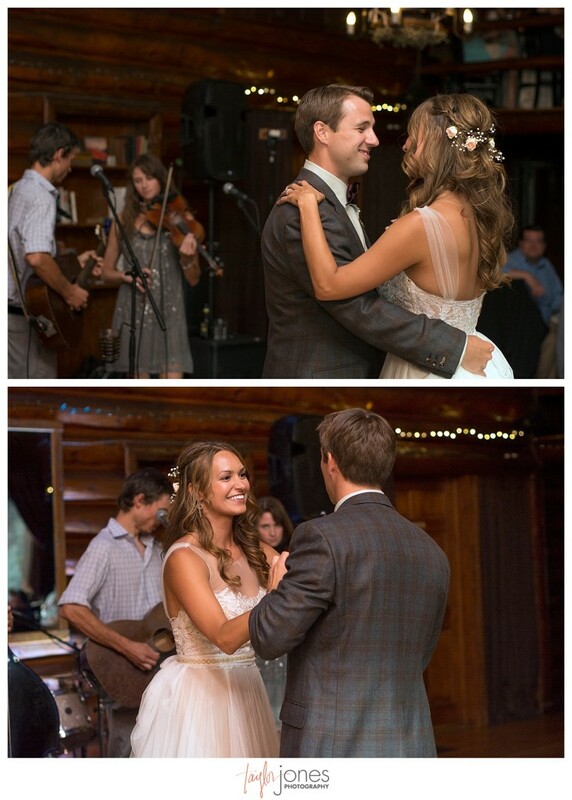 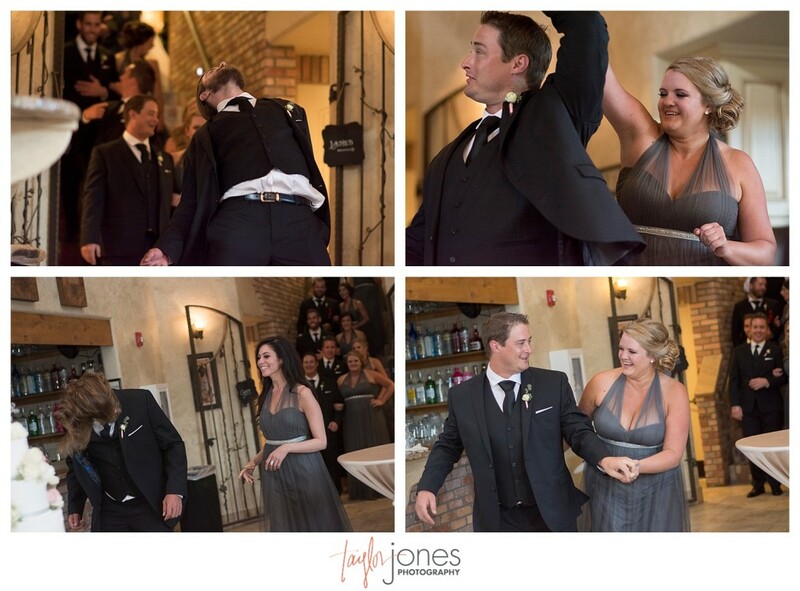 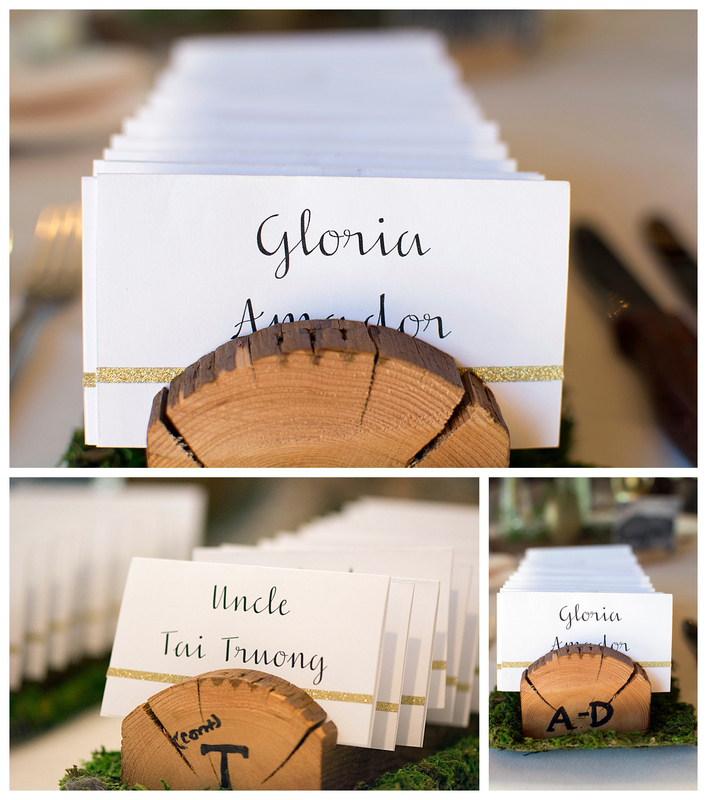 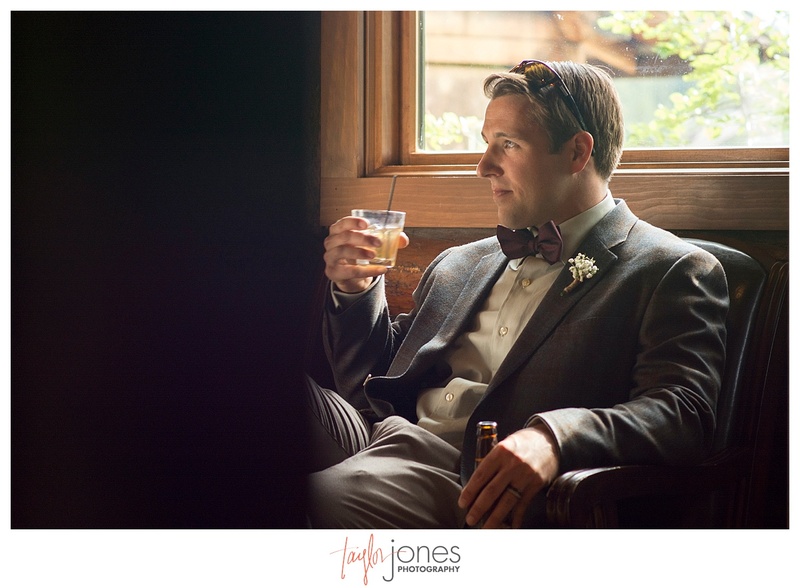 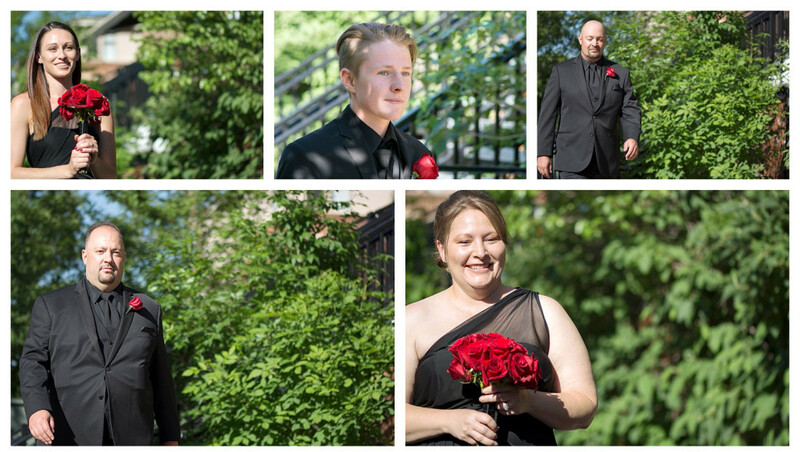 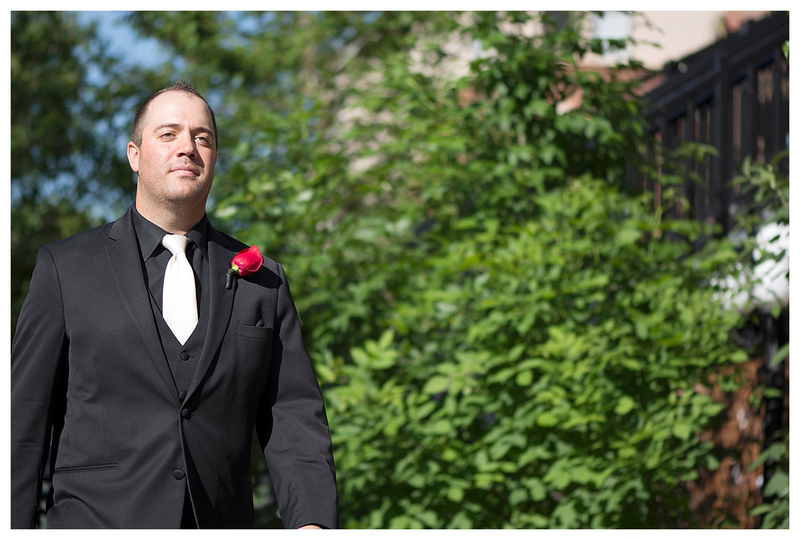 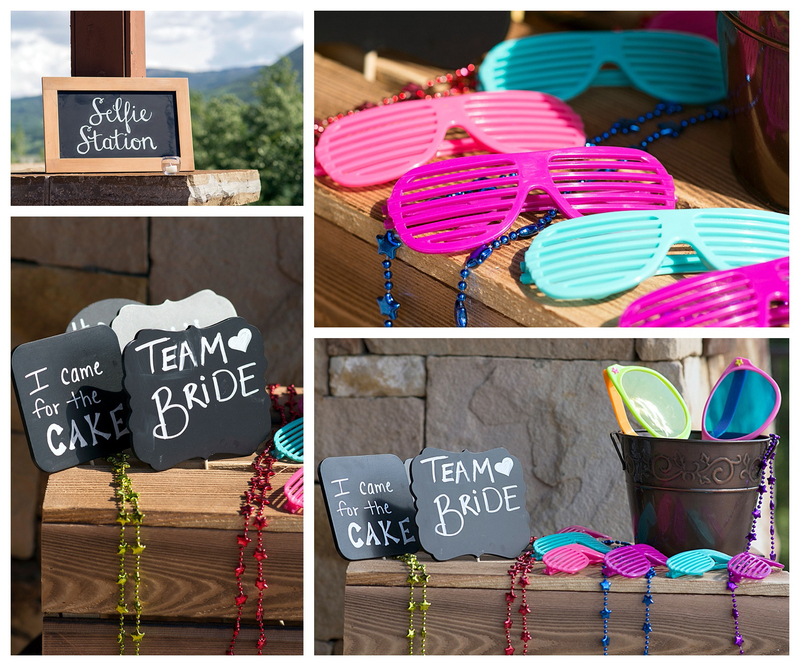 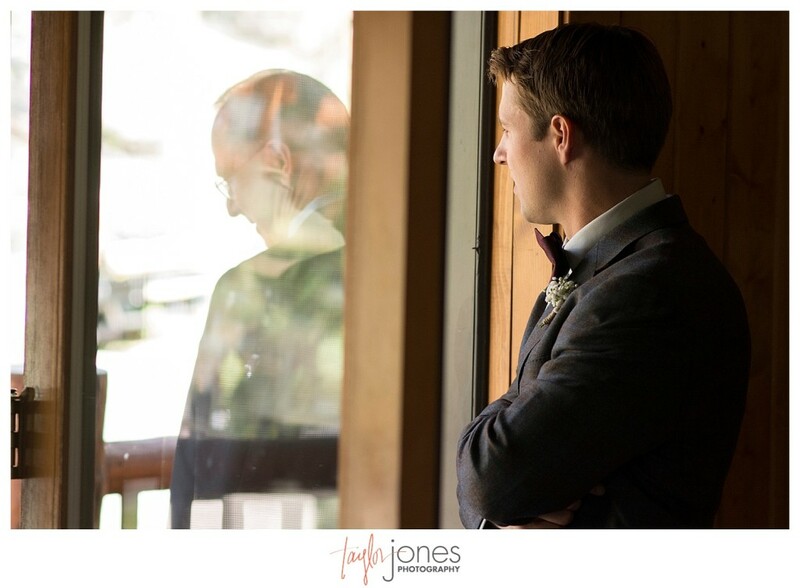 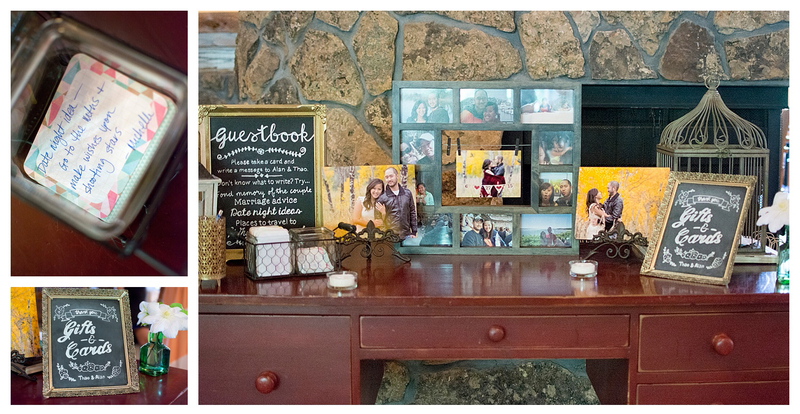 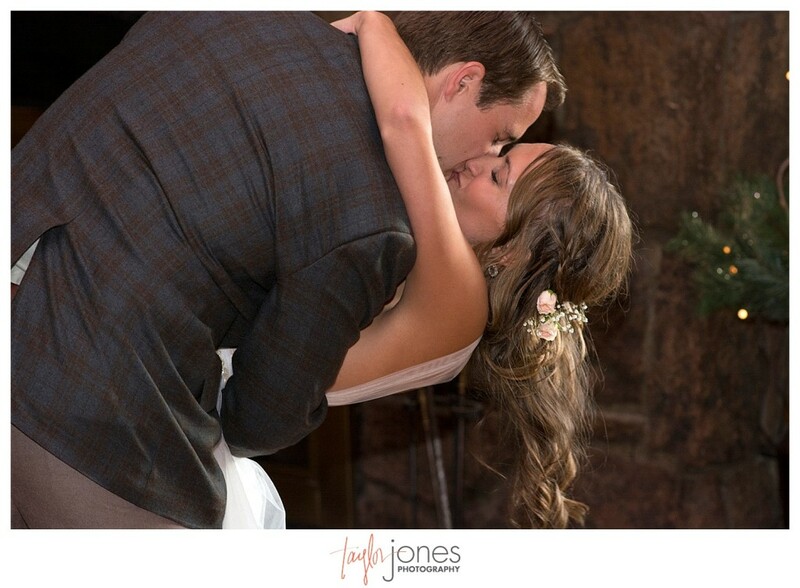 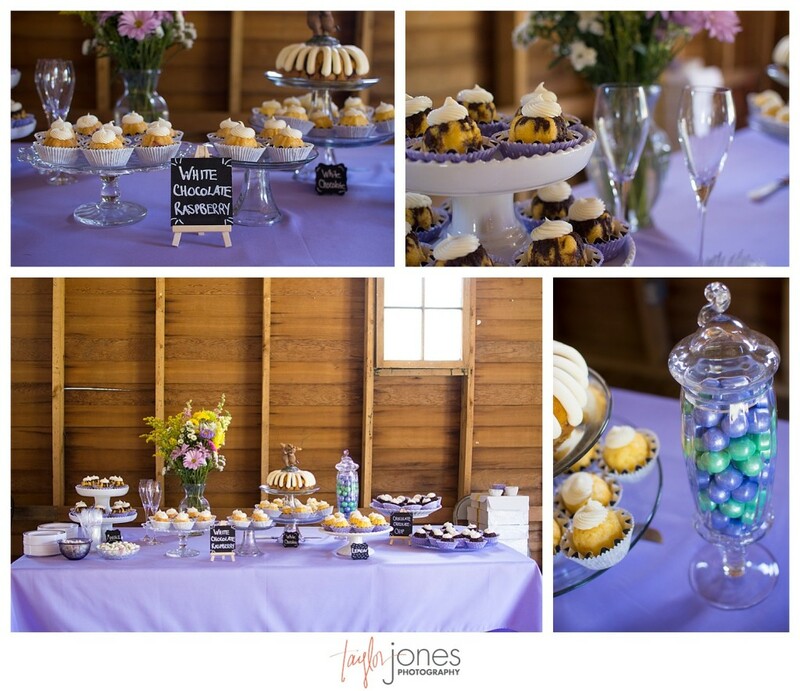 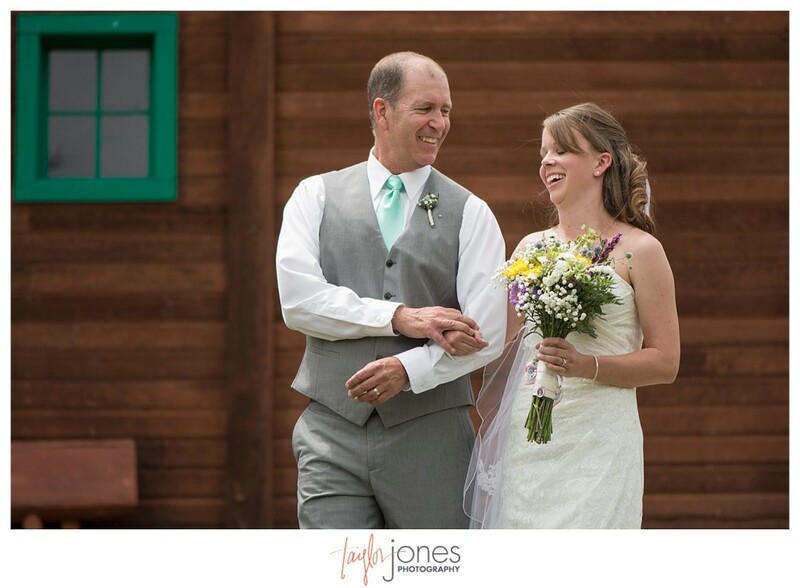 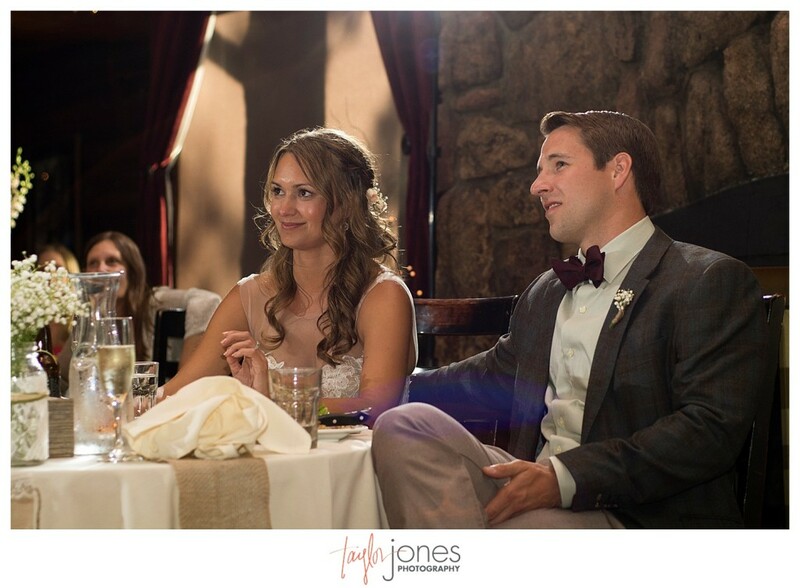 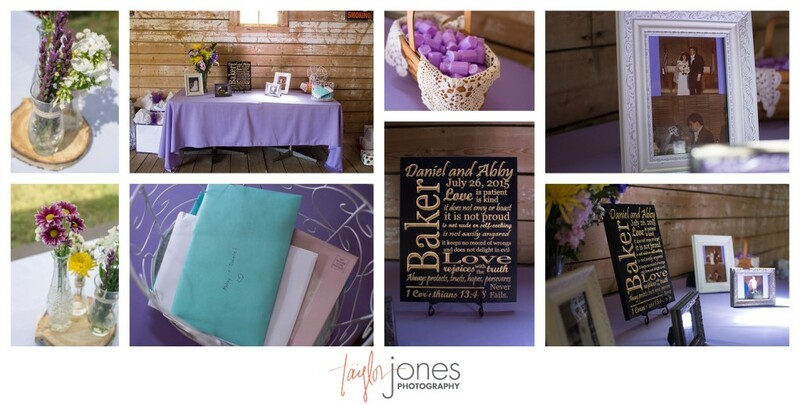 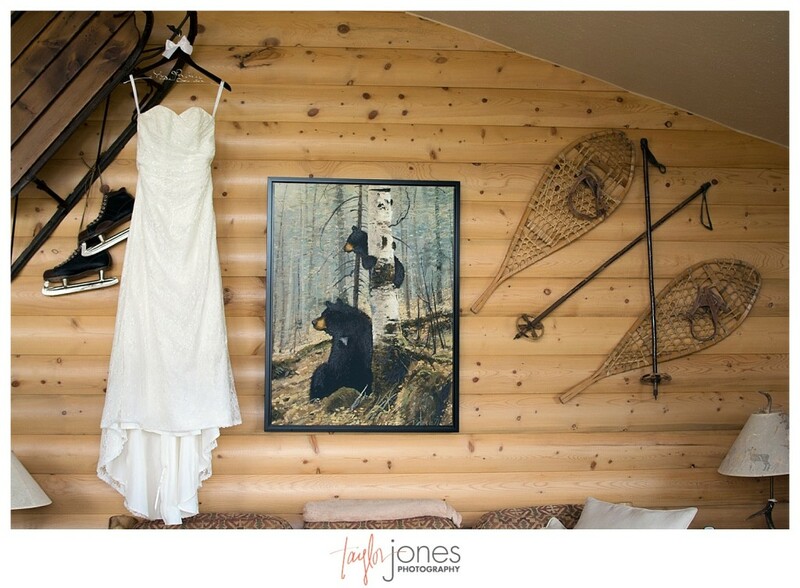 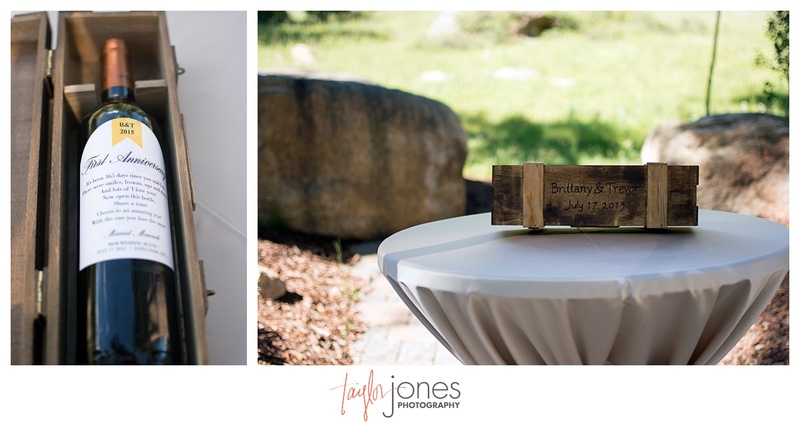 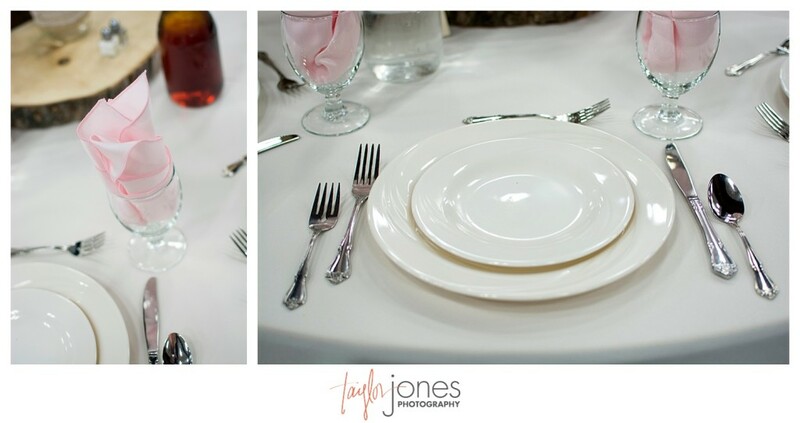 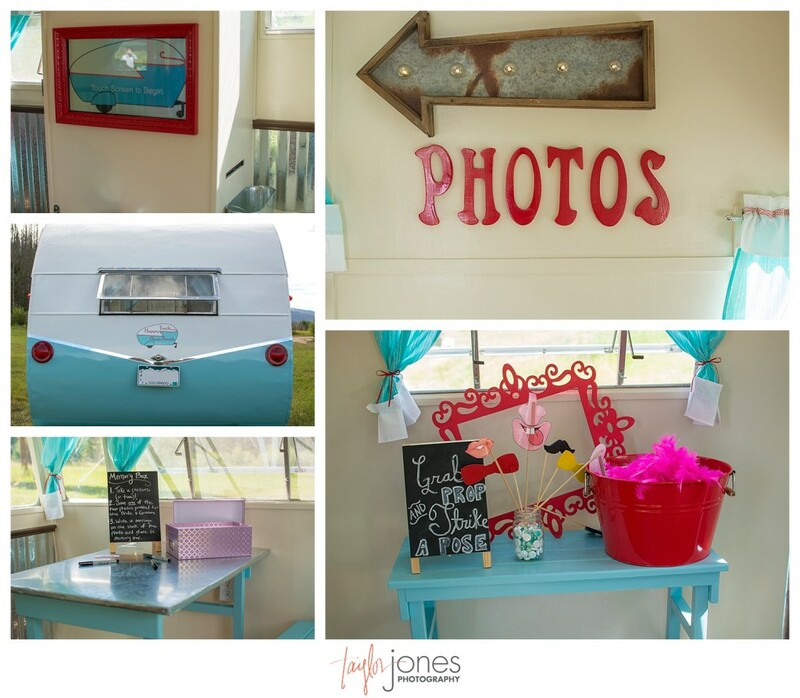 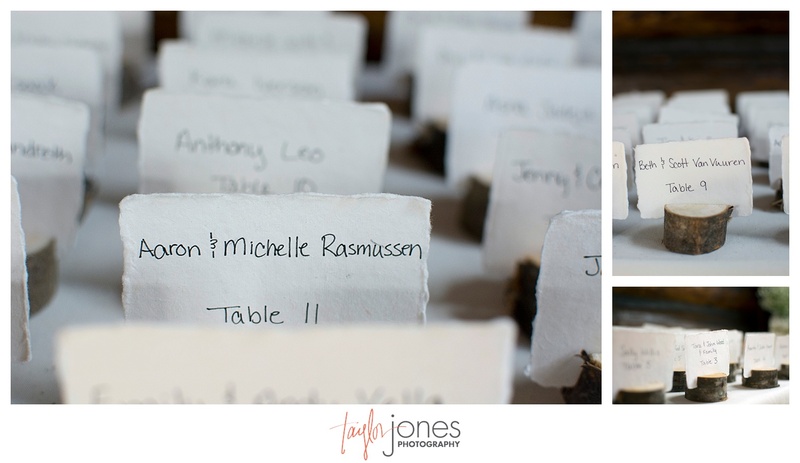 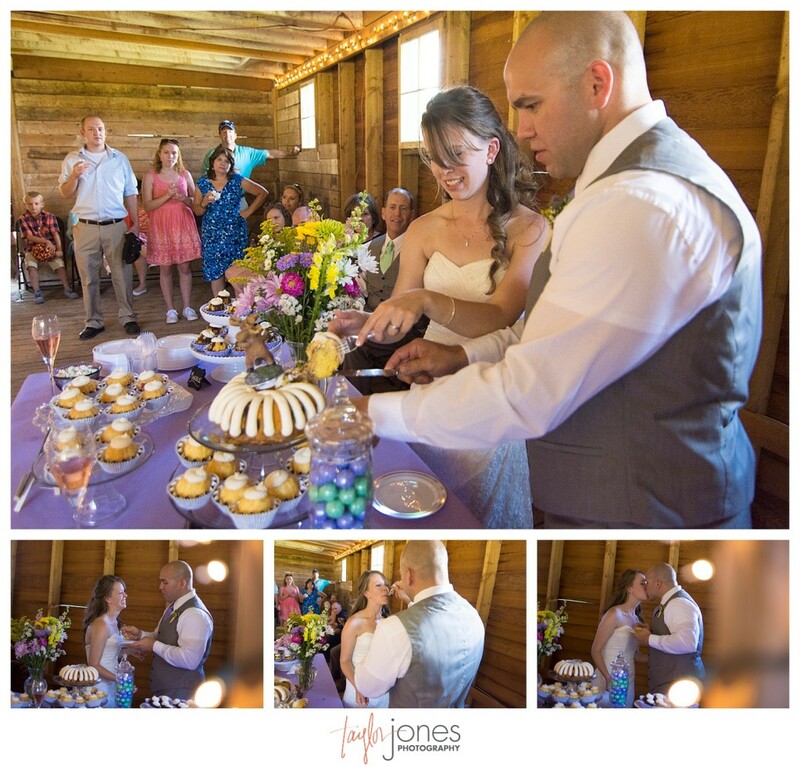 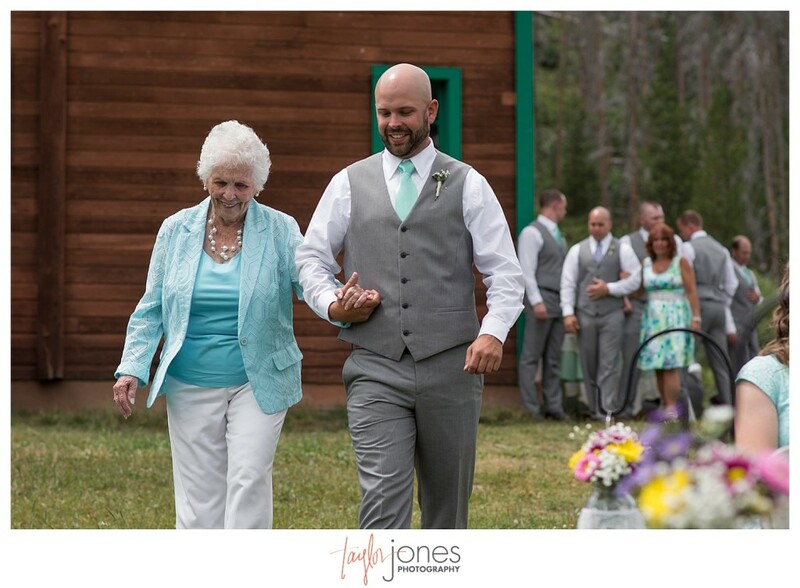 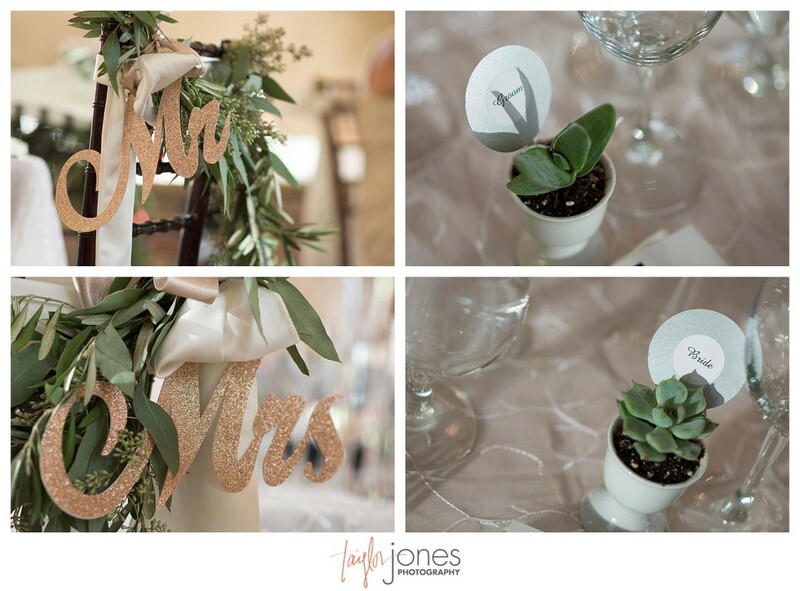 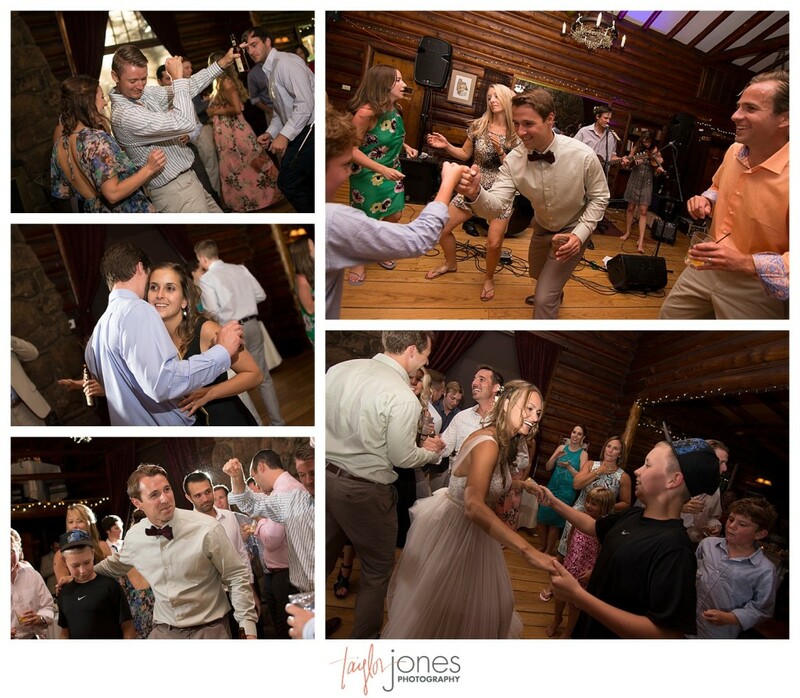 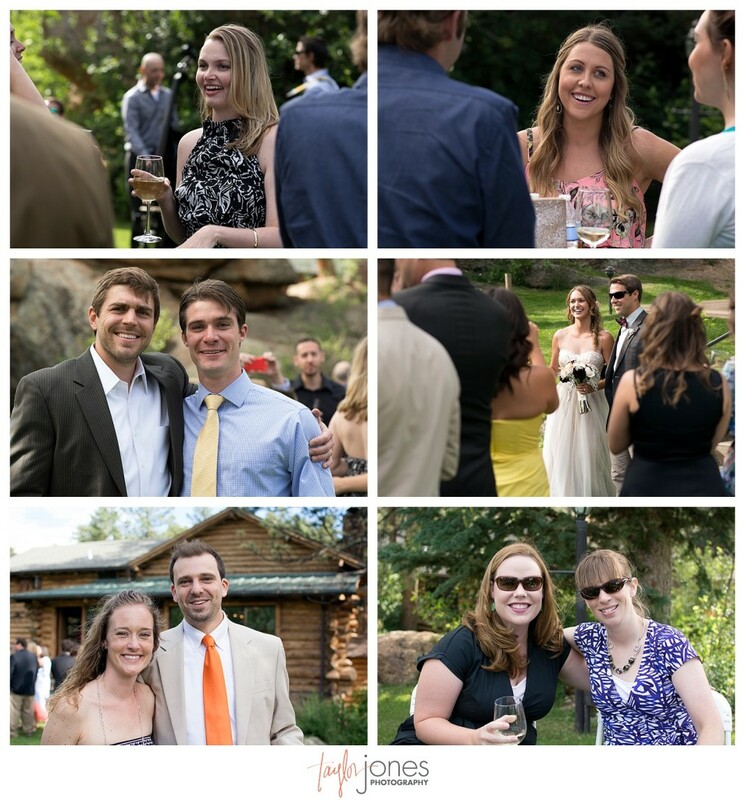 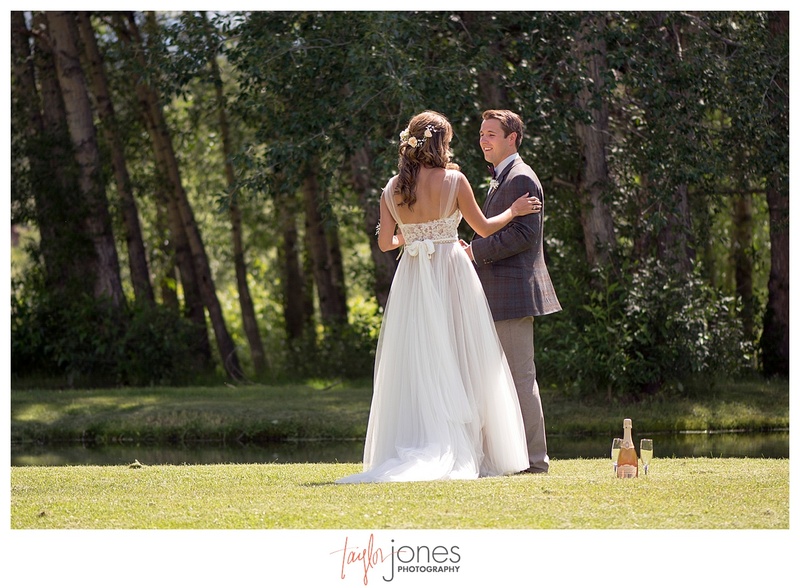 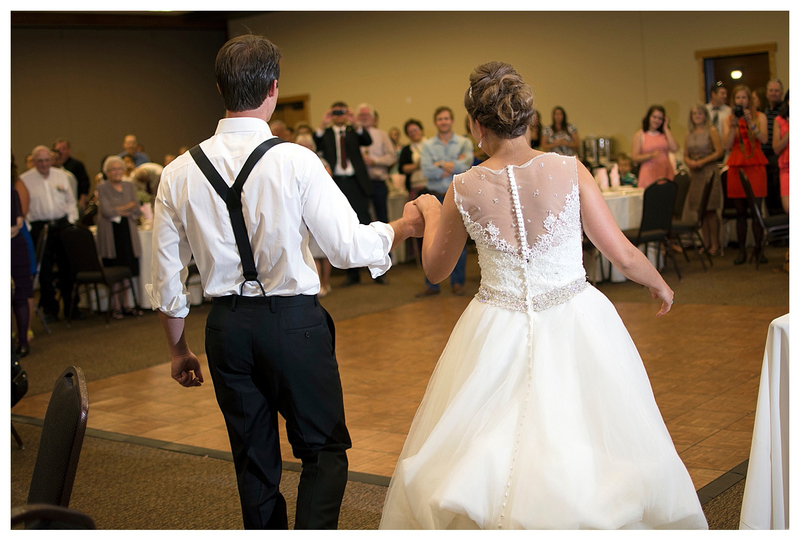 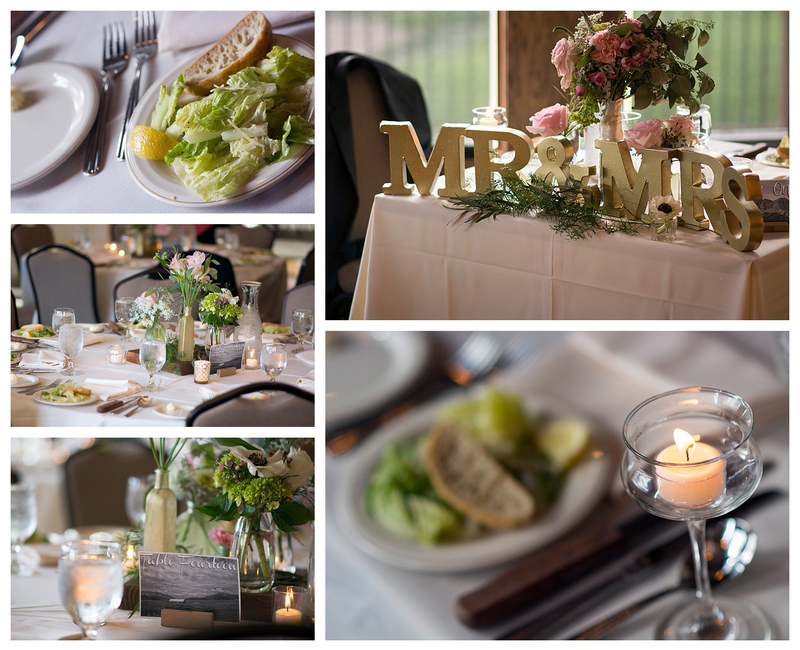 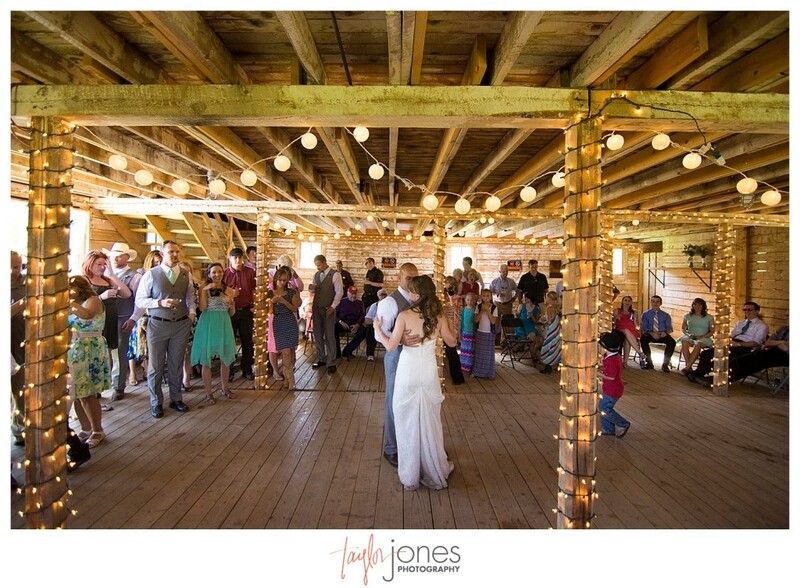 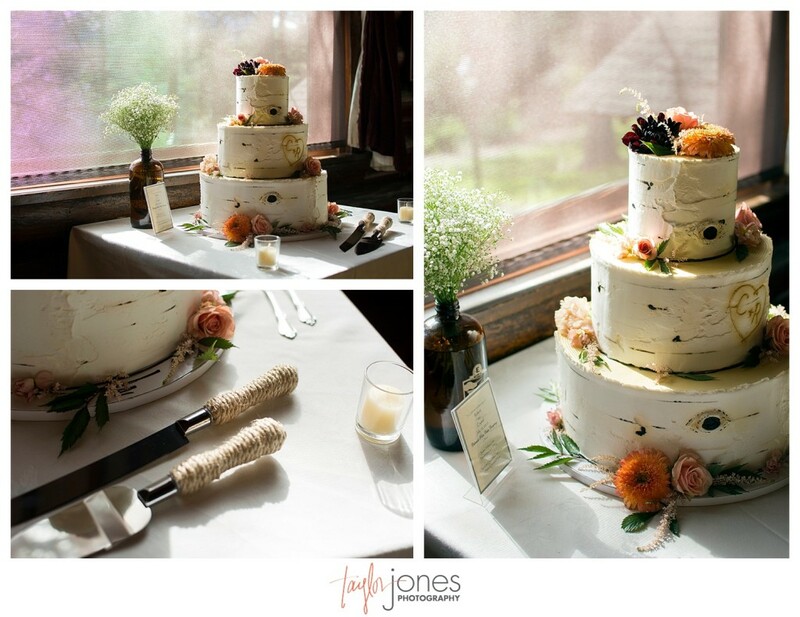 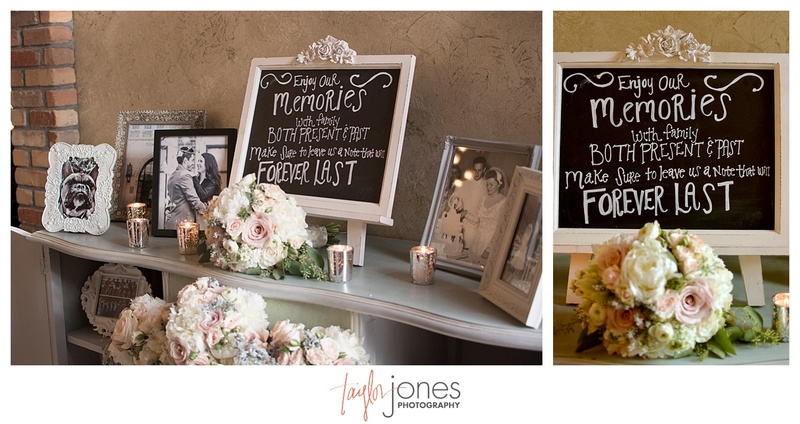 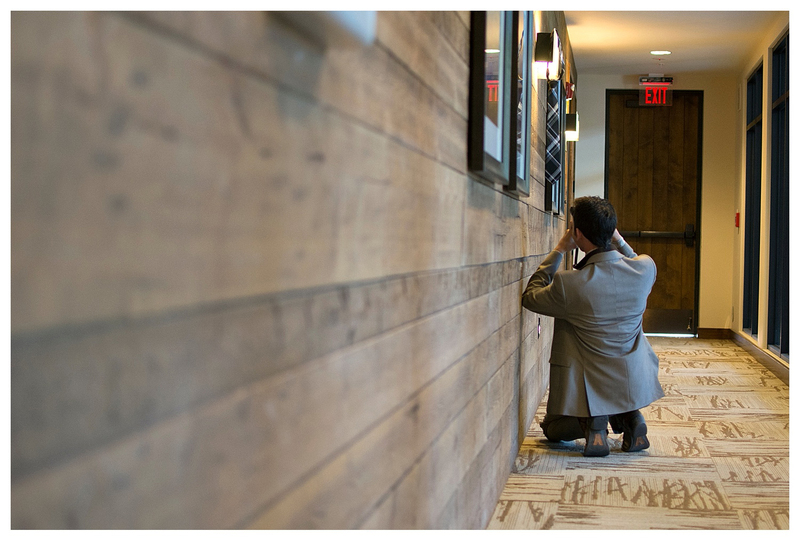 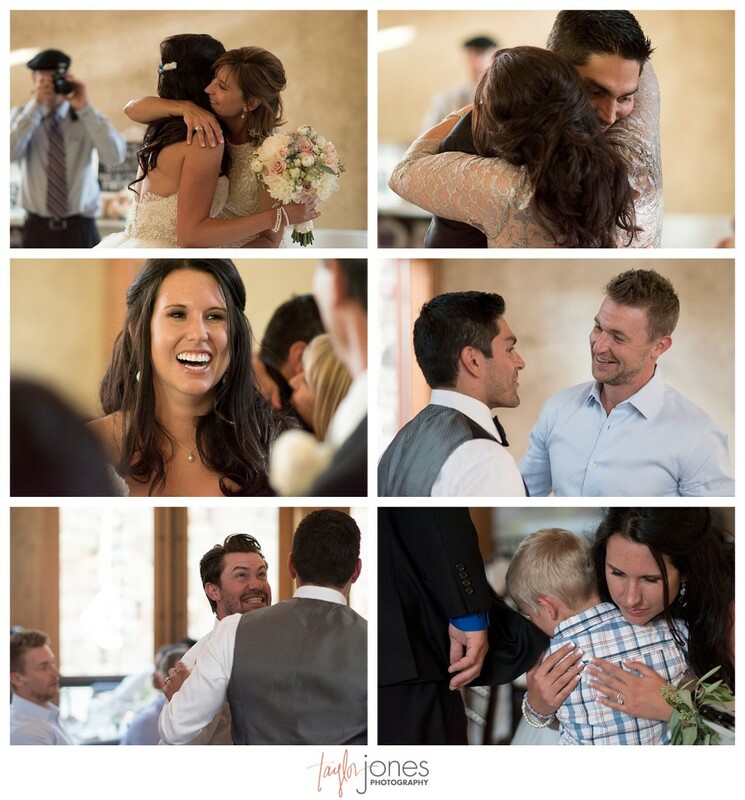 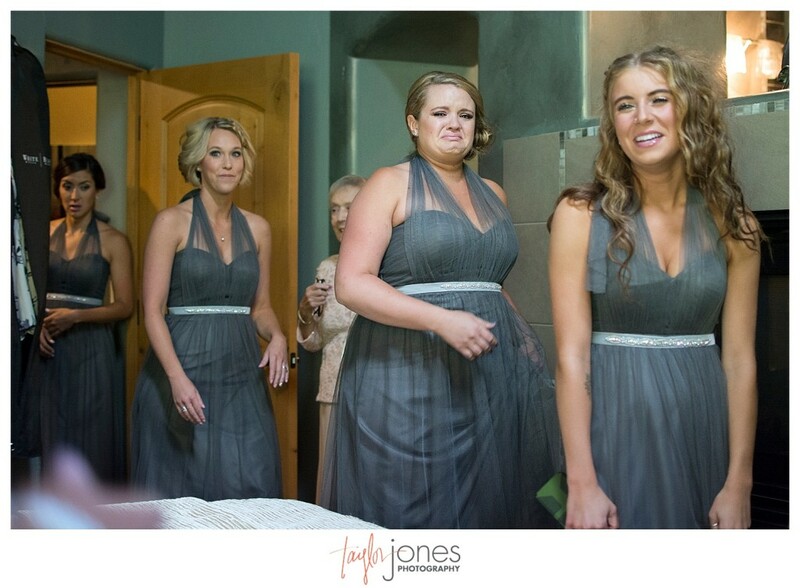 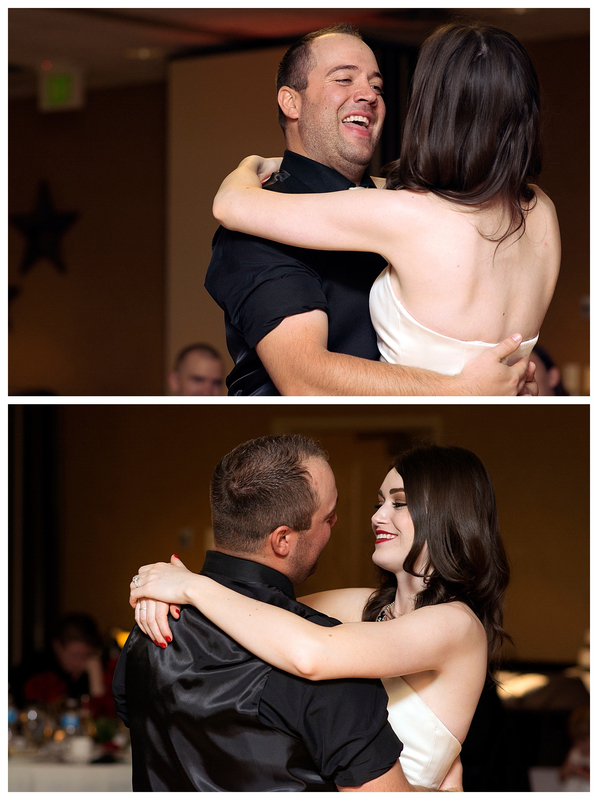 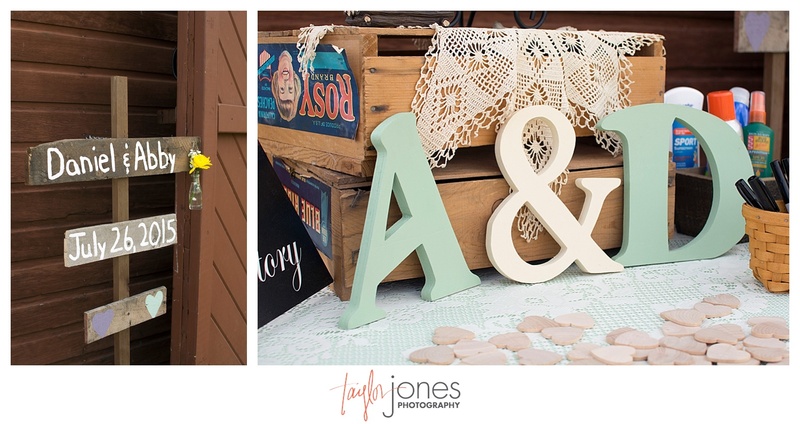 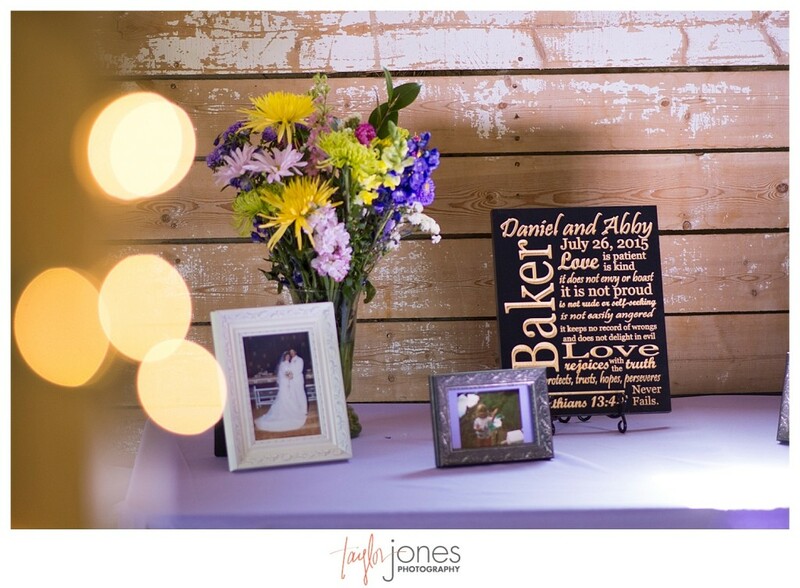 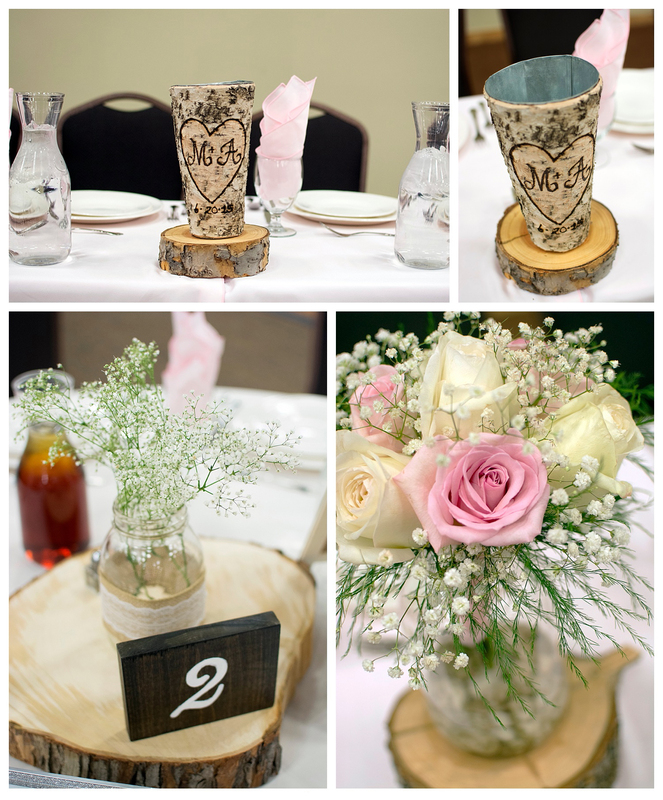 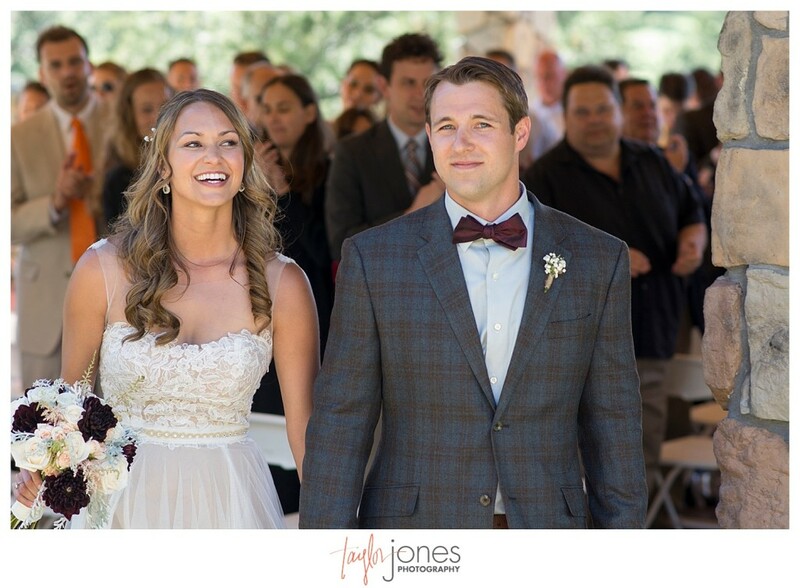 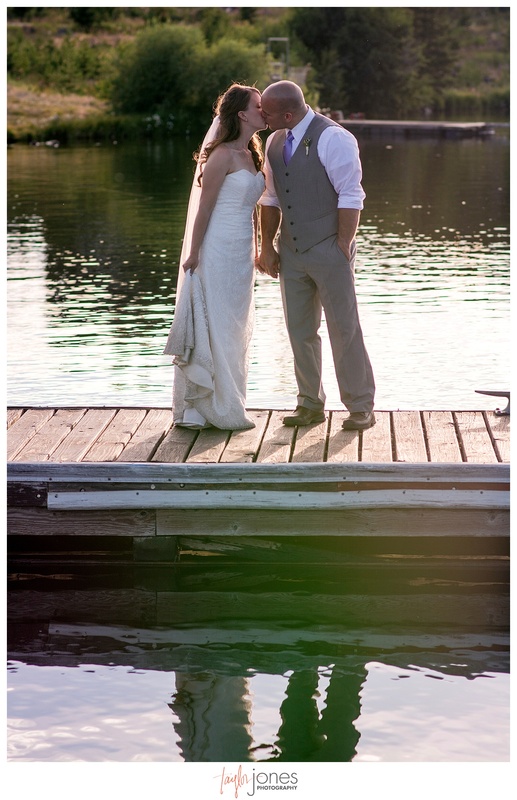 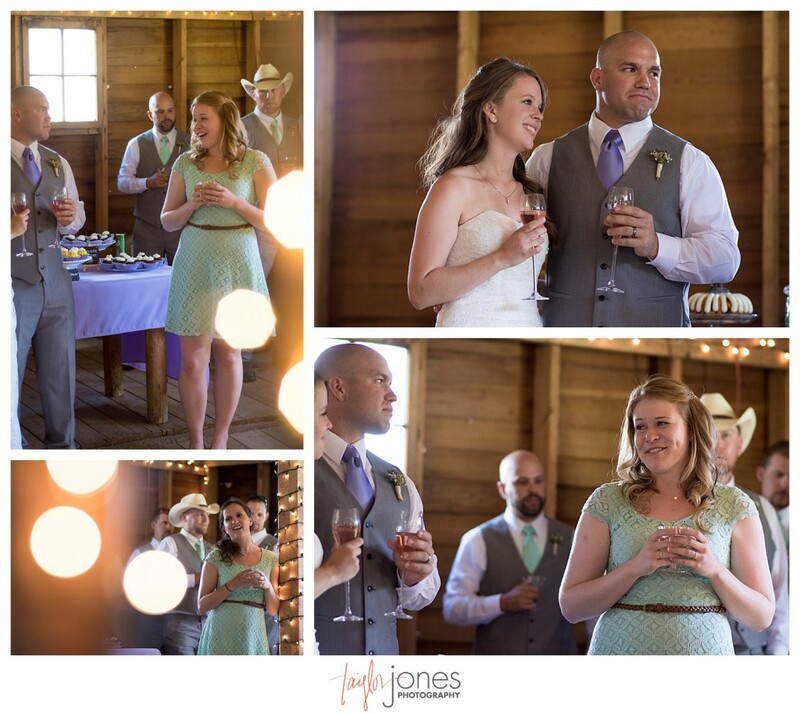 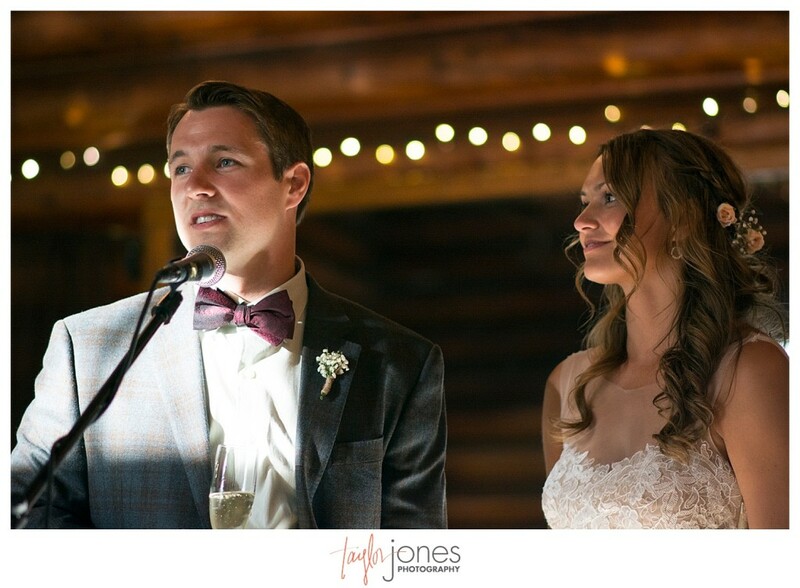 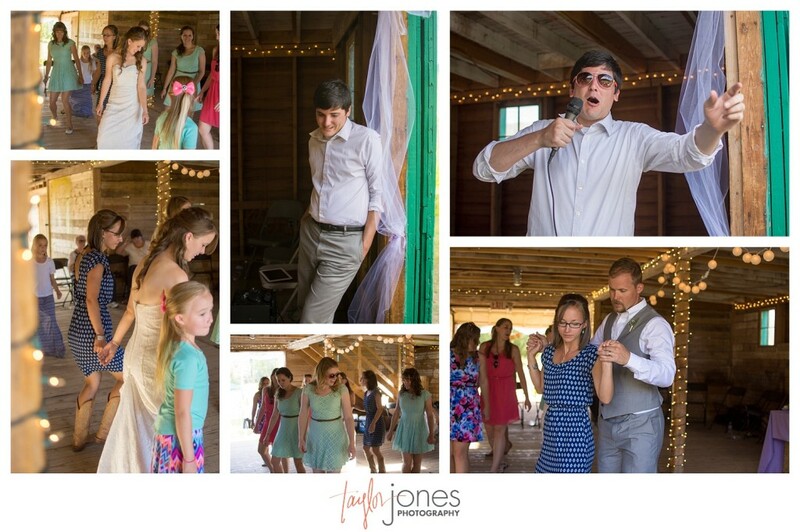 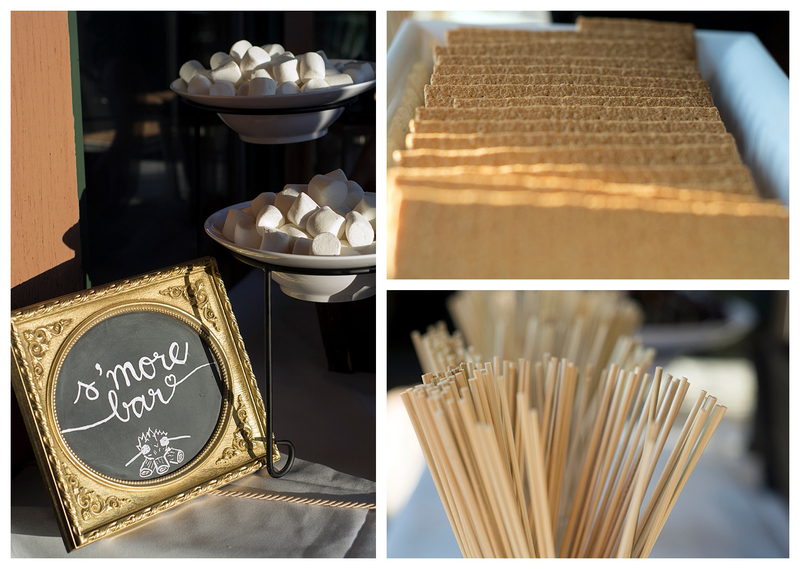 The wood slabs at the reception came from Michelle and Aaron’s home in Morrison, Colorado.